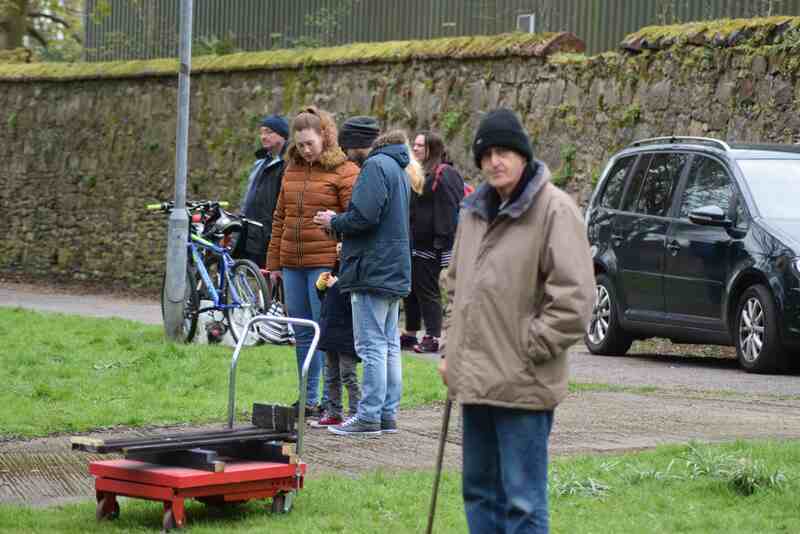 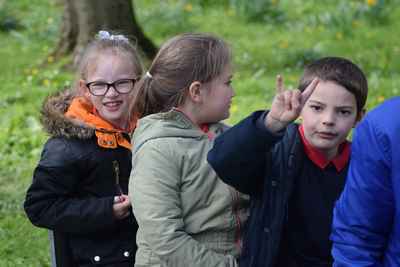 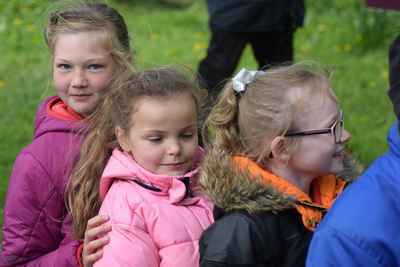 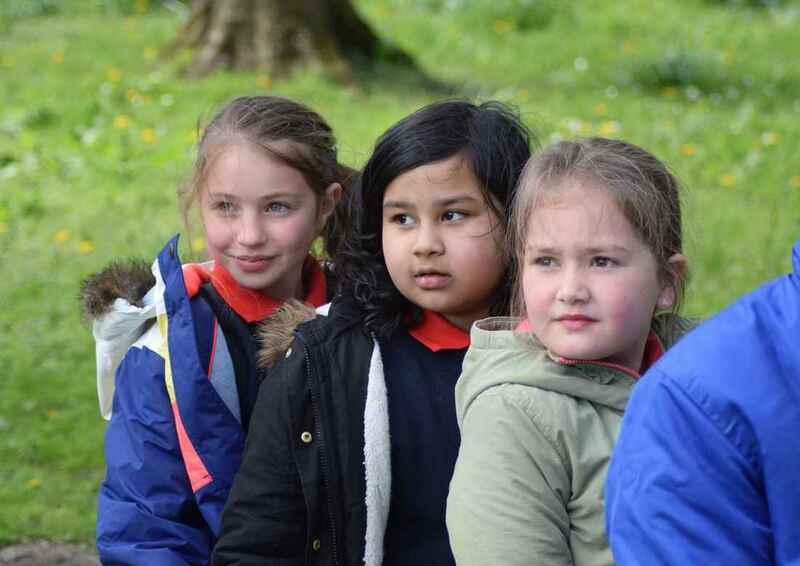 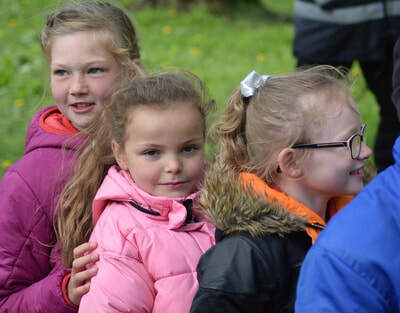 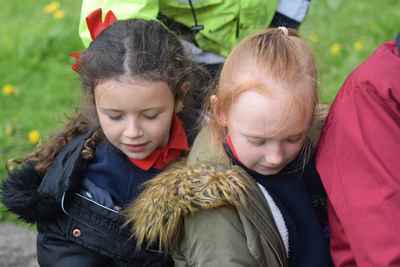 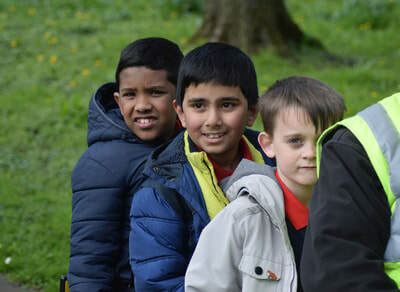 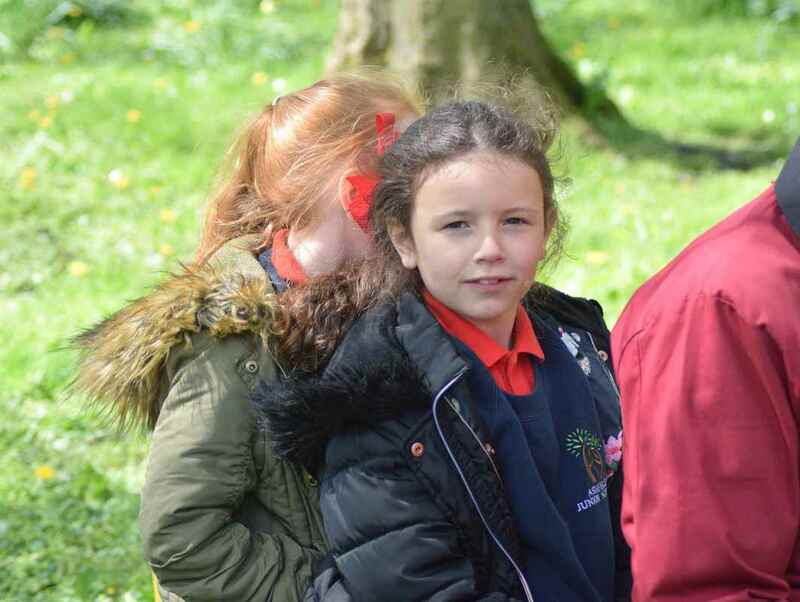 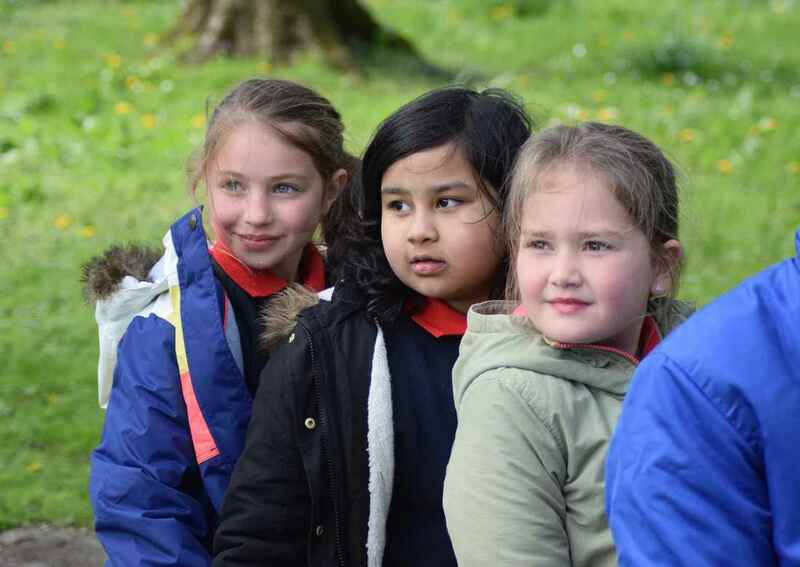 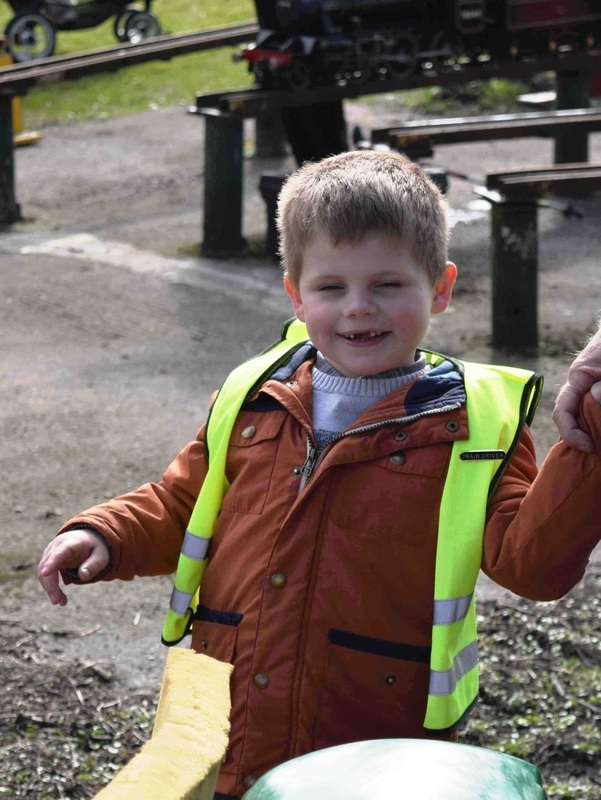 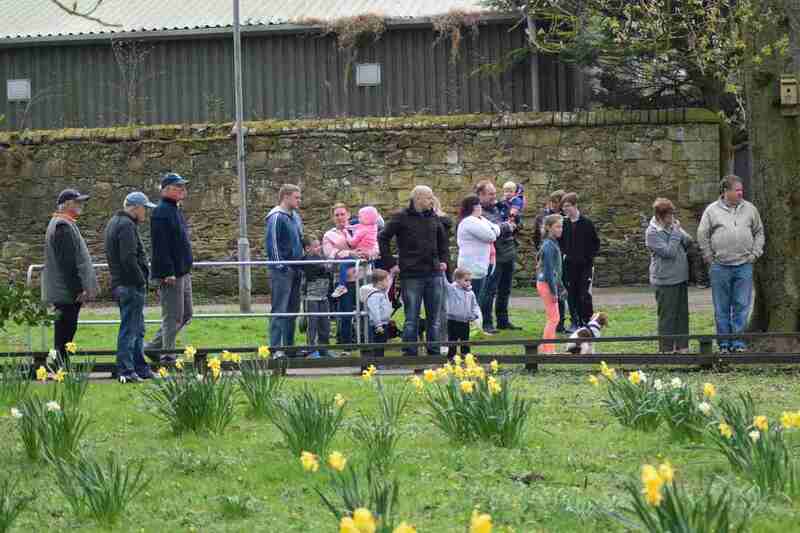 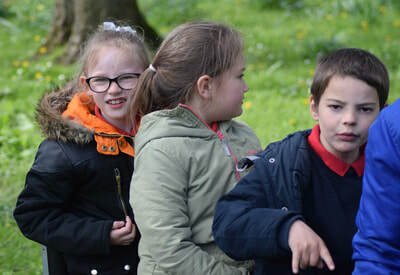 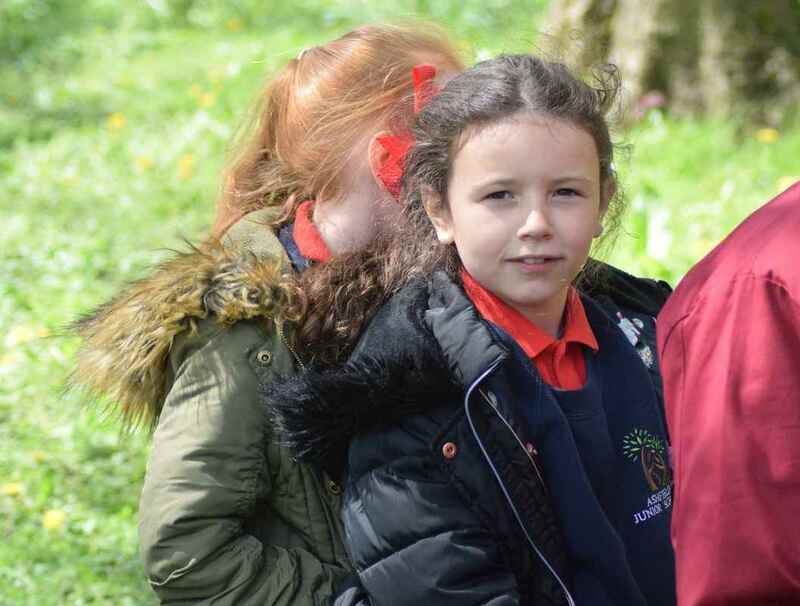 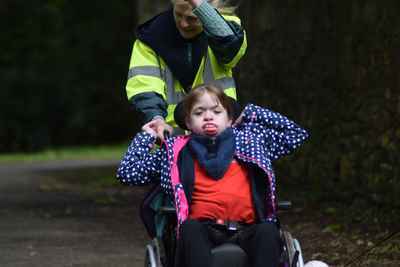 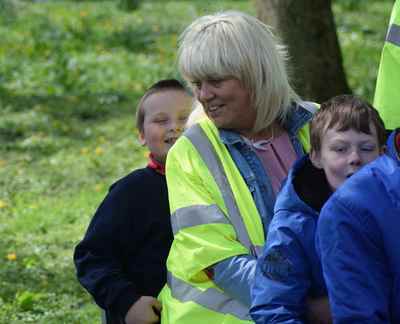 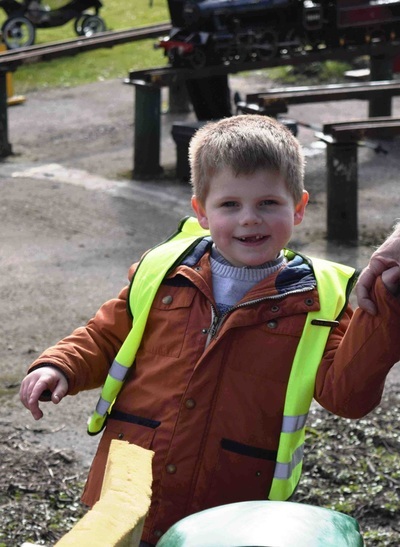 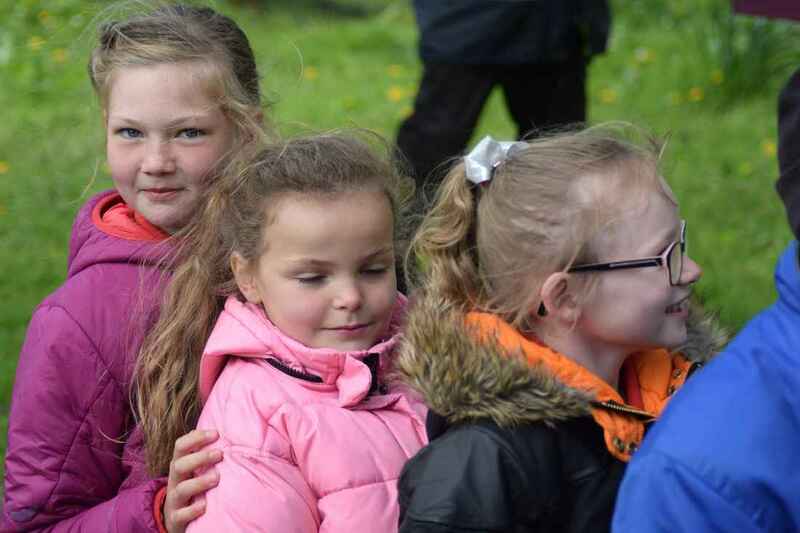 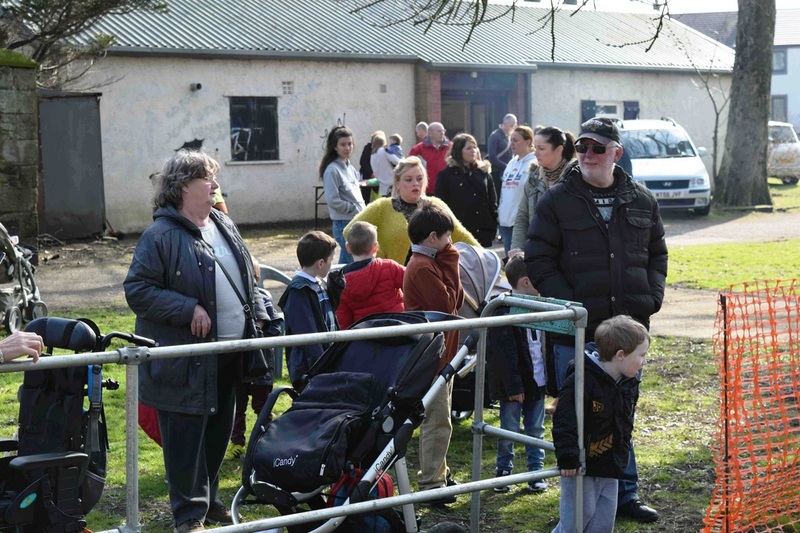 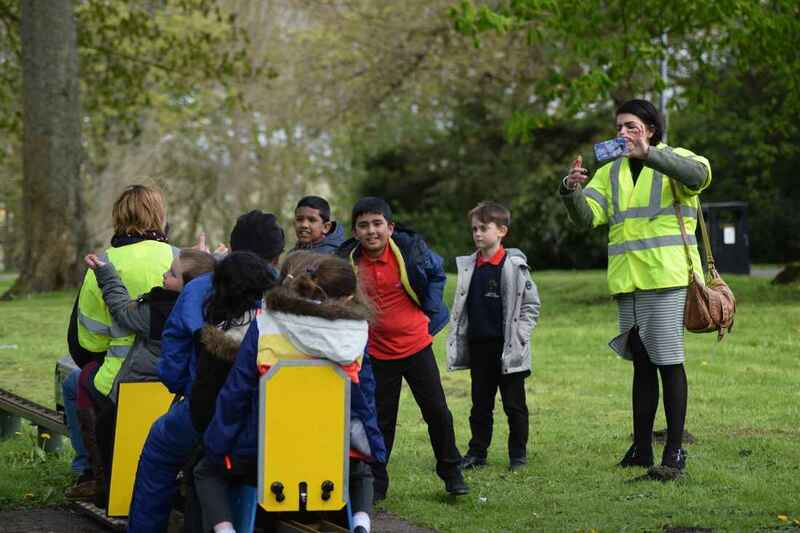 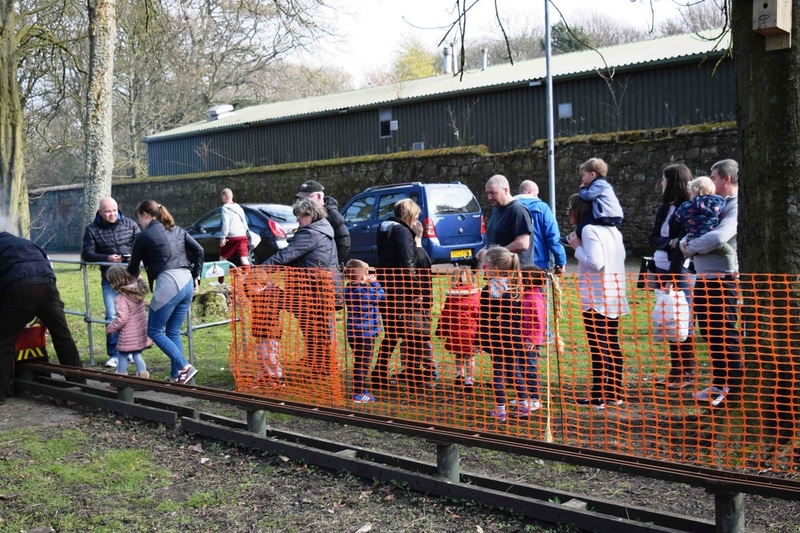 Pre Easter Fun Run 2019. 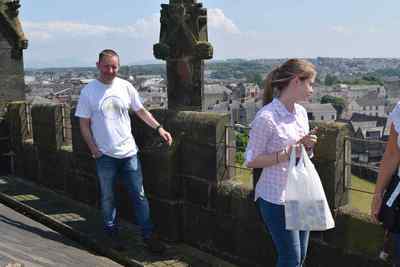 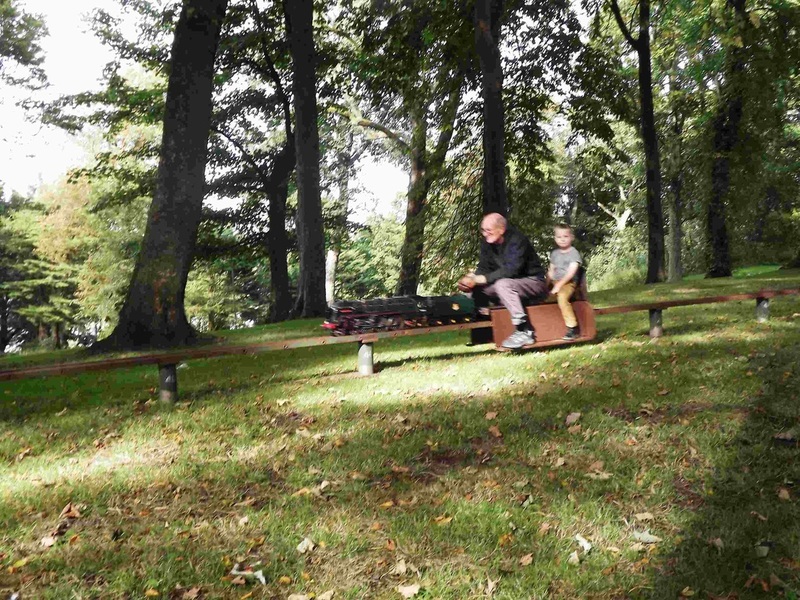 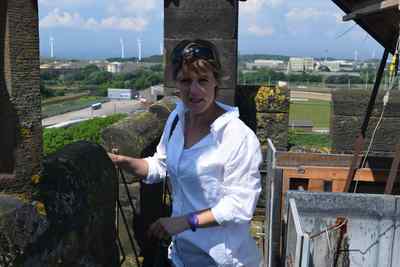 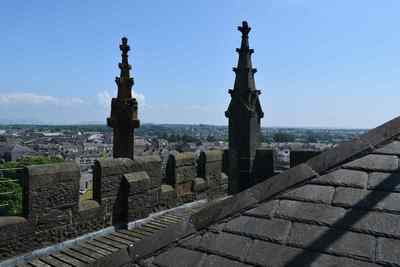 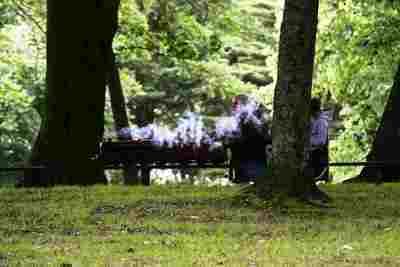 (Click on photo's to enlarge - Right click to save). 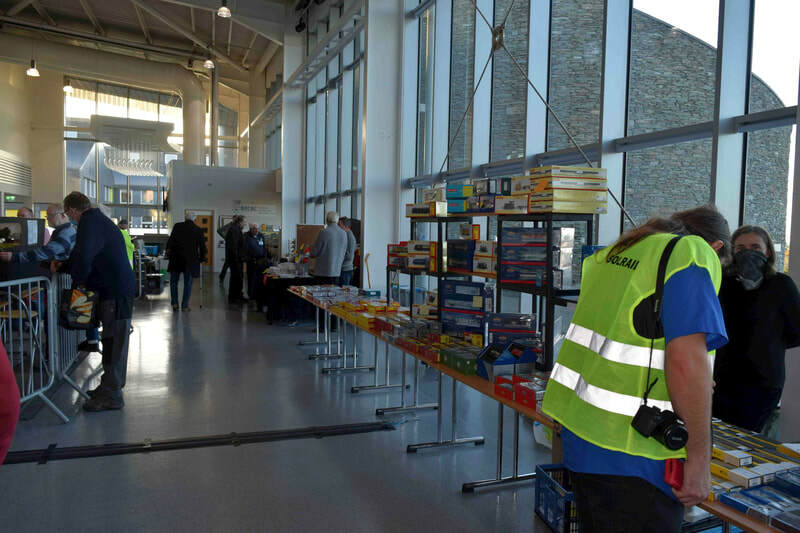 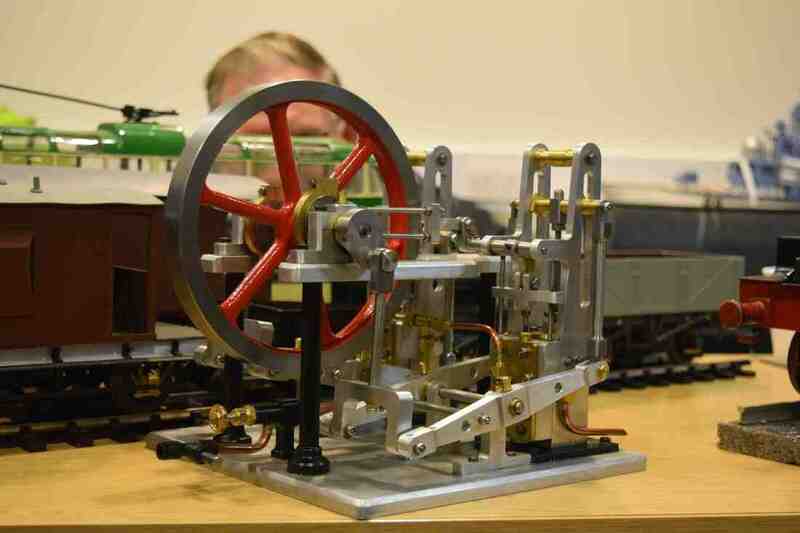 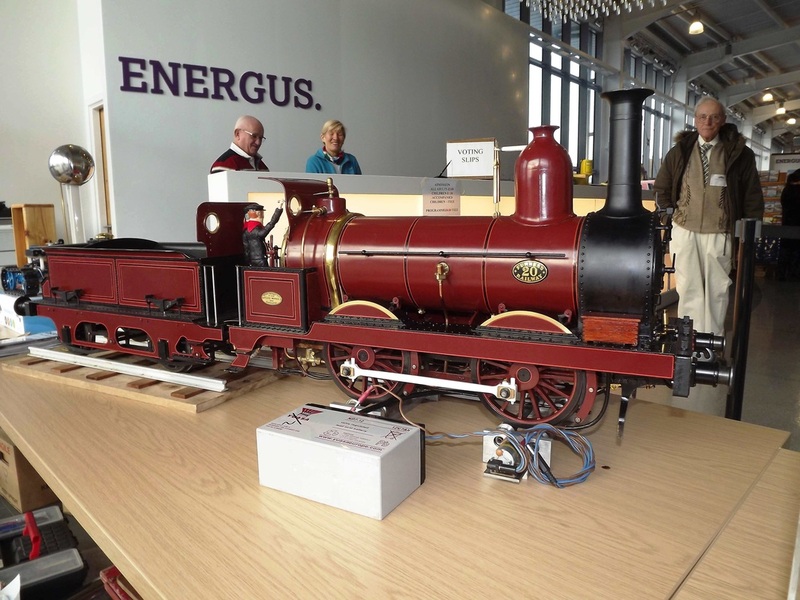 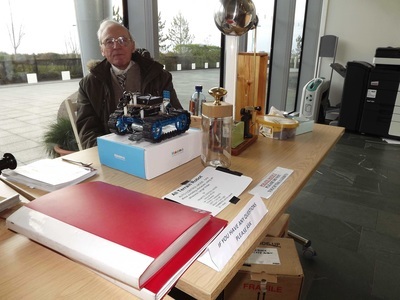 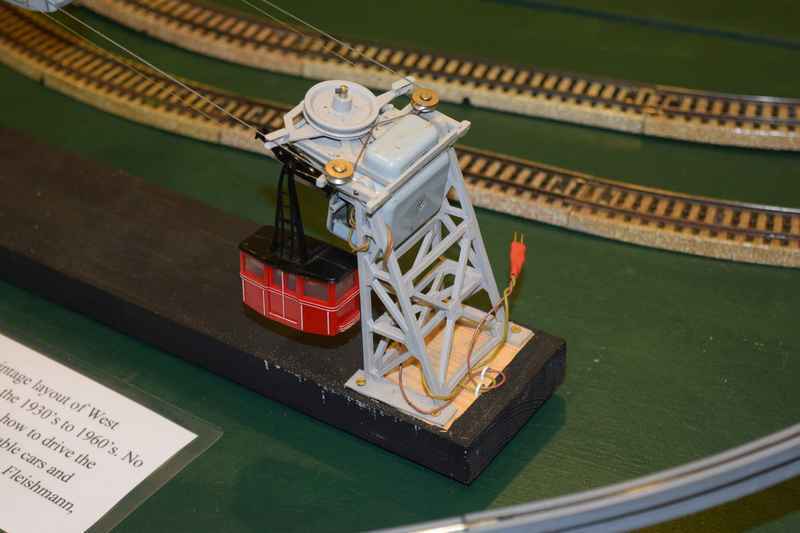 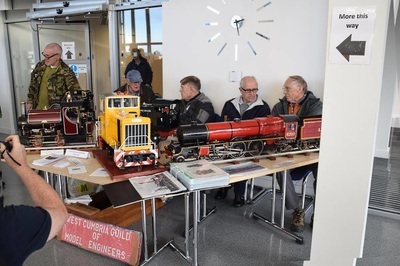 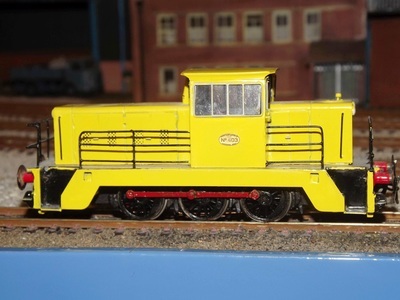 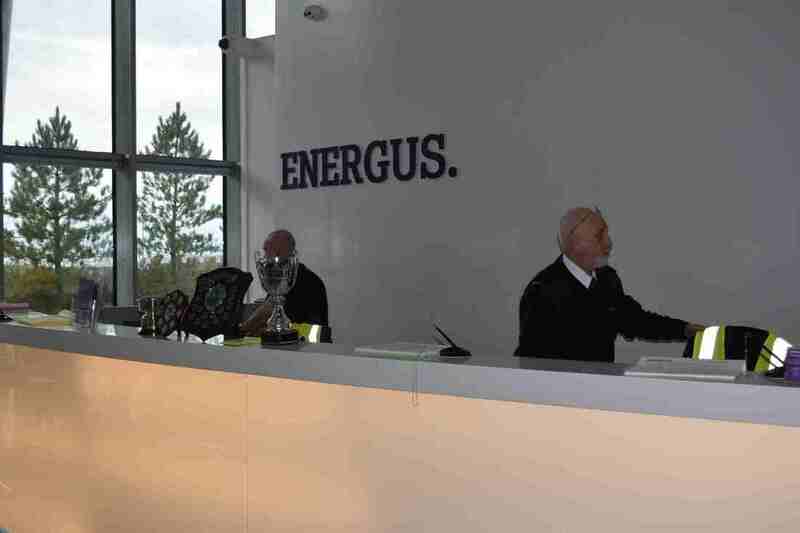 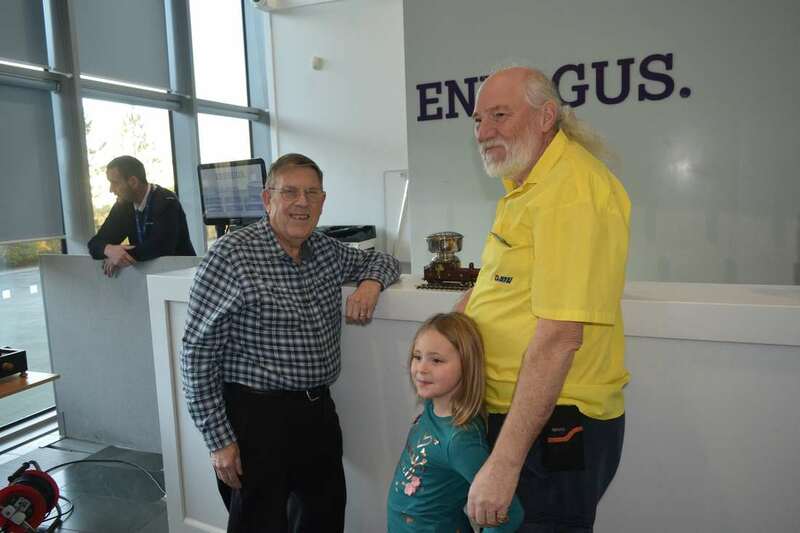 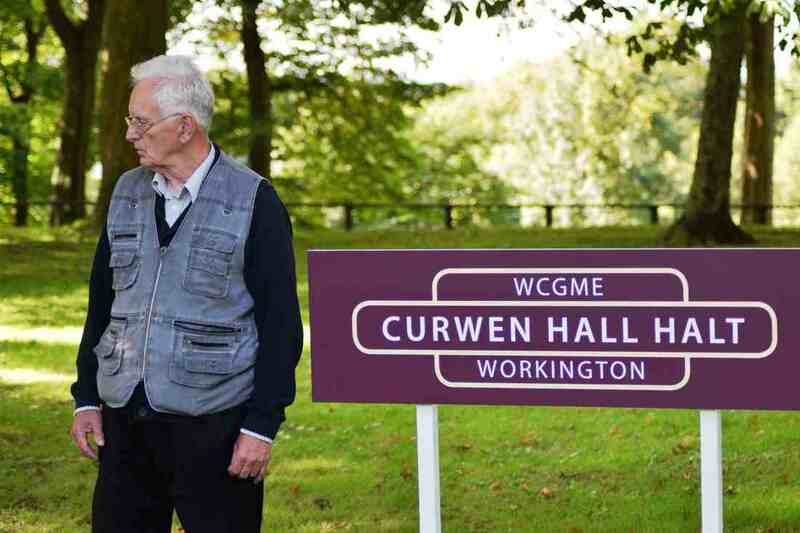 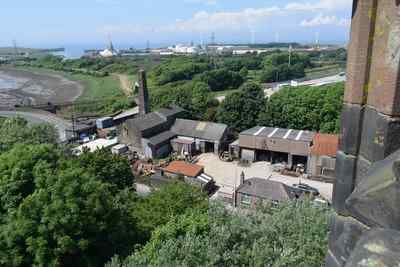 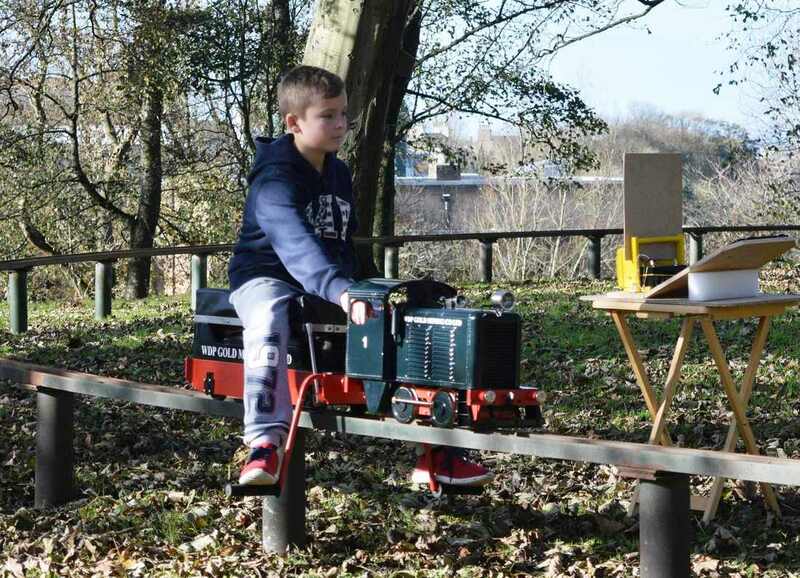 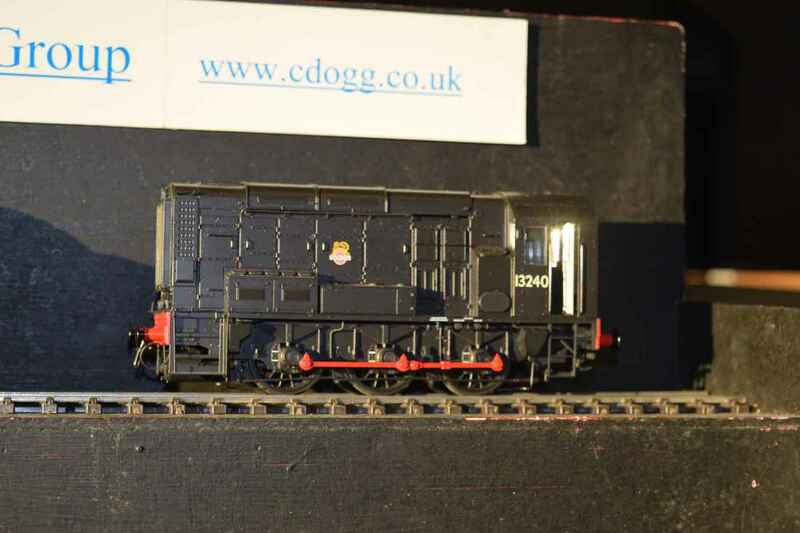 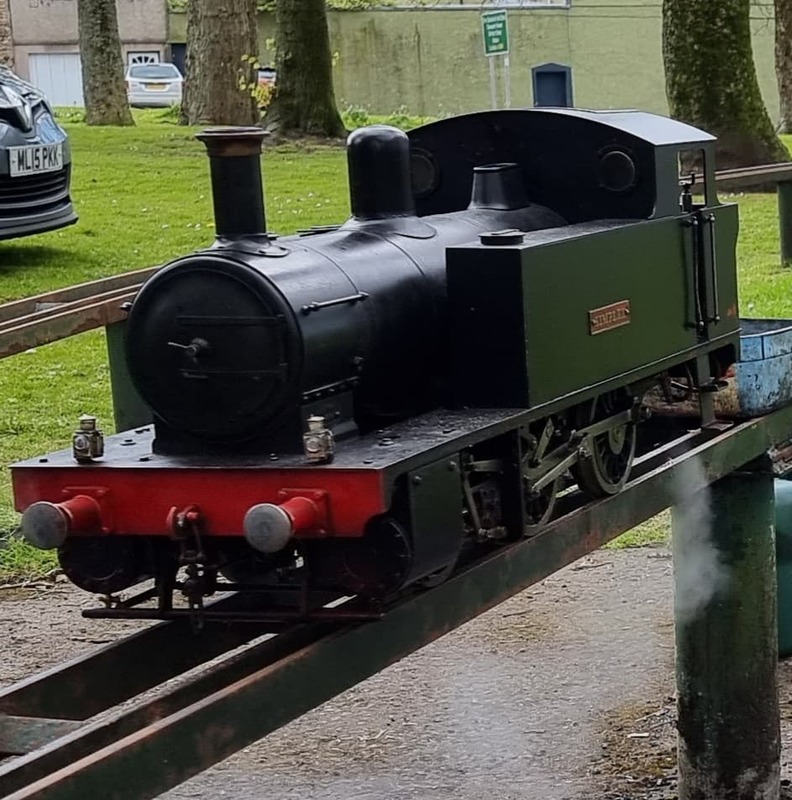 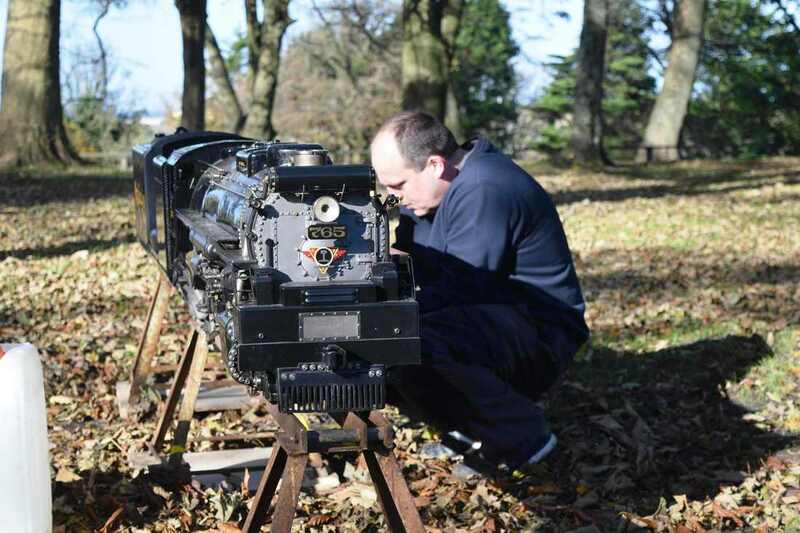 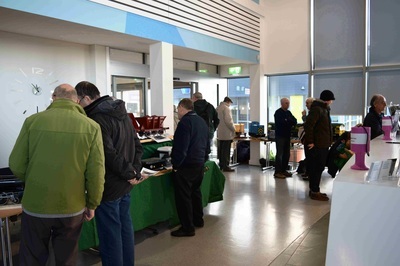 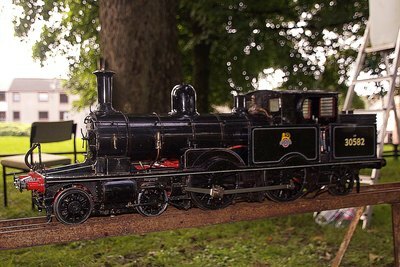 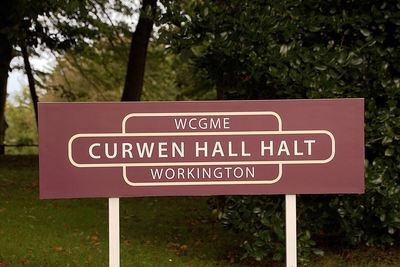 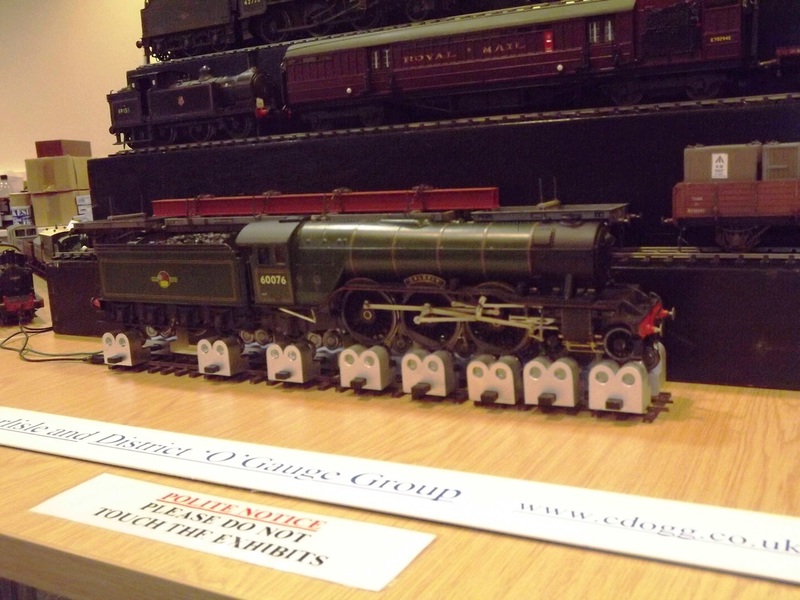 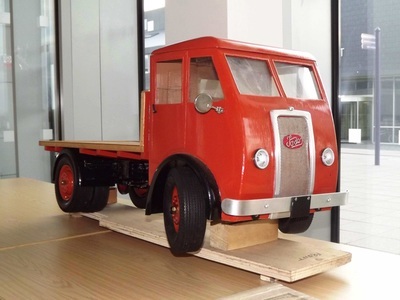 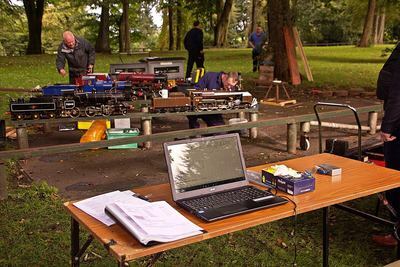 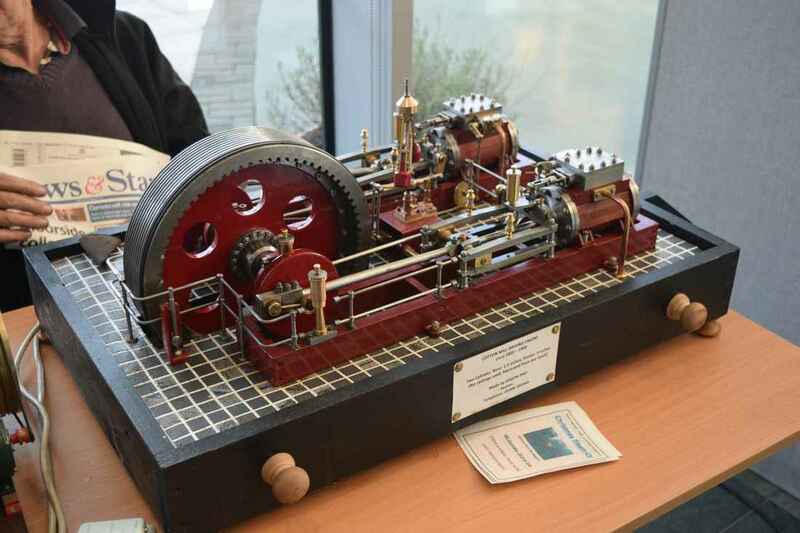 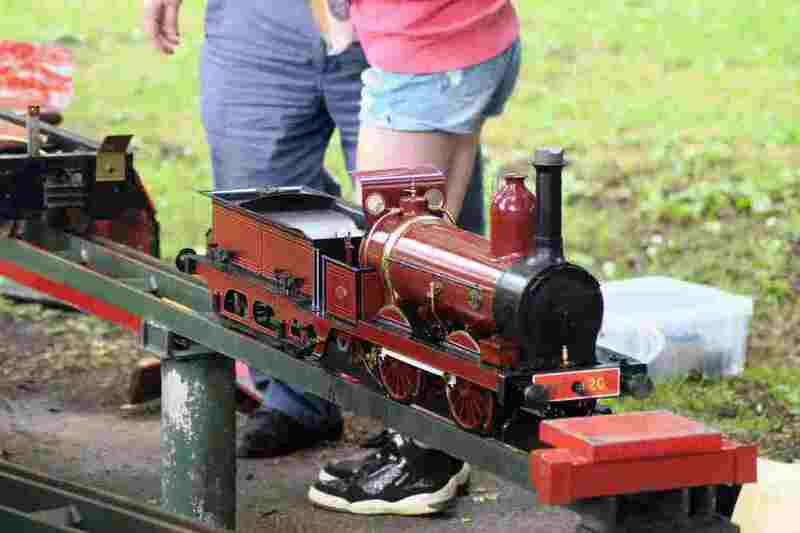 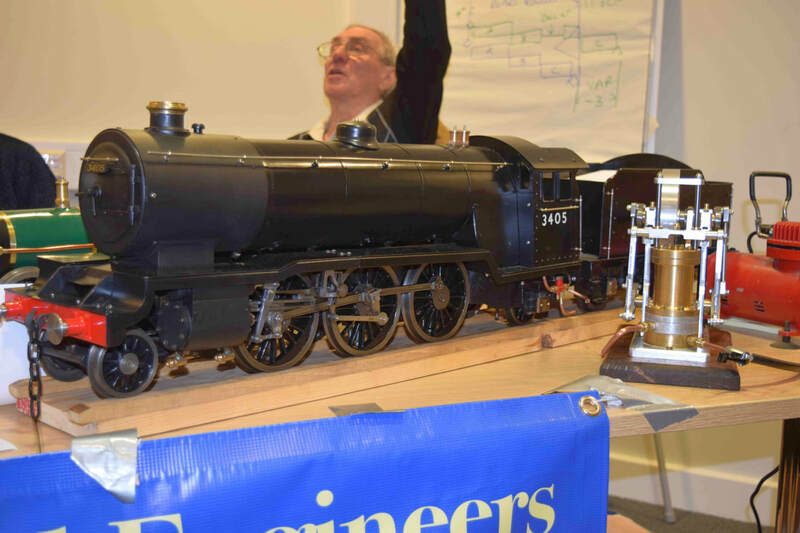 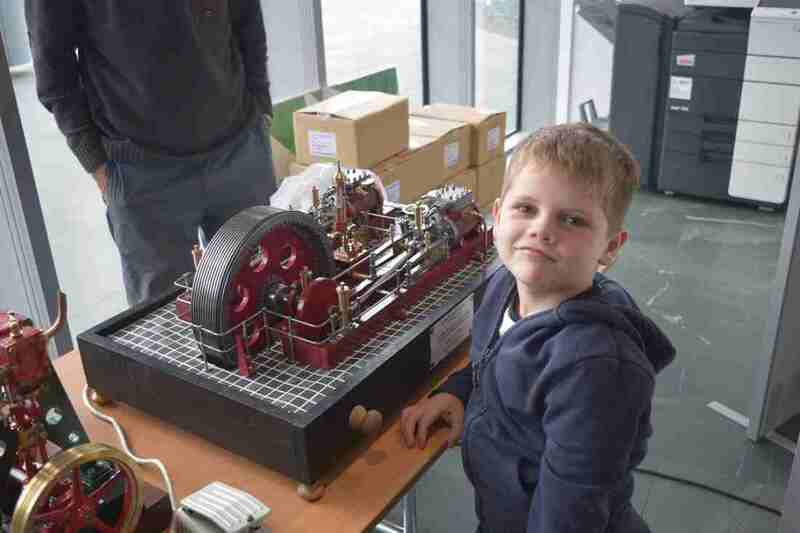 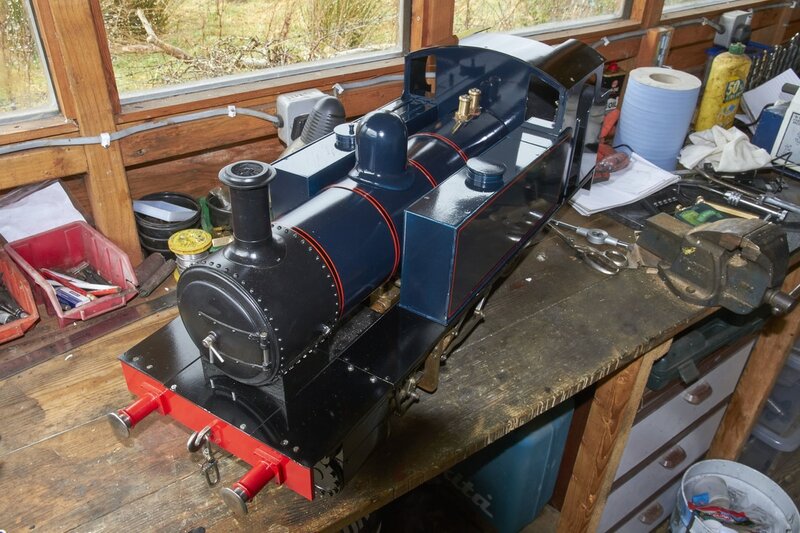 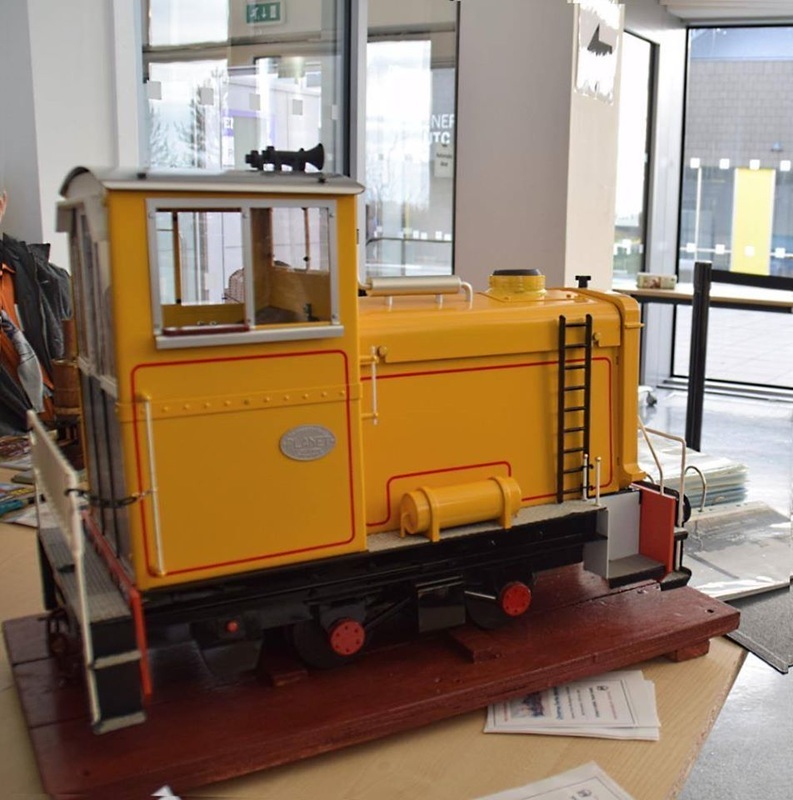 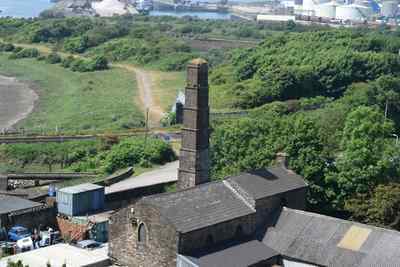 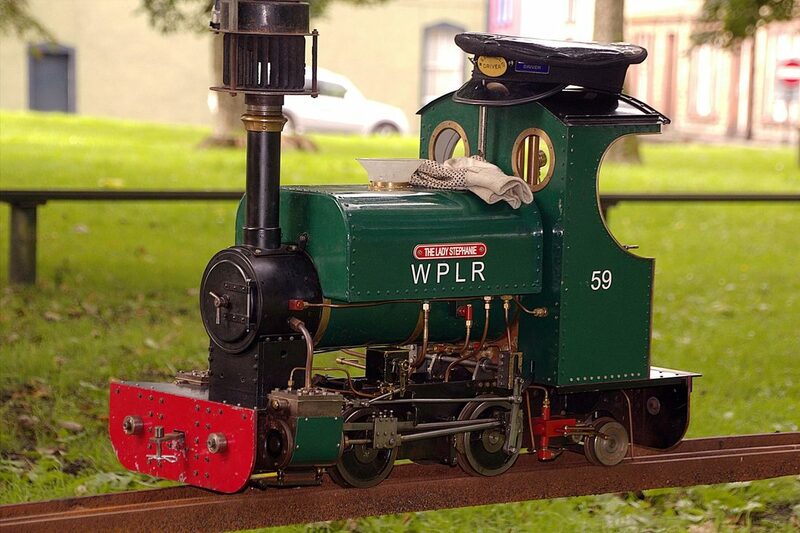 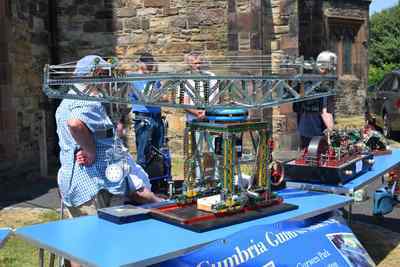 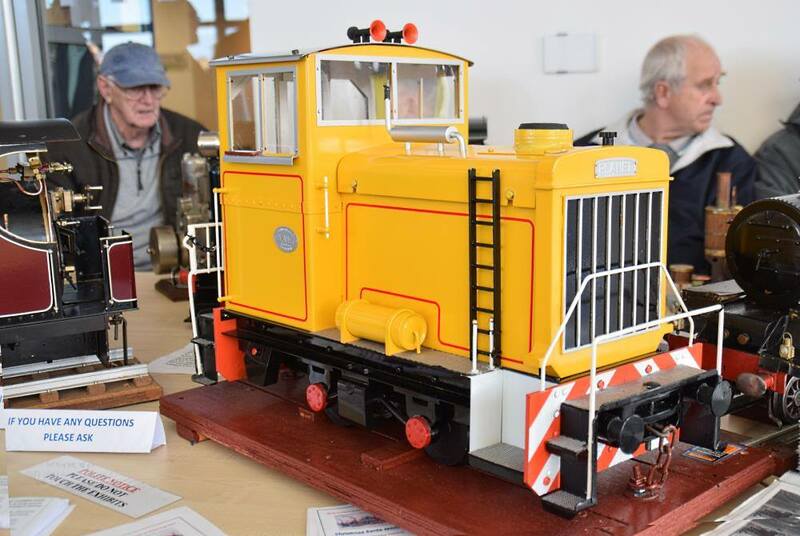 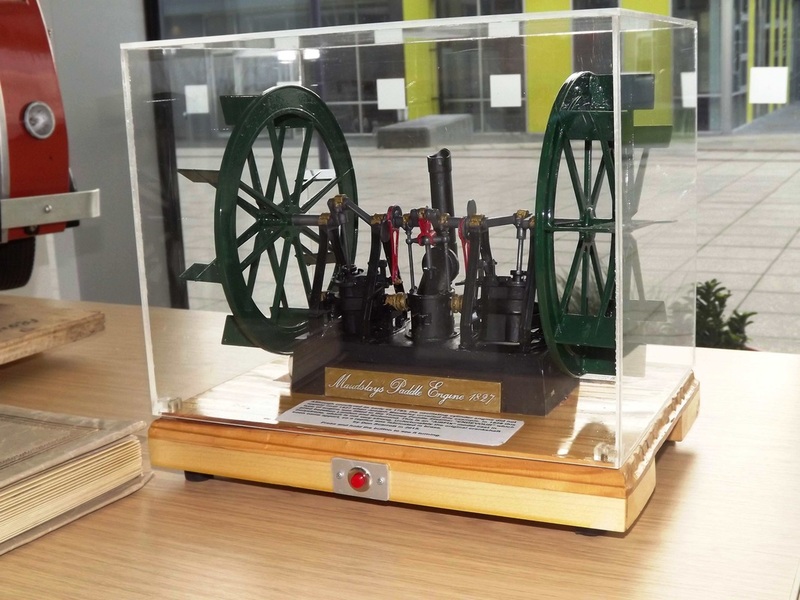 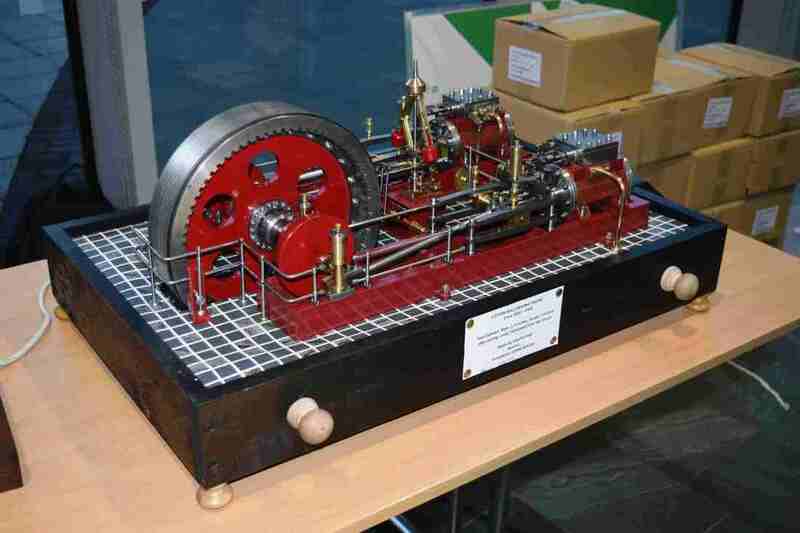 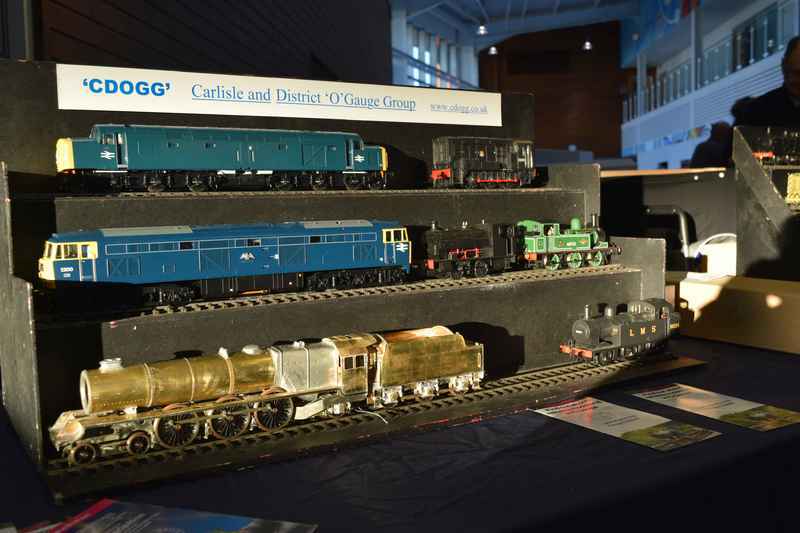 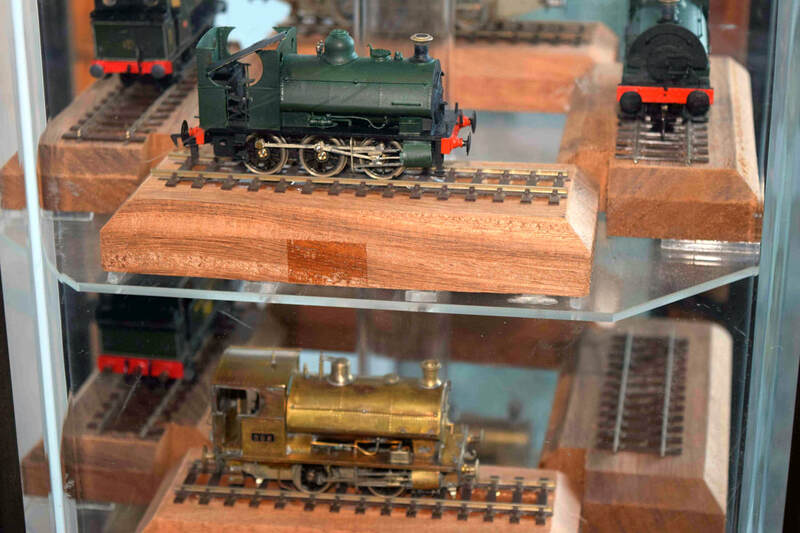 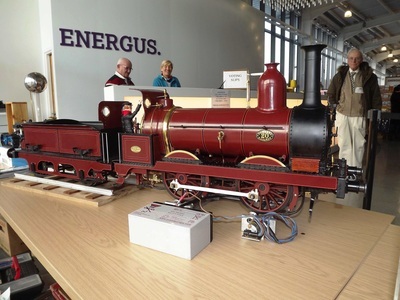 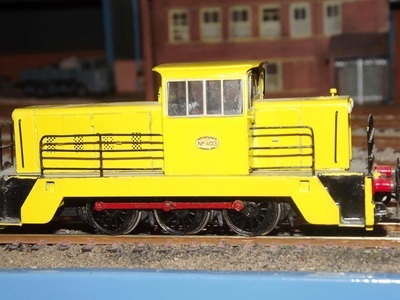 WCGME : Workington Model Railway Show 2018 @ ENERGUS LILLYHALL. 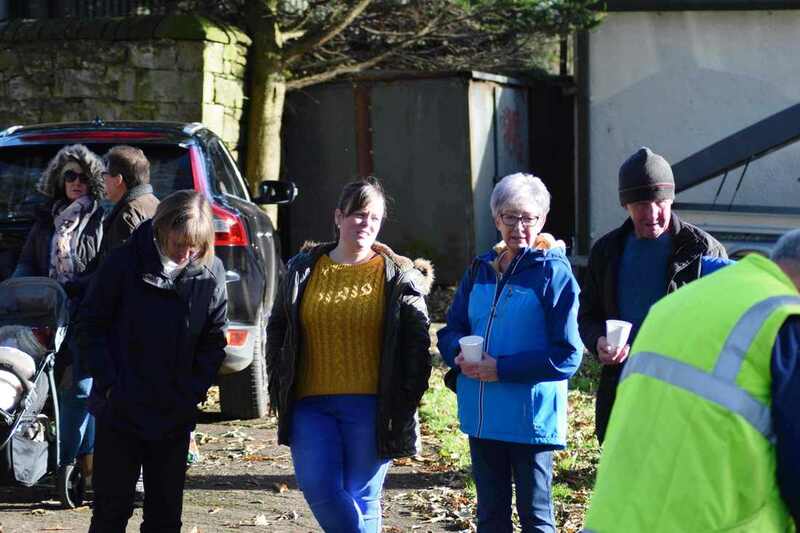 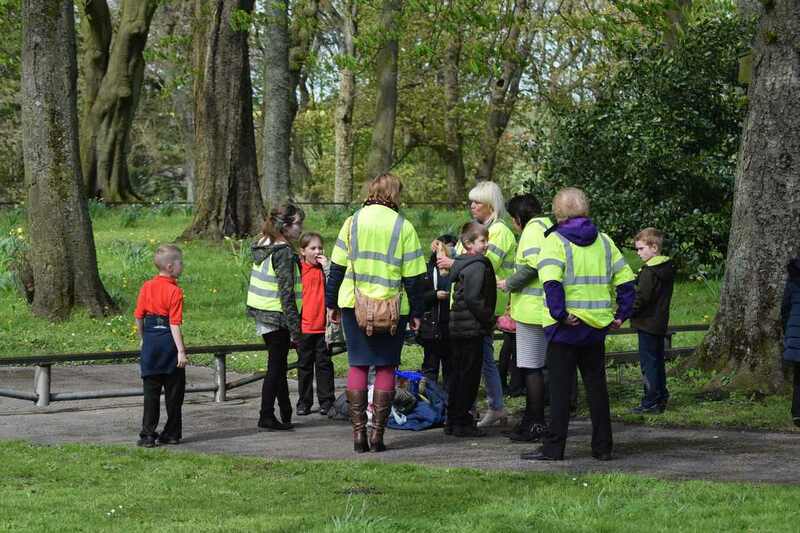 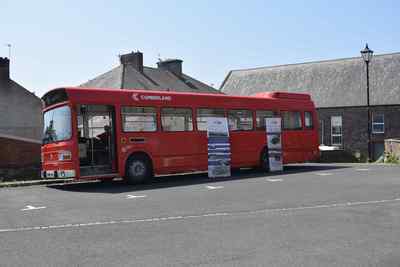 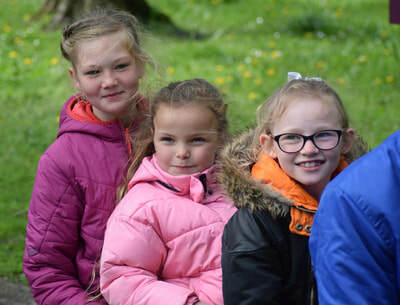 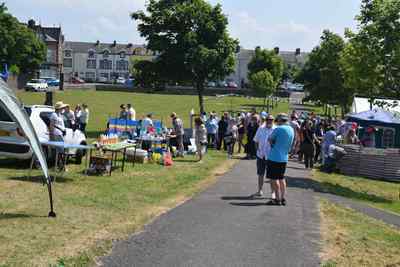 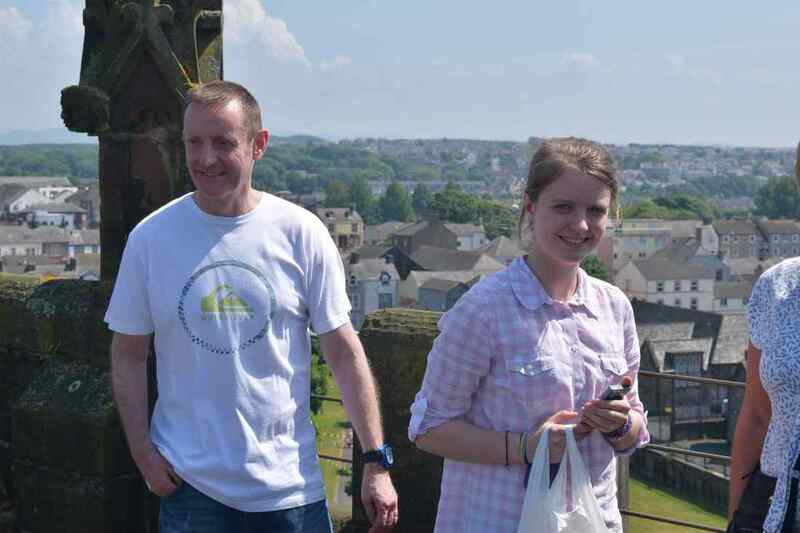 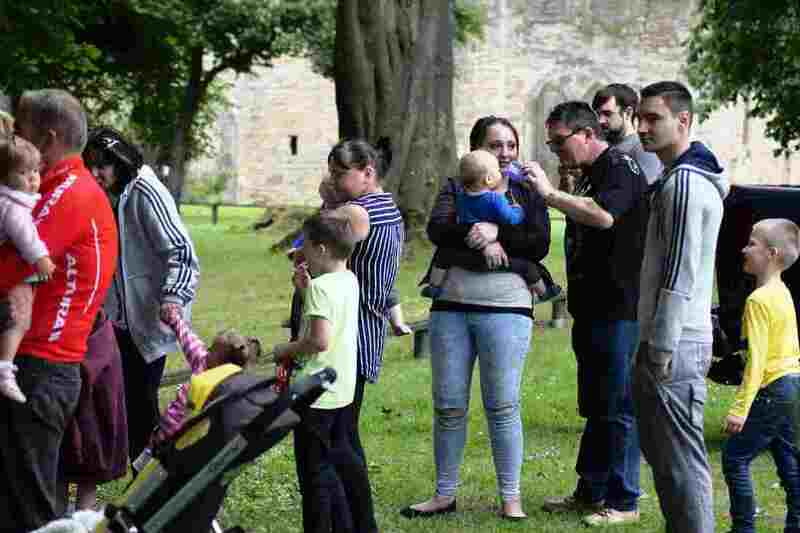 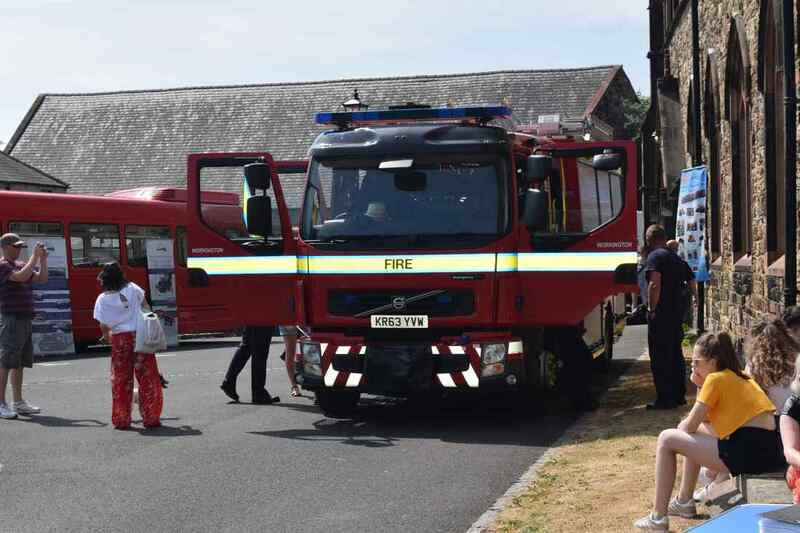 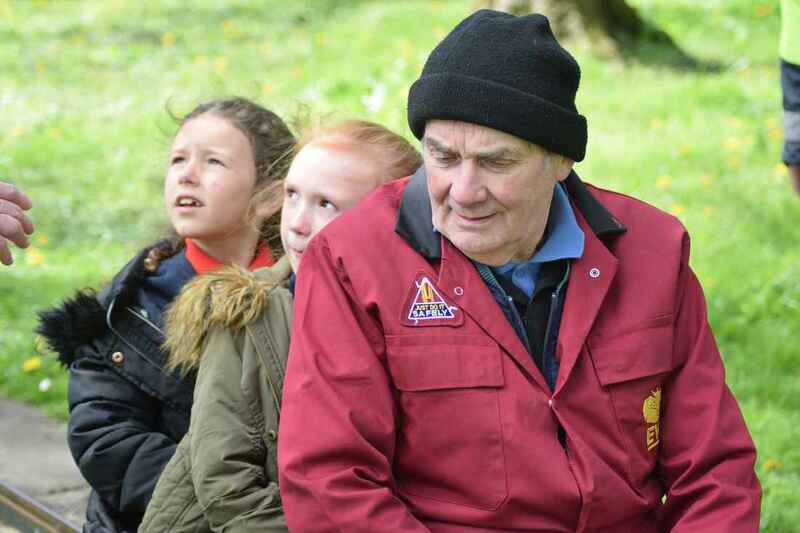 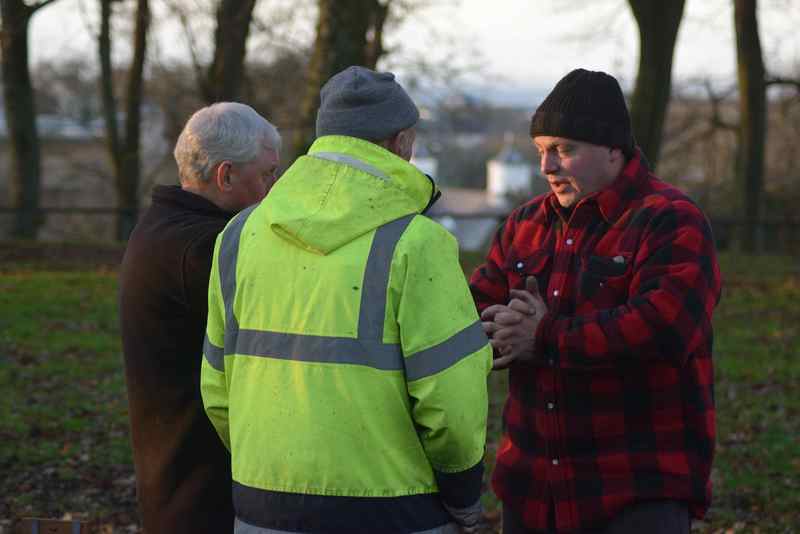 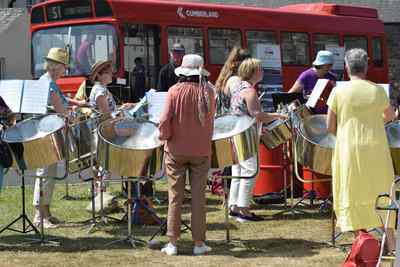 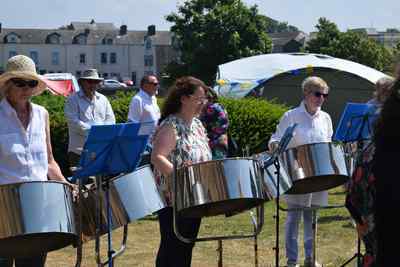 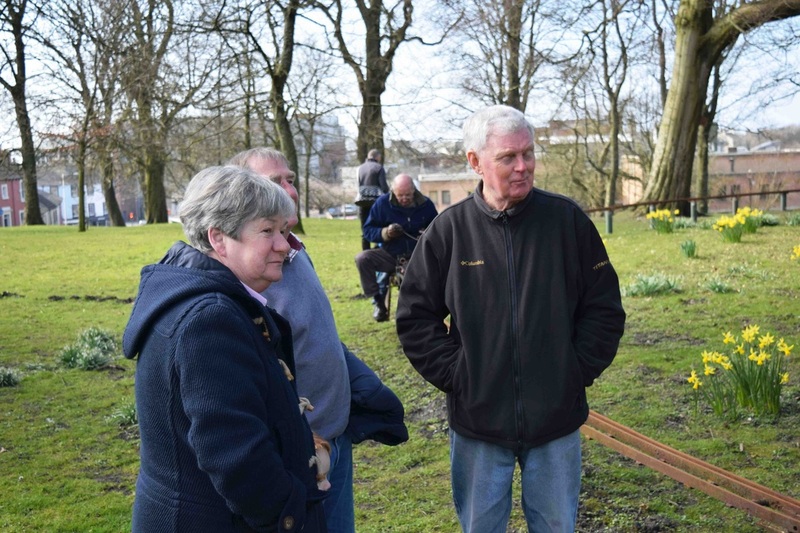 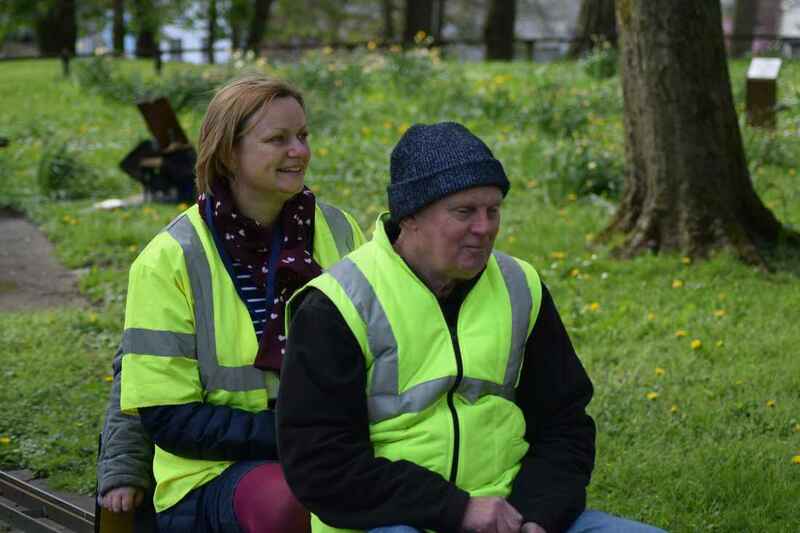 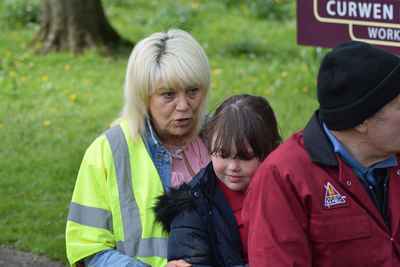 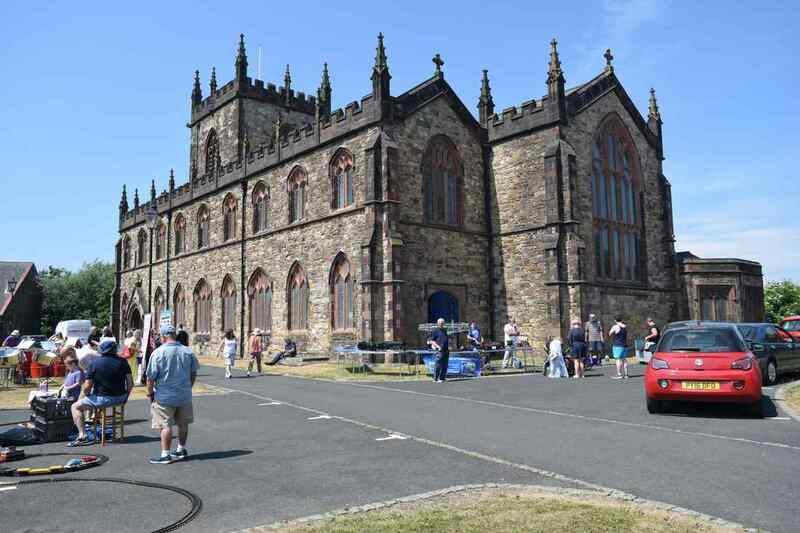 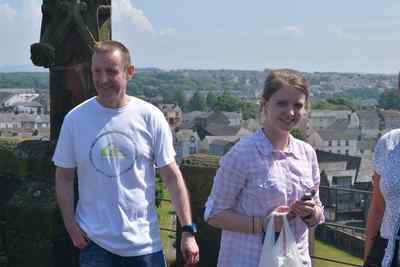 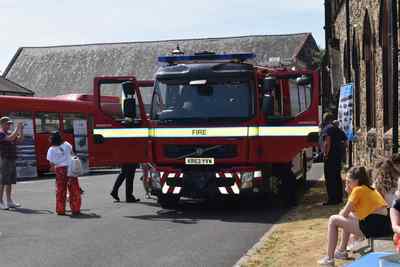 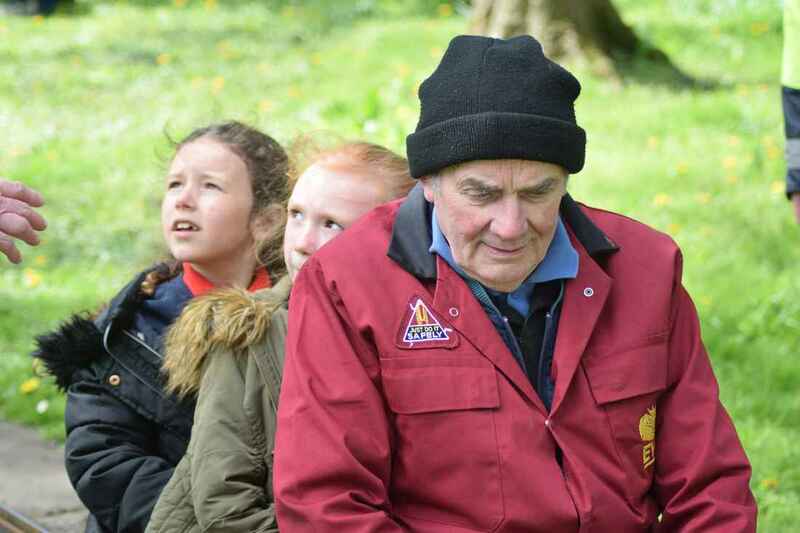 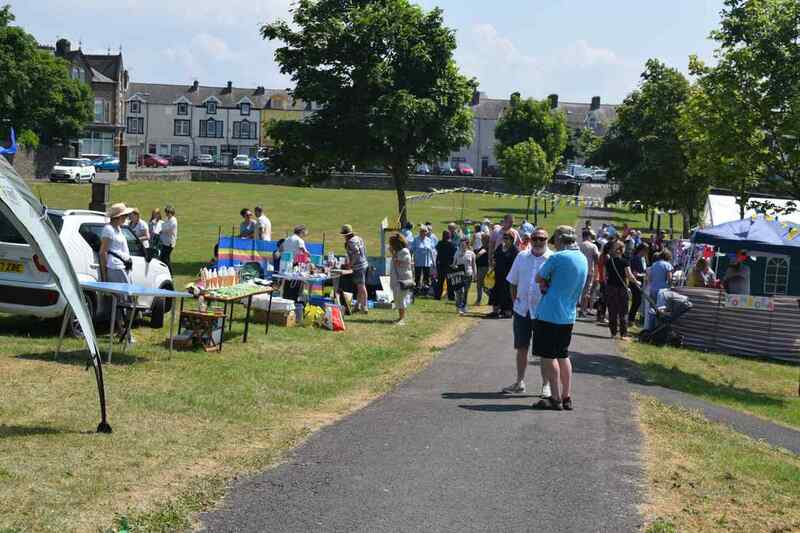 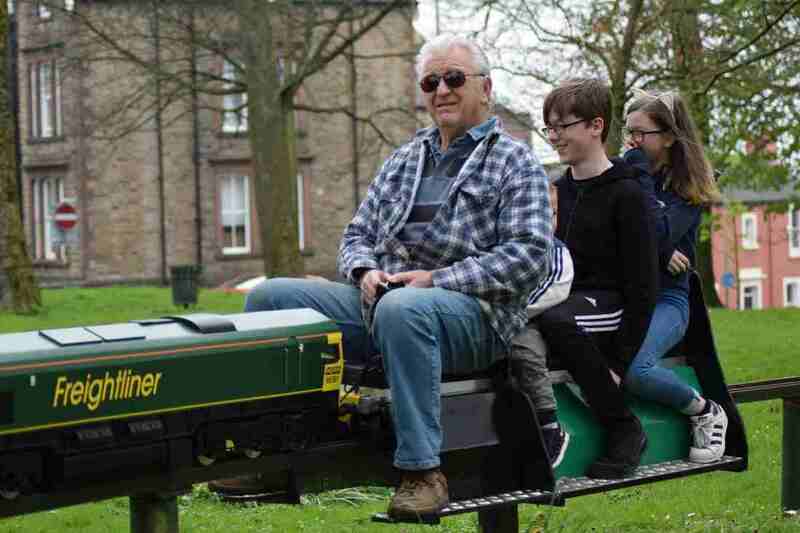 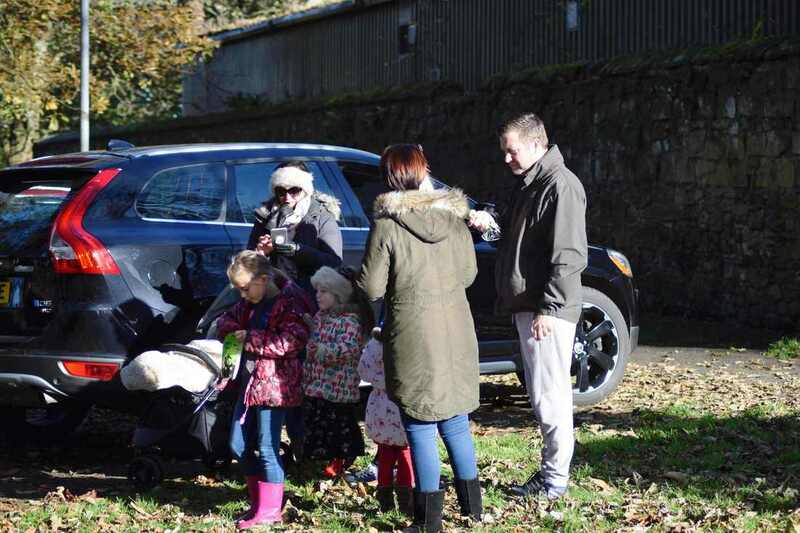 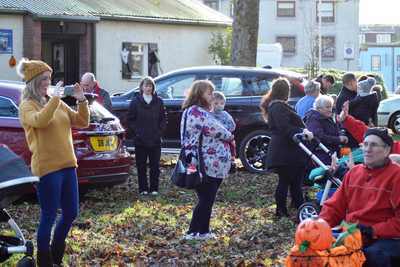 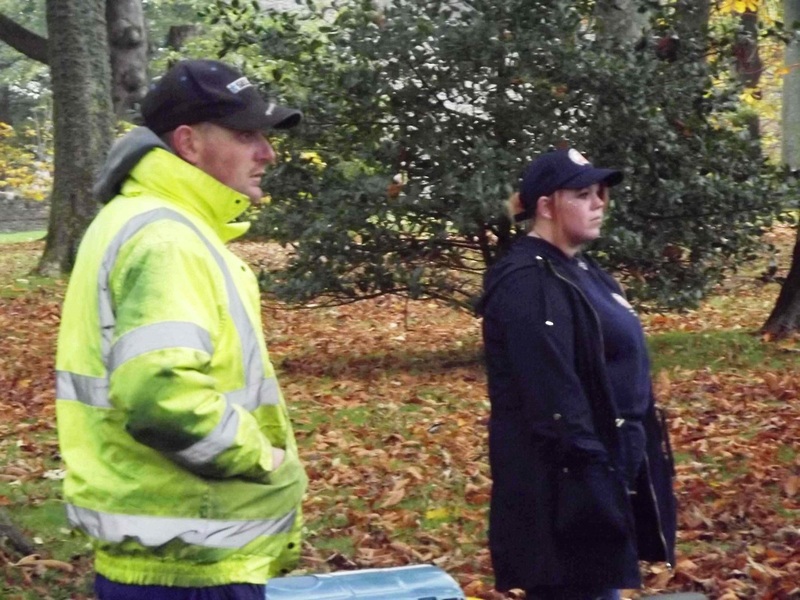 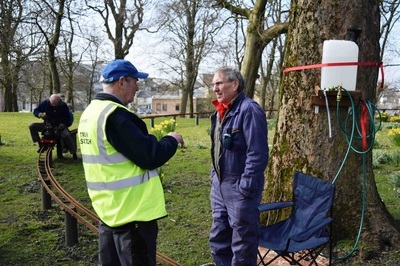 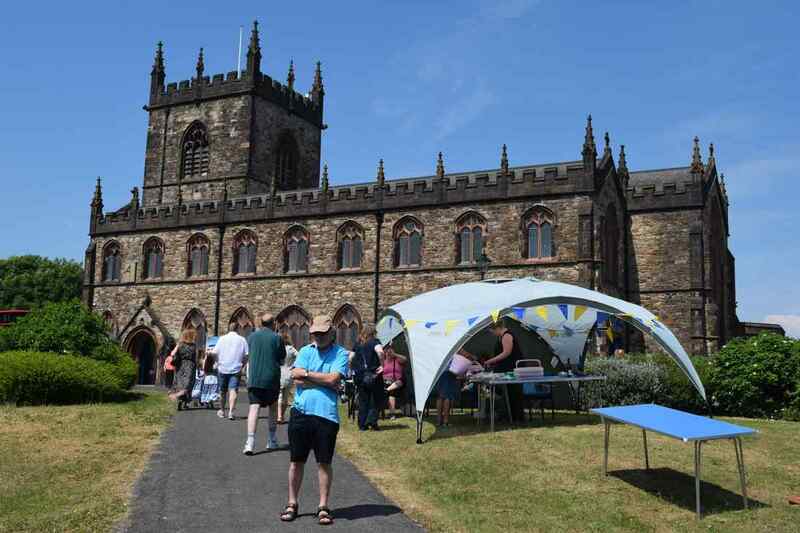 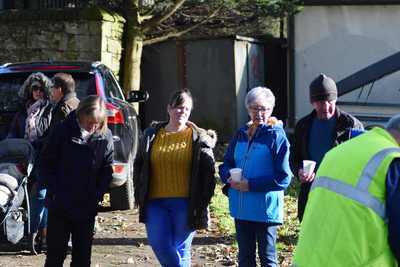 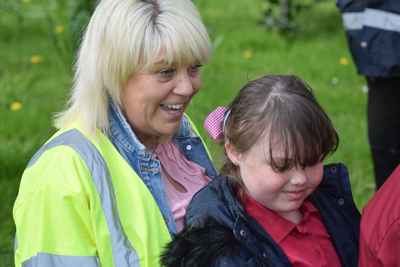 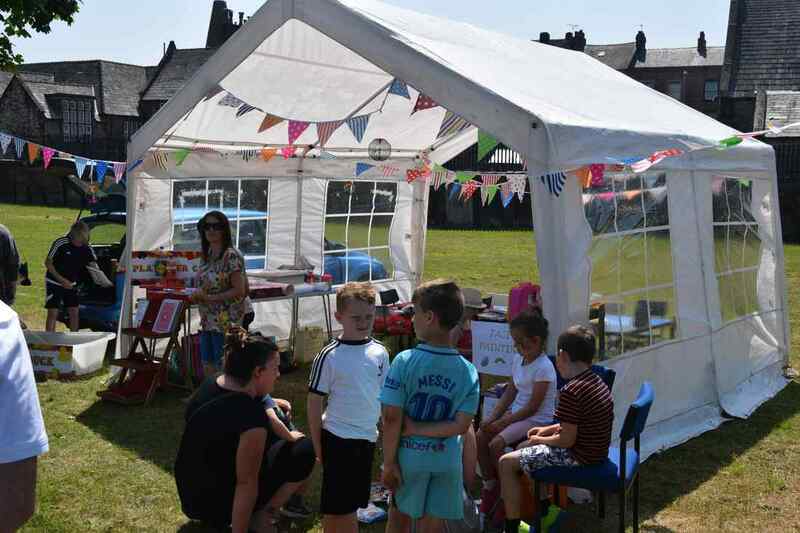 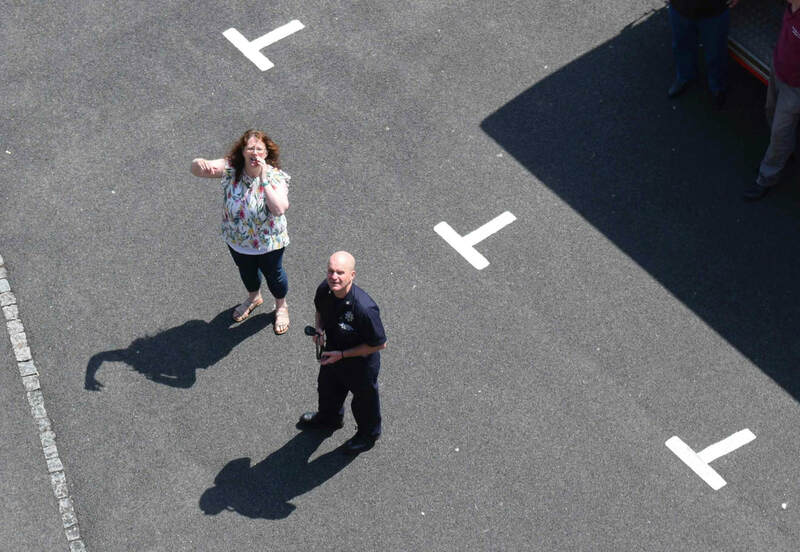 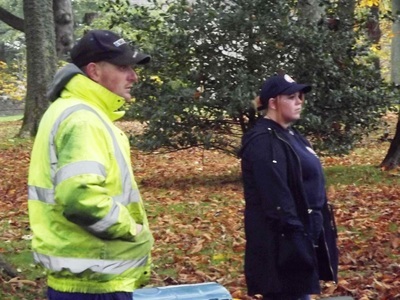 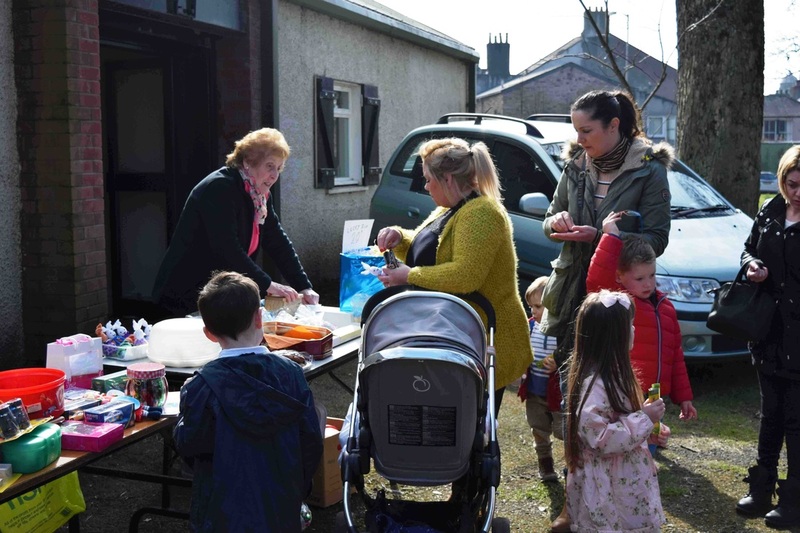 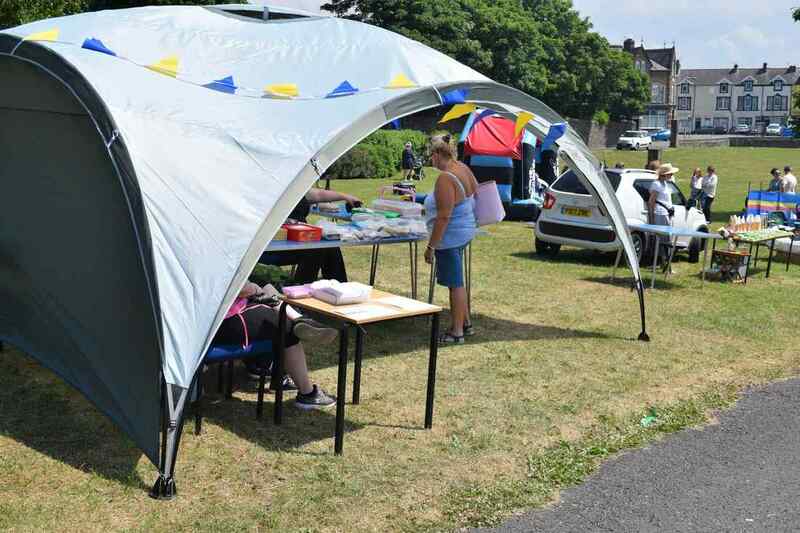 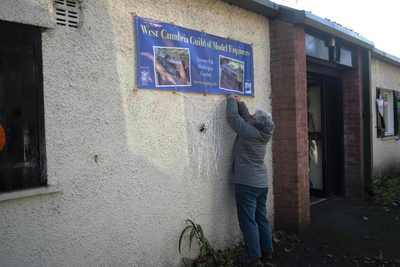 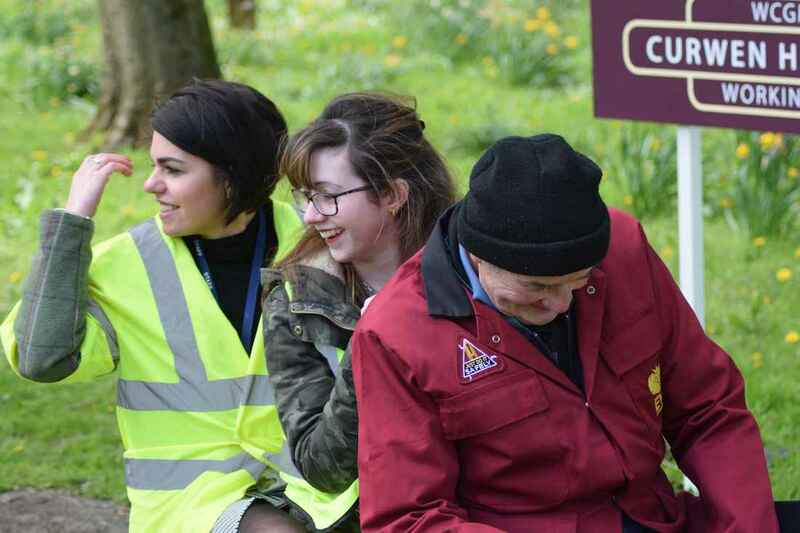 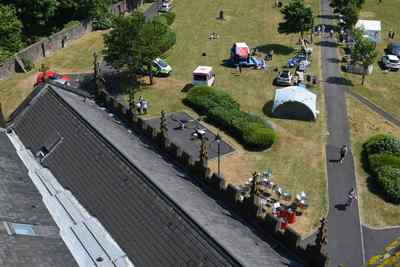 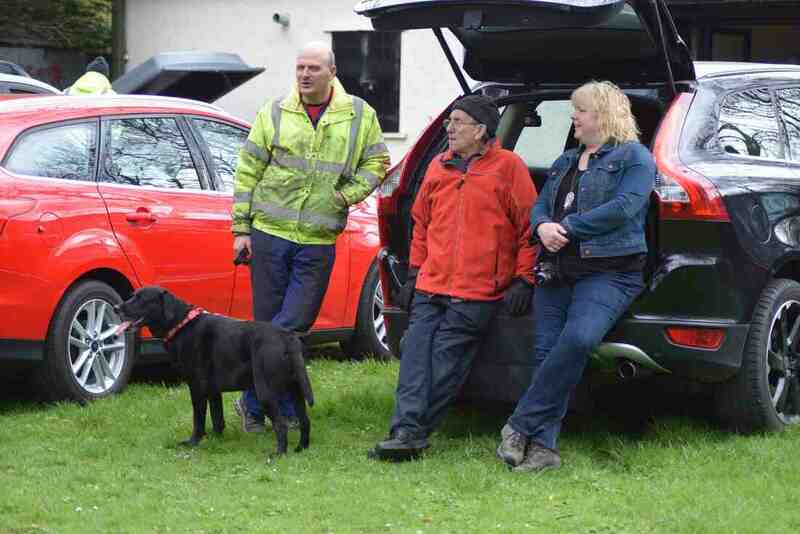 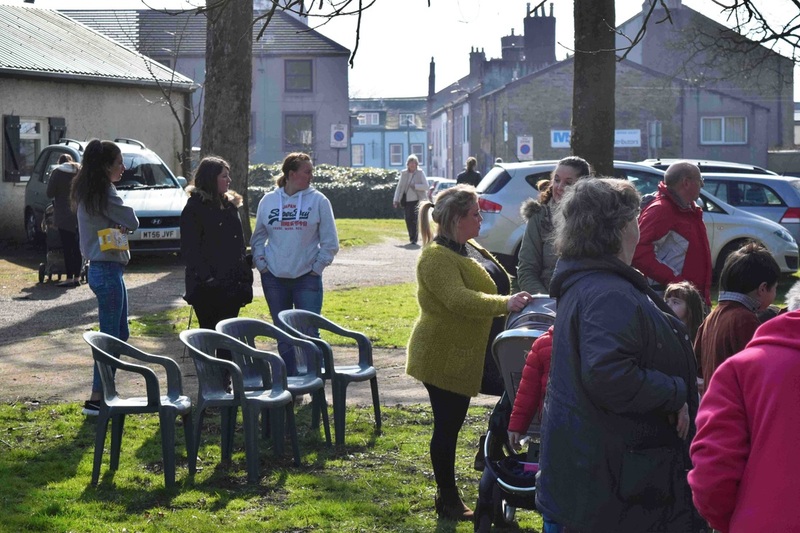 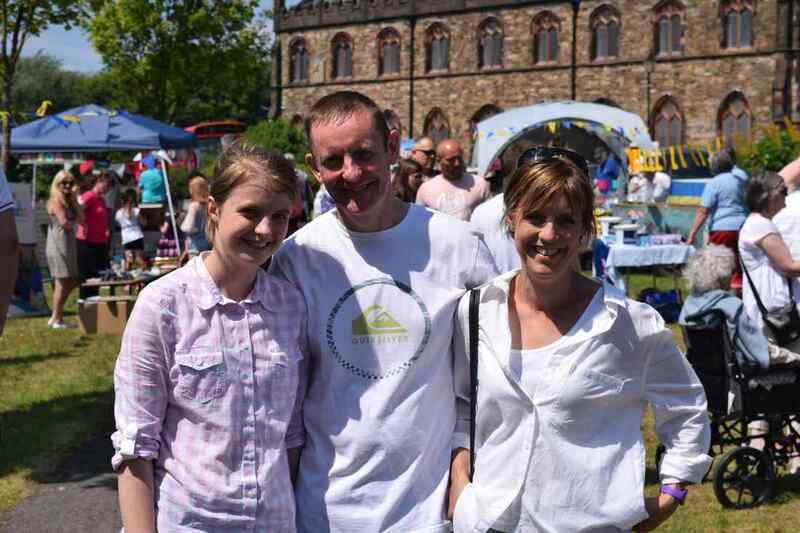 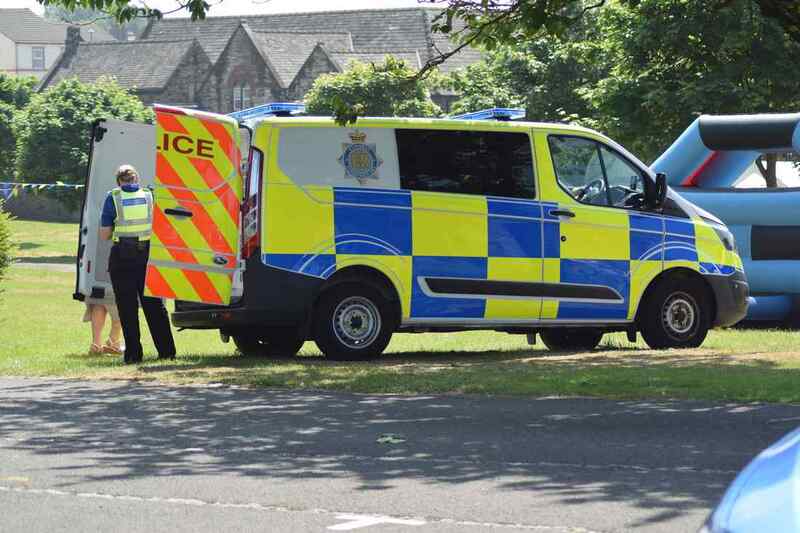 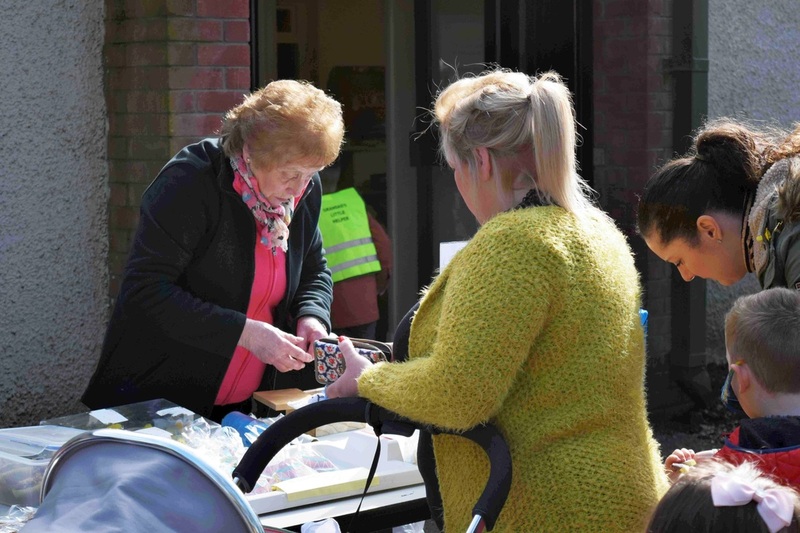 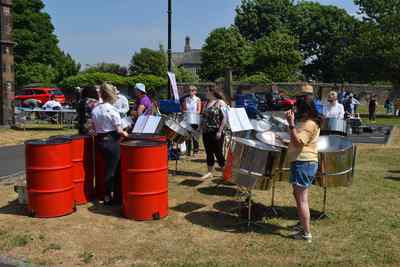 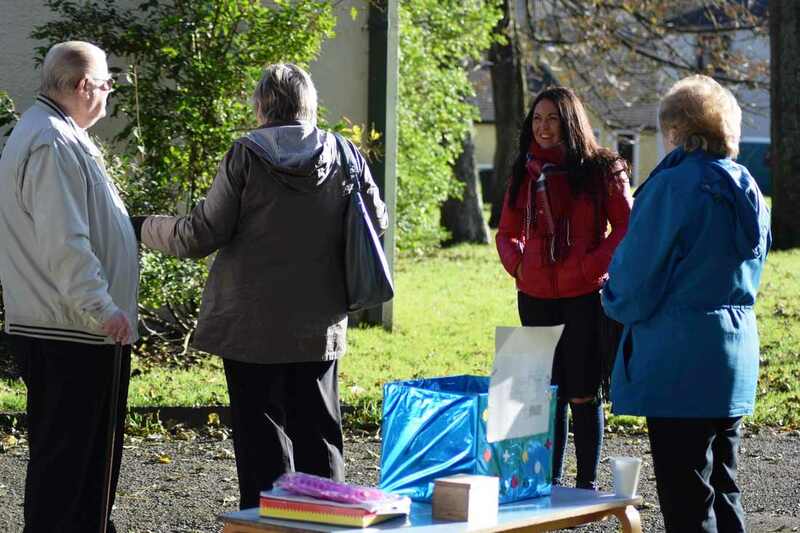 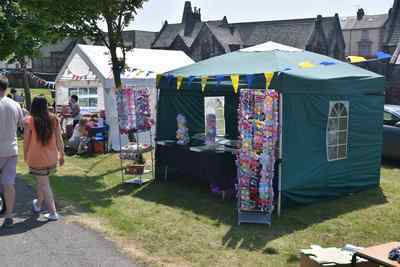 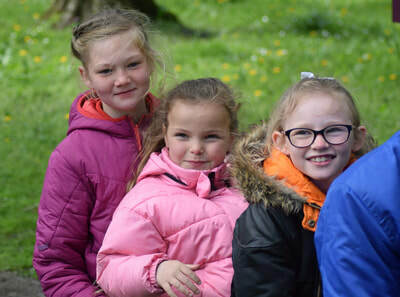 WCGME at St Michaels Church Workington Community Event 2018. 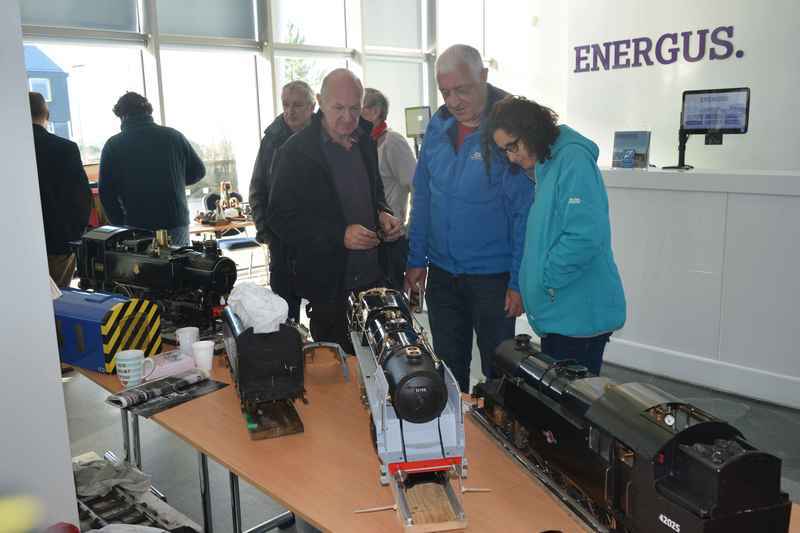 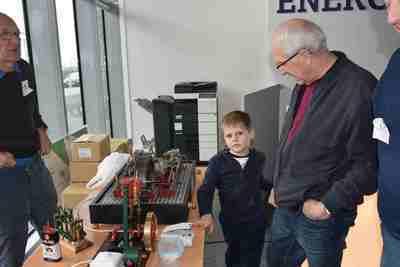 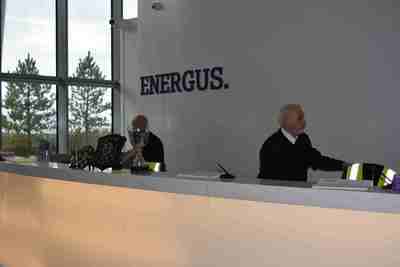 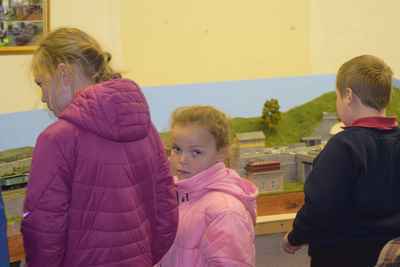 Workington Model Railway Show @ Energus Lillyhall Workington 2017. 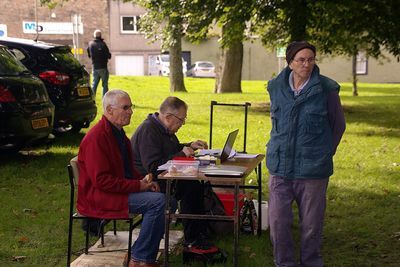 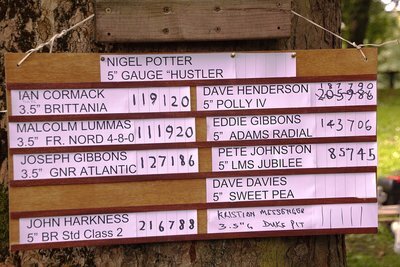 Stephensons Trials Workington 2017. 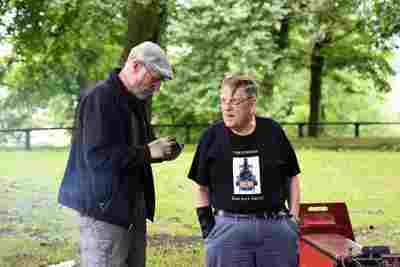 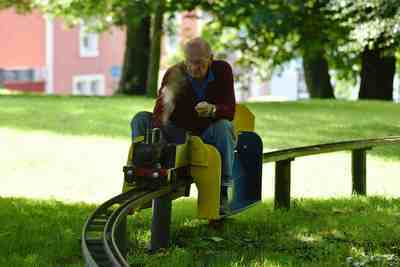 ( Click on photos to enlarge) copyright William Little. 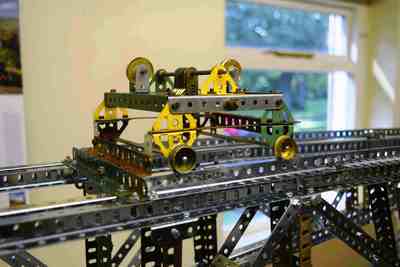 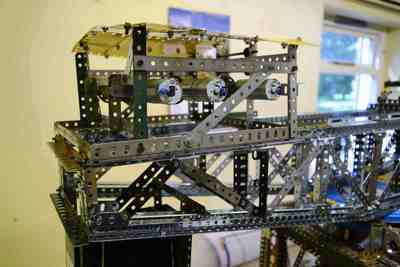 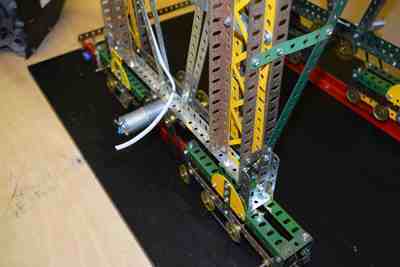 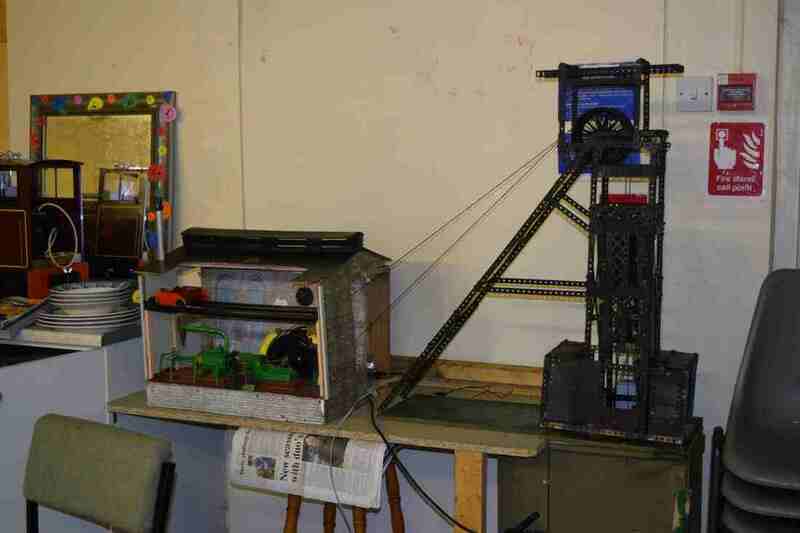 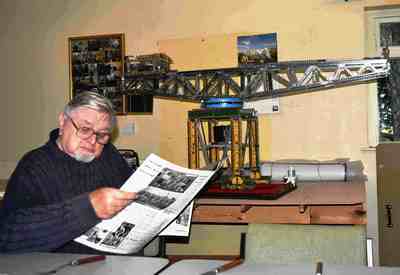 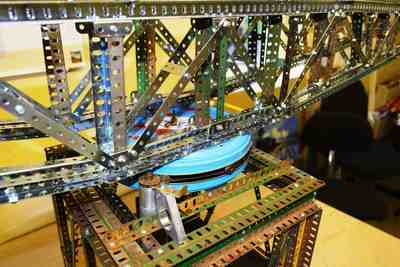 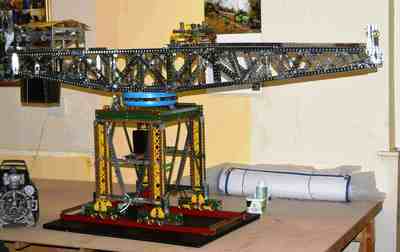 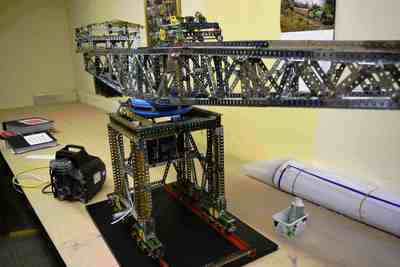 Magnificent Block Crane built by Joe Pirt. 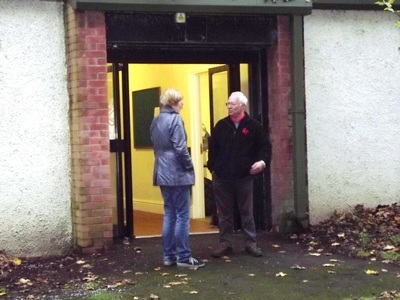 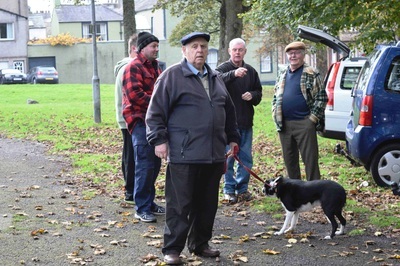 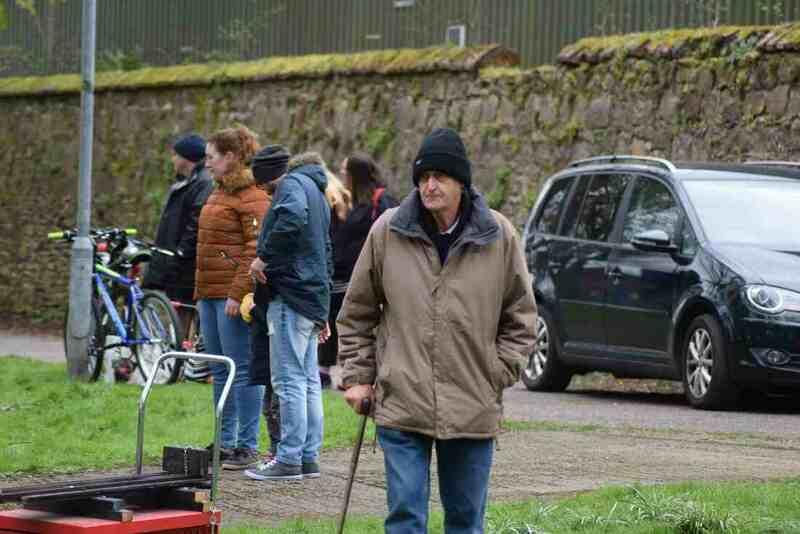 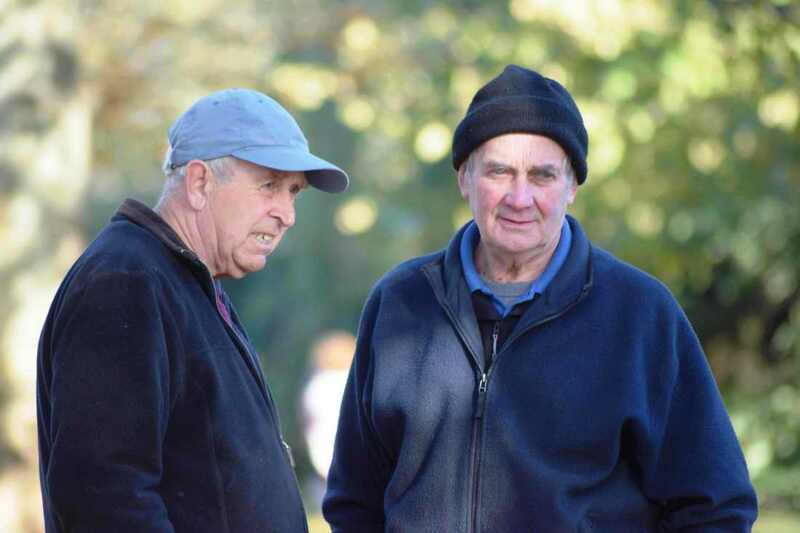 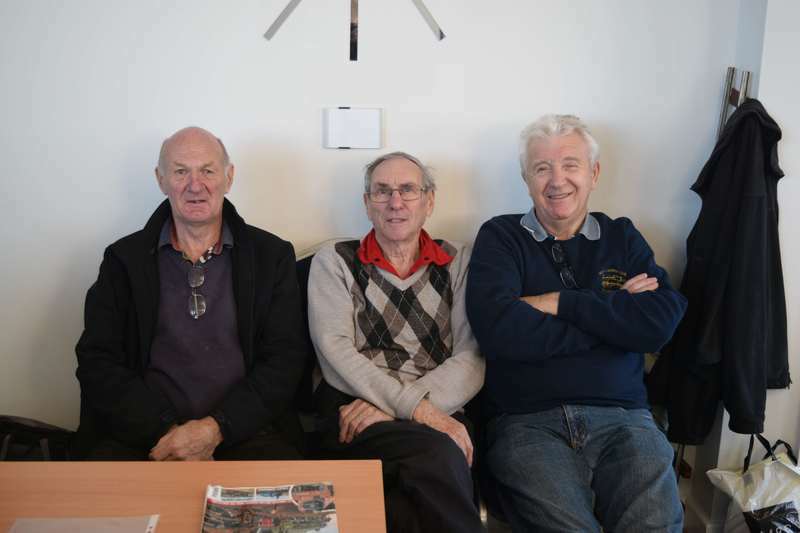 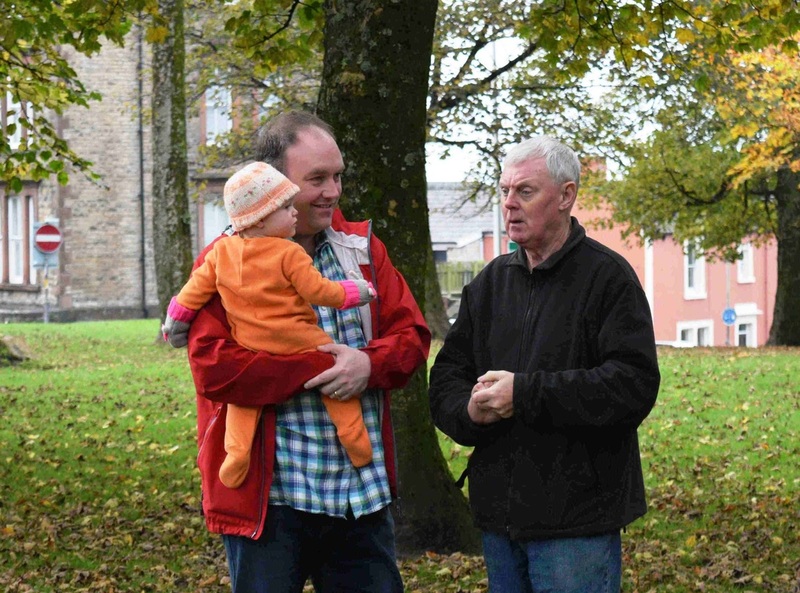 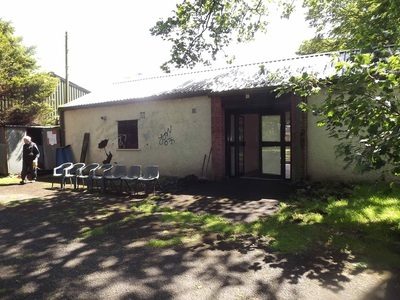 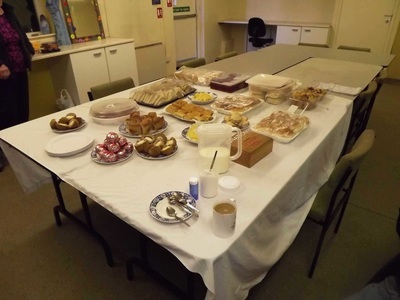 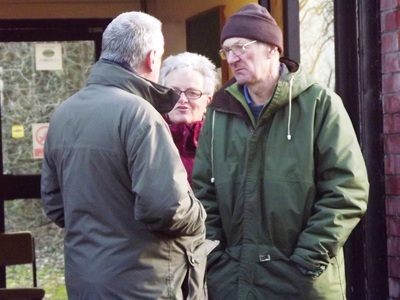 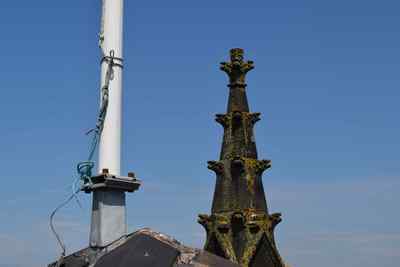 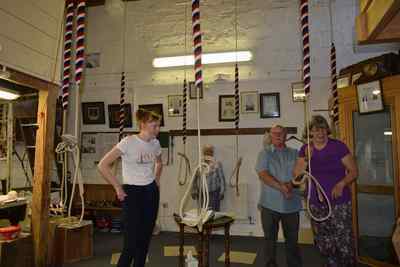 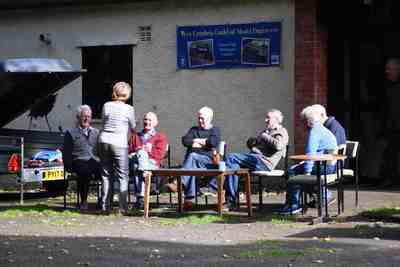 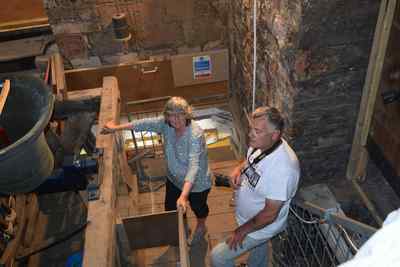 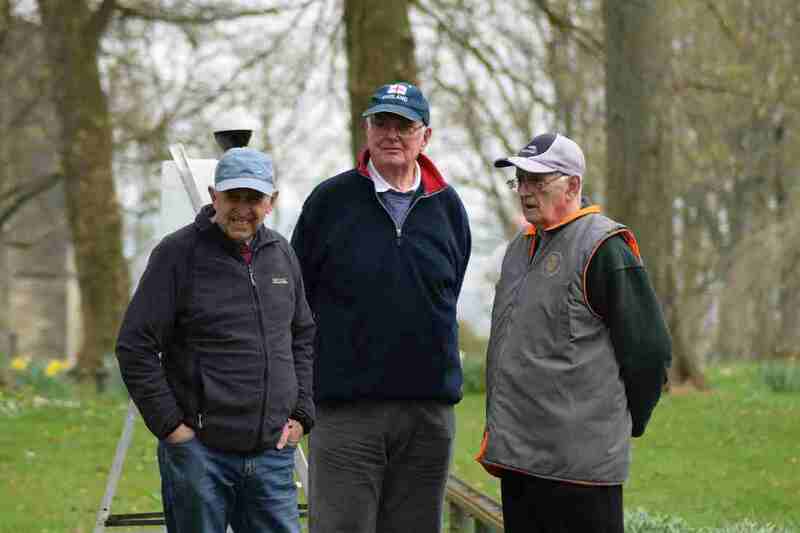 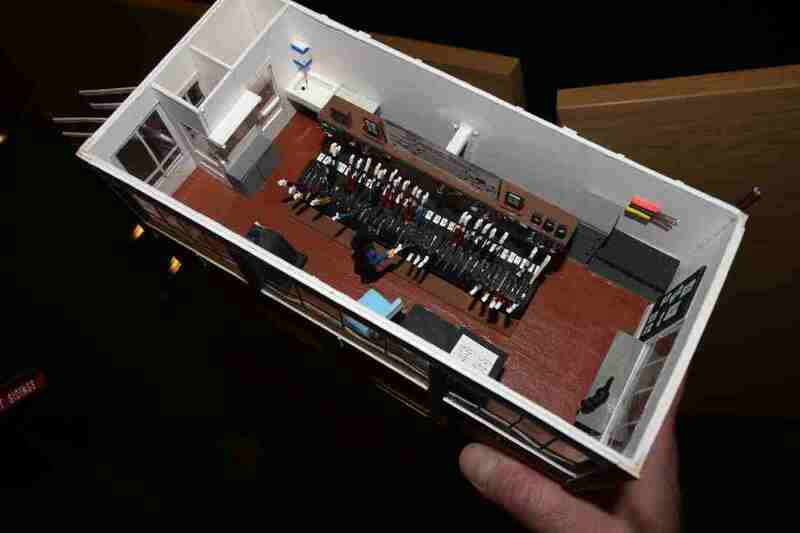 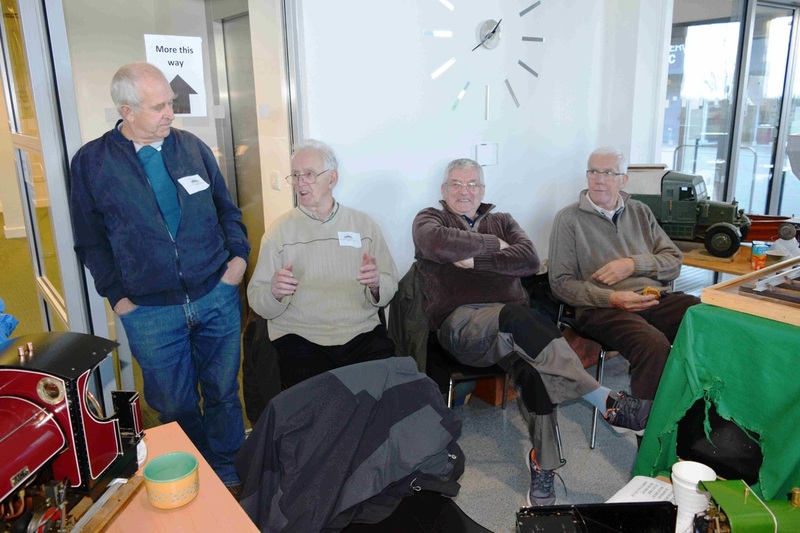 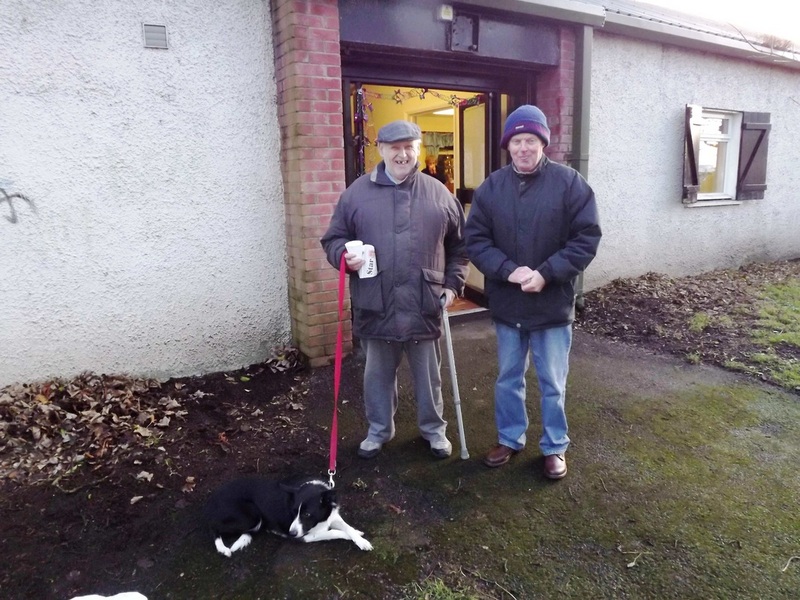 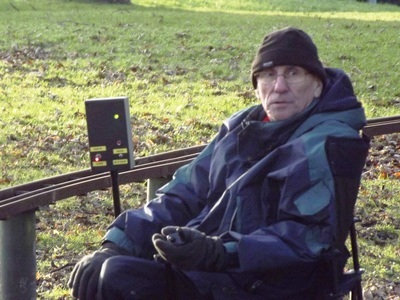 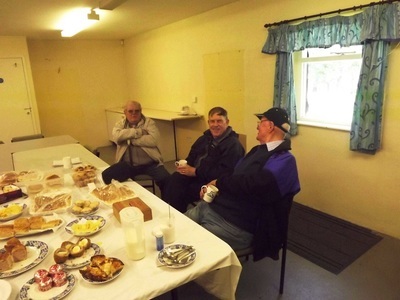 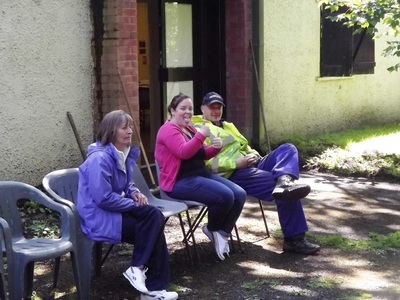 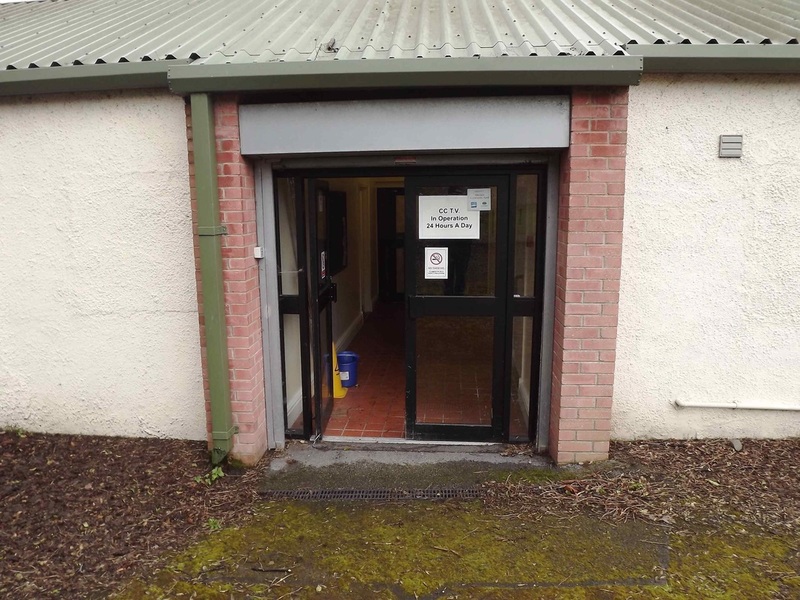 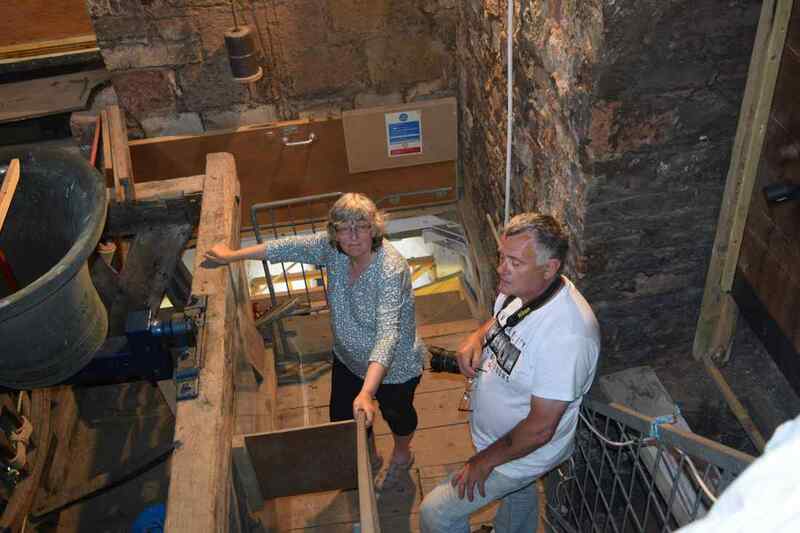 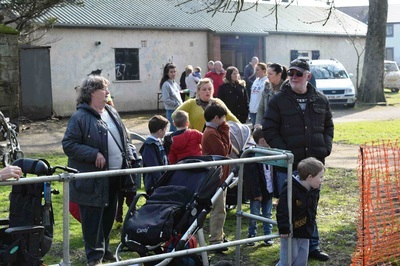 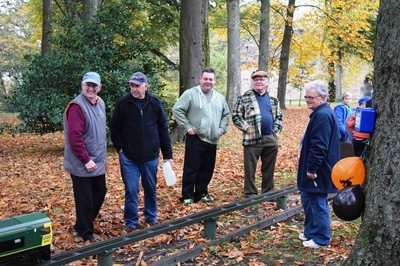 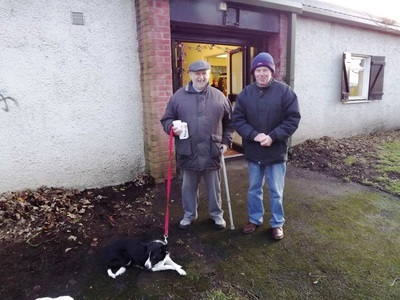 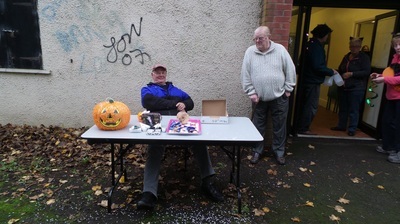 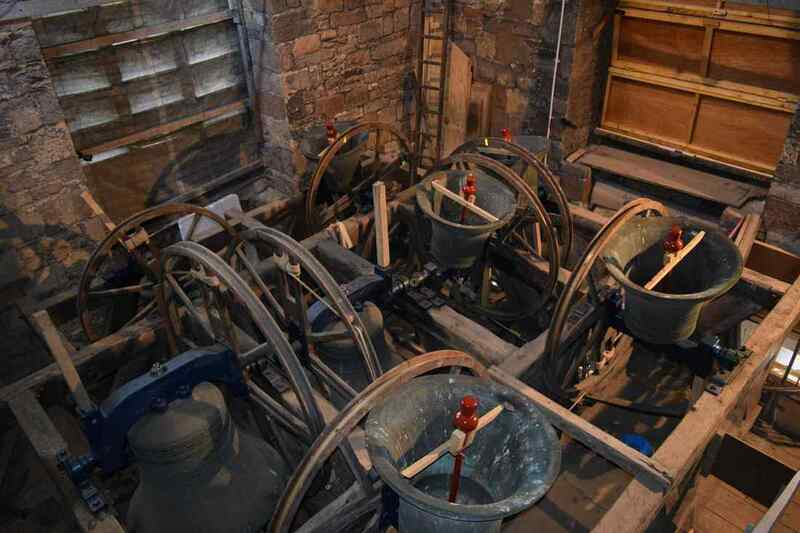 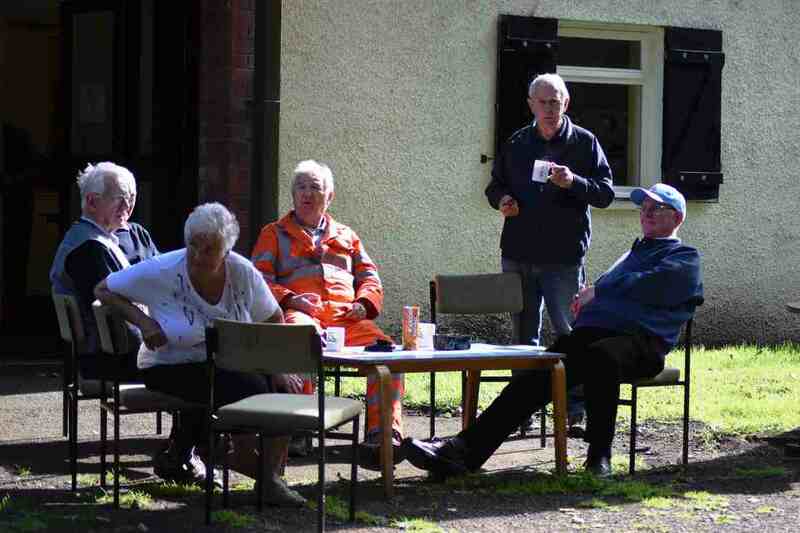 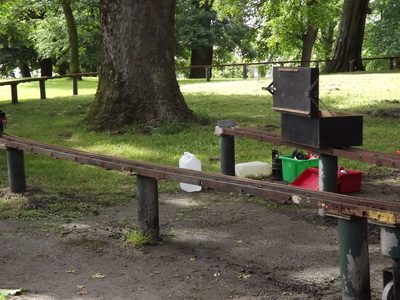 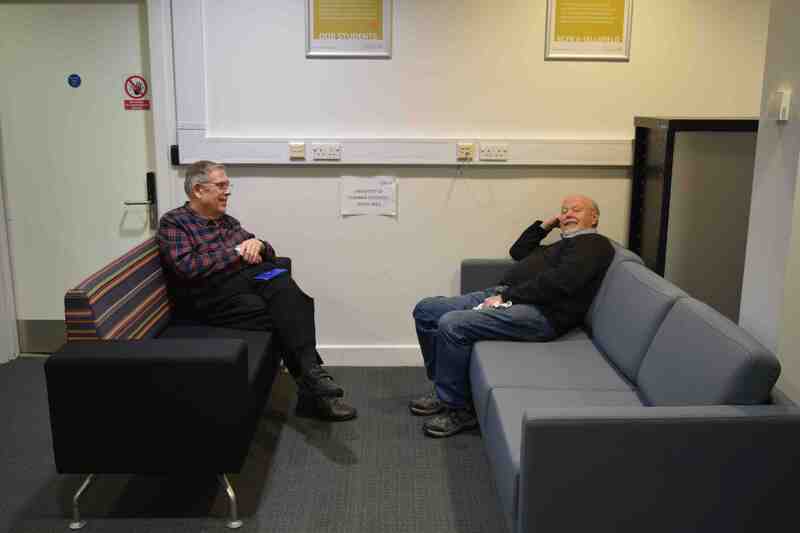 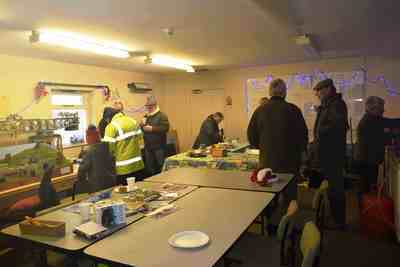 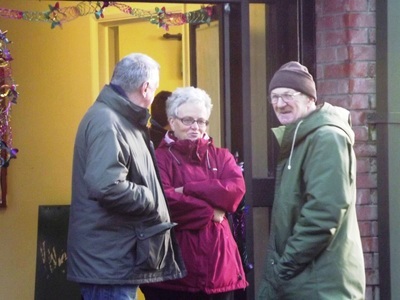 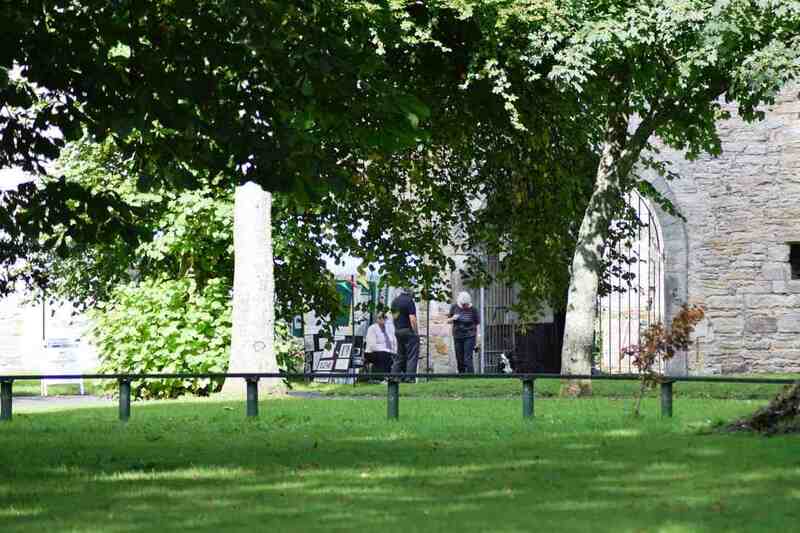 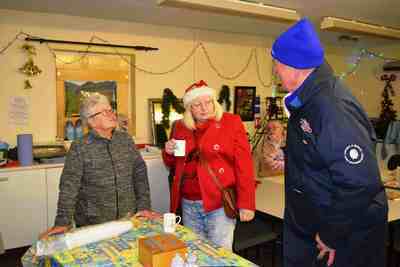 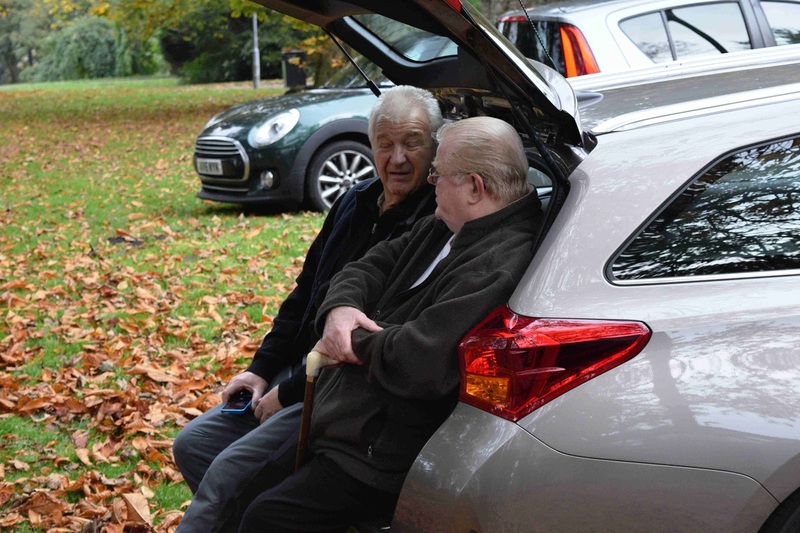 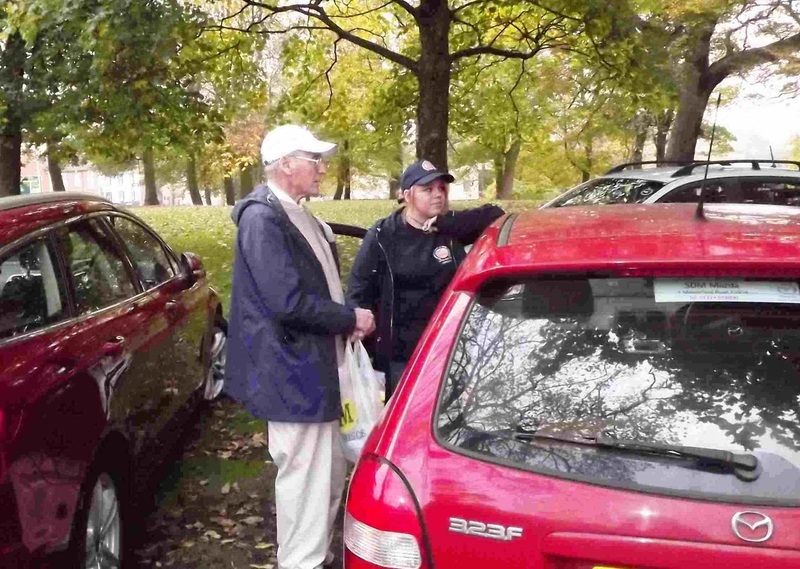 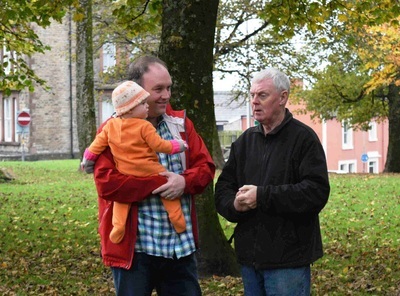 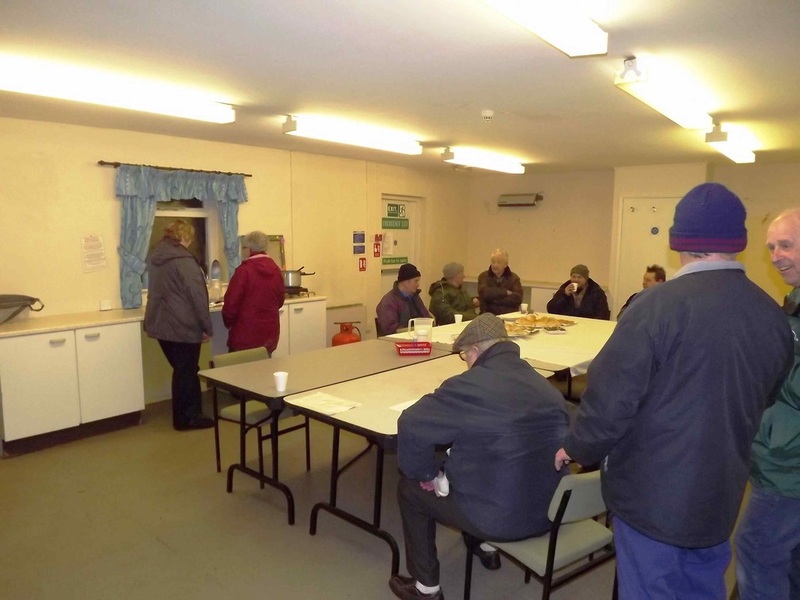 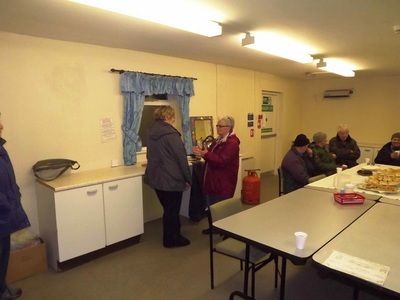 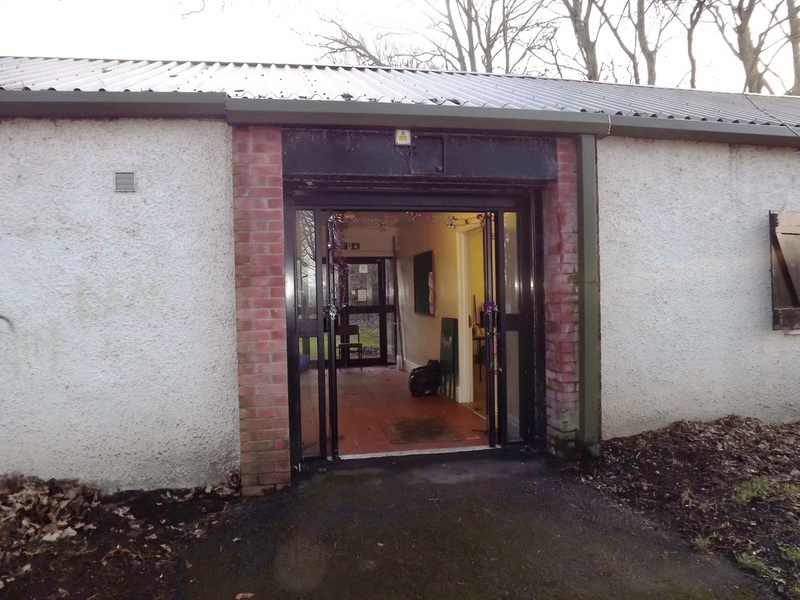 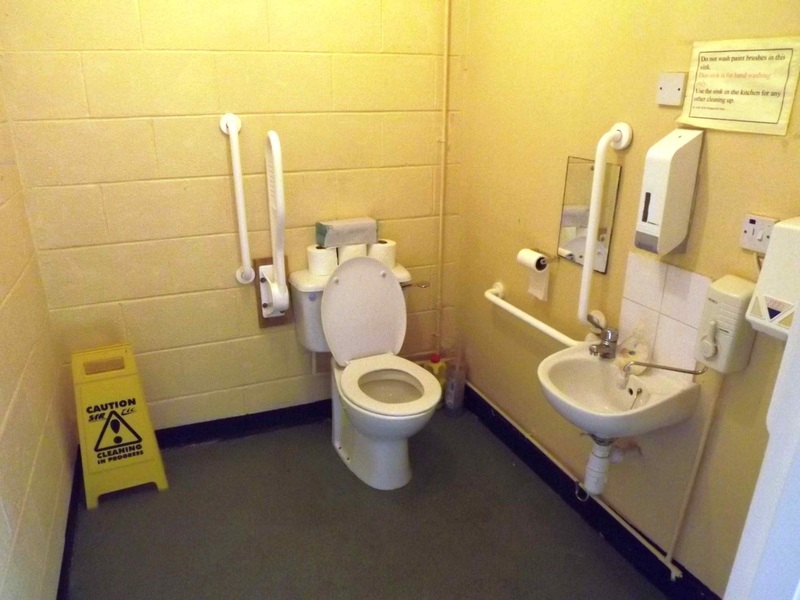 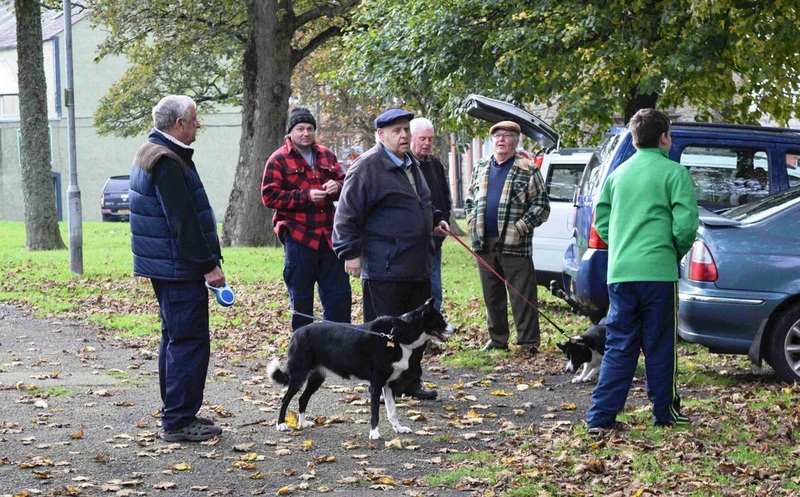 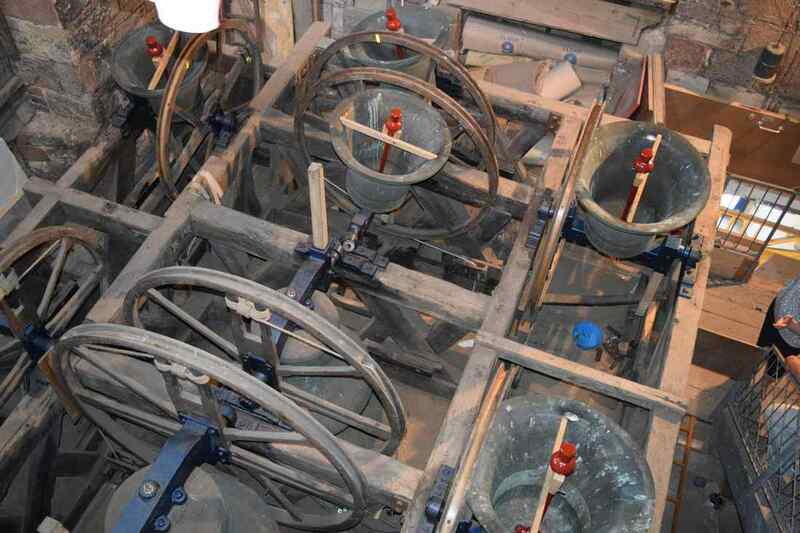 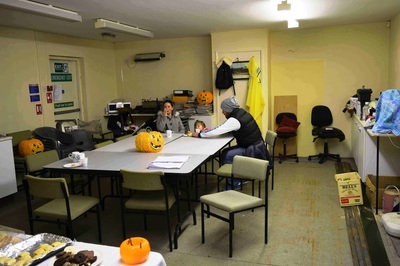 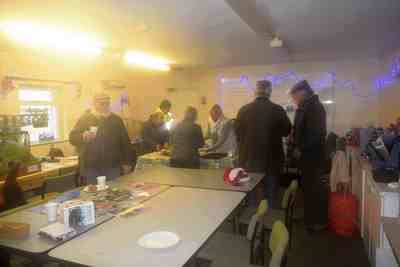 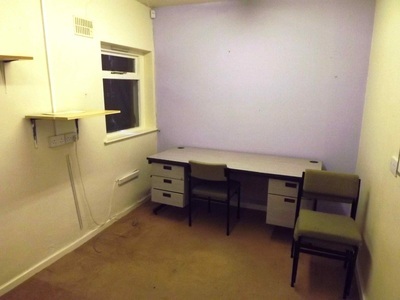 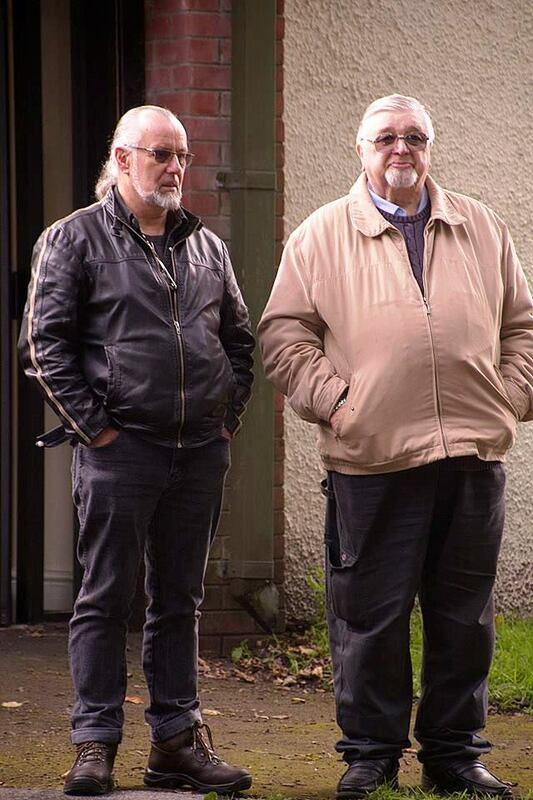 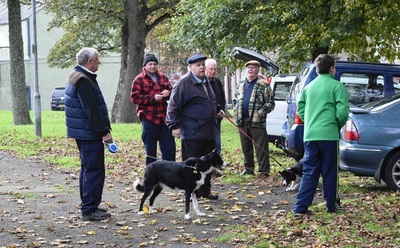 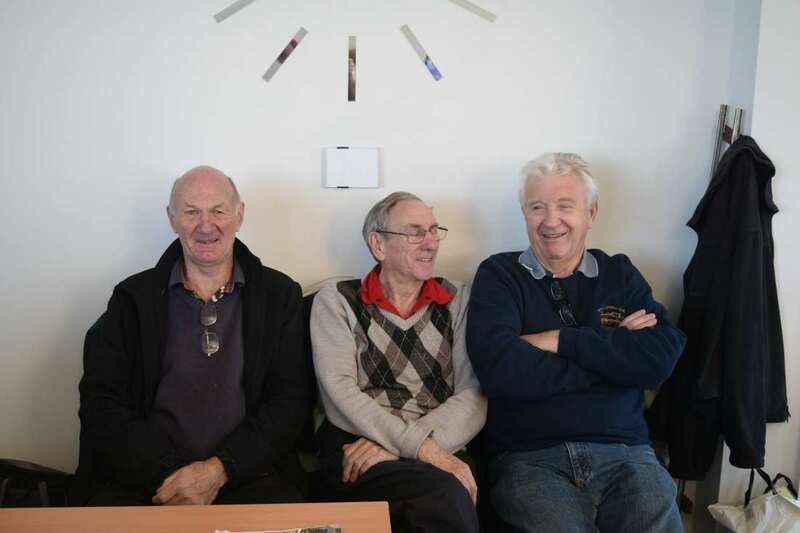 The clubs 'Simplex' rebuilt thanks to our club member Peter Murray. 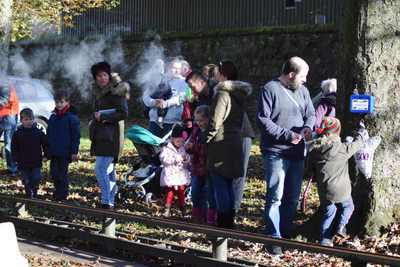 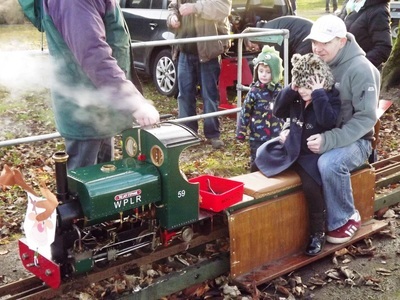 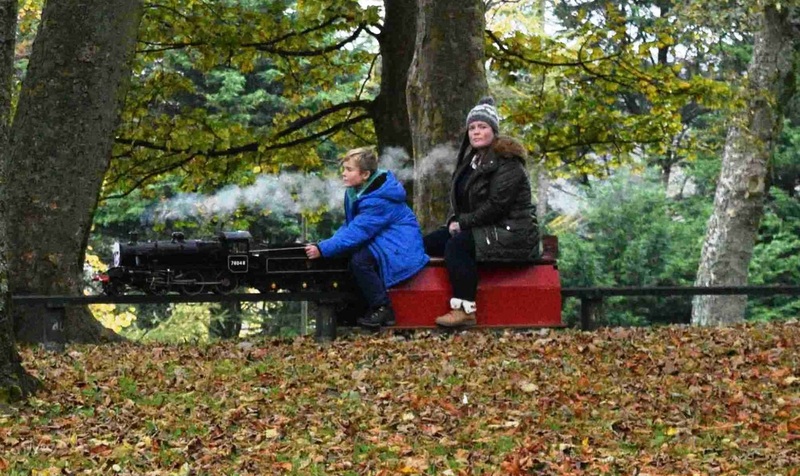 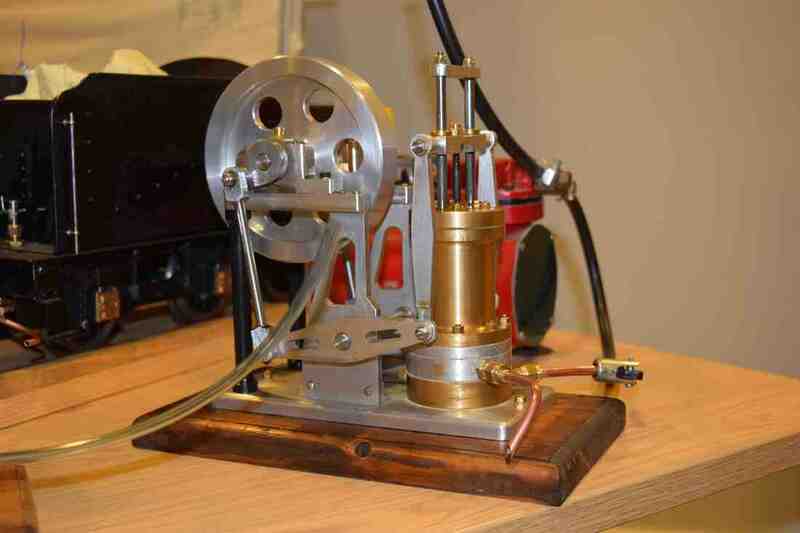 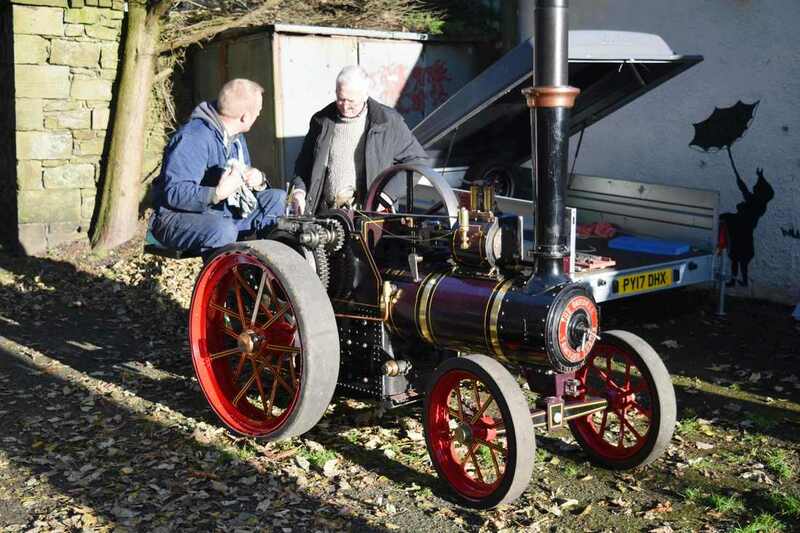 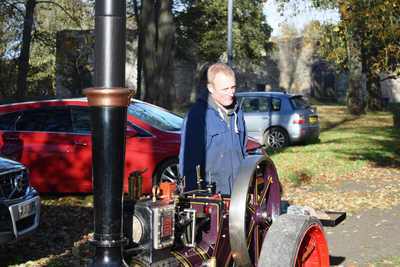 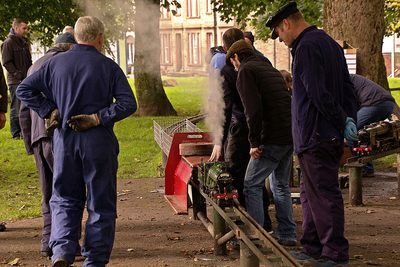 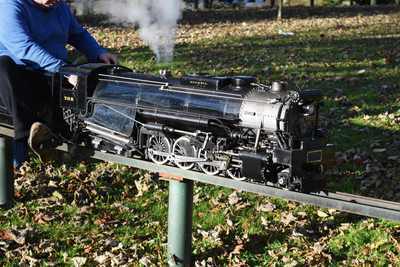 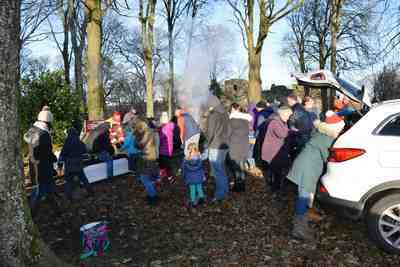 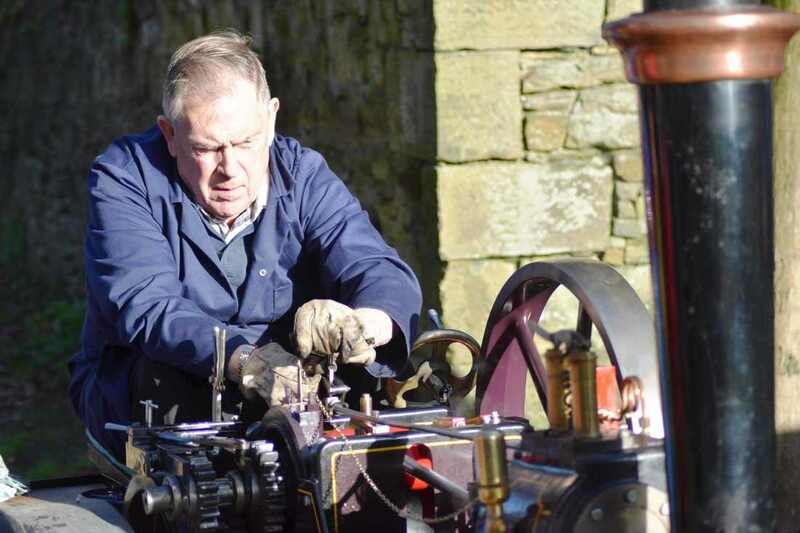 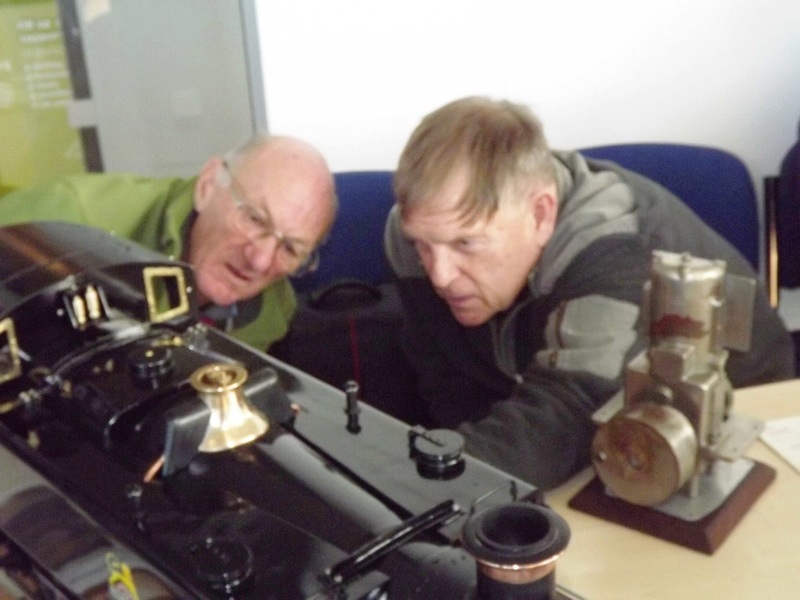 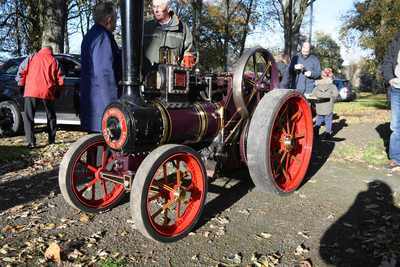 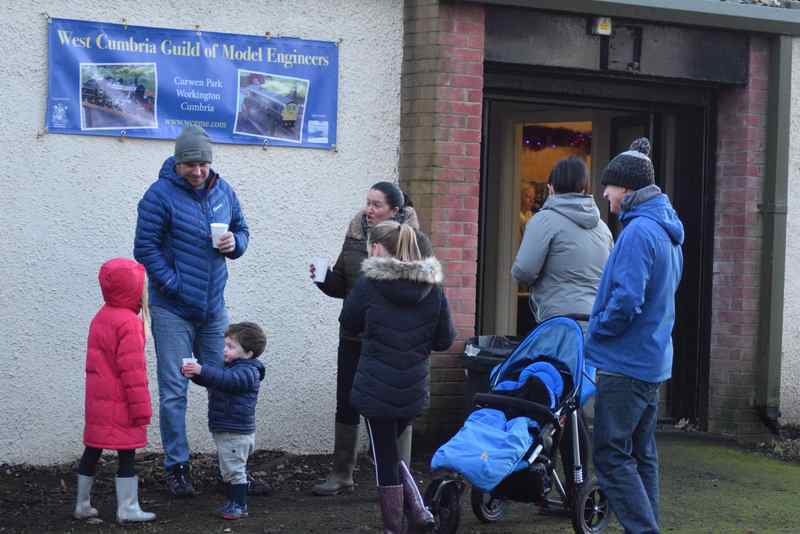 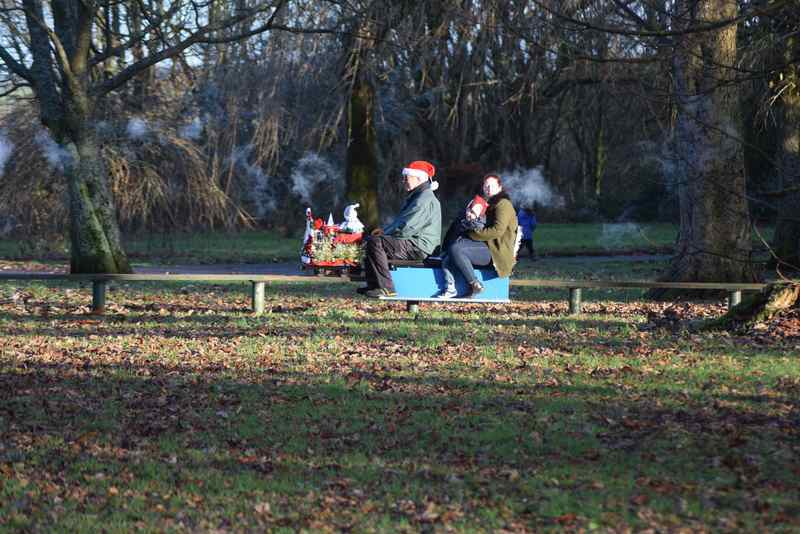 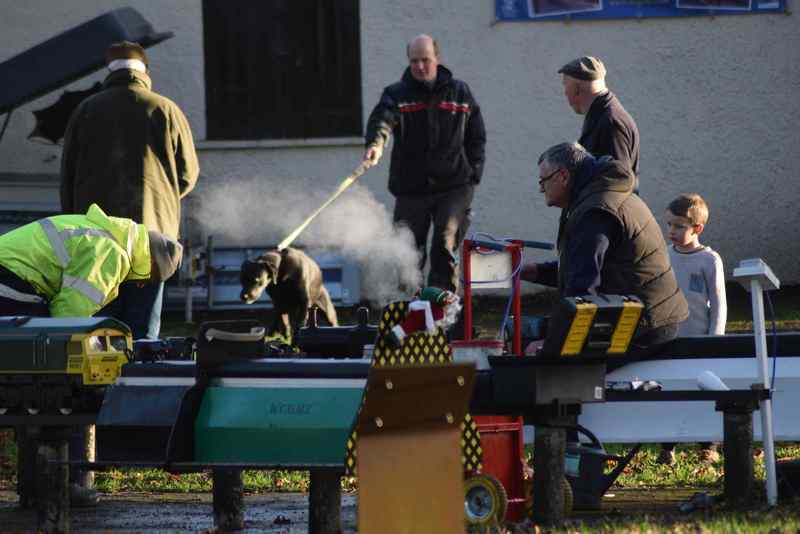 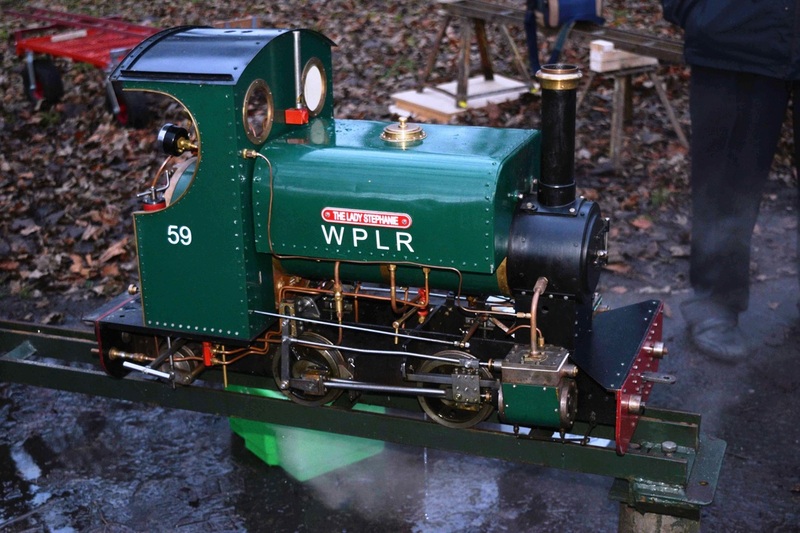 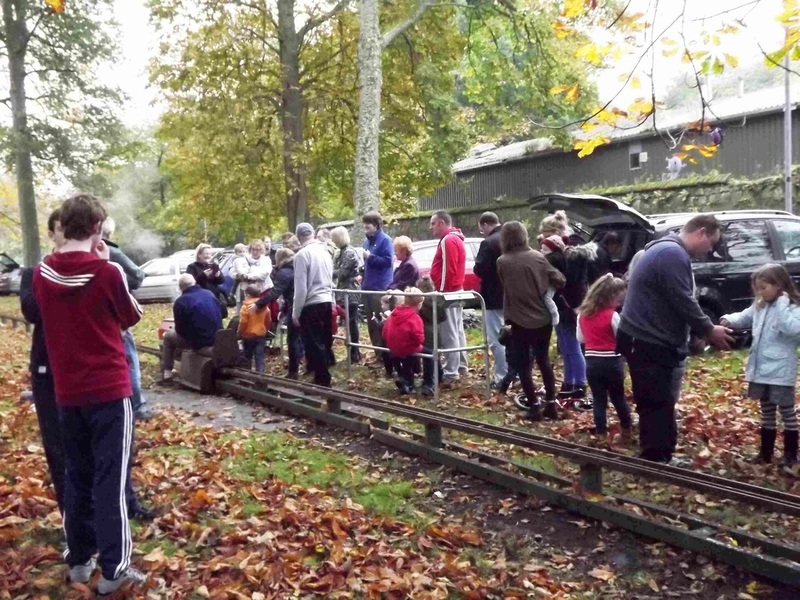 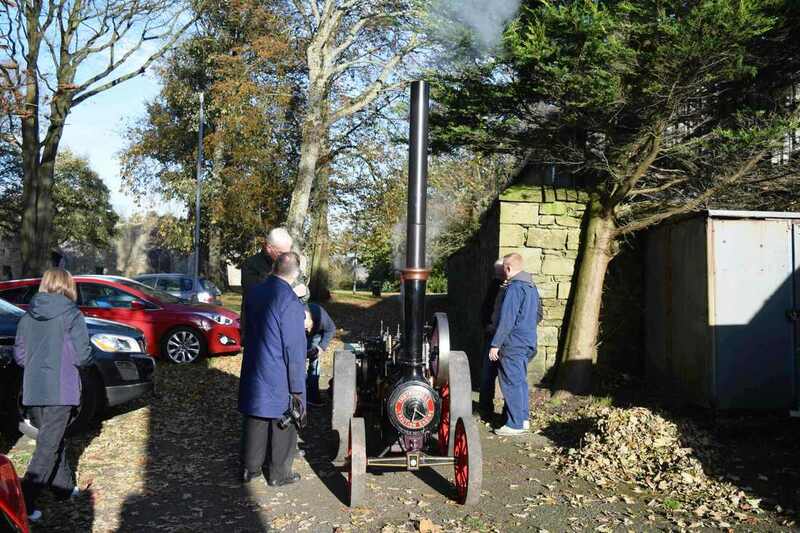 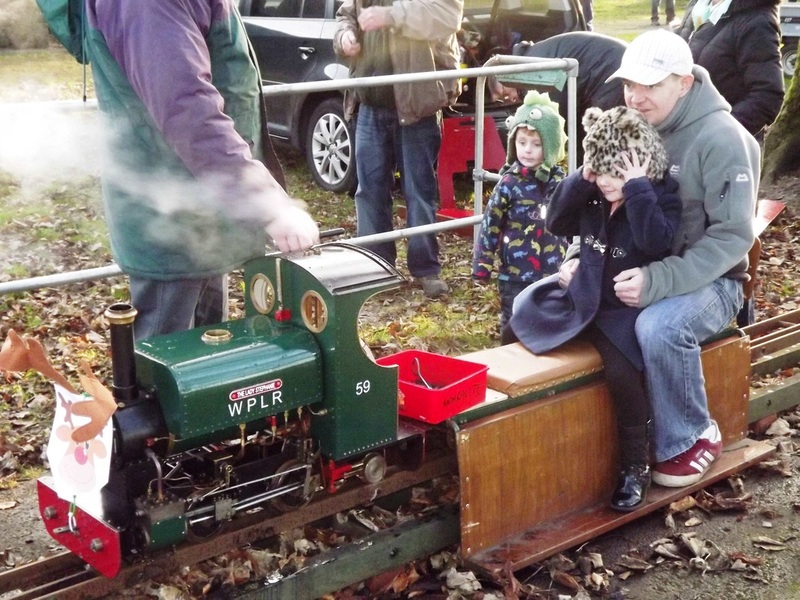 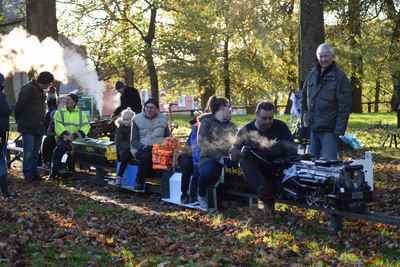 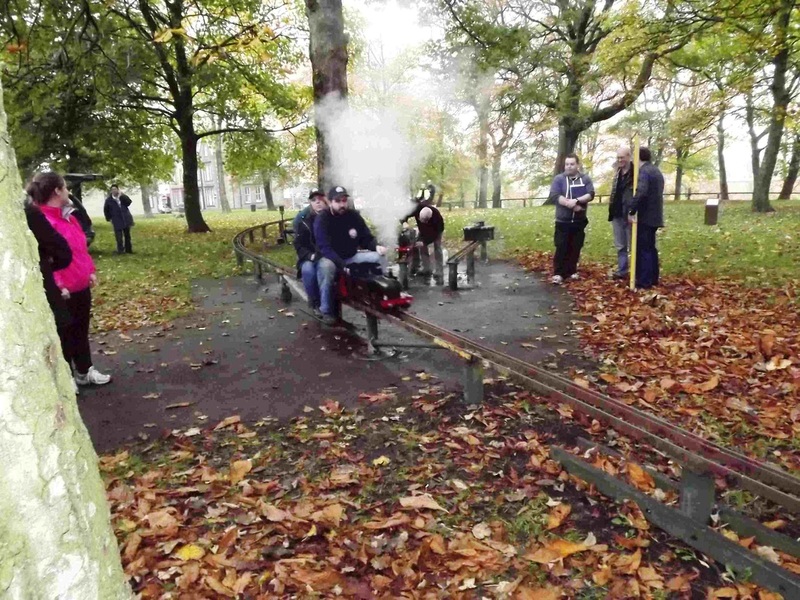 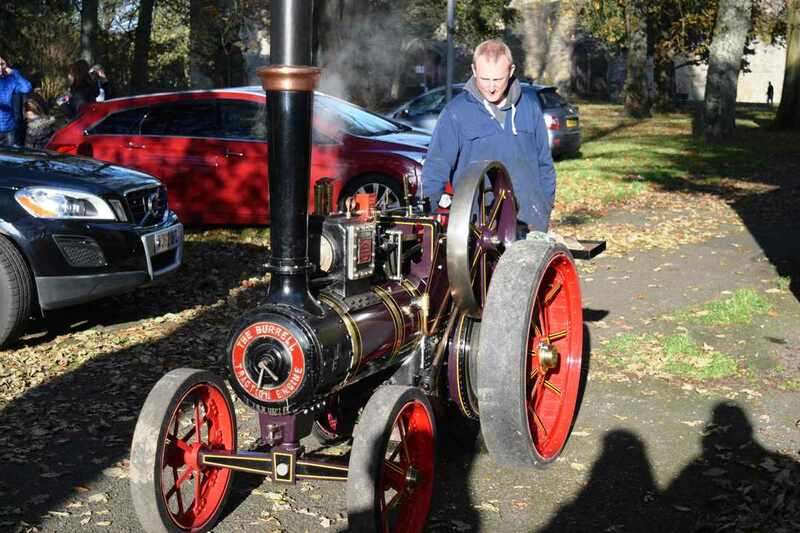 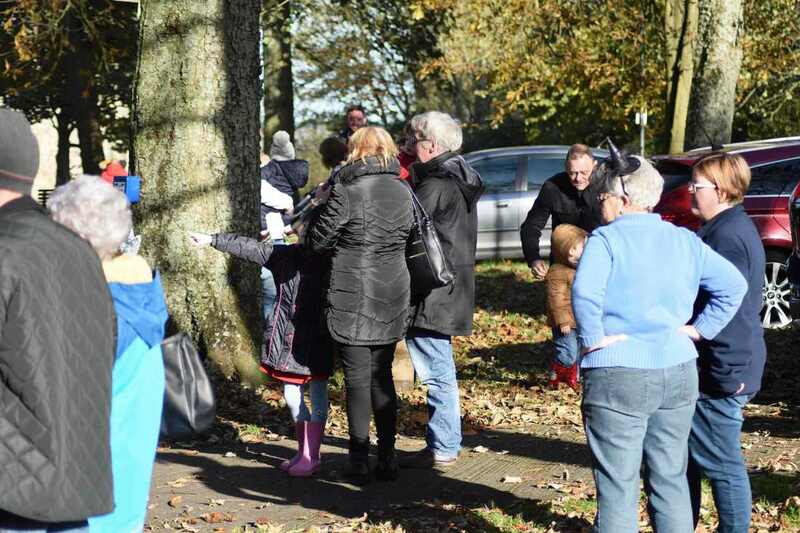 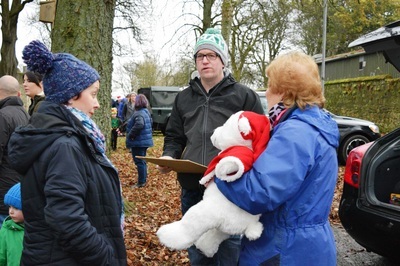 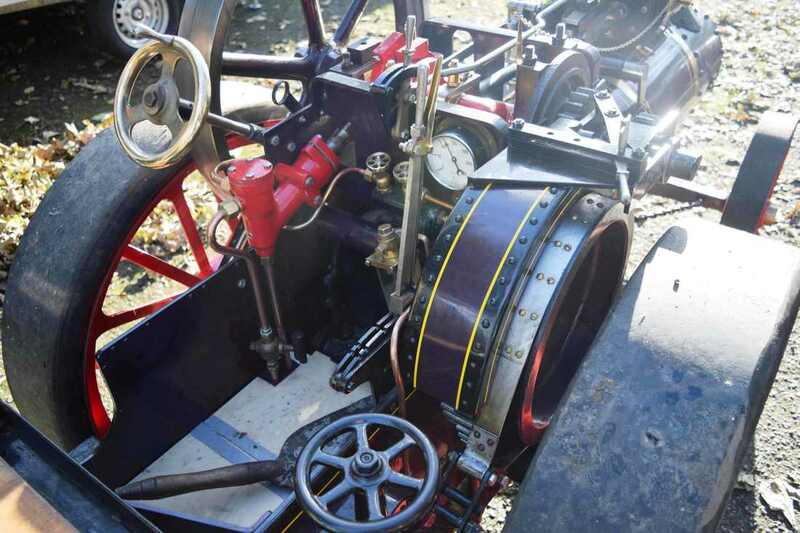 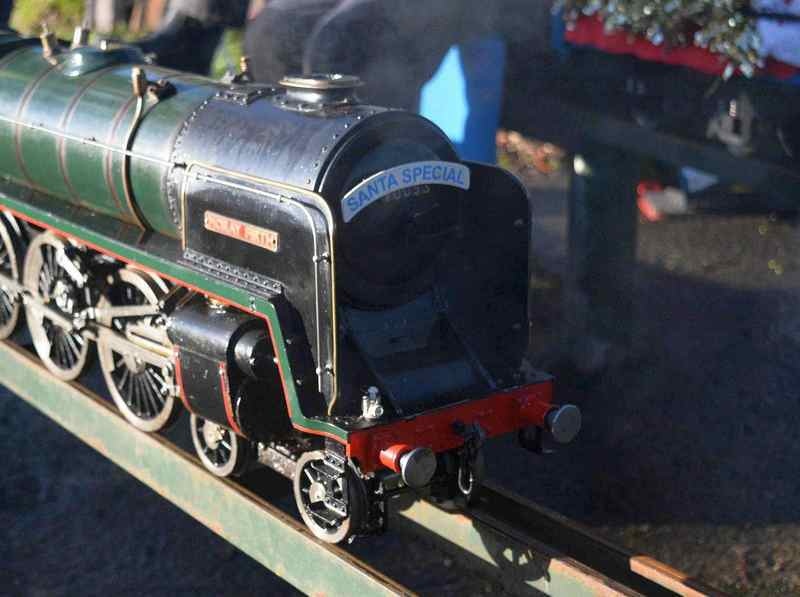 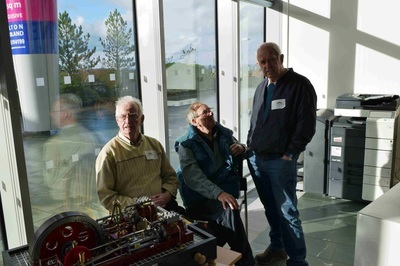 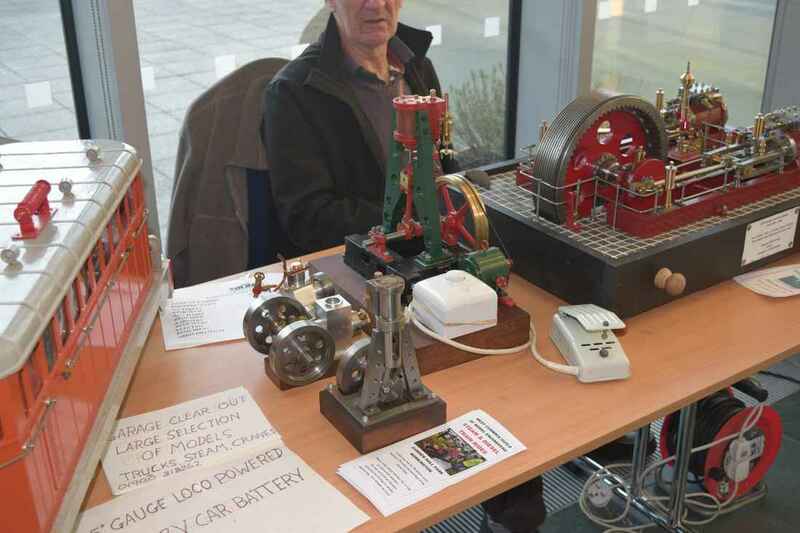 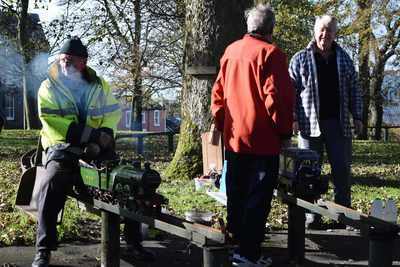 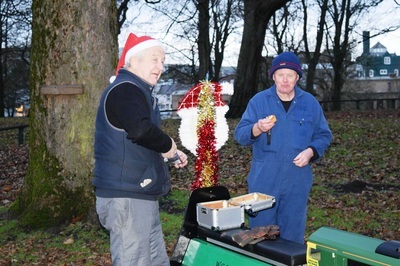 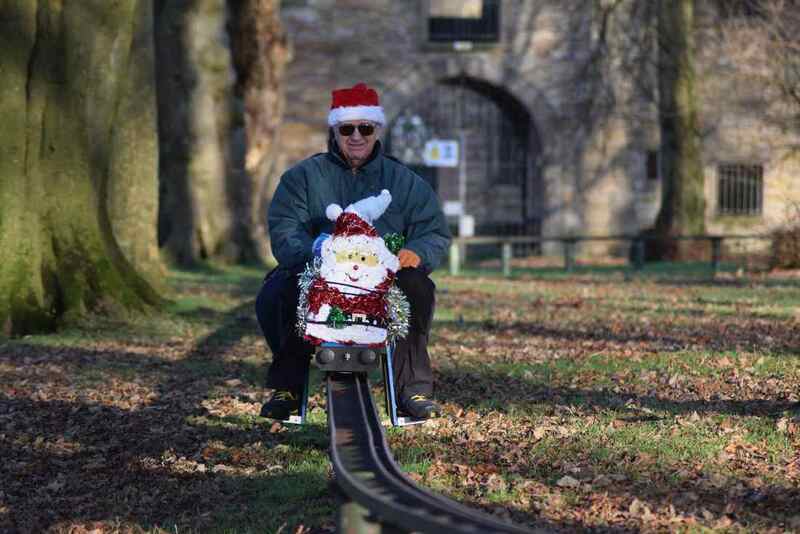 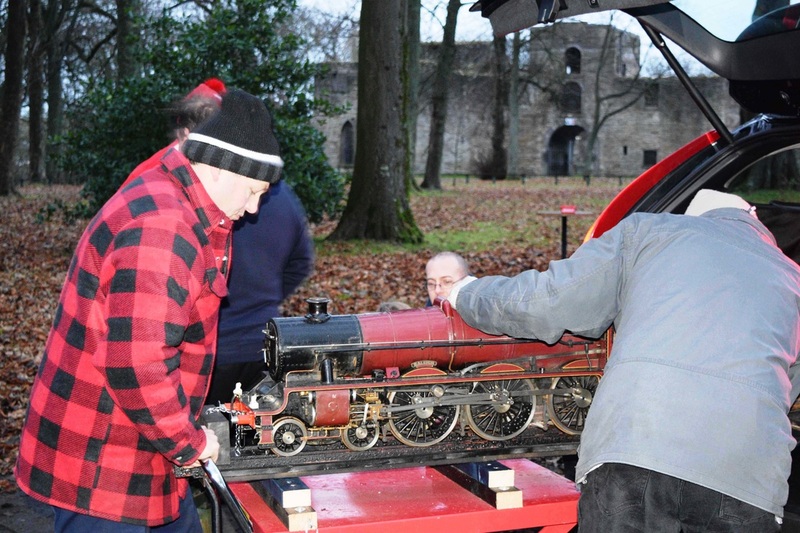 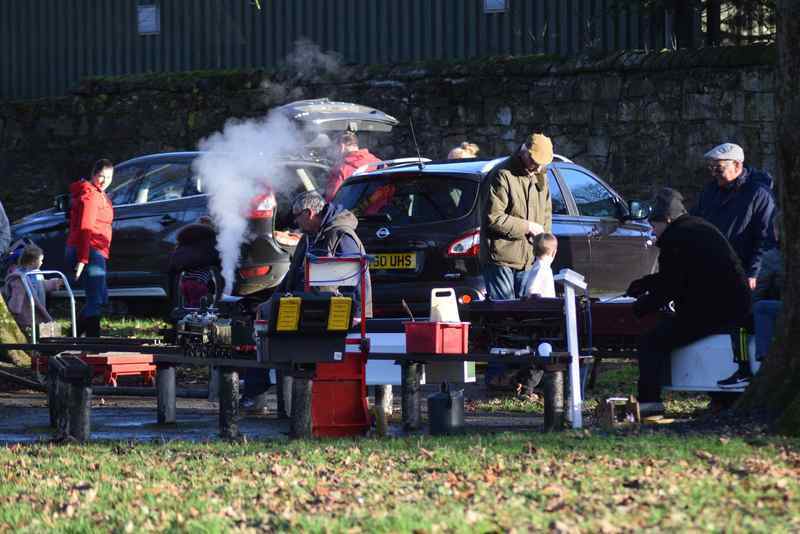 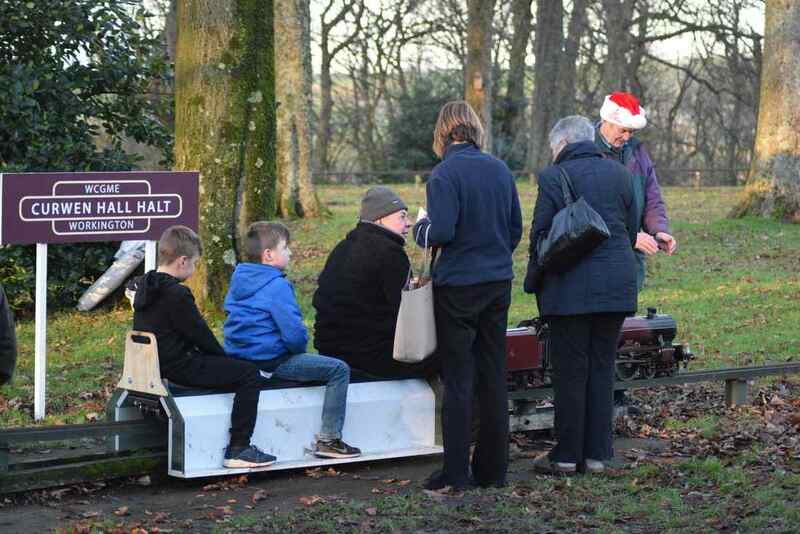 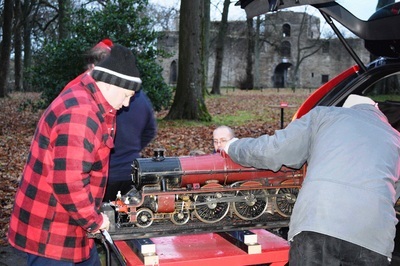 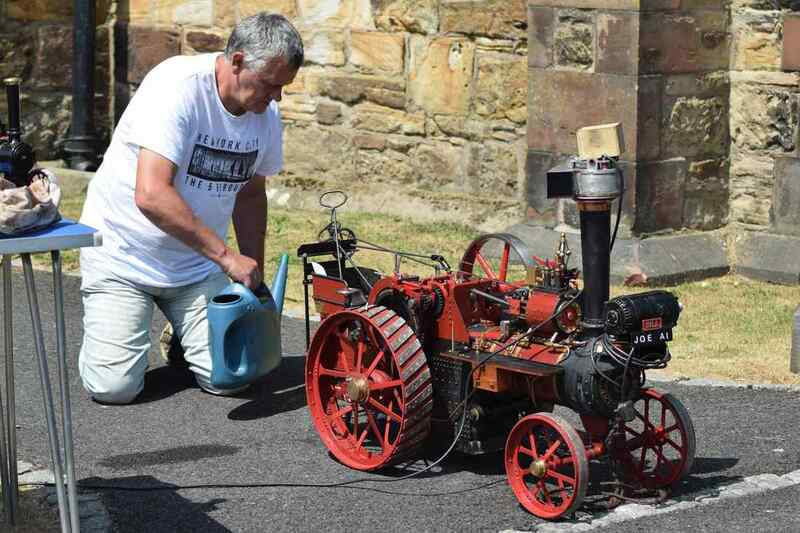 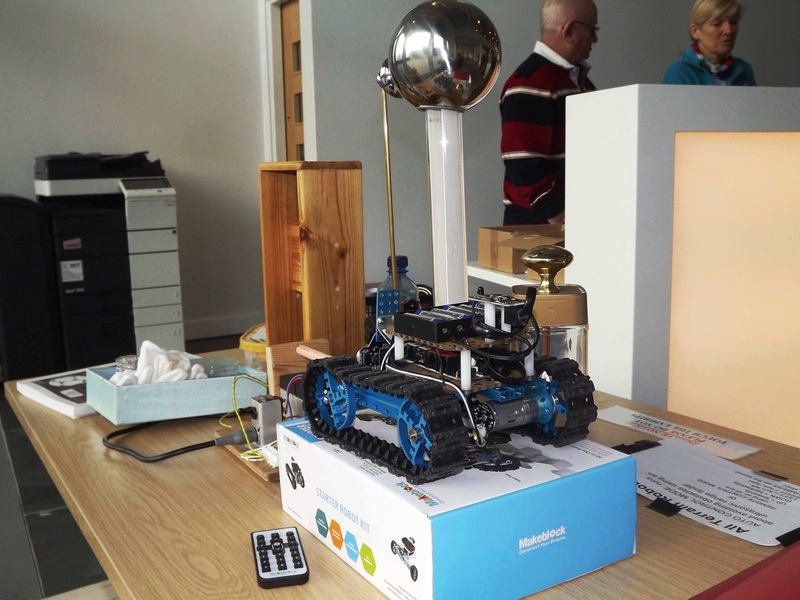 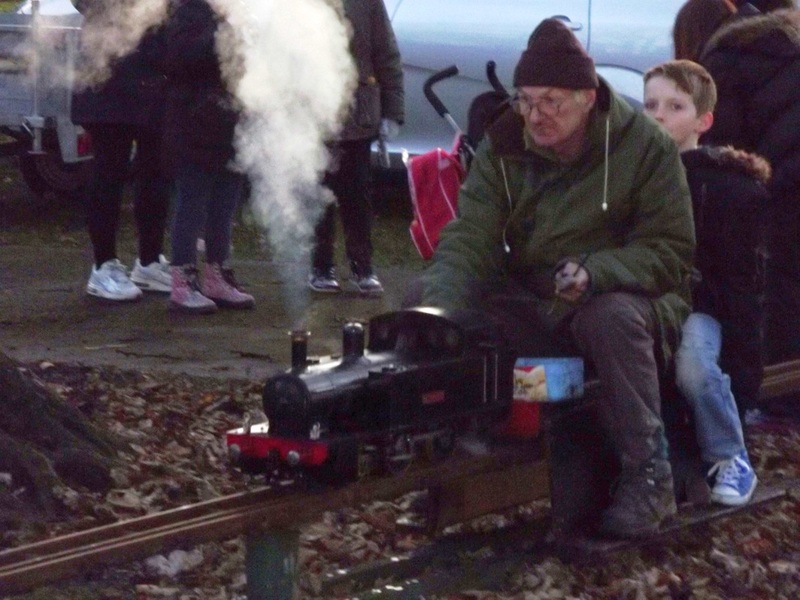 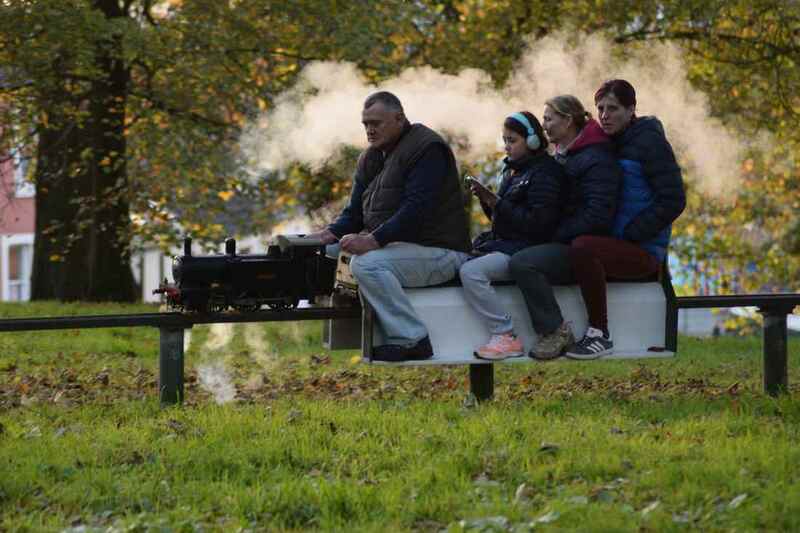 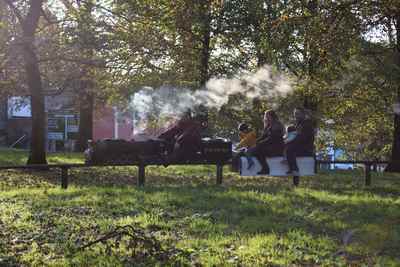 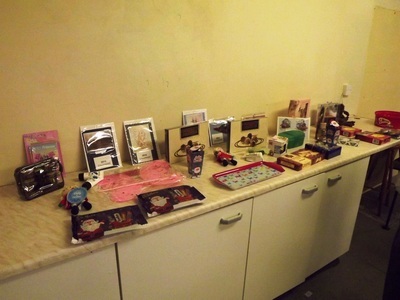 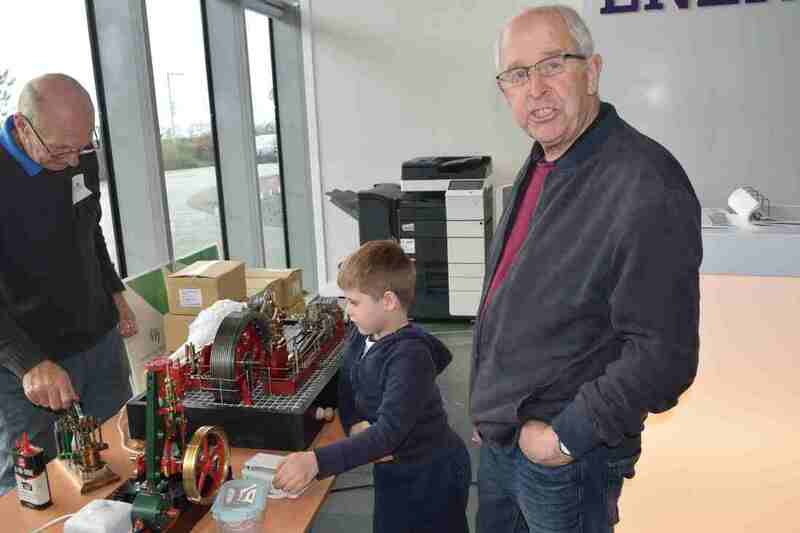 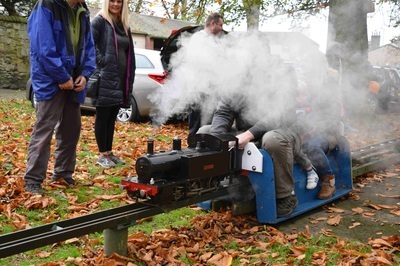 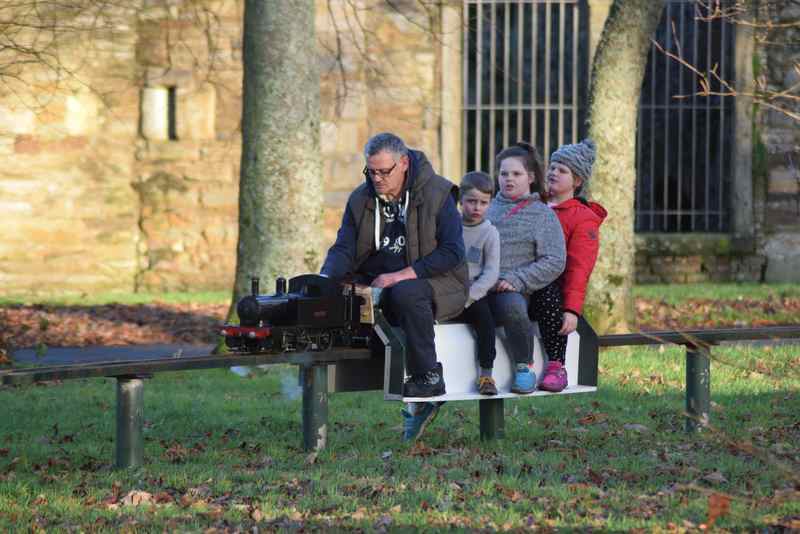 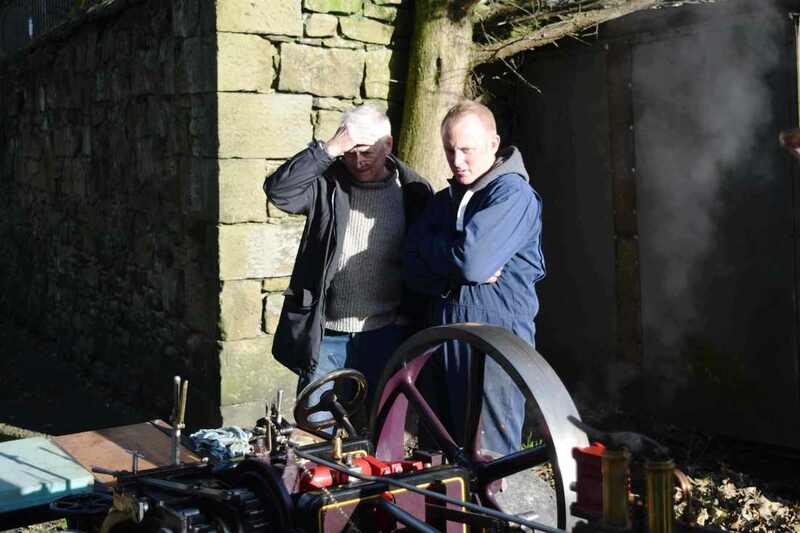 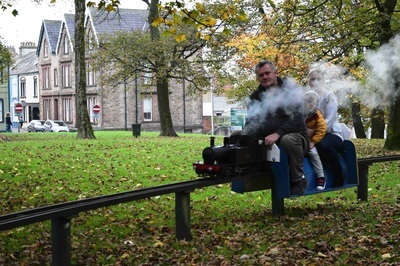 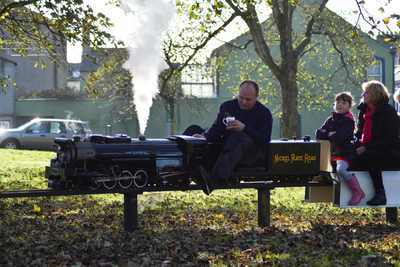 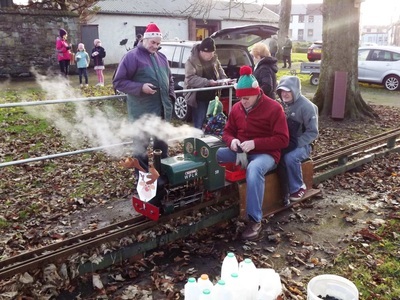 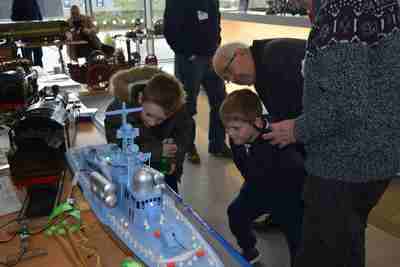 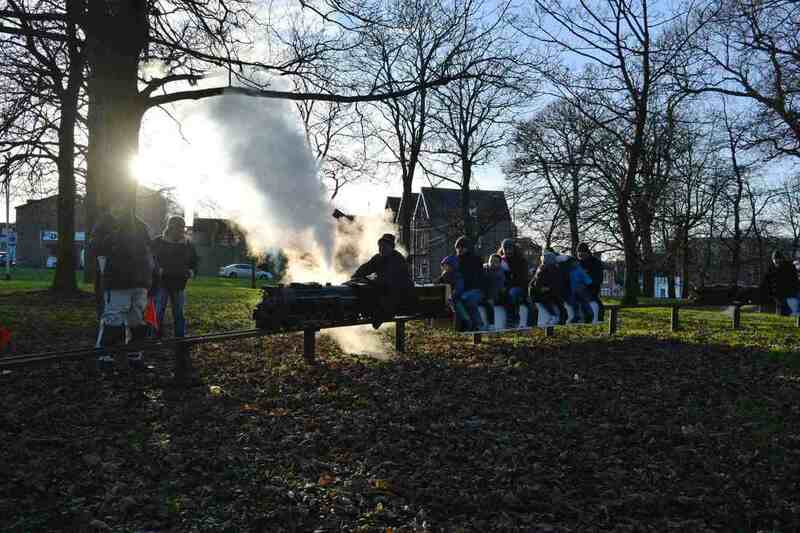 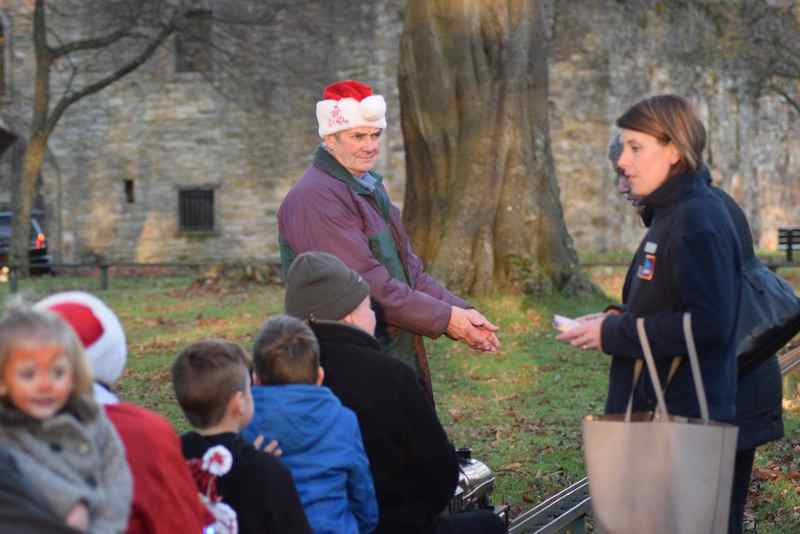 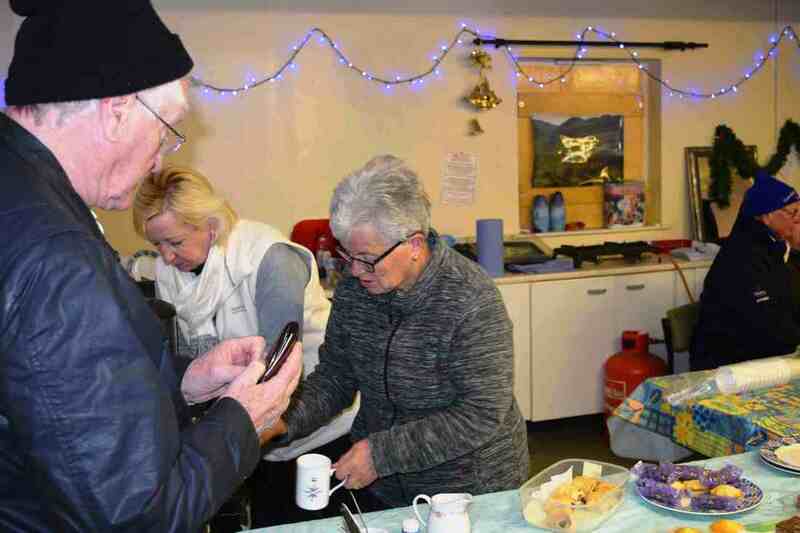 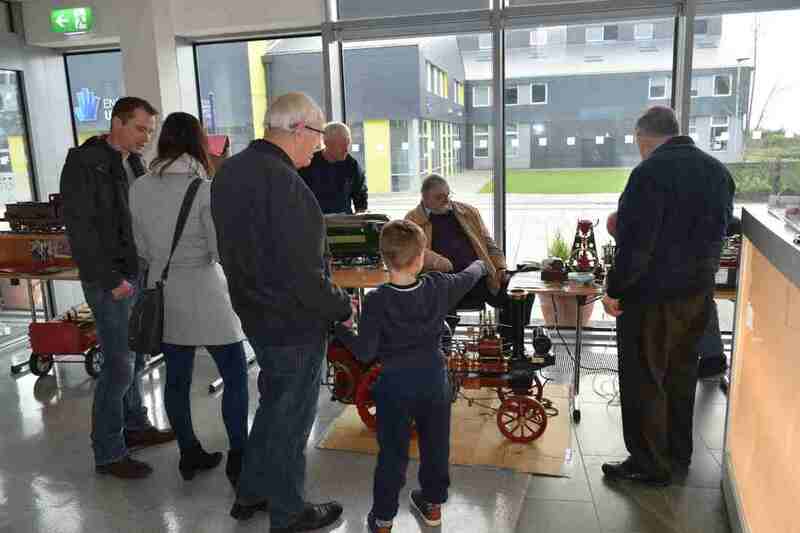 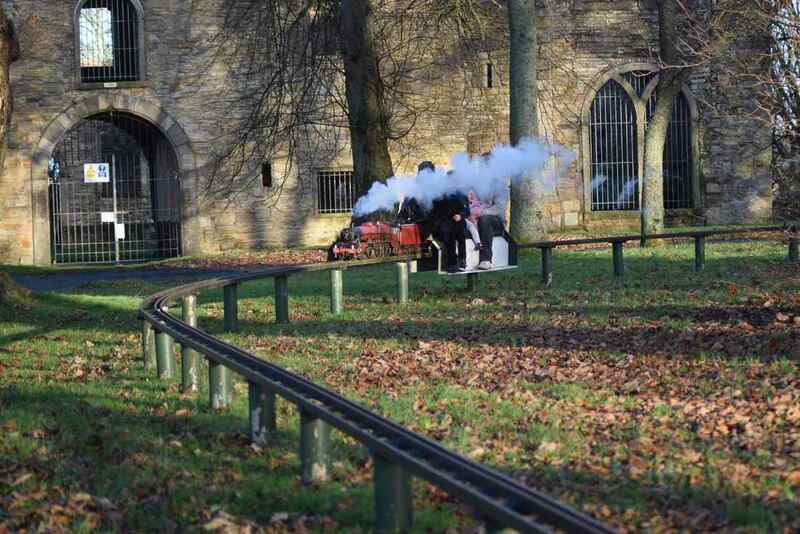 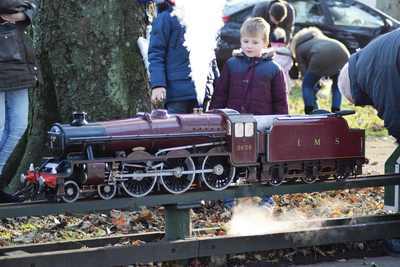 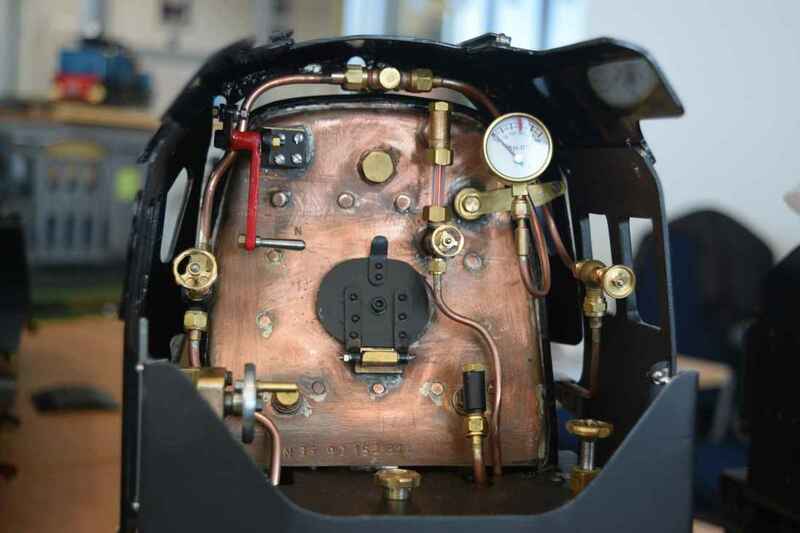 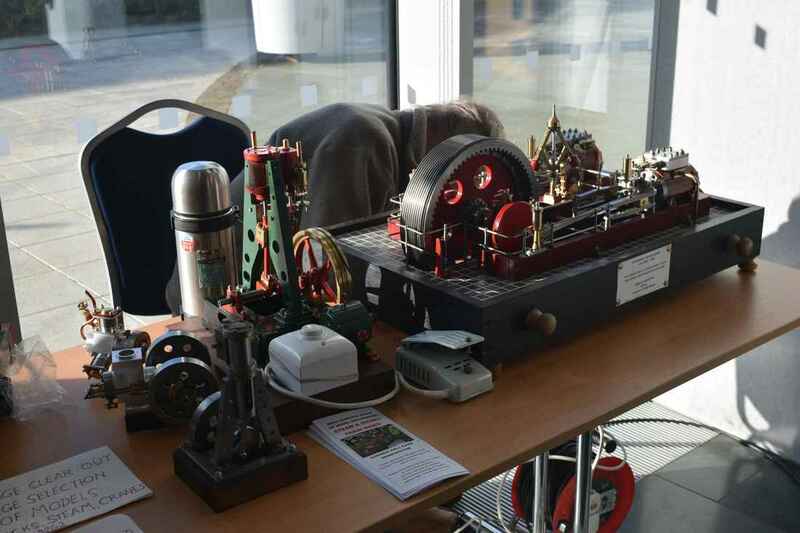 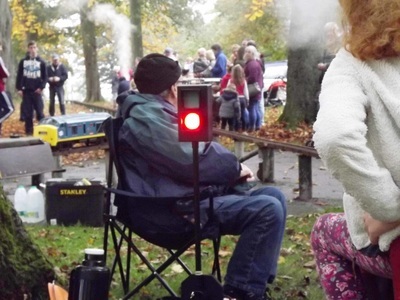 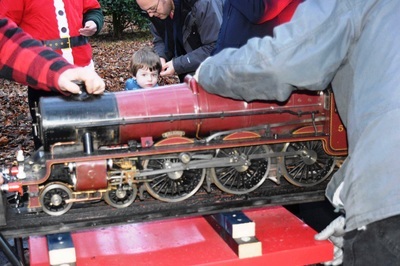 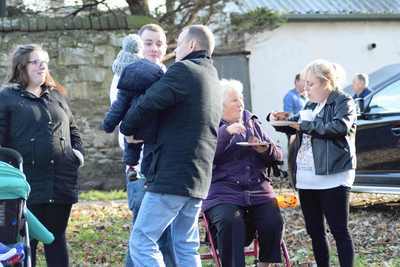 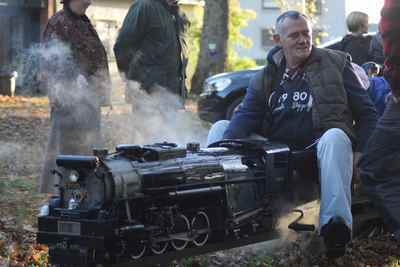 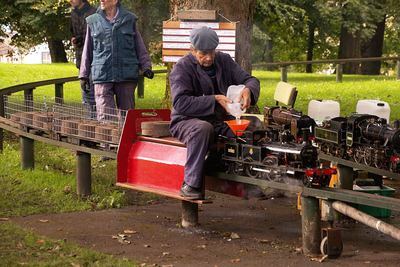 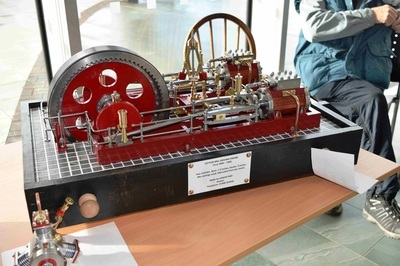 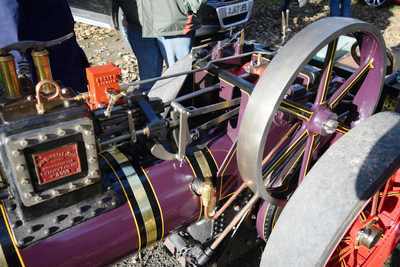 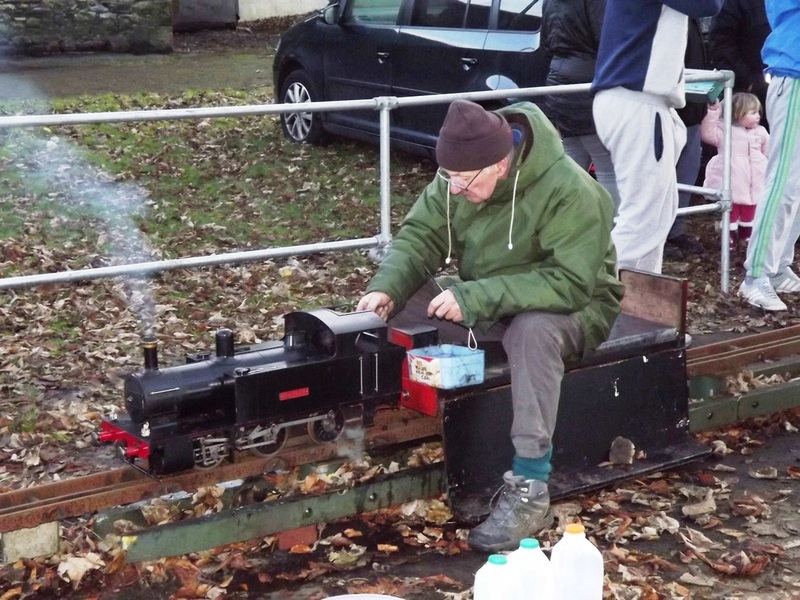 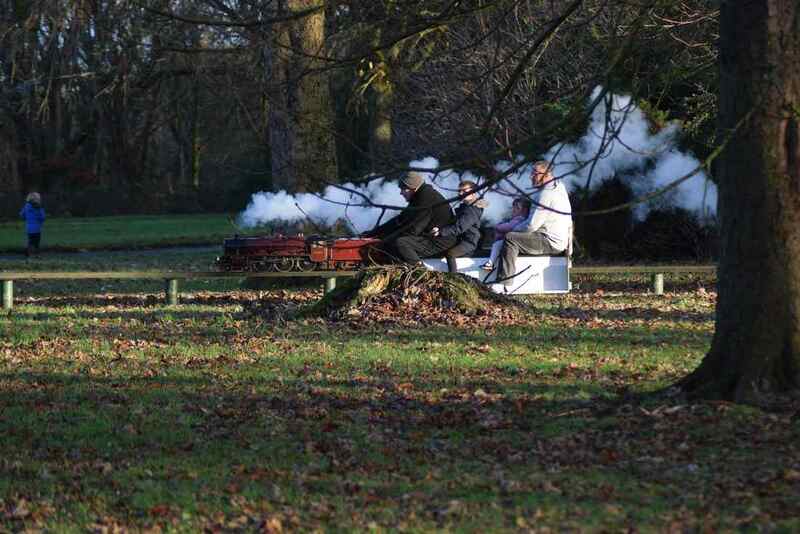 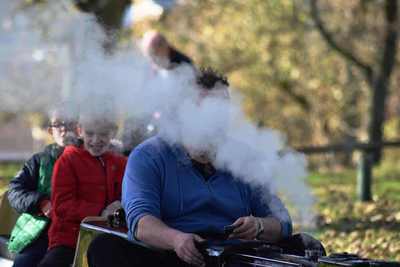 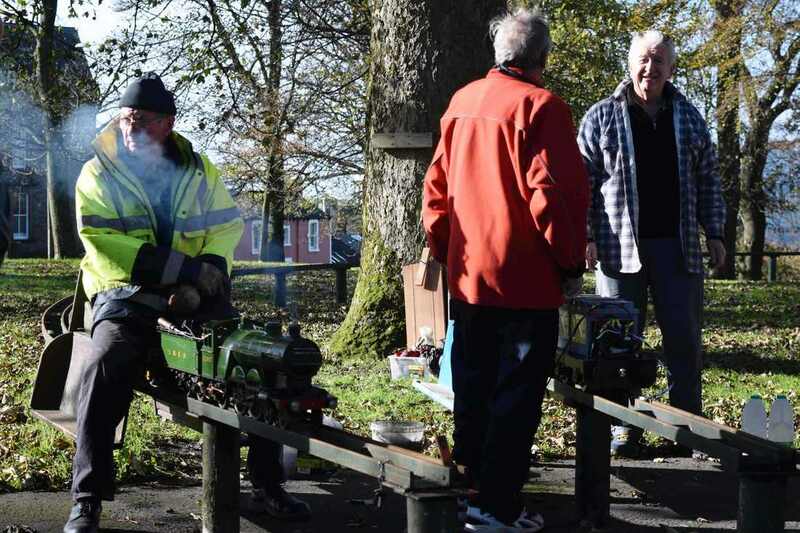 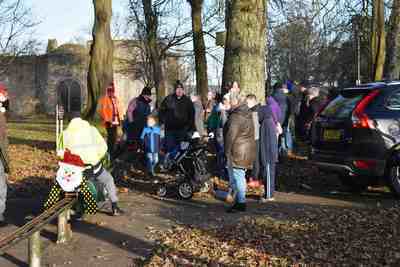 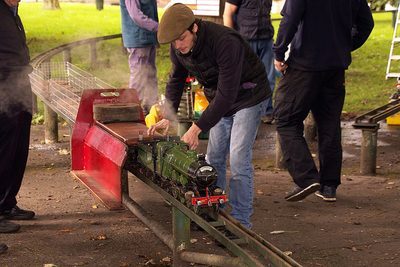 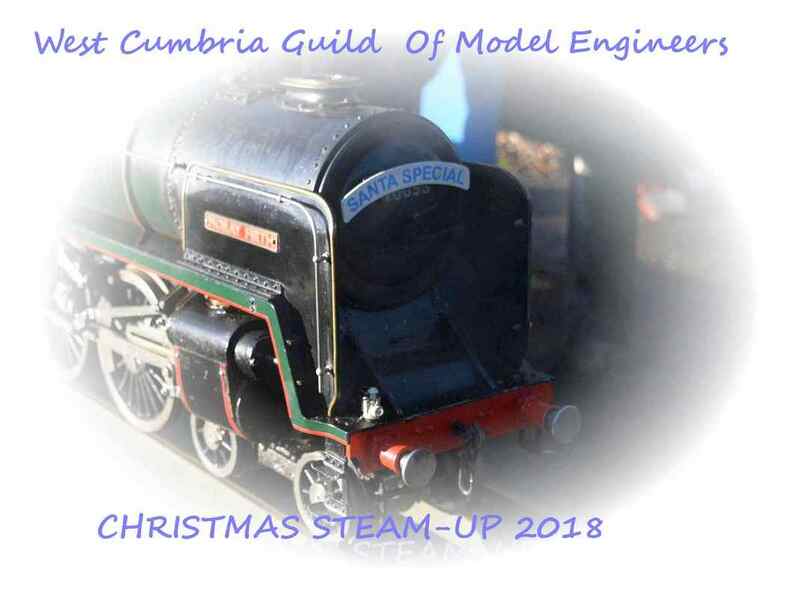 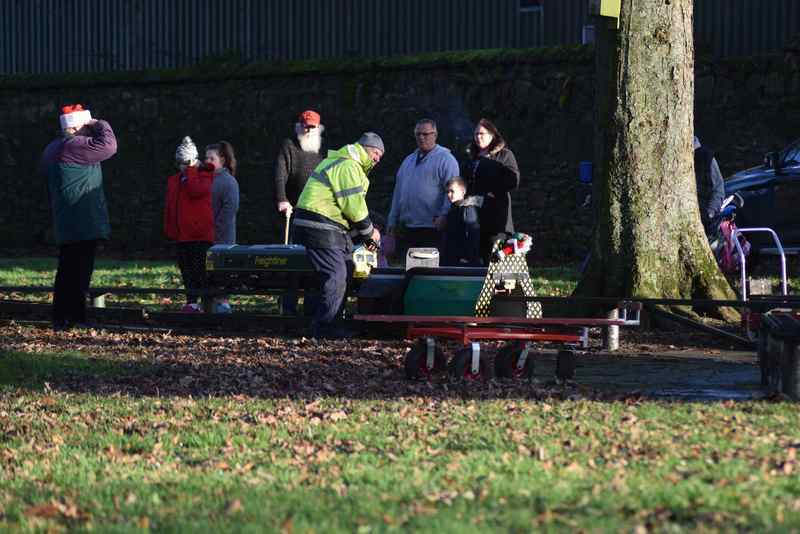 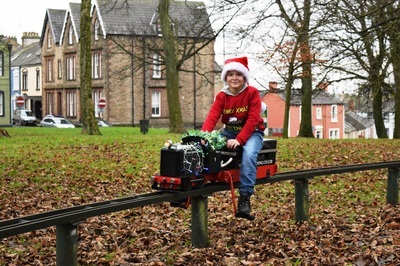 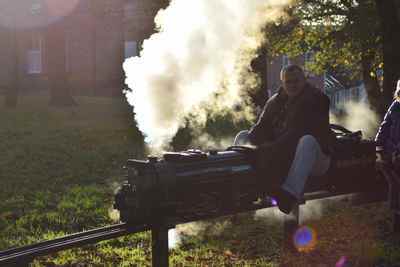 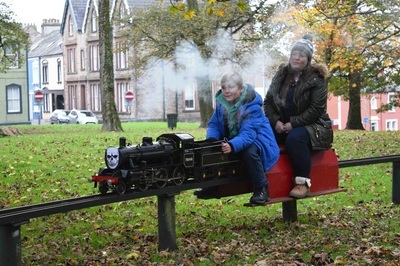 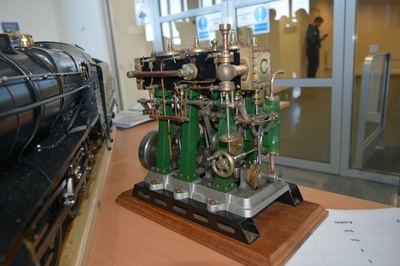 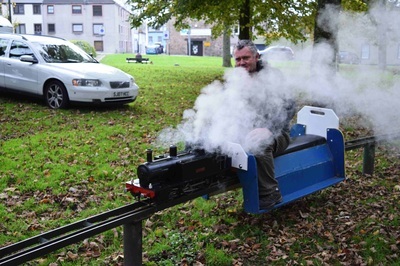 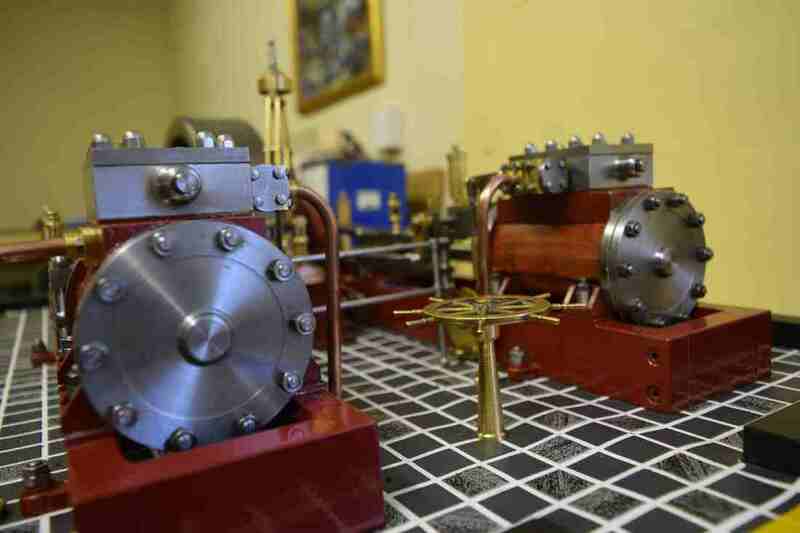 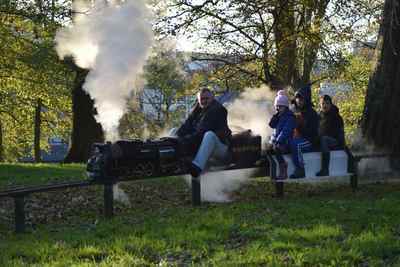 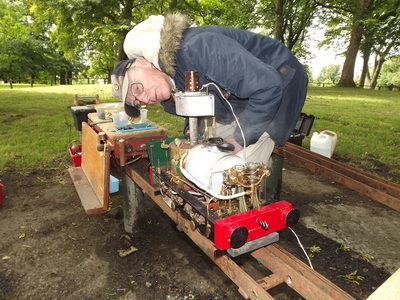 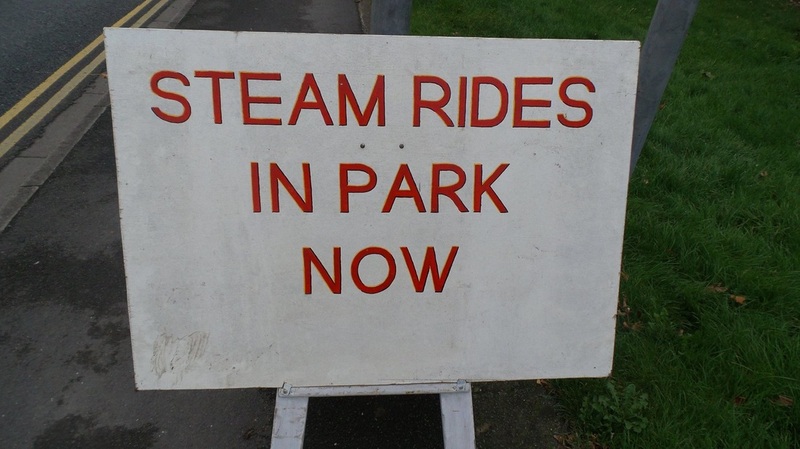 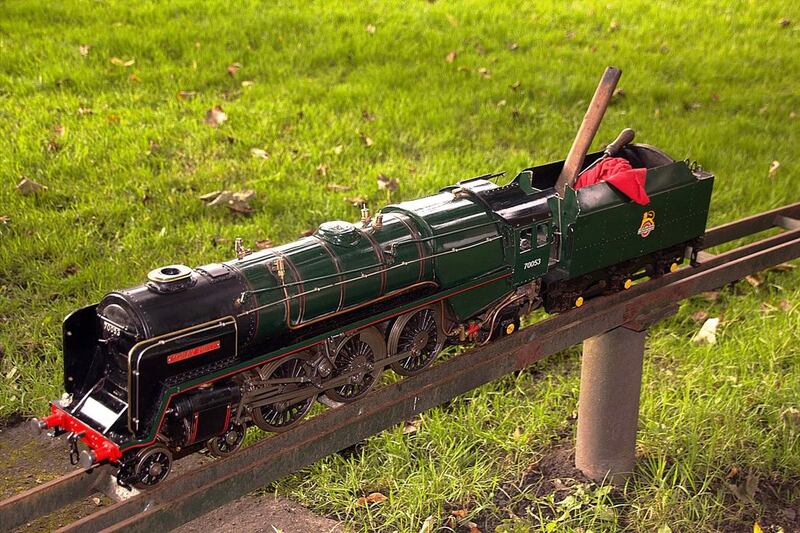 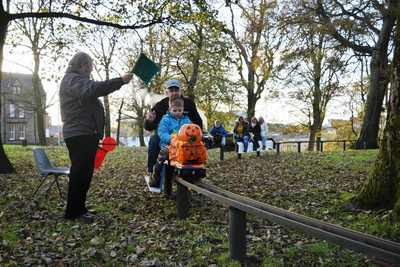 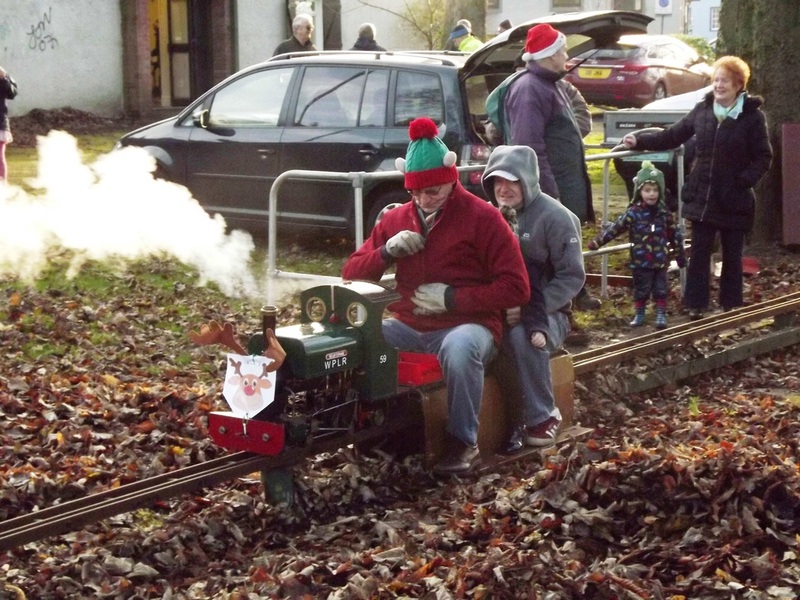 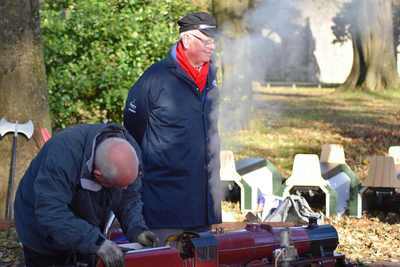 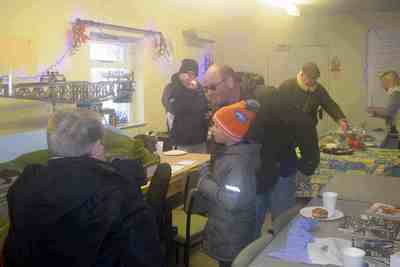 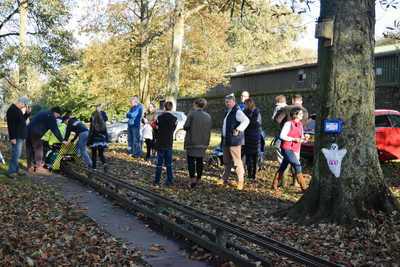 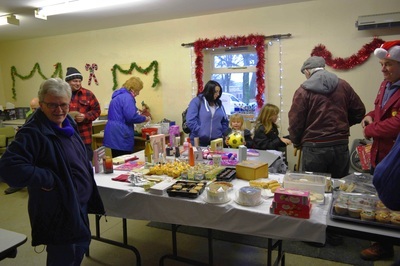 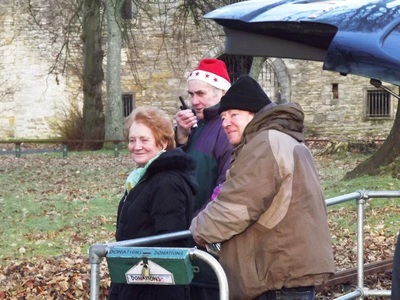 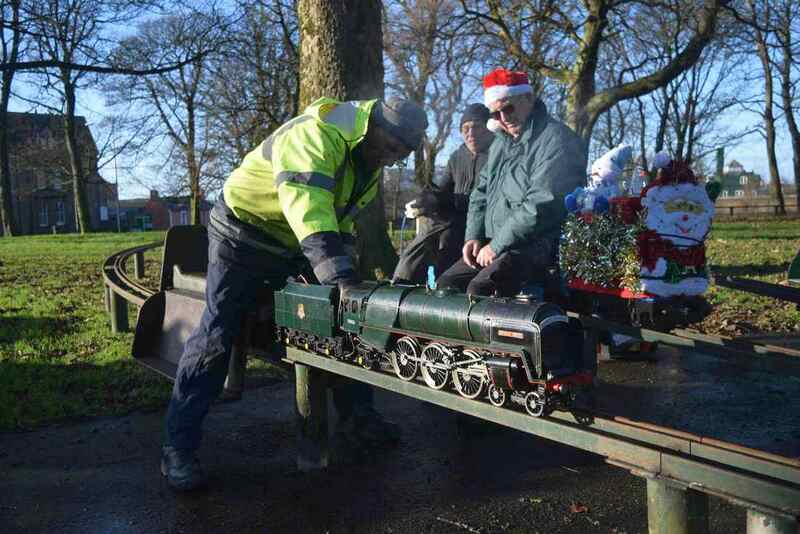 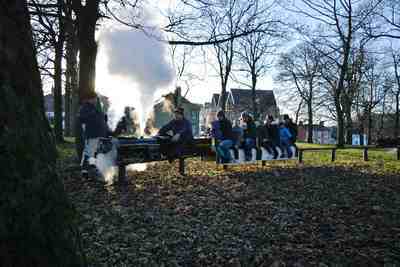 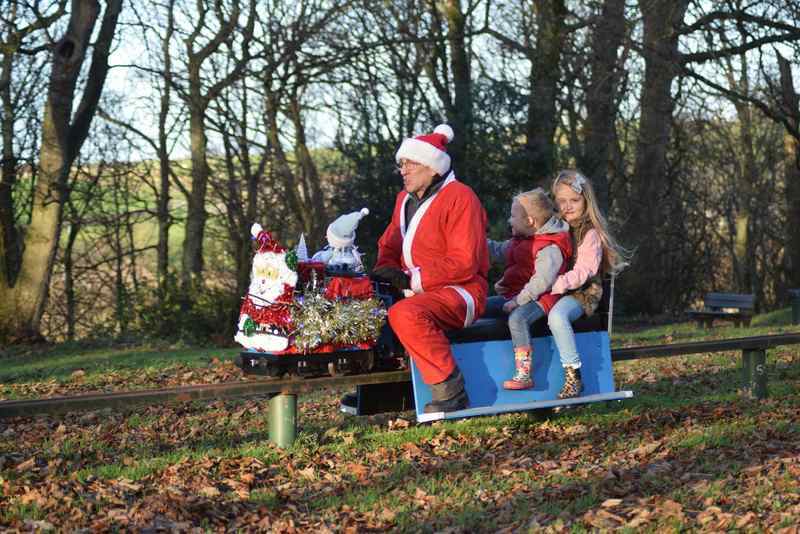 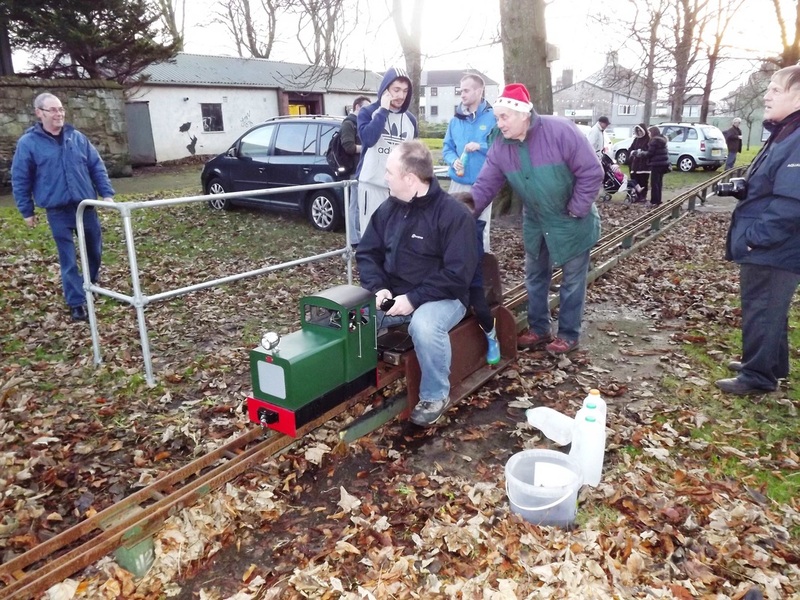 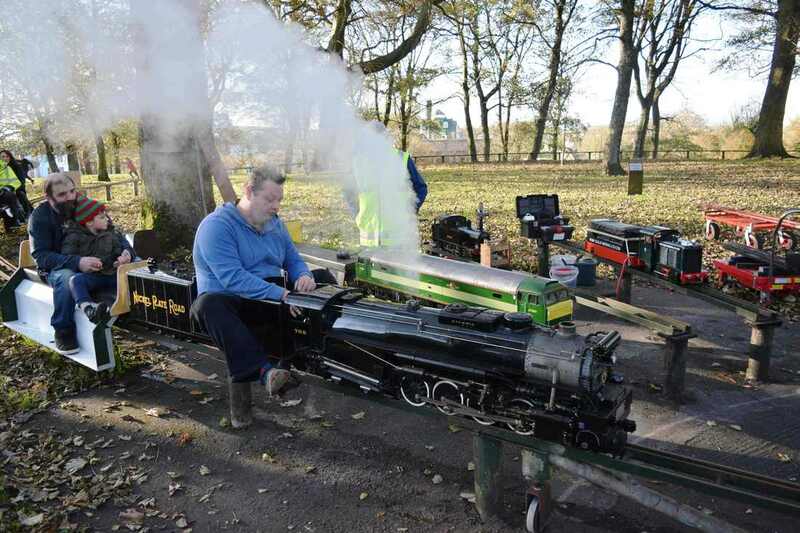 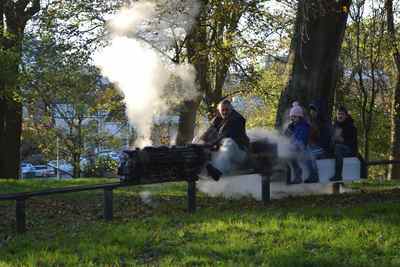 ​Christmas Steam-up 2016. (Click on photos to enlarge or save). 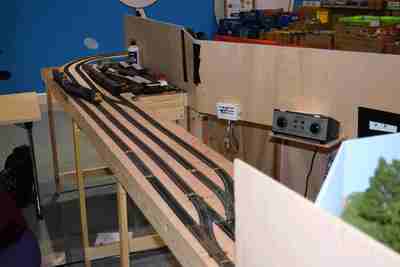 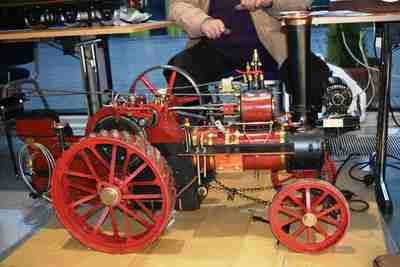 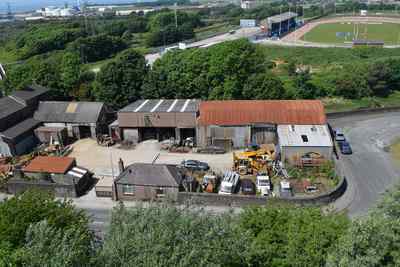 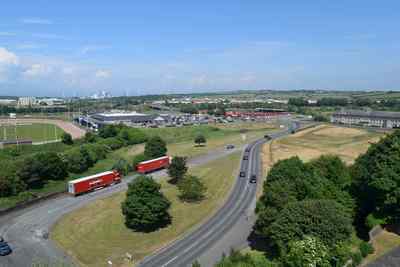 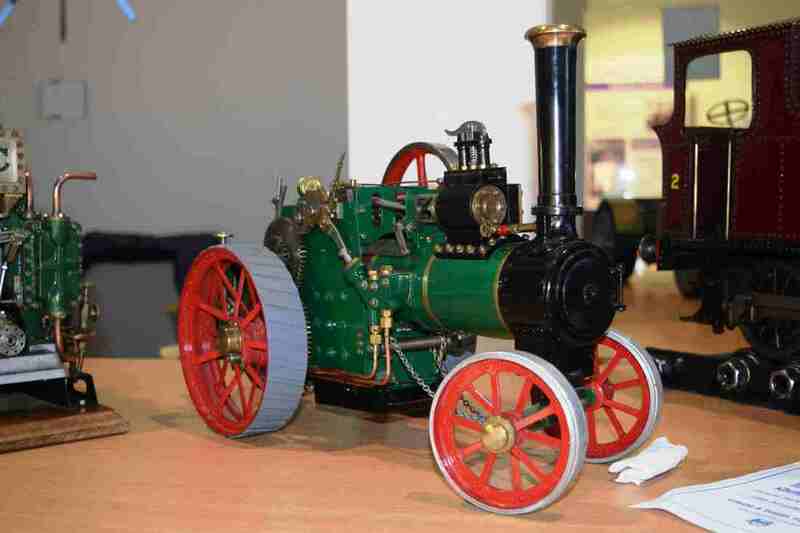 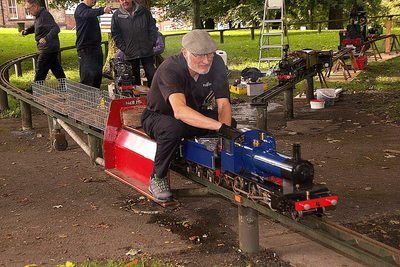 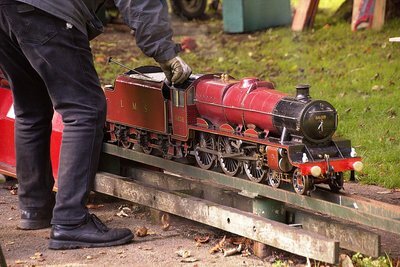 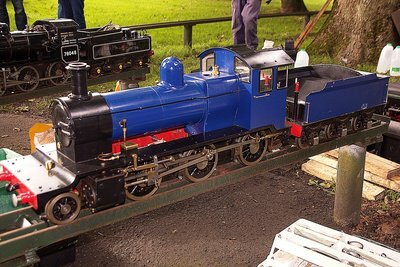 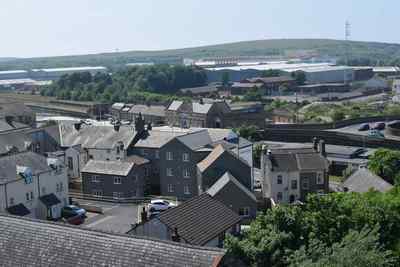 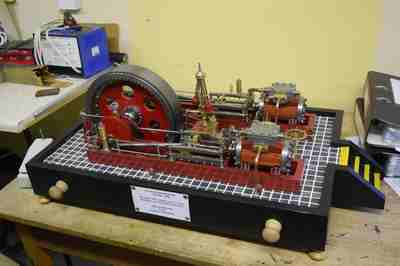 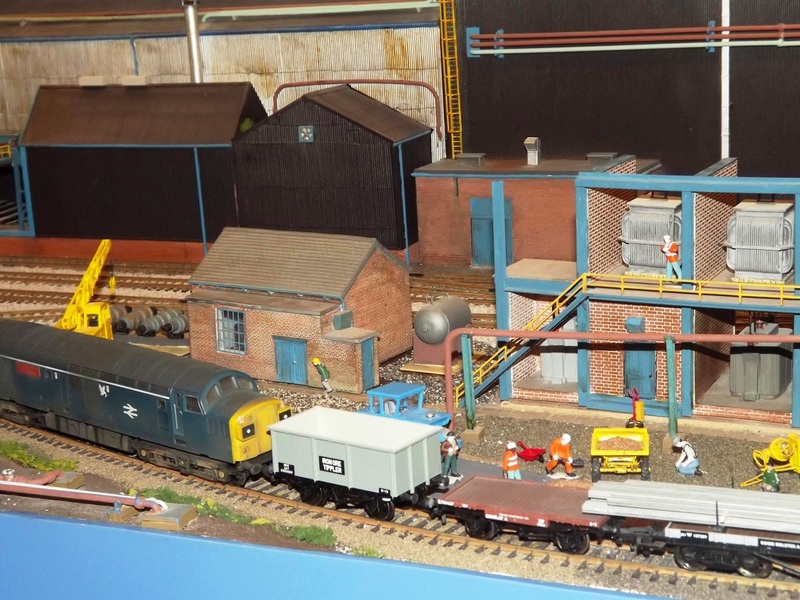 Workington Model Railway Show 2016 in the Energus Centre Lillyhall Workington. 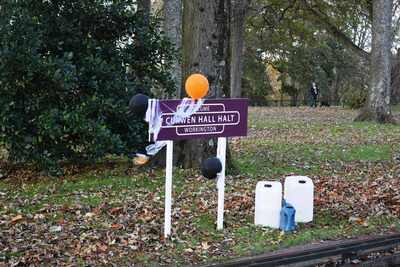 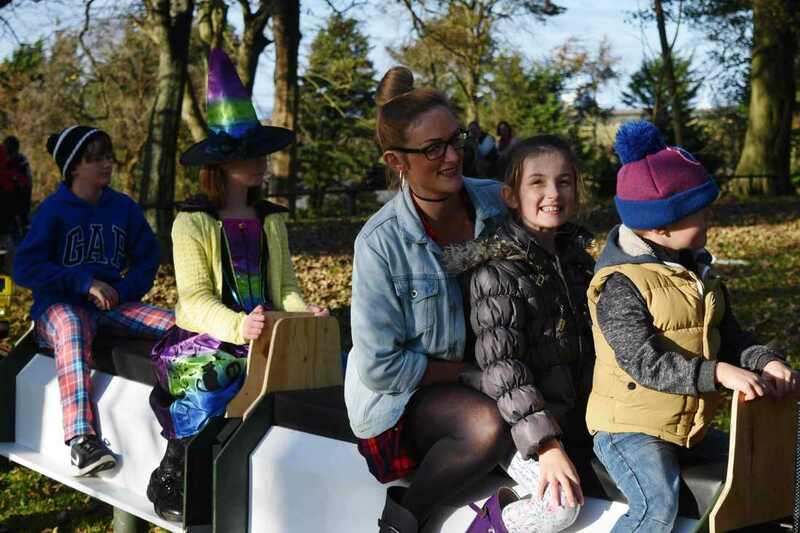 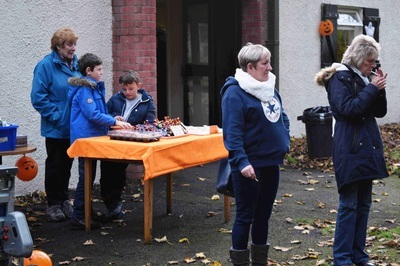 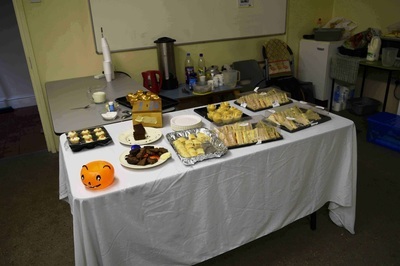 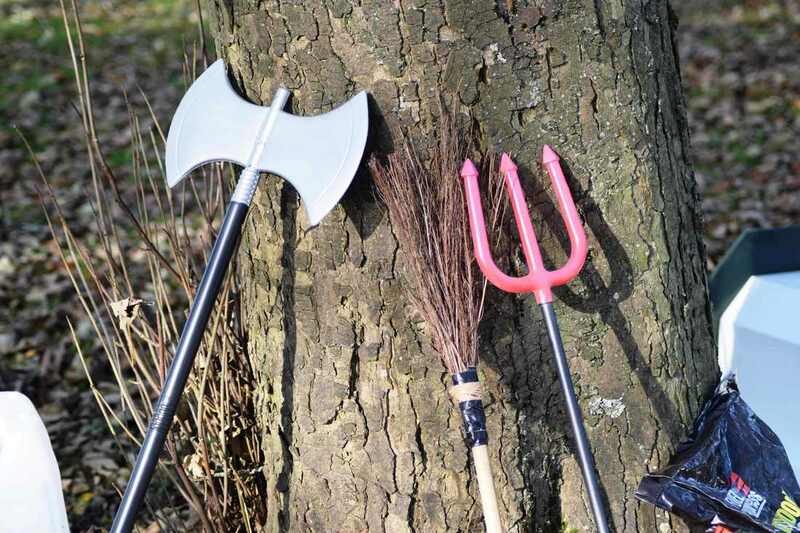 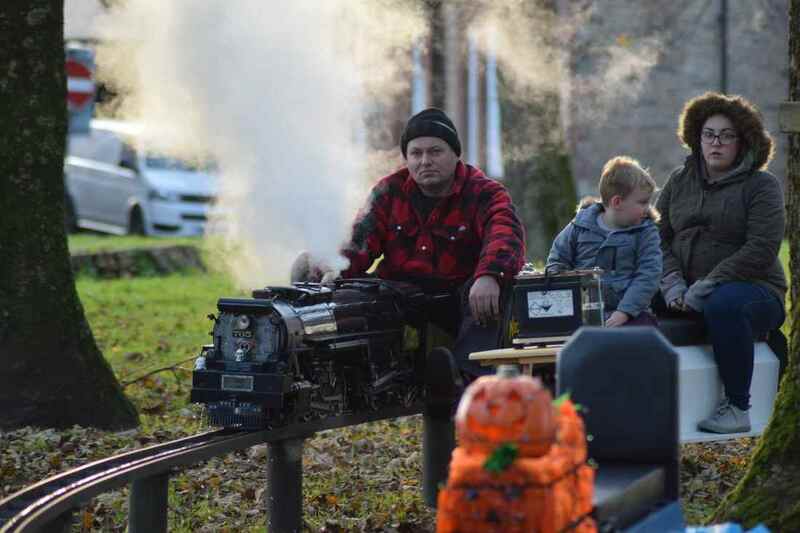 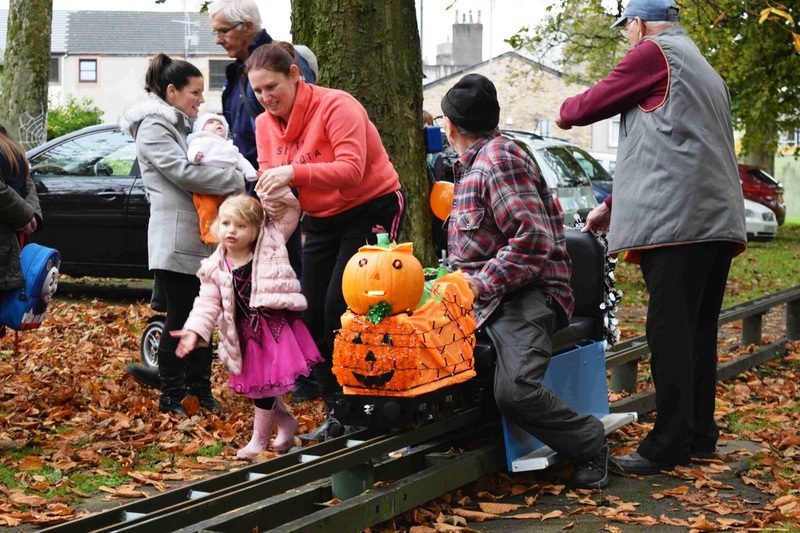 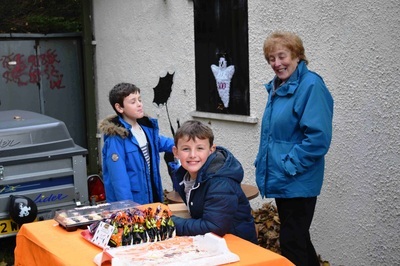 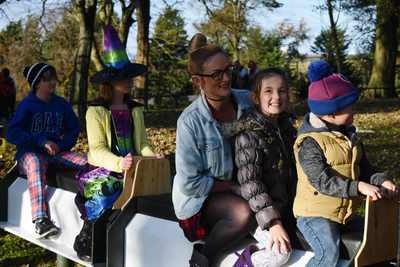 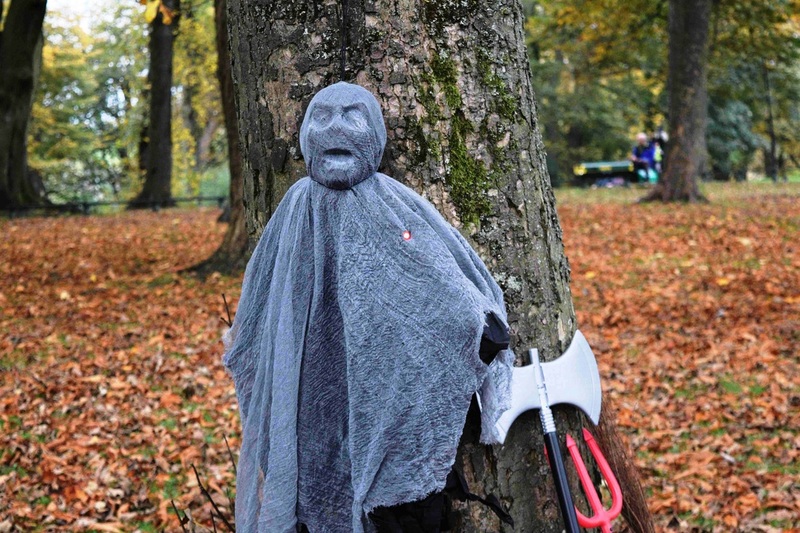 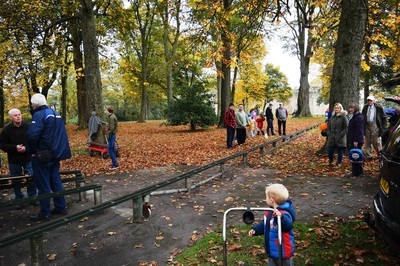 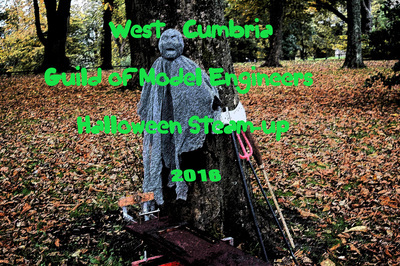 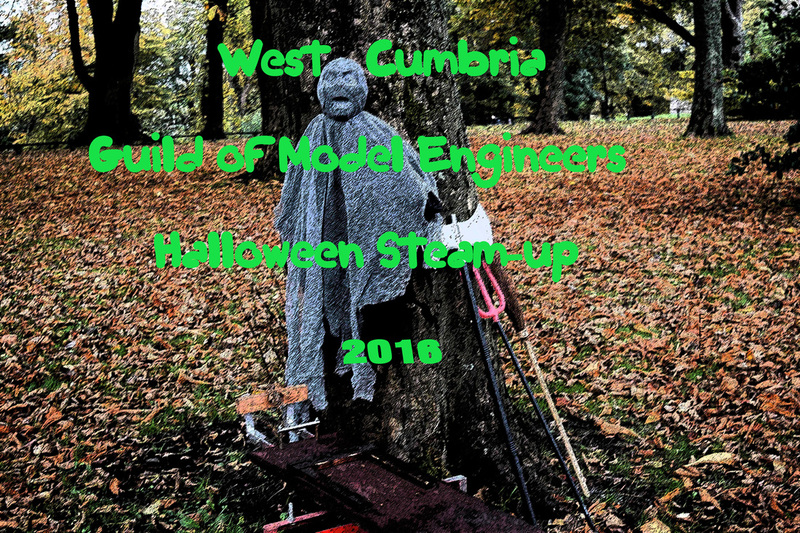 ​Halloween Steam-up 2016. 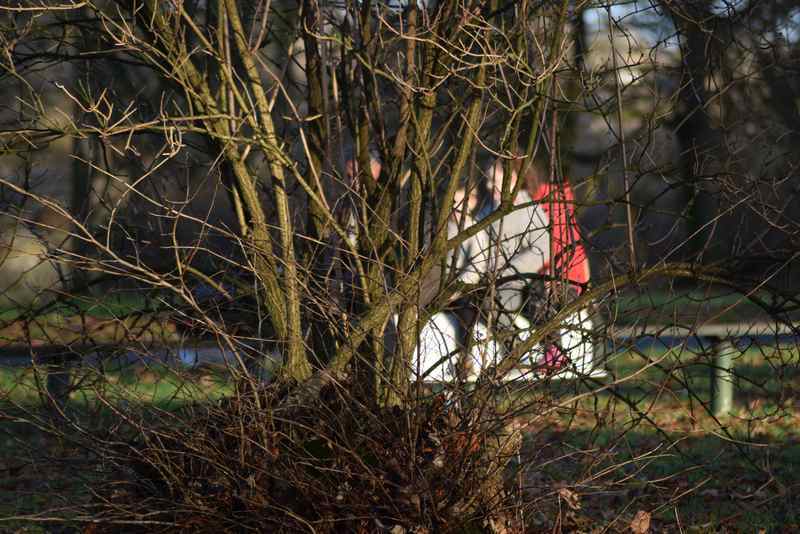 (​Click on photos to enlarge or save). 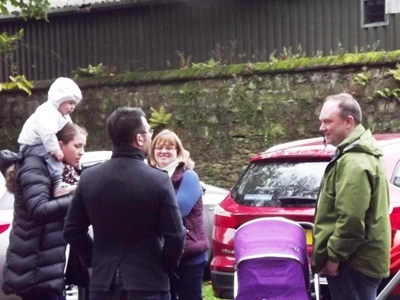 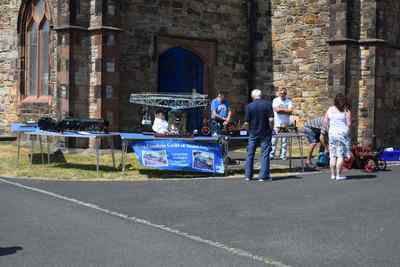 Castle Rock Event 2016 (​Click on photos to enlarge or save). 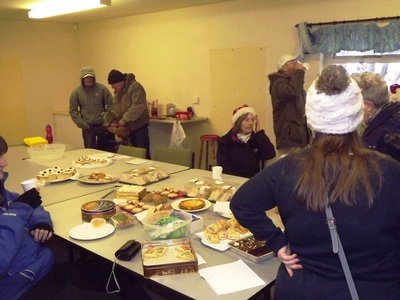 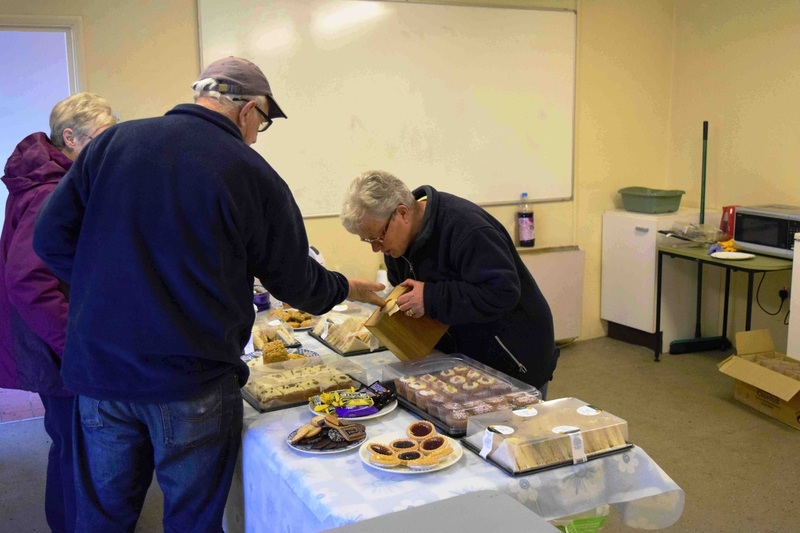 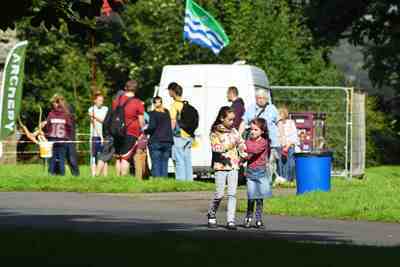 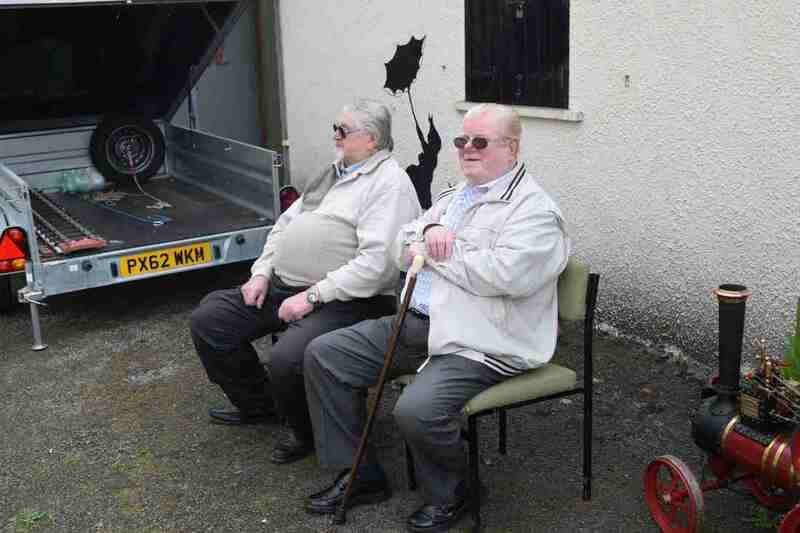 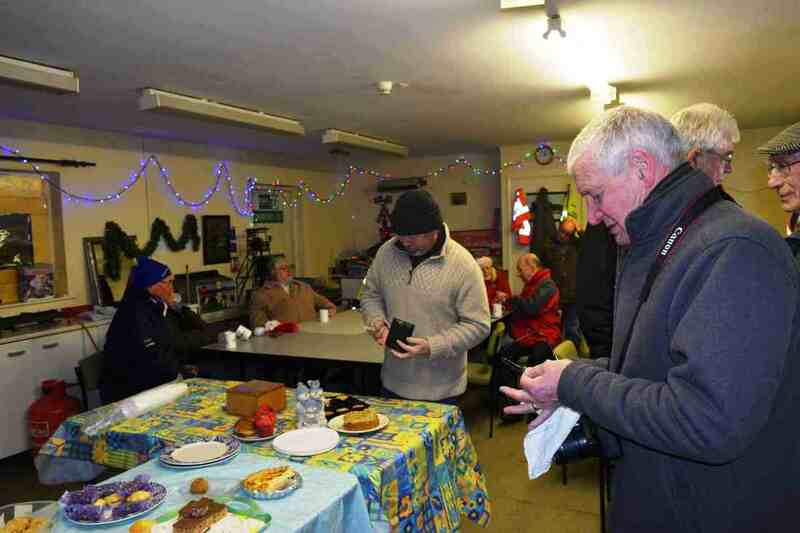 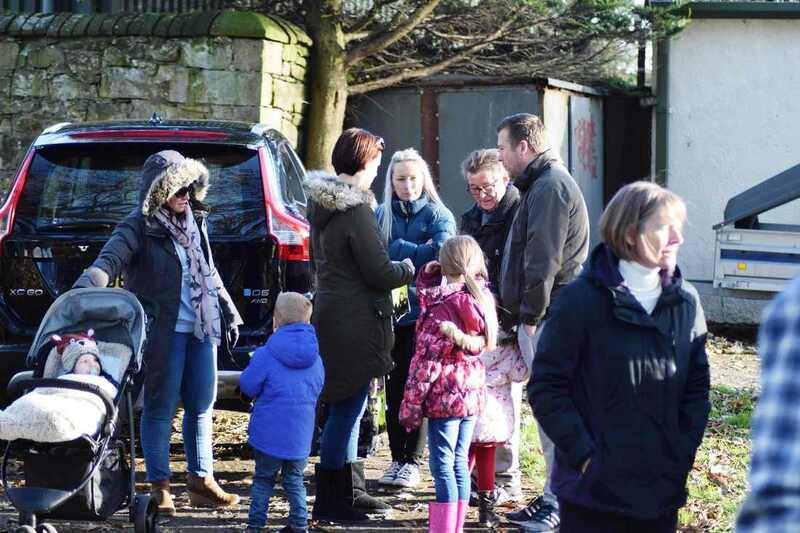 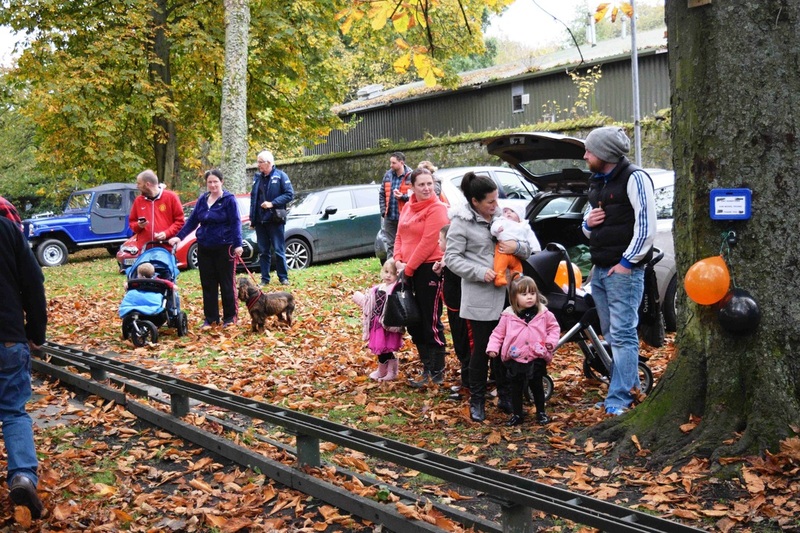 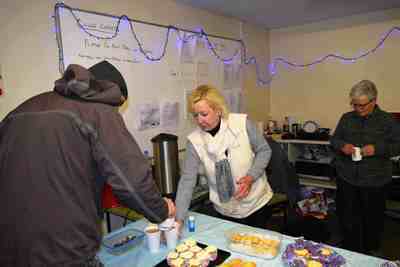 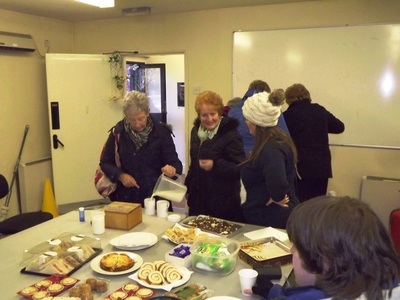 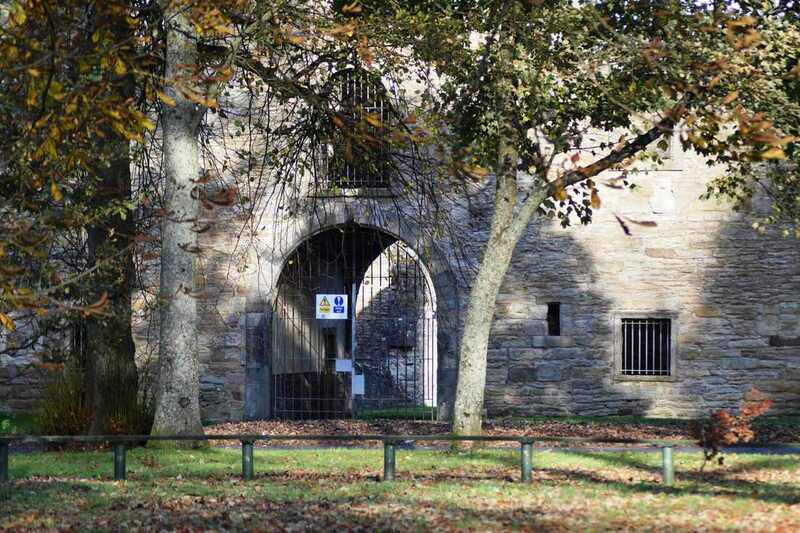 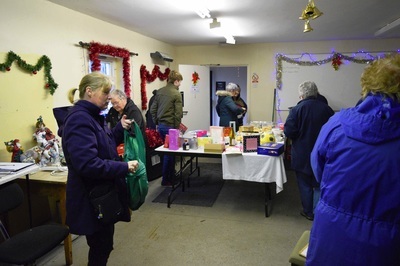 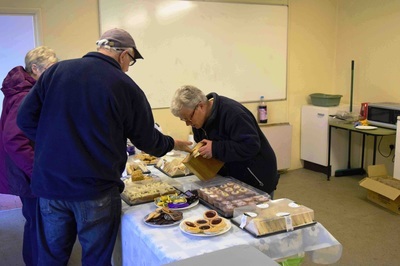 Our Clubhouse is open for business again so hail rain or snow we will be down at the track Sunday afternoon from 1:15pm. 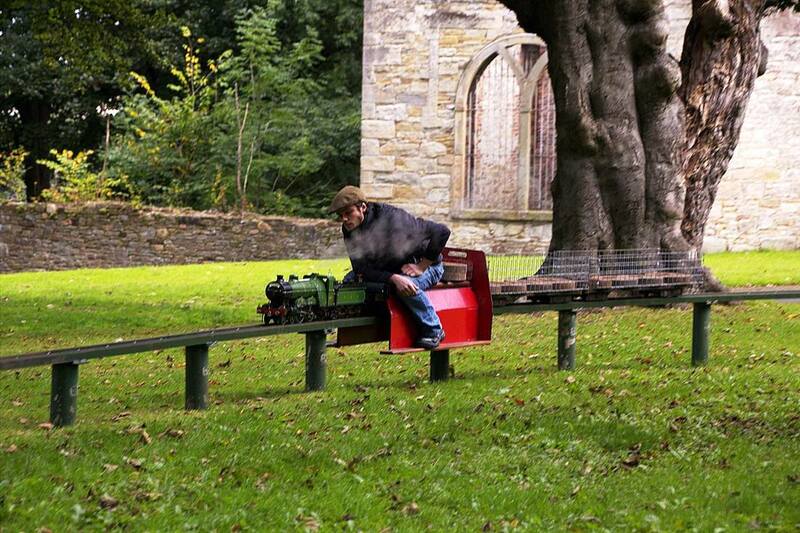 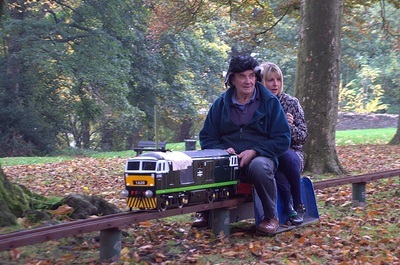 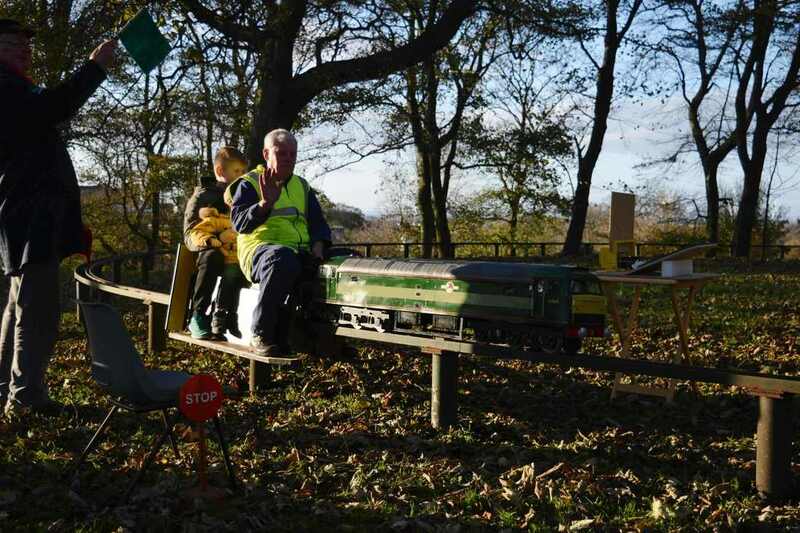 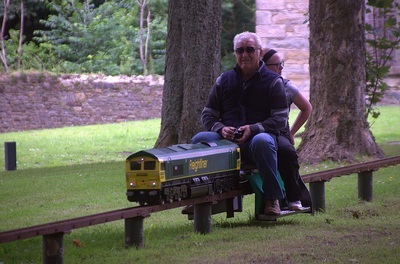 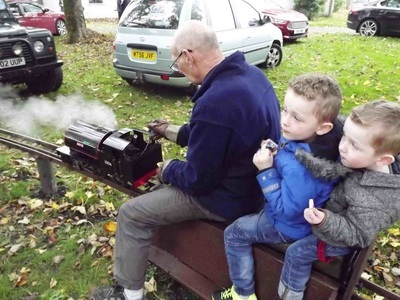 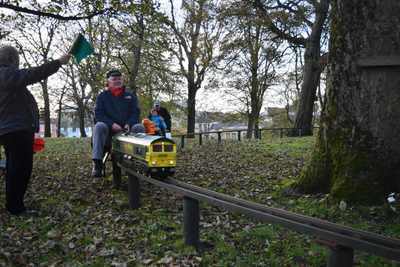 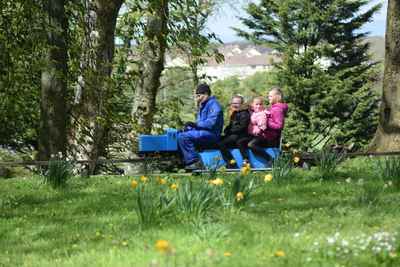 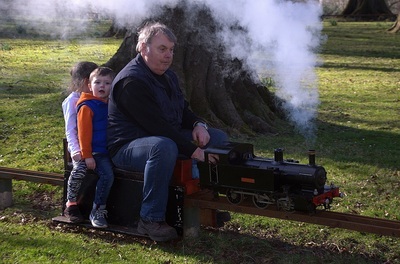 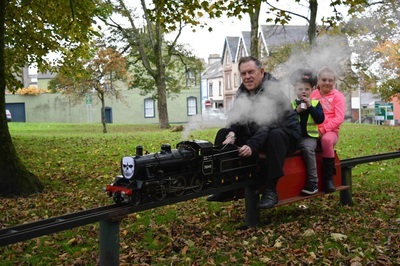 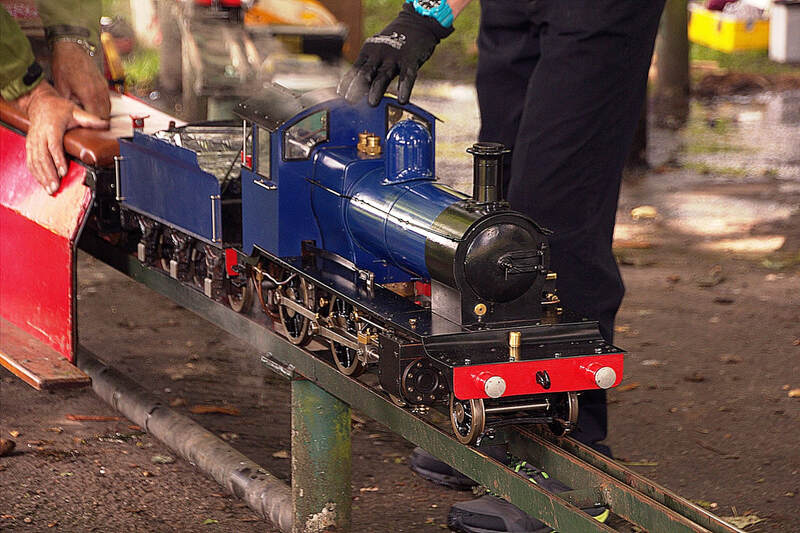 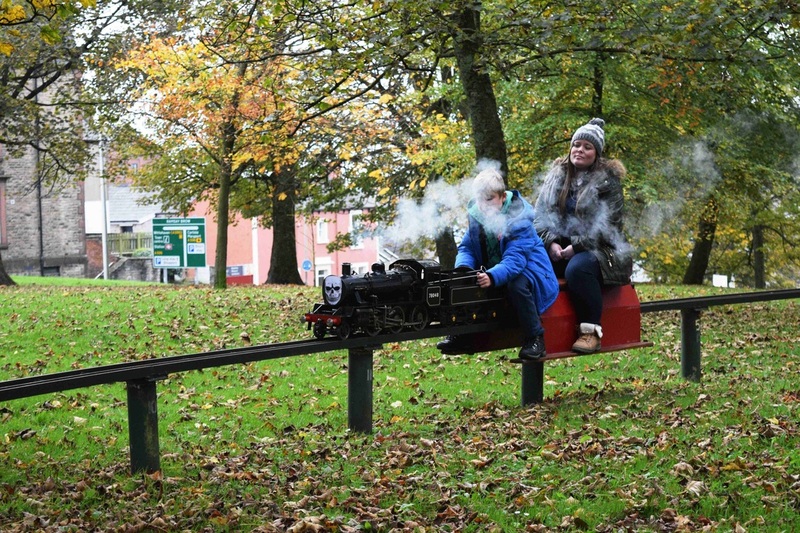 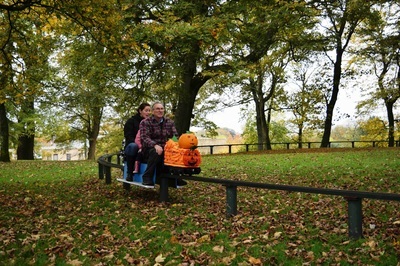 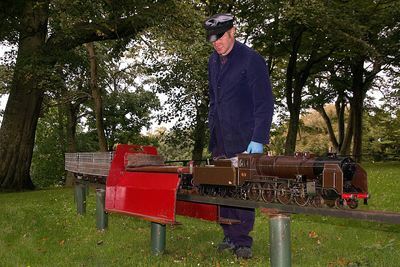 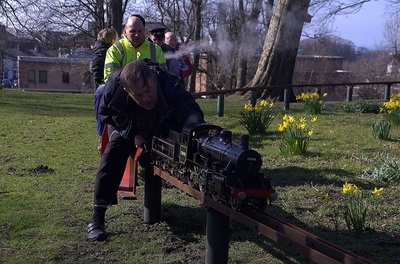 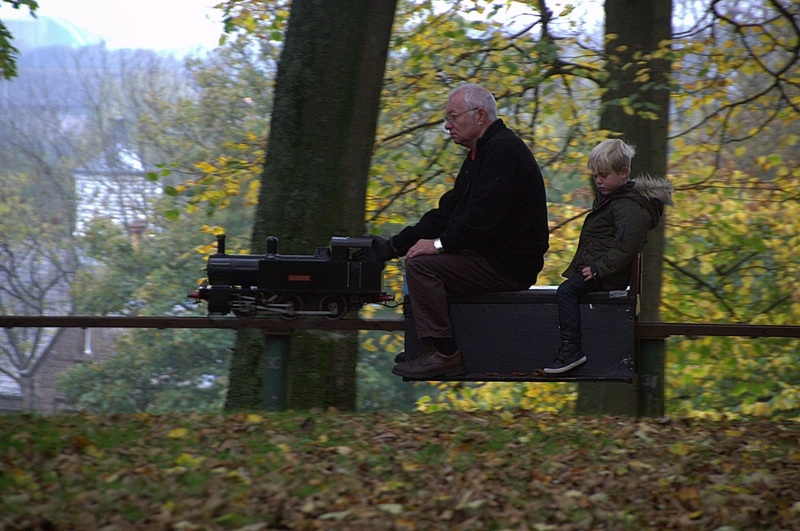 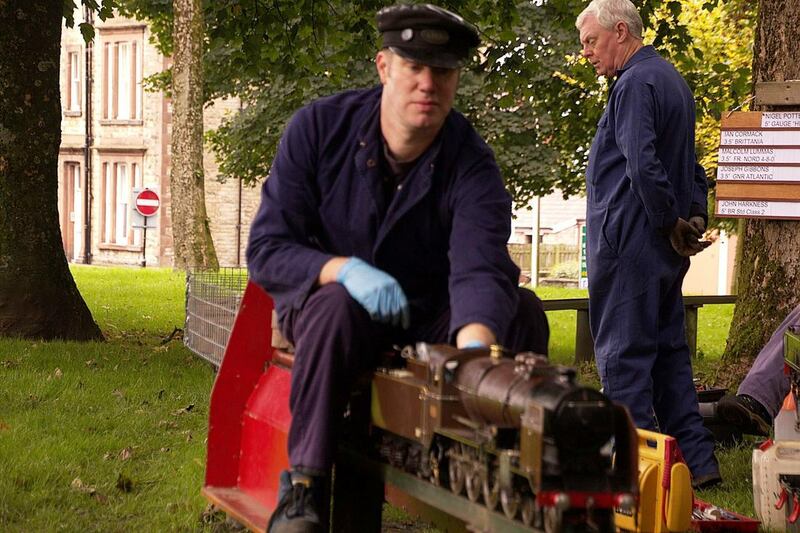 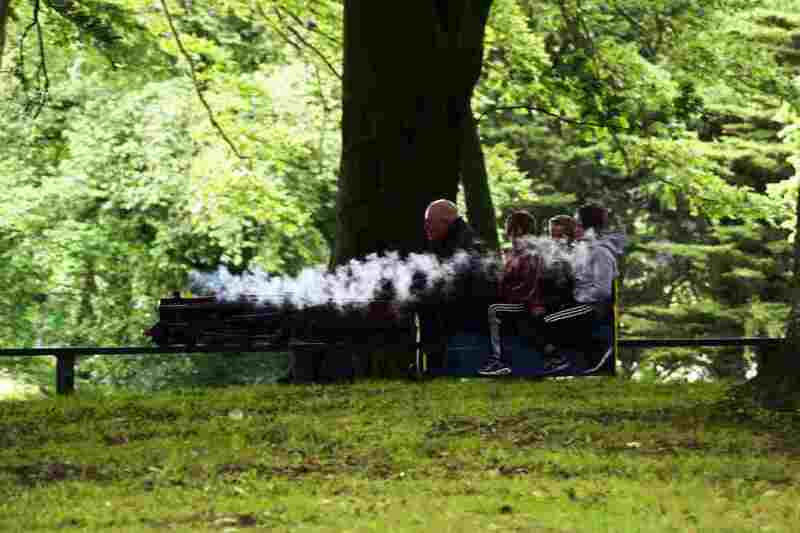 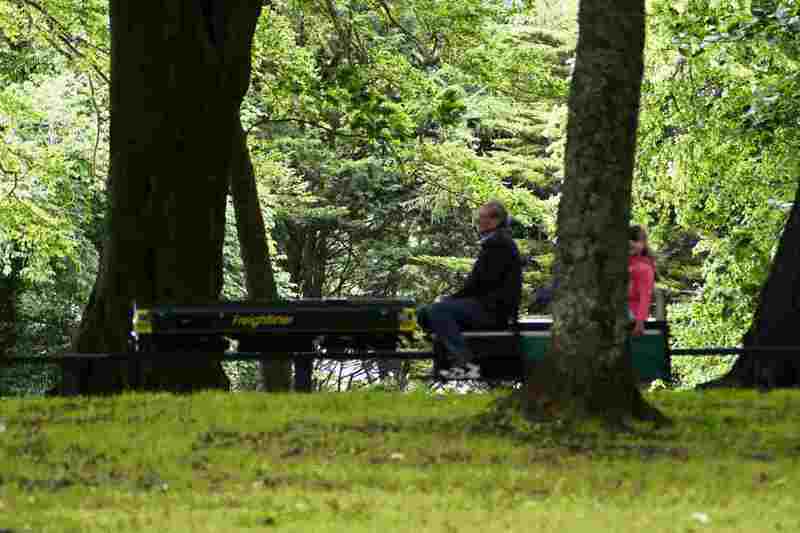 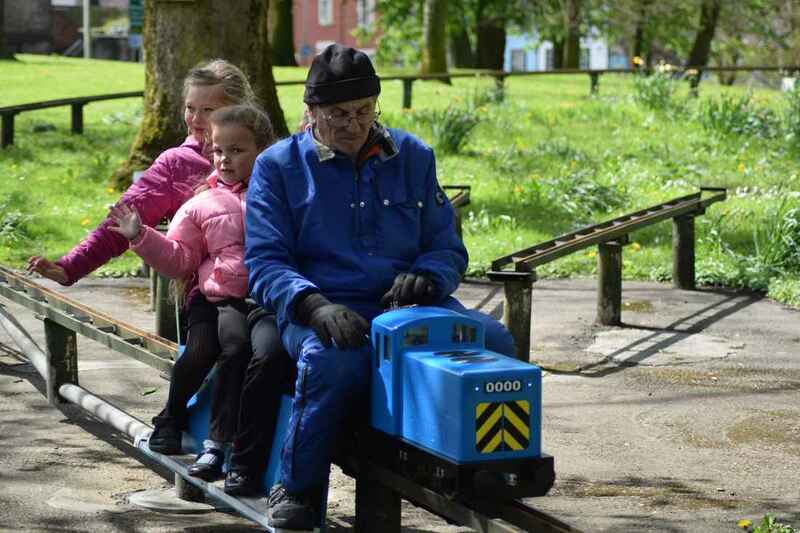 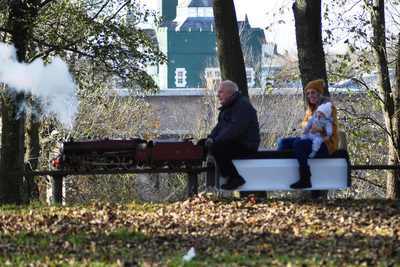 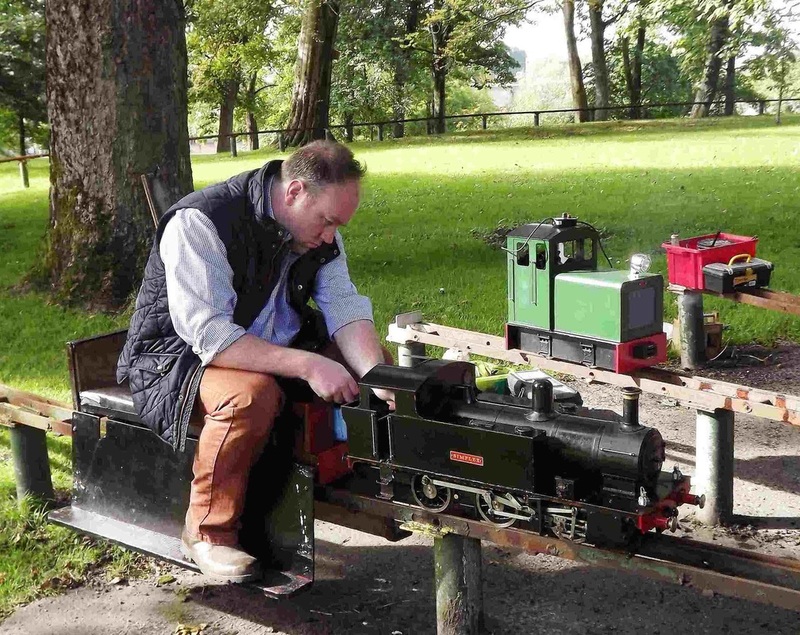 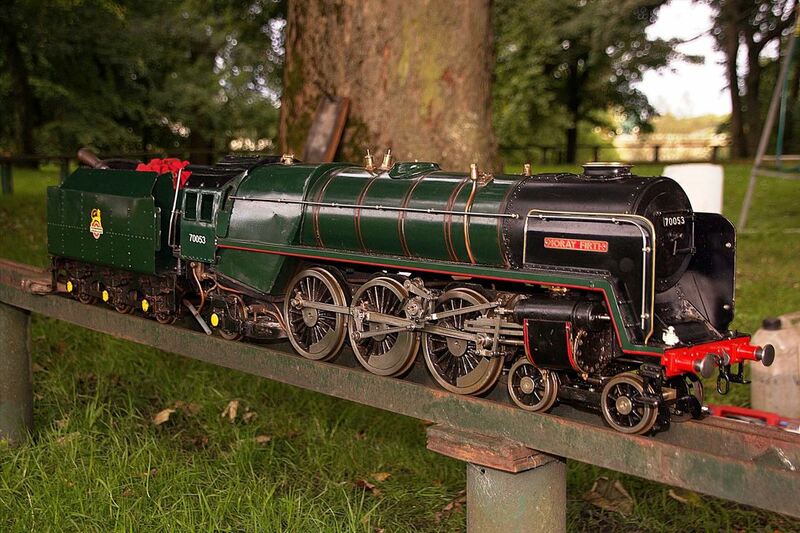 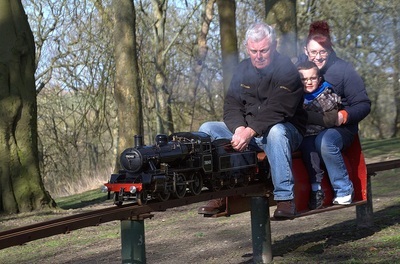 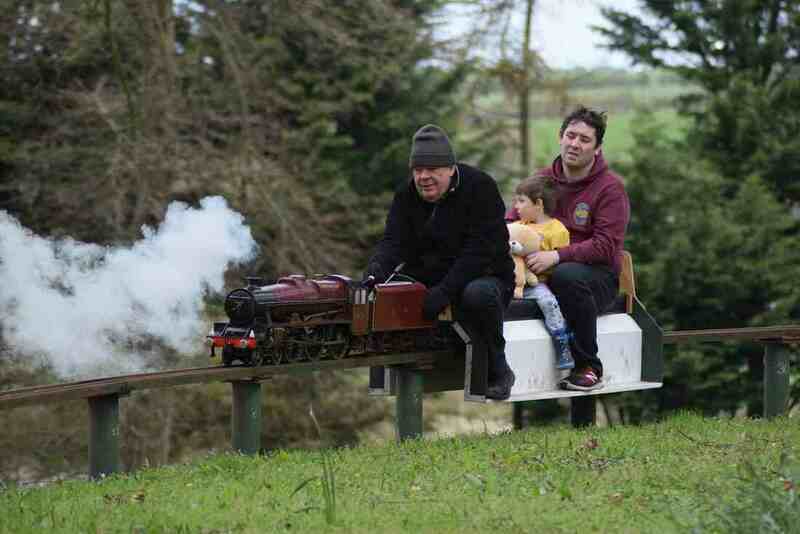 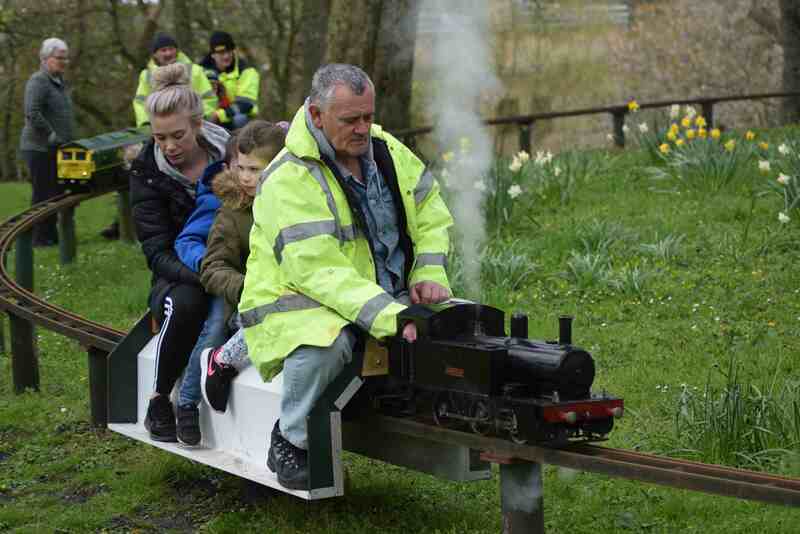 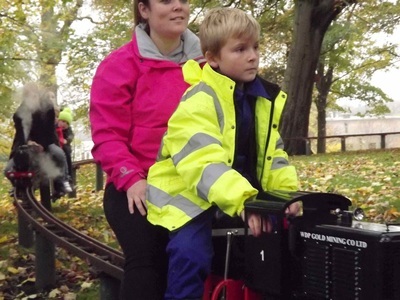 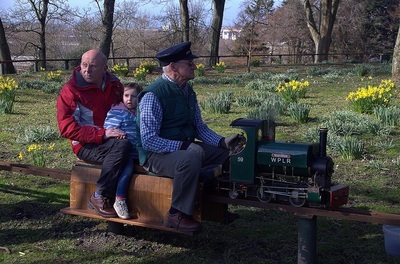 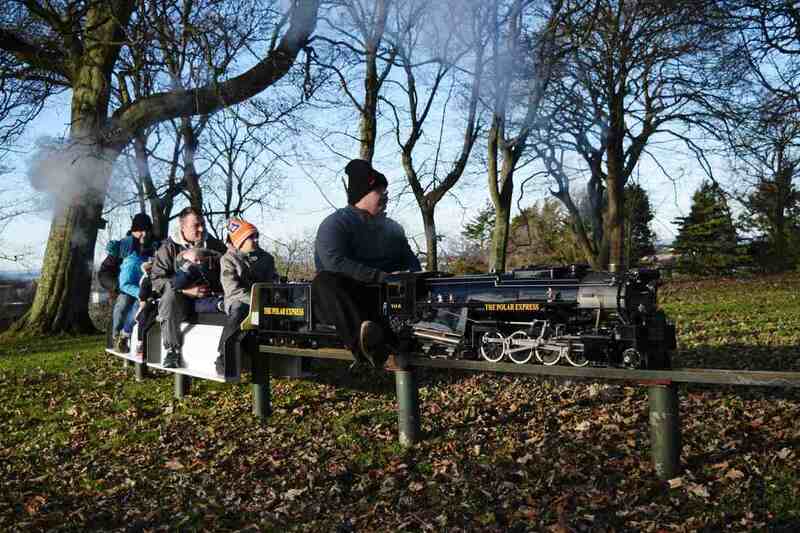 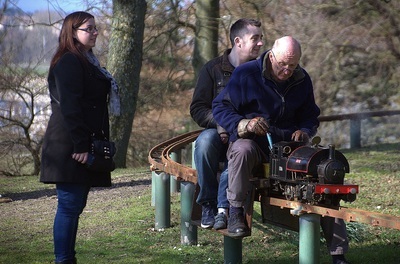 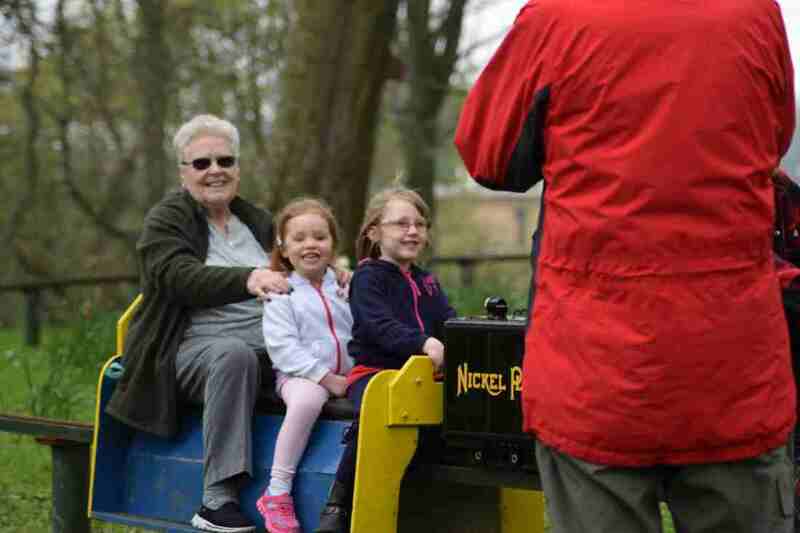 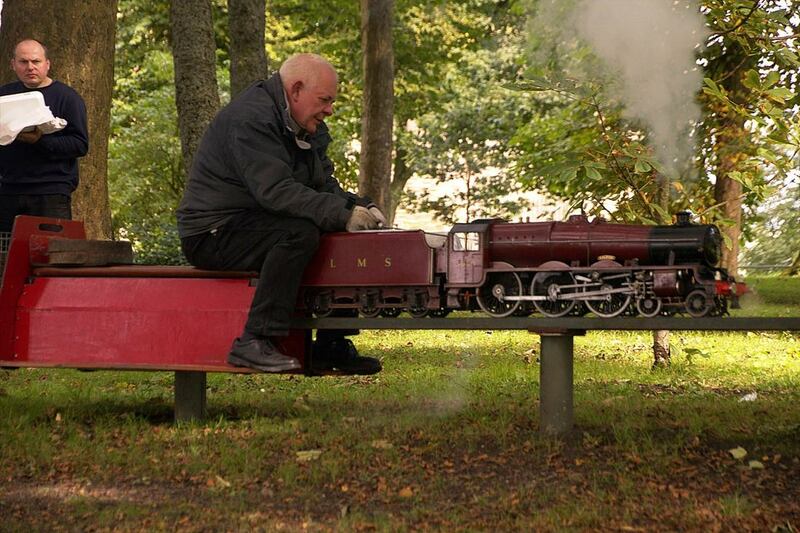 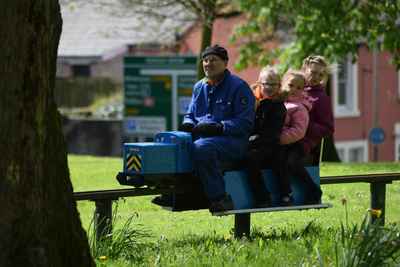 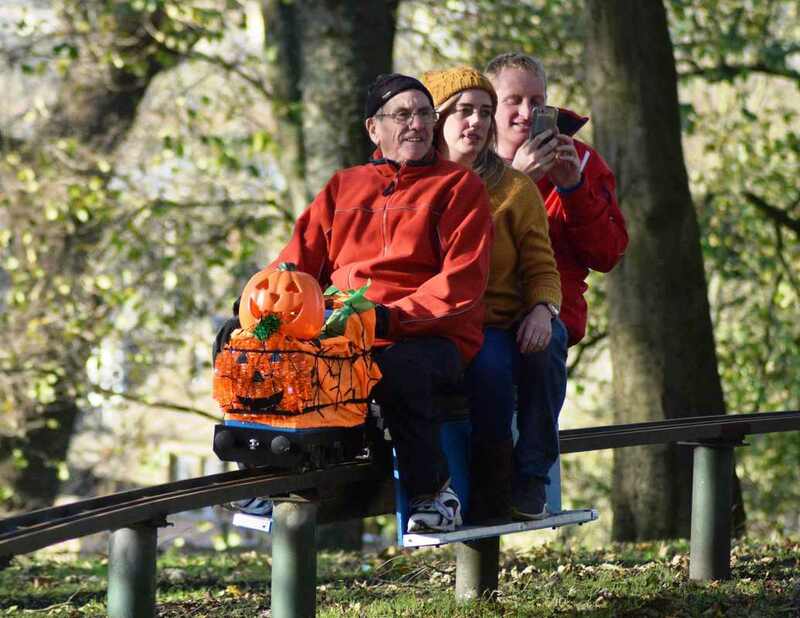 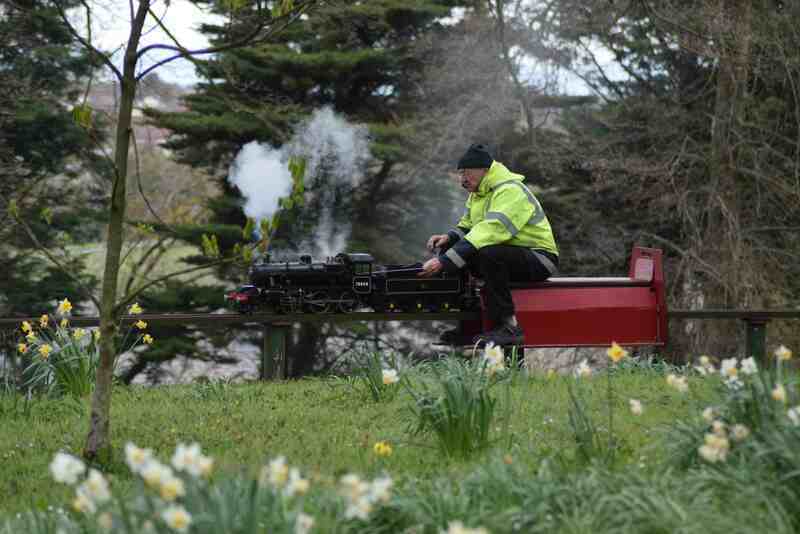 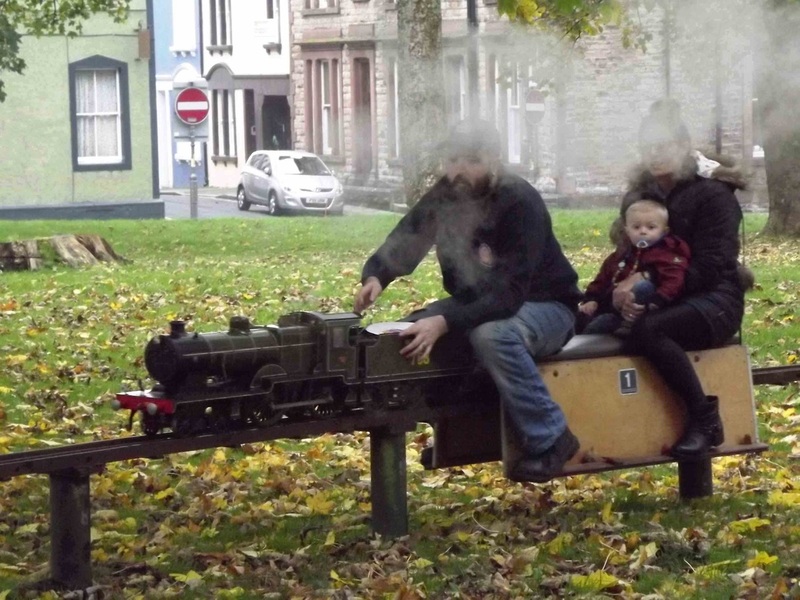 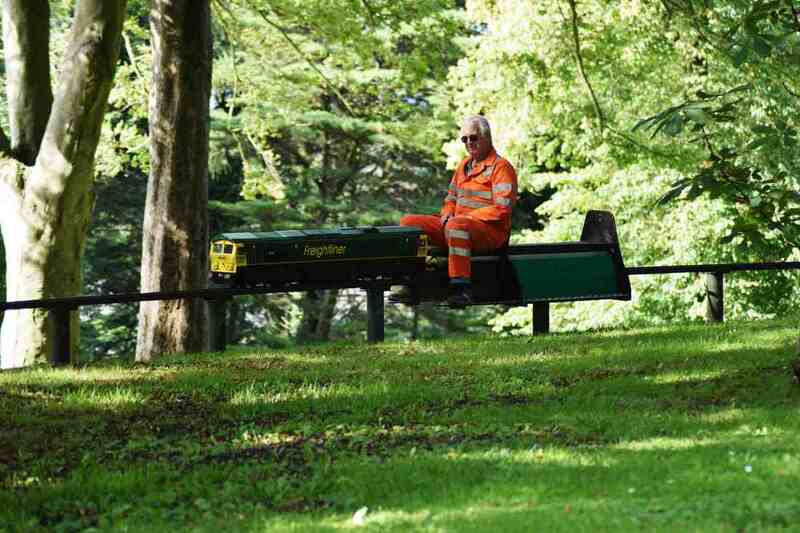 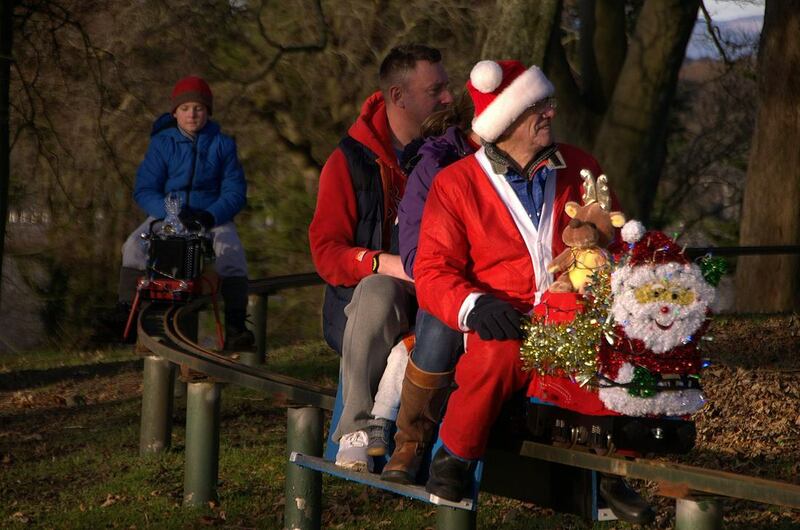 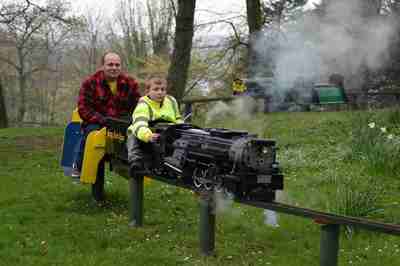 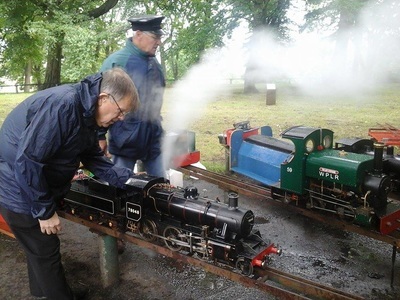 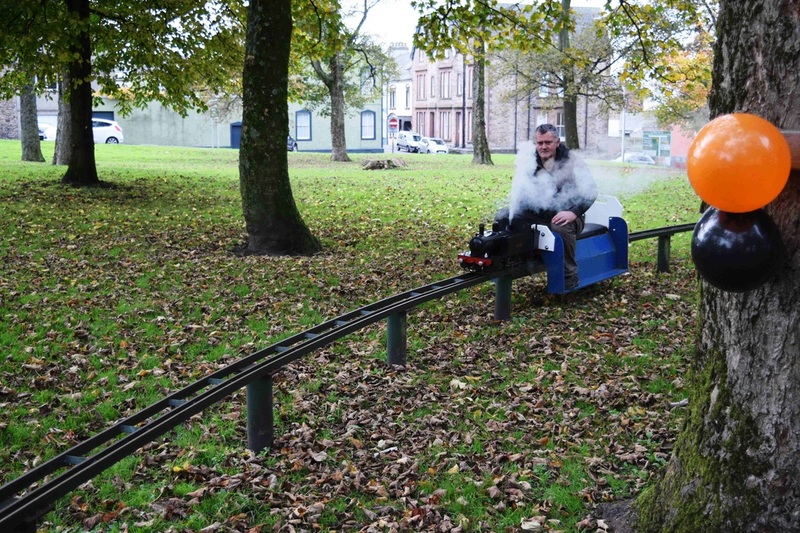 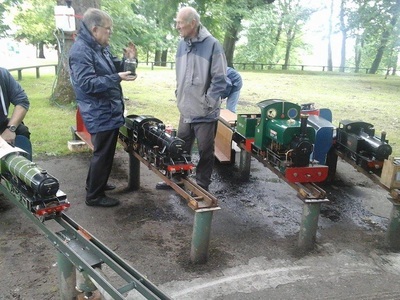 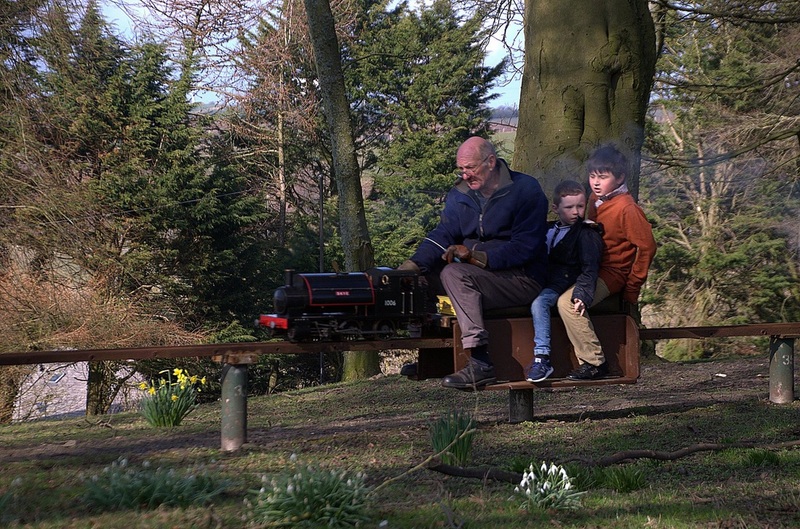 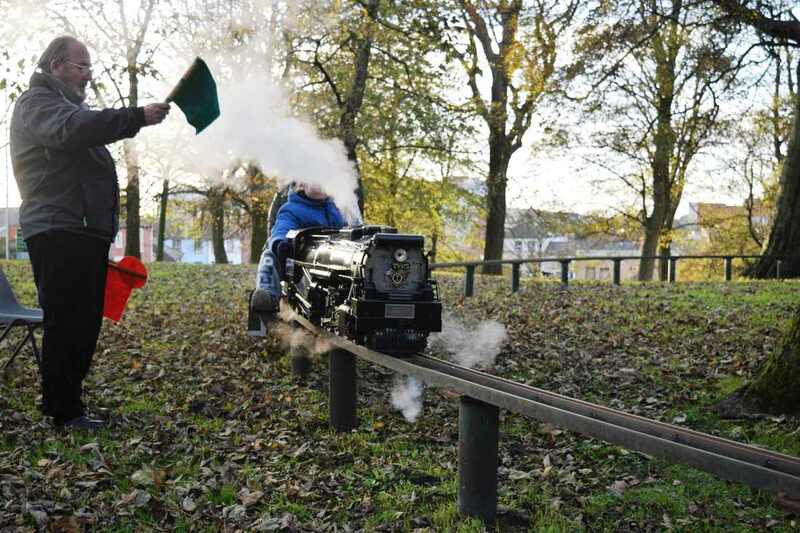 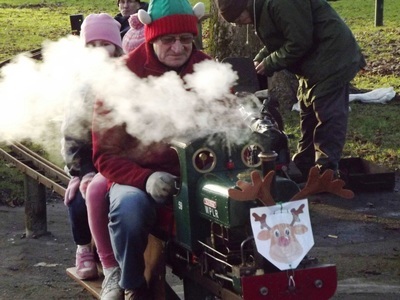 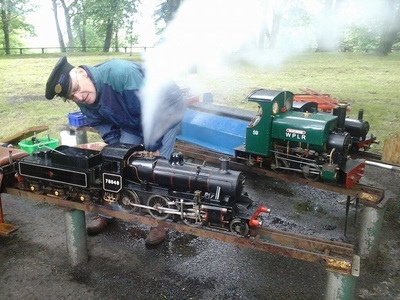 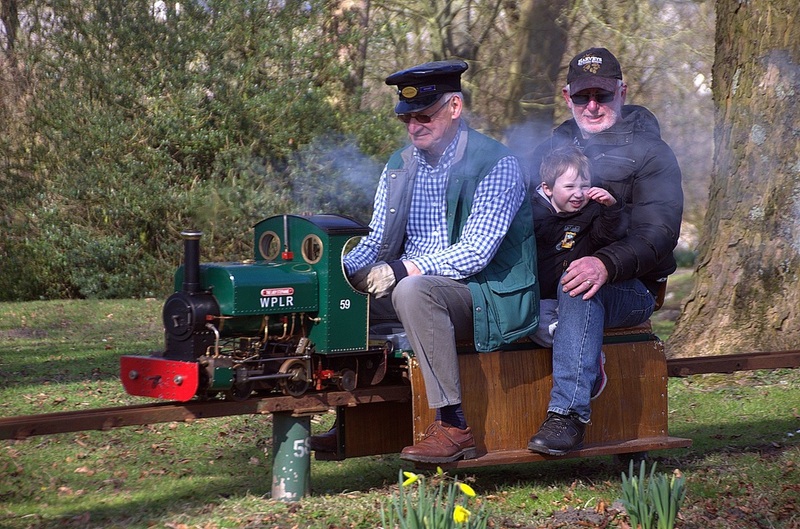 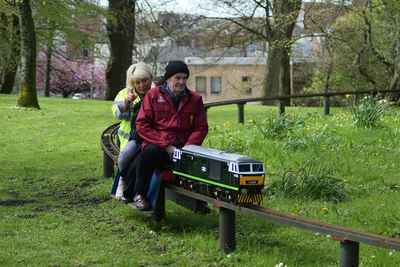 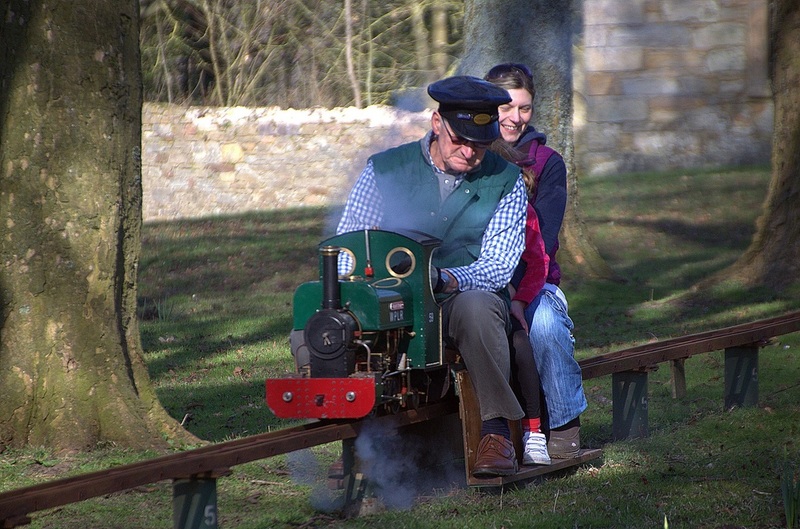 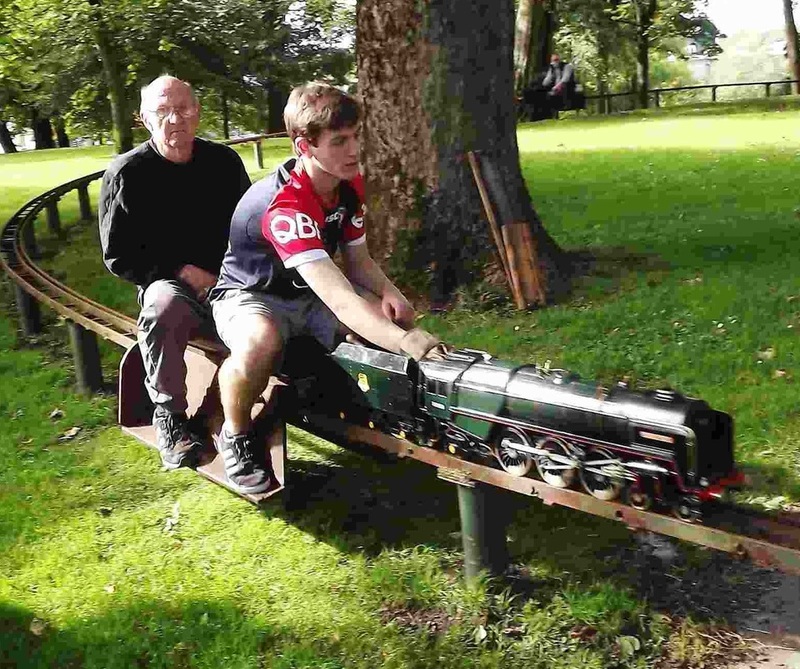 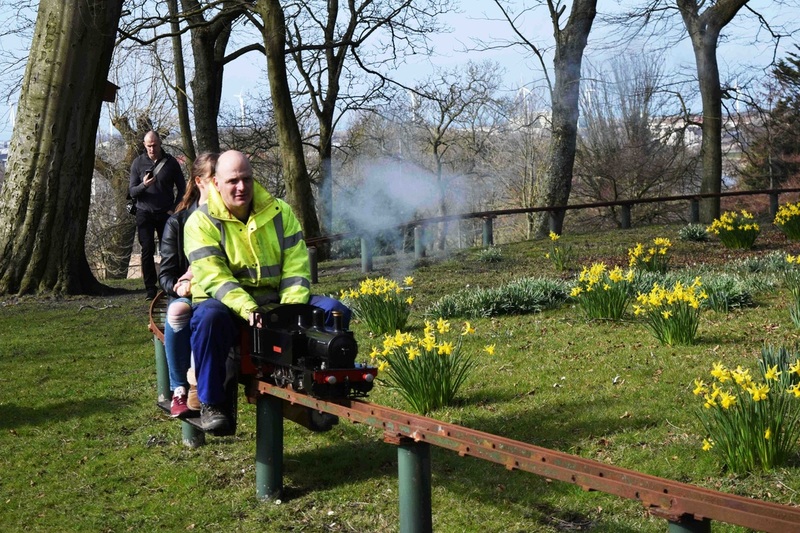 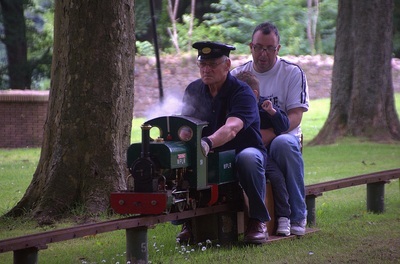 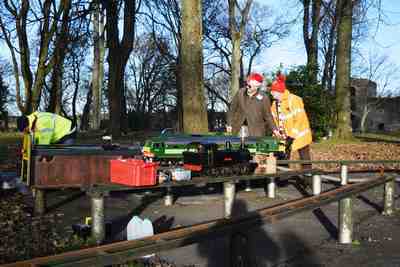 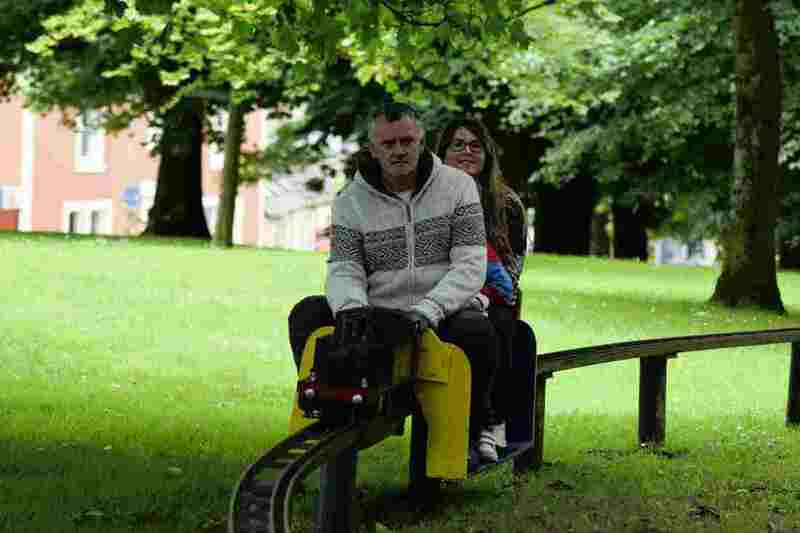 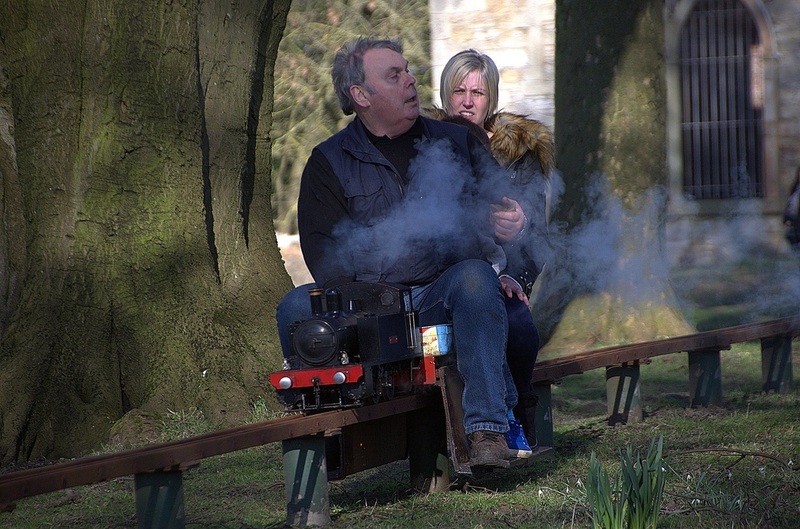 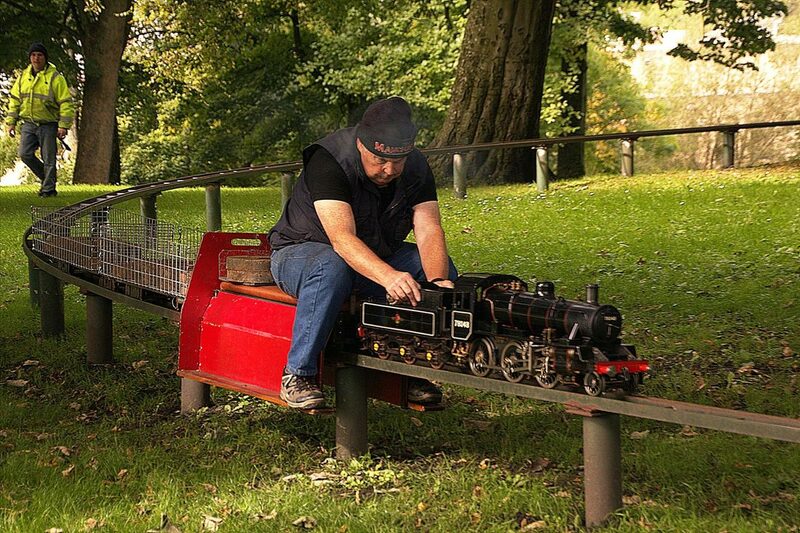 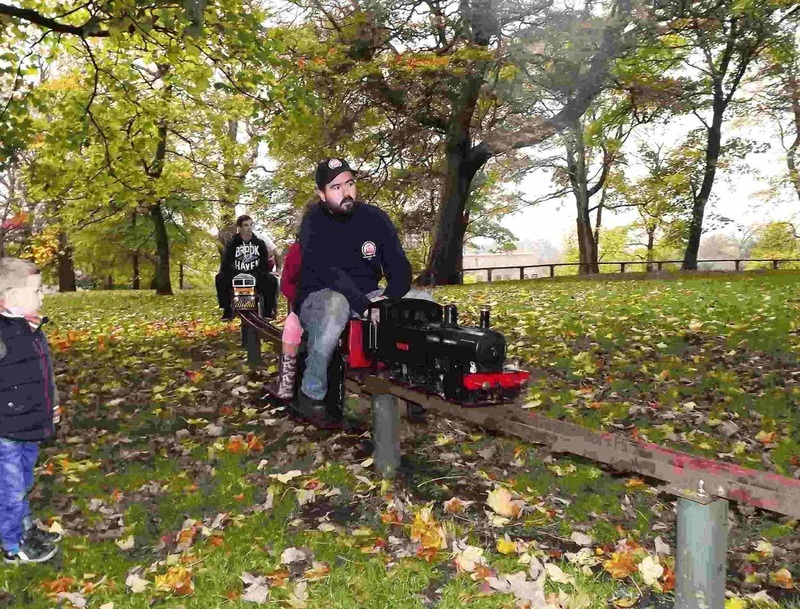 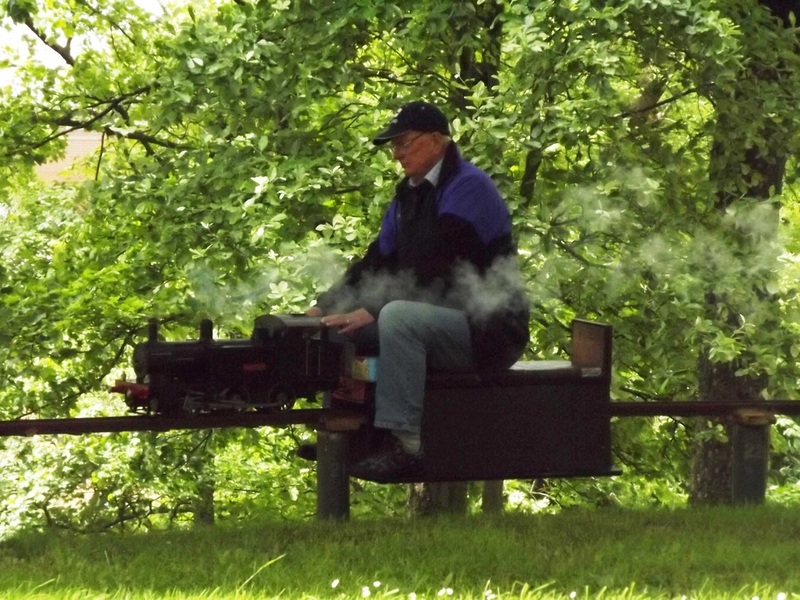 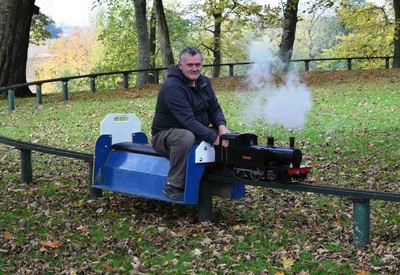 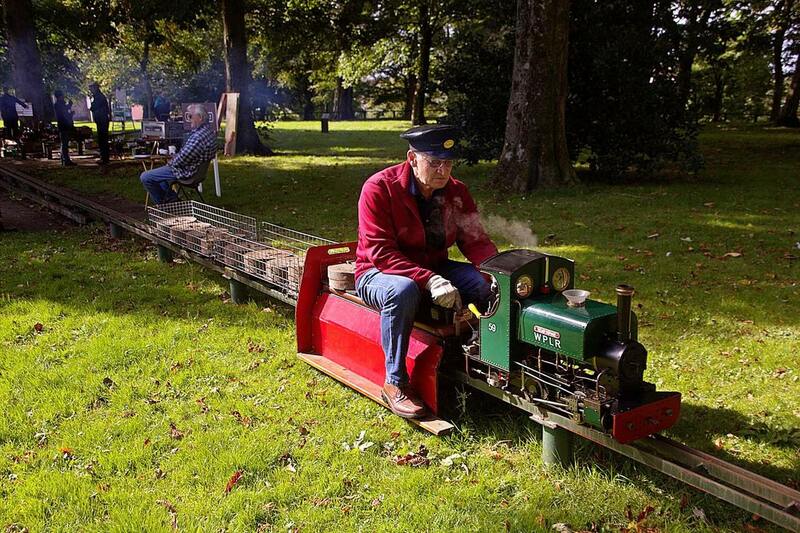 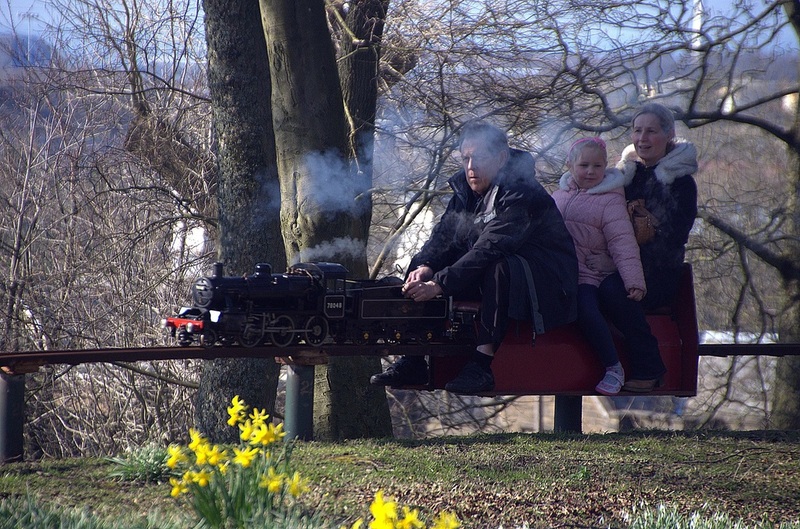 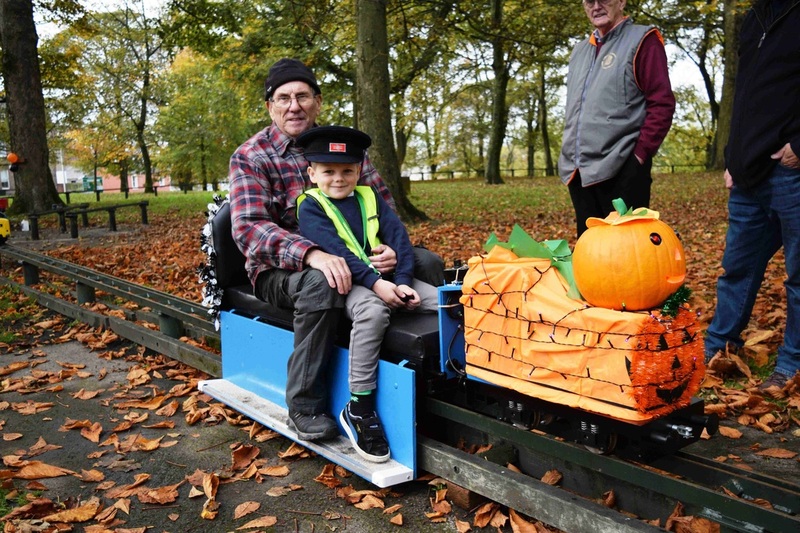 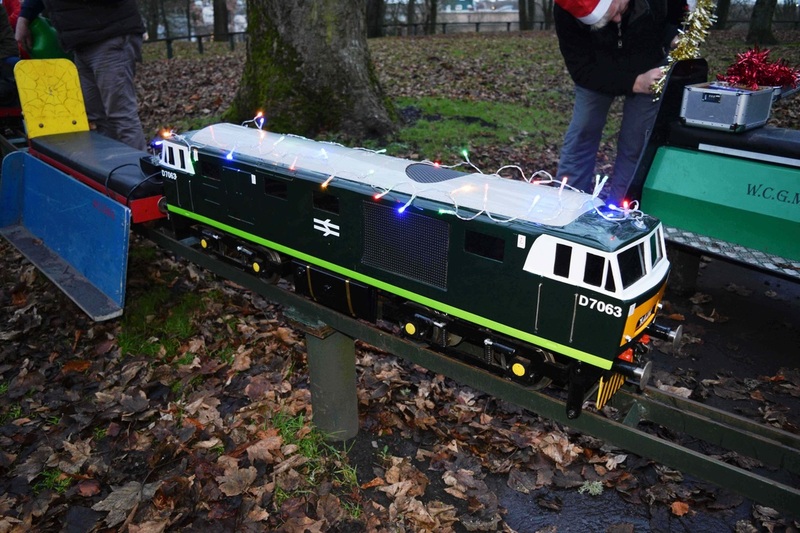 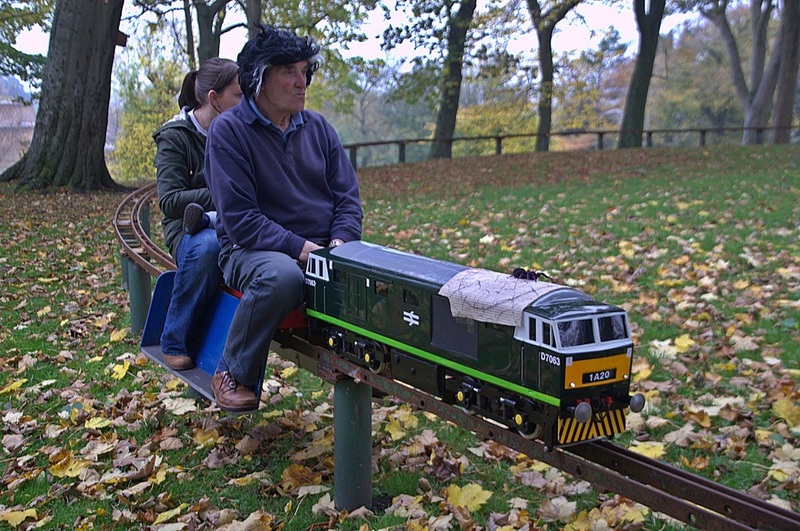 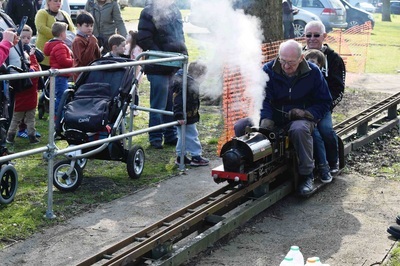 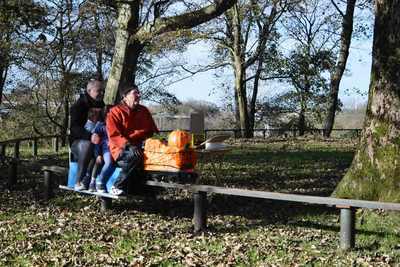 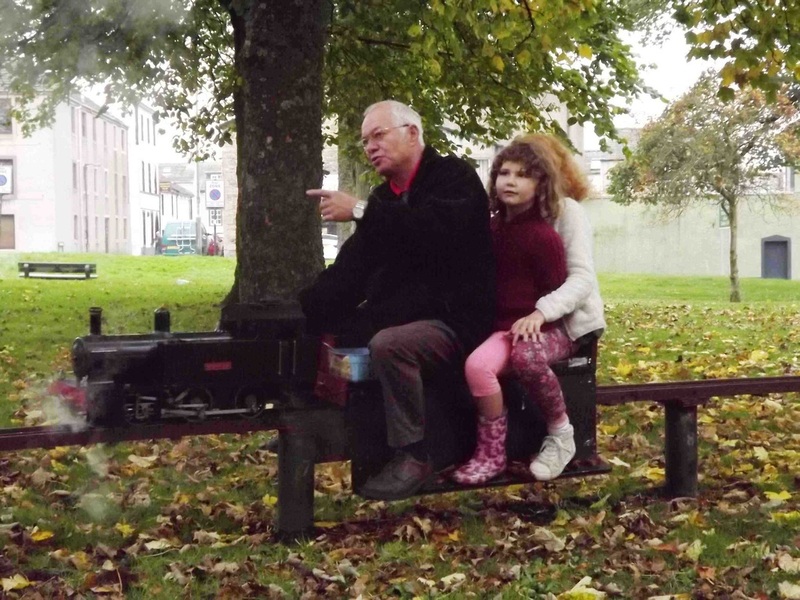 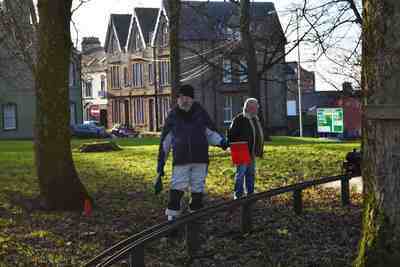 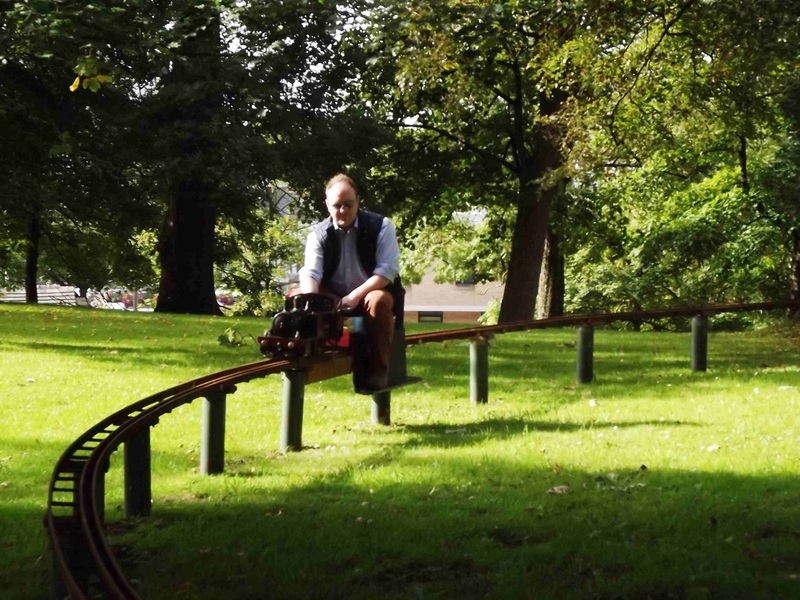 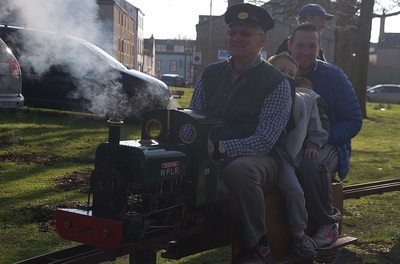 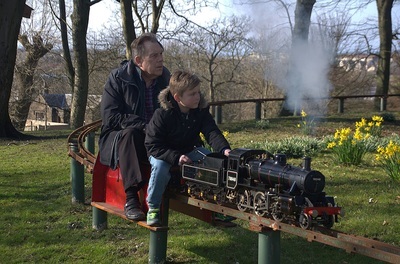 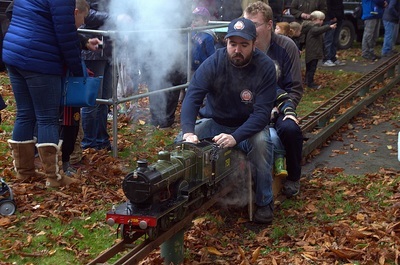 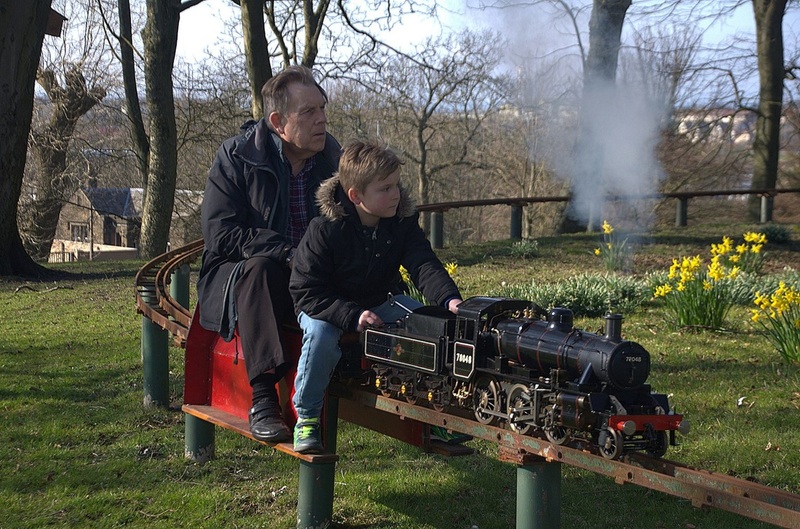 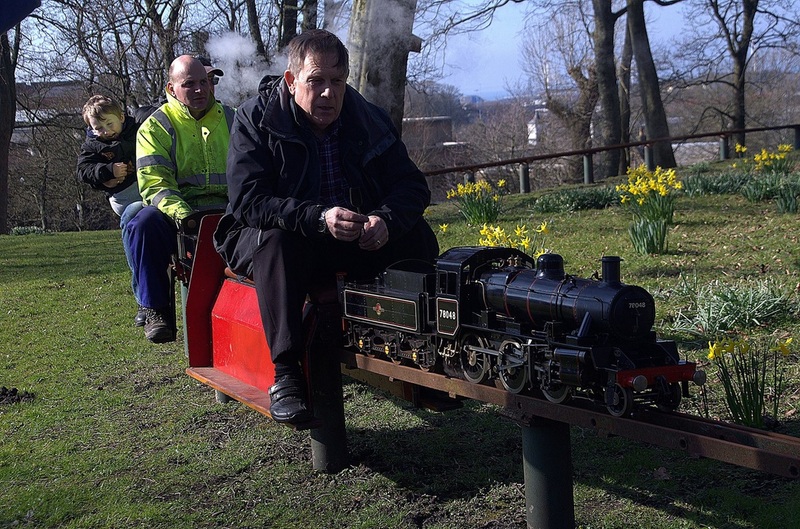 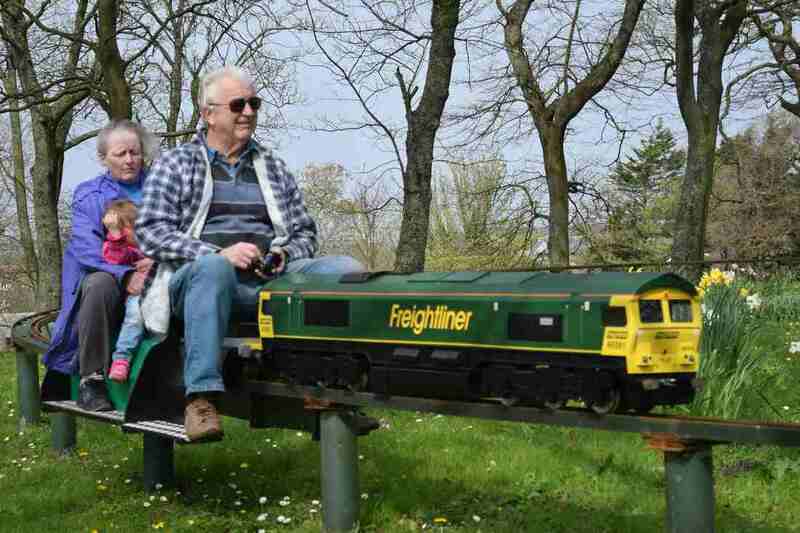 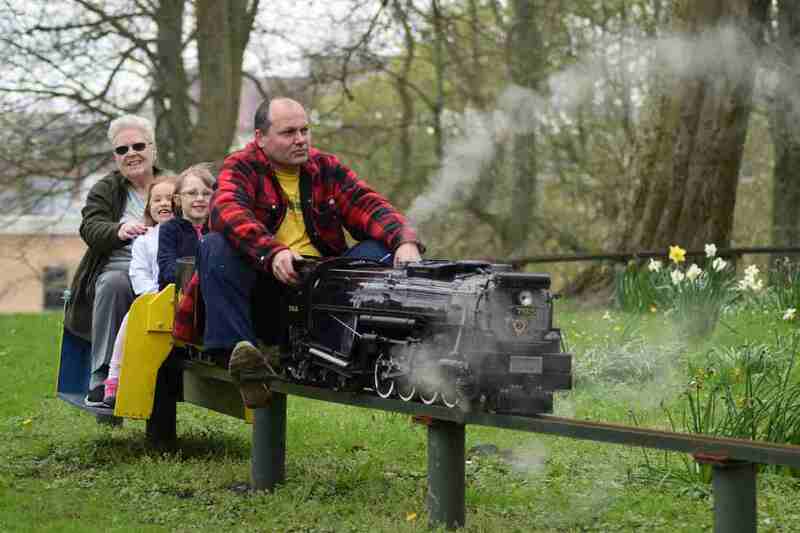 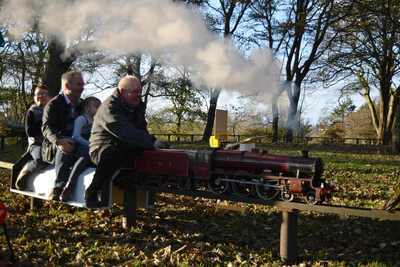 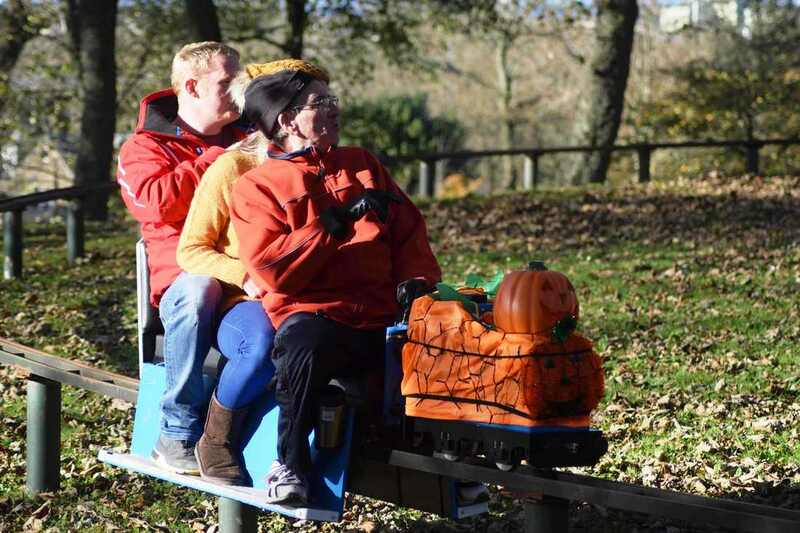 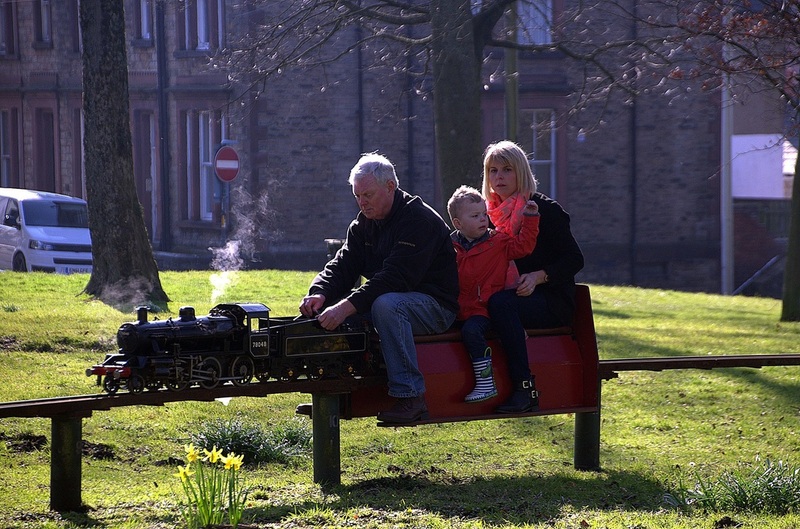 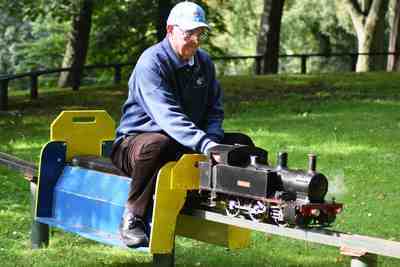 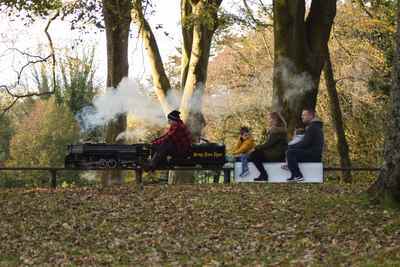 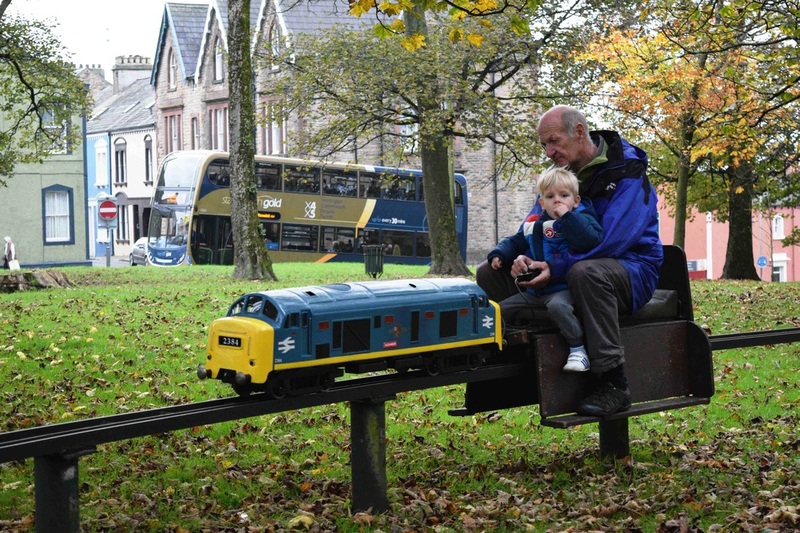 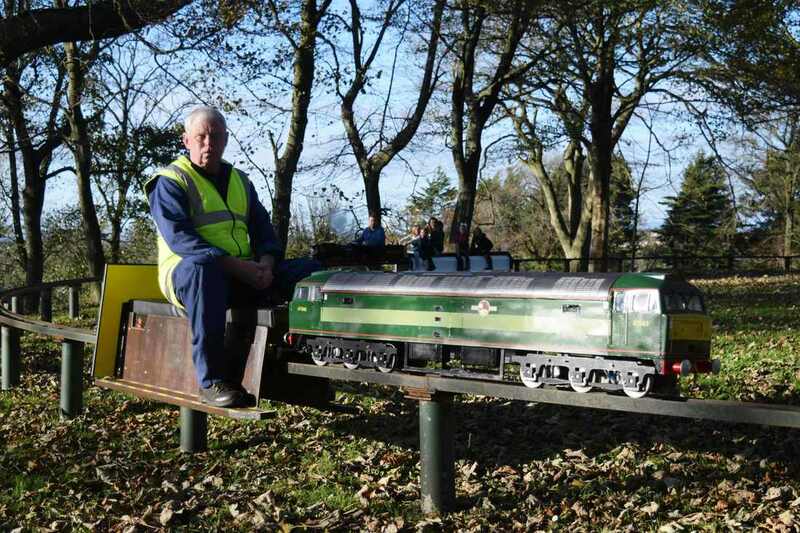 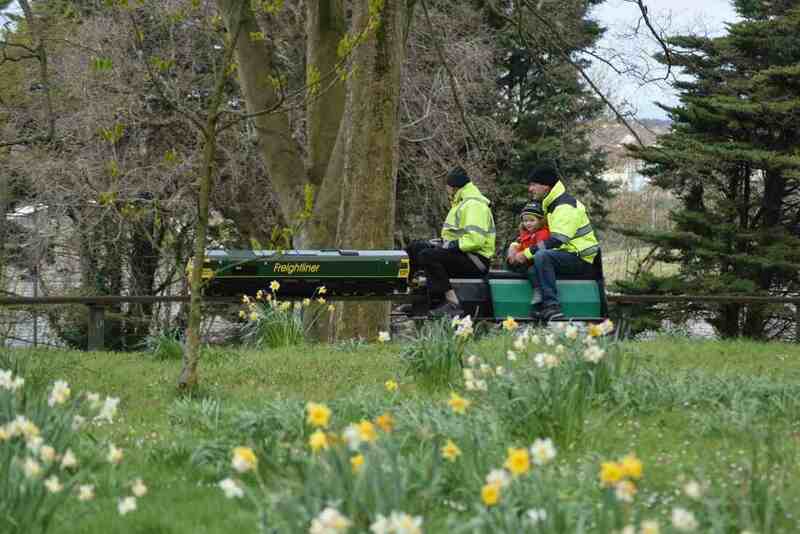 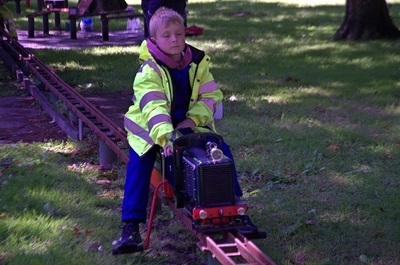 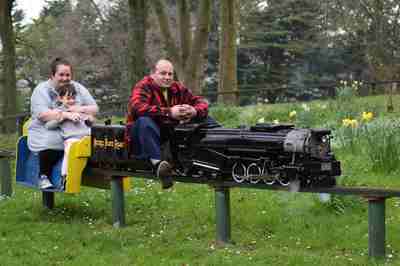 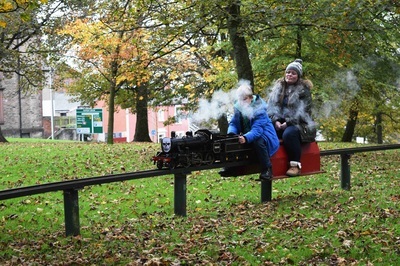 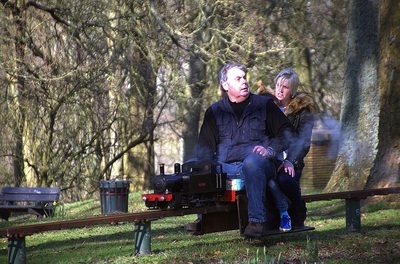 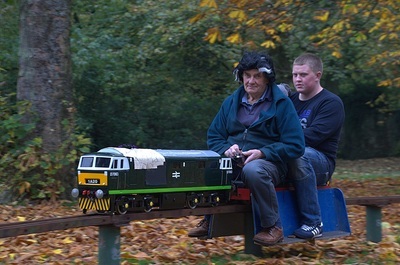 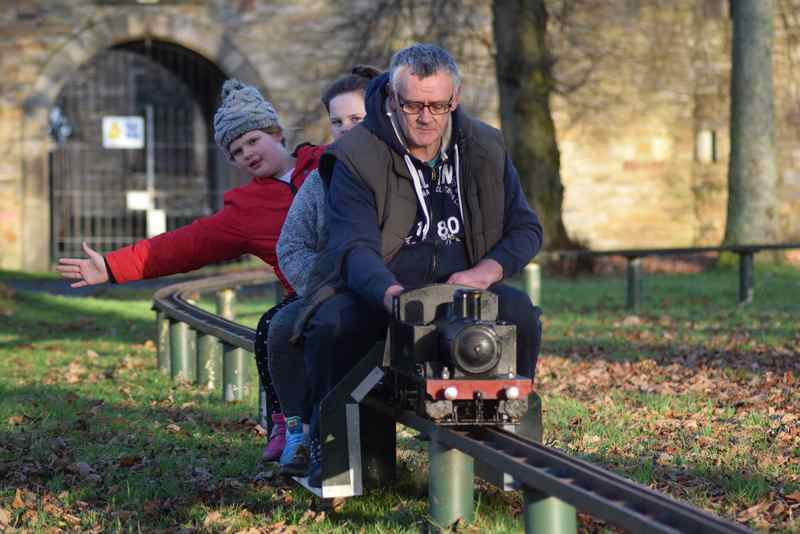 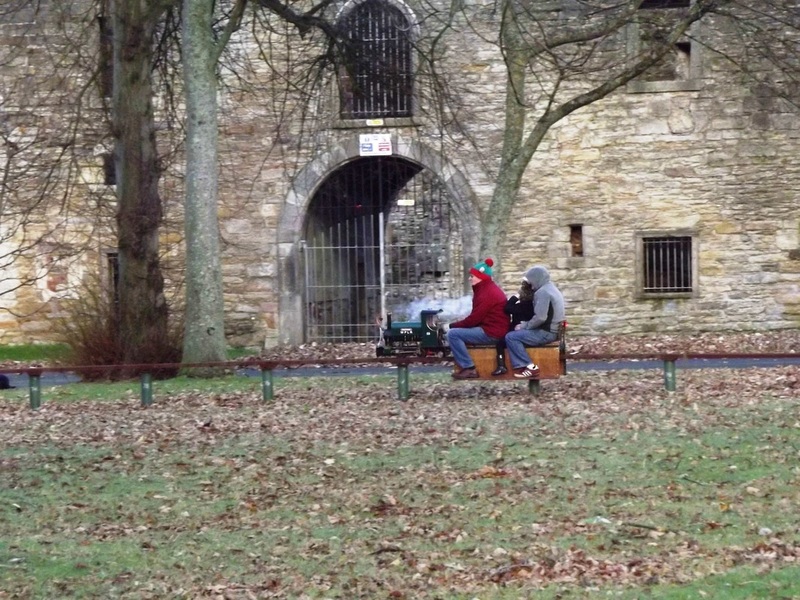 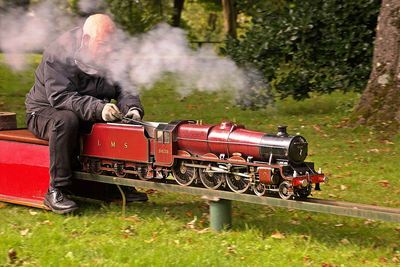 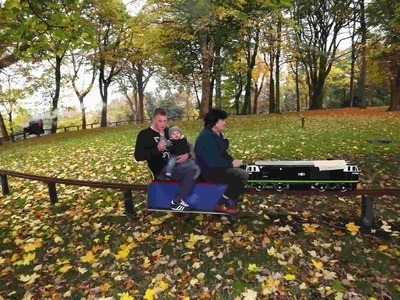 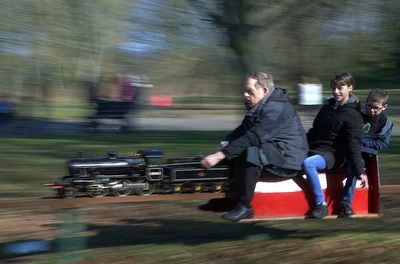 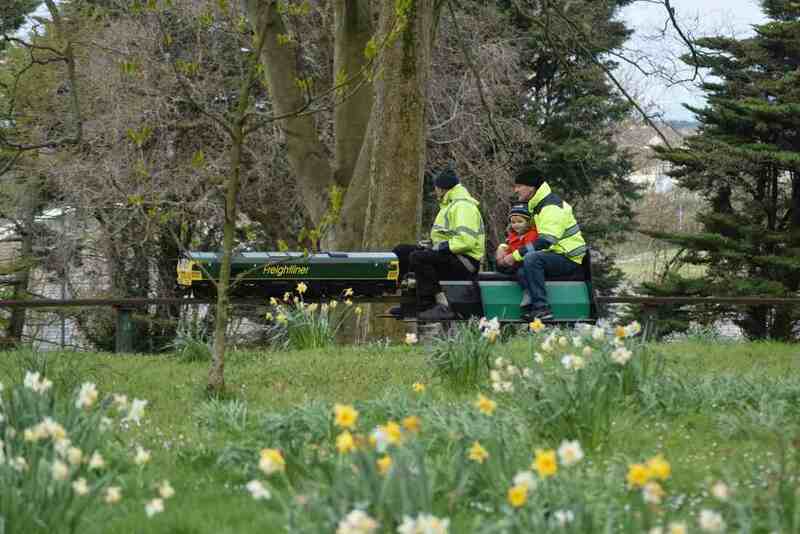 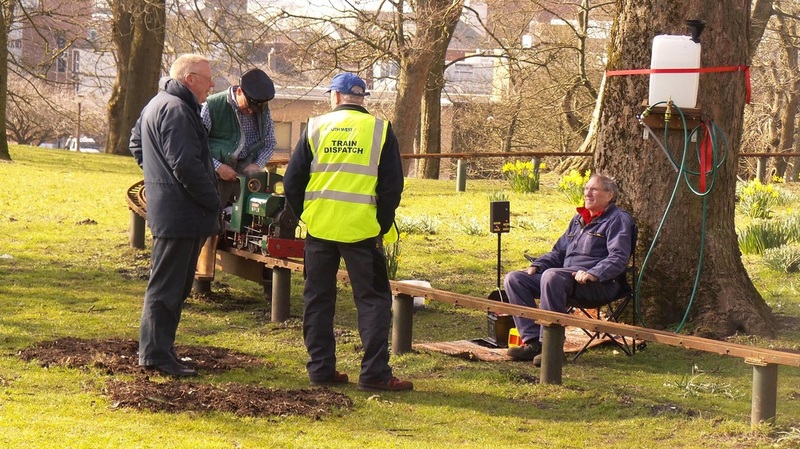 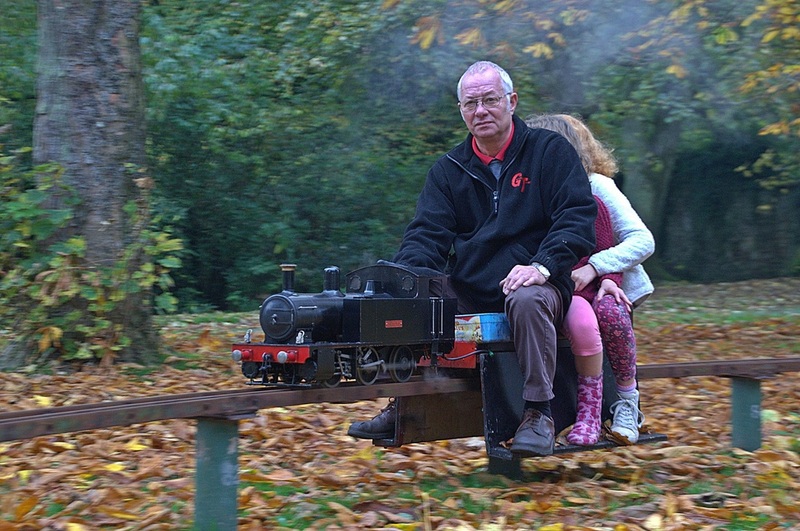 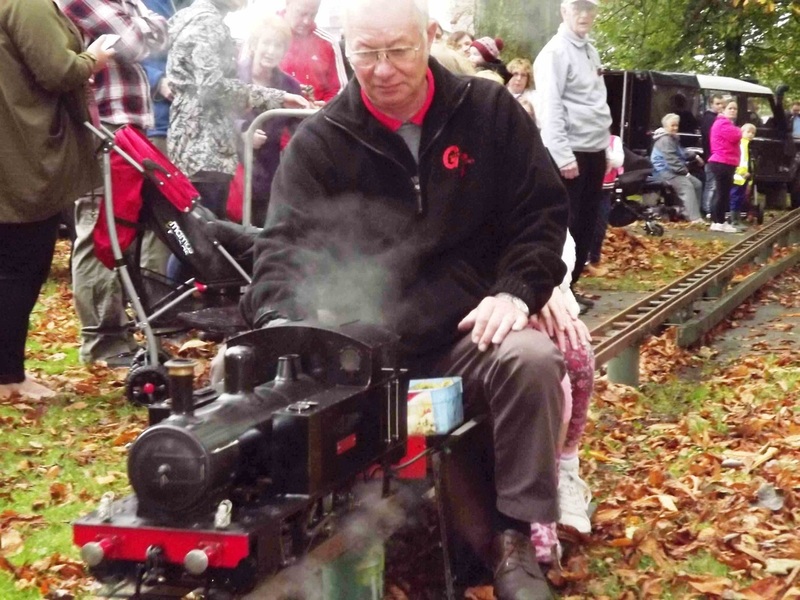 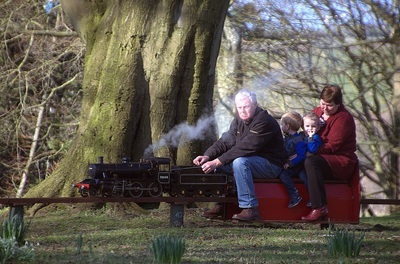 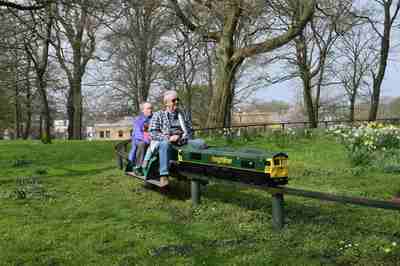 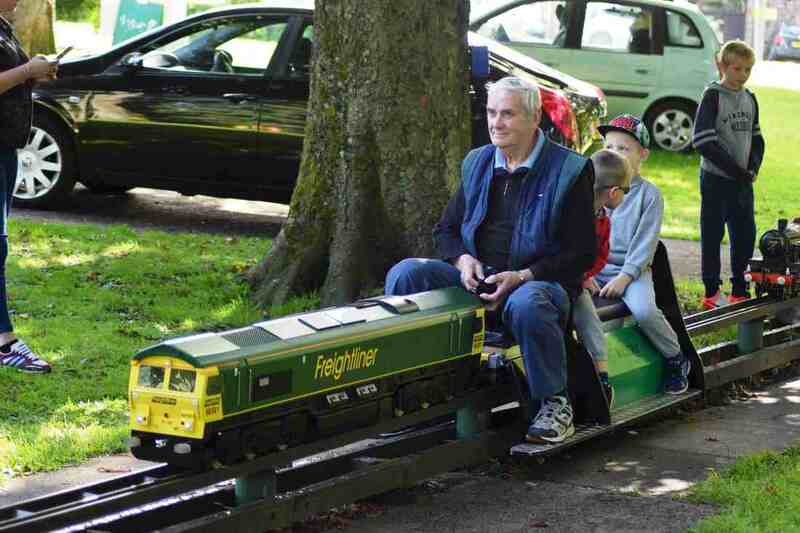 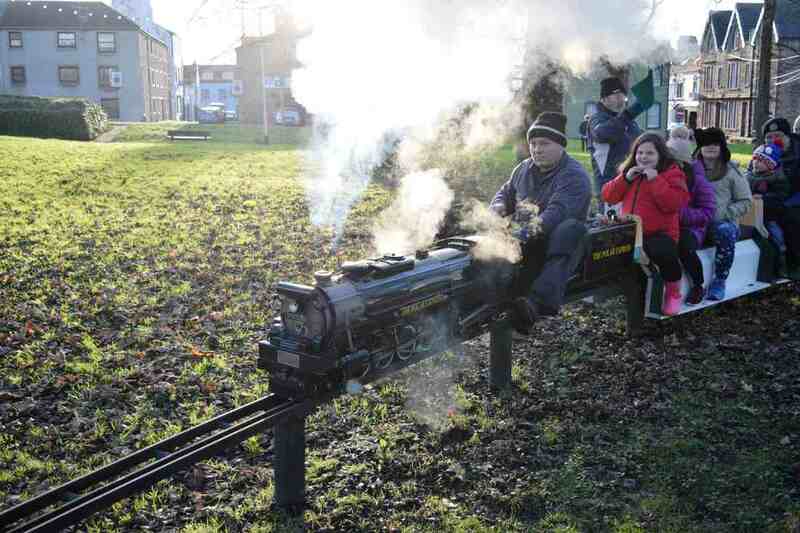 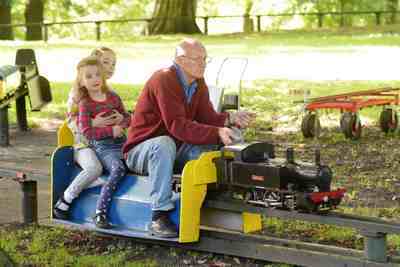 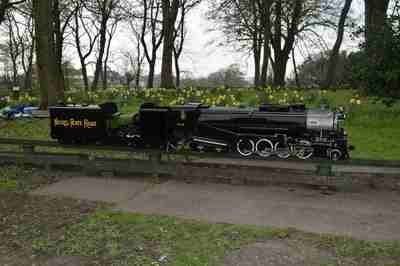 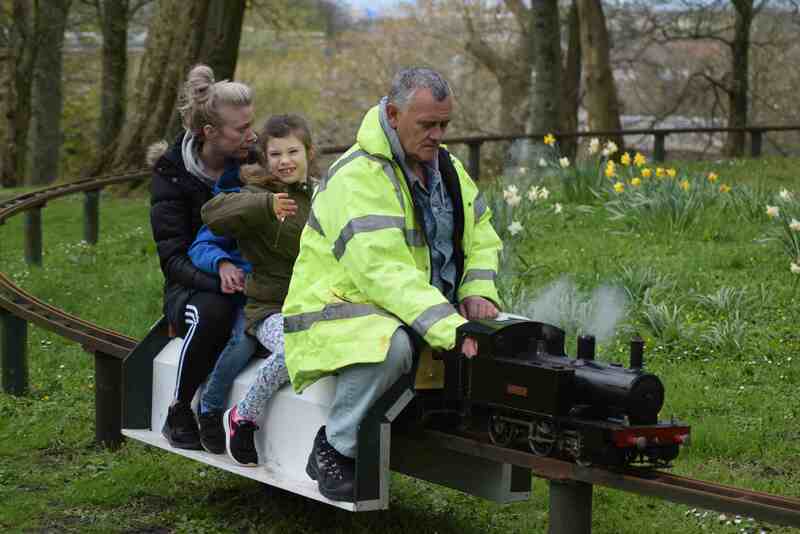 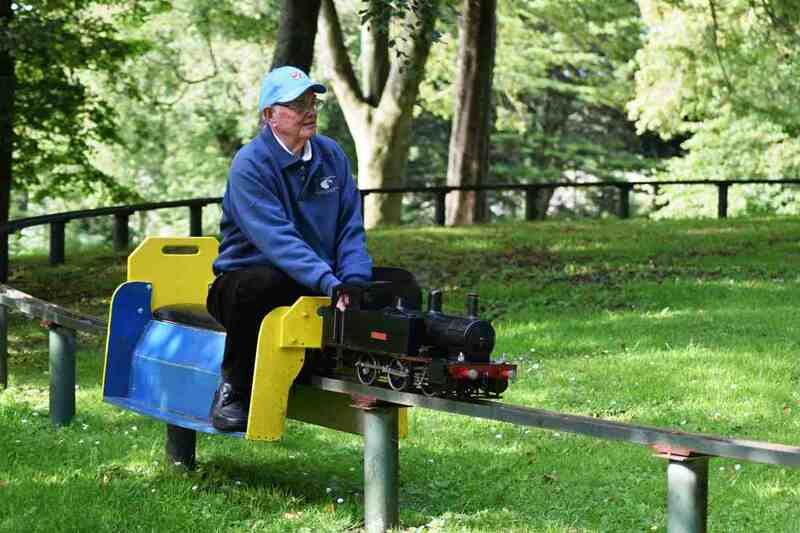 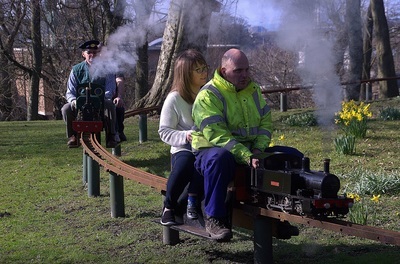 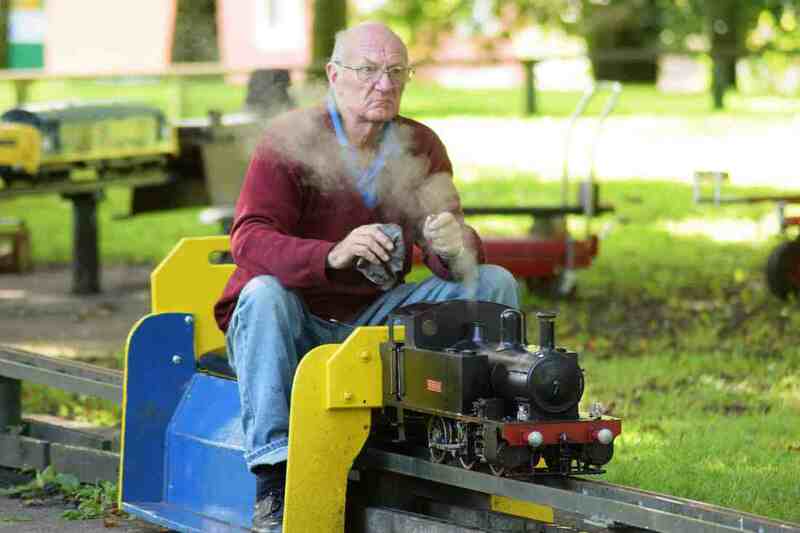 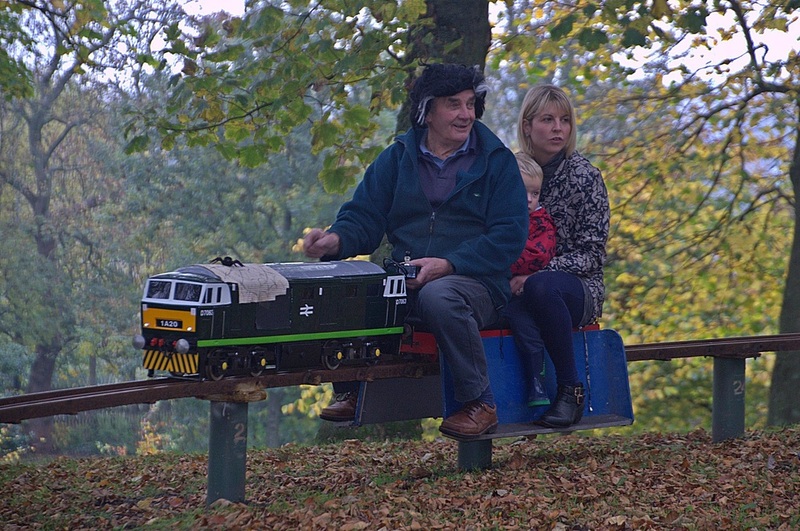 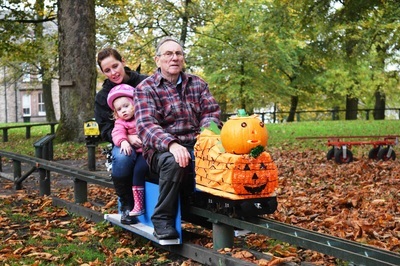 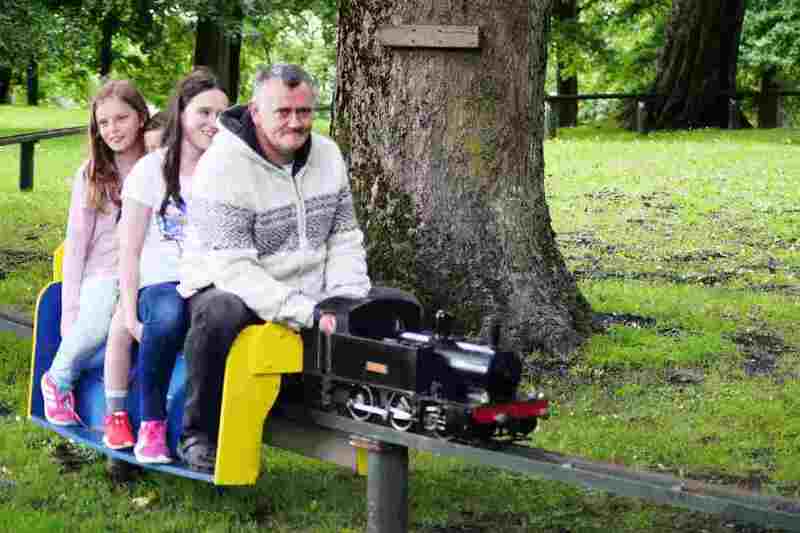 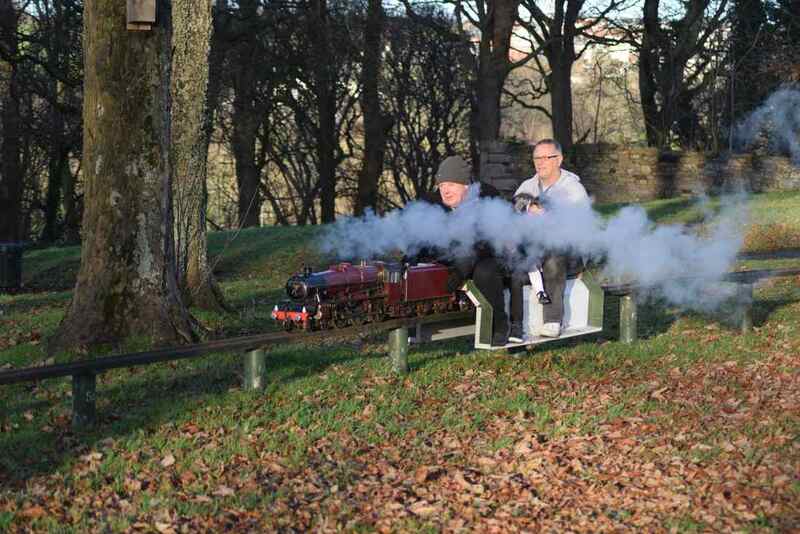 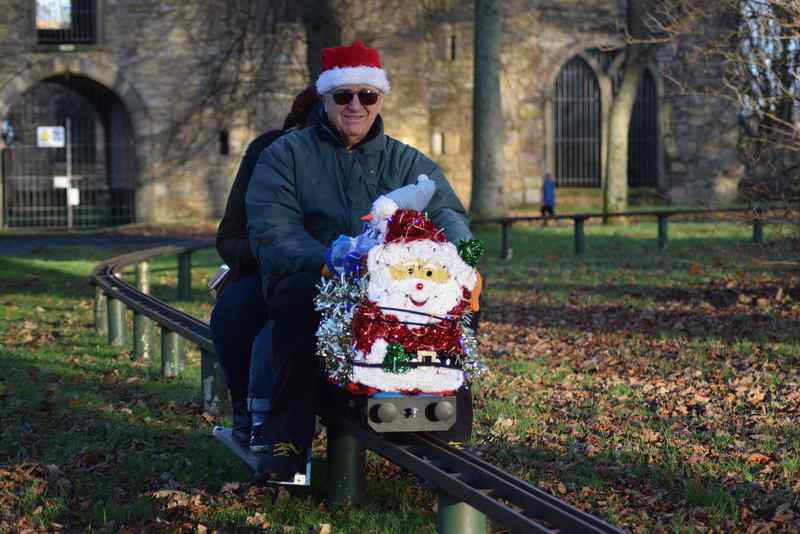 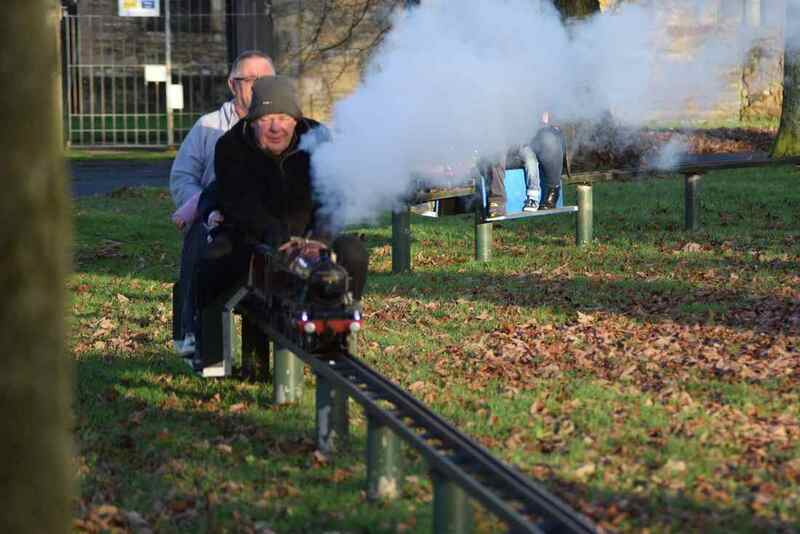 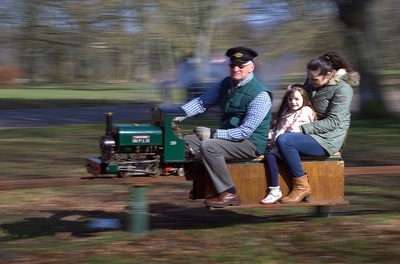 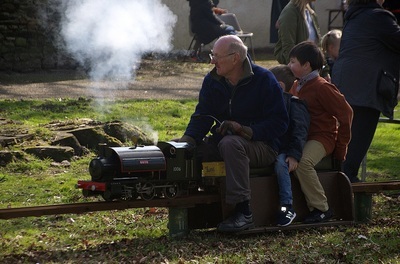 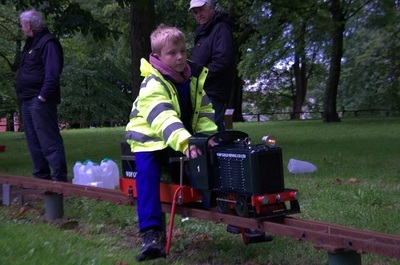 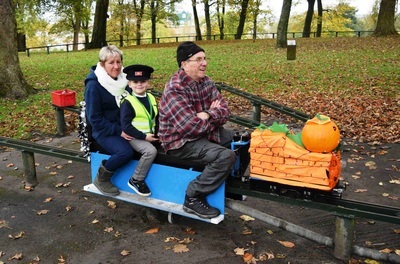 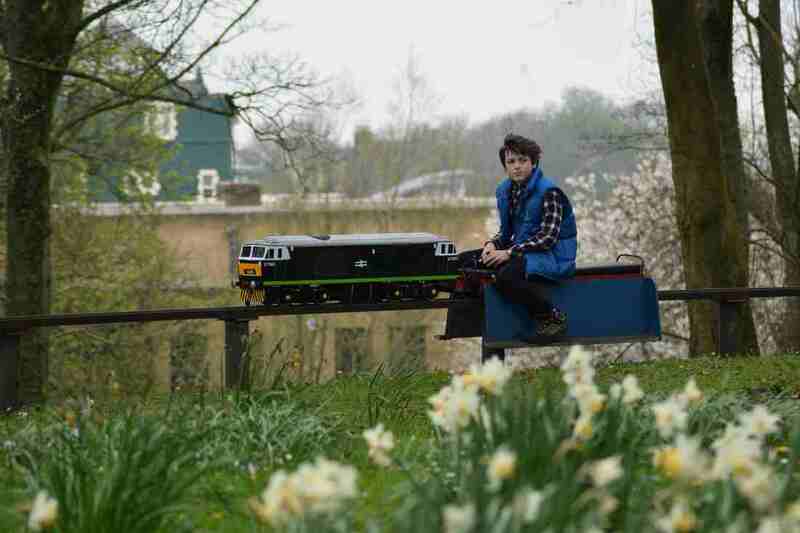 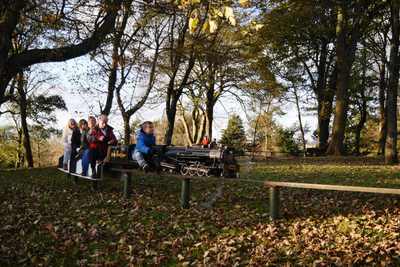 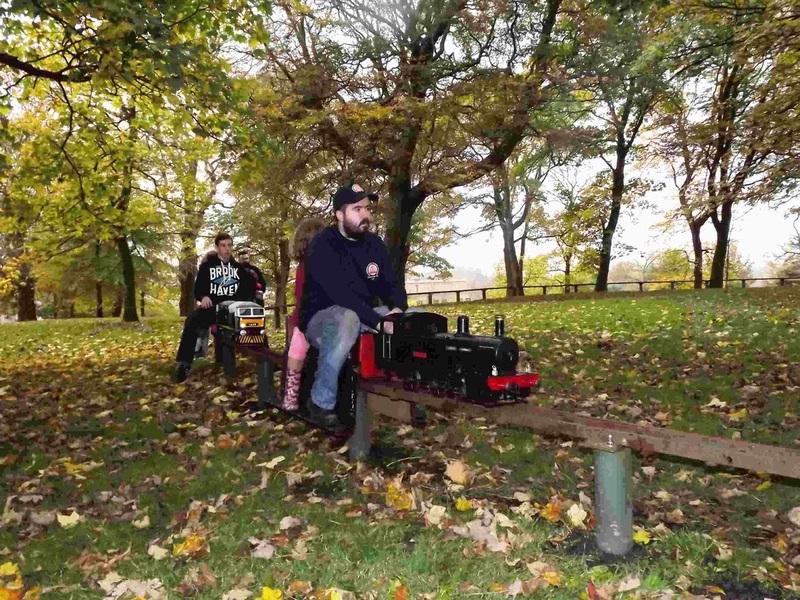 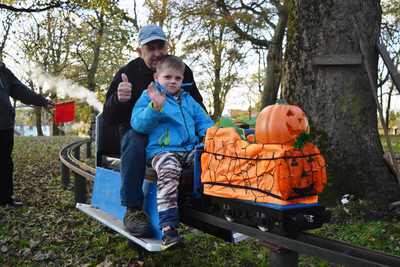 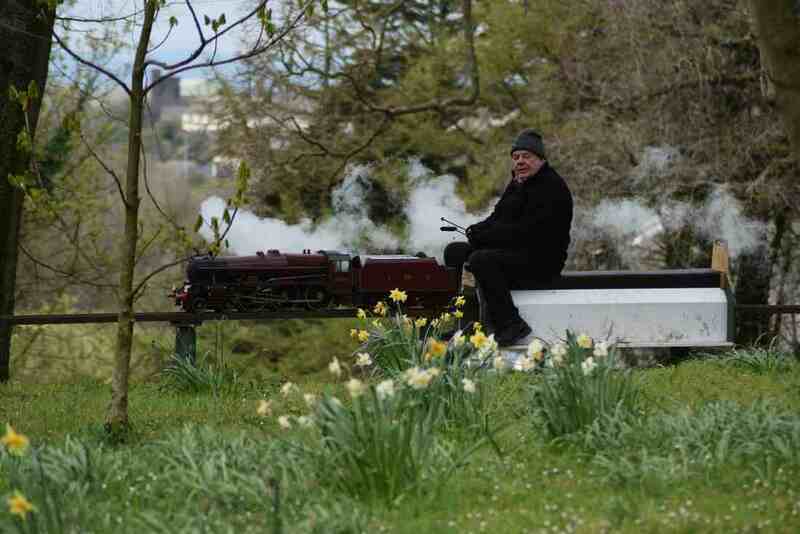 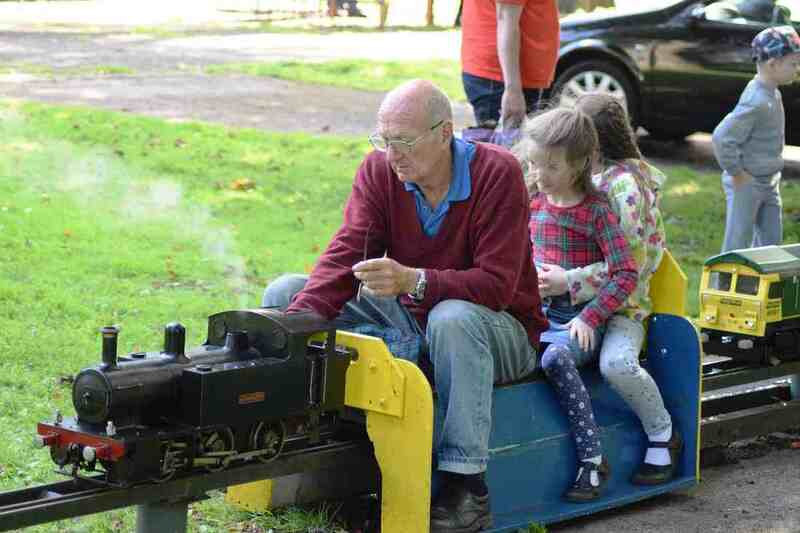 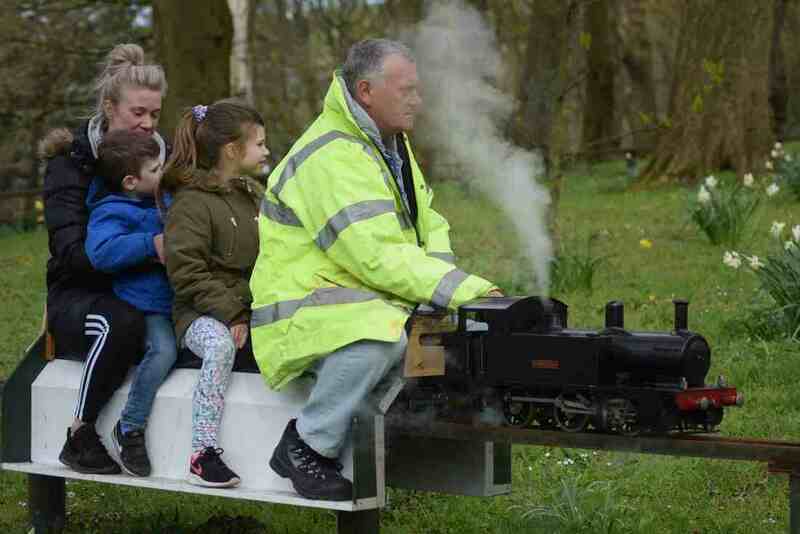 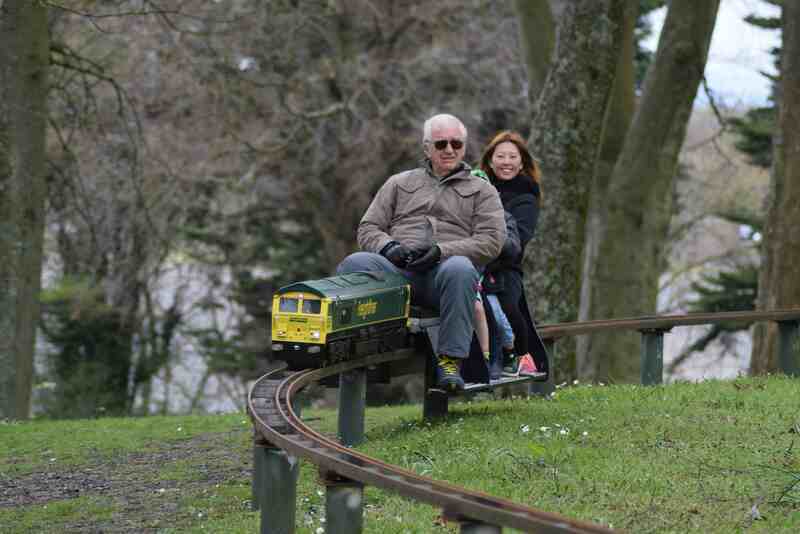 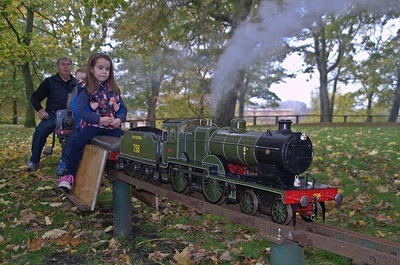 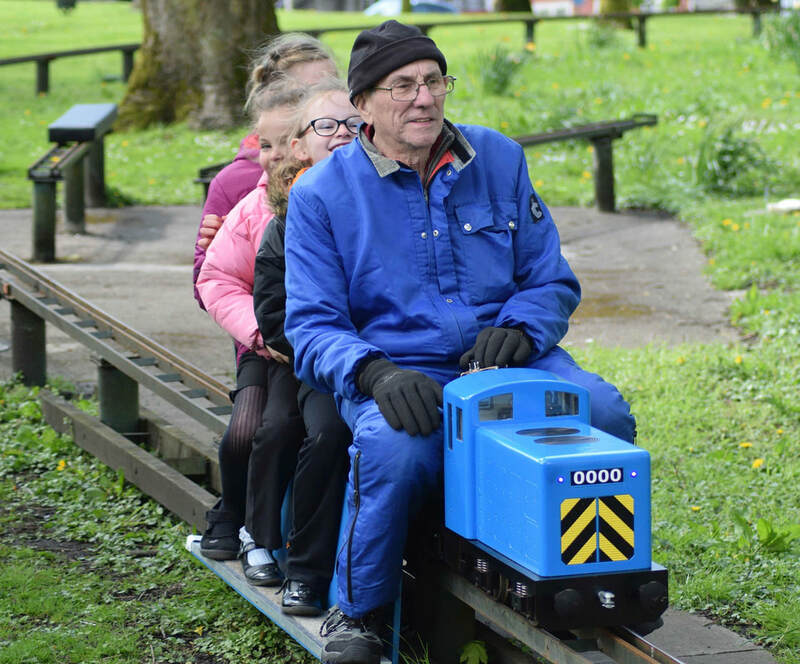 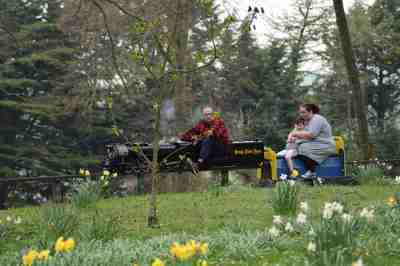 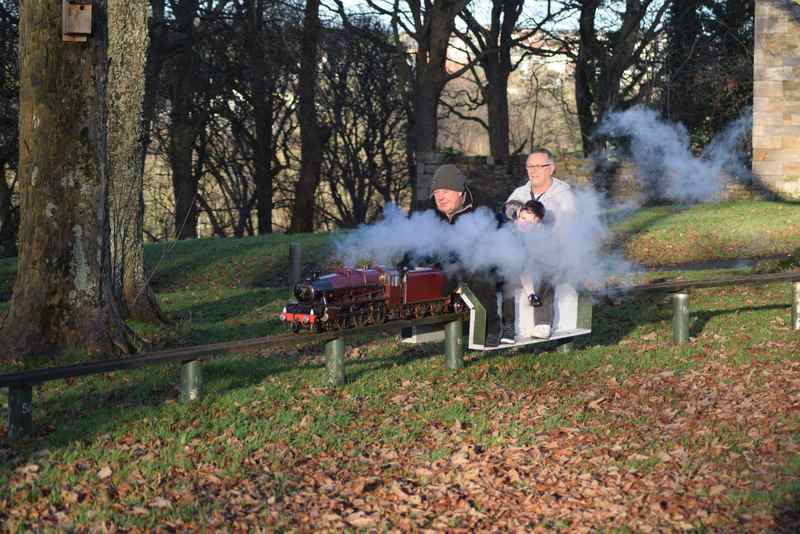 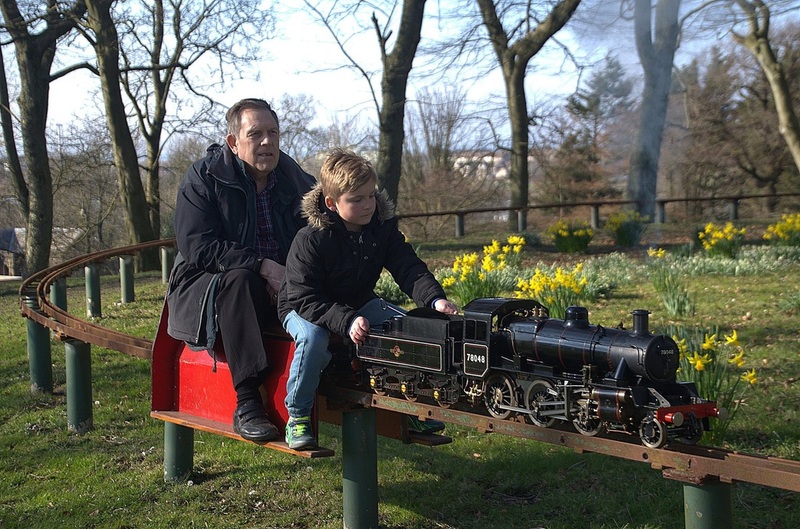 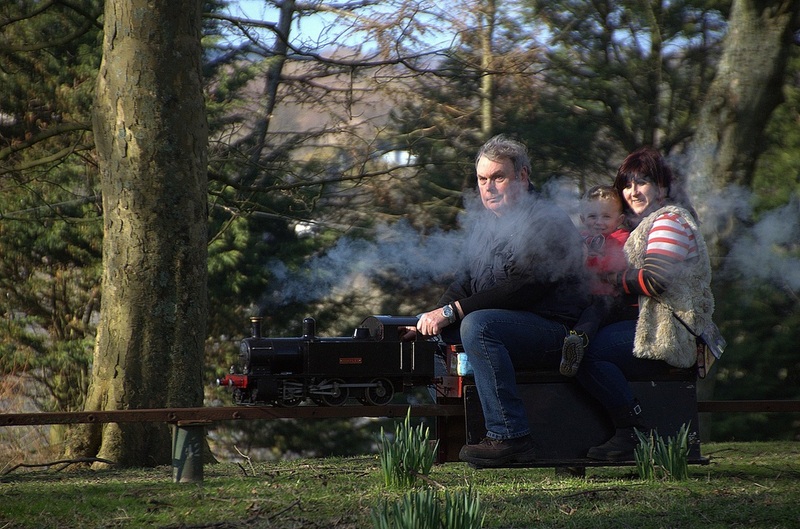 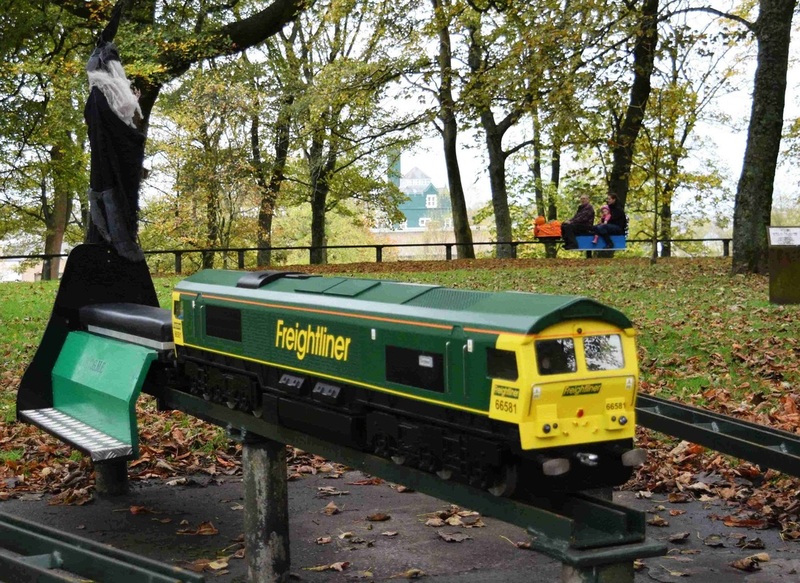 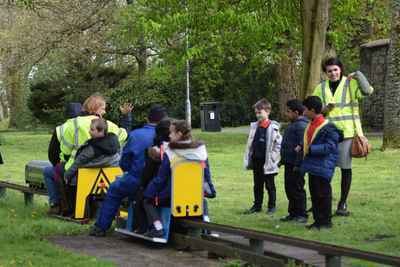 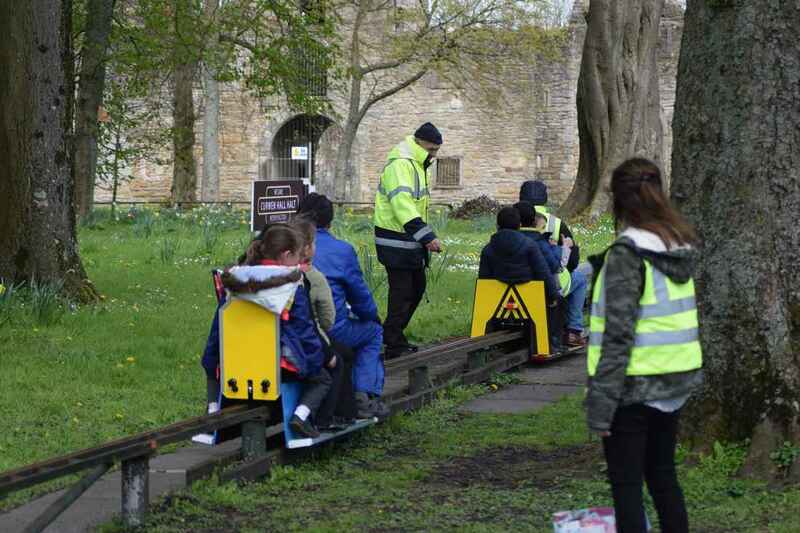 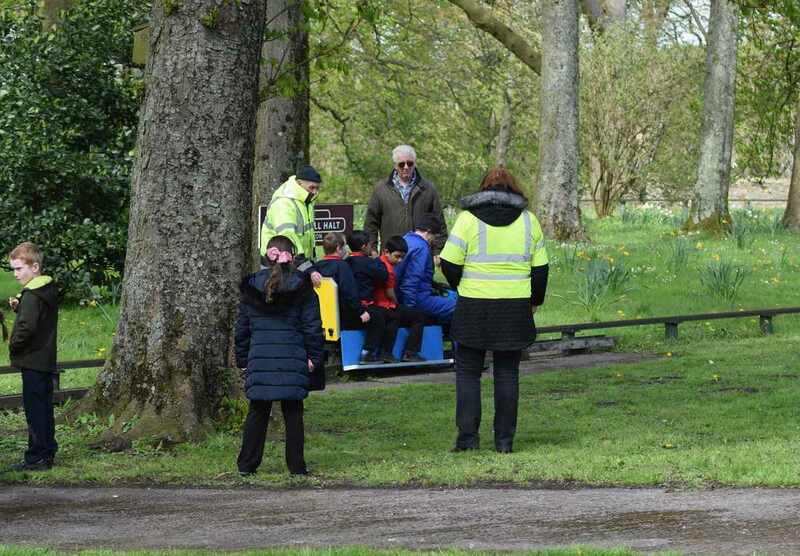 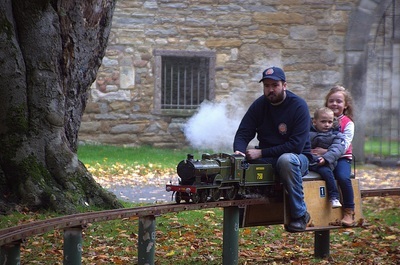 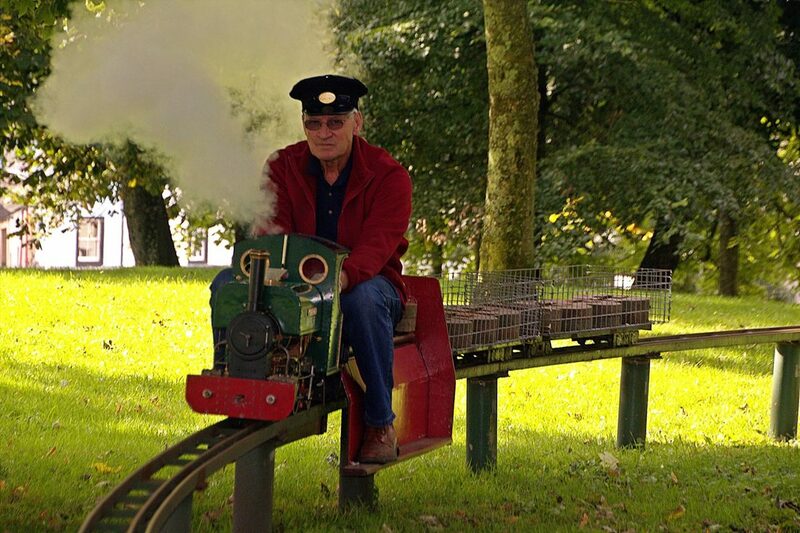 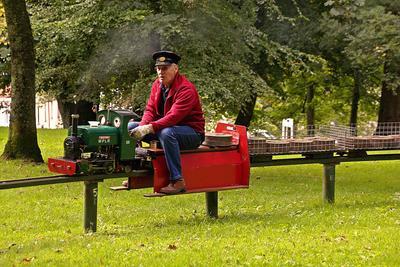 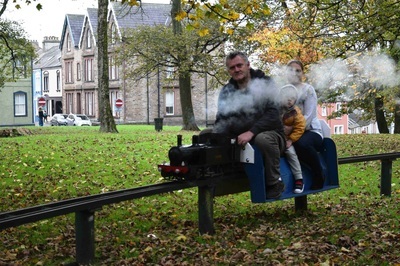 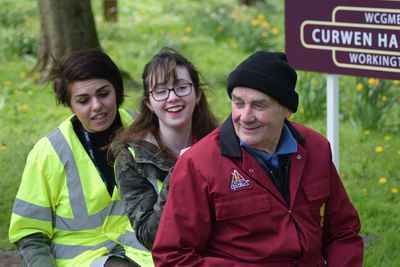 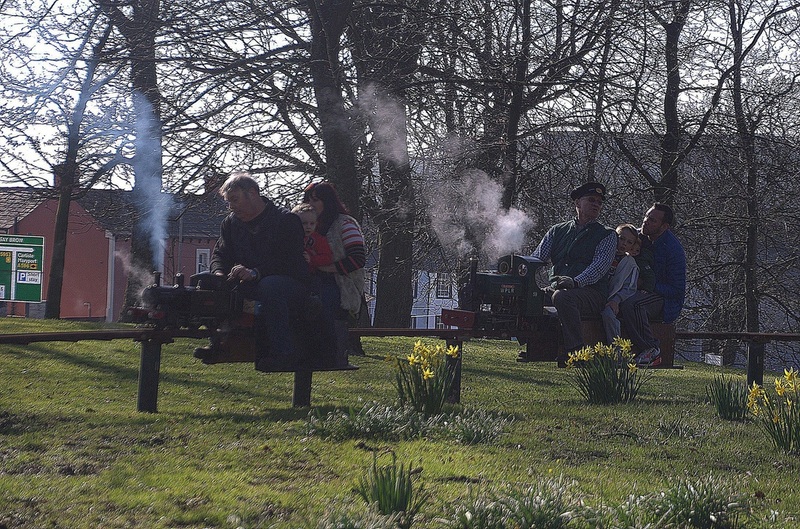 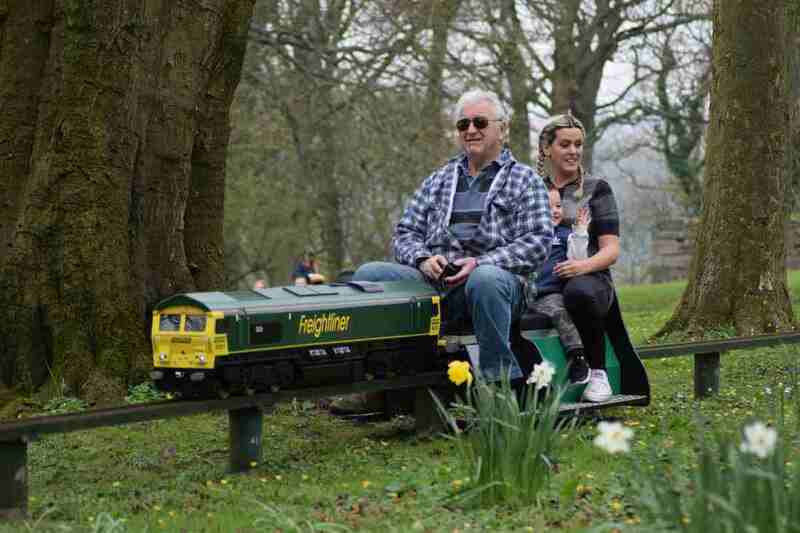 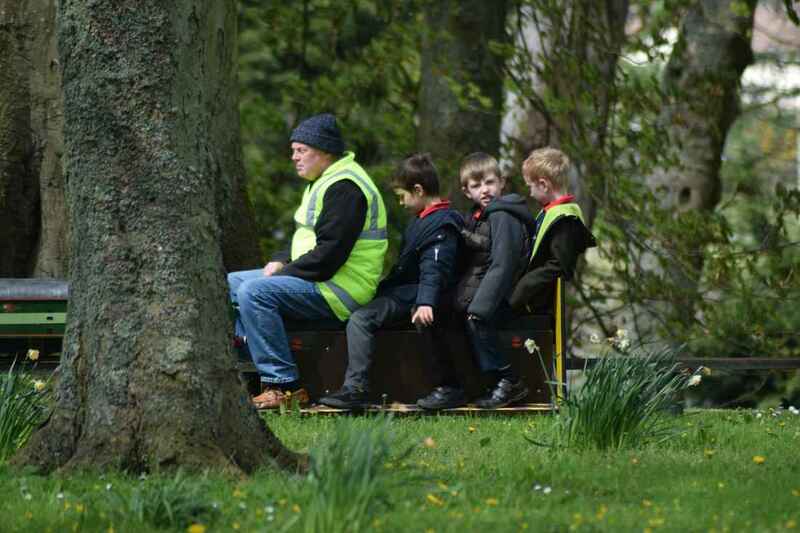 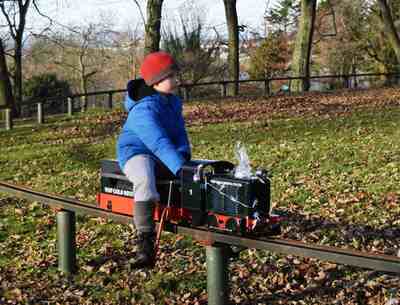 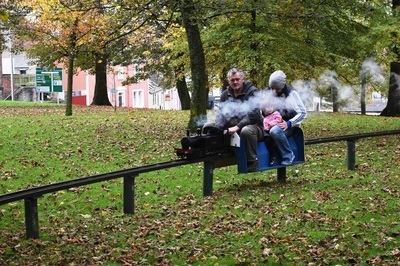 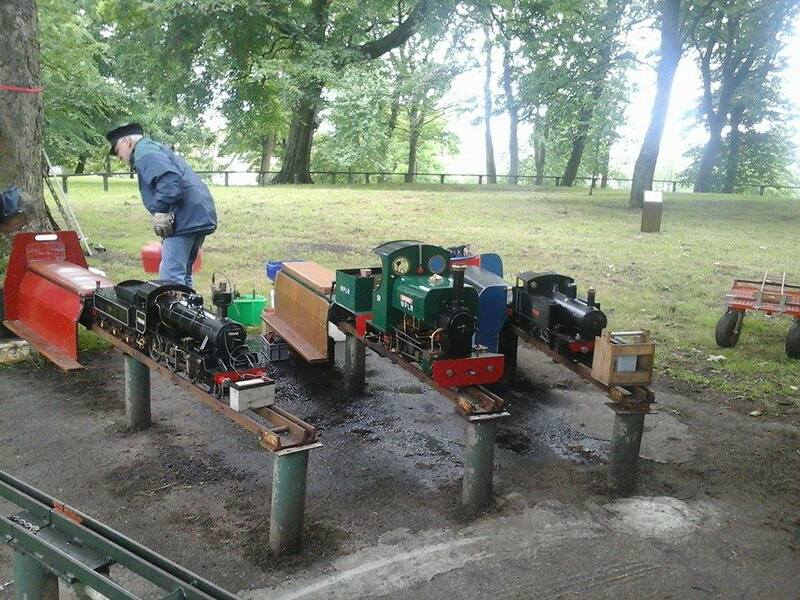 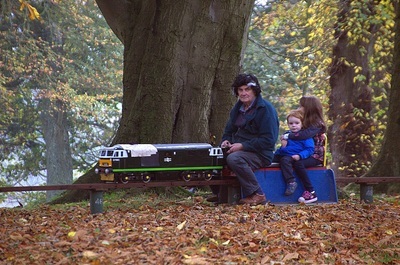 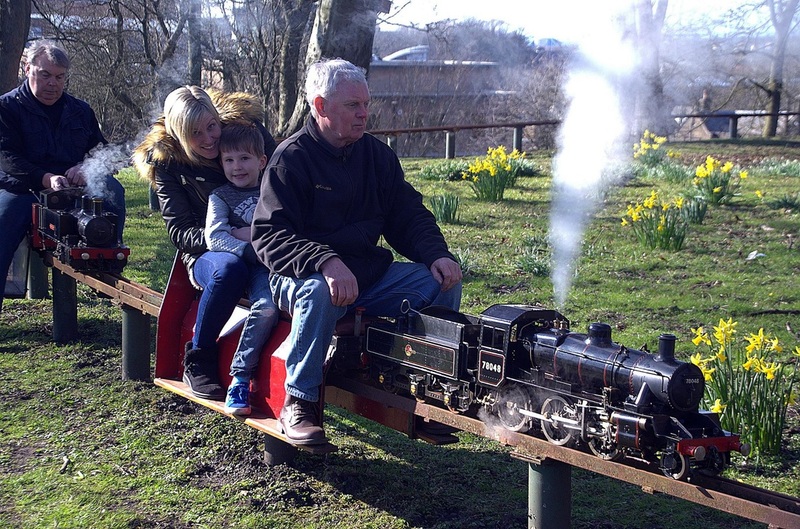 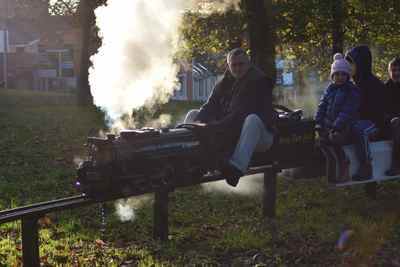 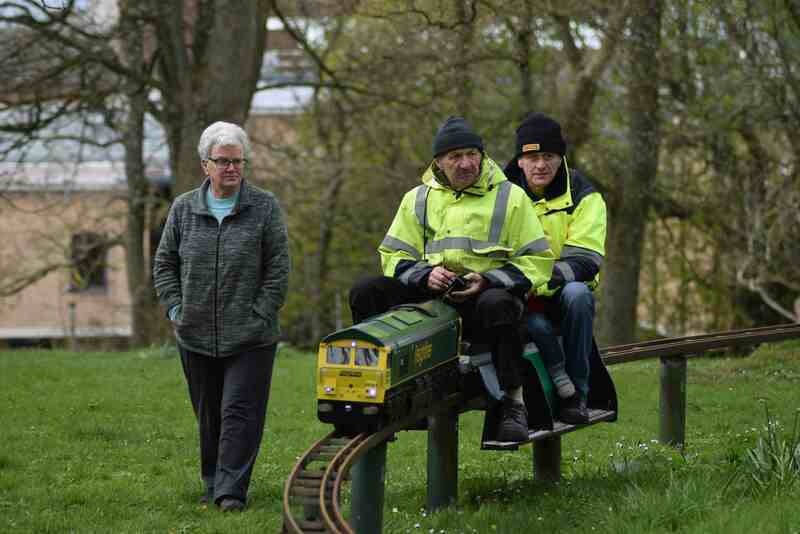 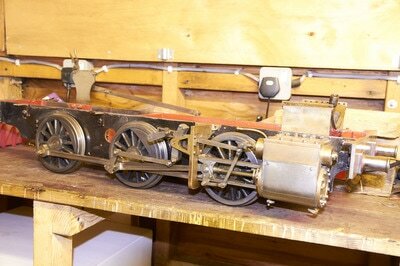 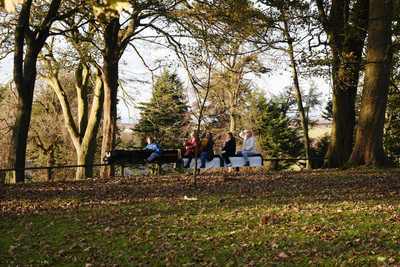 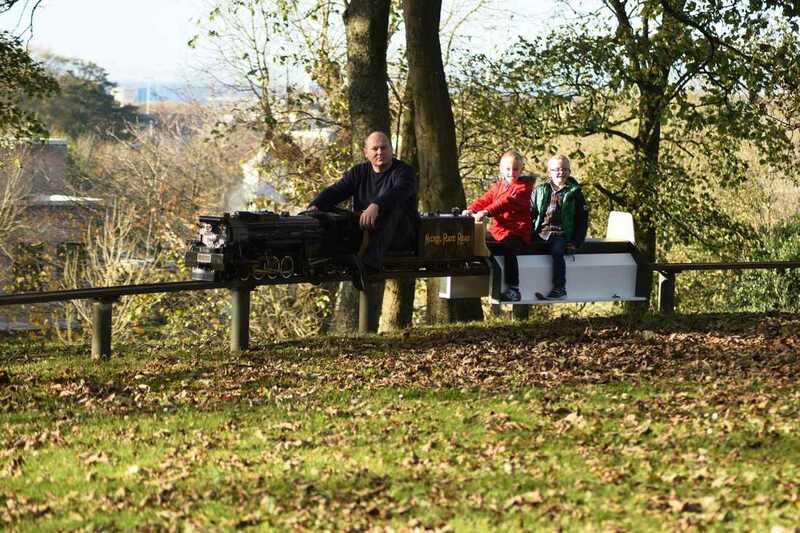 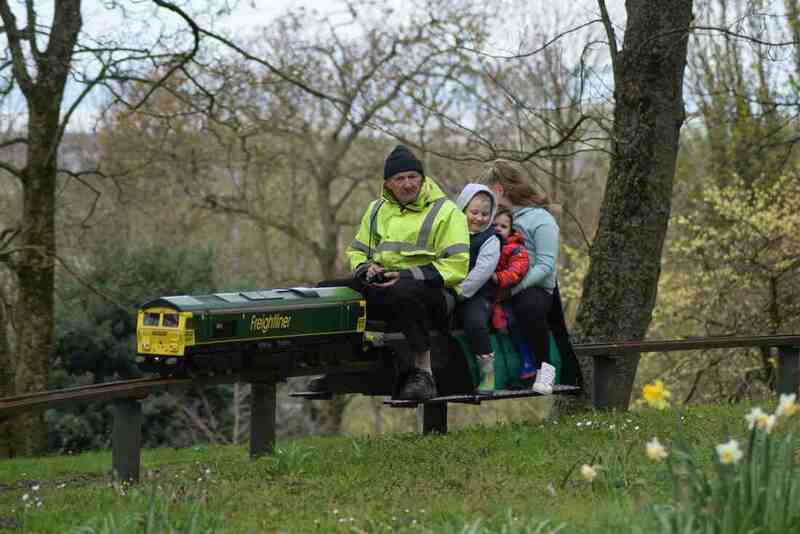 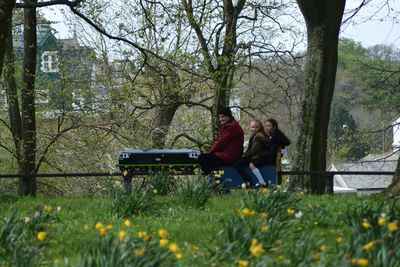 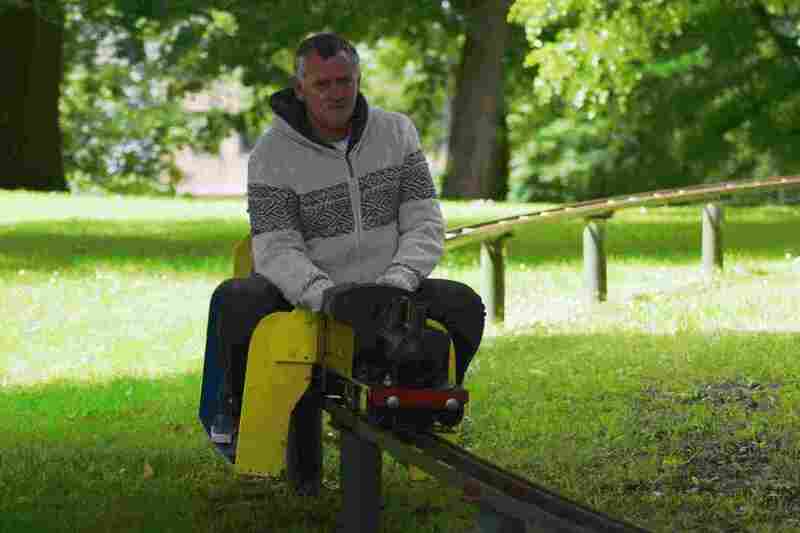 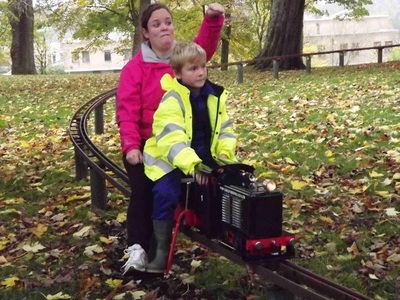 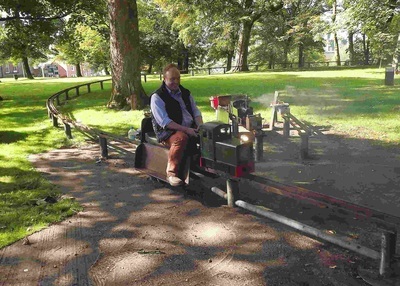 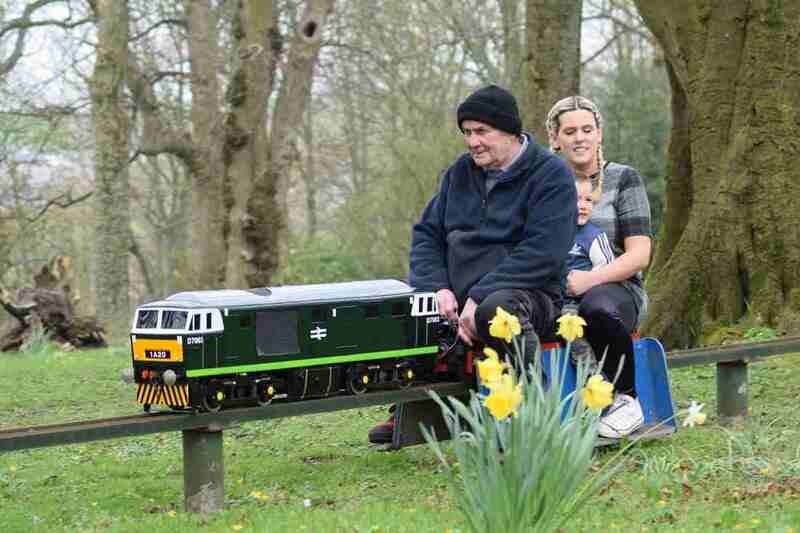 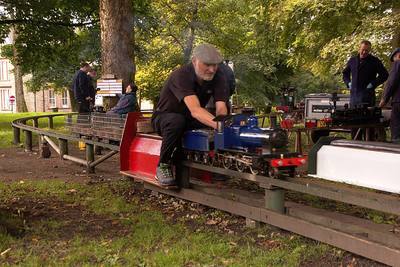 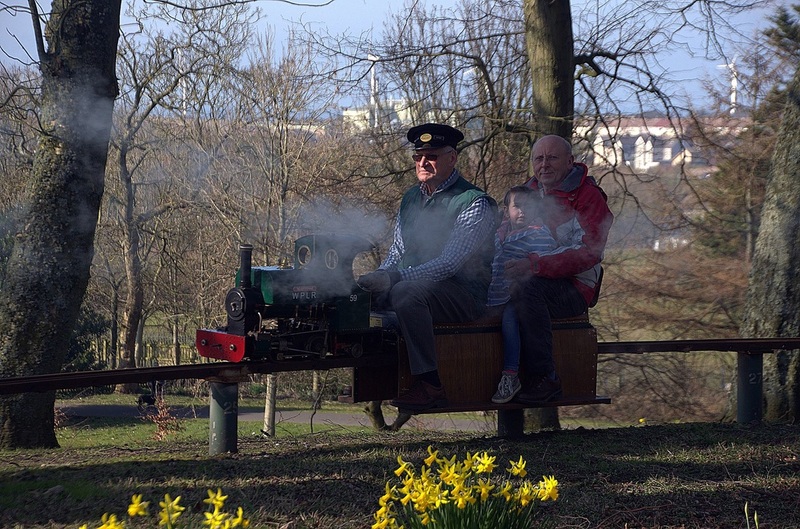 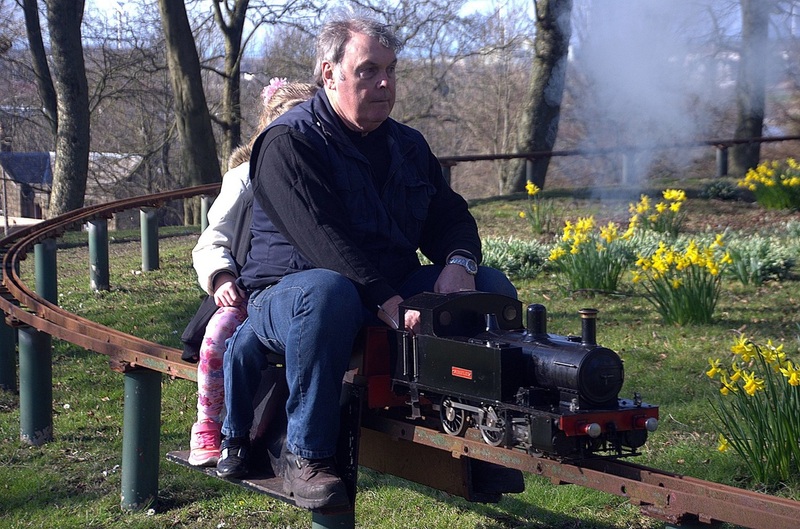 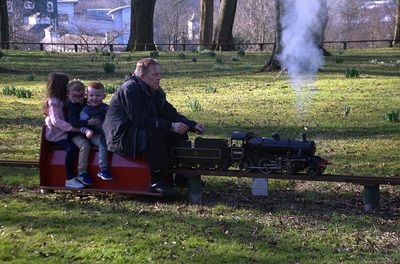 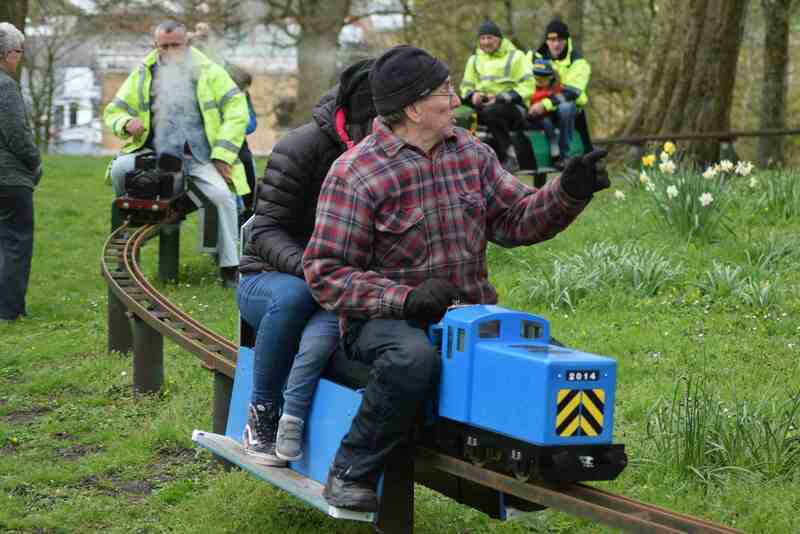 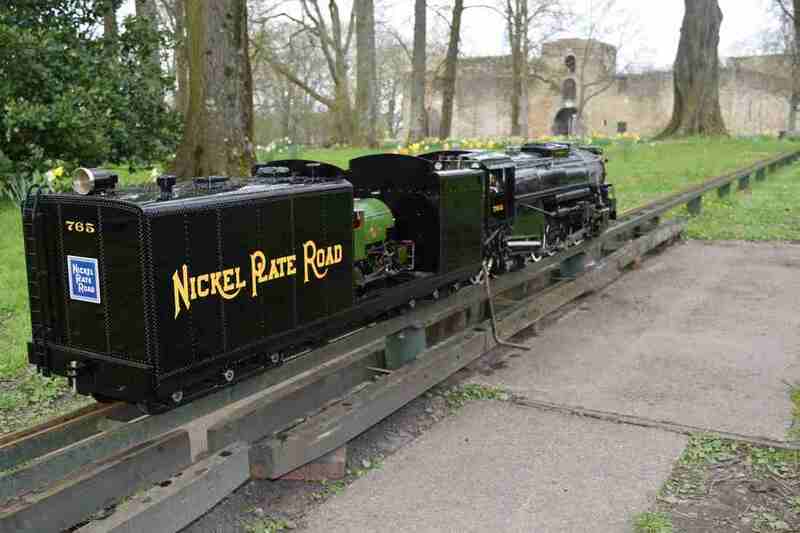 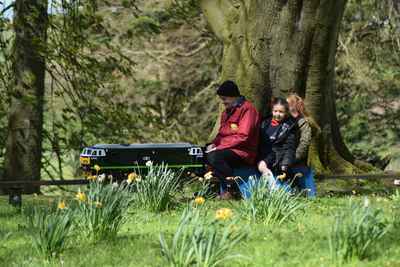 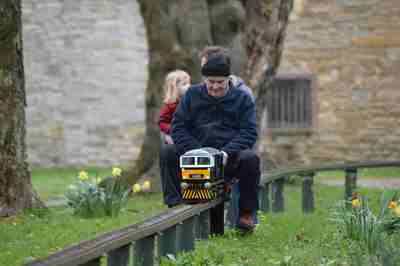 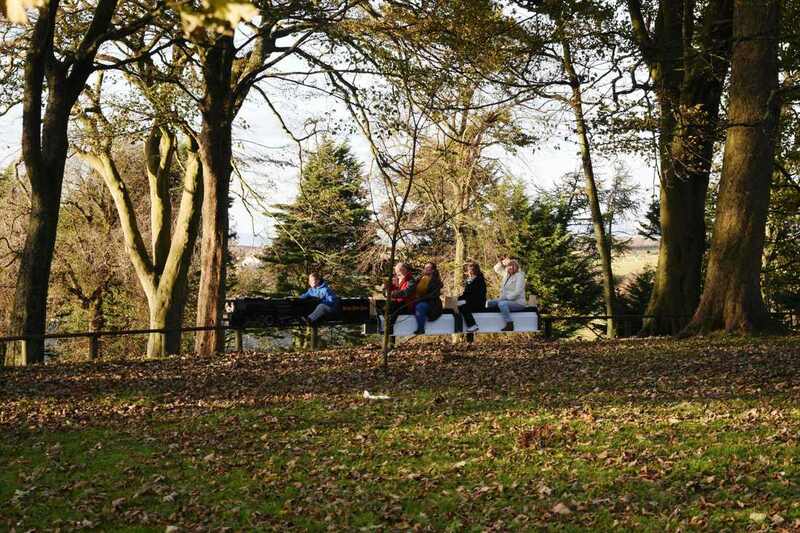 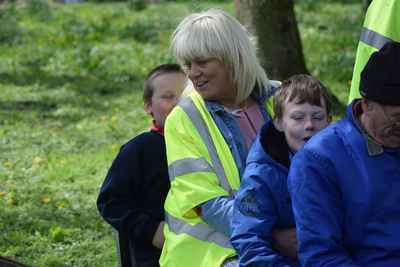 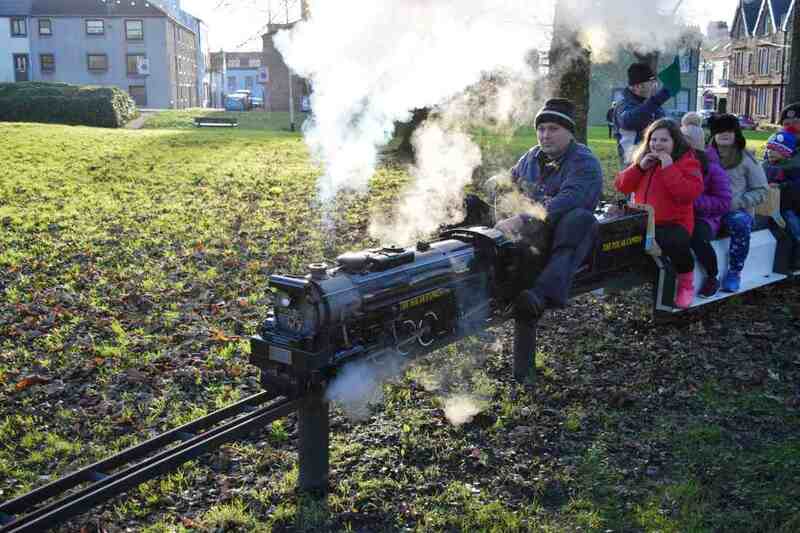 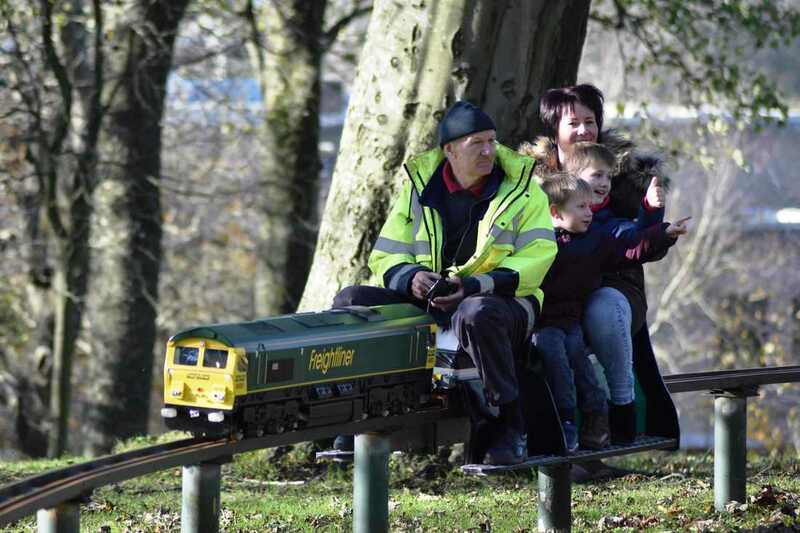 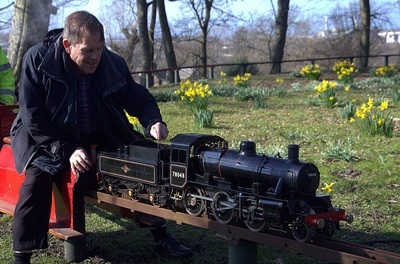 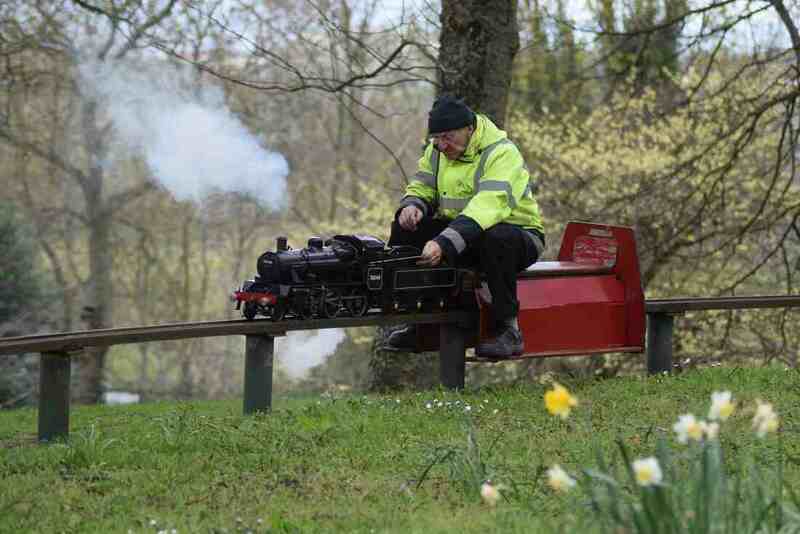 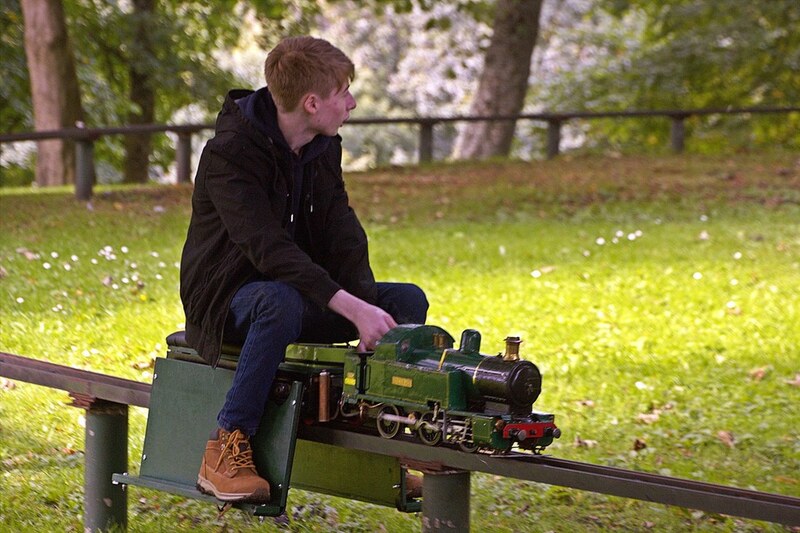 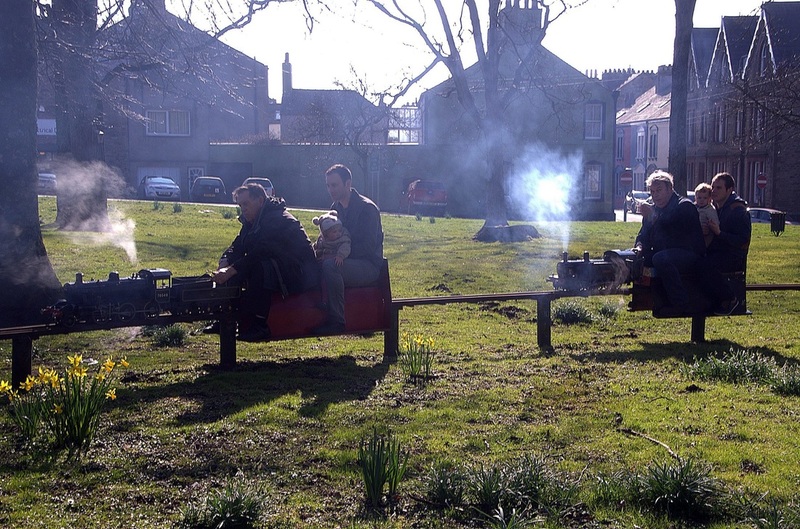 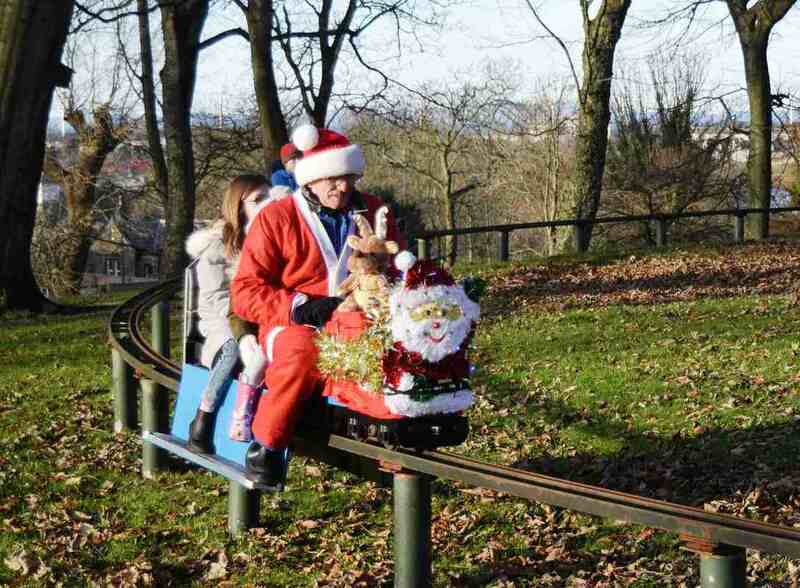 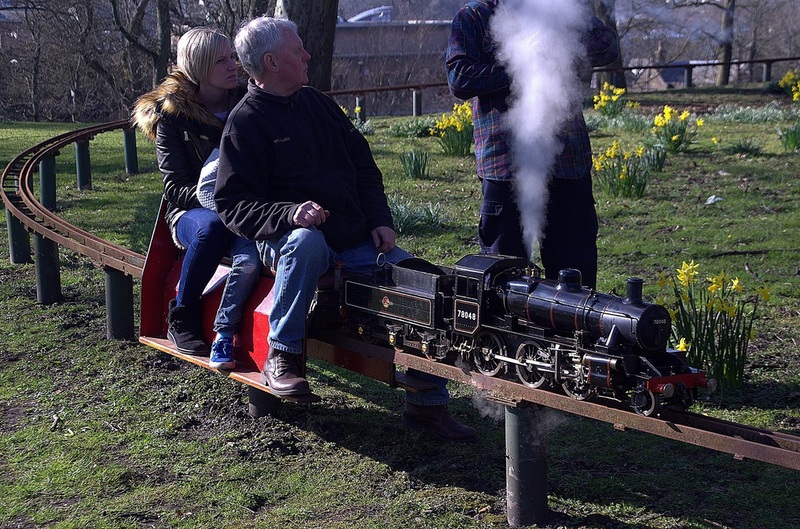 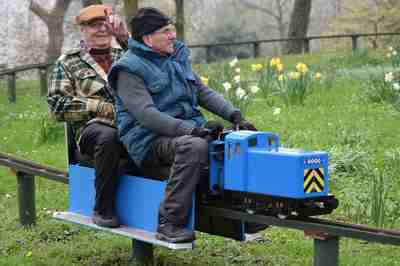 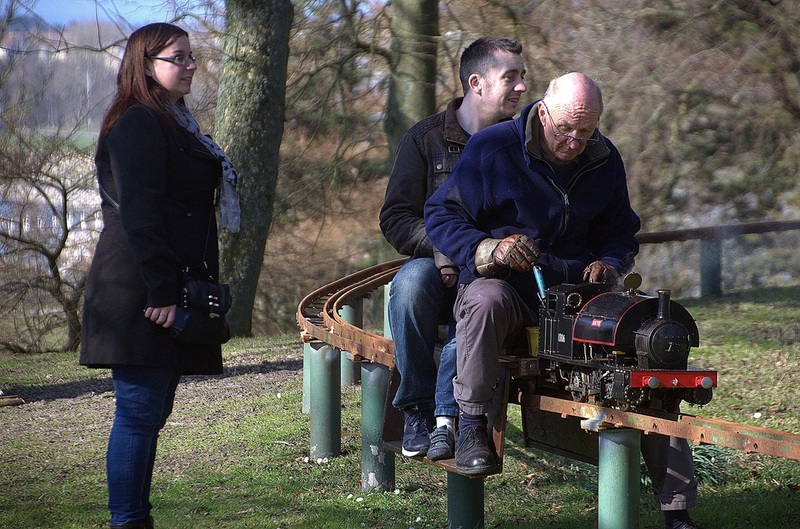 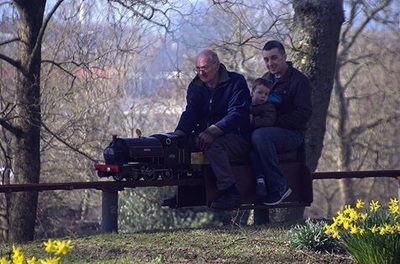 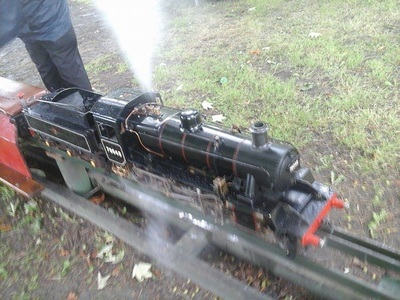 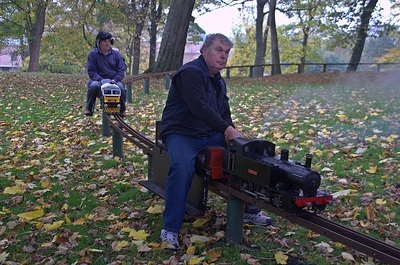 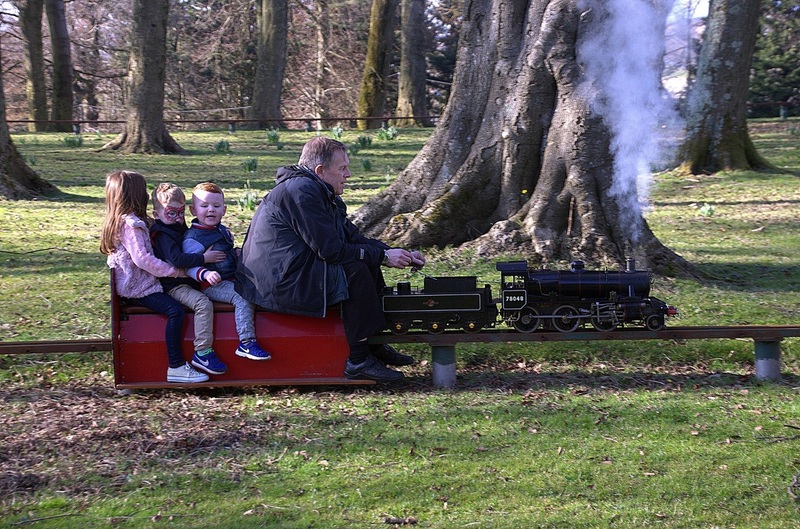 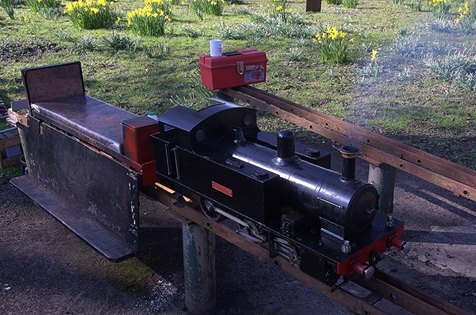 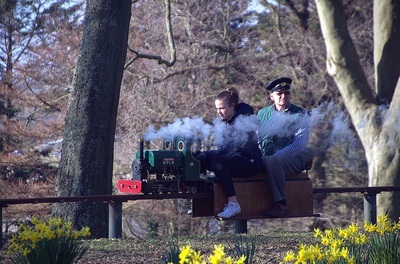 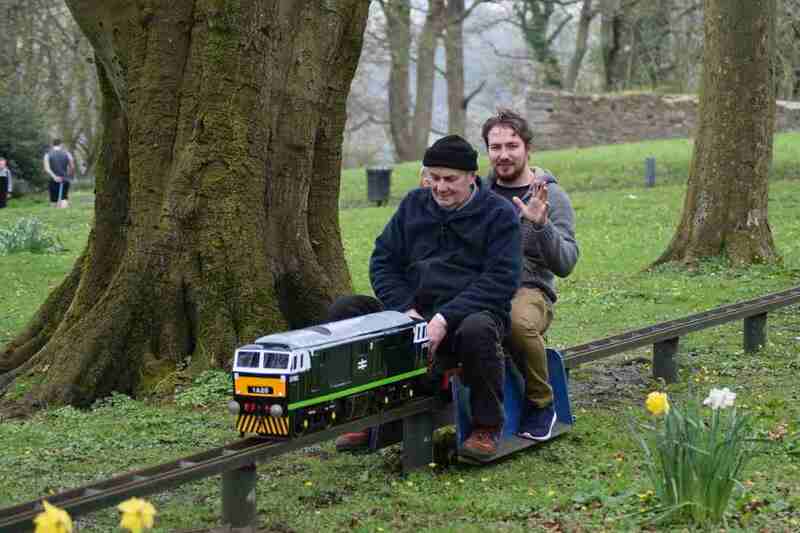 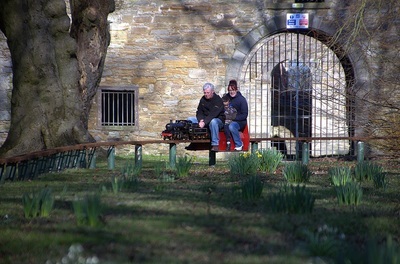 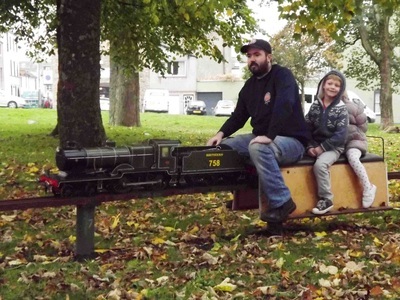 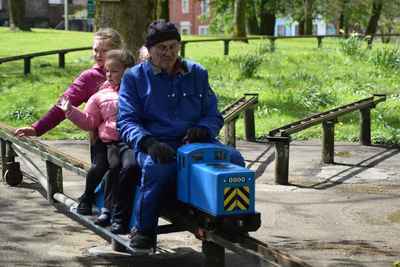 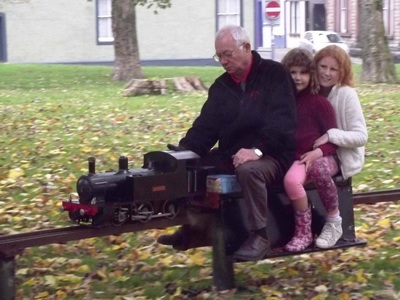 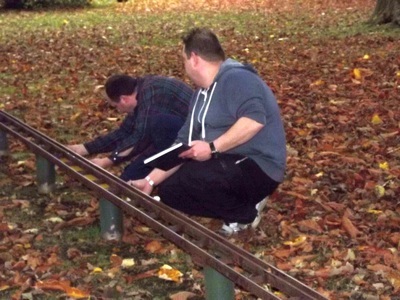 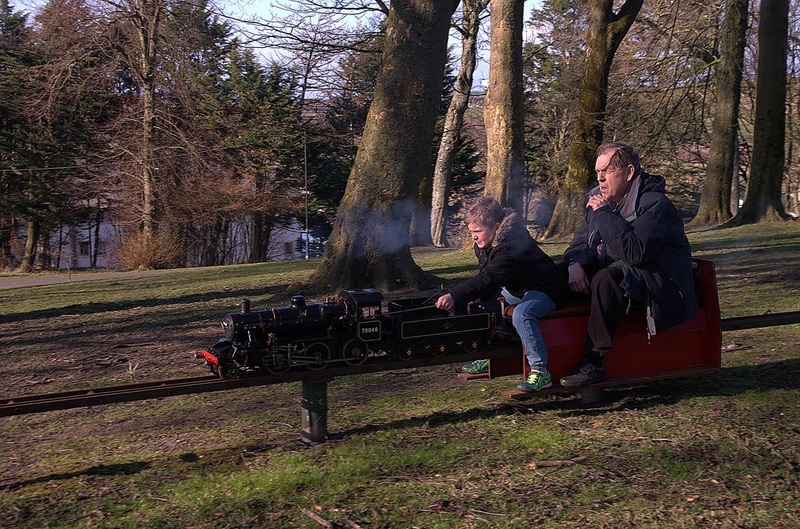 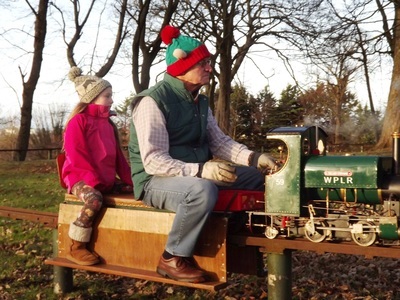 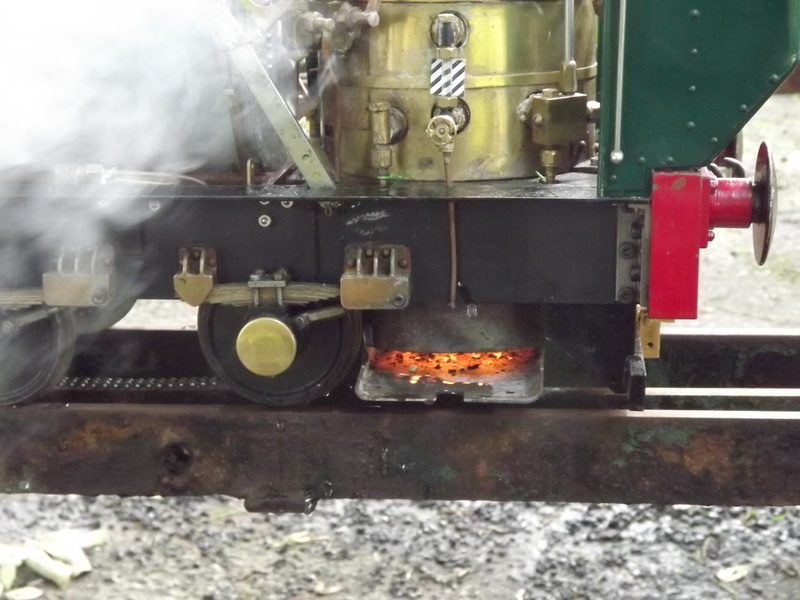 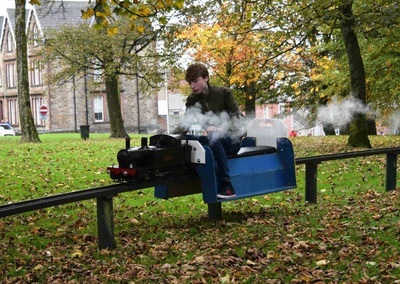 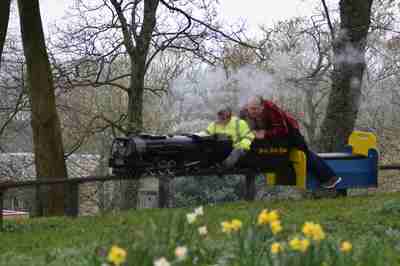 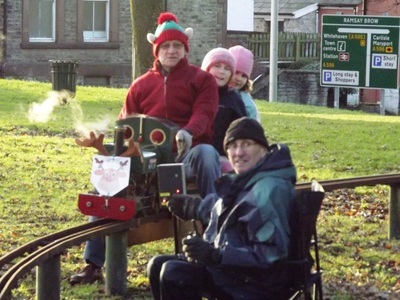 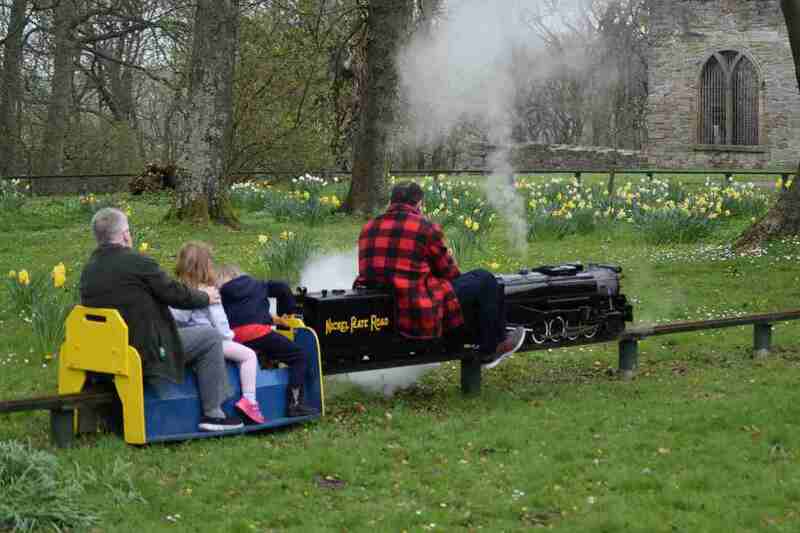 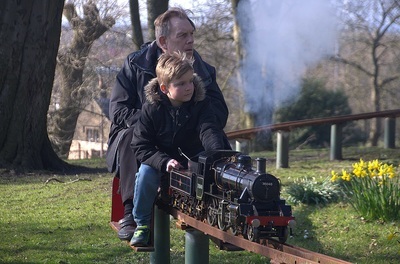 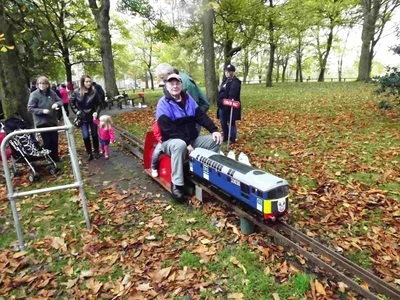 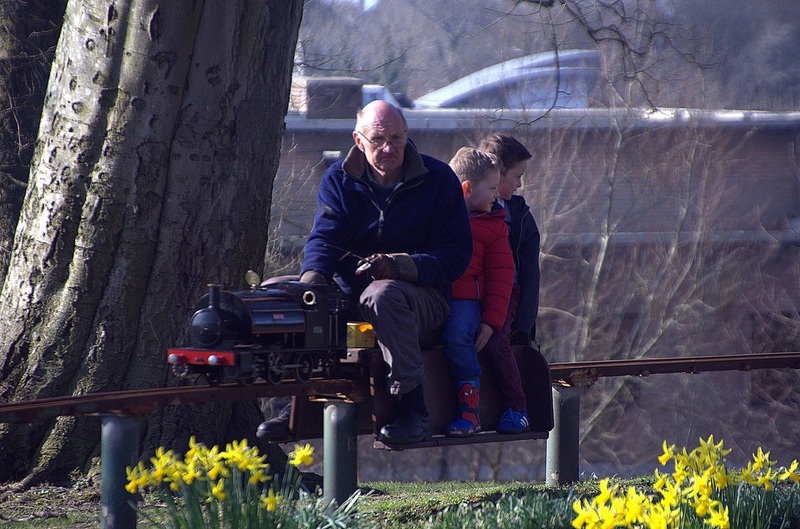 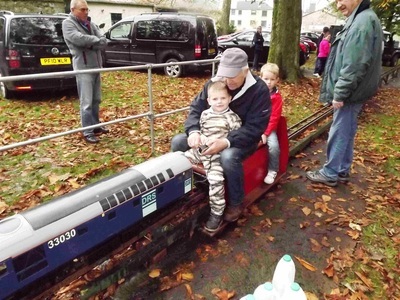 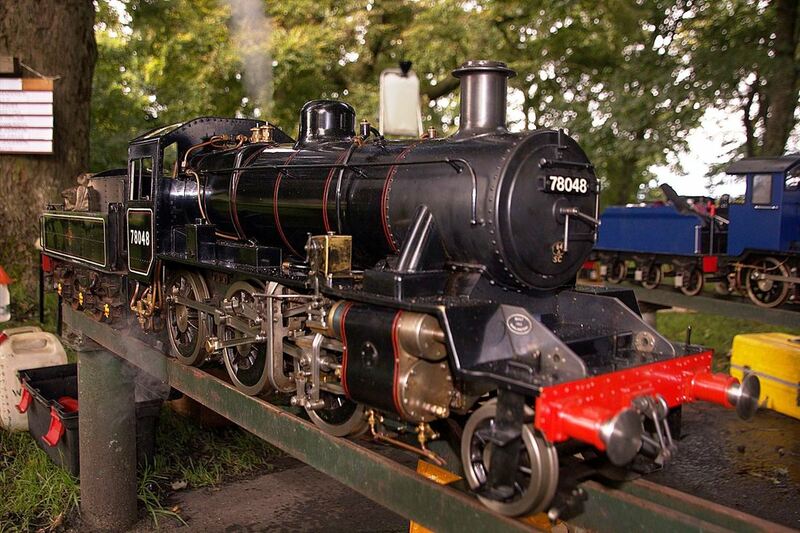 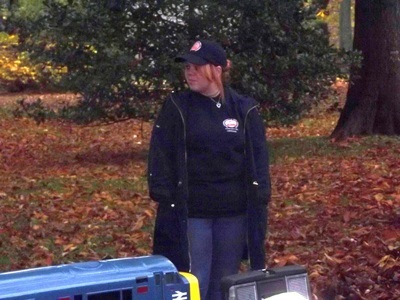 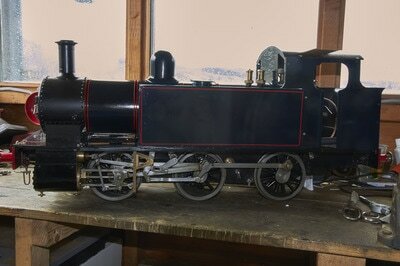 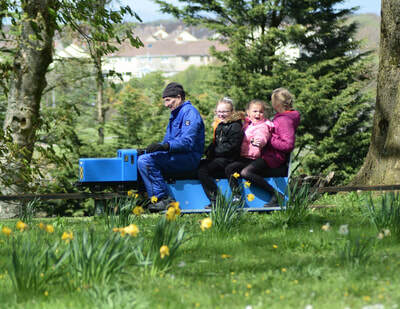 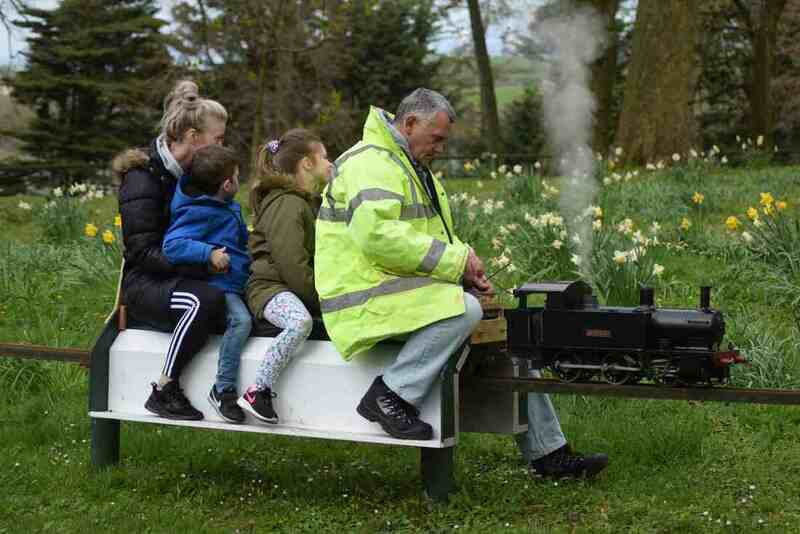 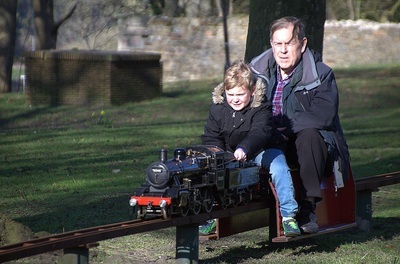 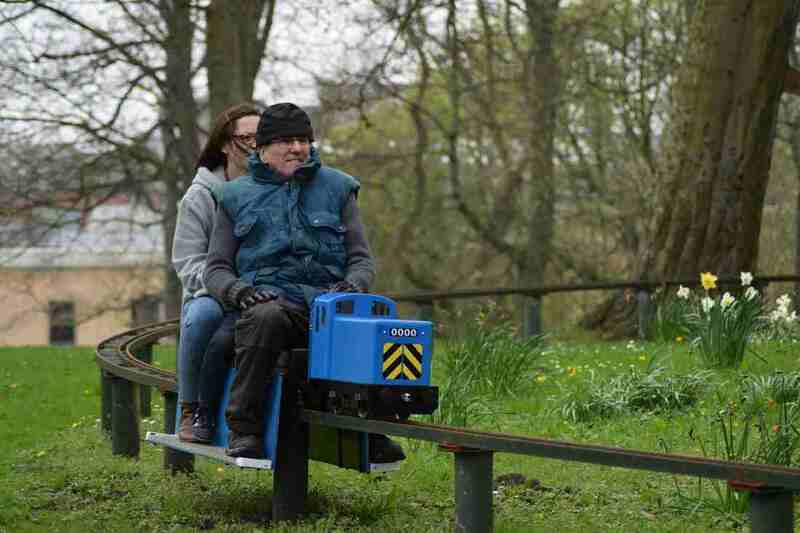 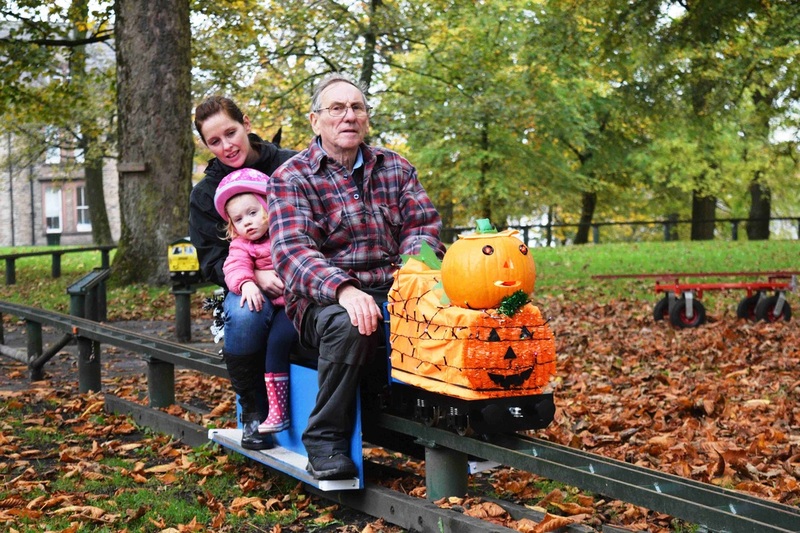 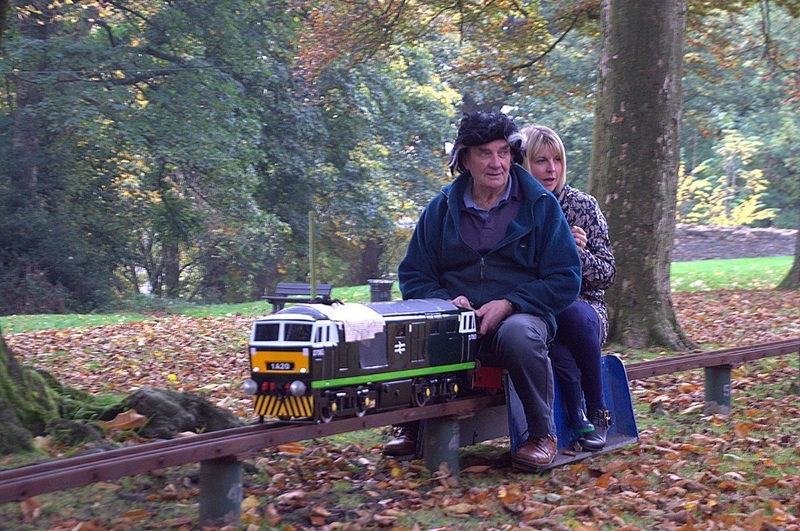 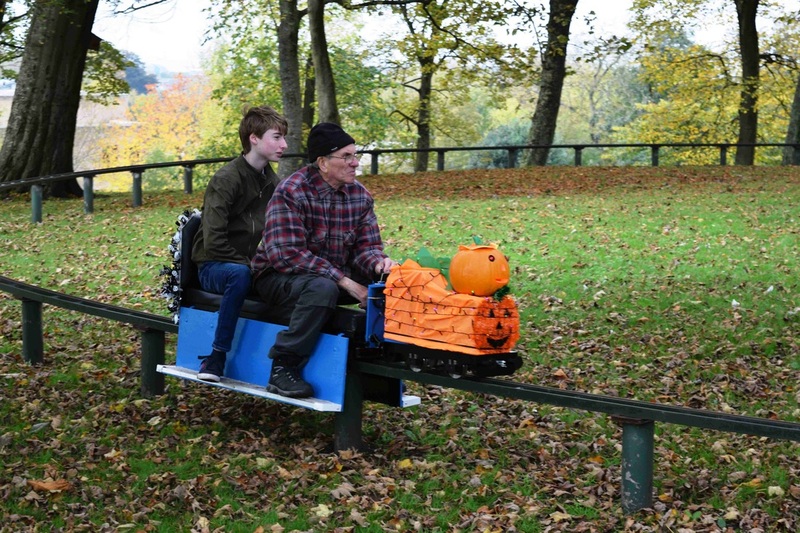 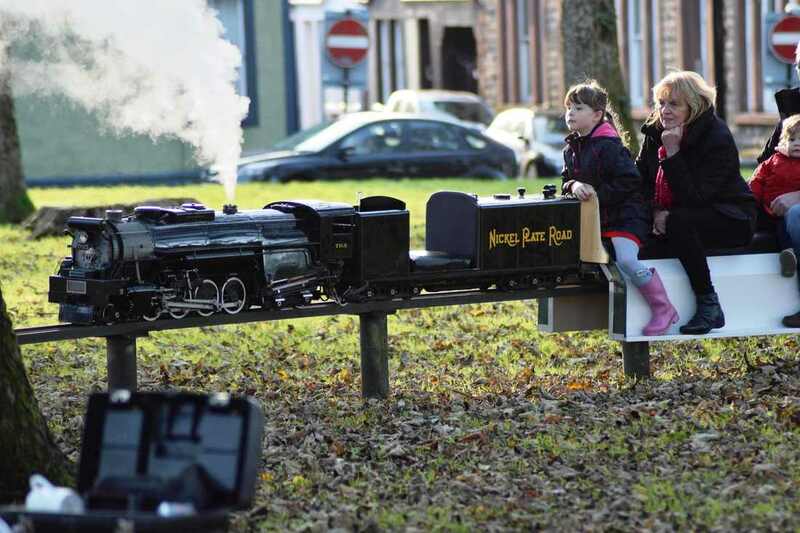 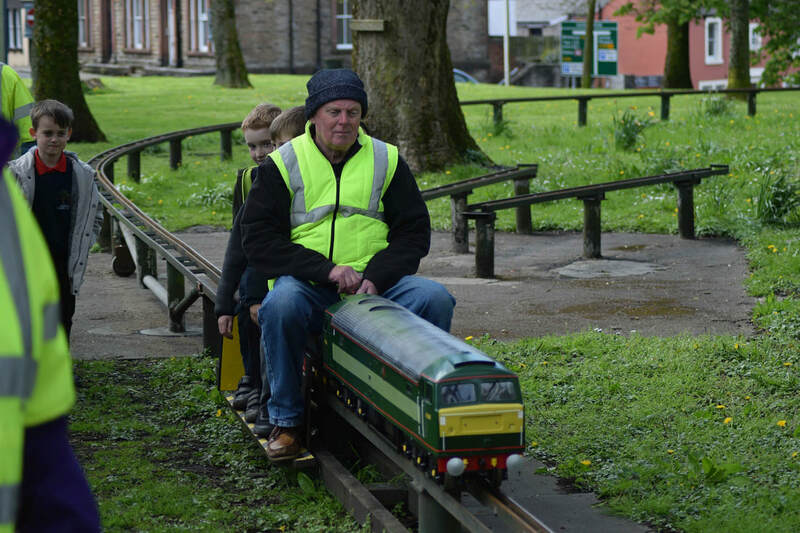 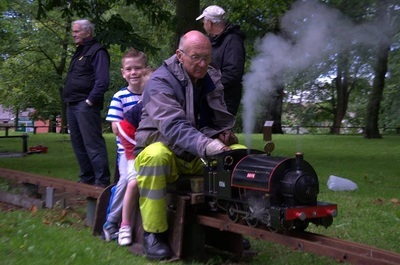 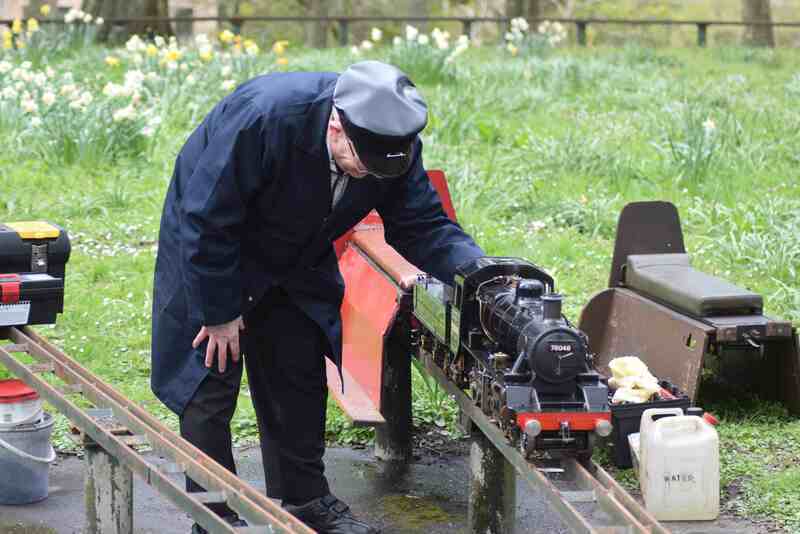 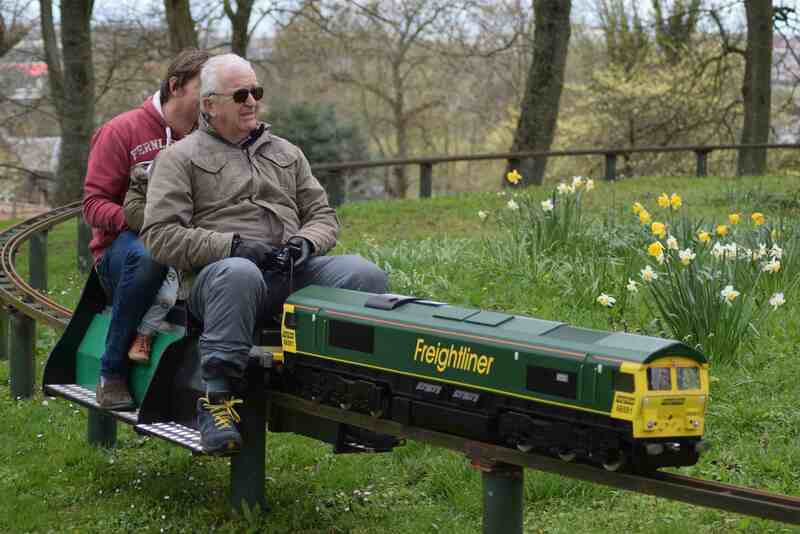 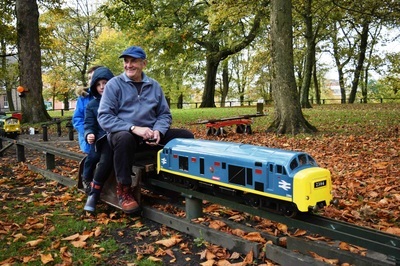 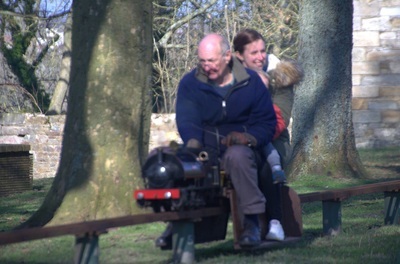 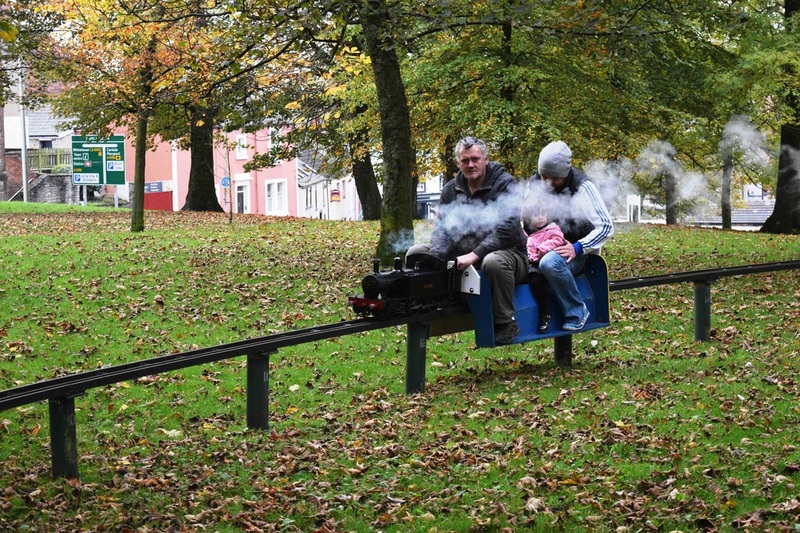 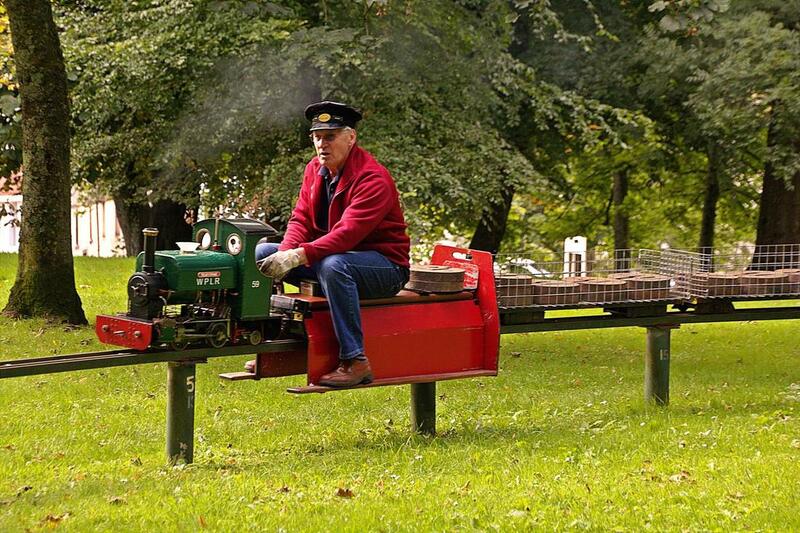 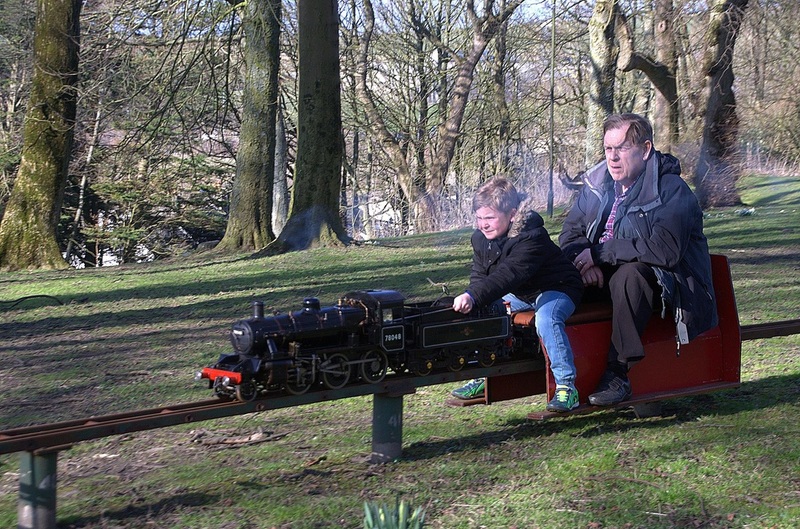 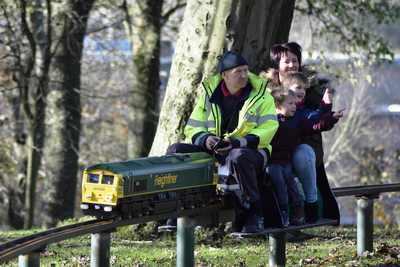 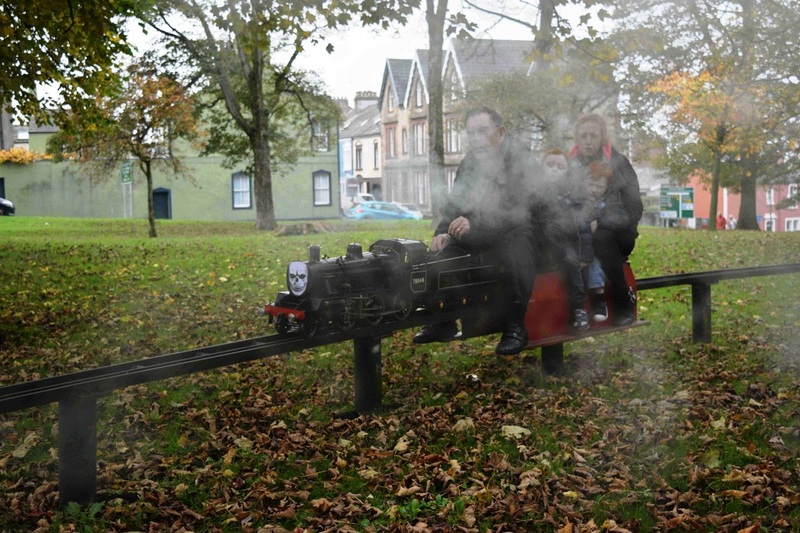 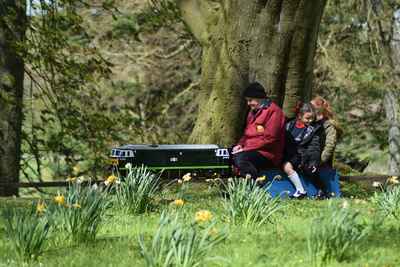 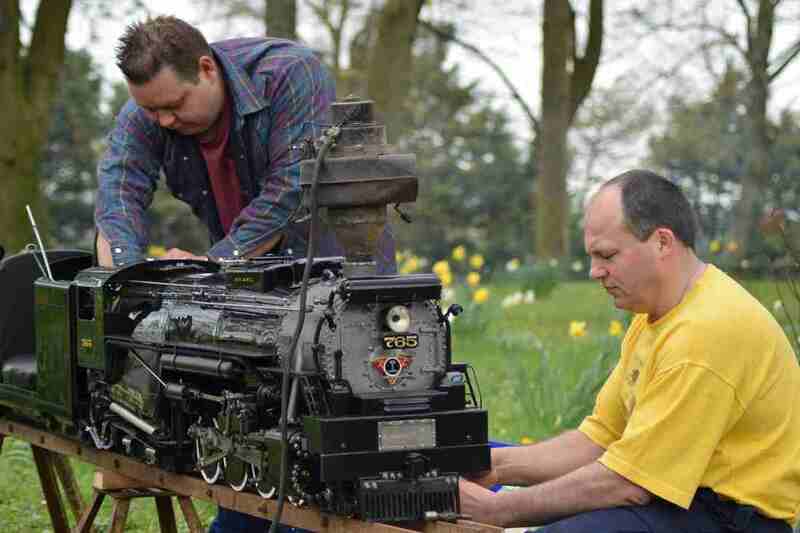 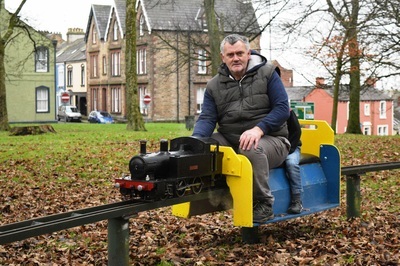 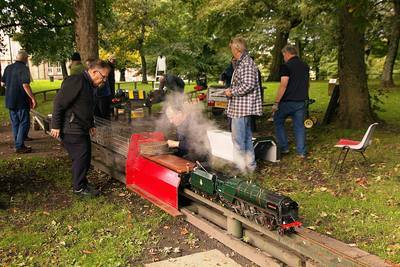 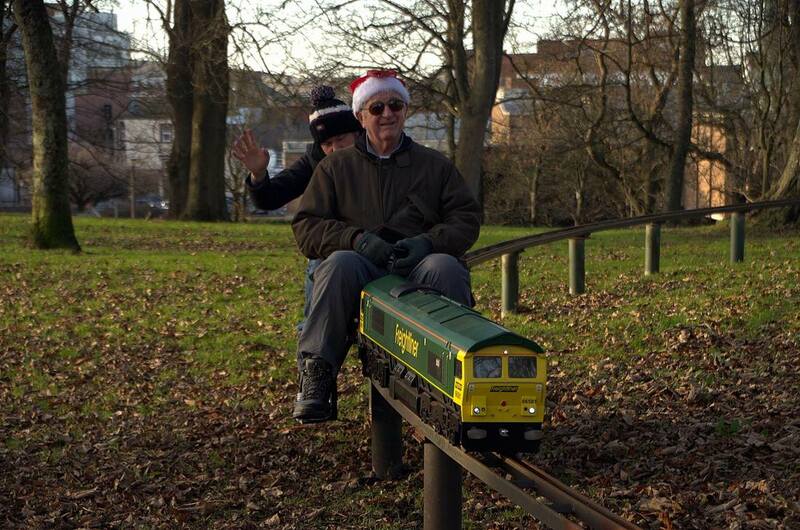 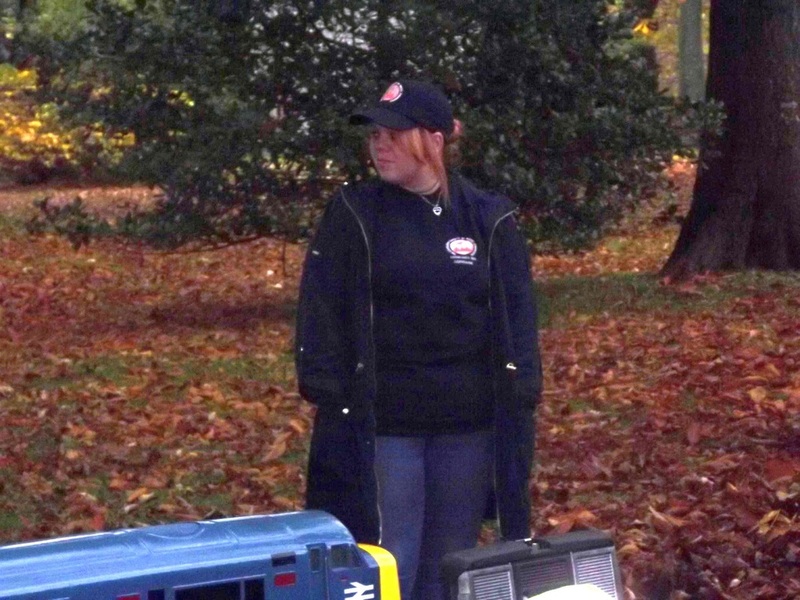 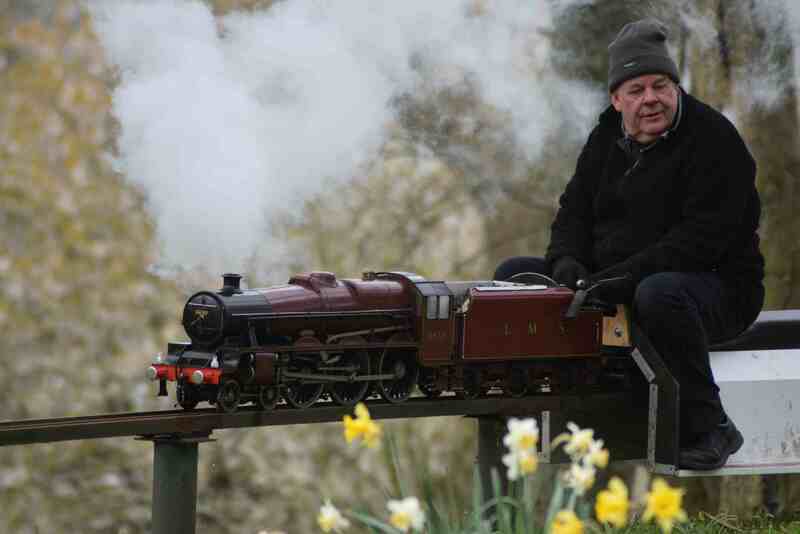 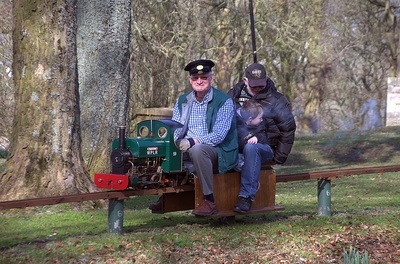 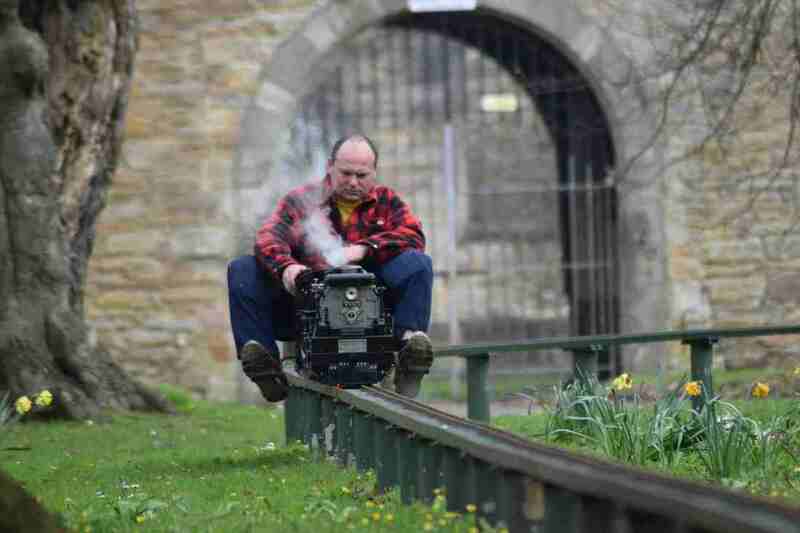 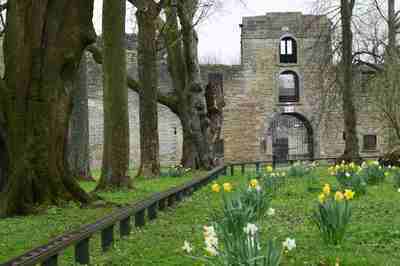 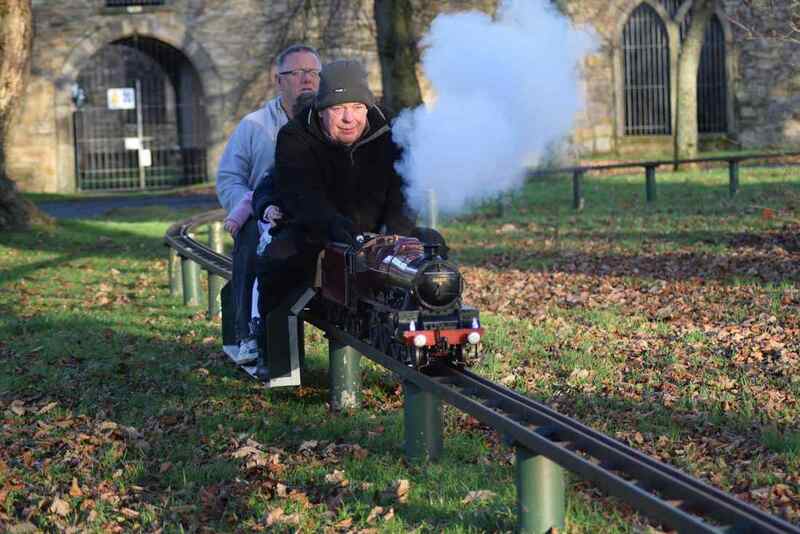 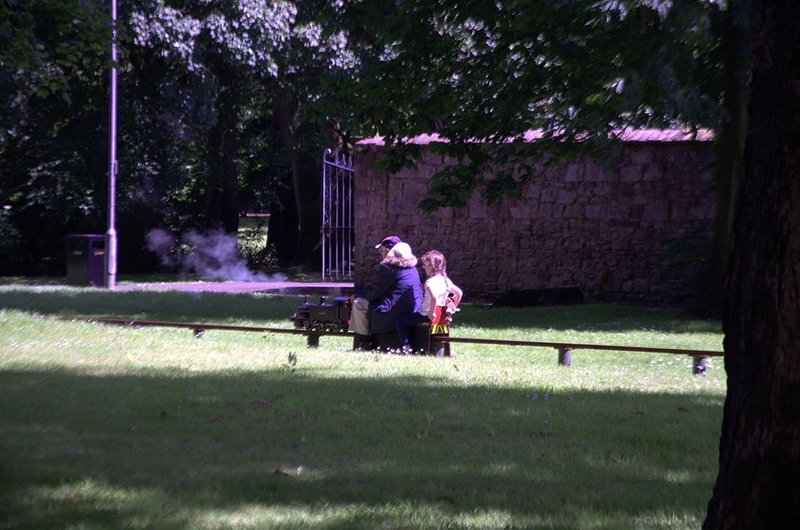 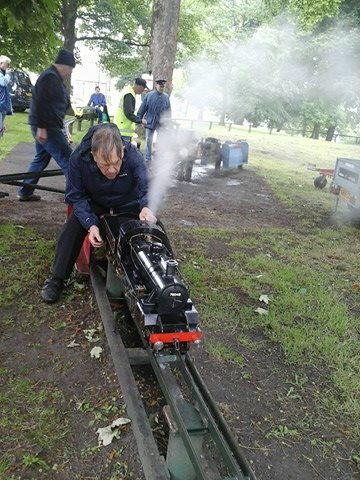 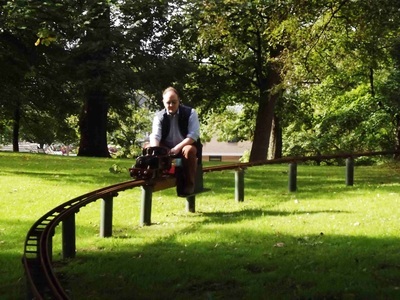 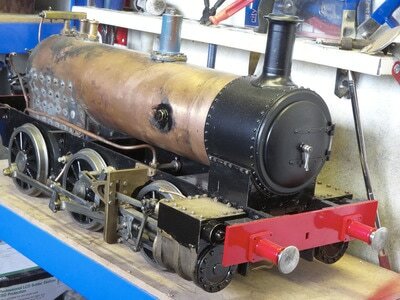 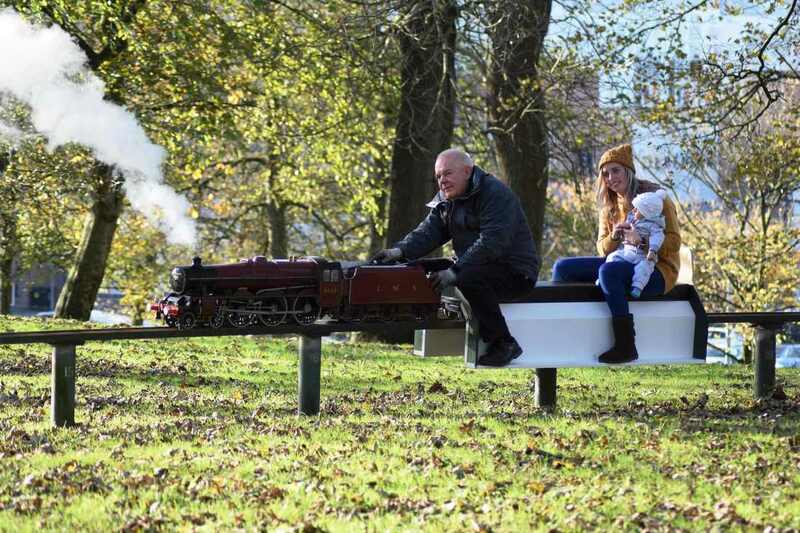 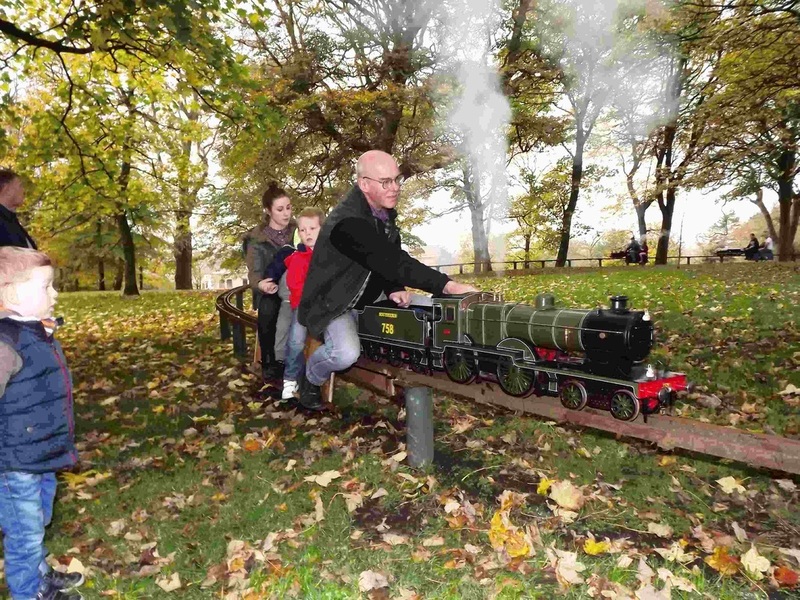 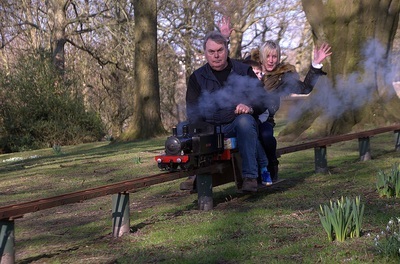 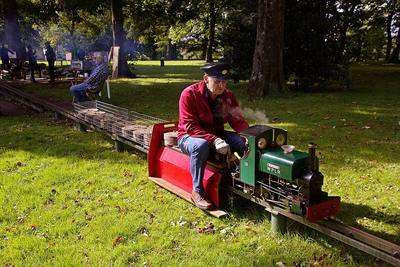 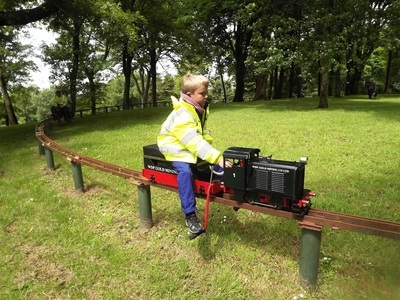 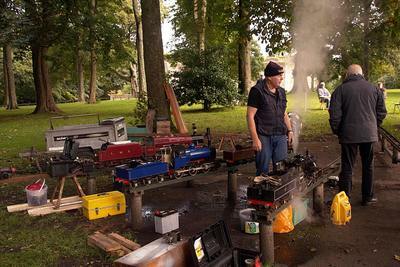 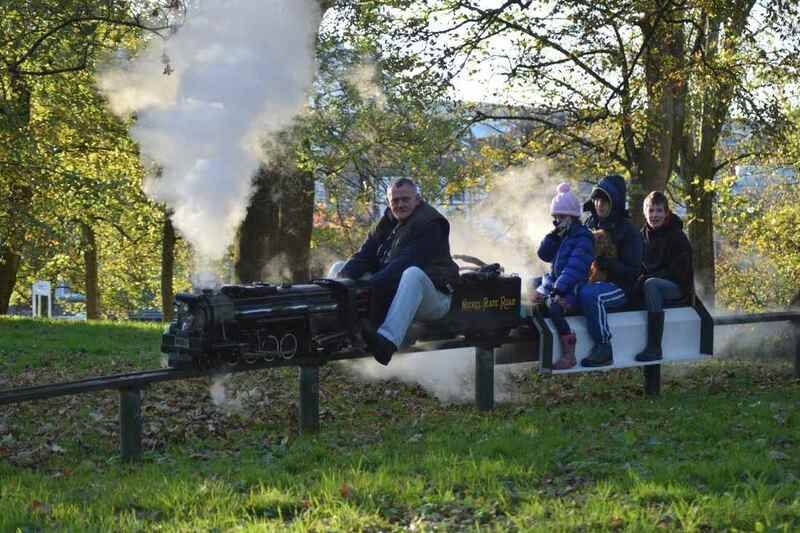 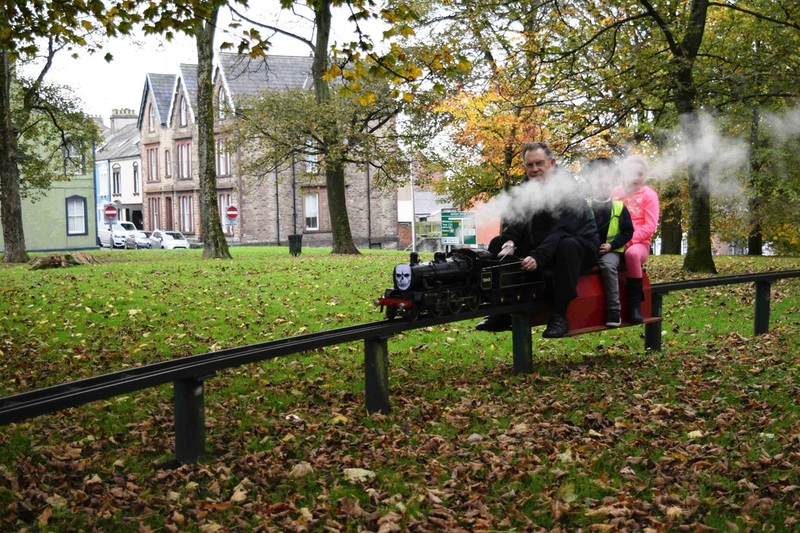 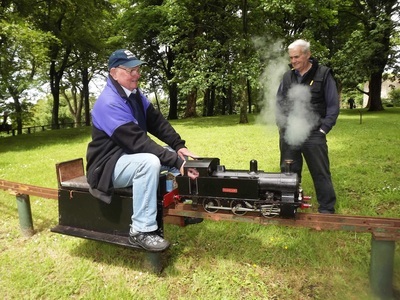 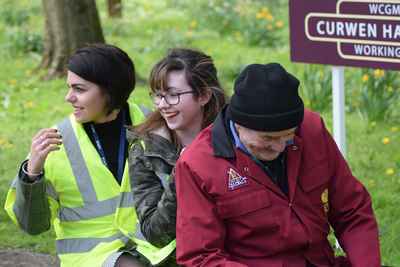 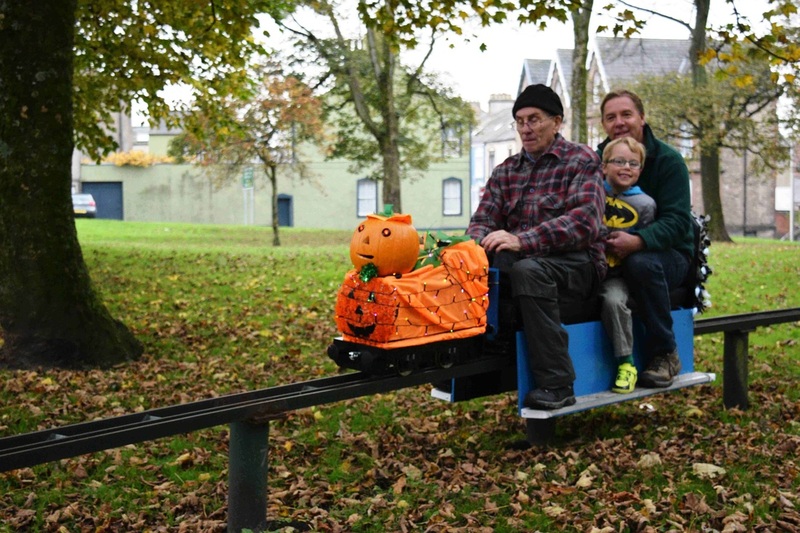 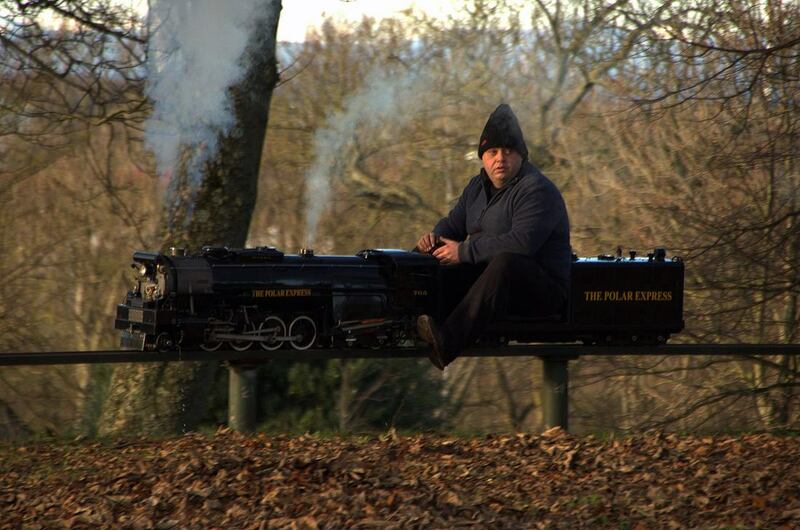 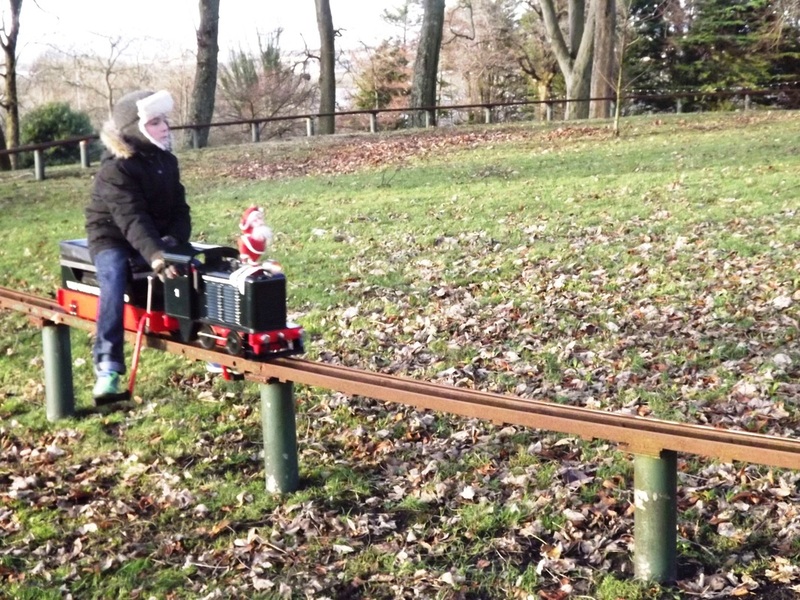 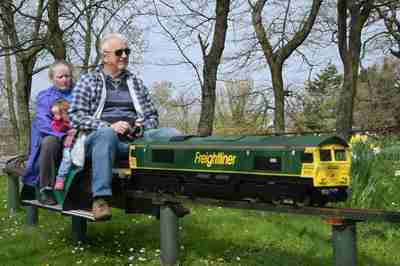 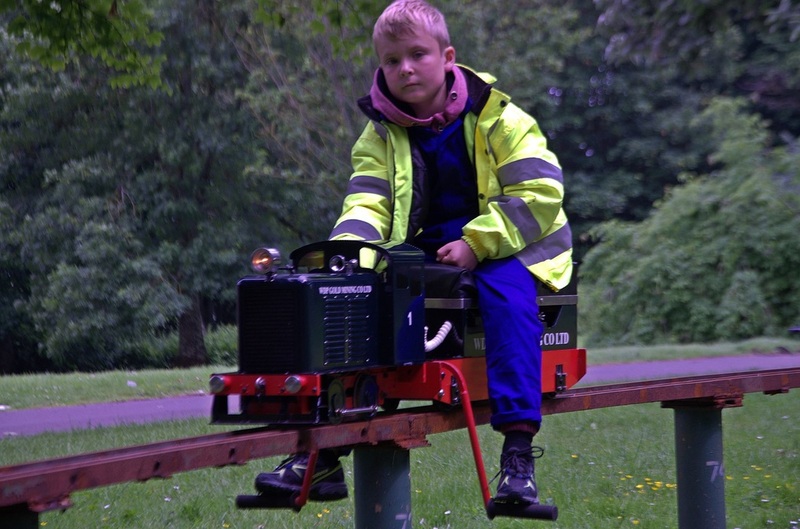 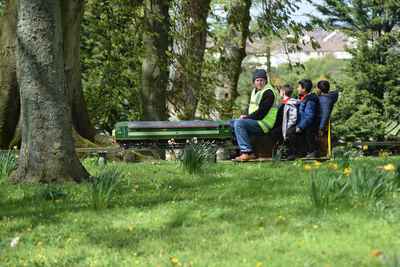 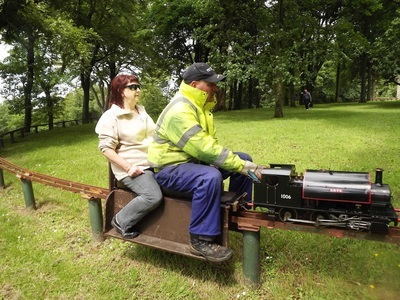 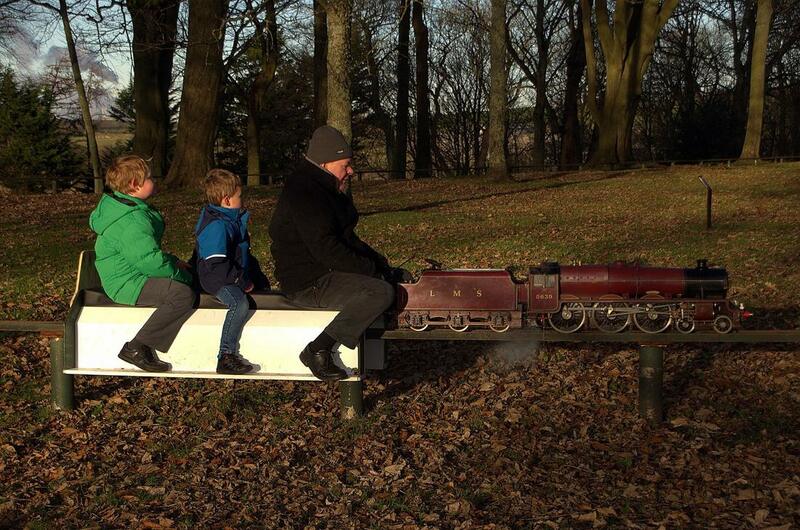 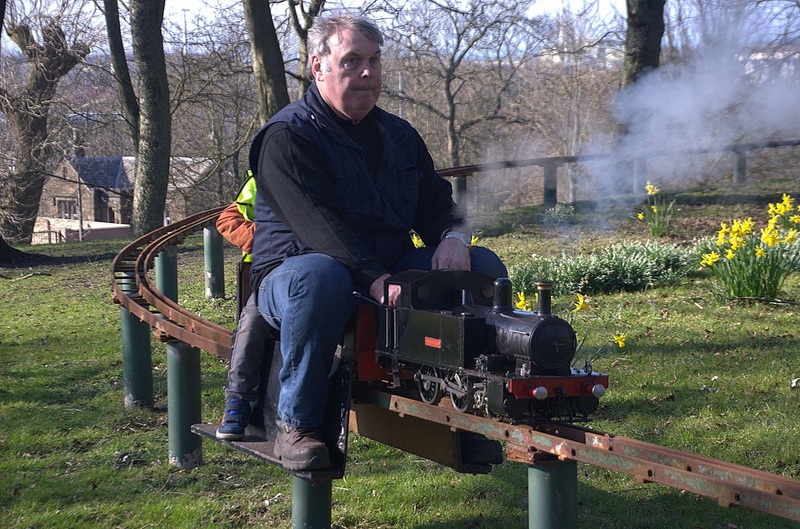 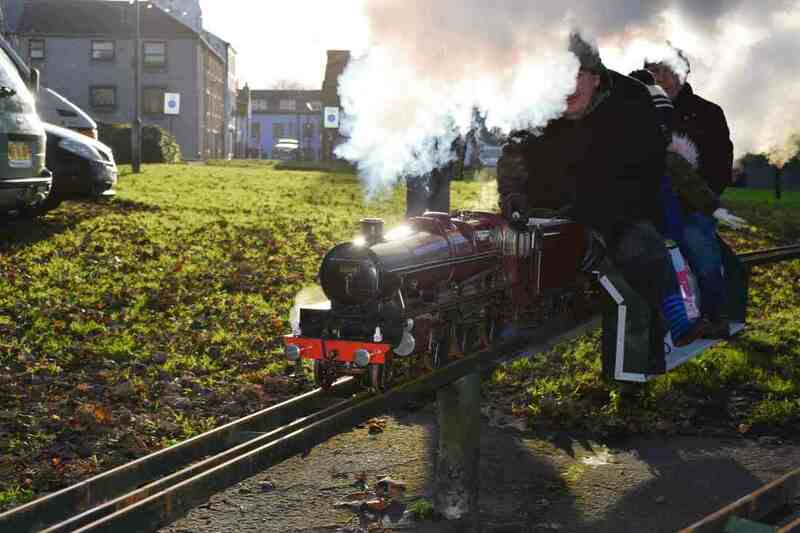 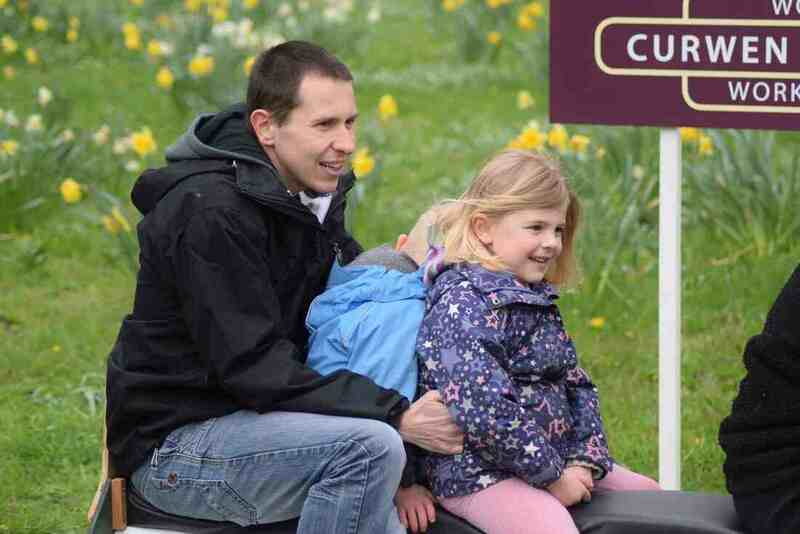 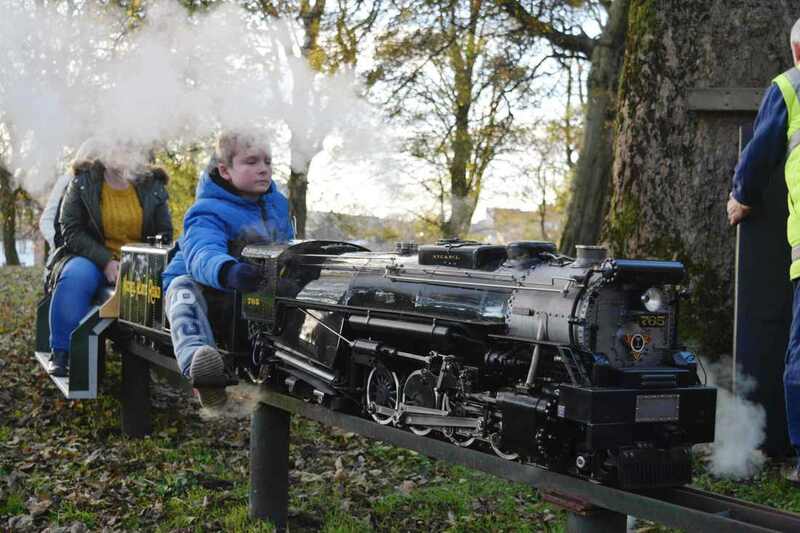 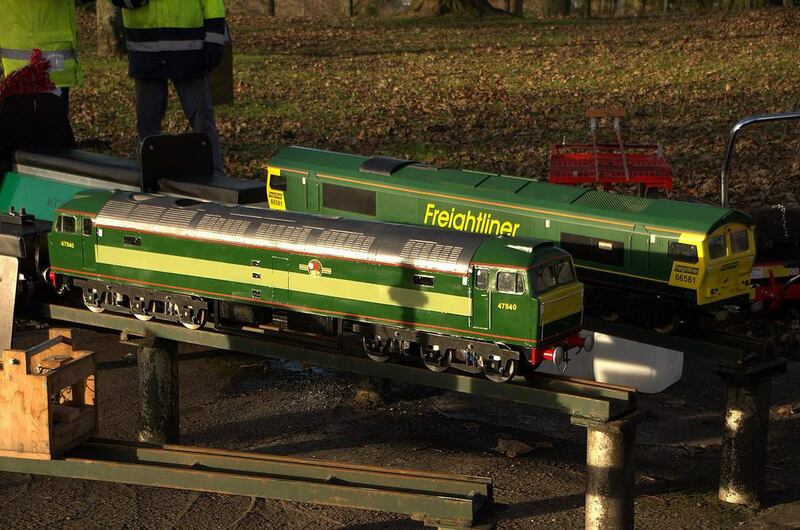 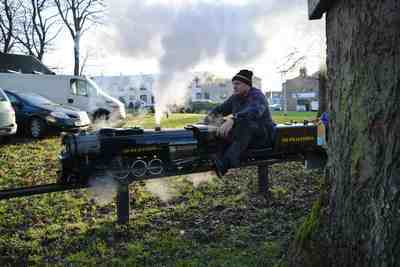 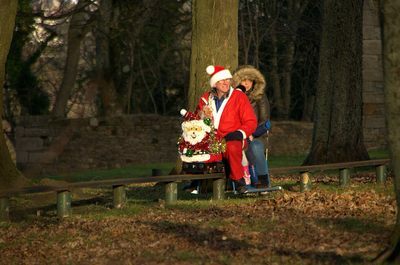 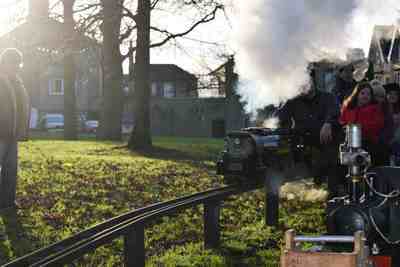 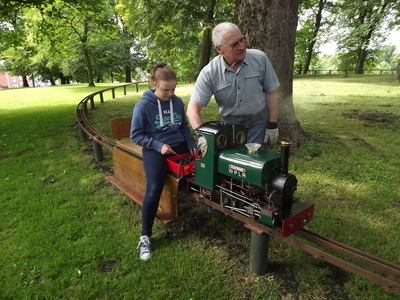 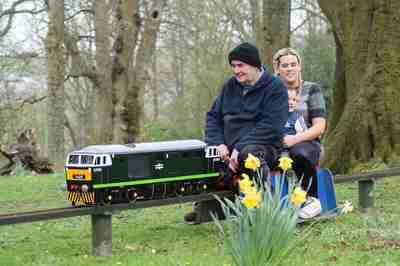 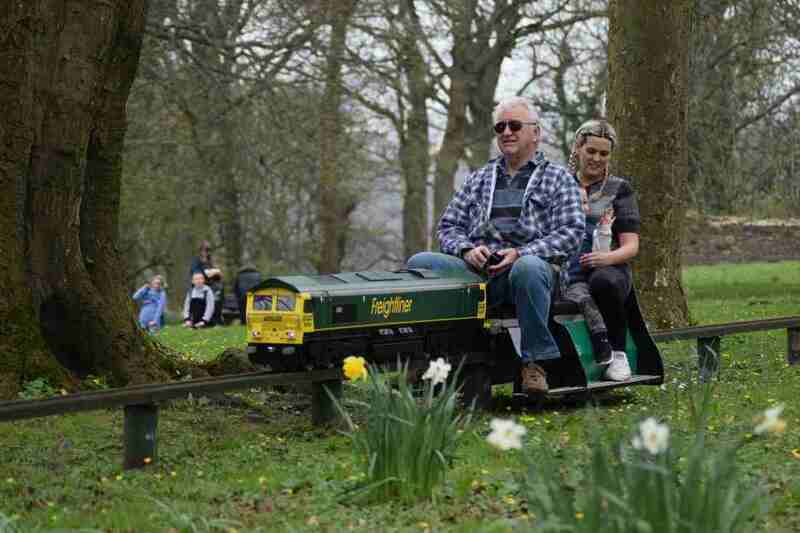 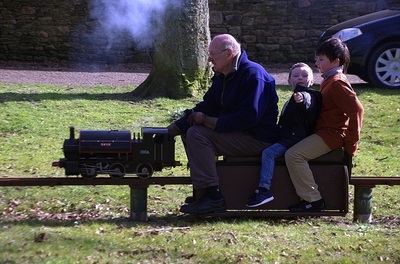 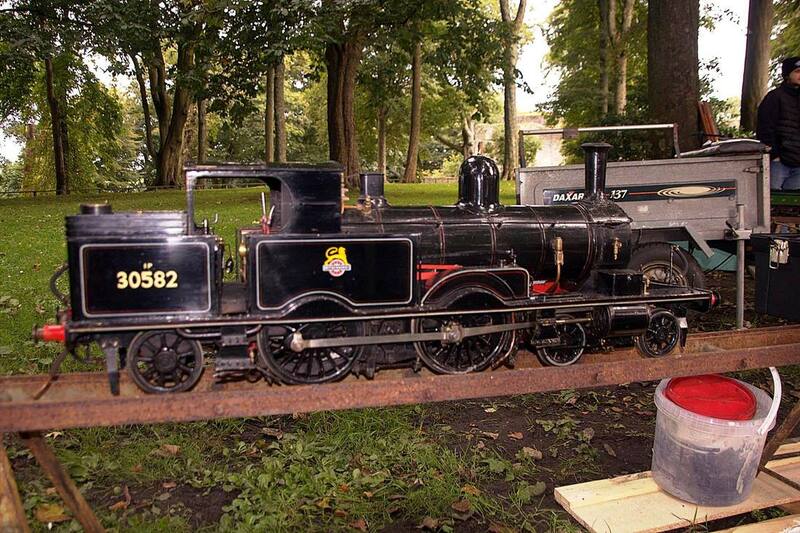 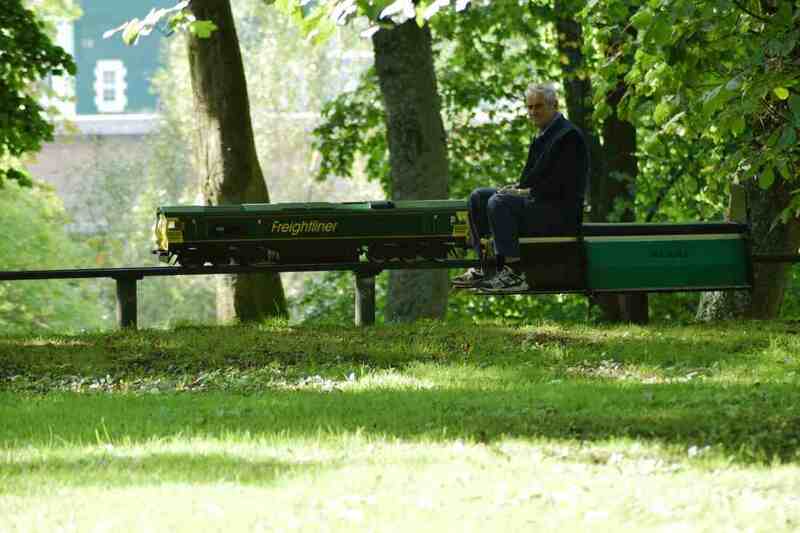 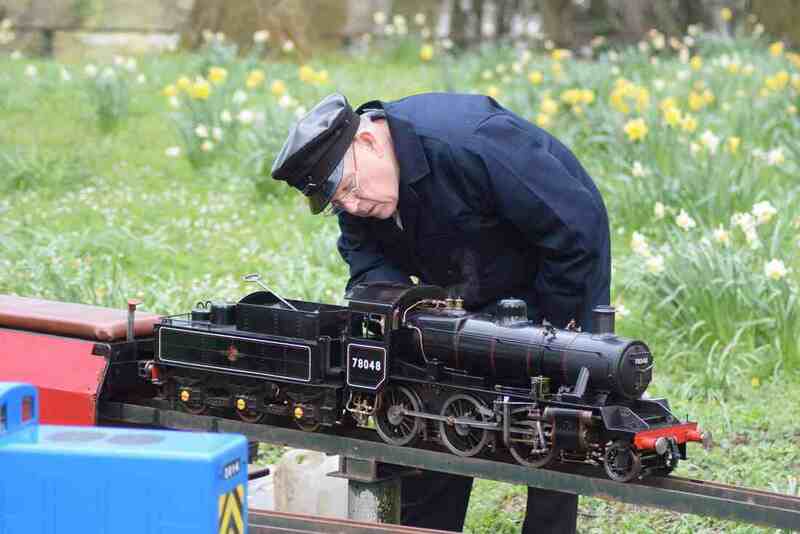 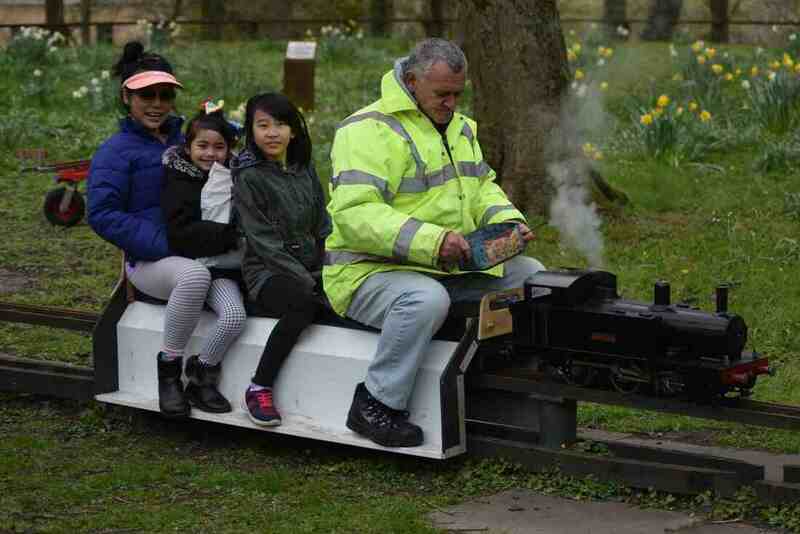 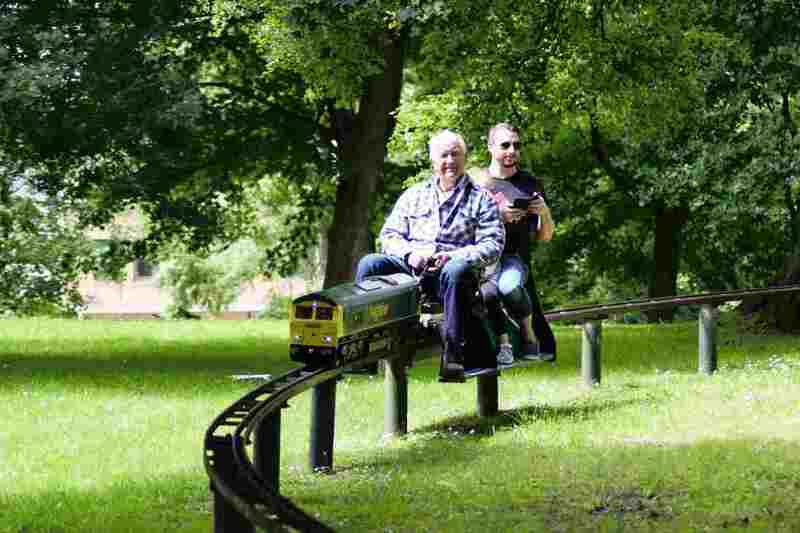 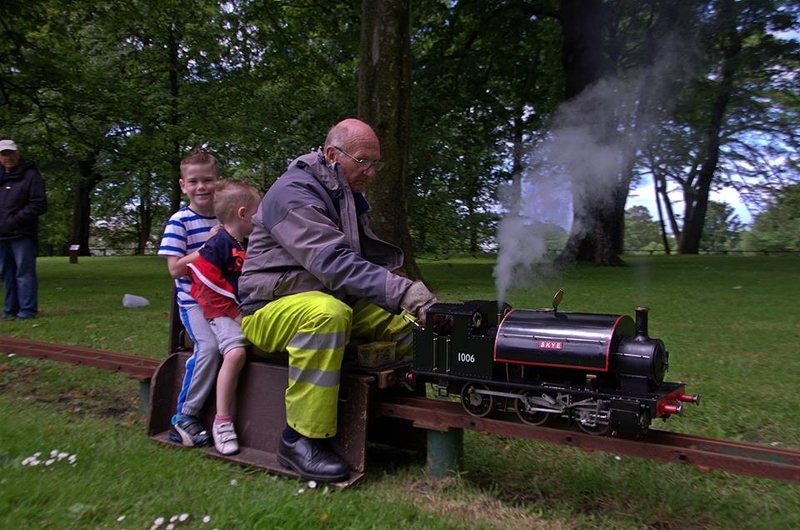 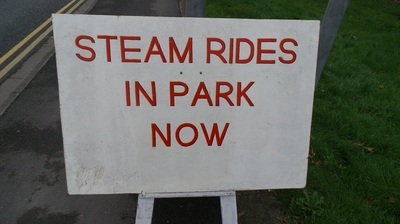 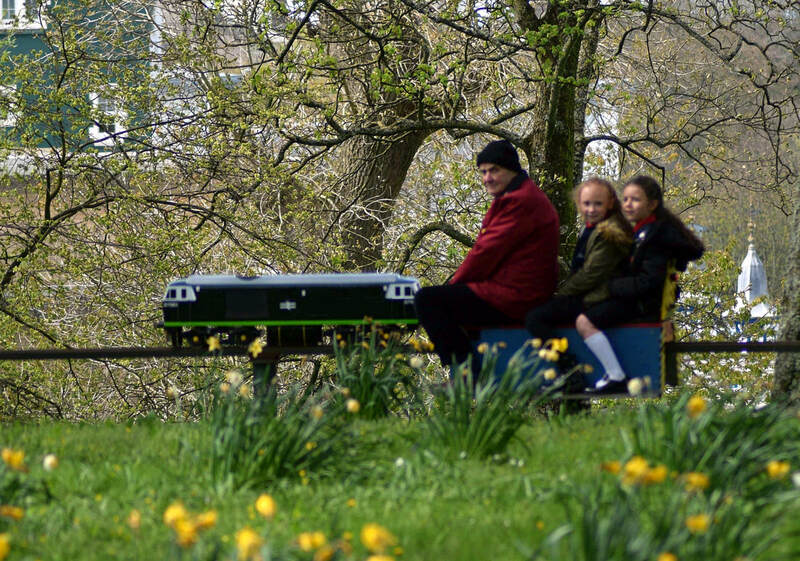 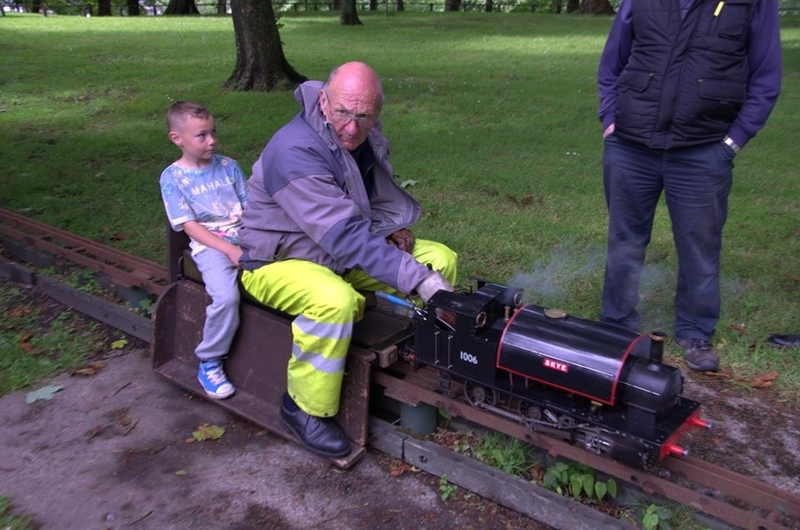 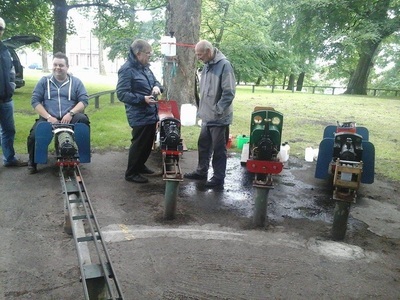 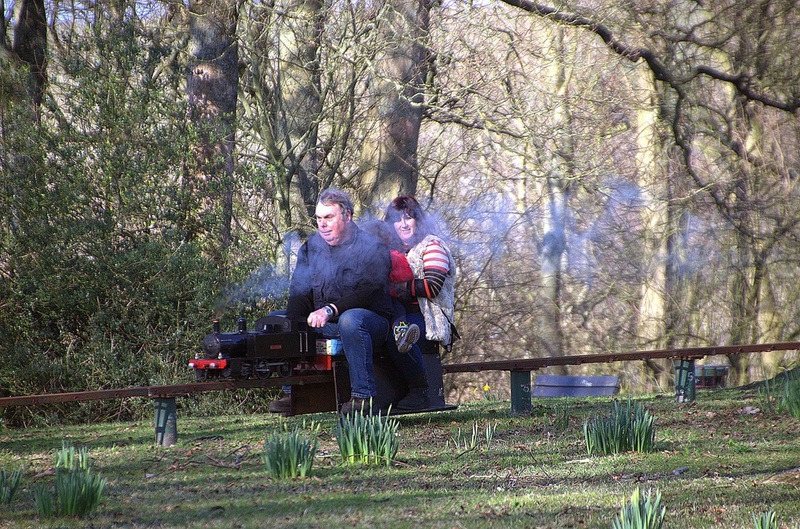 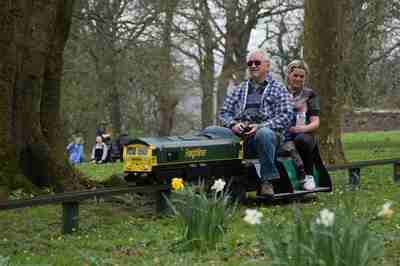 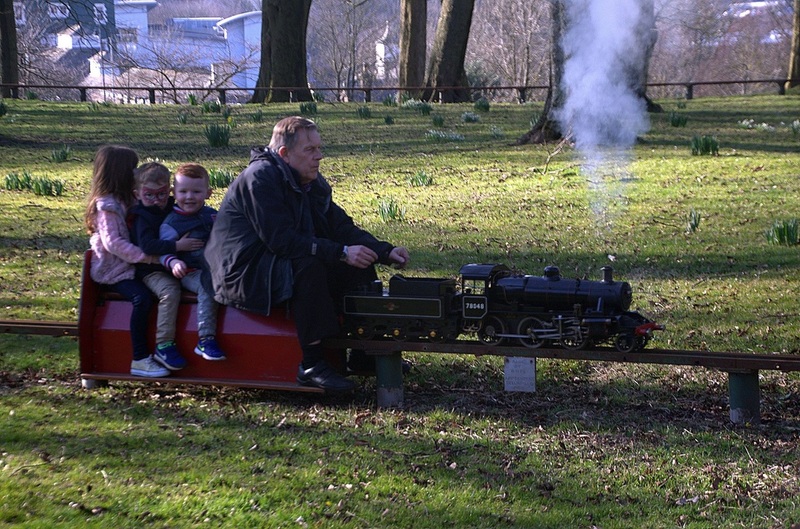 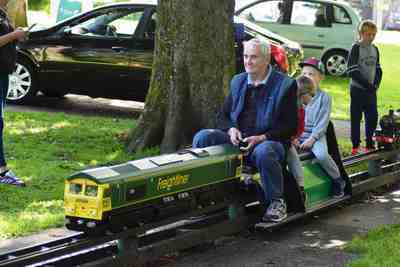 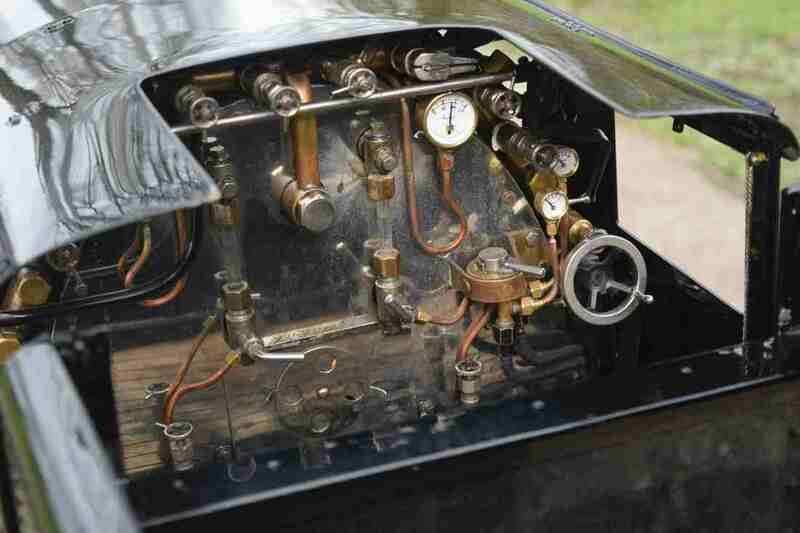 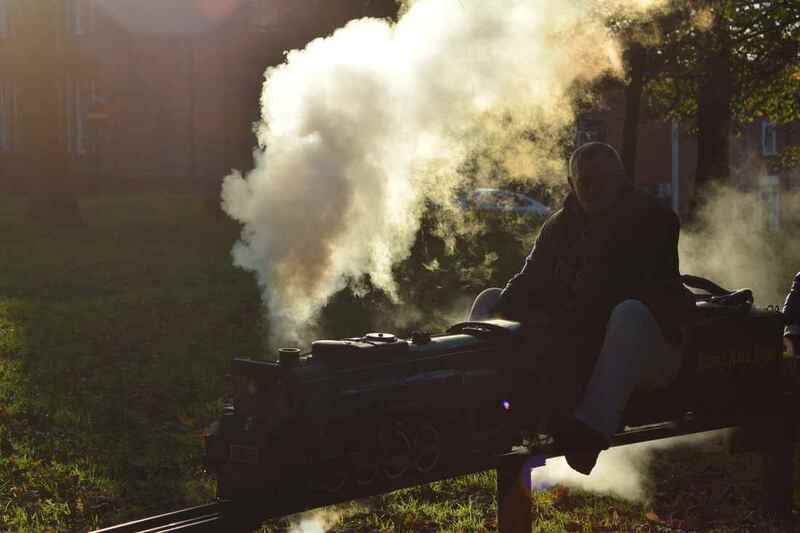 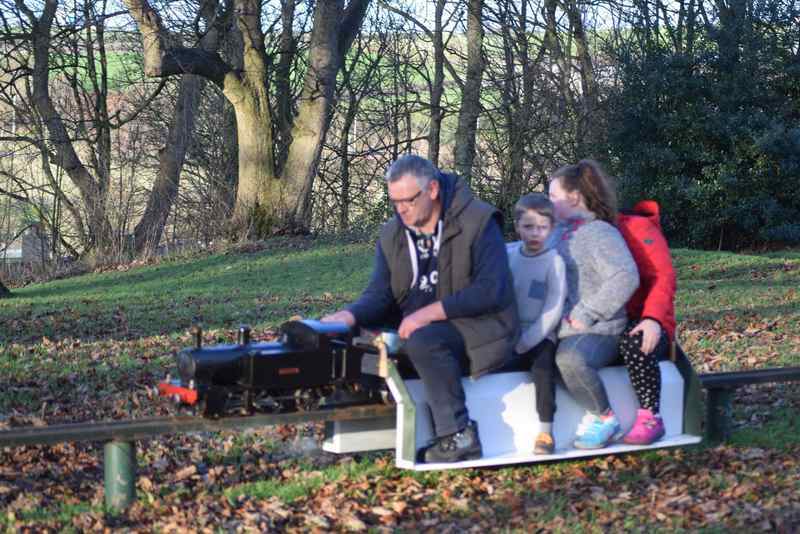 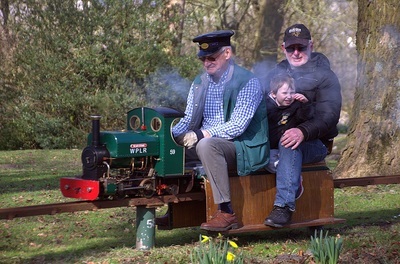 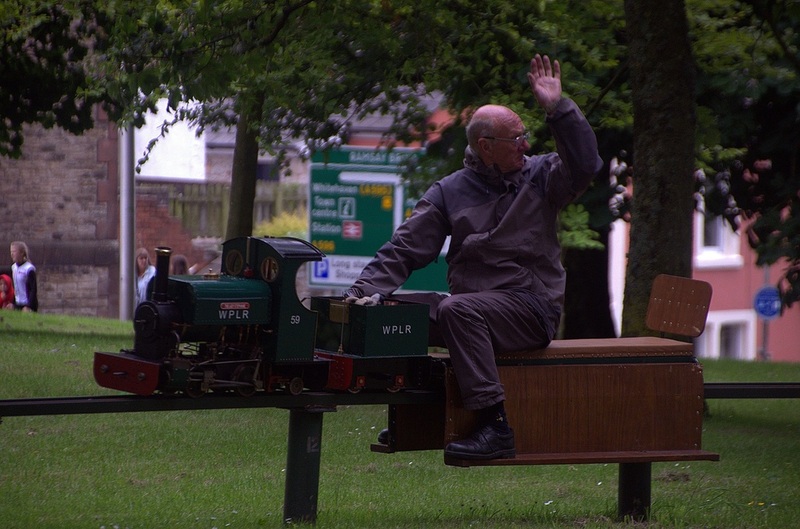 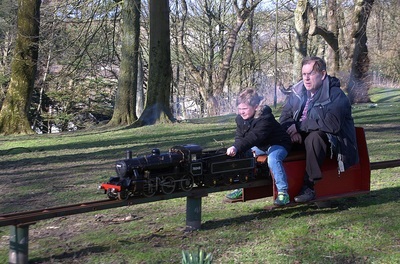 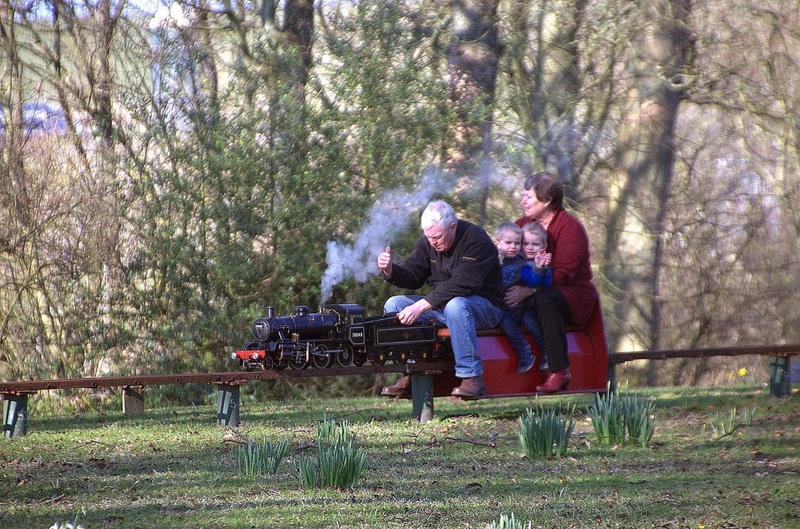 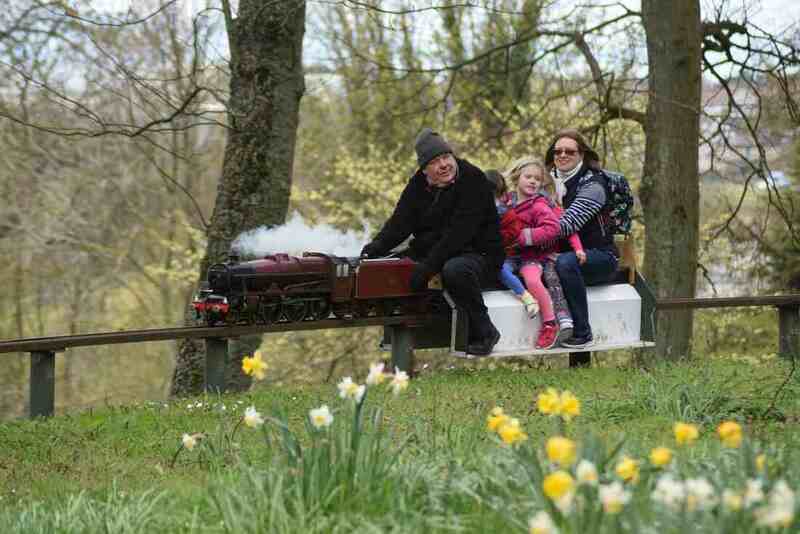 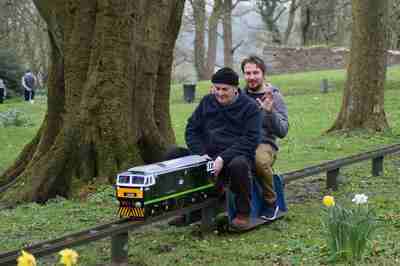 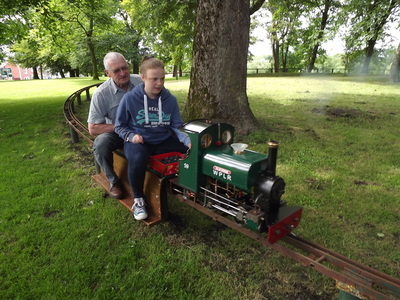 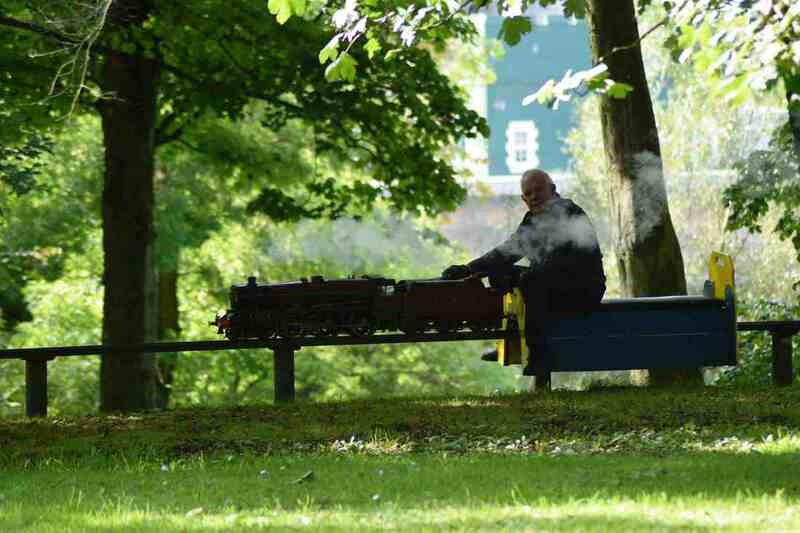 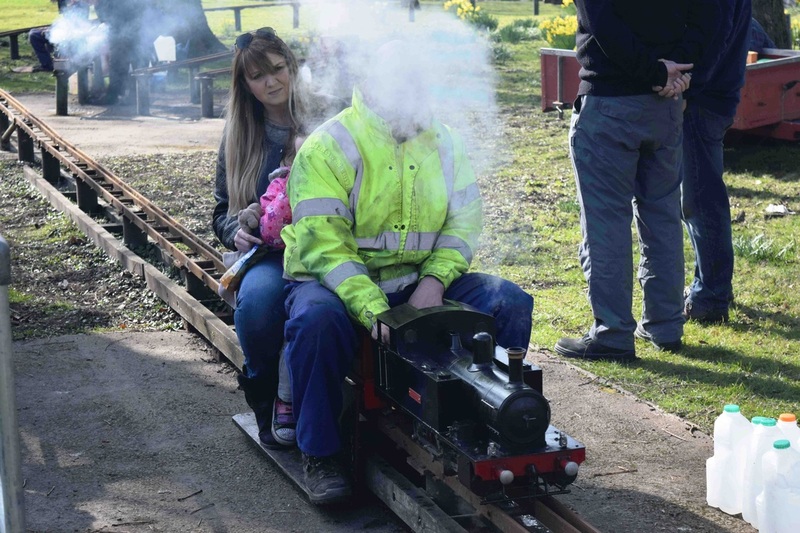 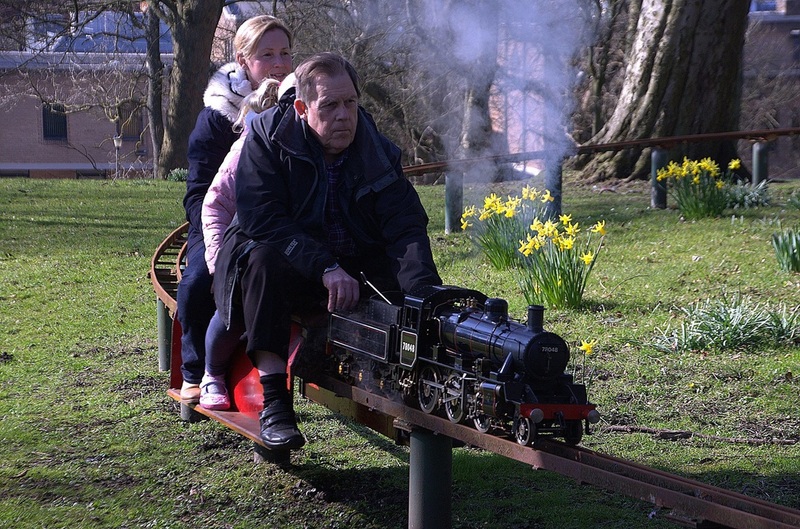 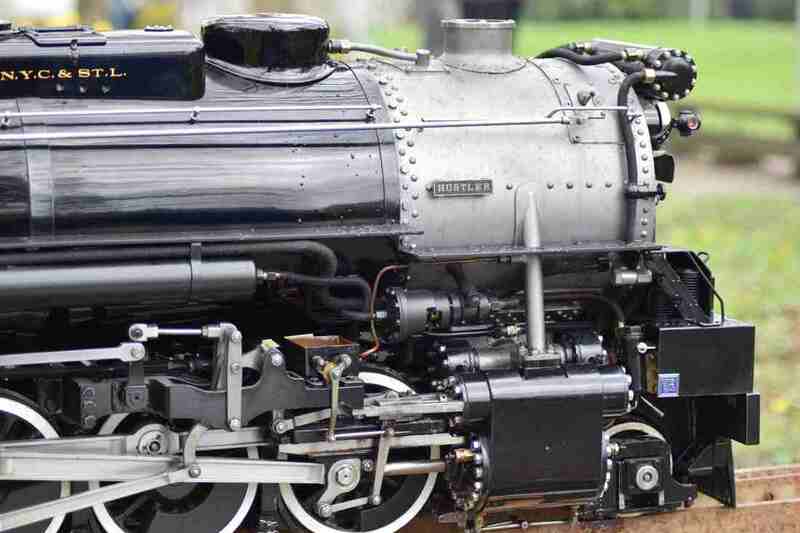 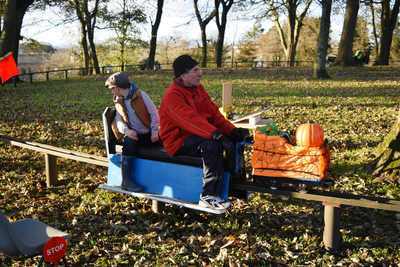 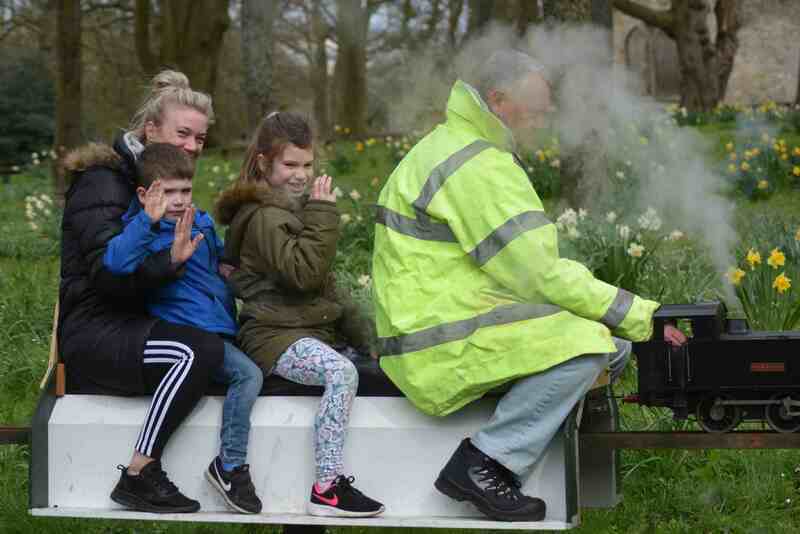 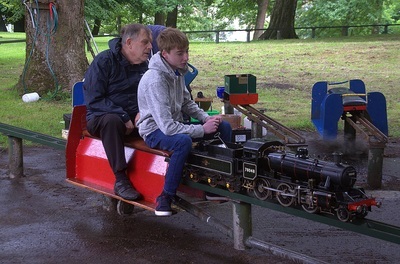 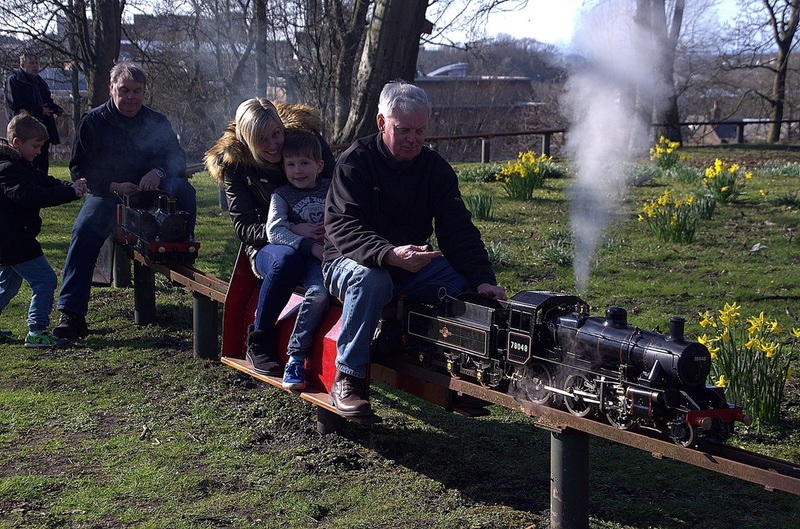 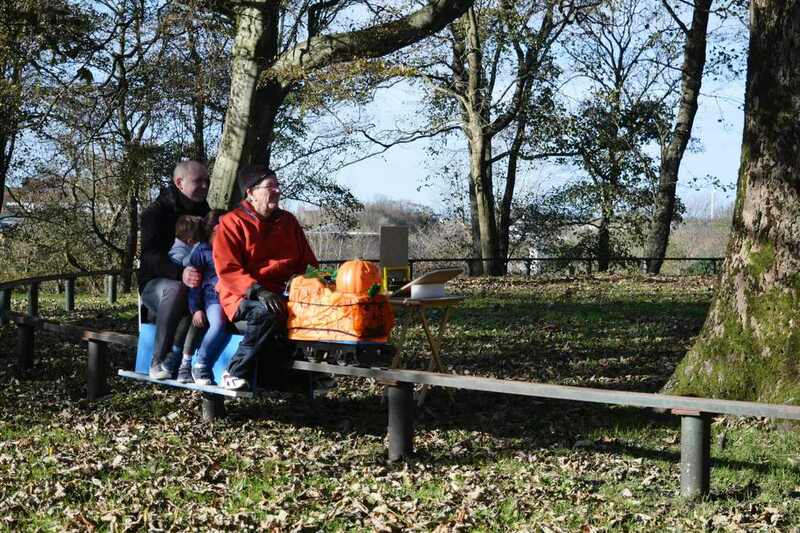 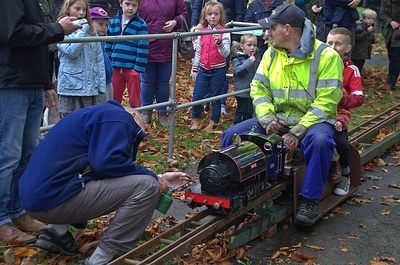 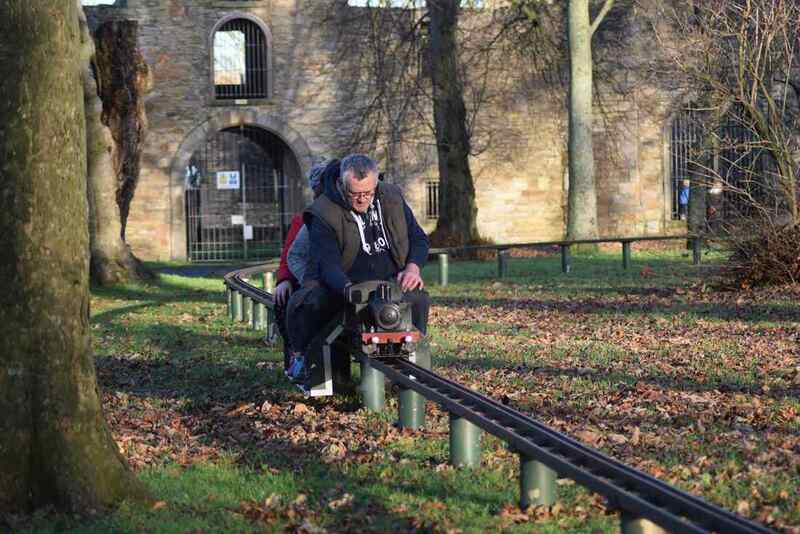 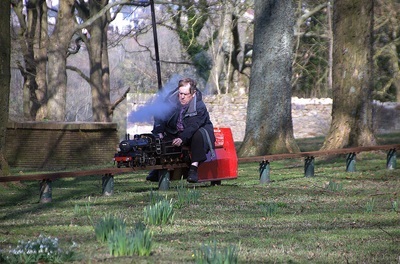 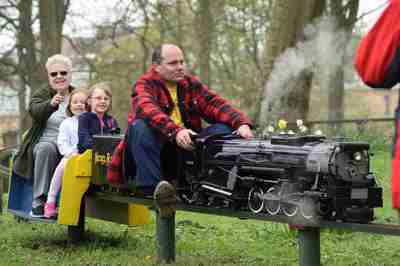 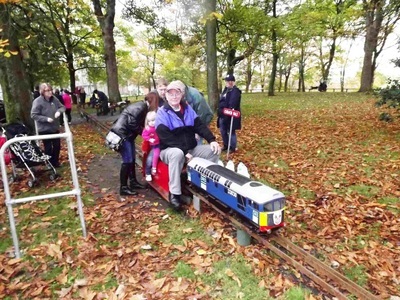 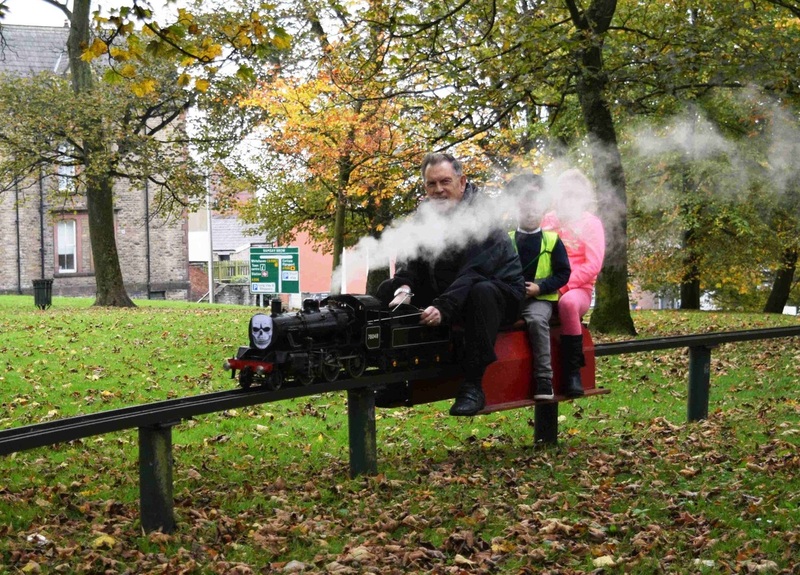 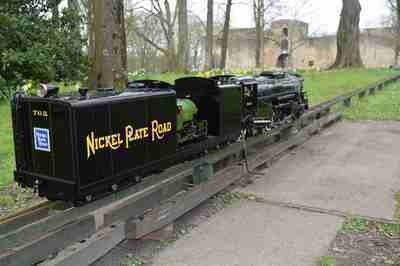 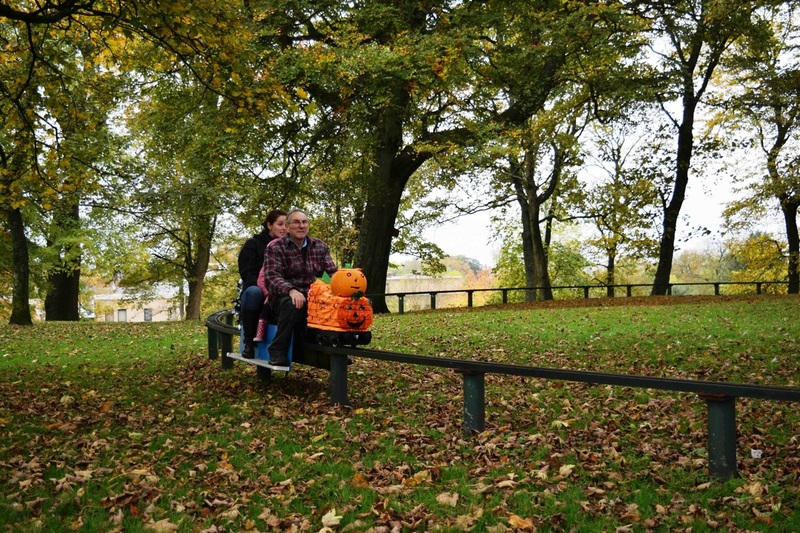 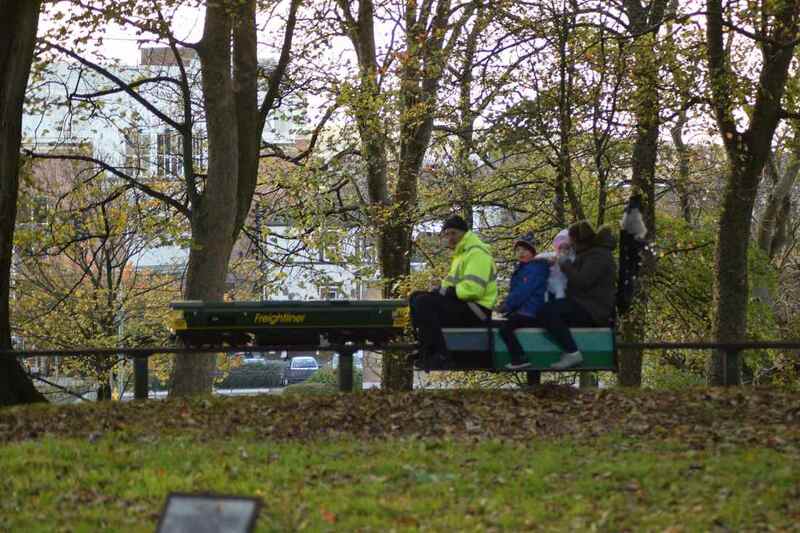 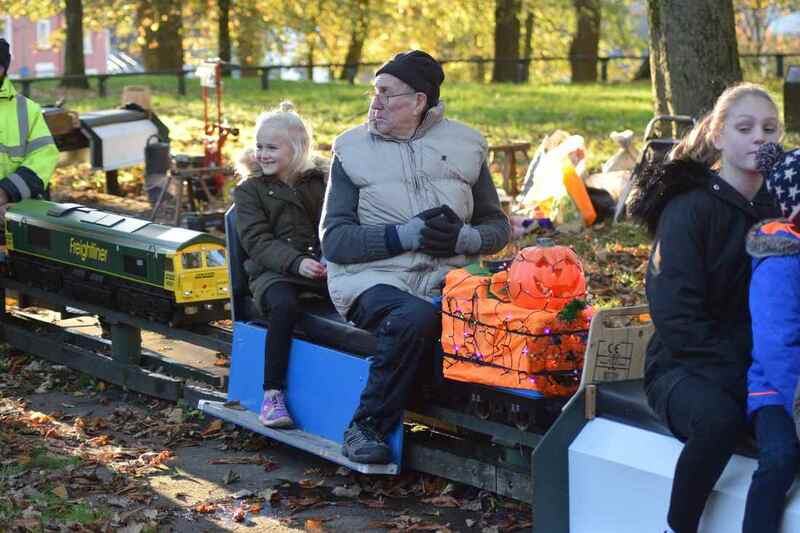 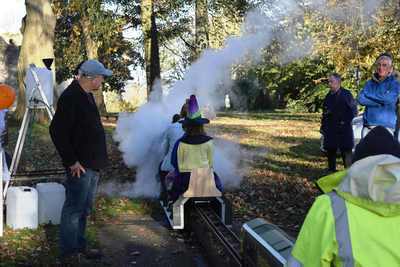 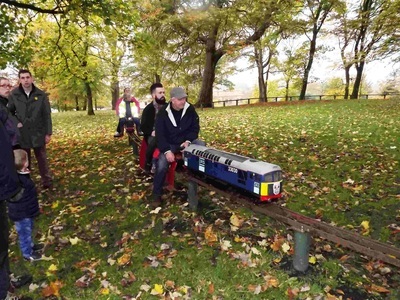 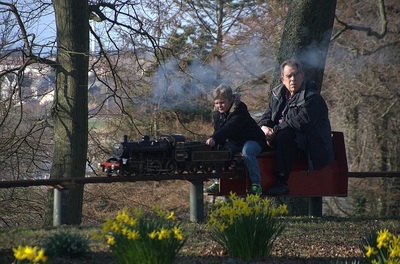 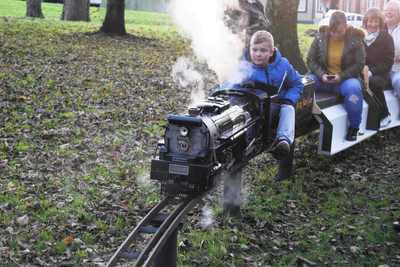 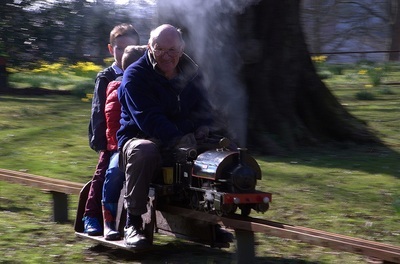 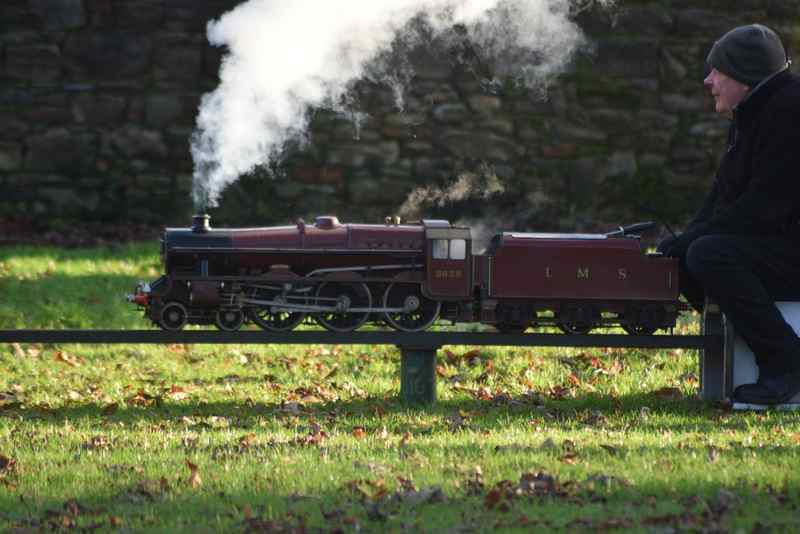 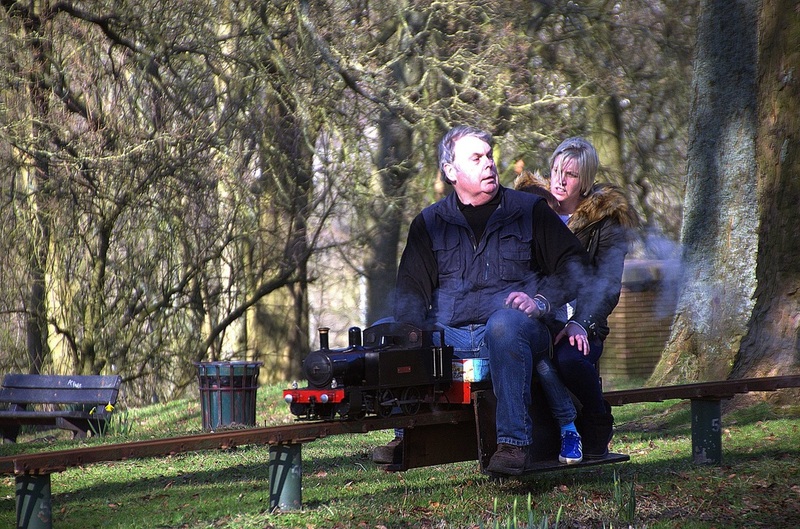 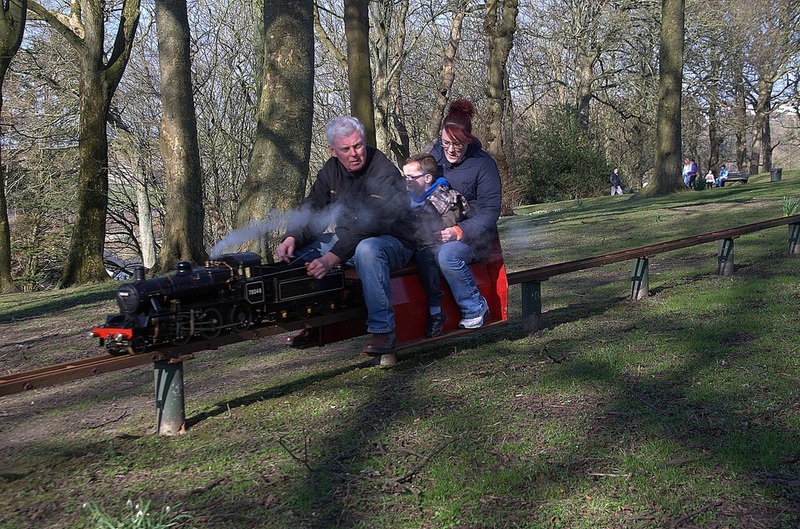 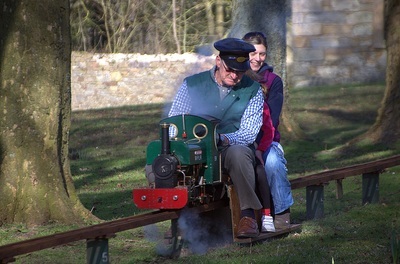 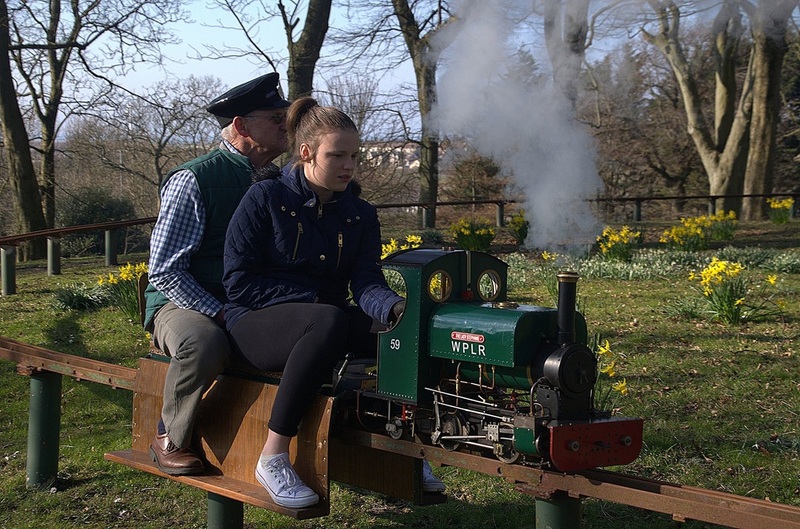 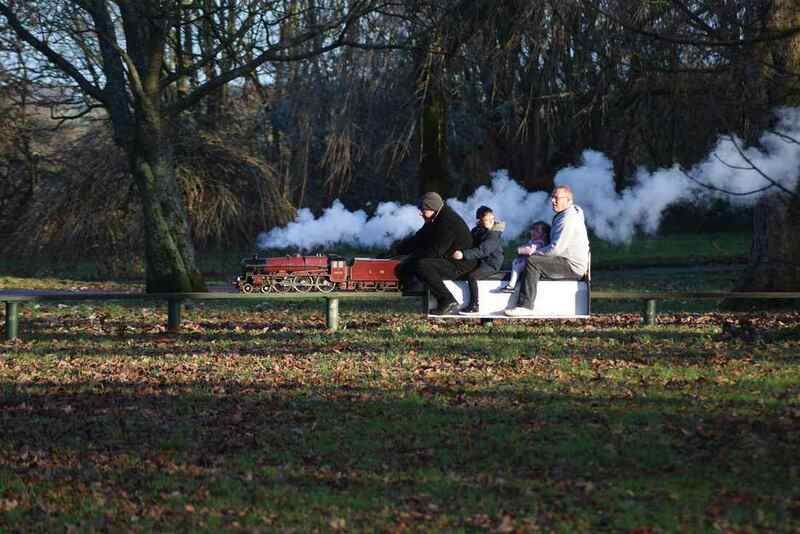 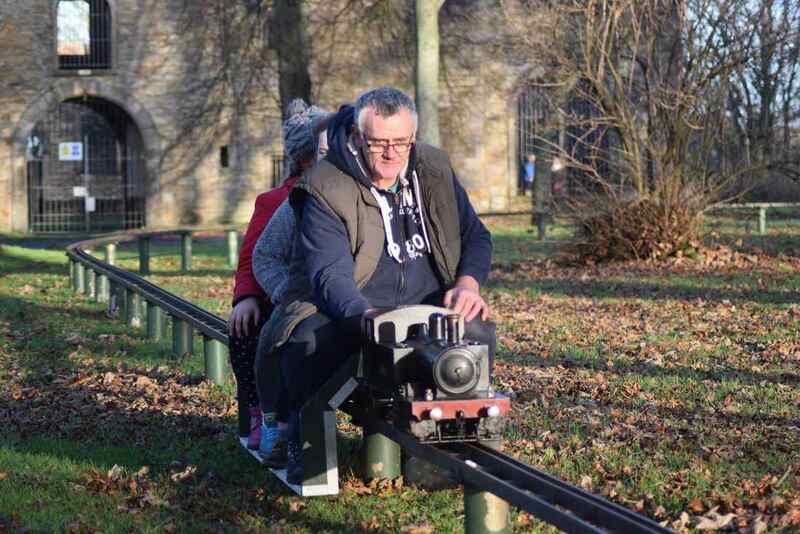 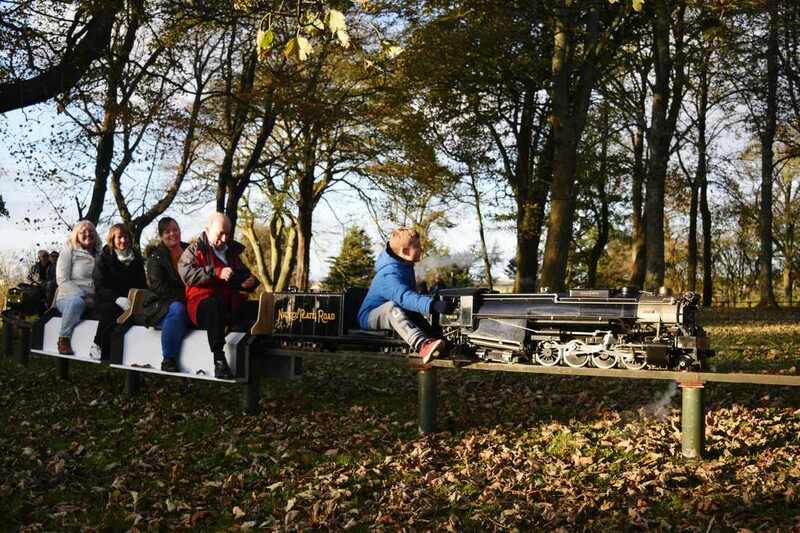 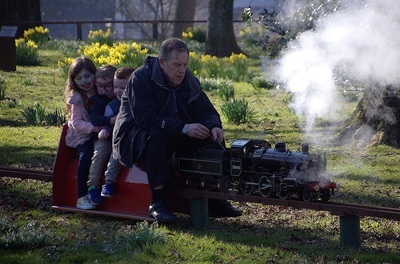 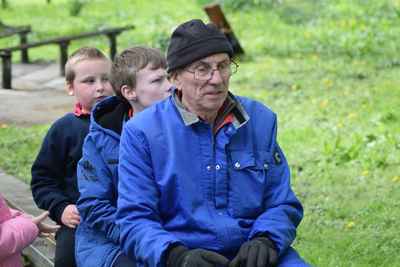 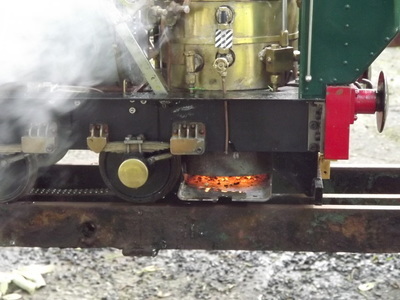 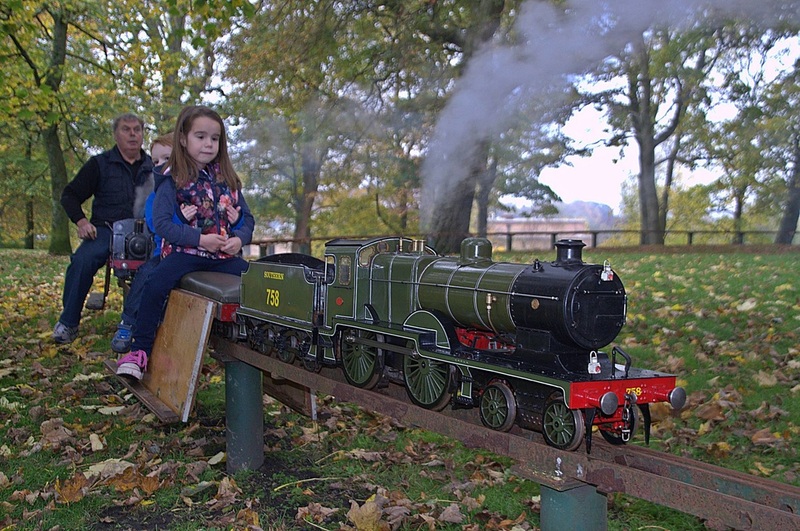 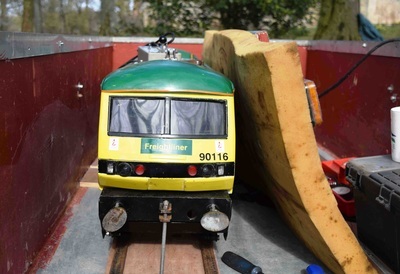 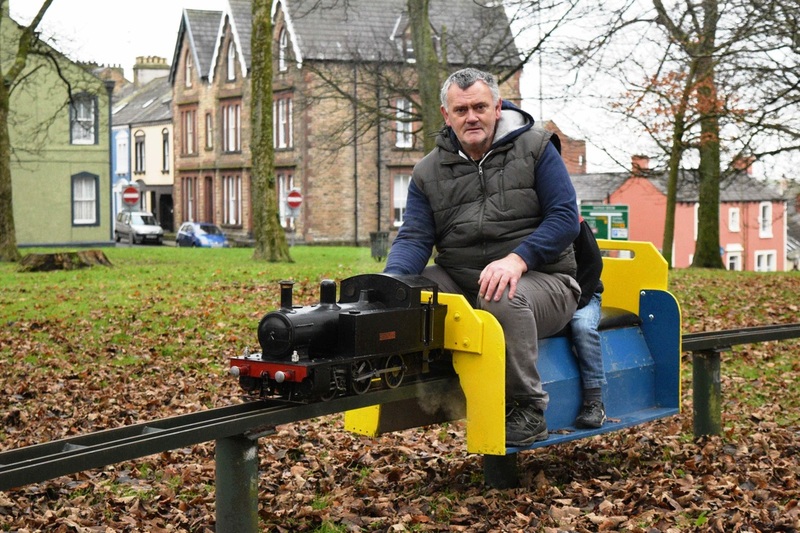 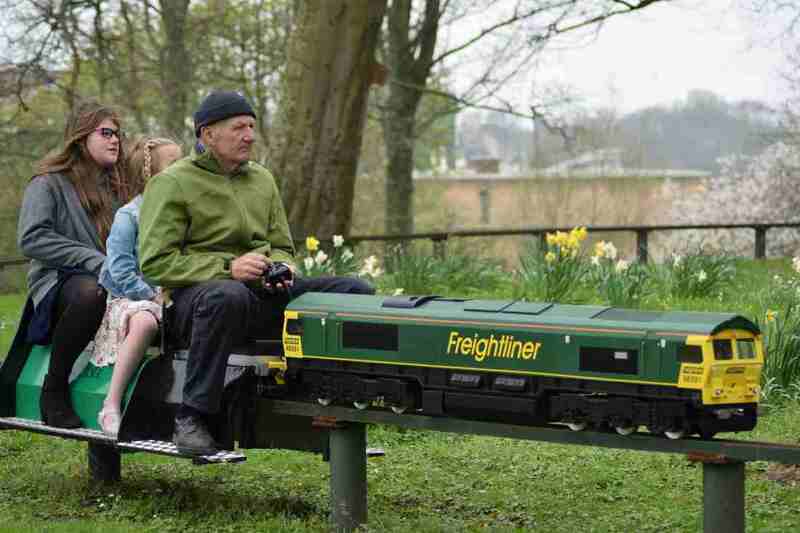 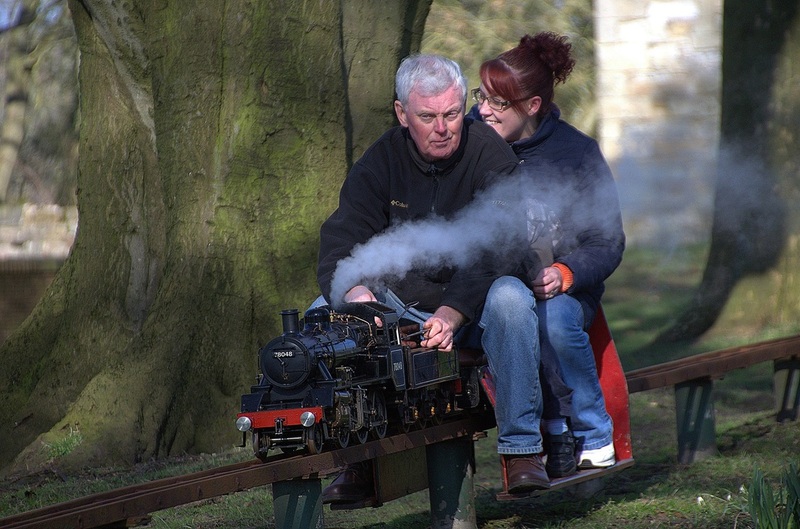 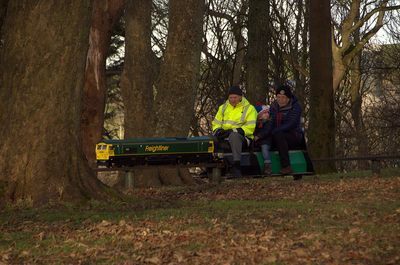 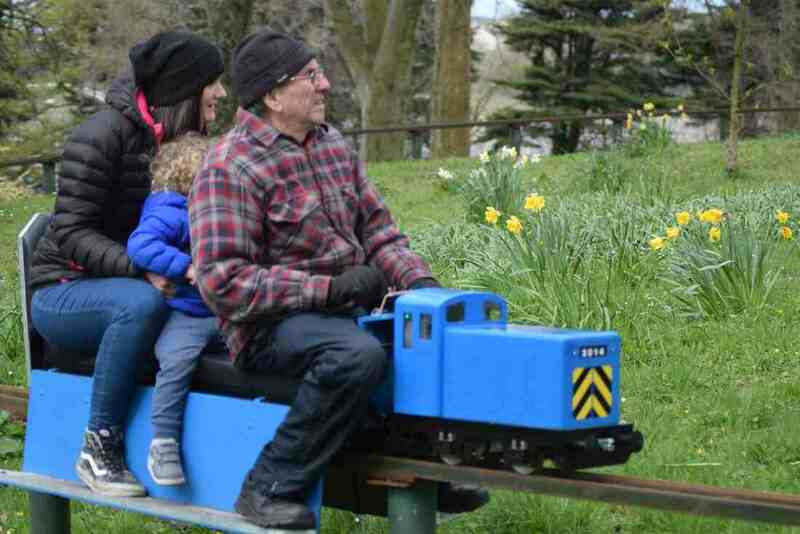 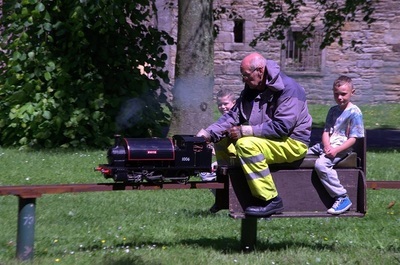 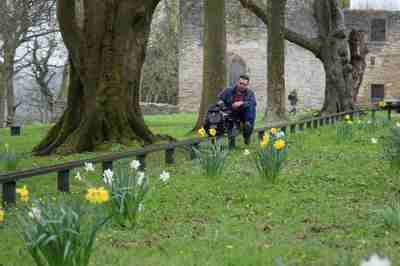 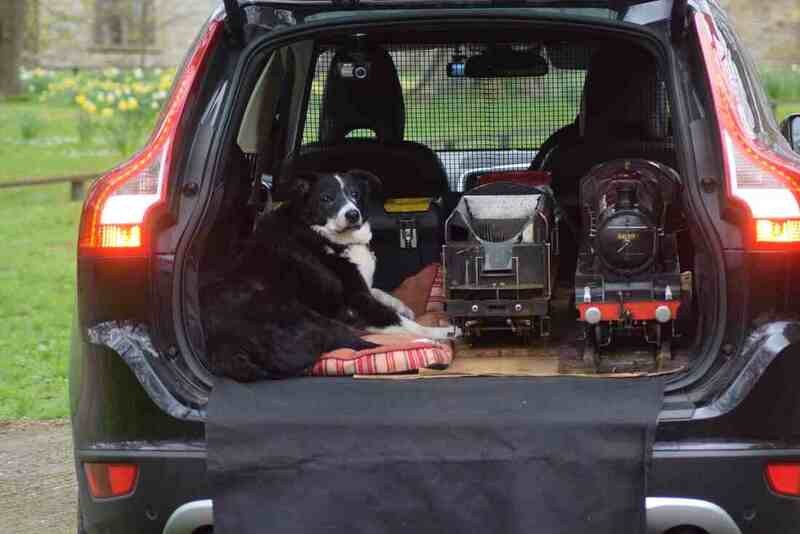 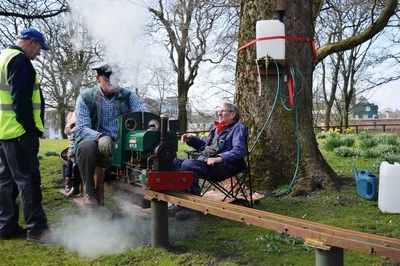 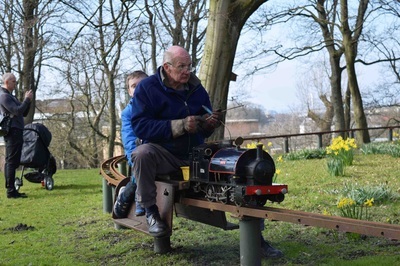 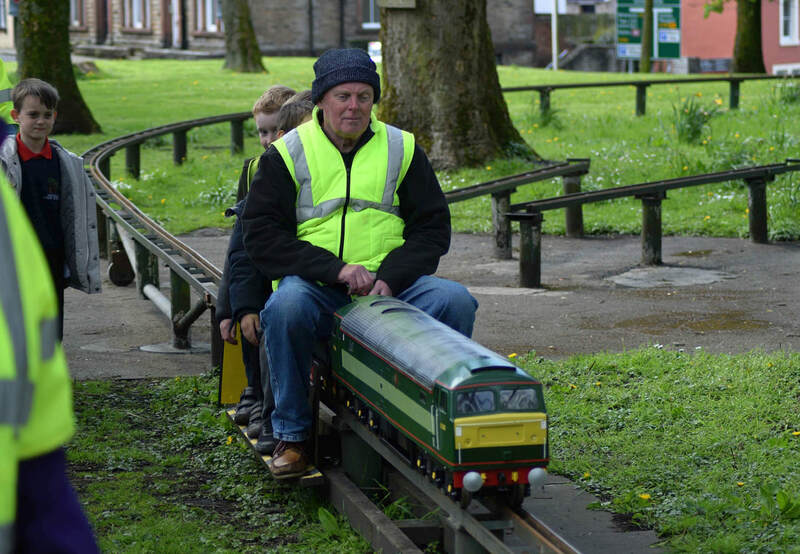 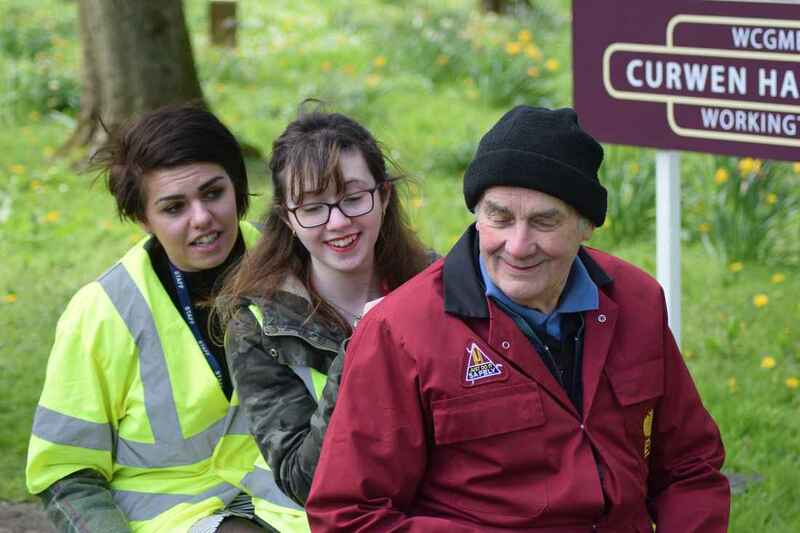 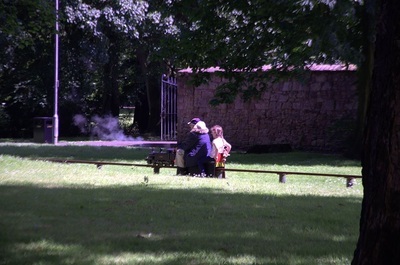 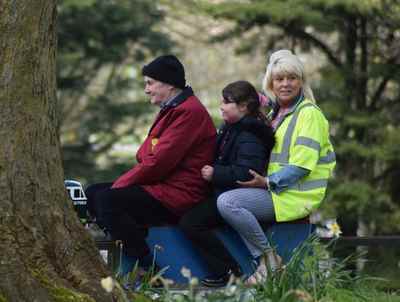 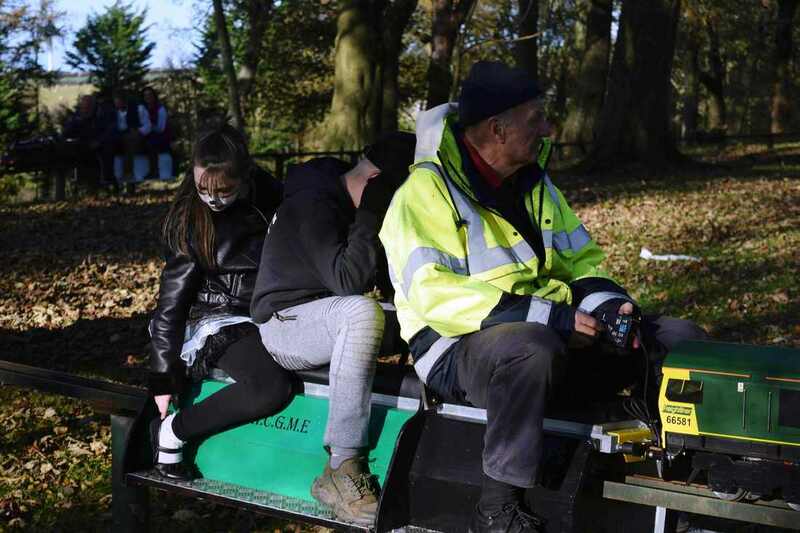 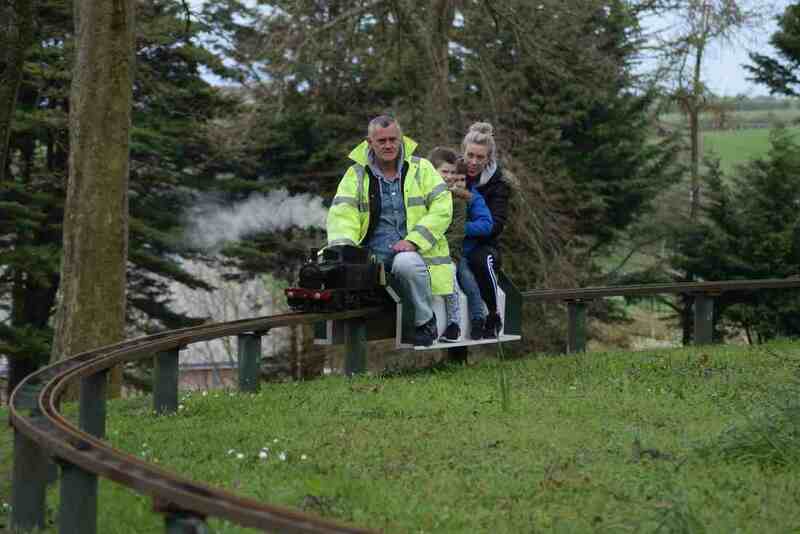 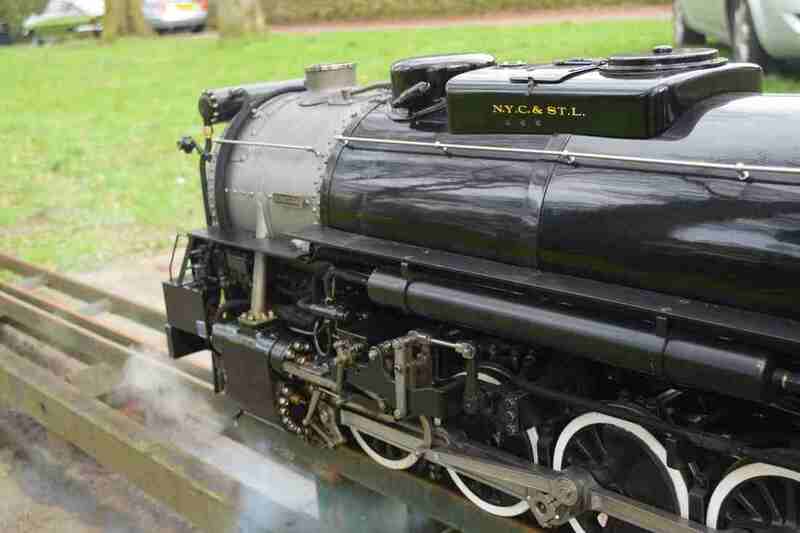 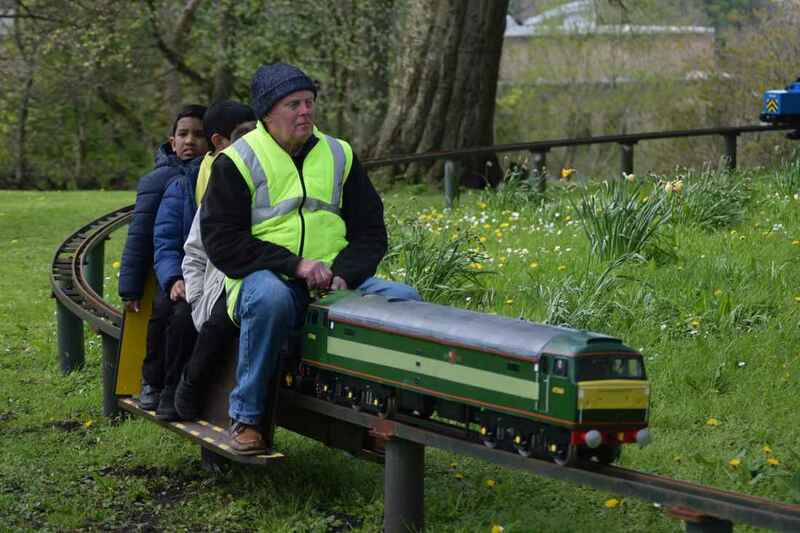 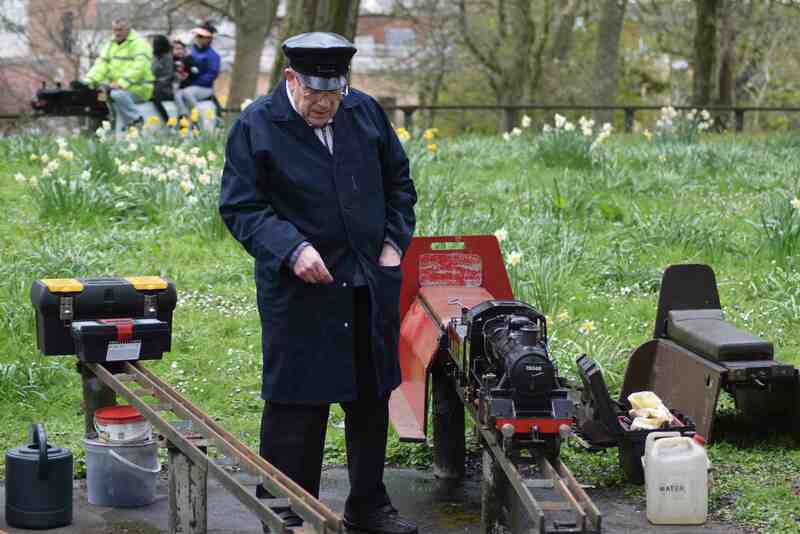 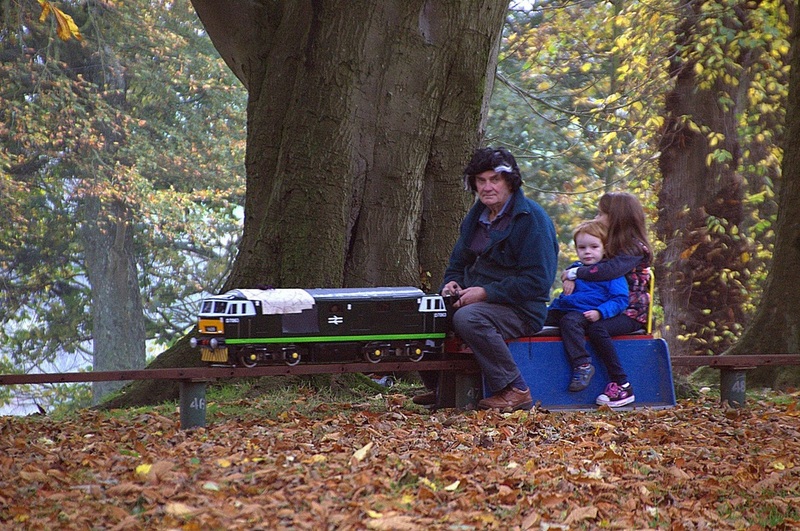 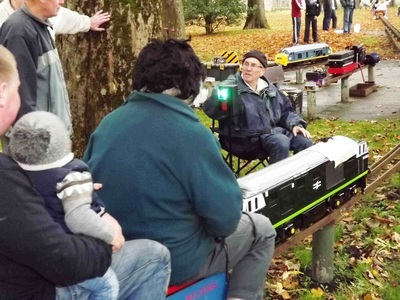 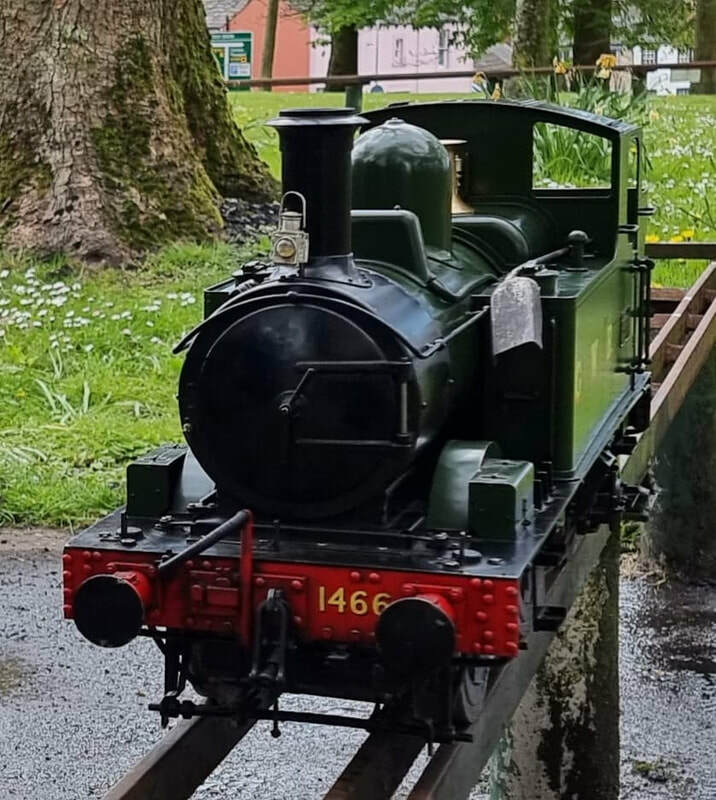 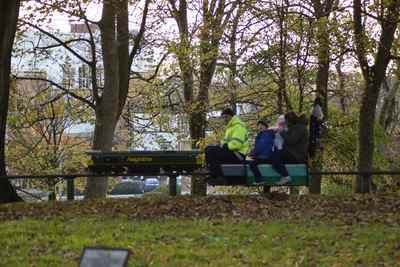 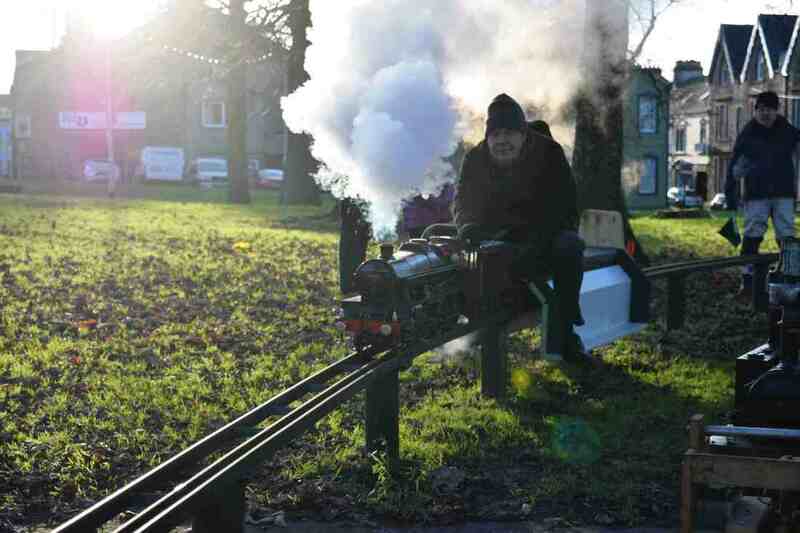 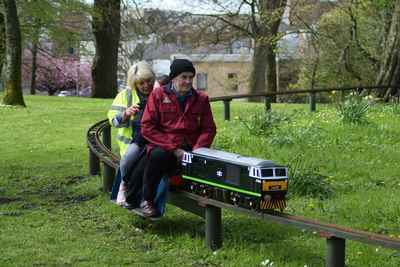 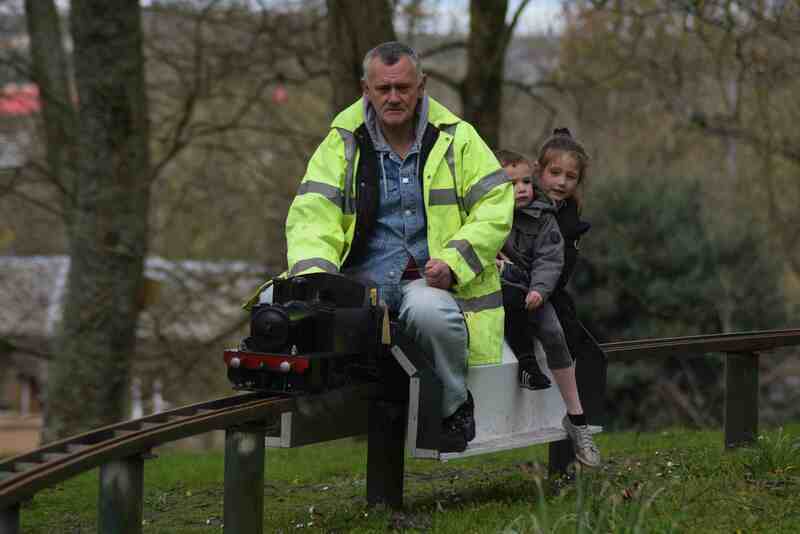 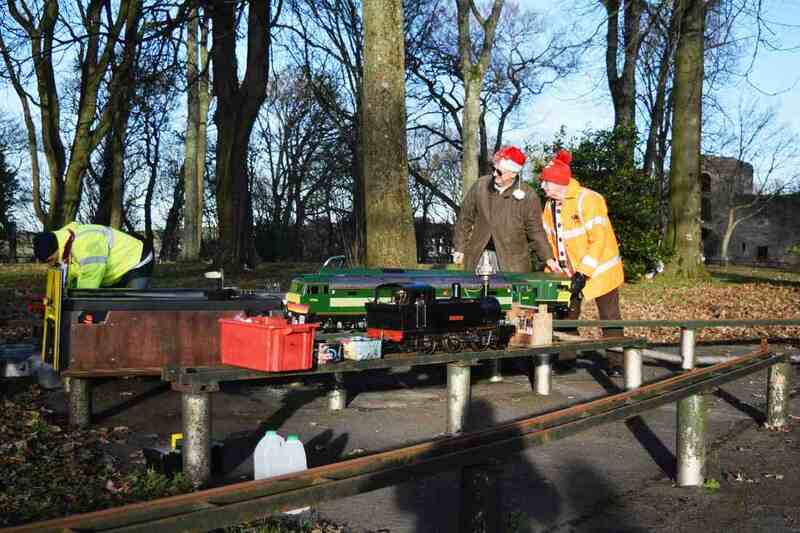 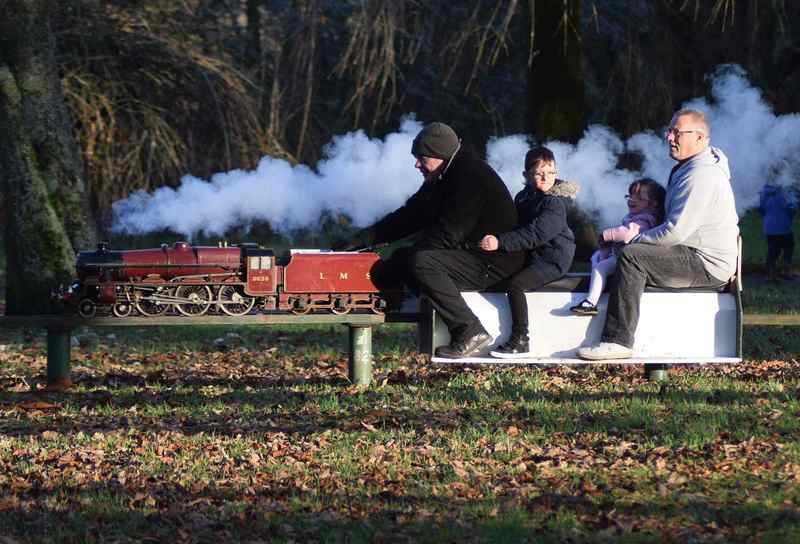 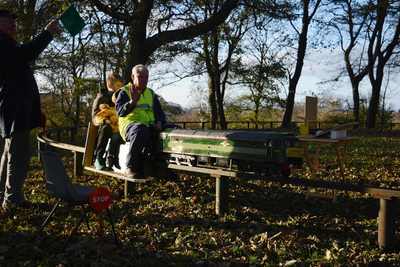 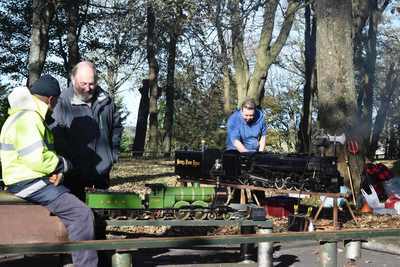 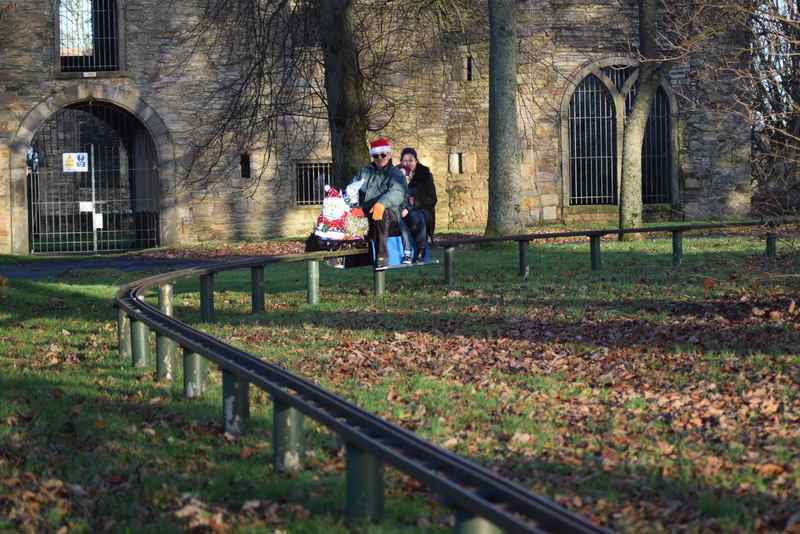 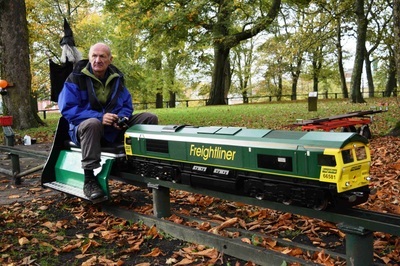 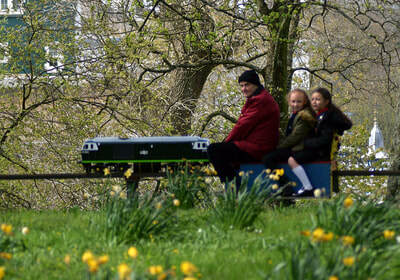 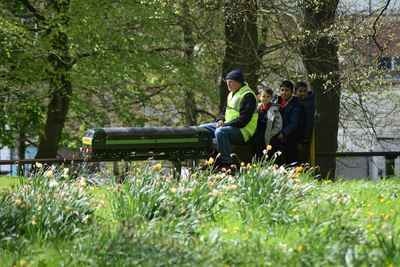 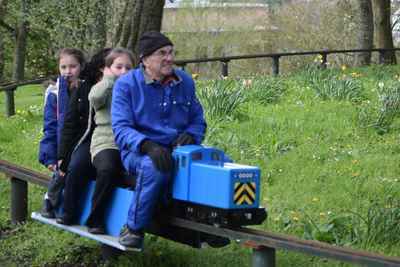 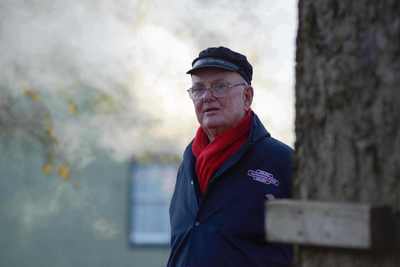 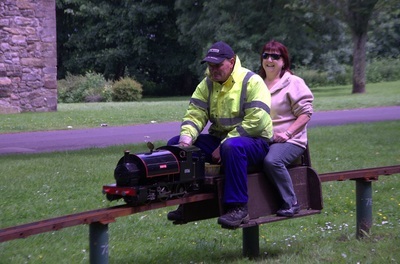 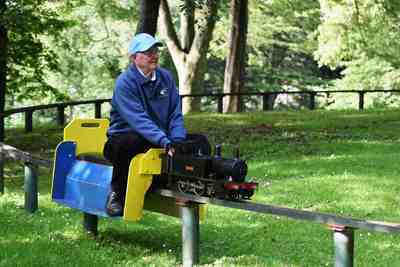 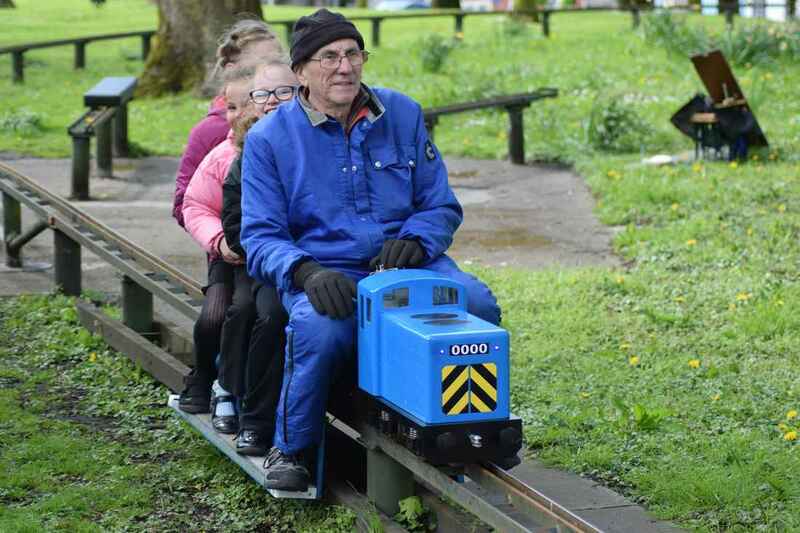 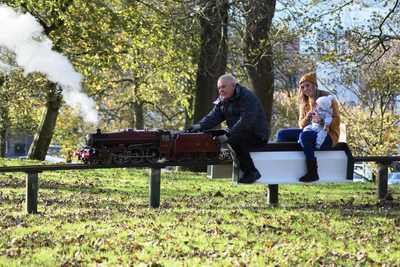 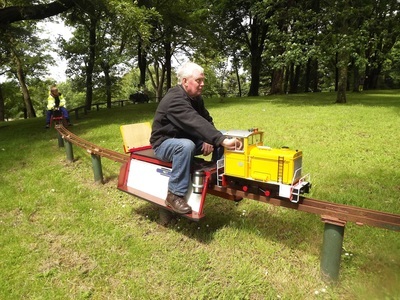 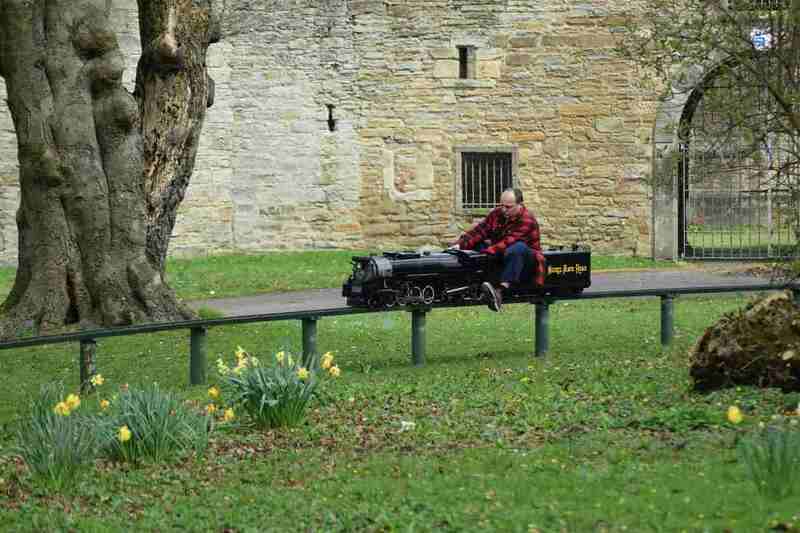 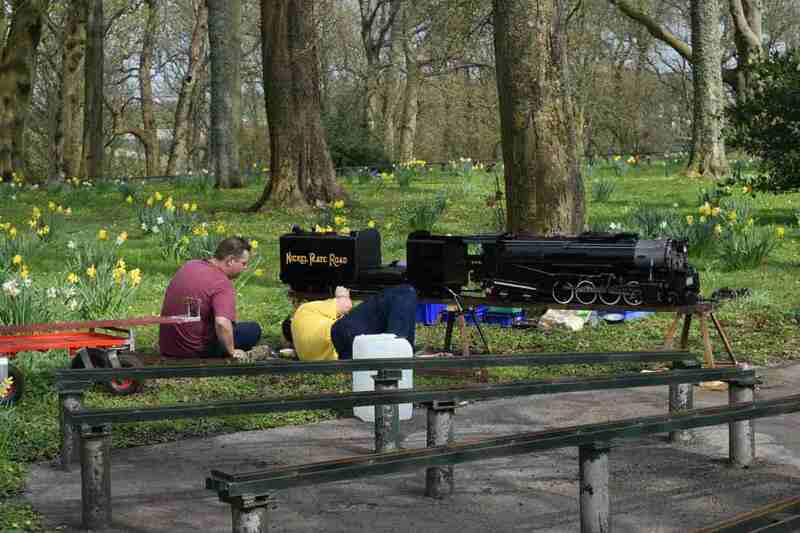 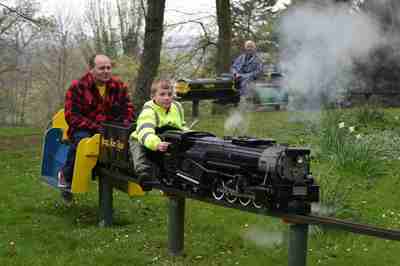 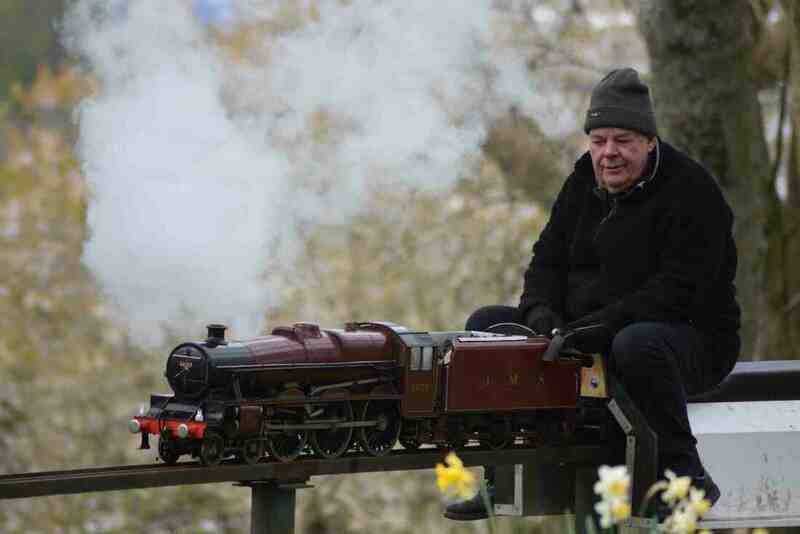 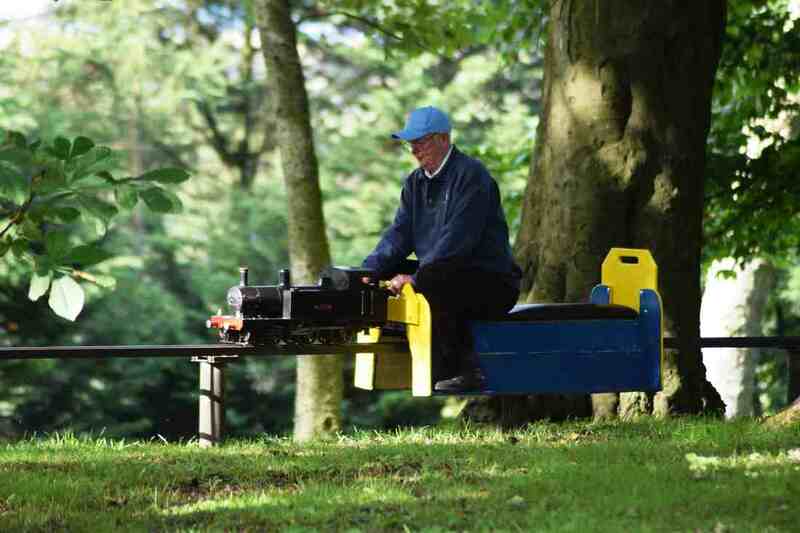 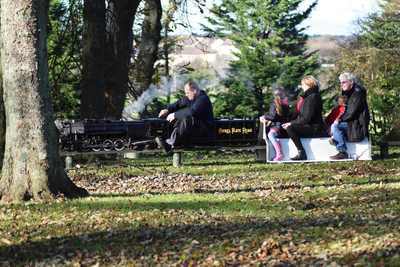 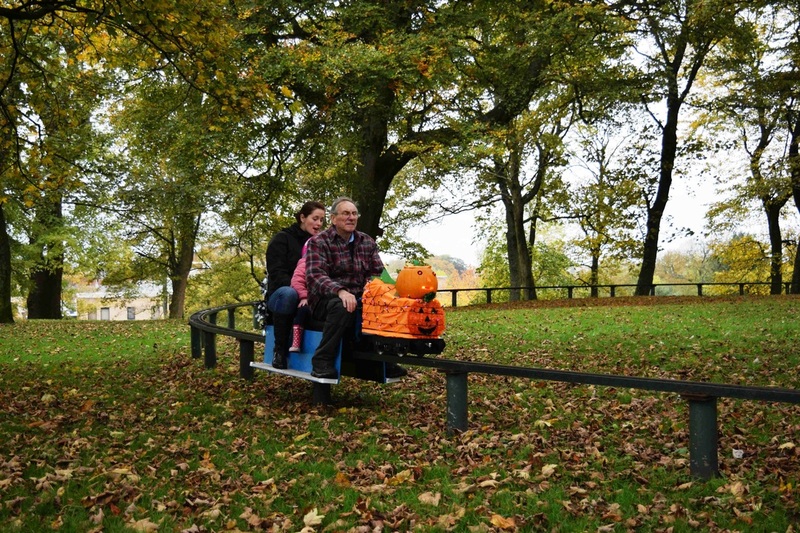 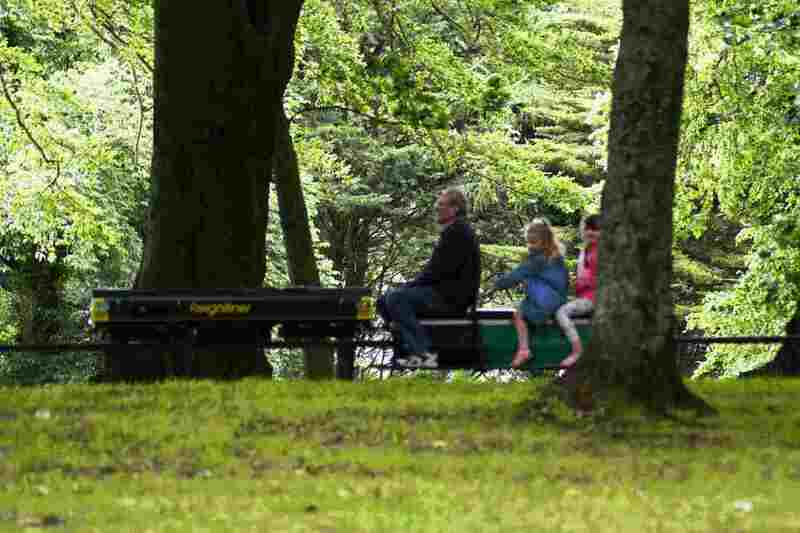 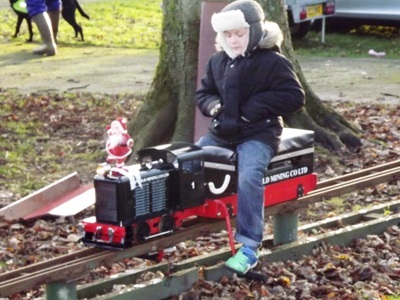 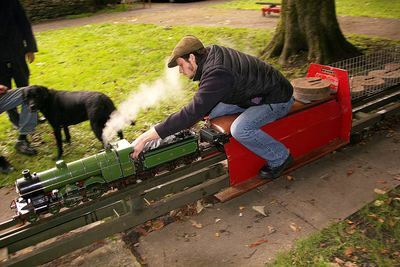 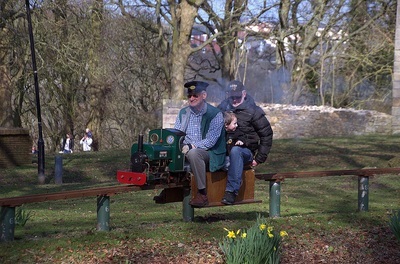 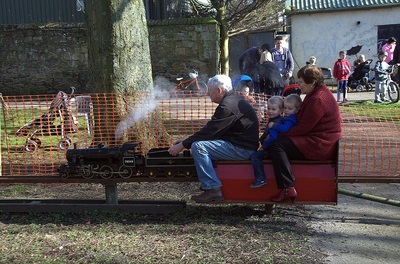 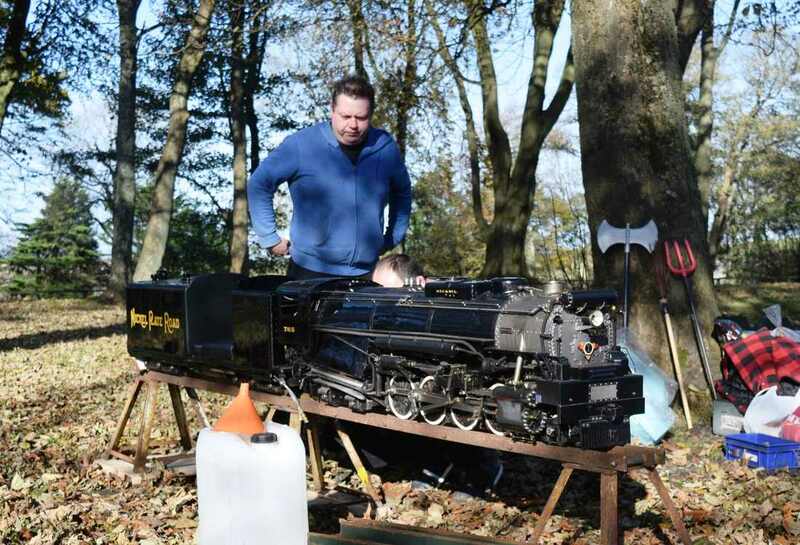 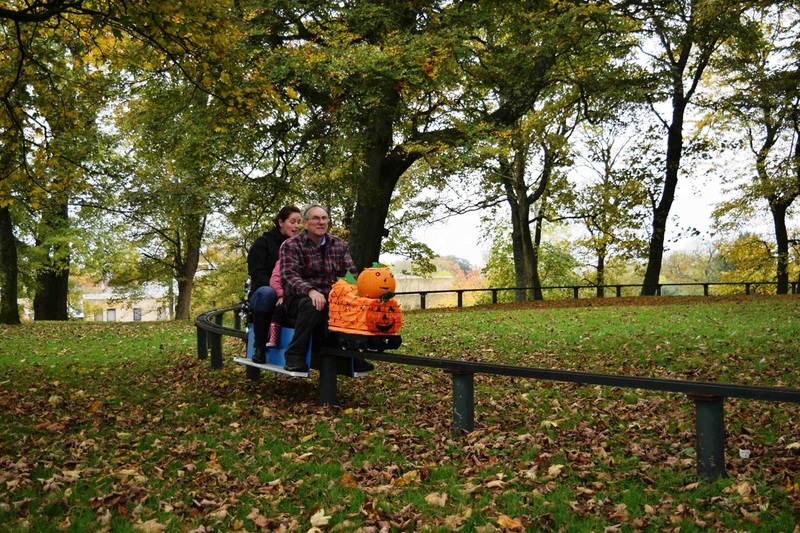 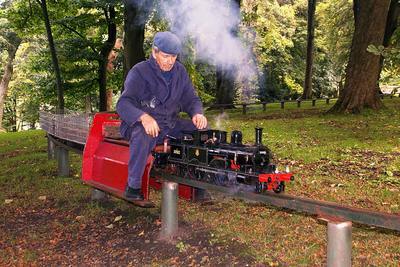 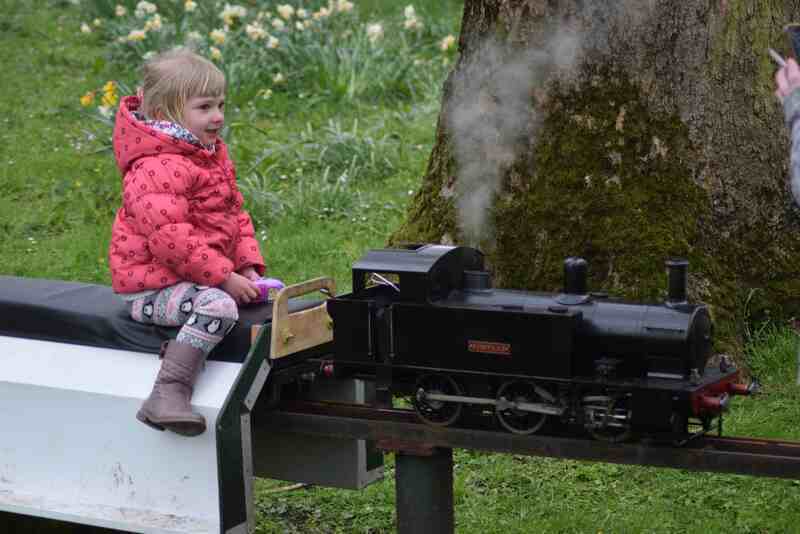 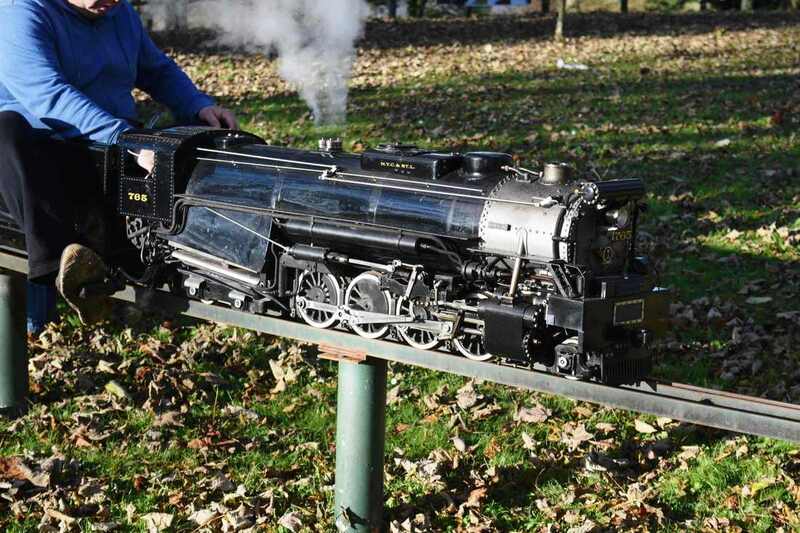 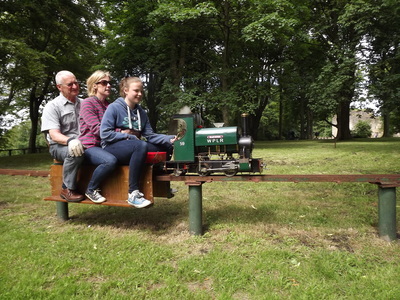 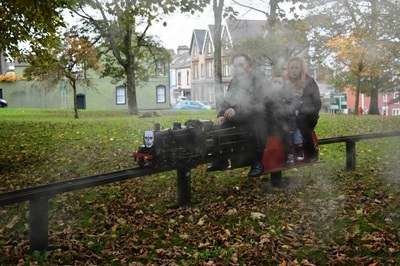 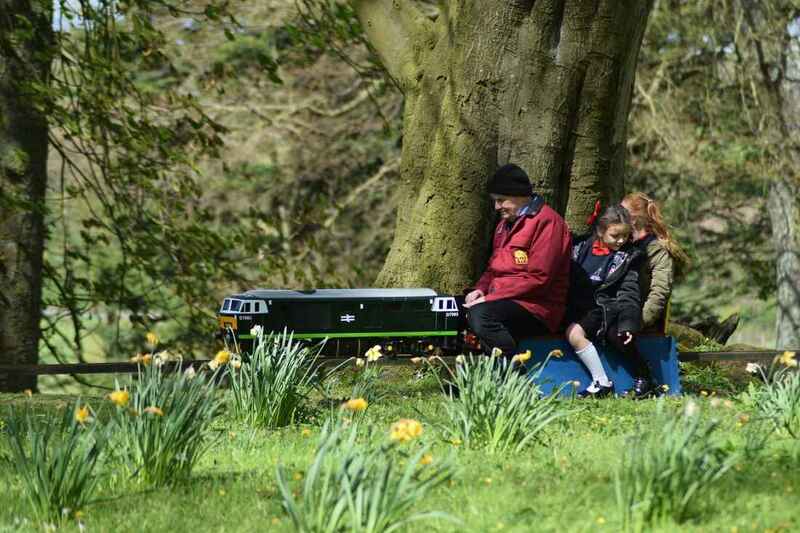 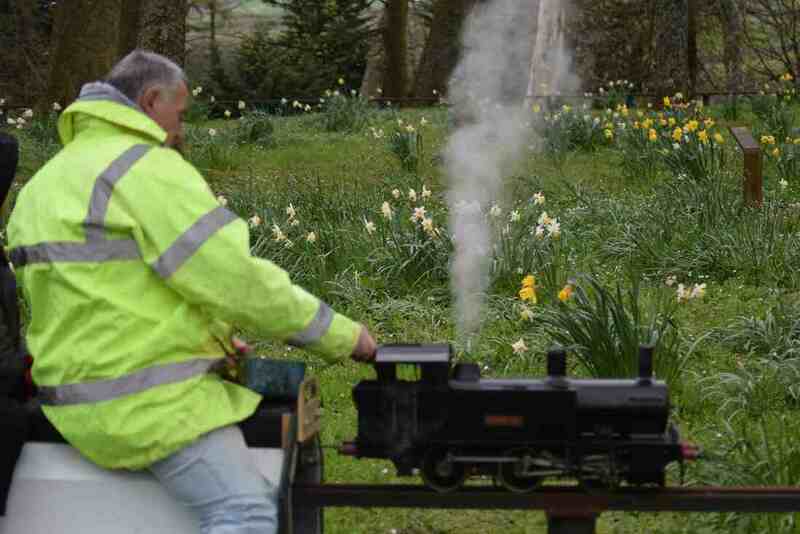 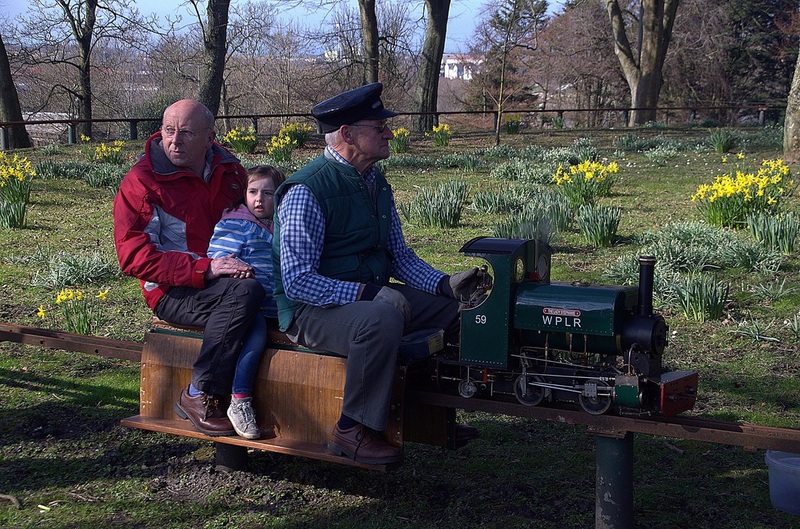 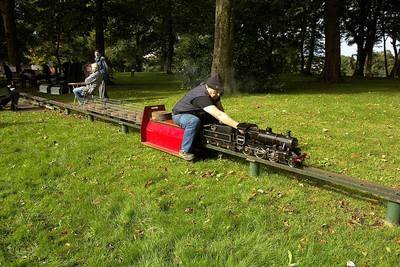 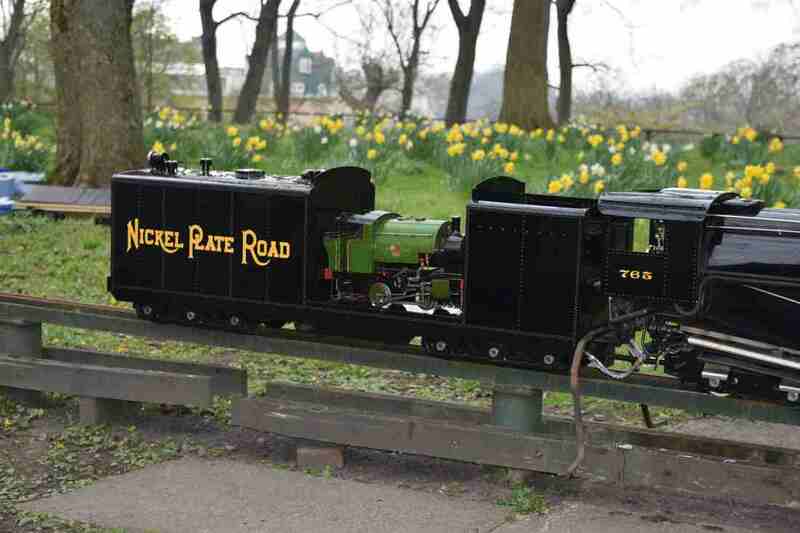 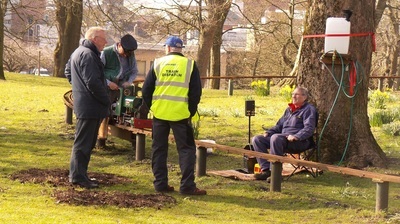 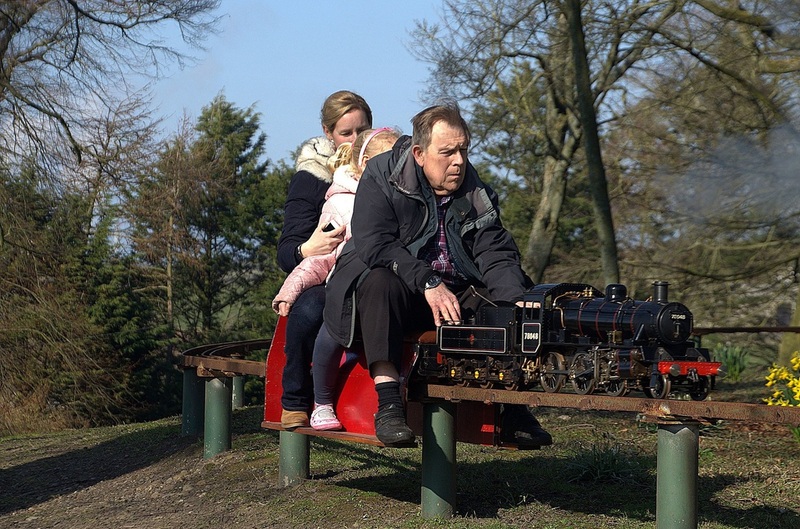 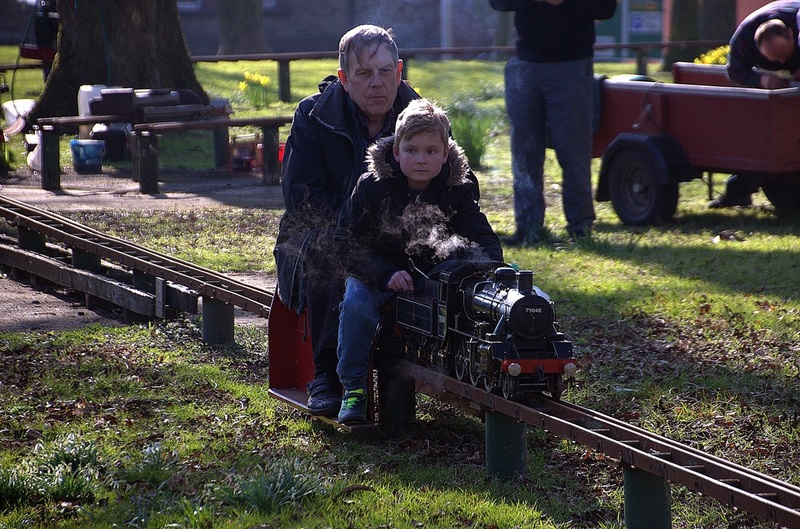 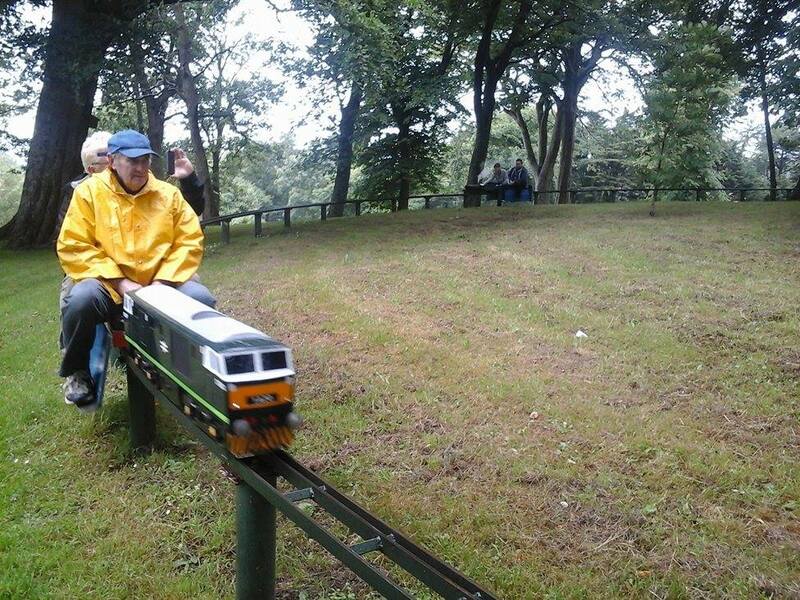 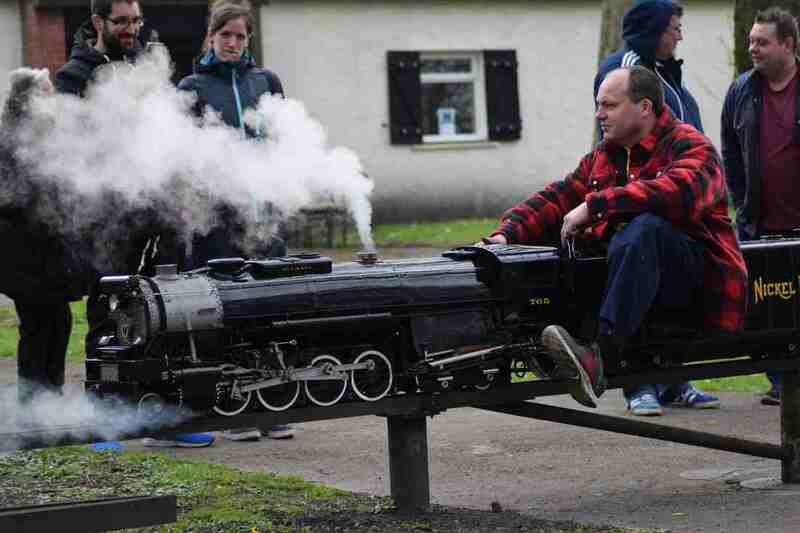 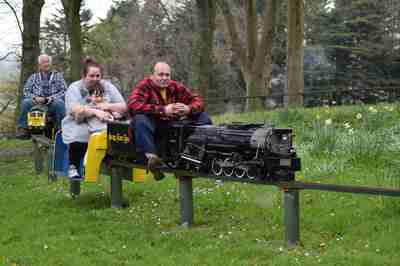 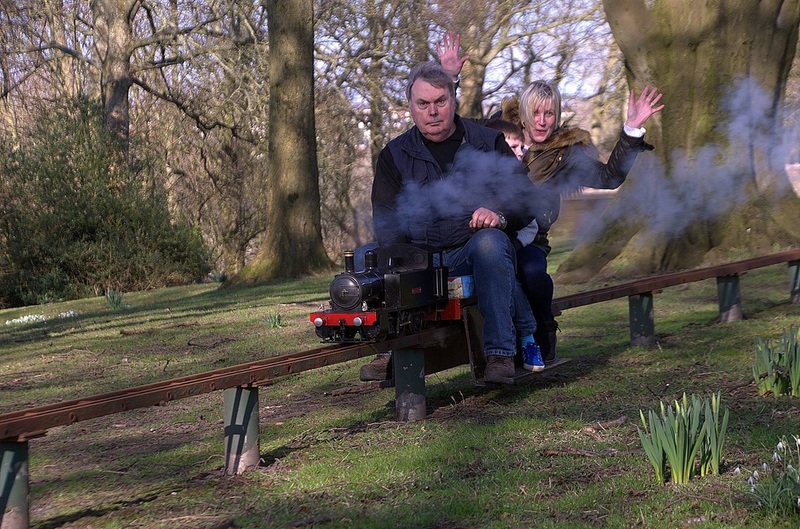 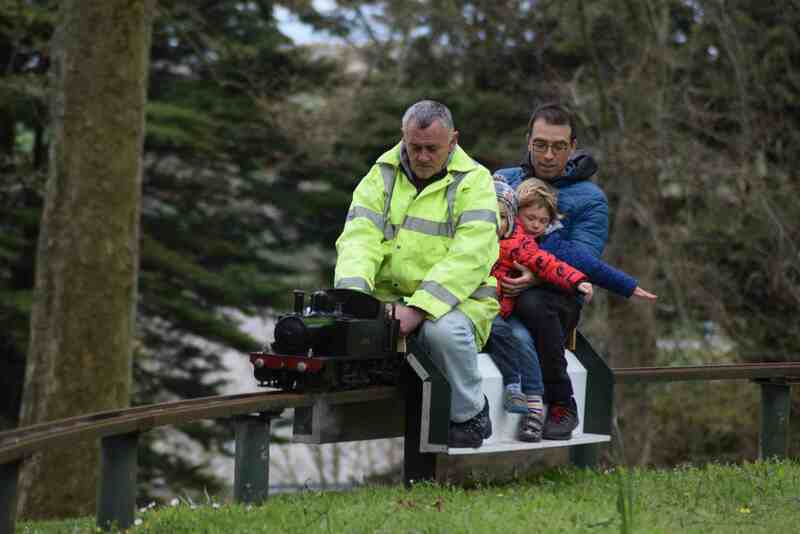 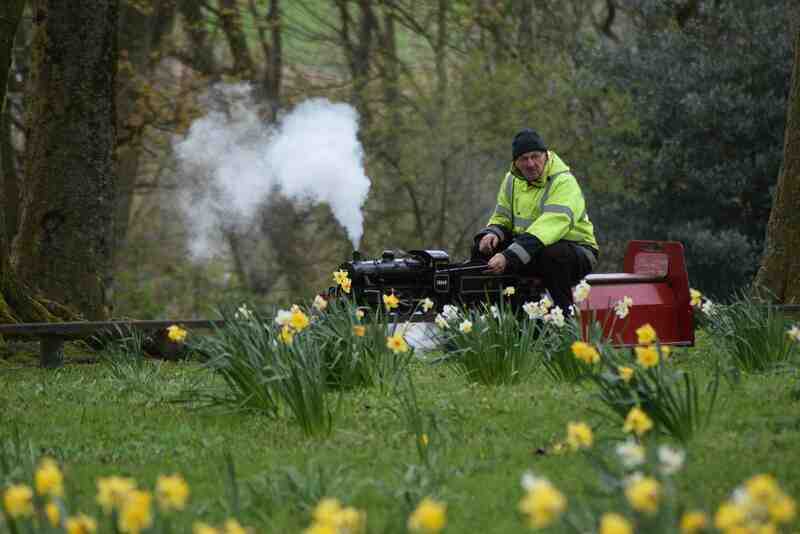 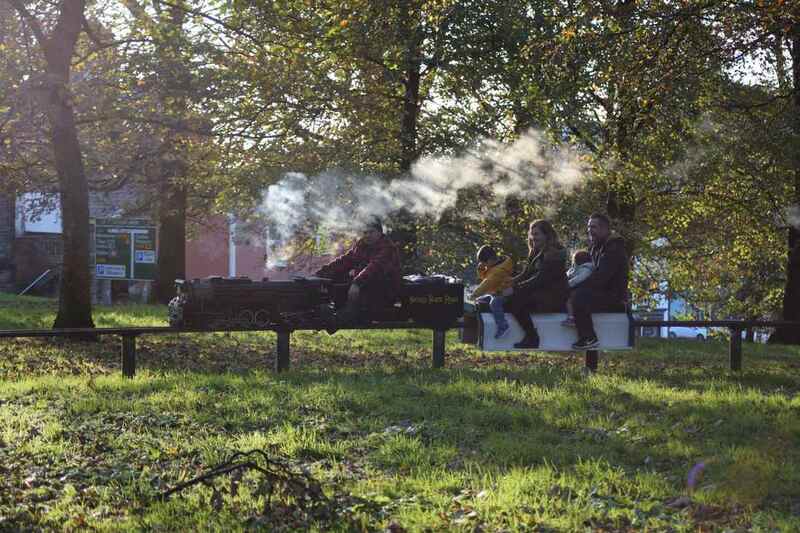 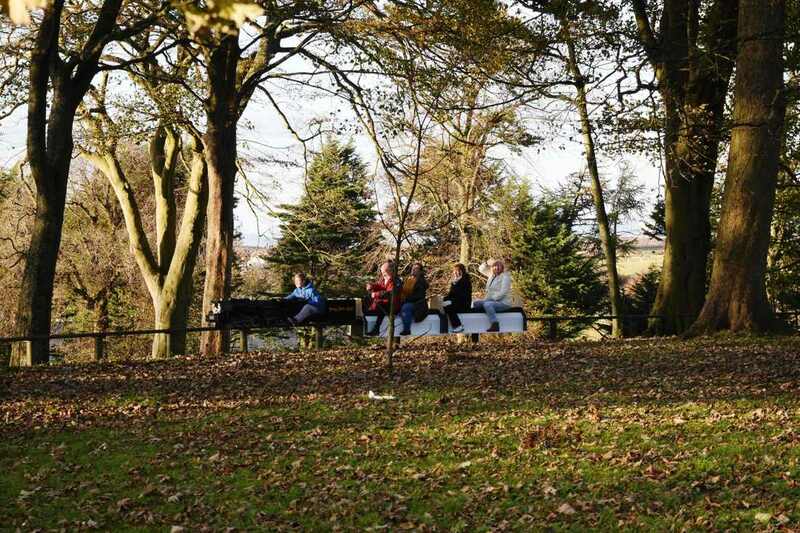 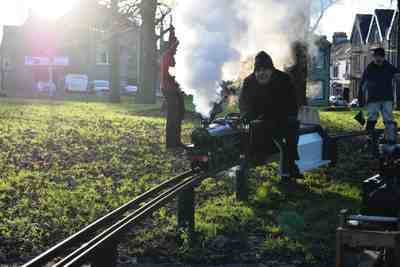 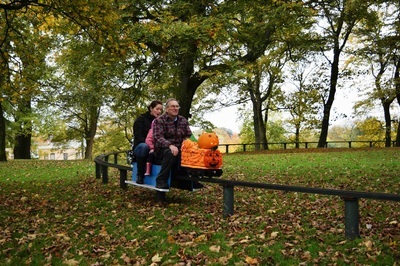 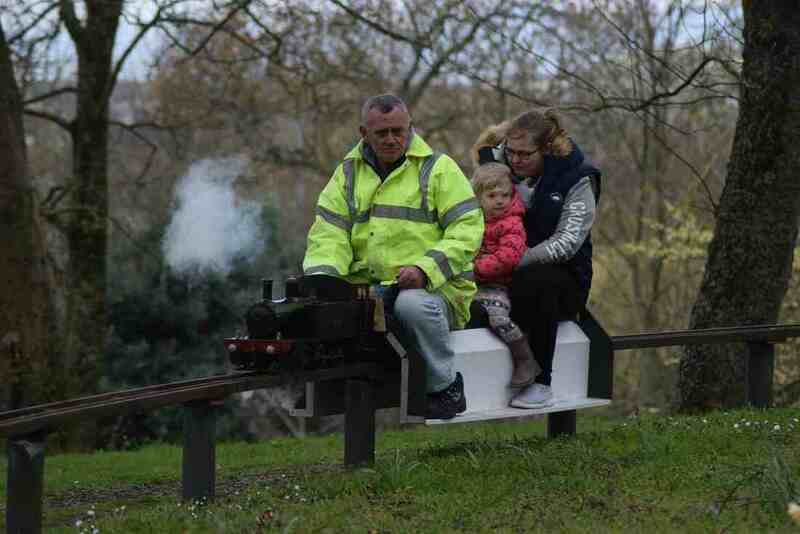 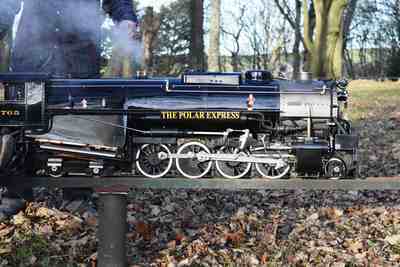 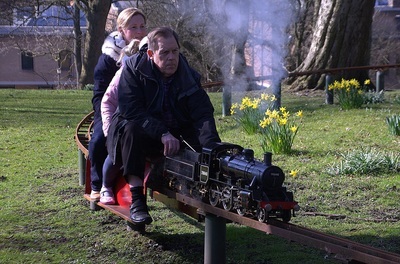 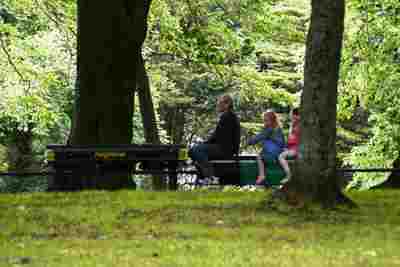 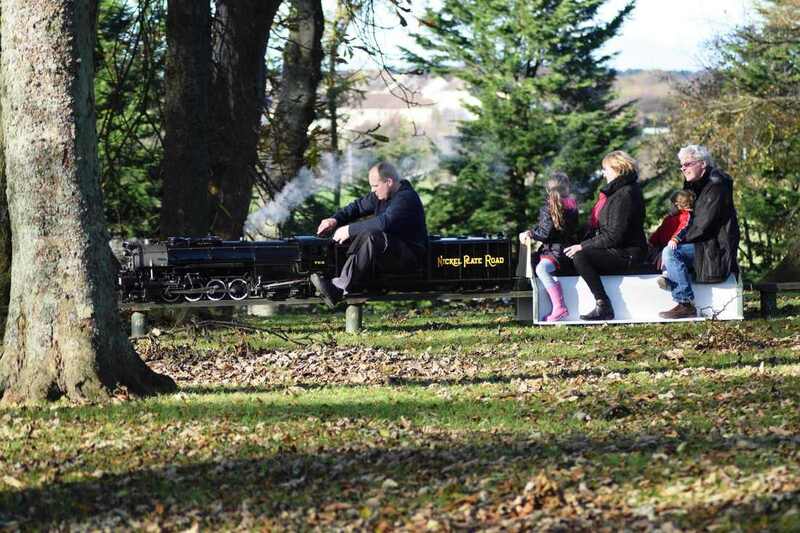 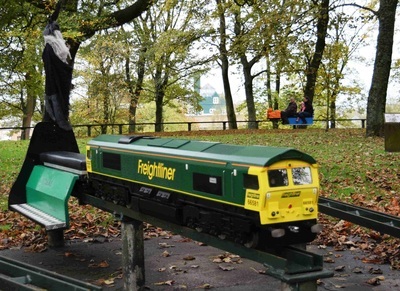 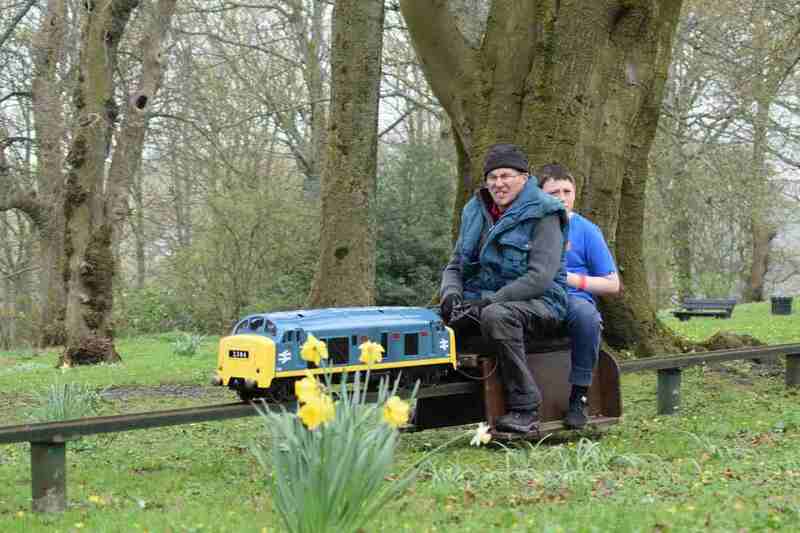 Trains running weather permitting. 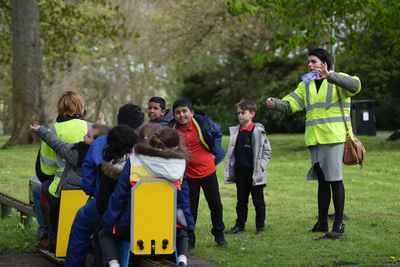 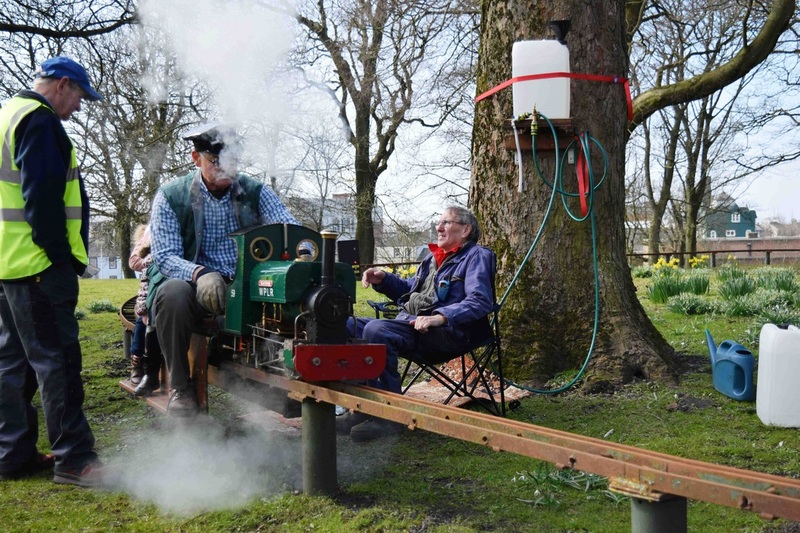 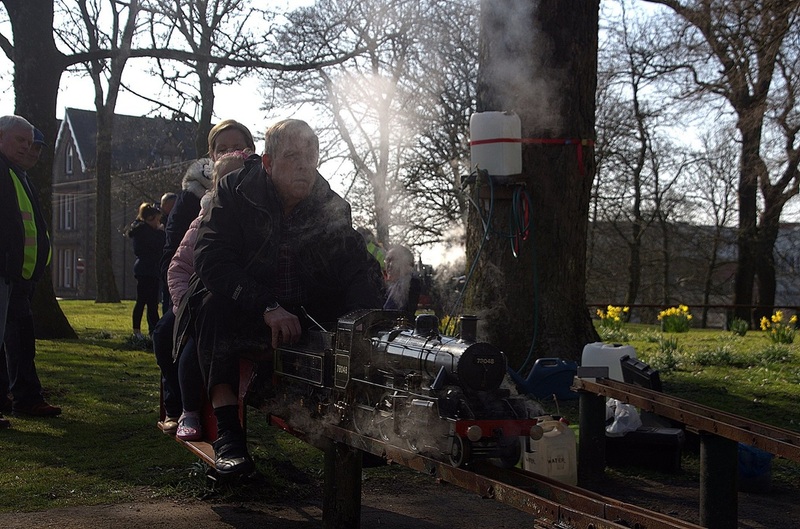 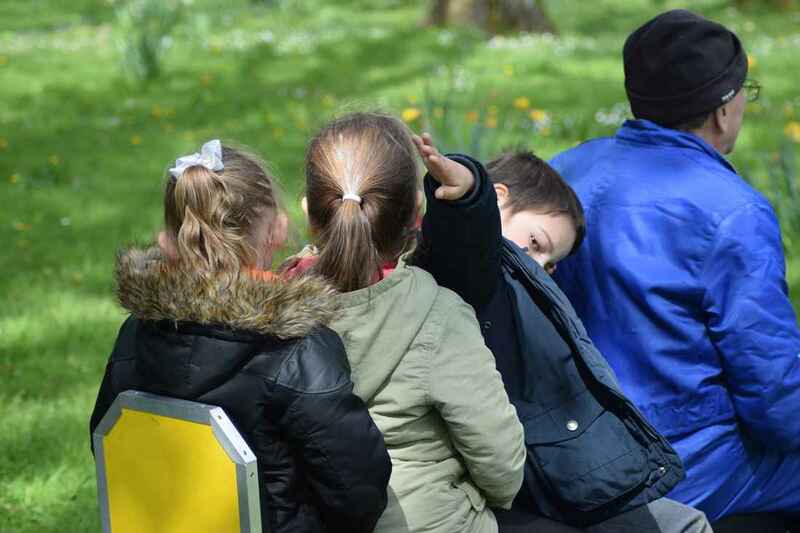 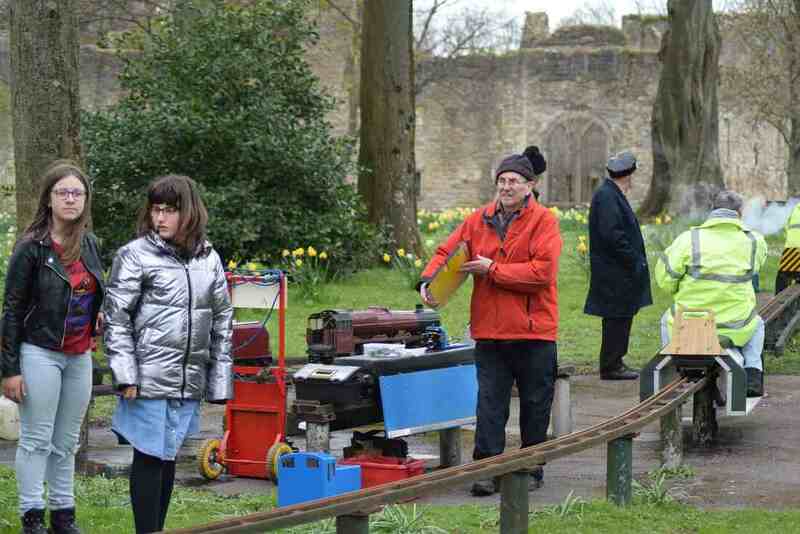 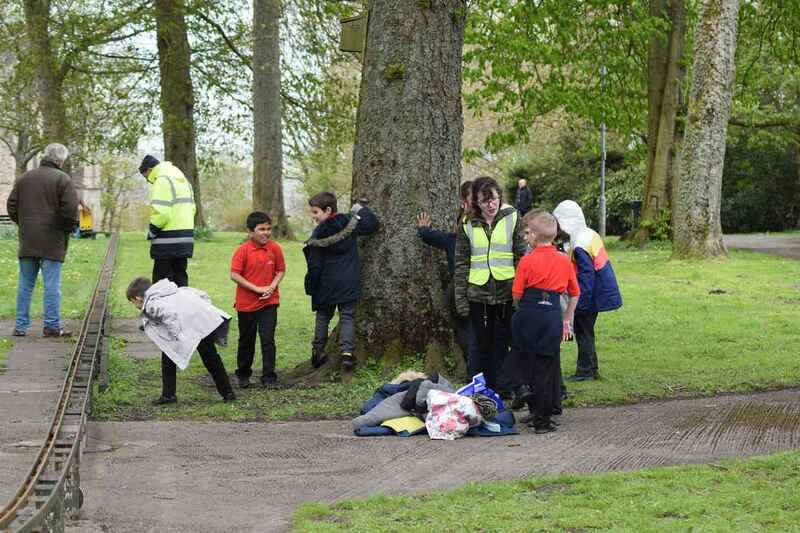 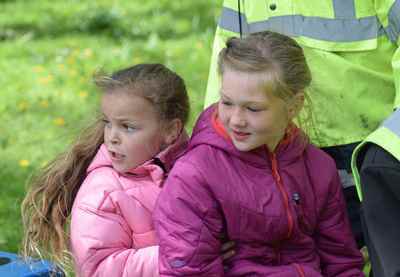 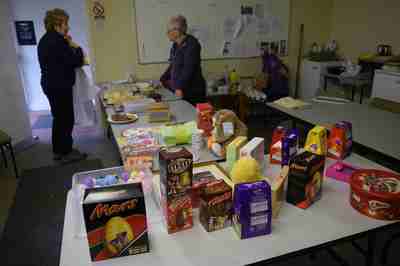 Easter Steam -Up 2016 ​(Click on photos to enlarge or save). 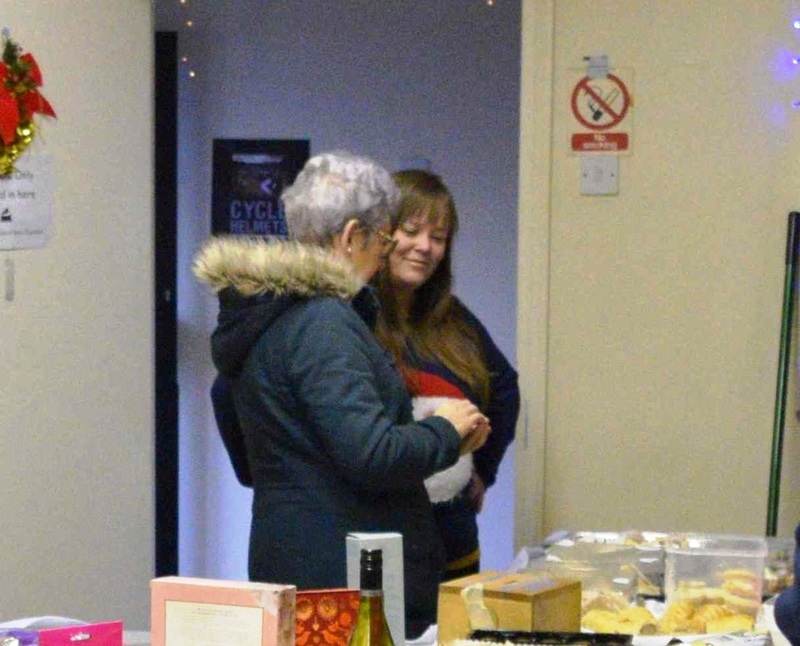 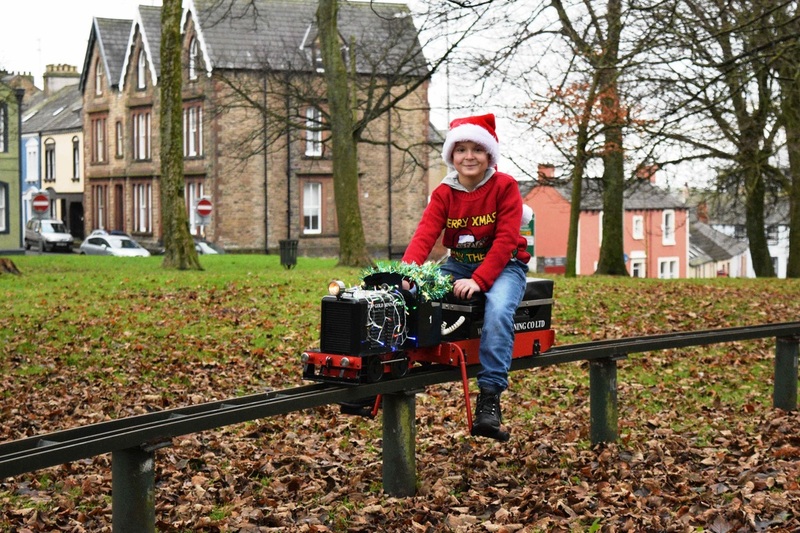 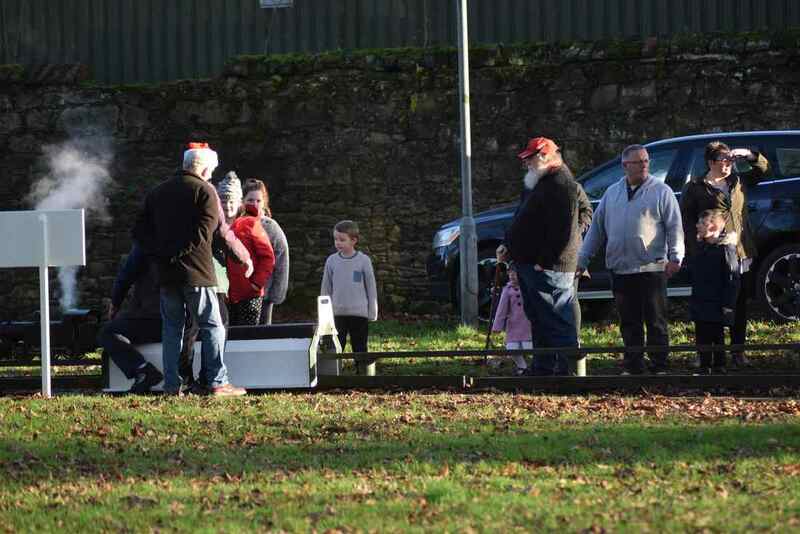 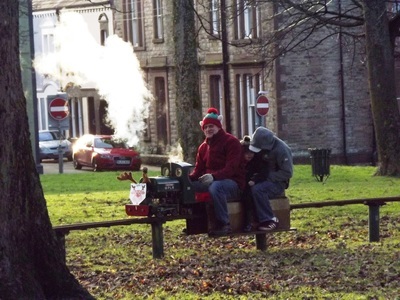 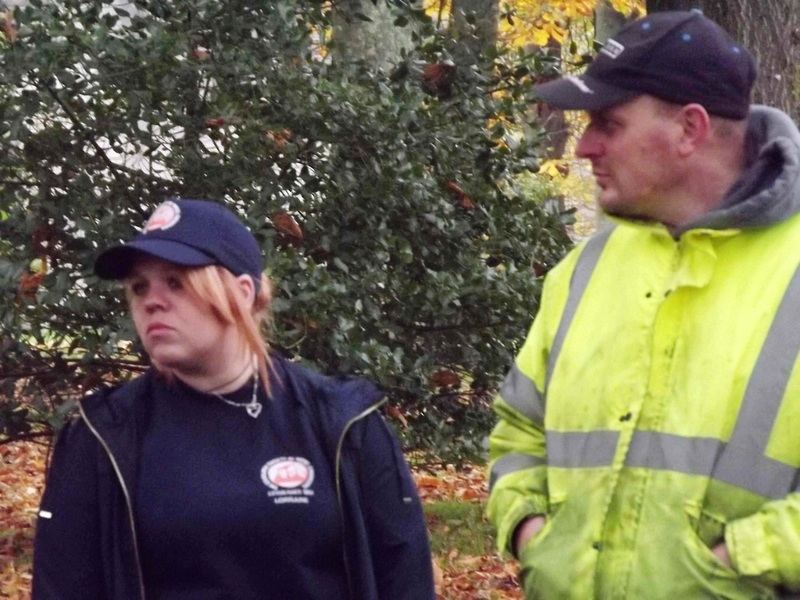 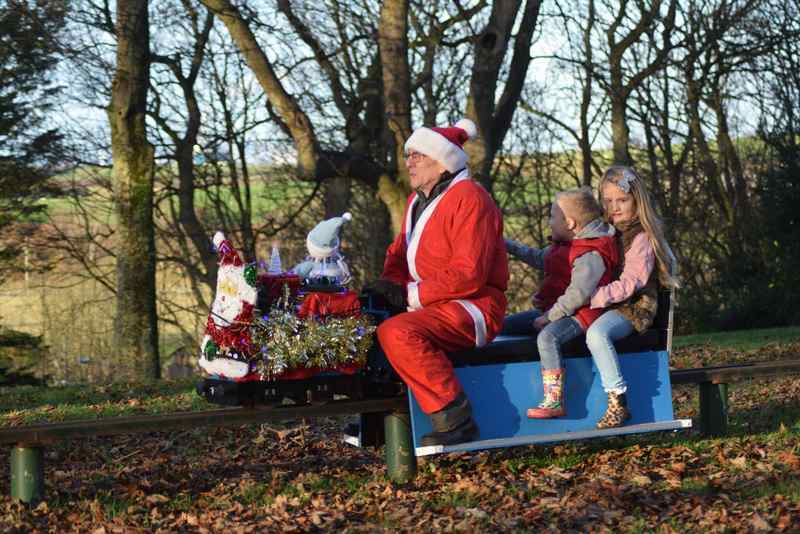 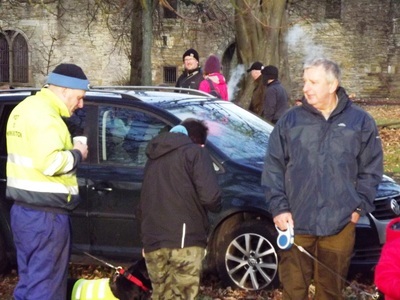 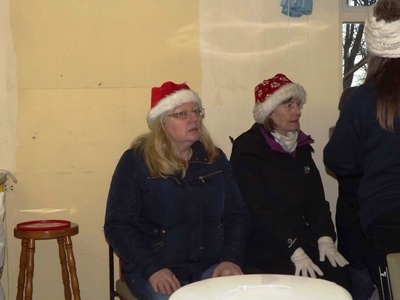 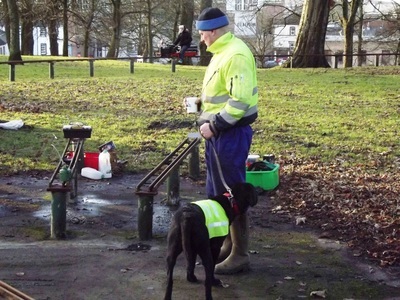 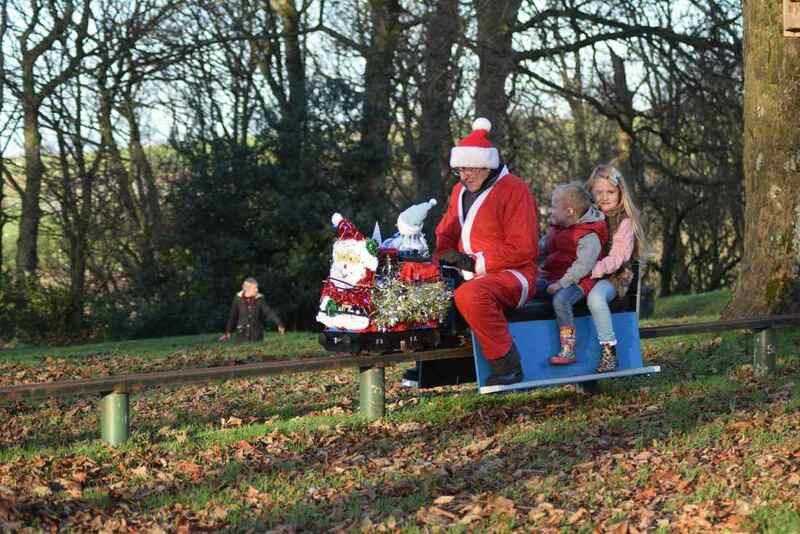 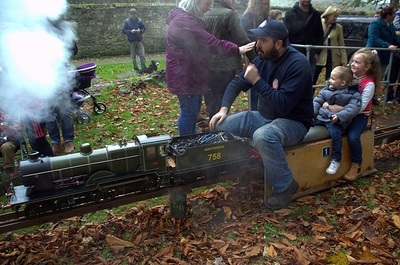 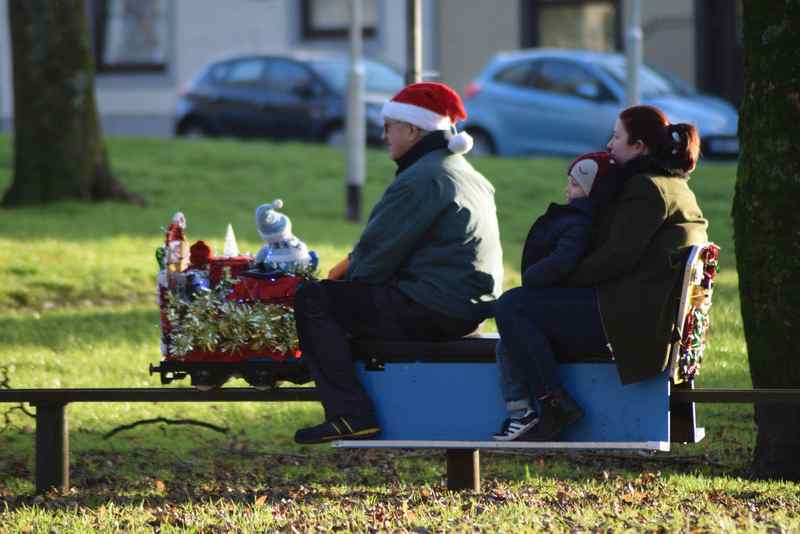 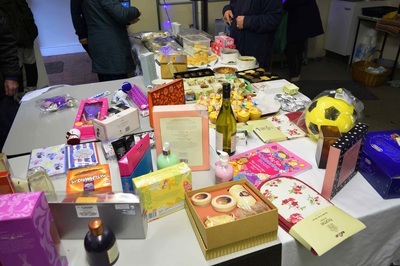 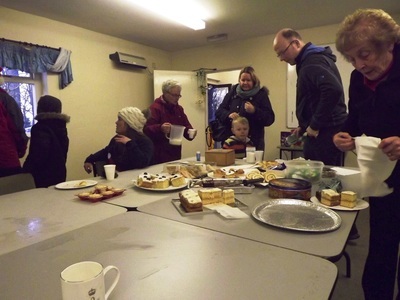 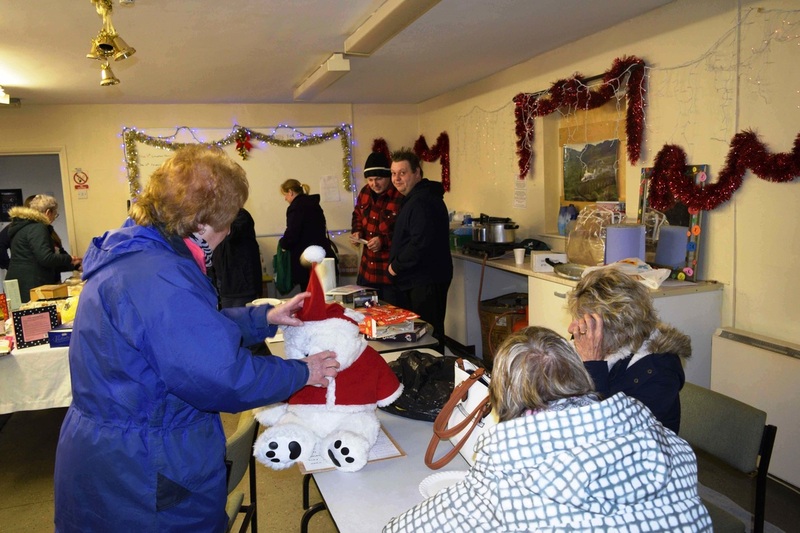 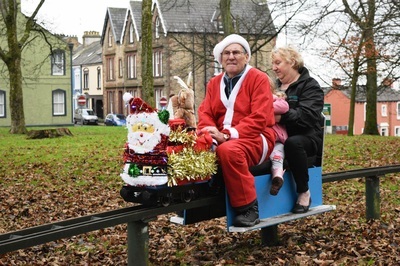 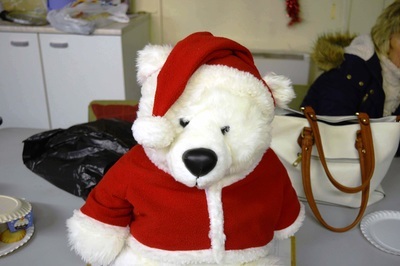 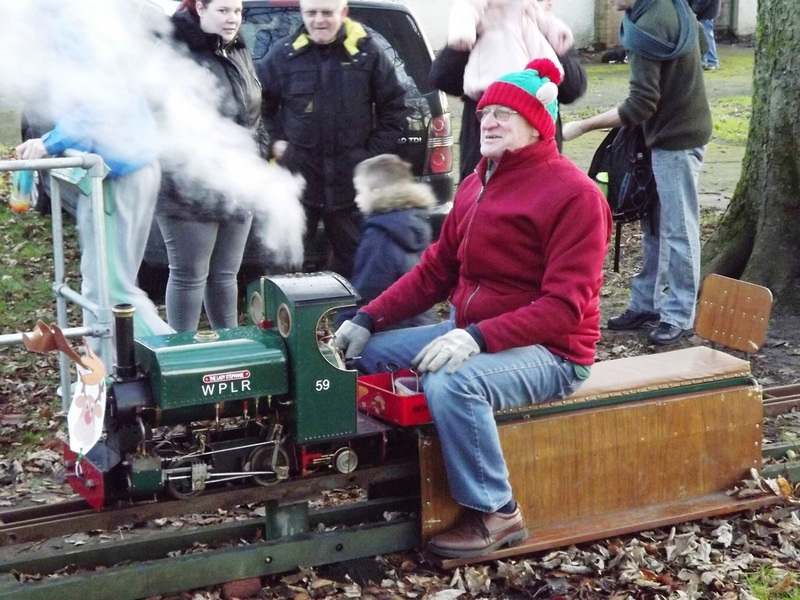 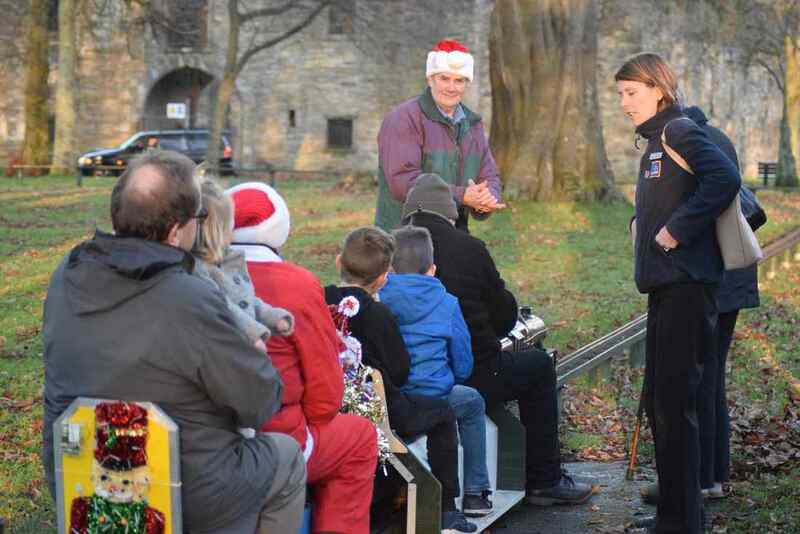 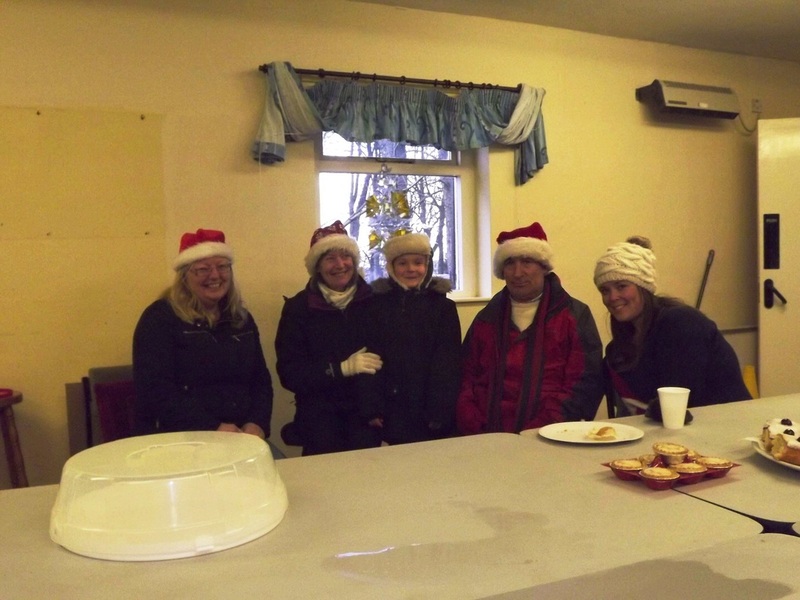 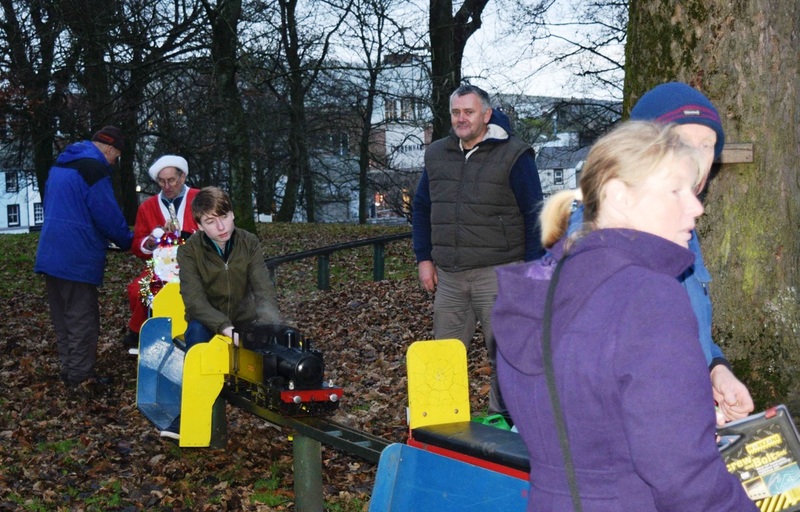 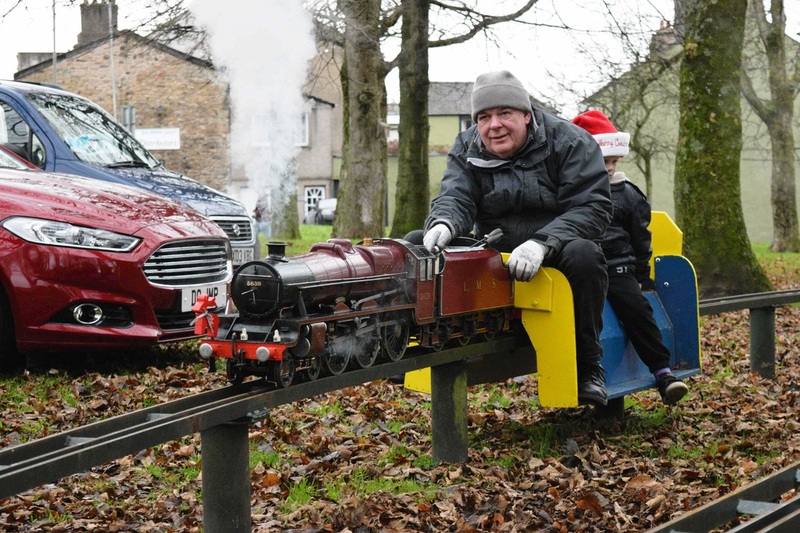 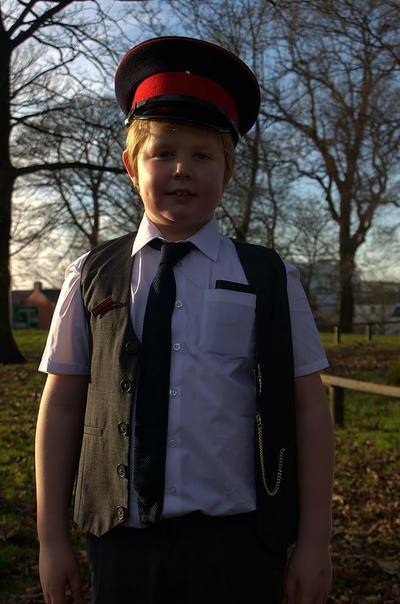 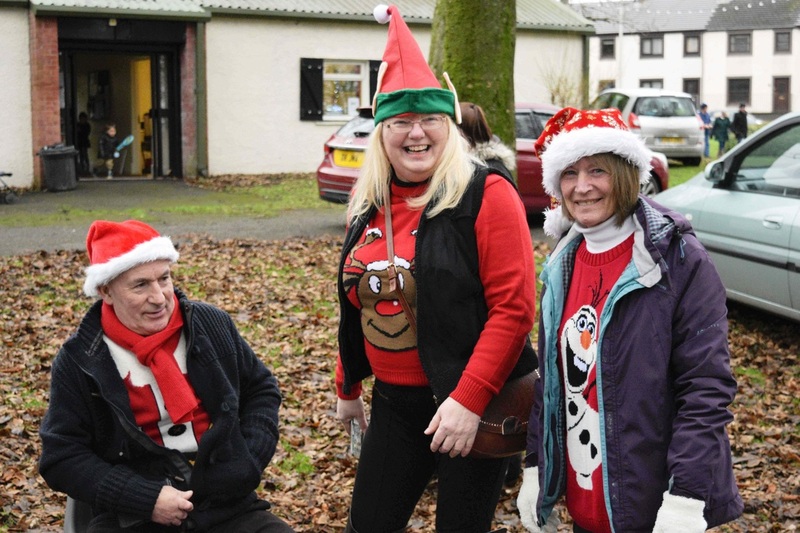 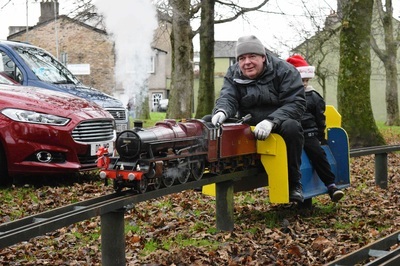 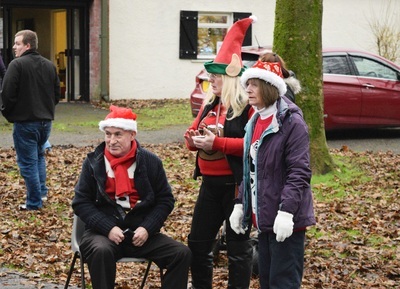 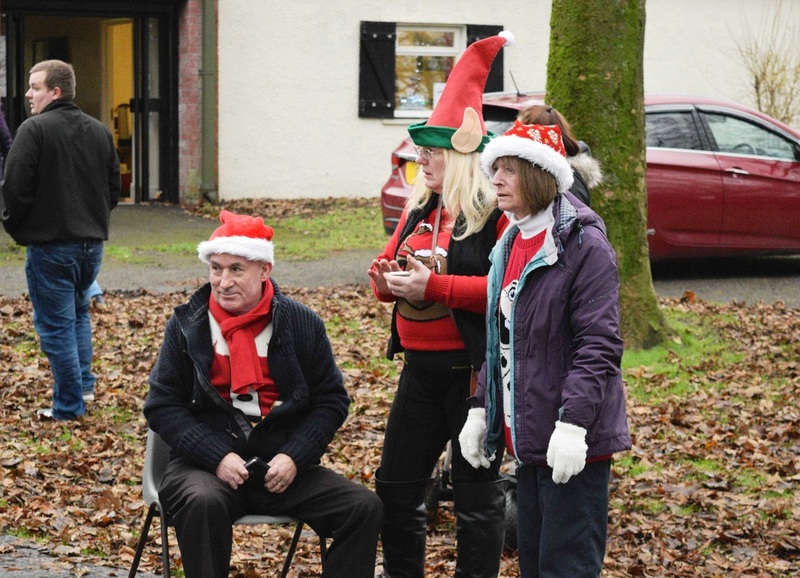 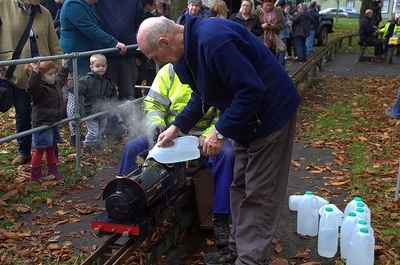 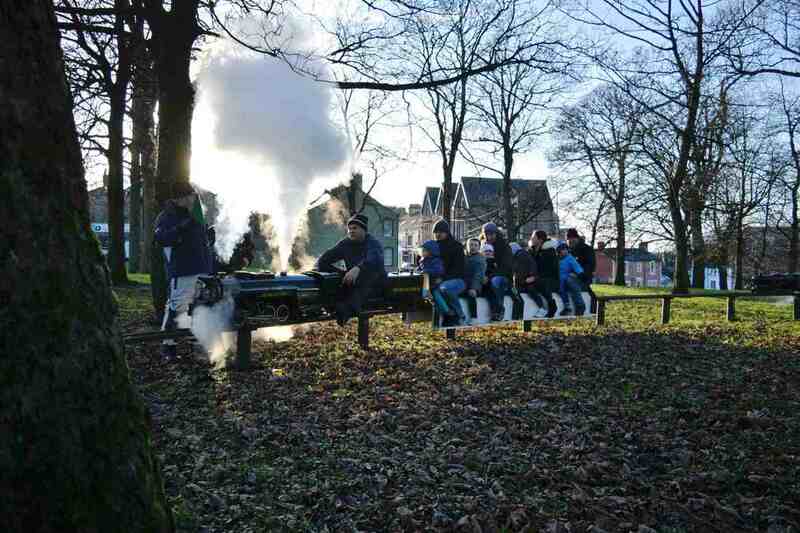 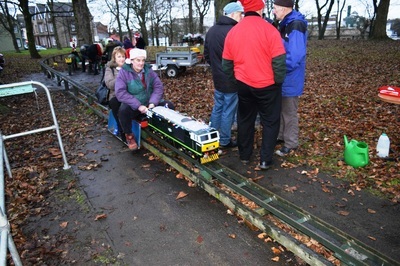 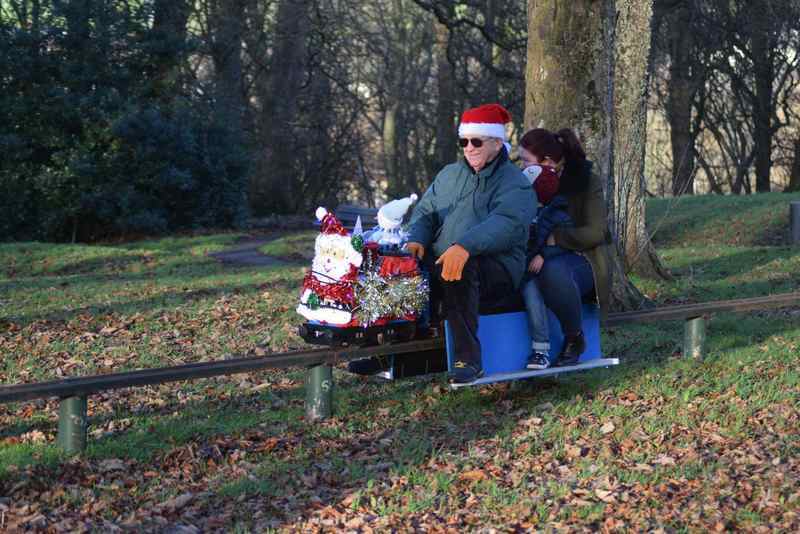 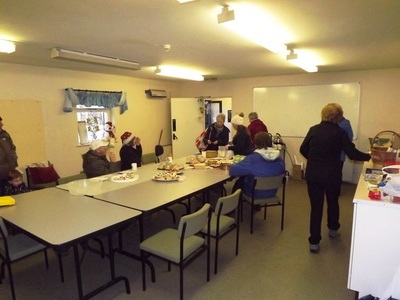 Christmas Steam Up 2015. (Click on photos to enlarge or save). 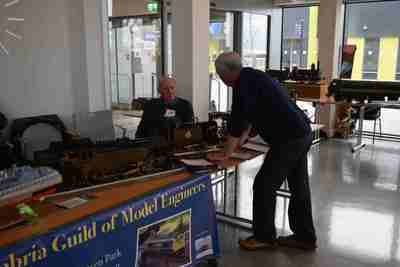 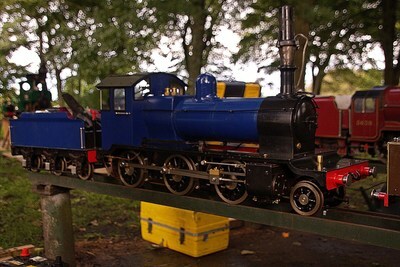 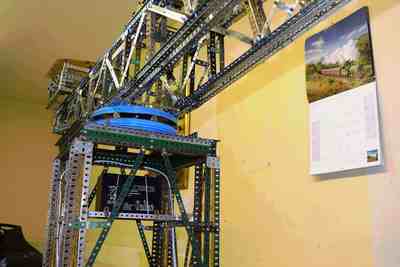 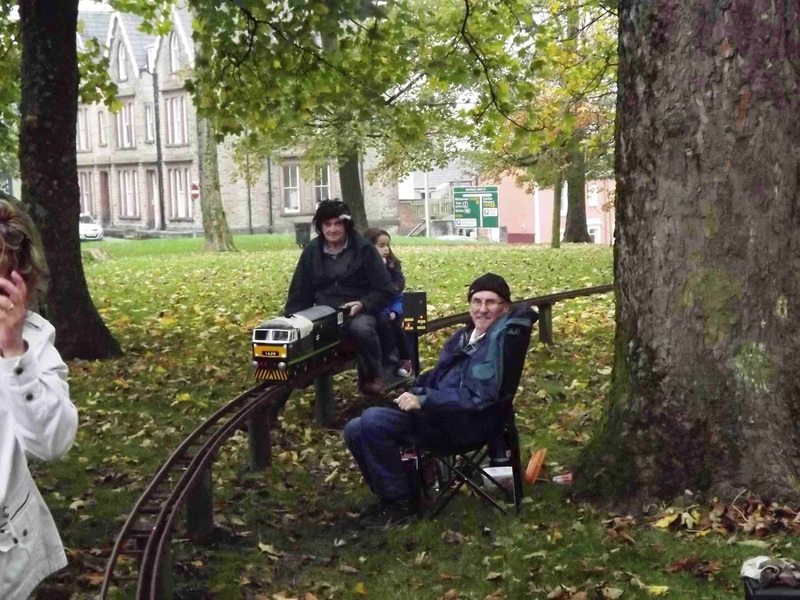 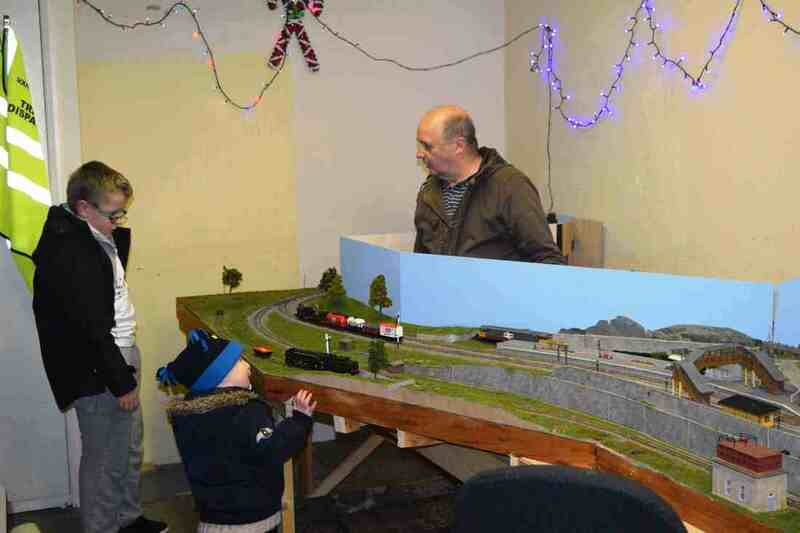 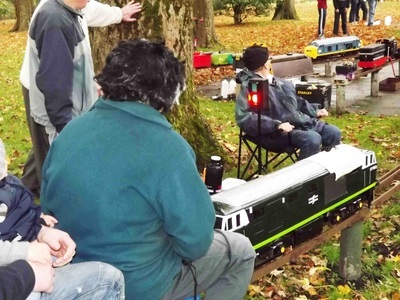 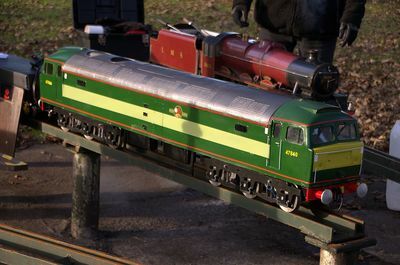 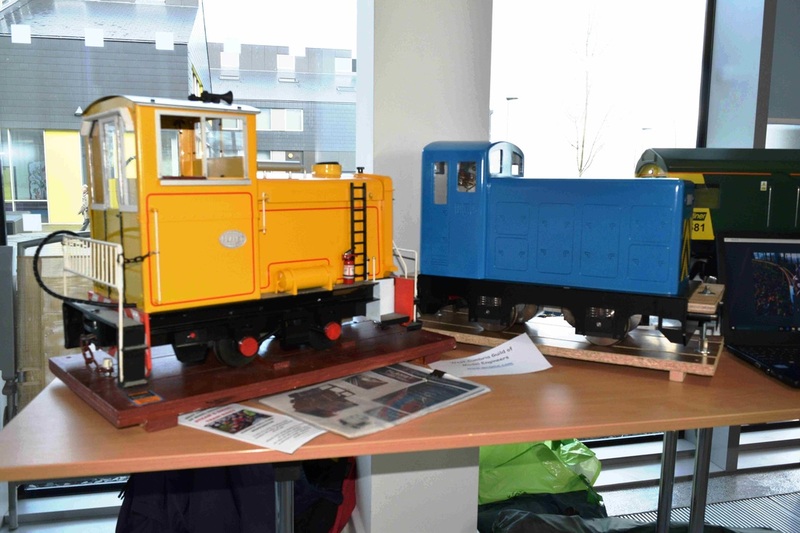 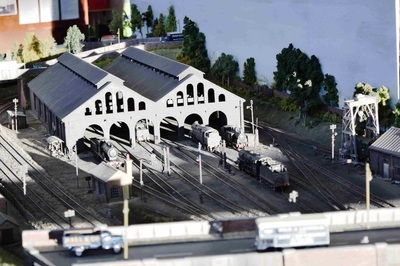 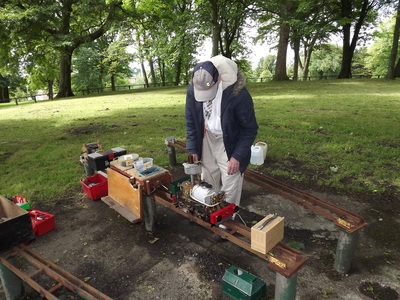 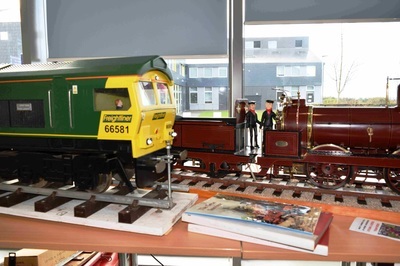 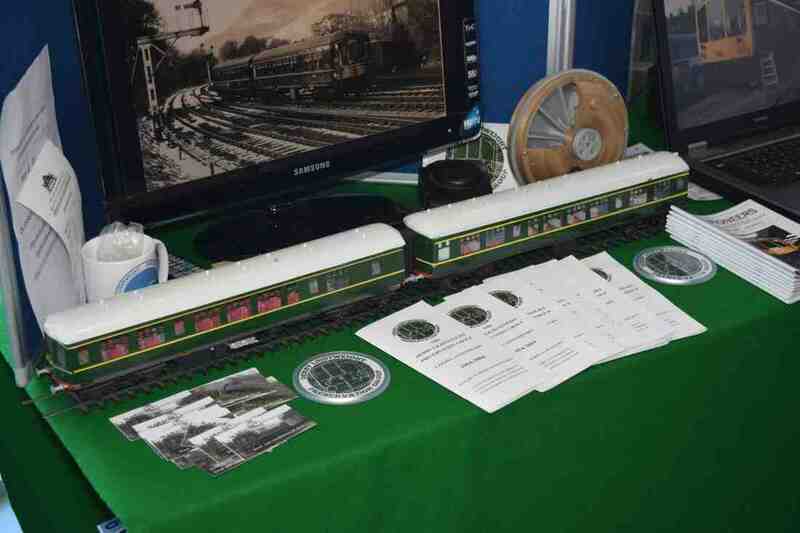 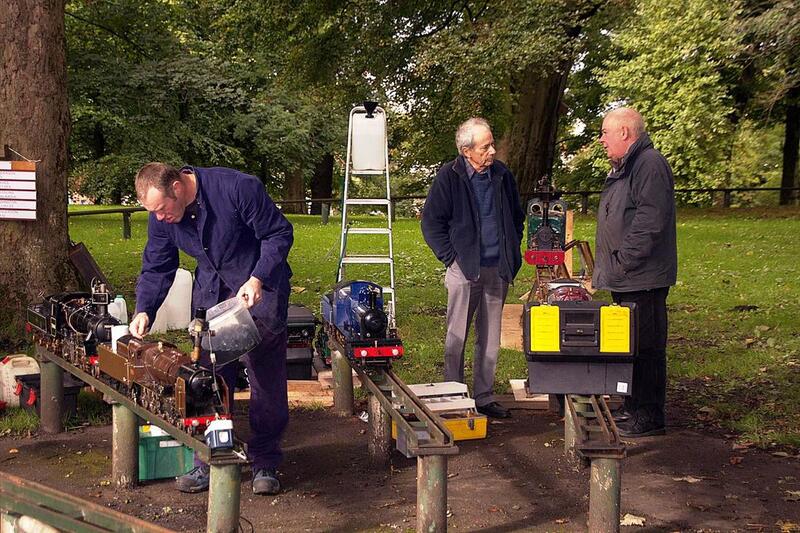 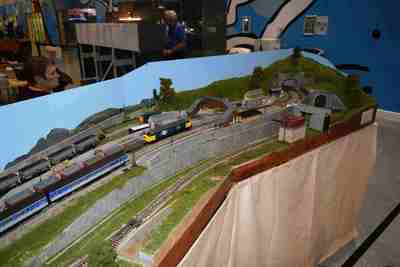 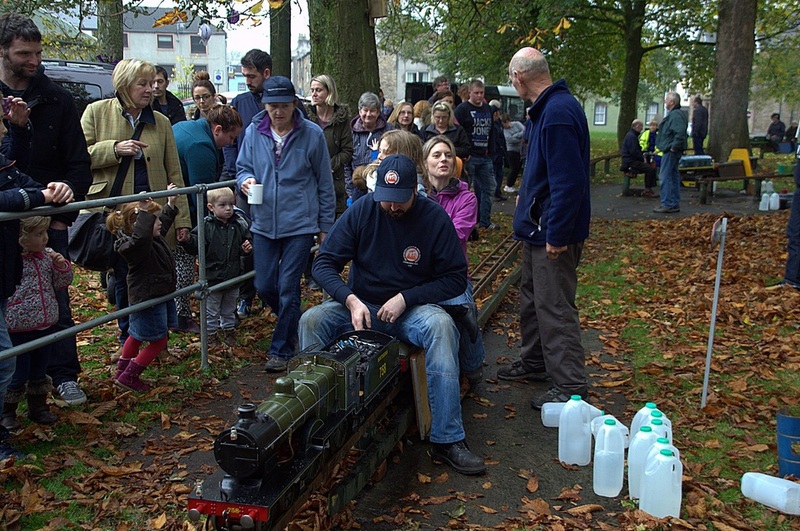 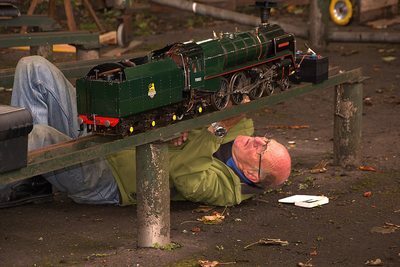 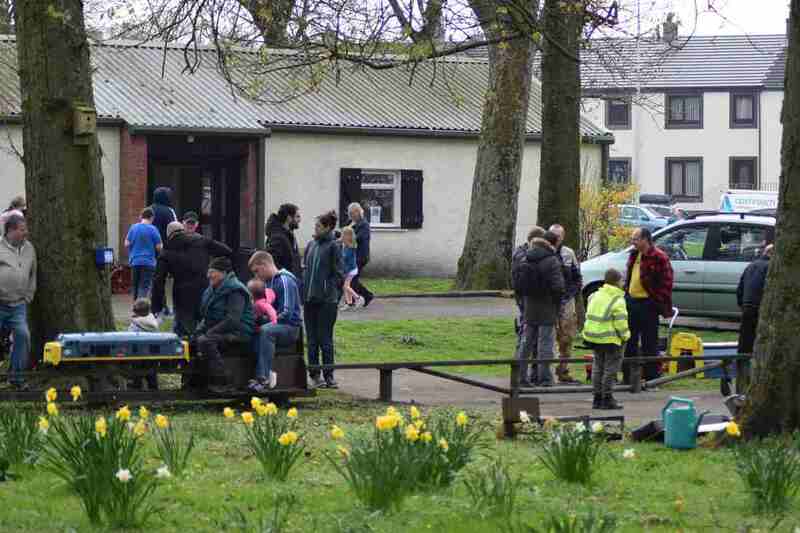 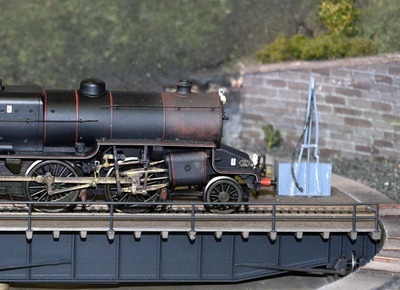 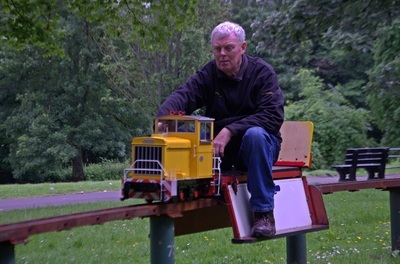 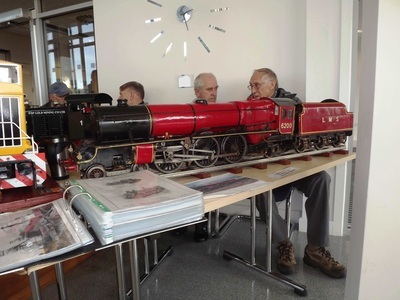 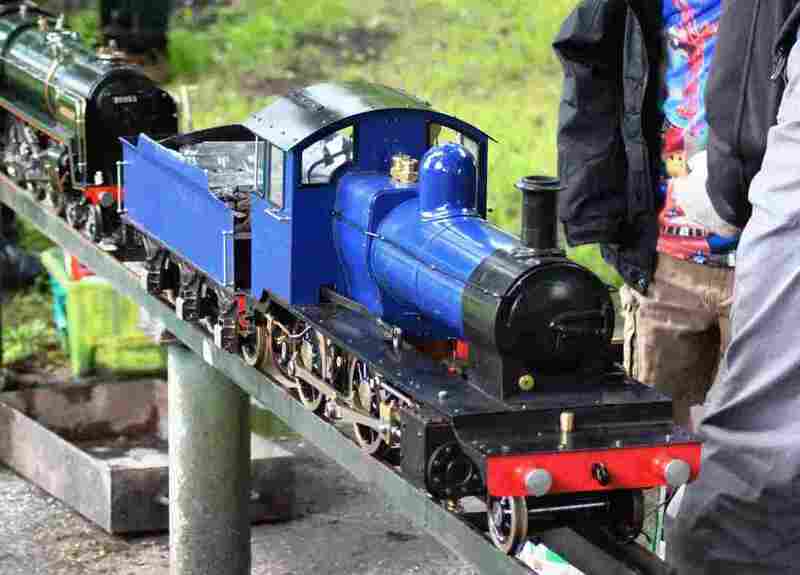 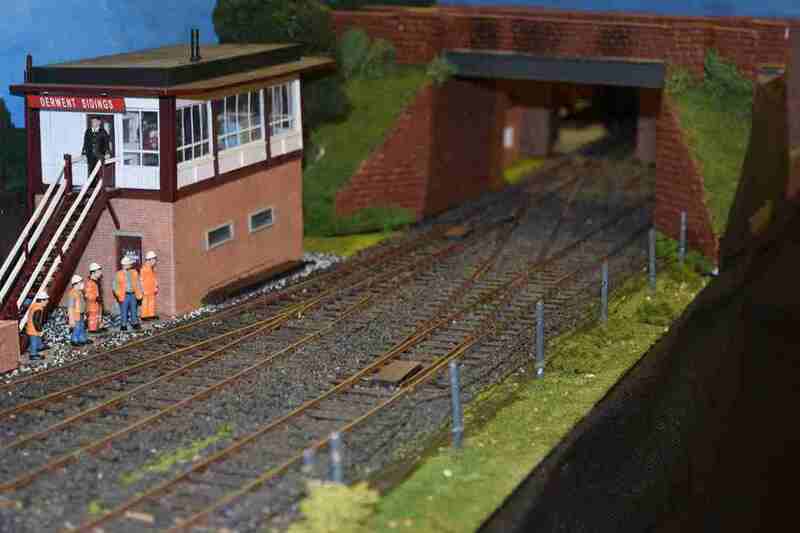 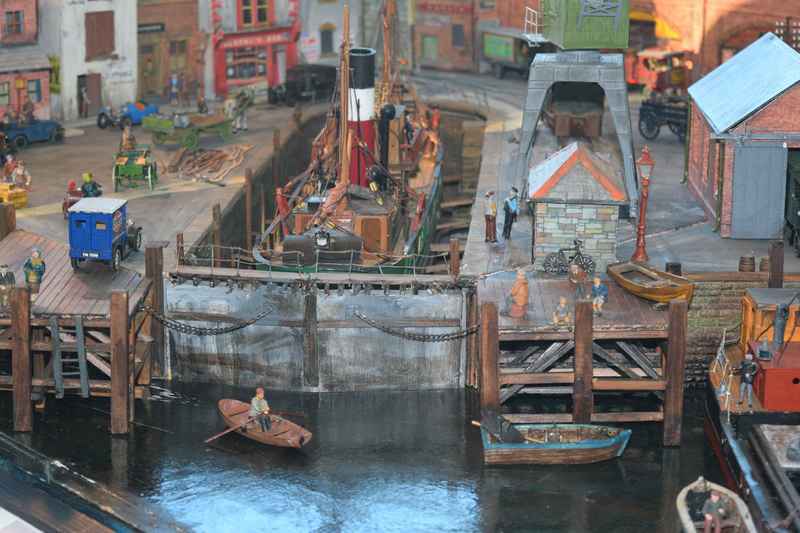 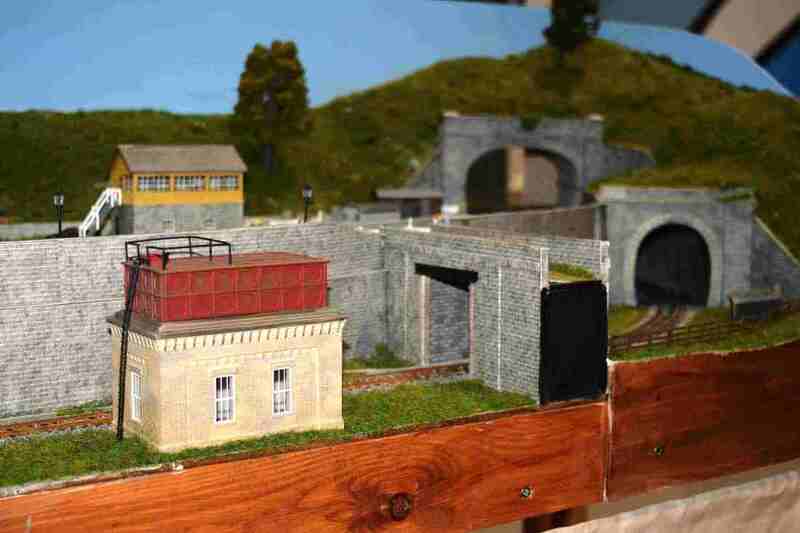 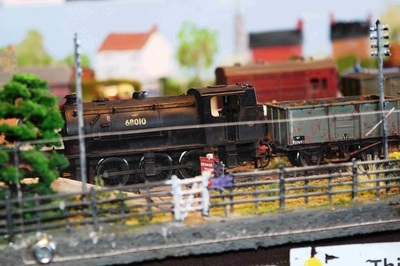 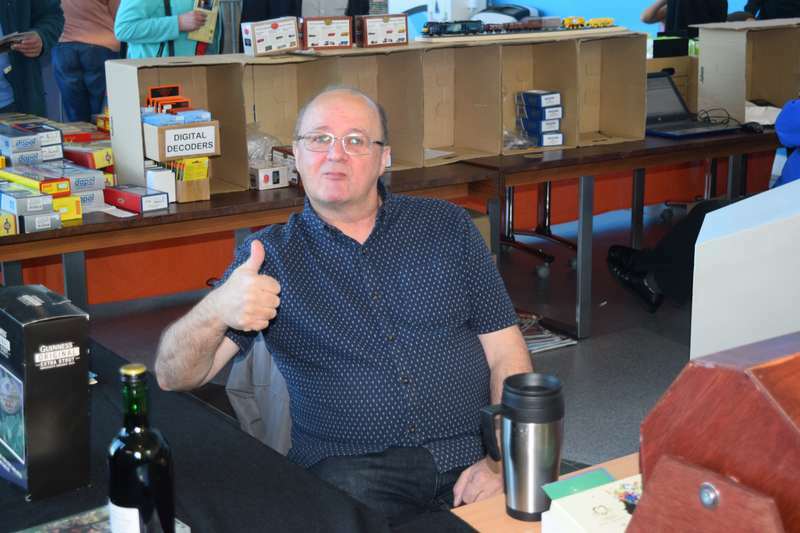 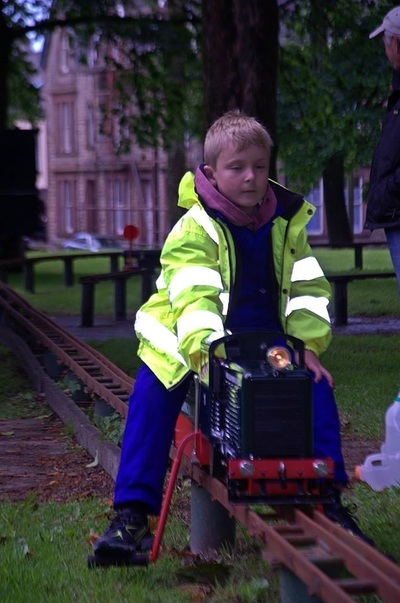 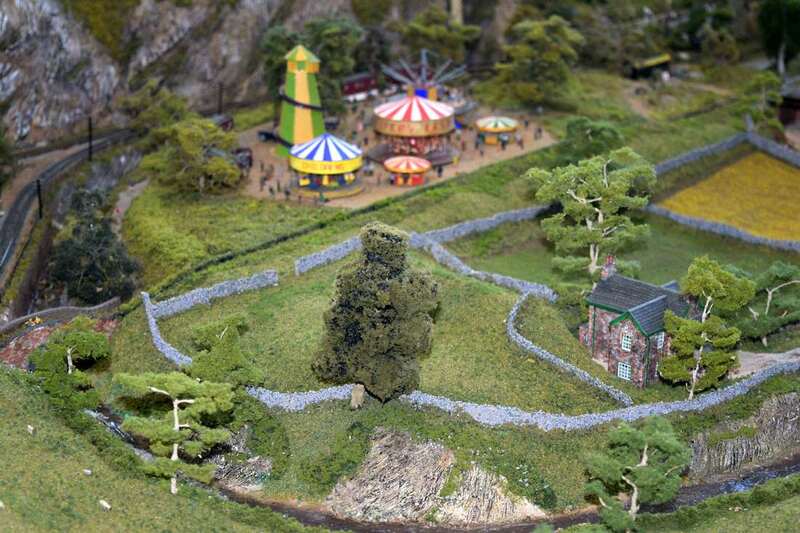 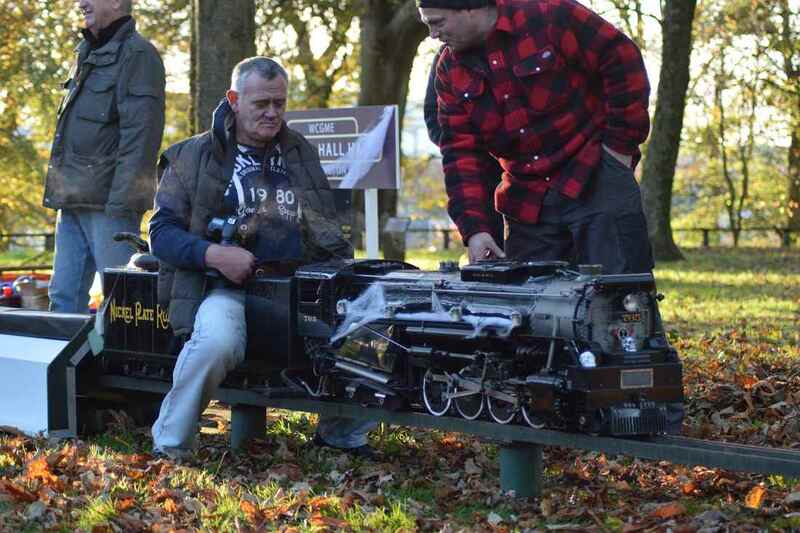 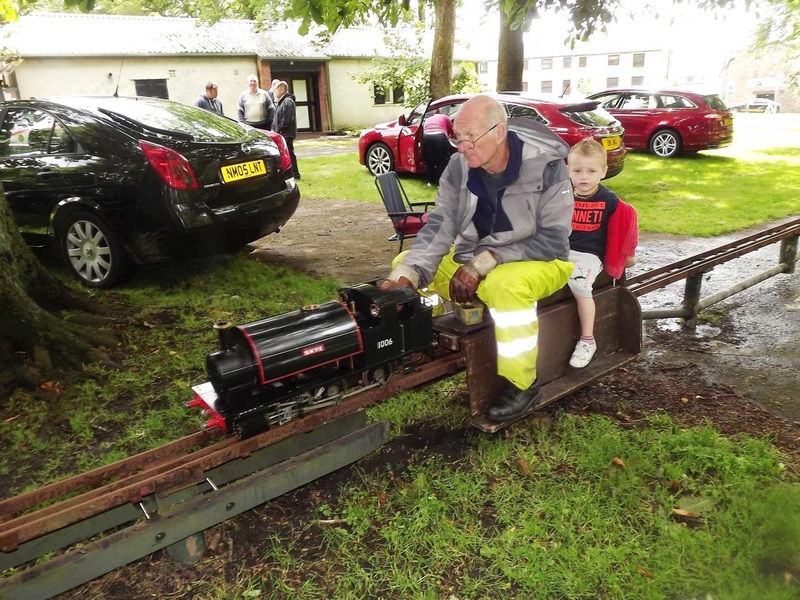 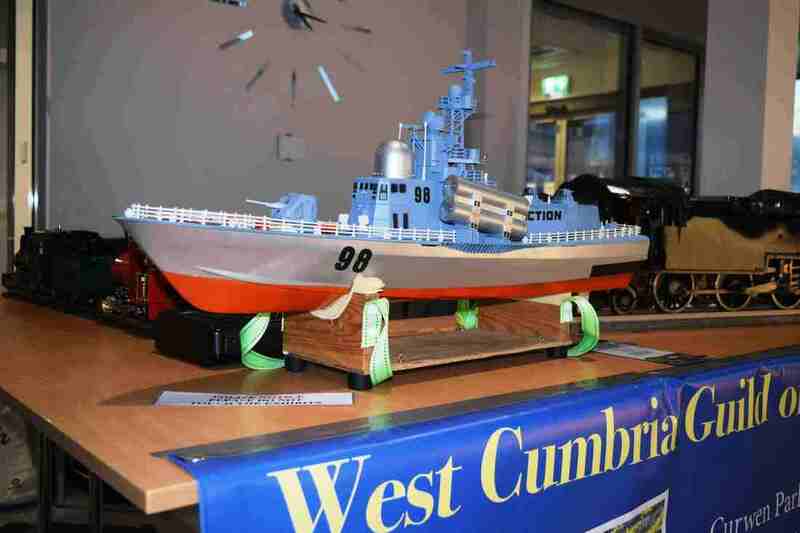 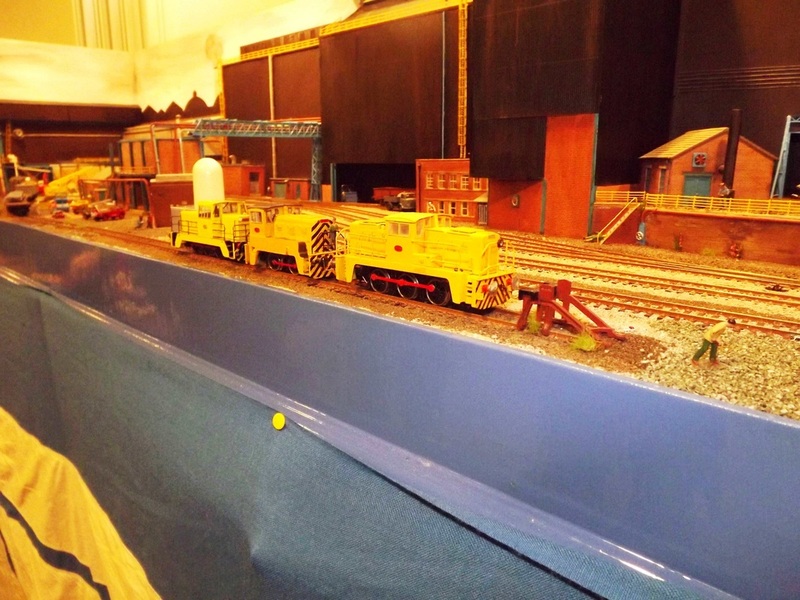 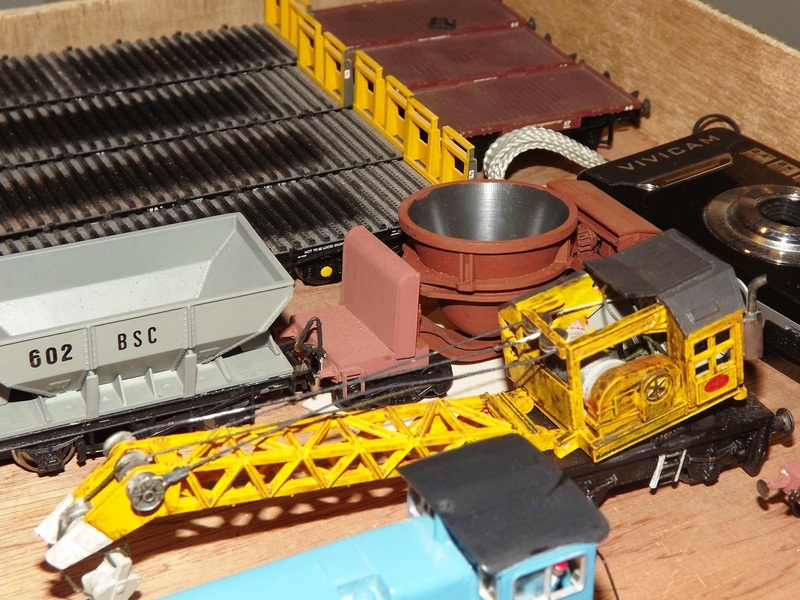 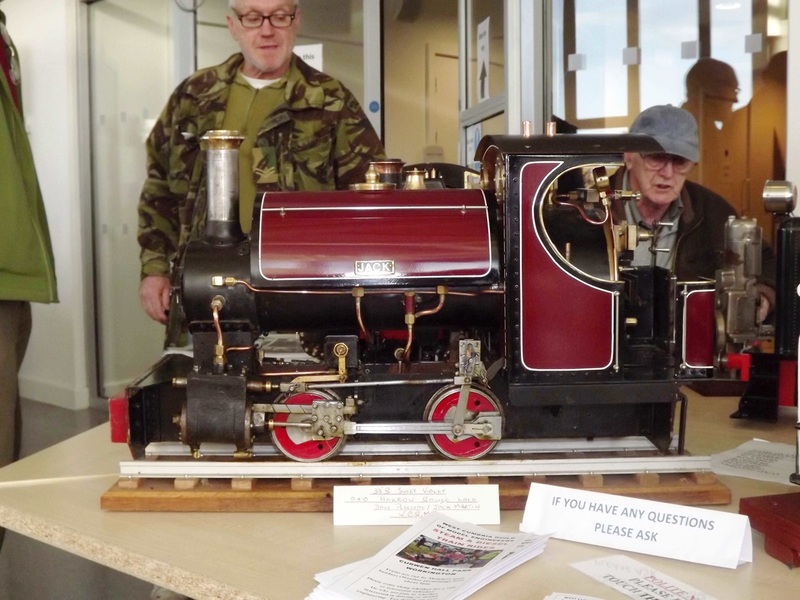 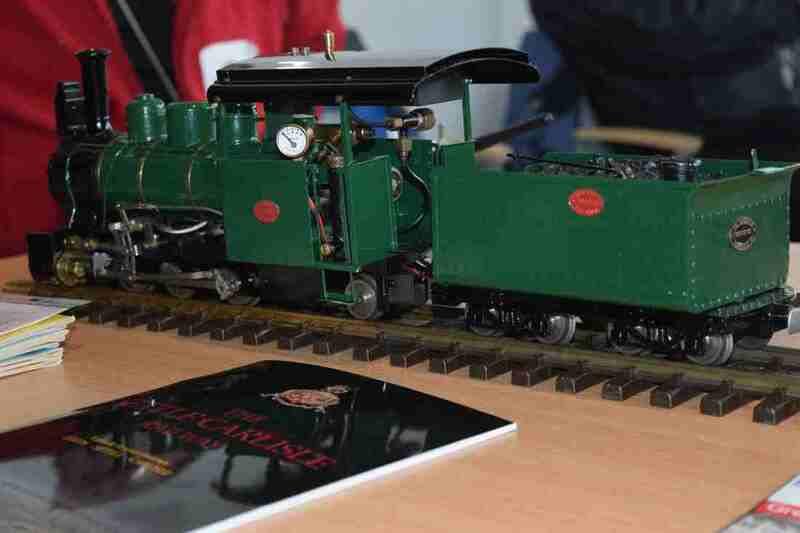 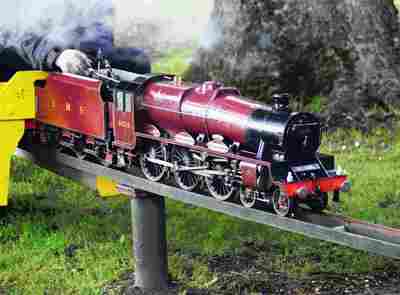 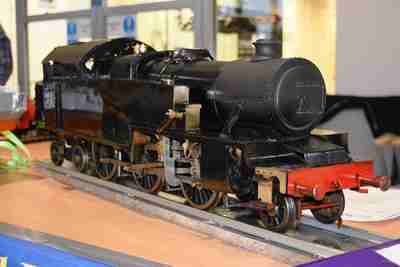 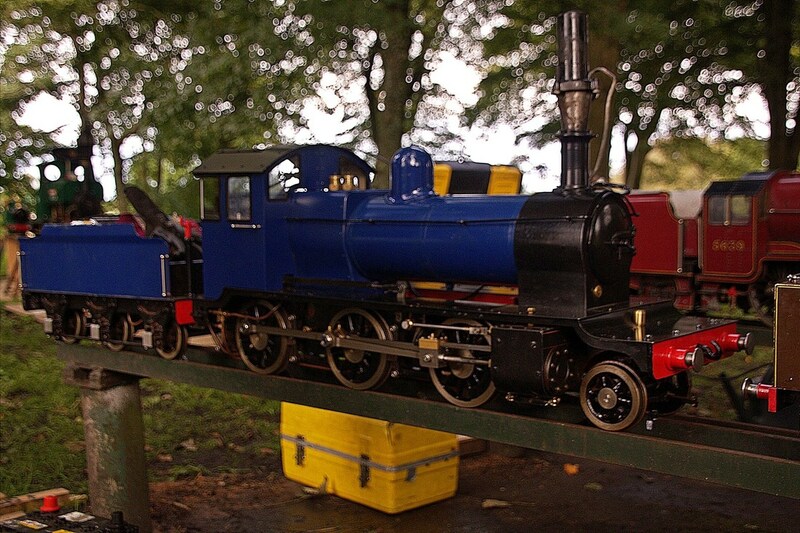 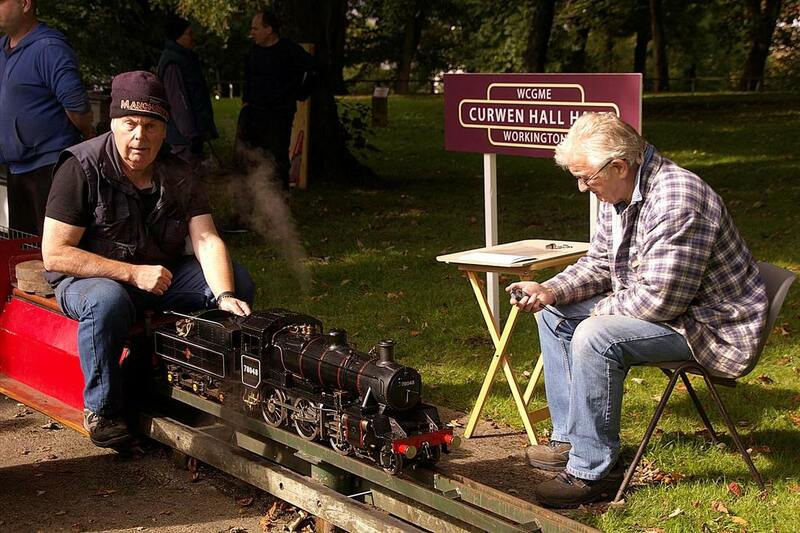 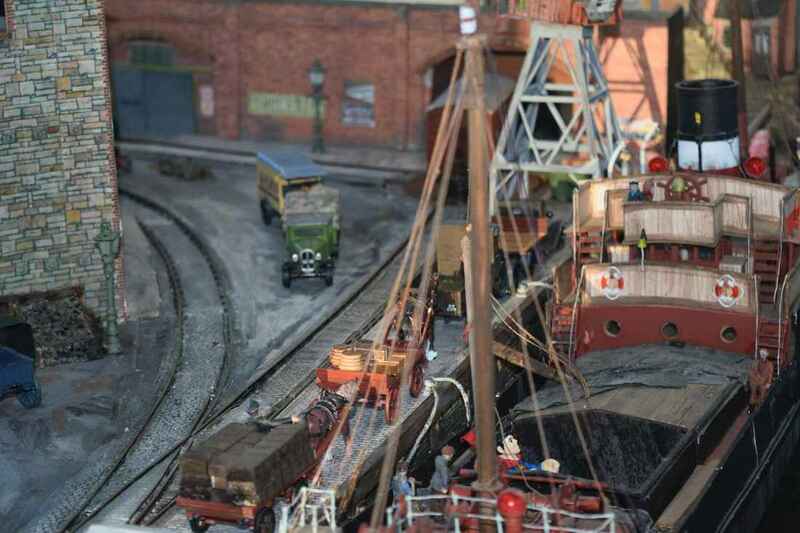 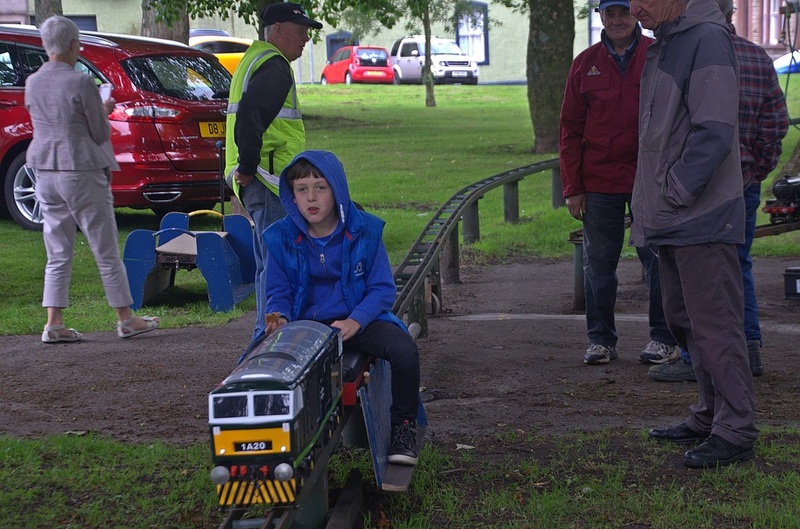 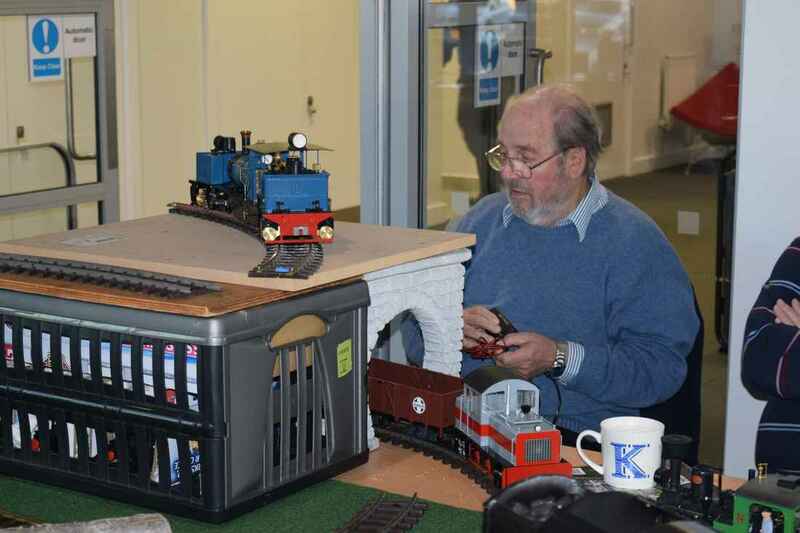 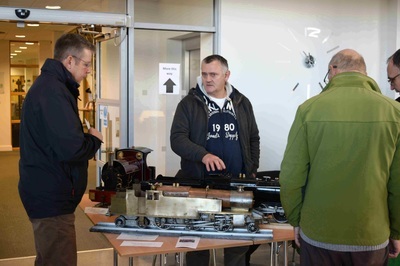 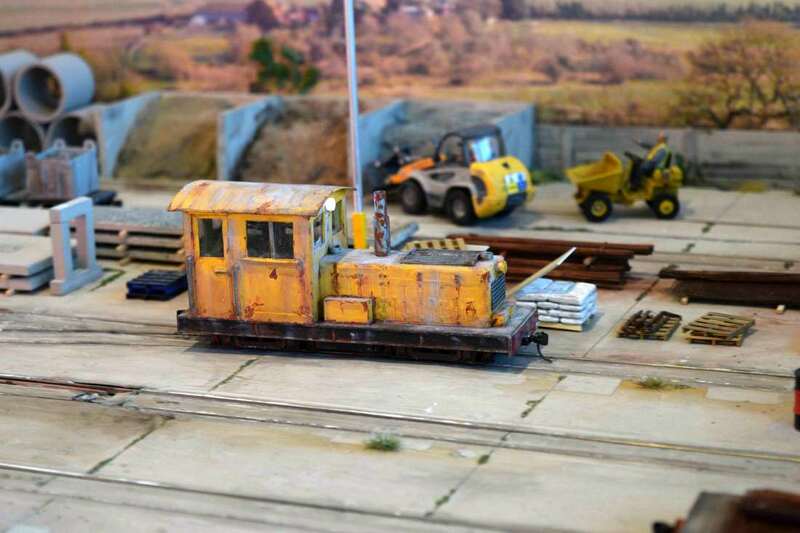 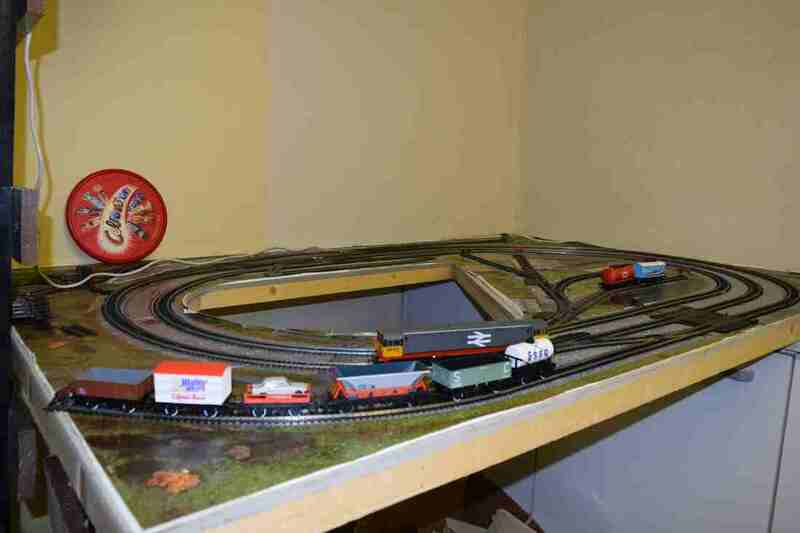 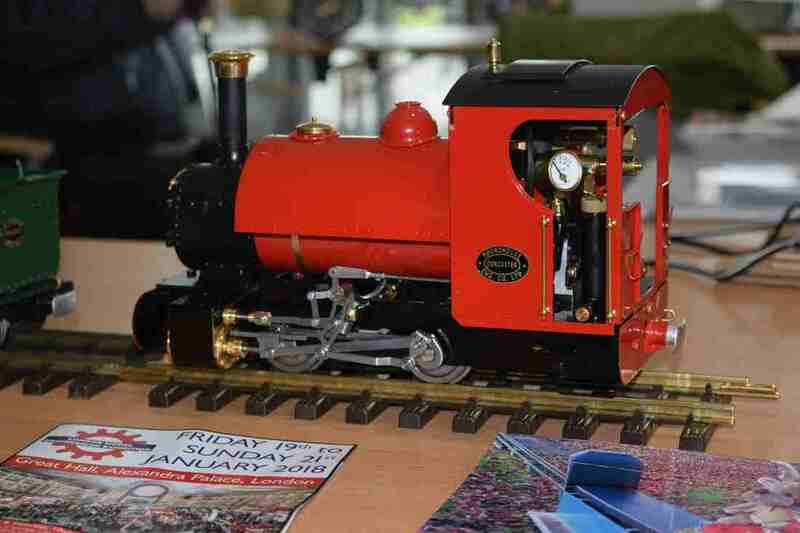 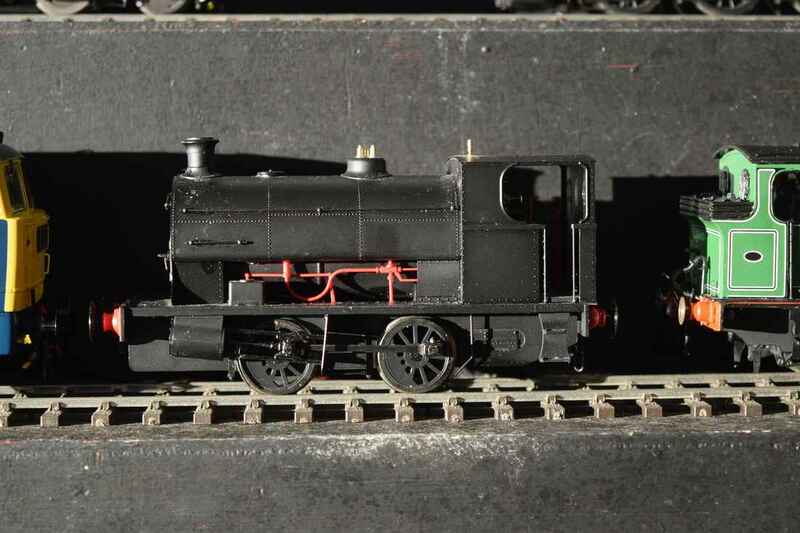 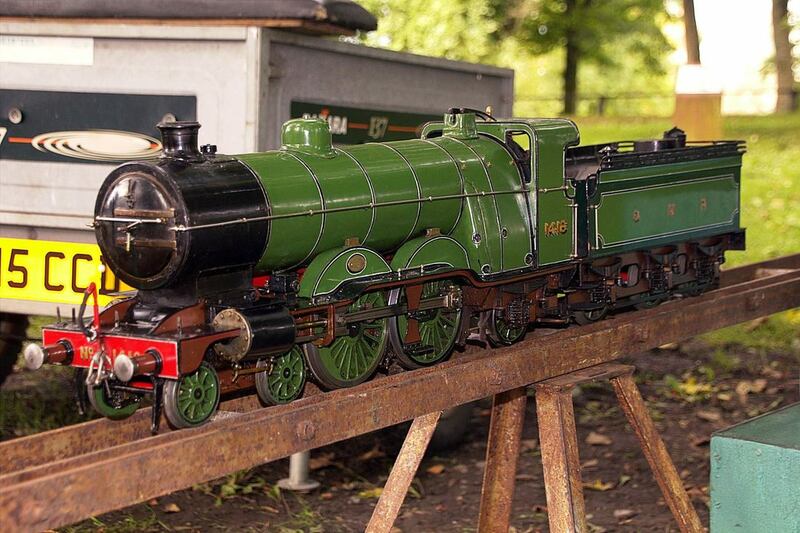 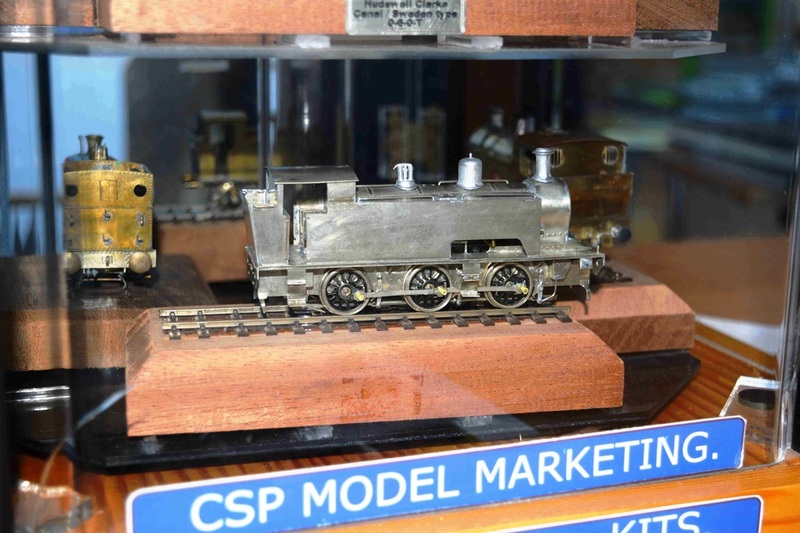 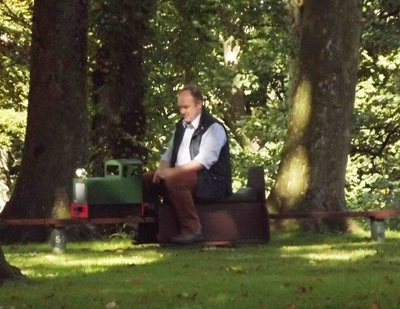 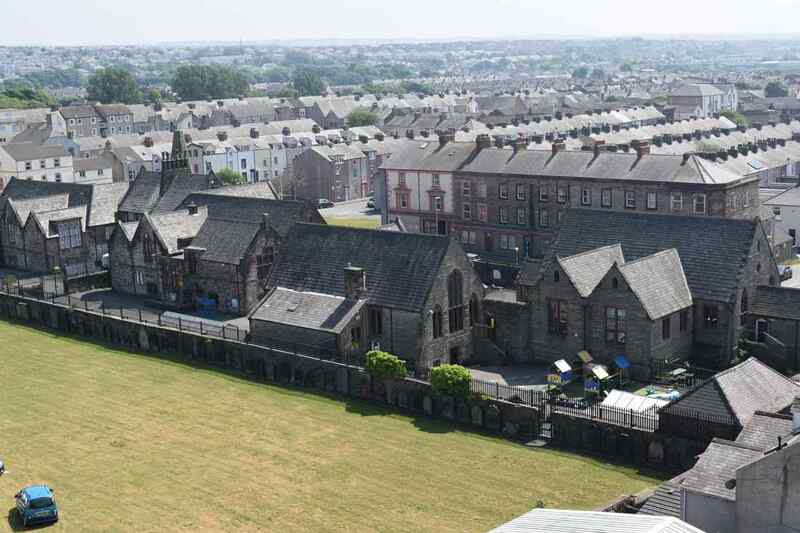 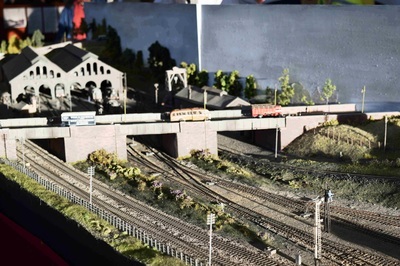 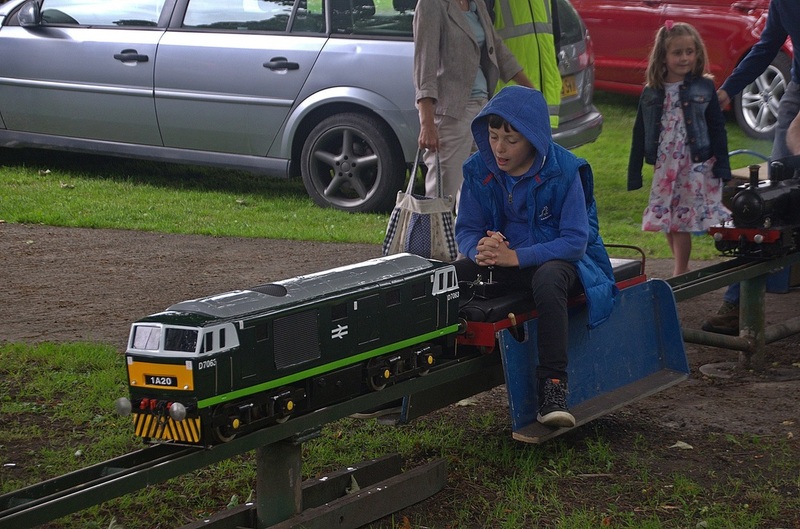 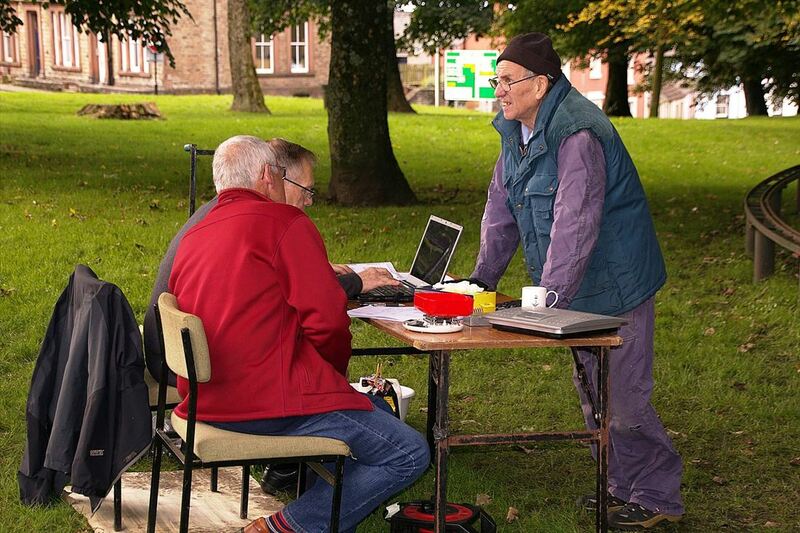 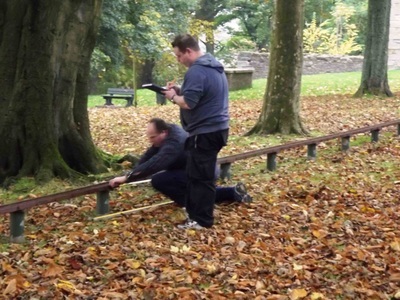 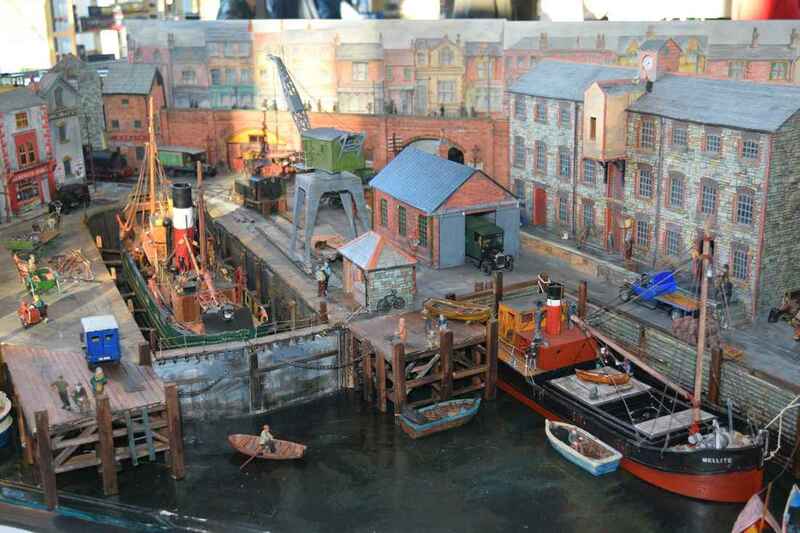 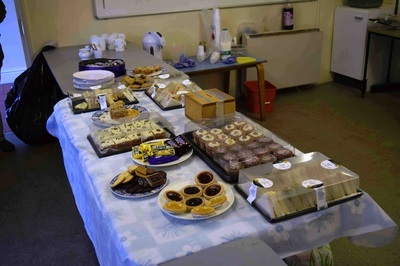 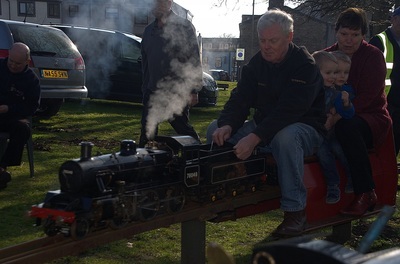 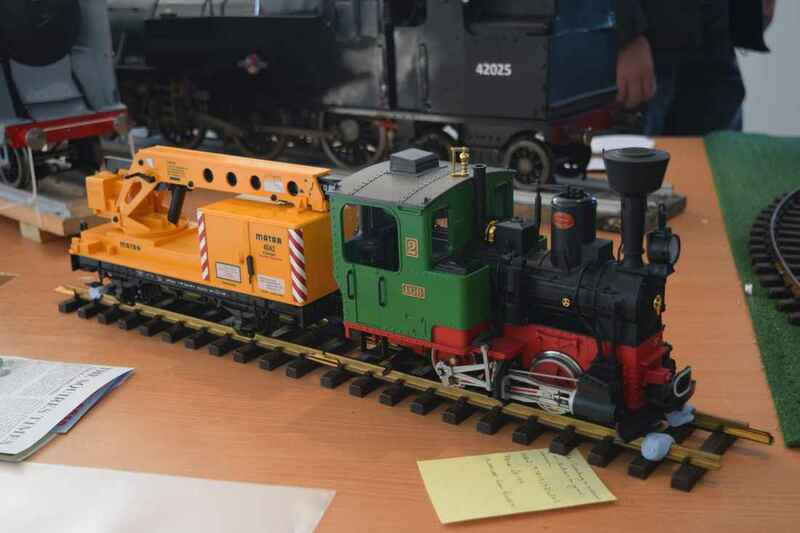 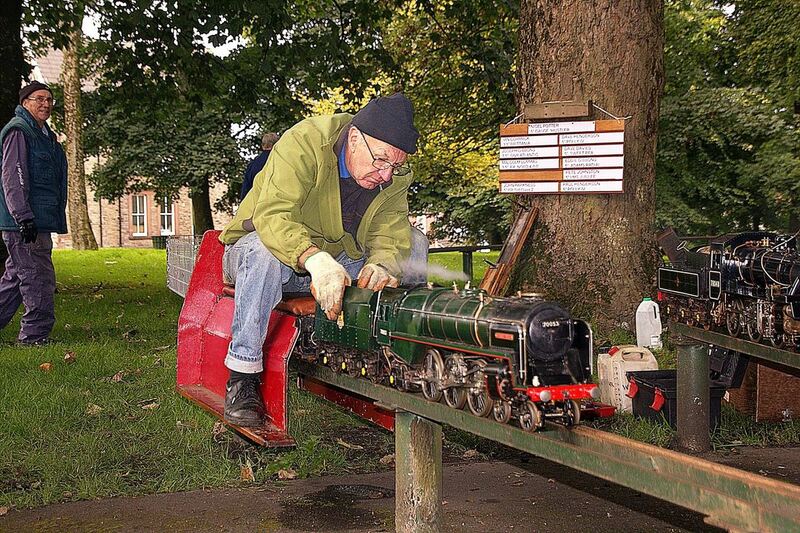 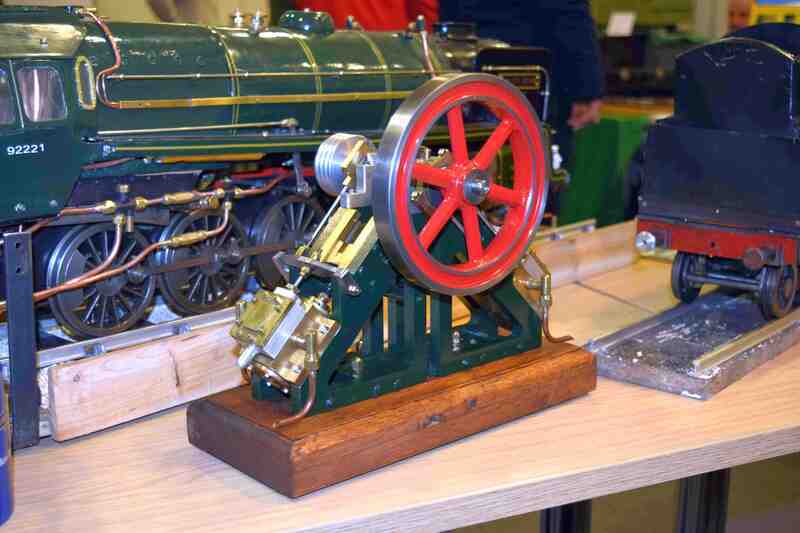 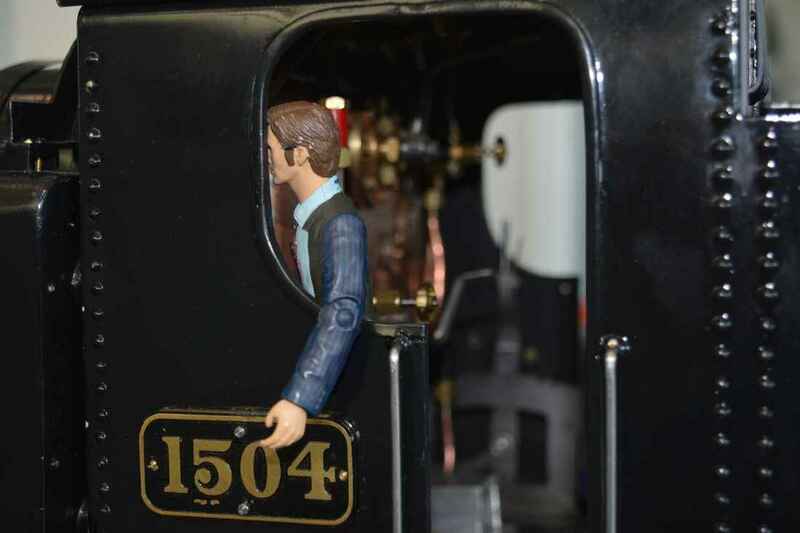 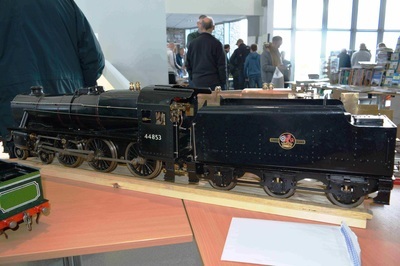 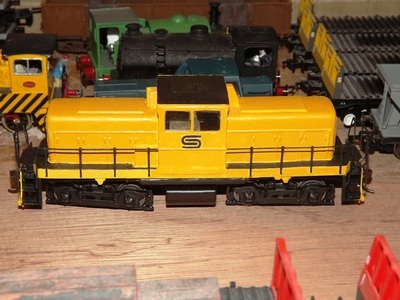 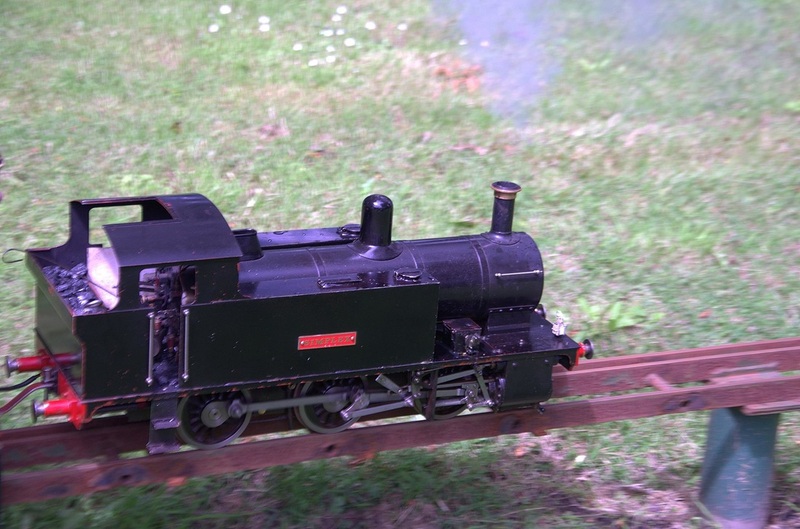 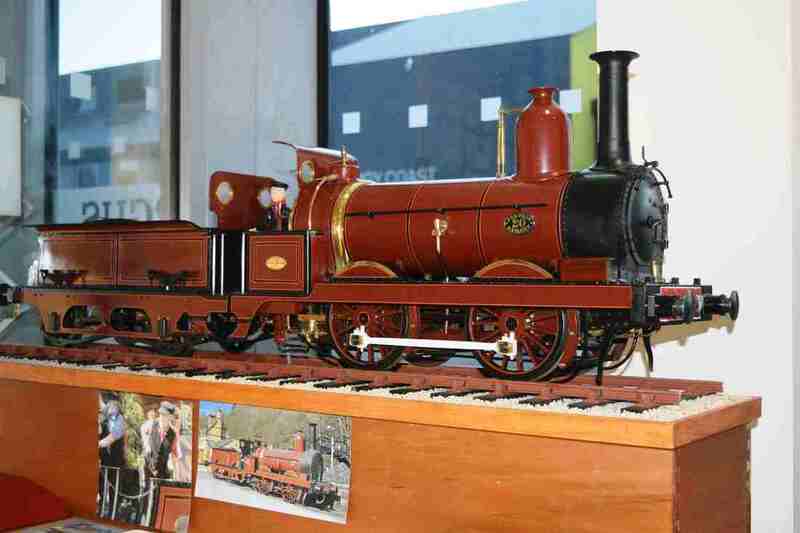 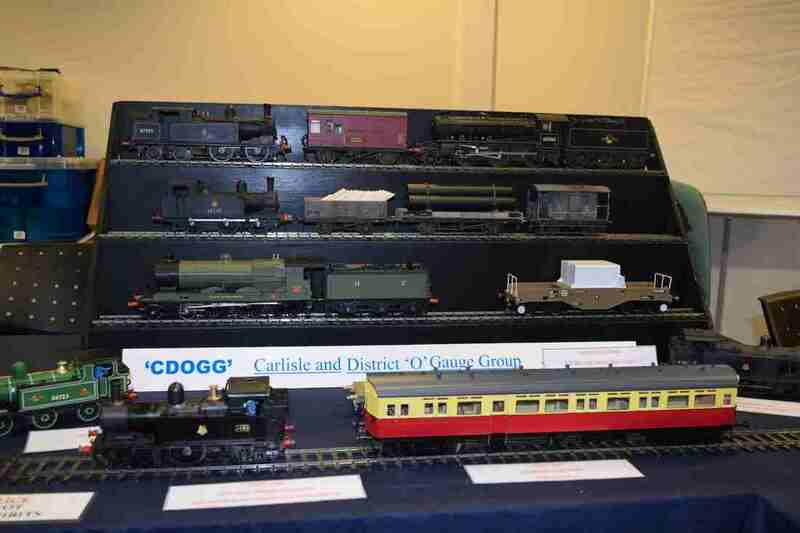 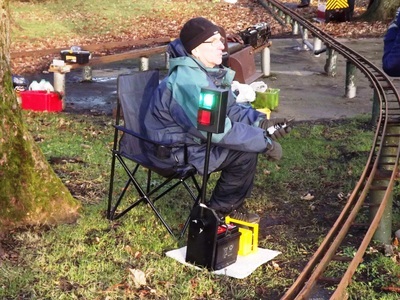 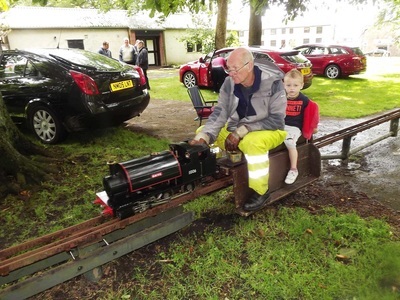 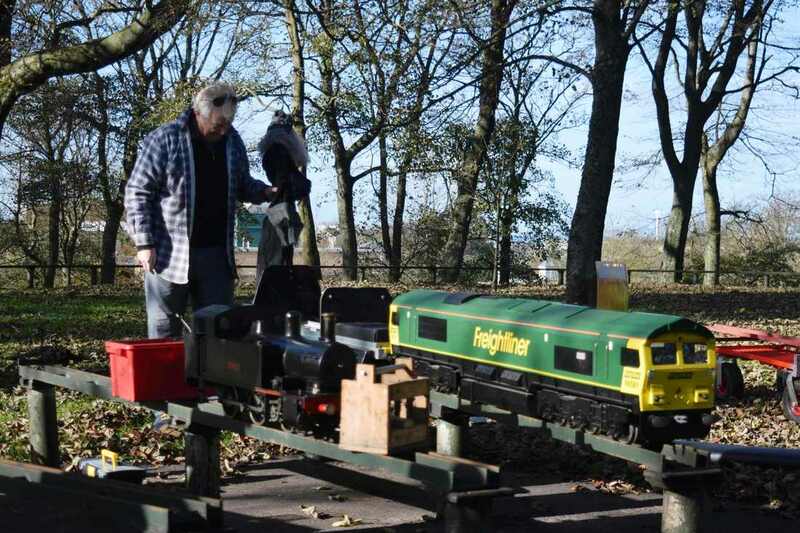 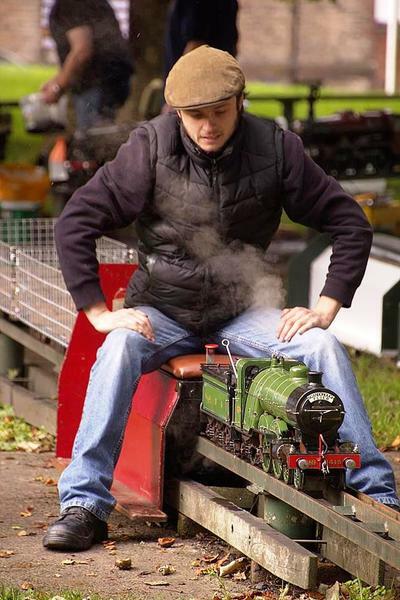 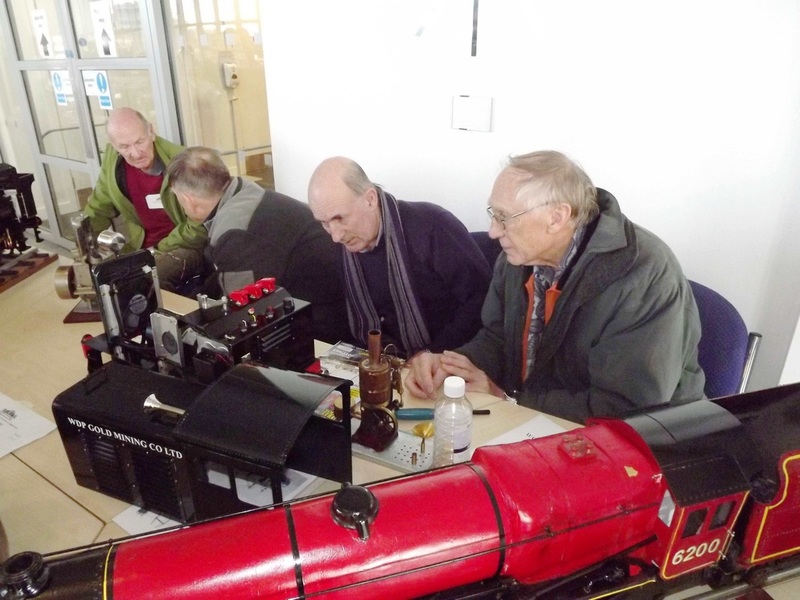 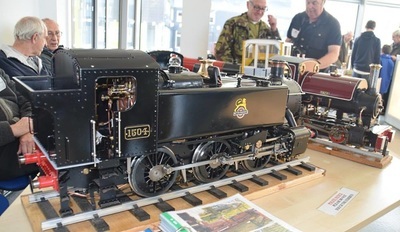 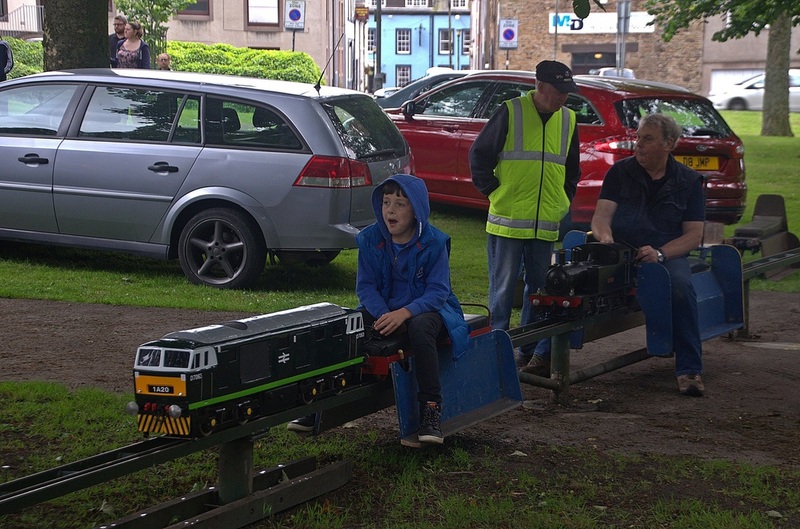 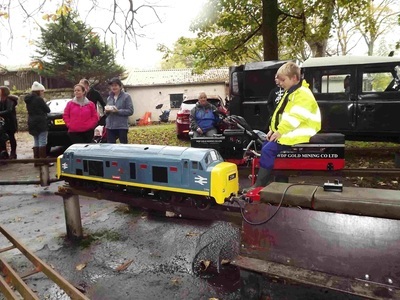 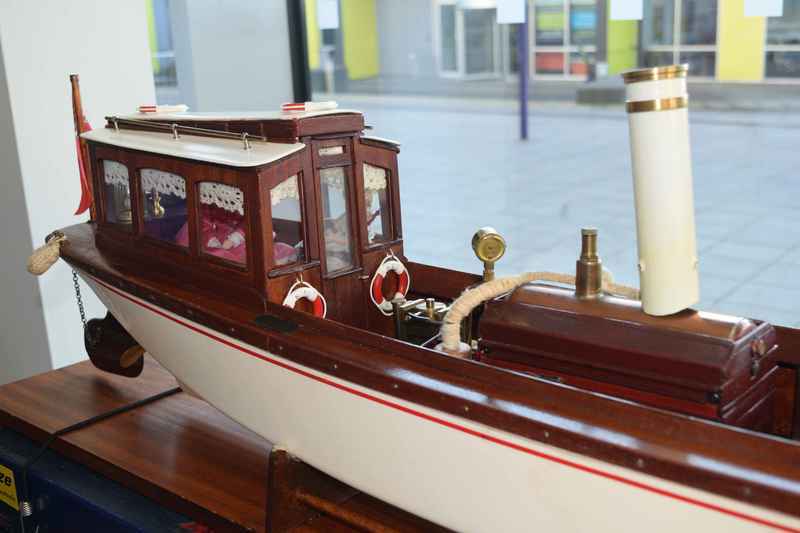 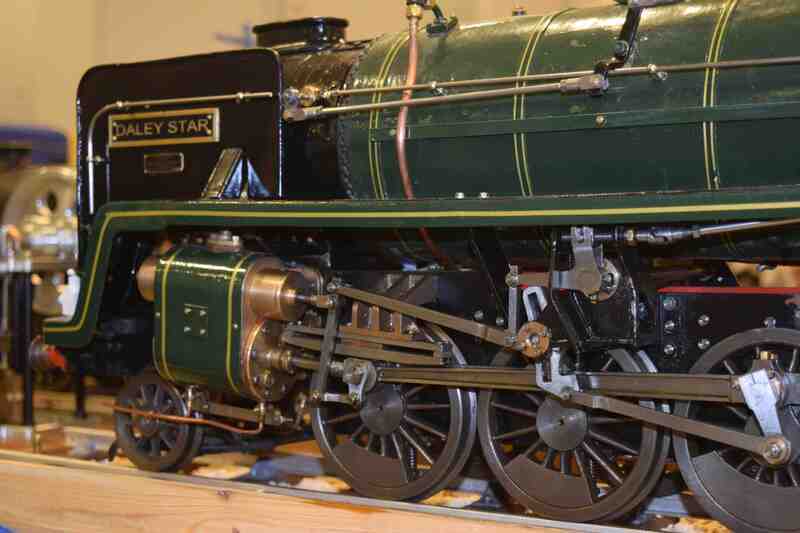 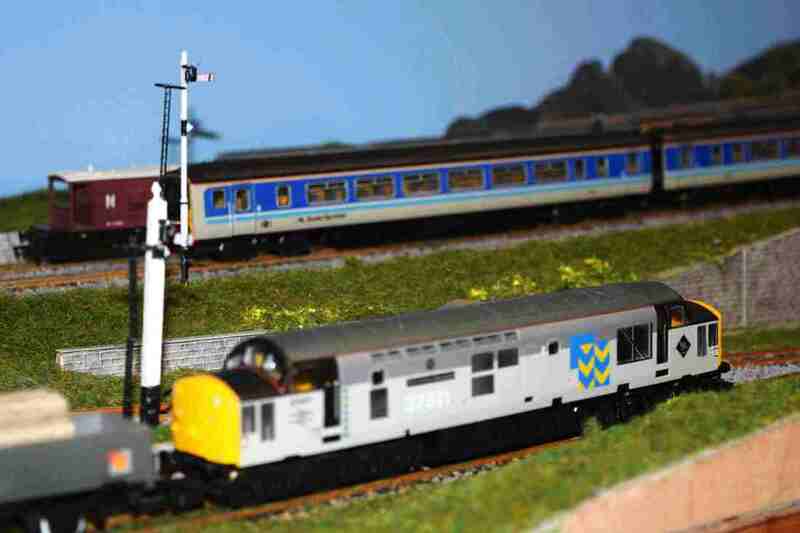 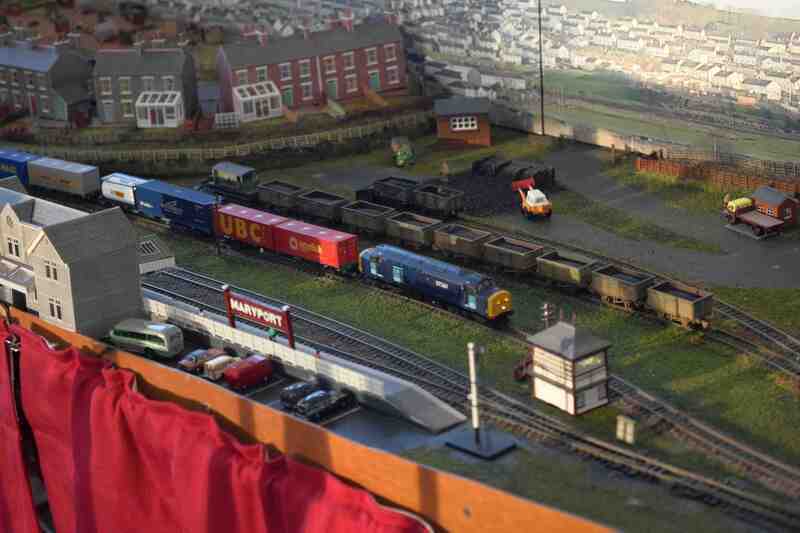 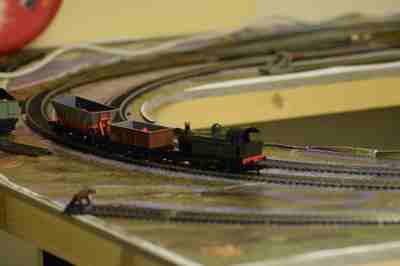 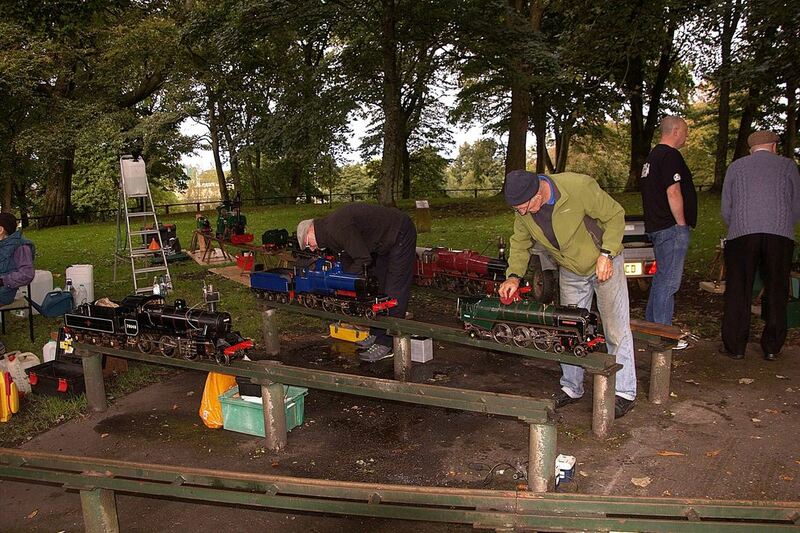 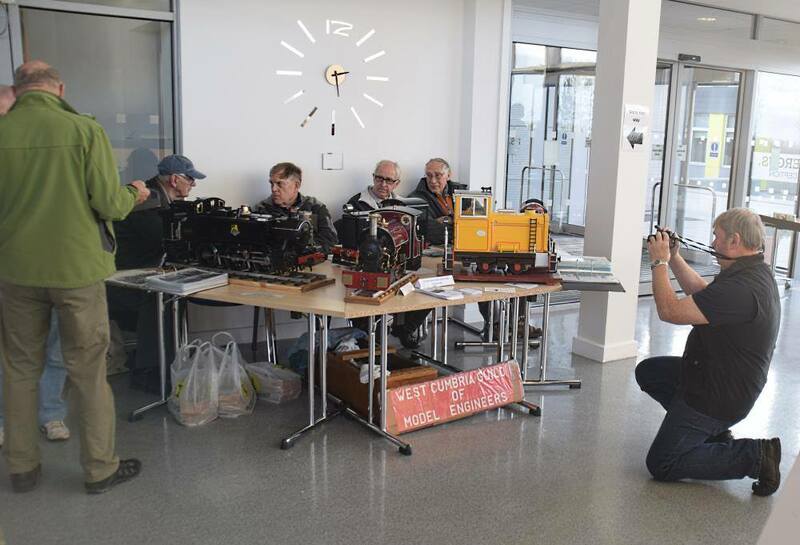 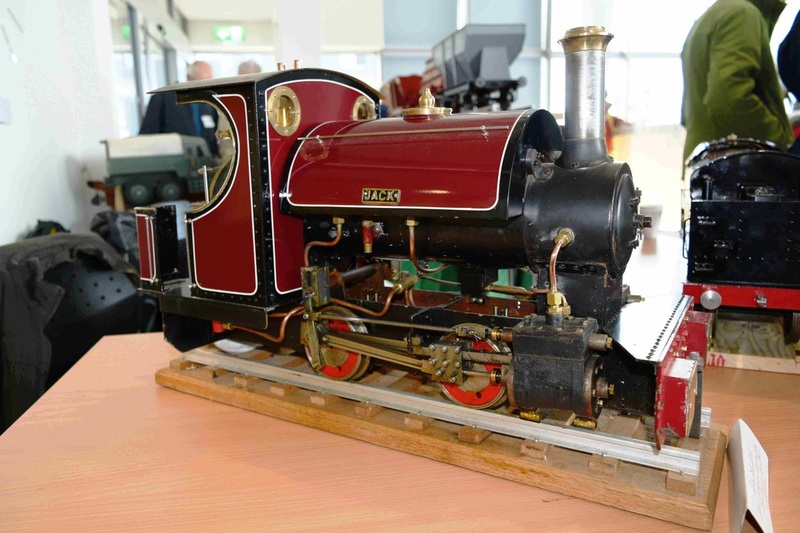 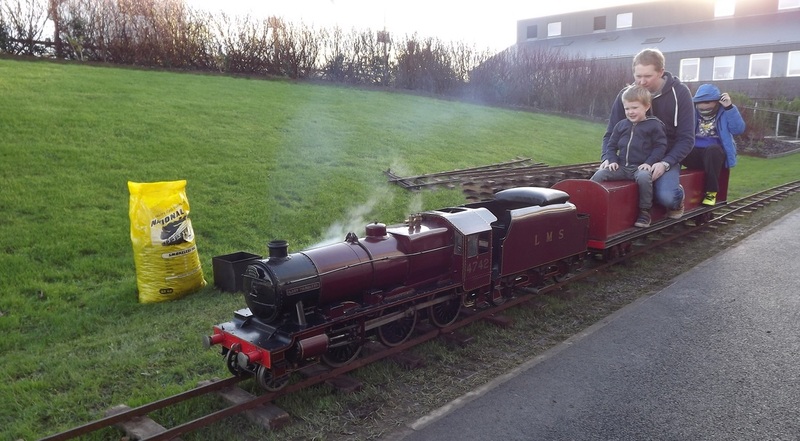 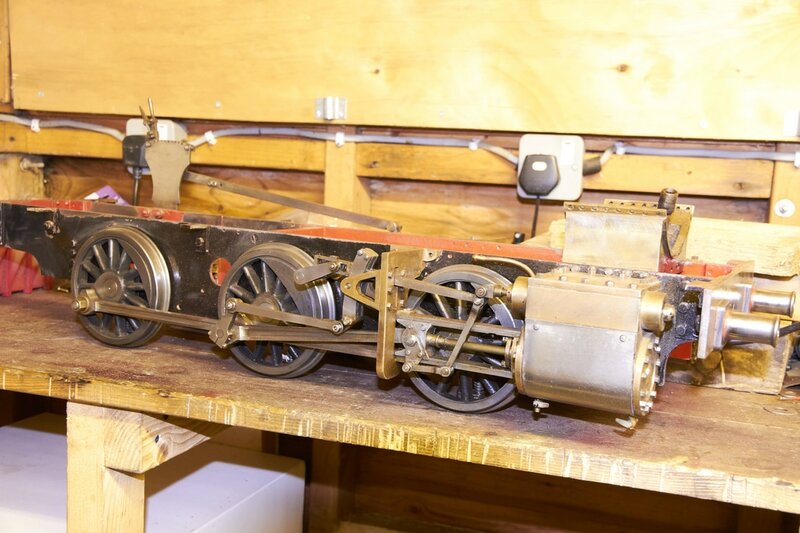 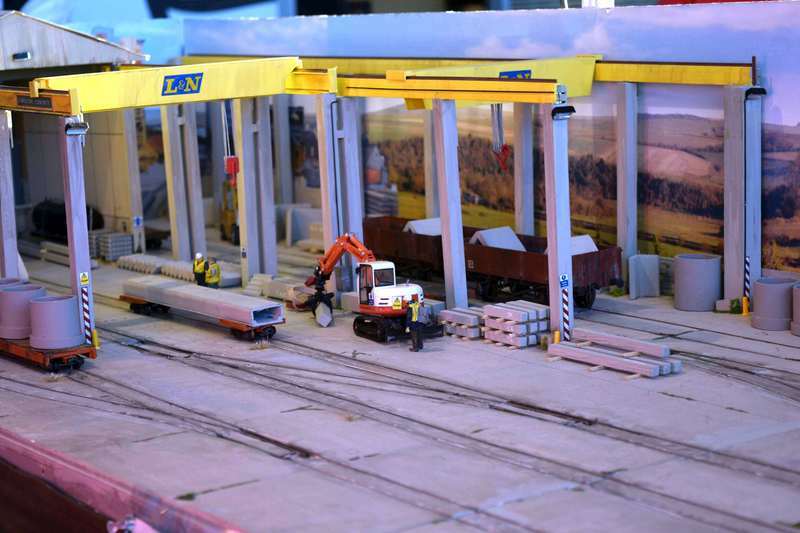 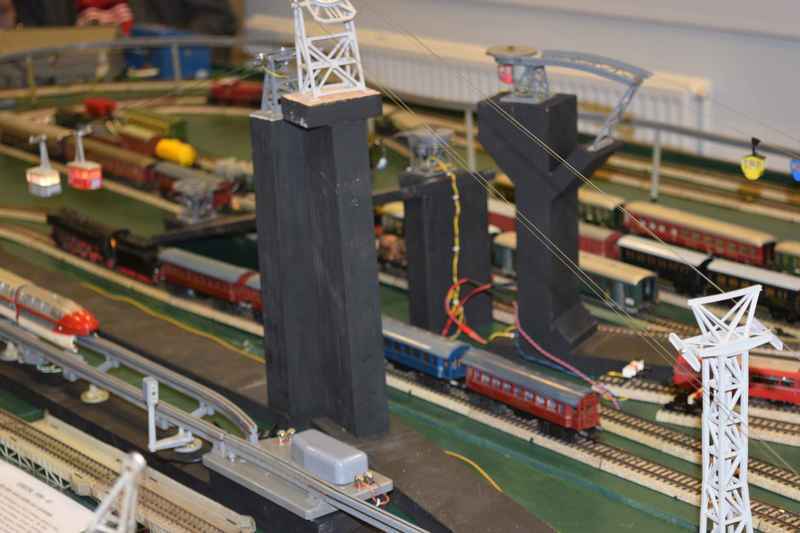 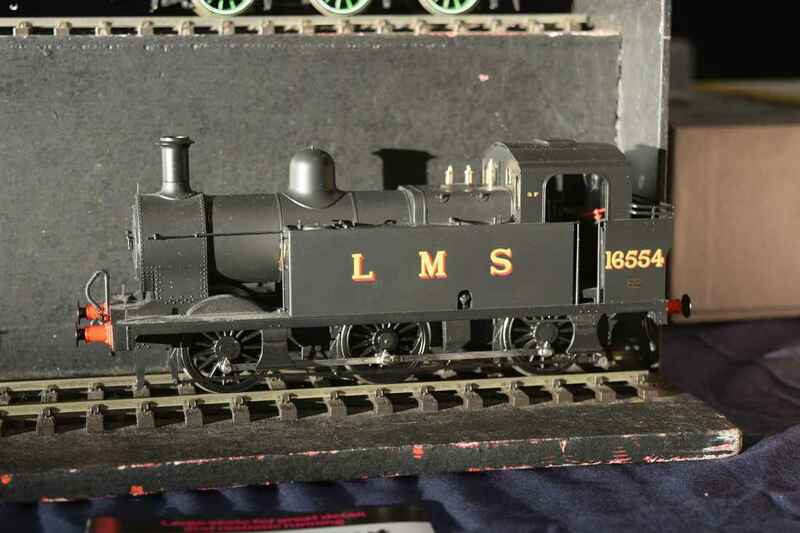 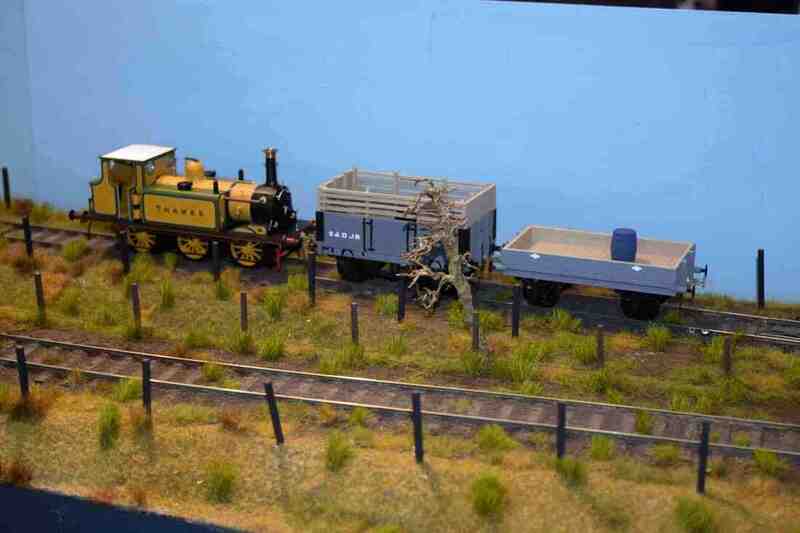 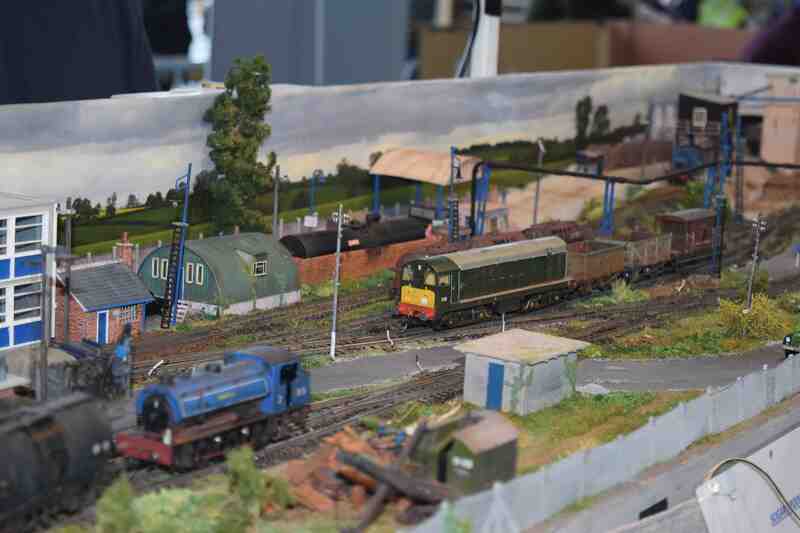 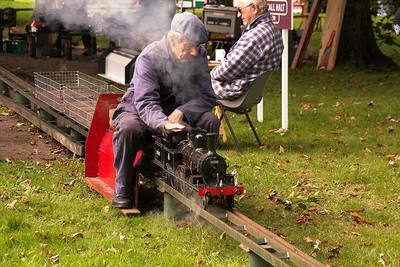 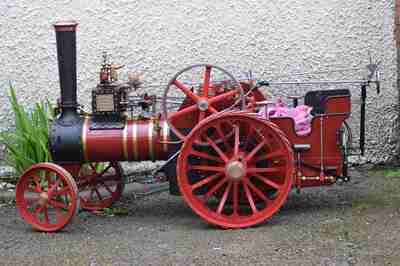 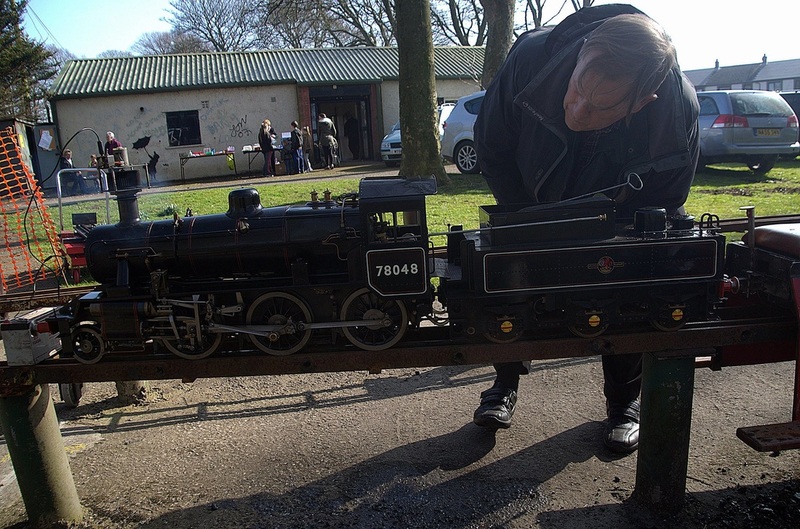 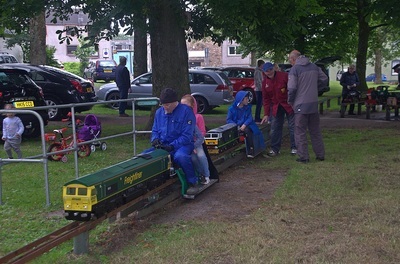 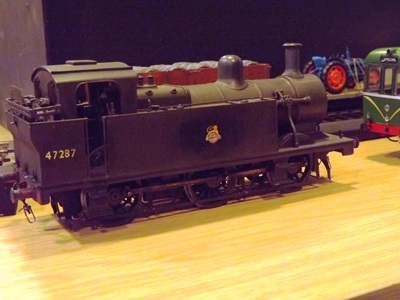 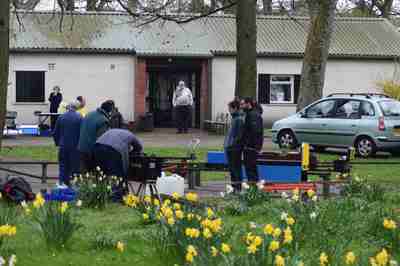 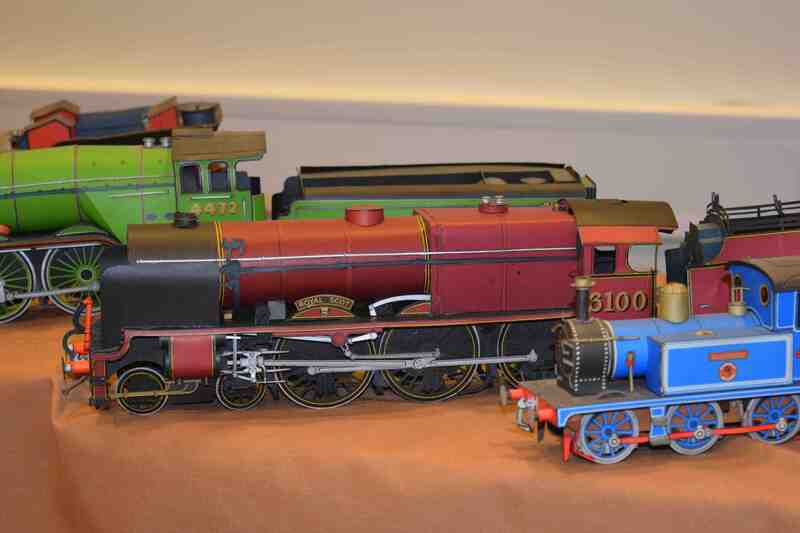 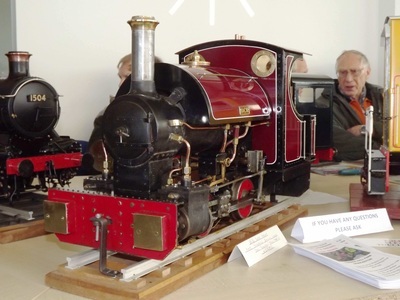 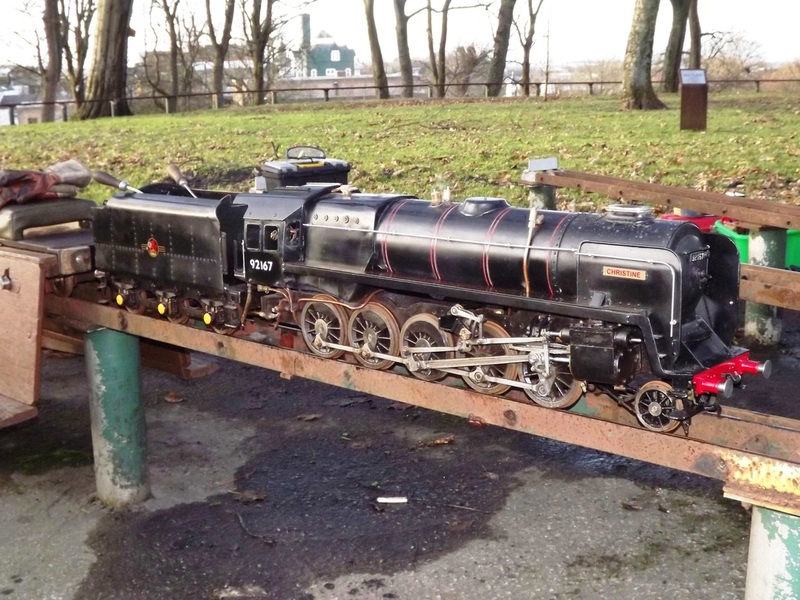 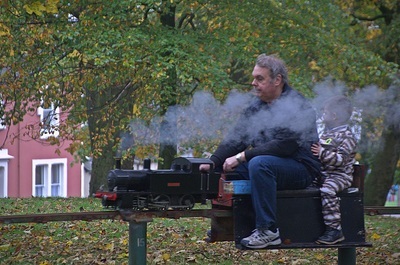 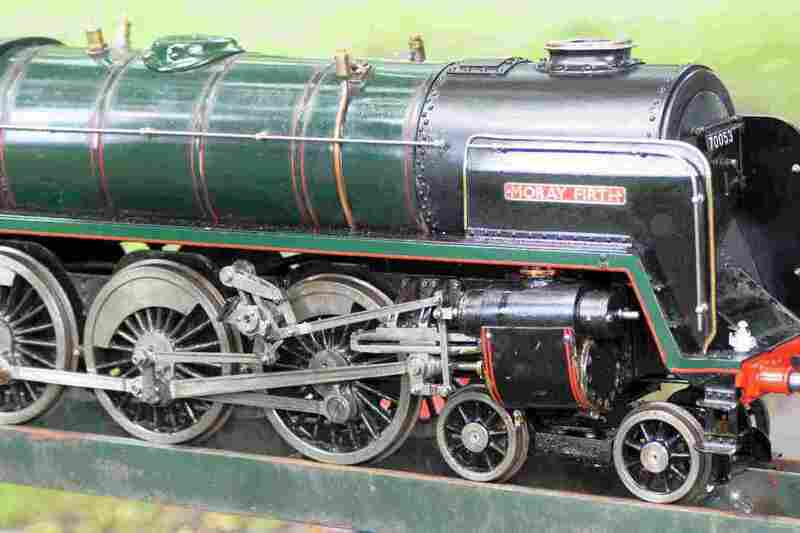 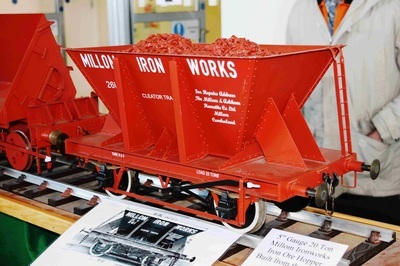 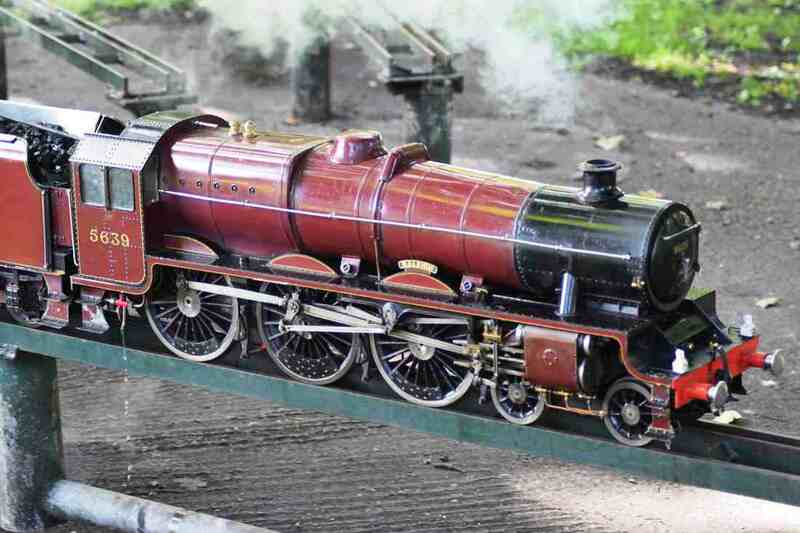 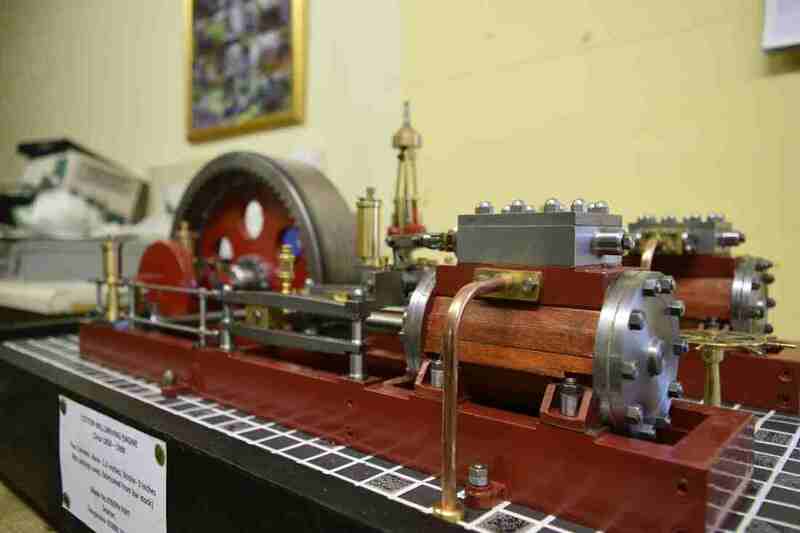 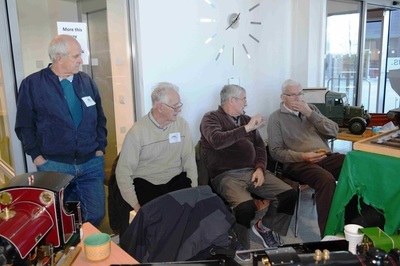 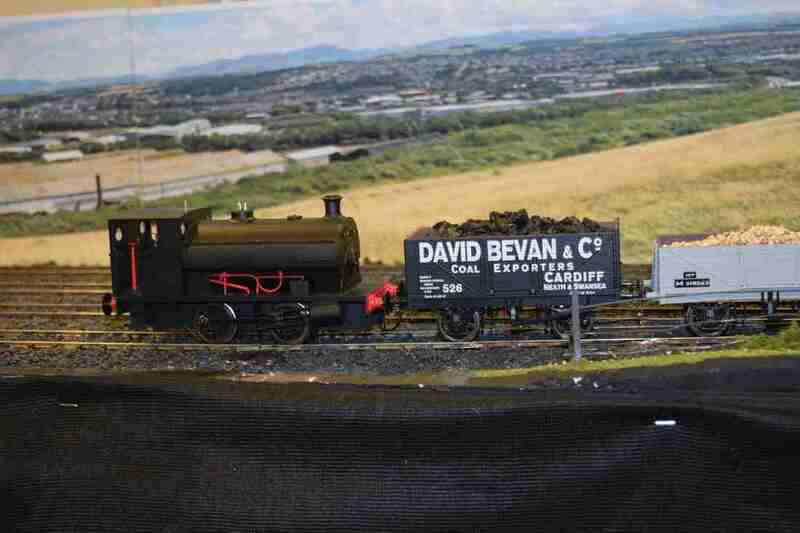 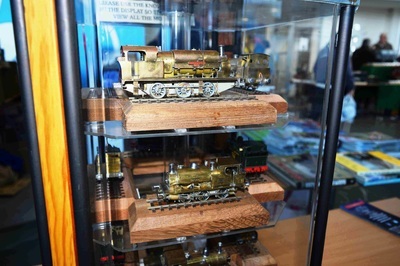 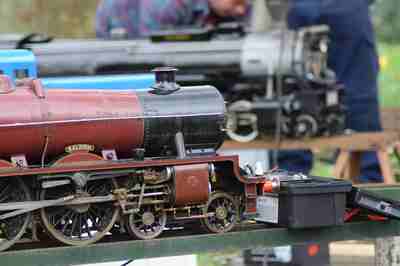 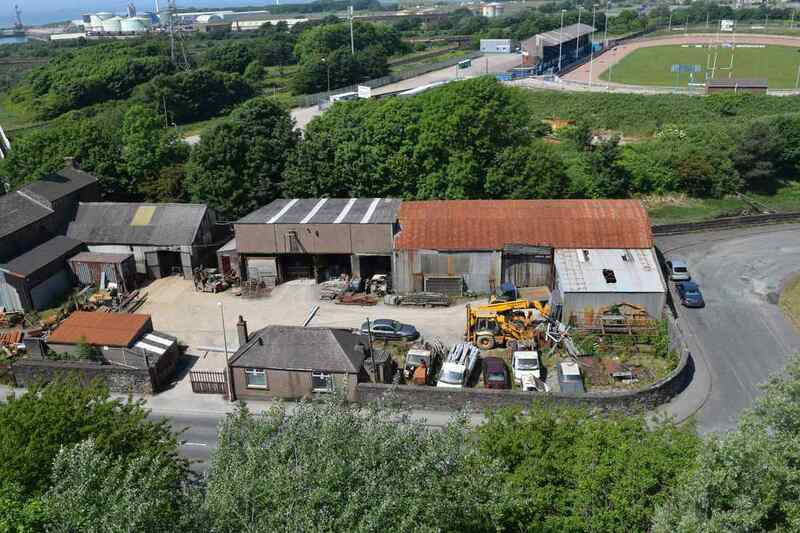 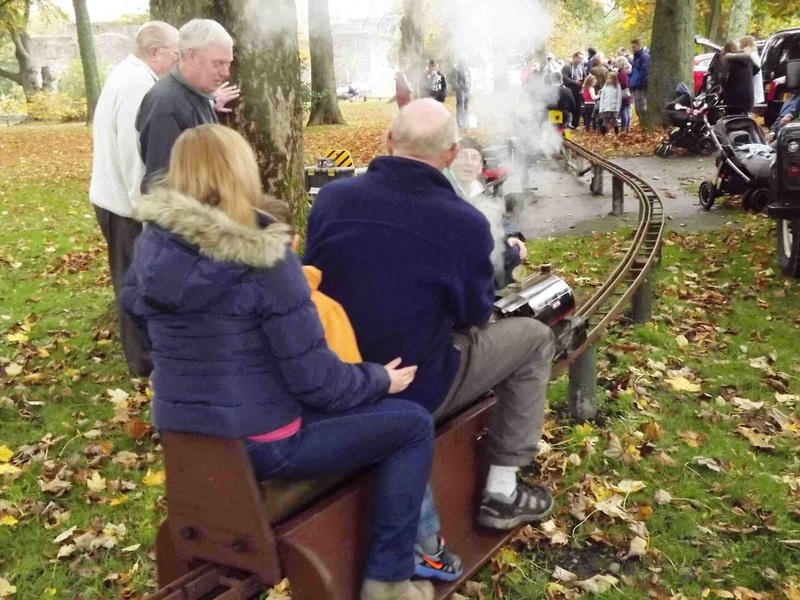 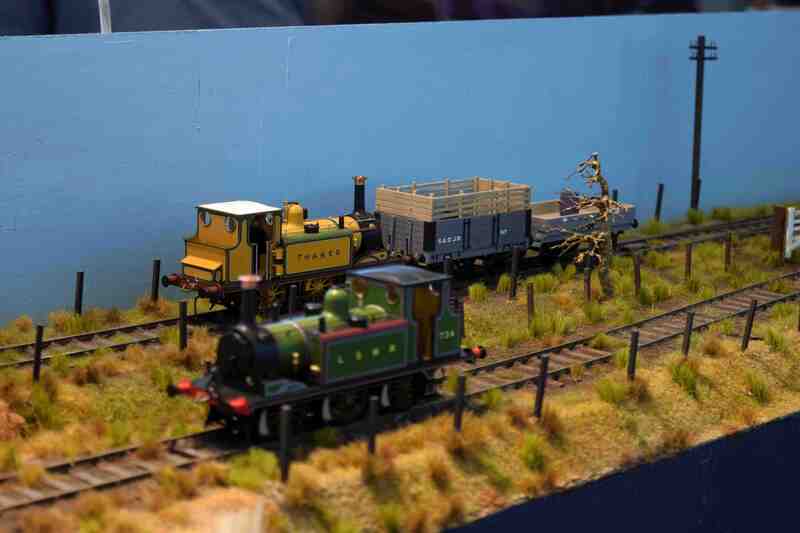 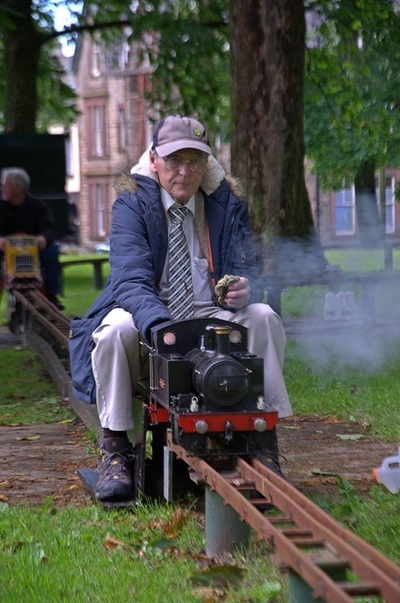 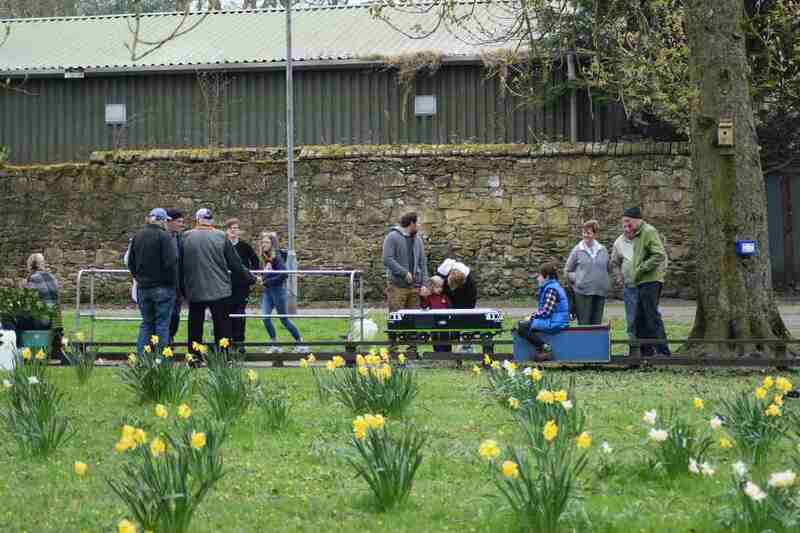 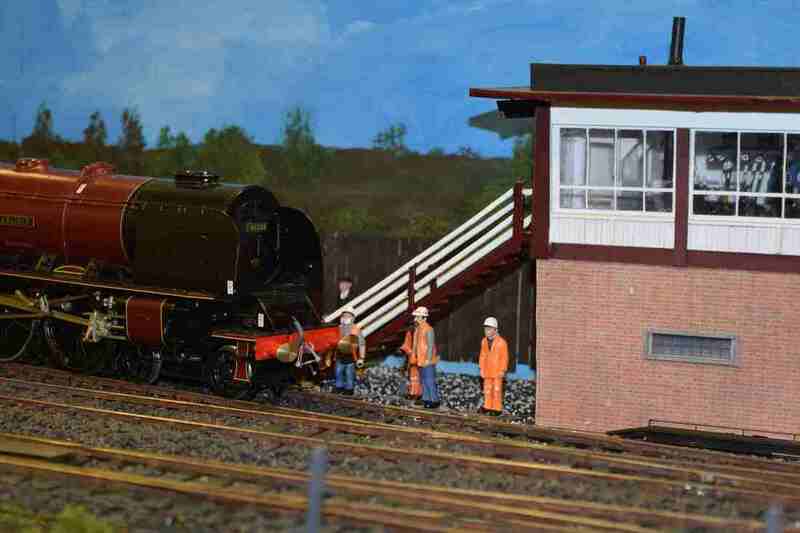 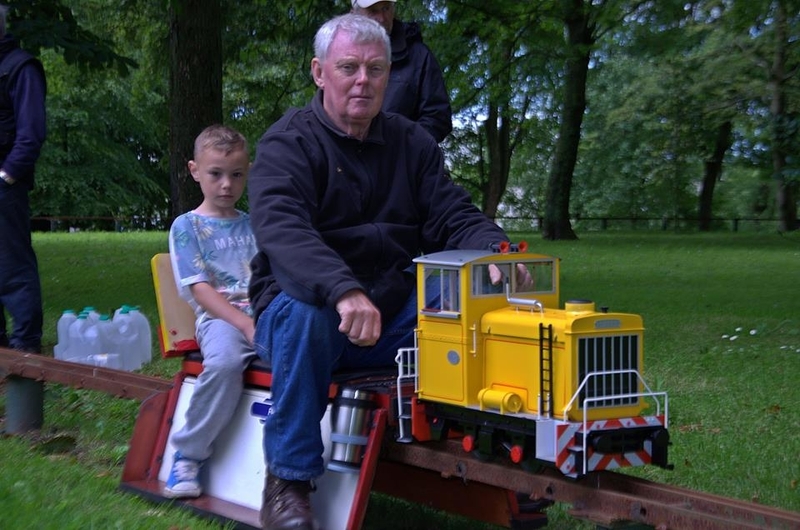 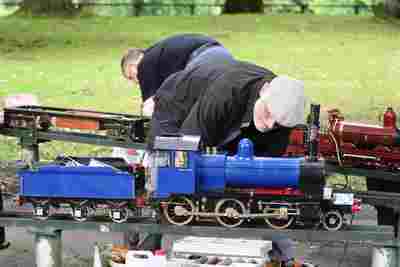 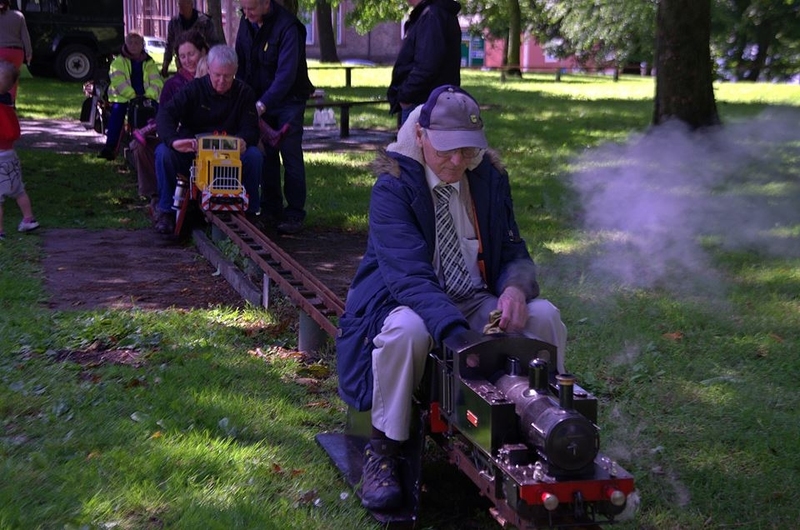 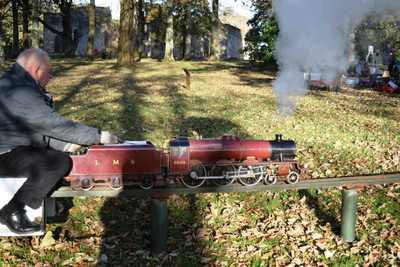 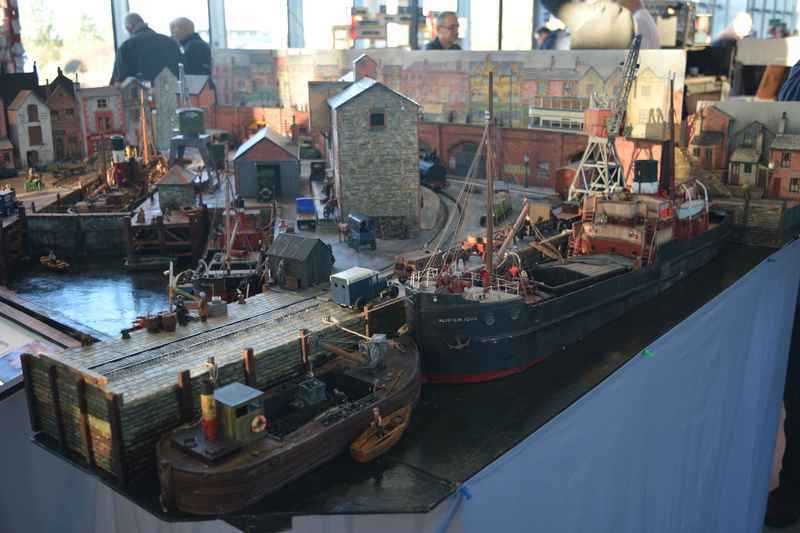 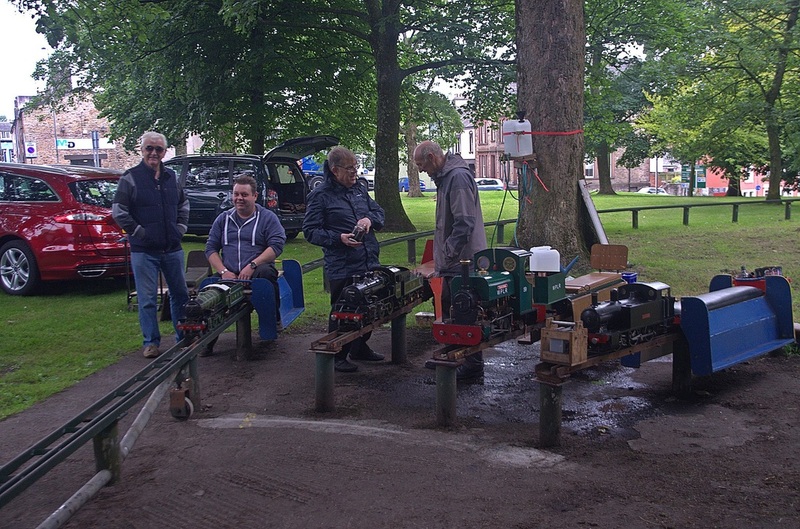 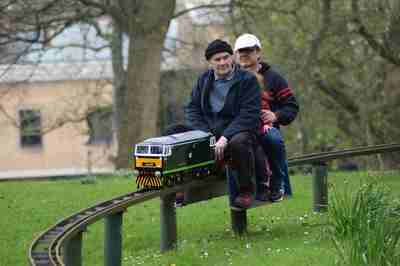 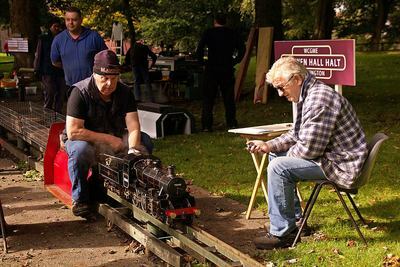 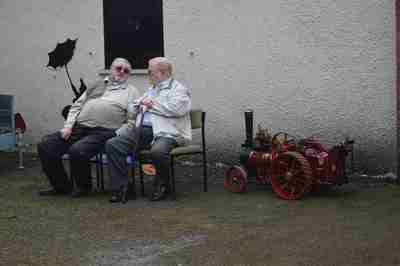 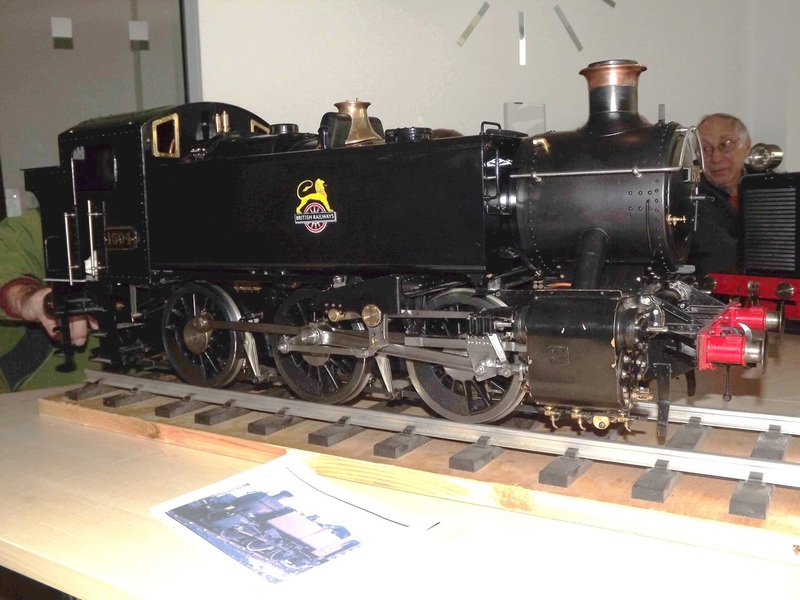 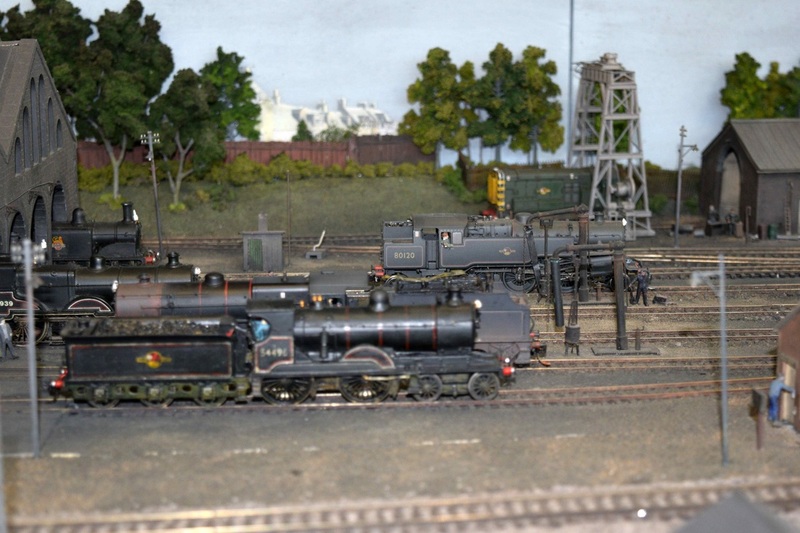 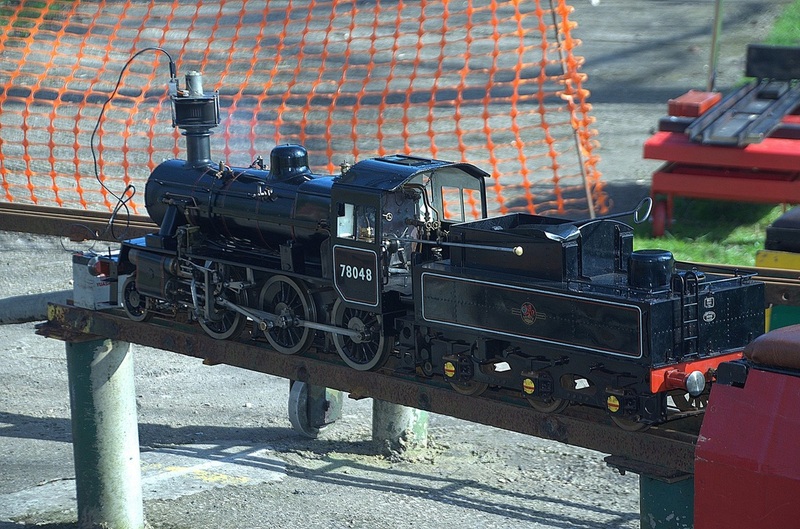 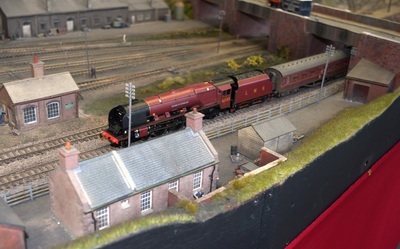 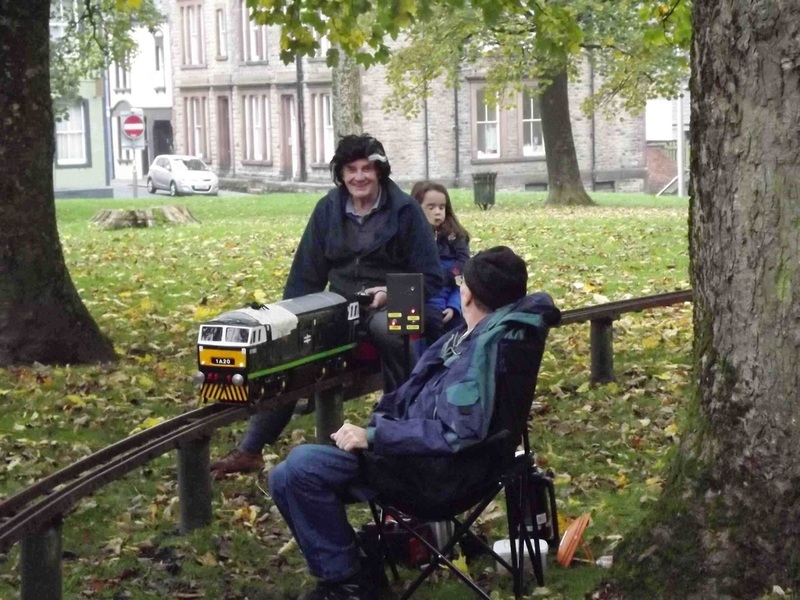 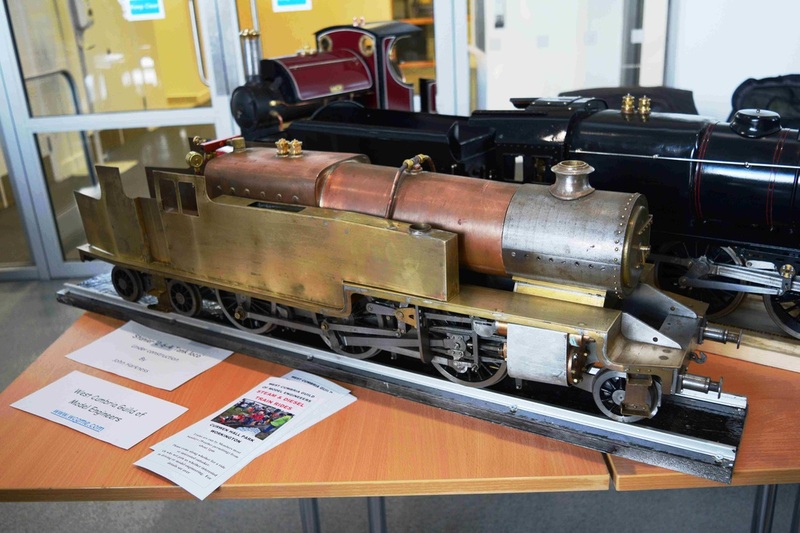 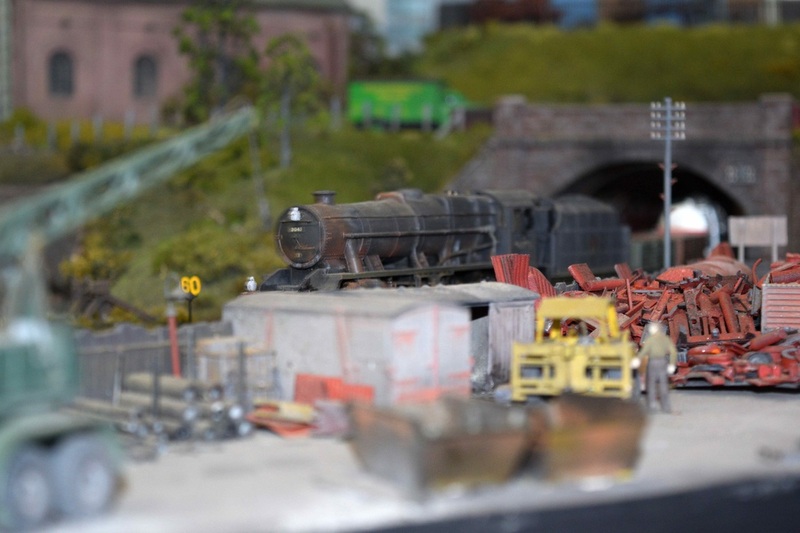 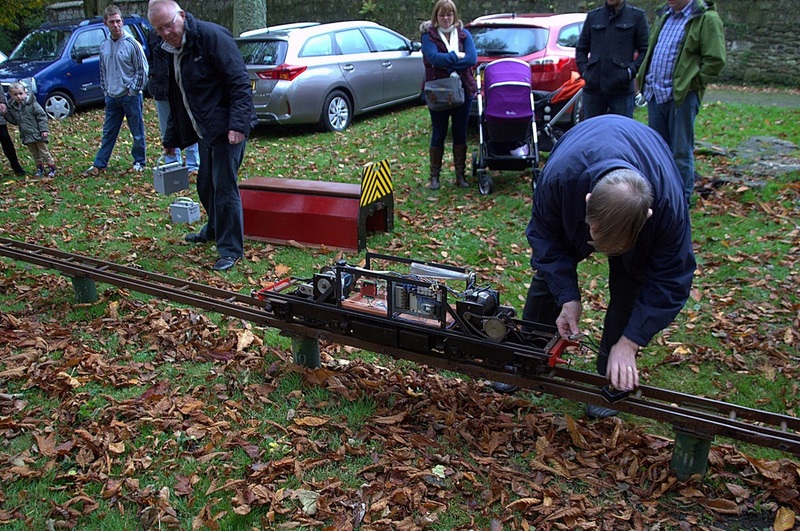 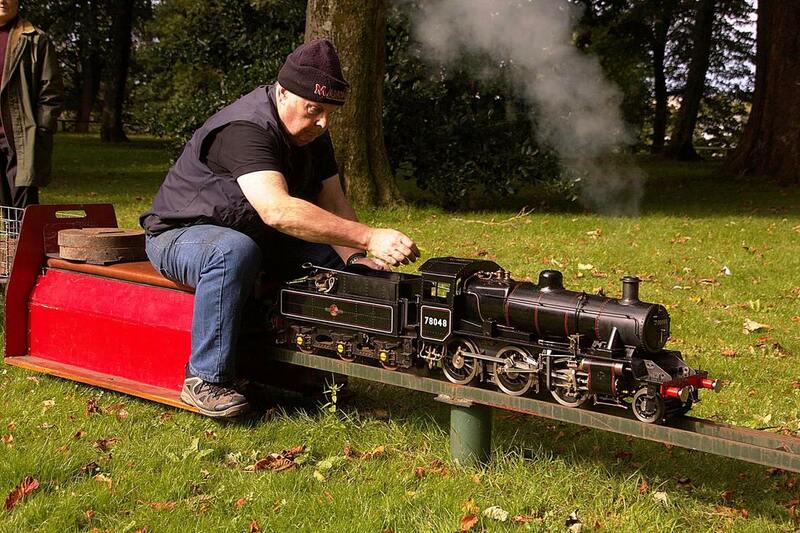 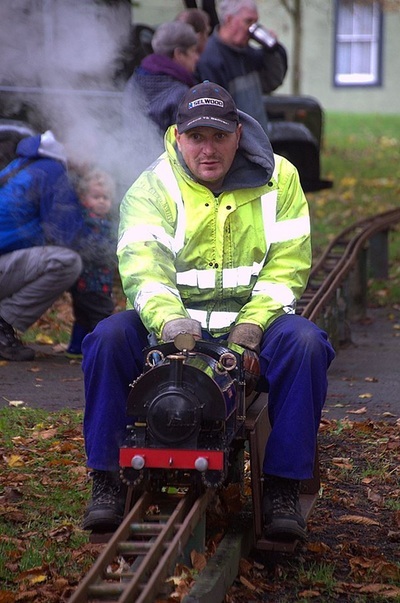 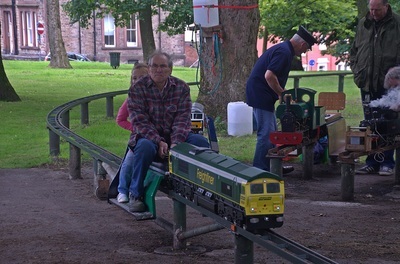 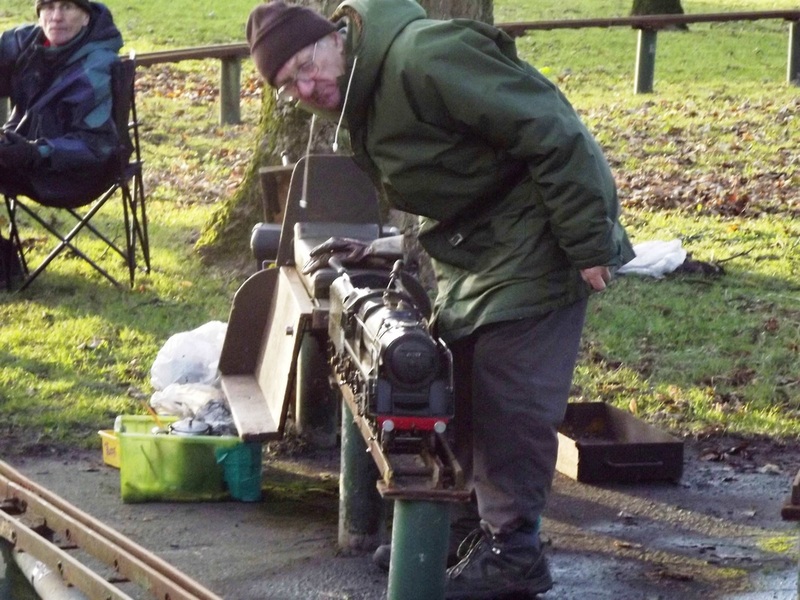 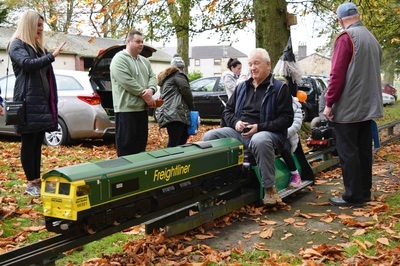 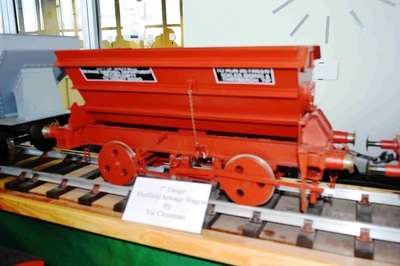 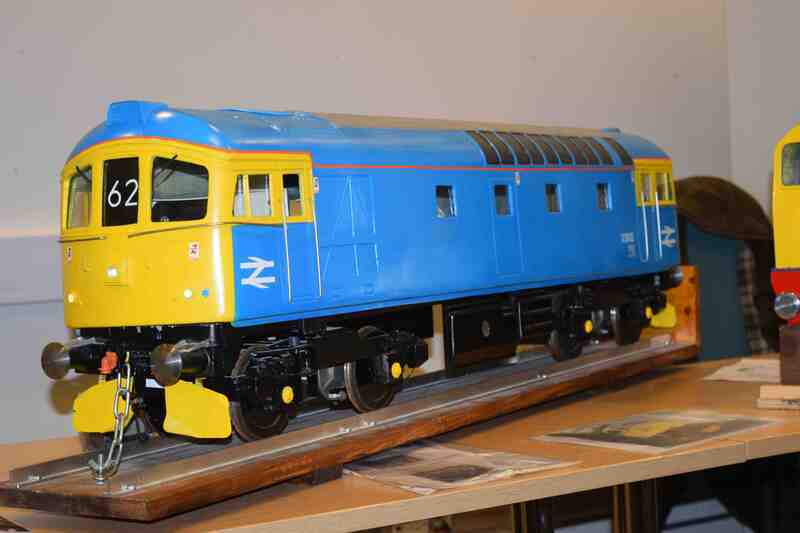 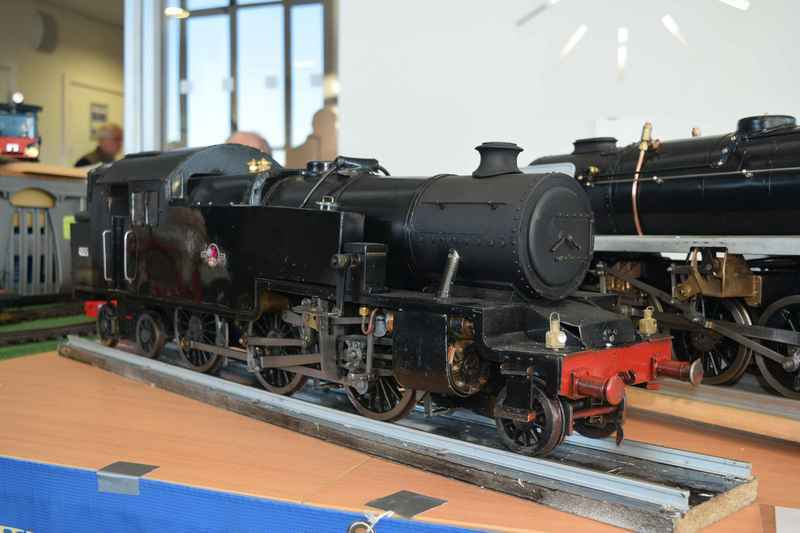 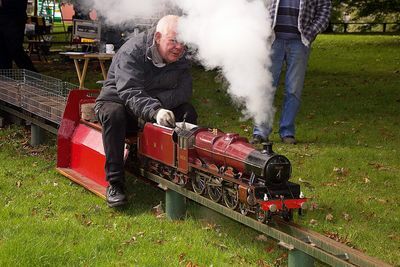 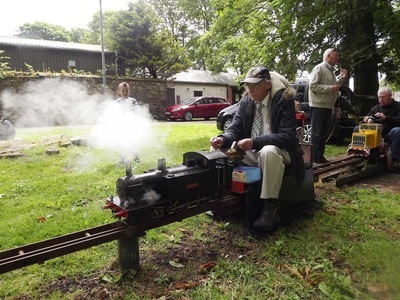 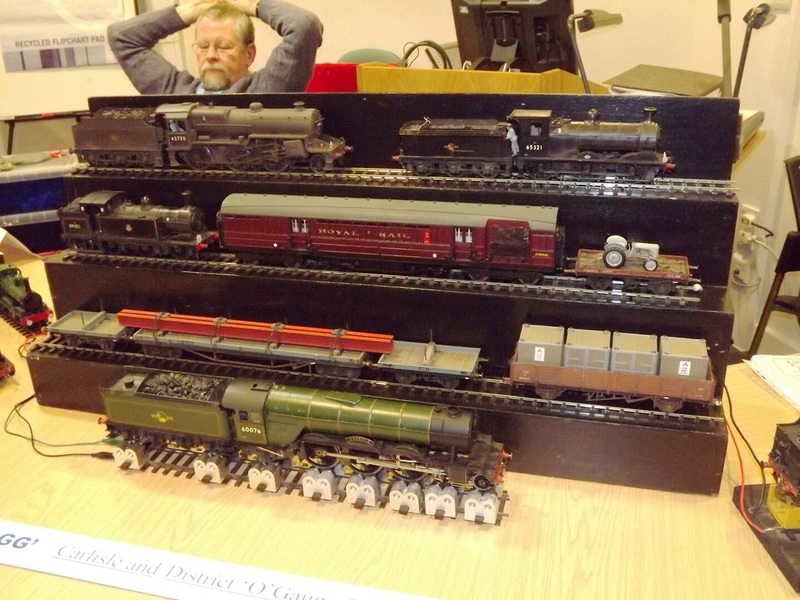 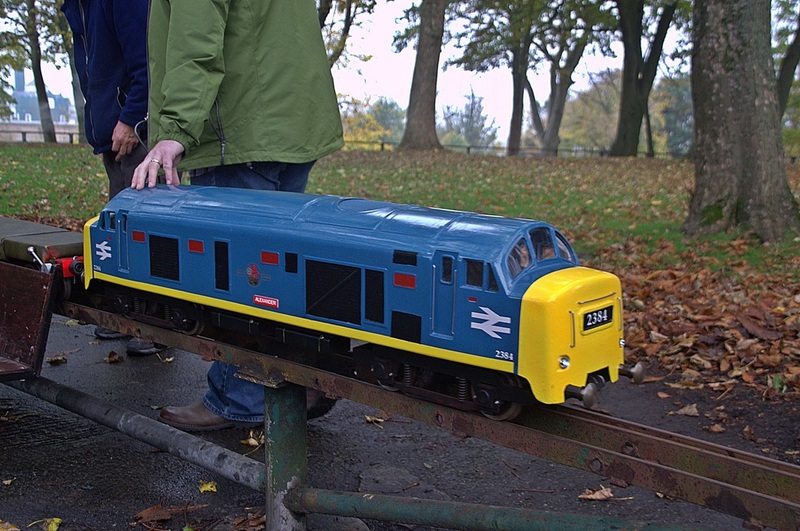 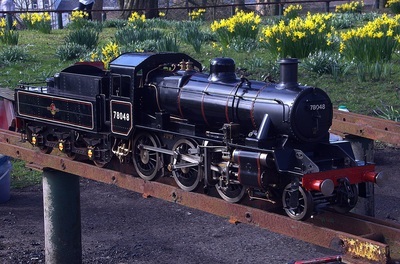 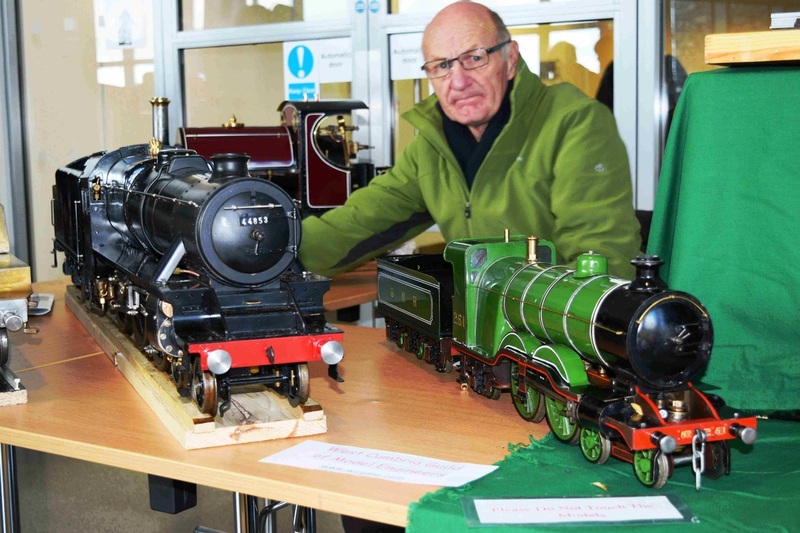 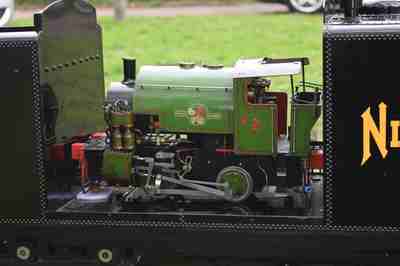 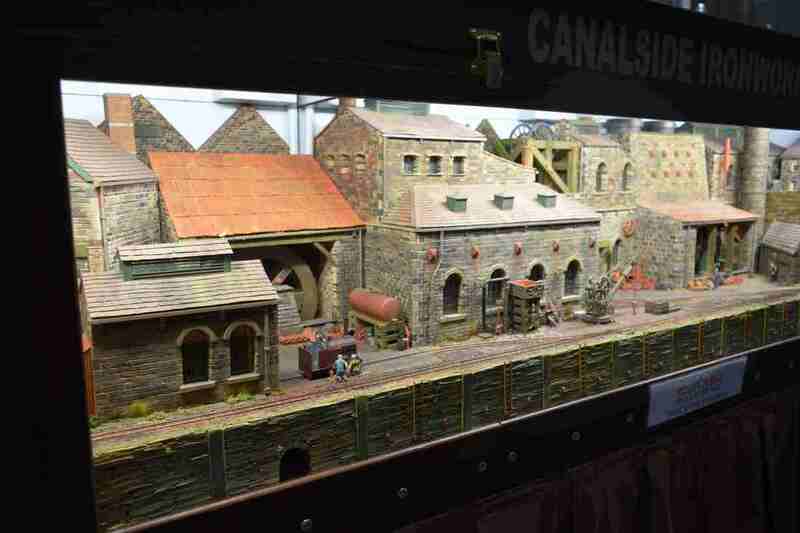 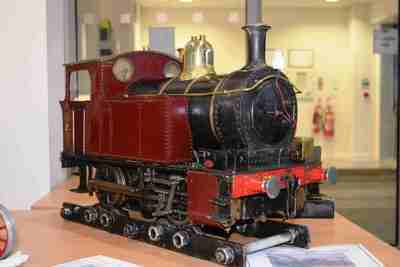 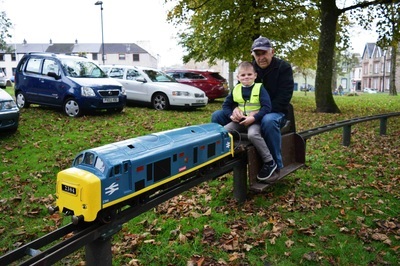 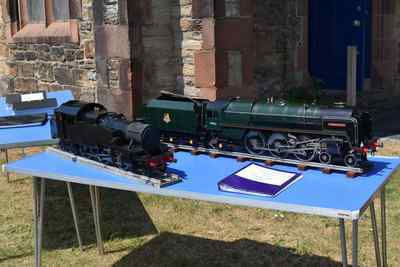 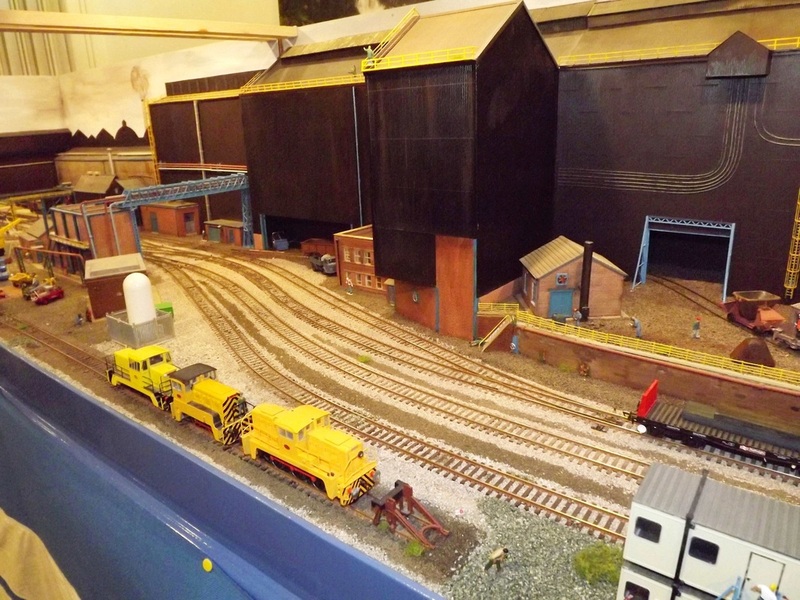 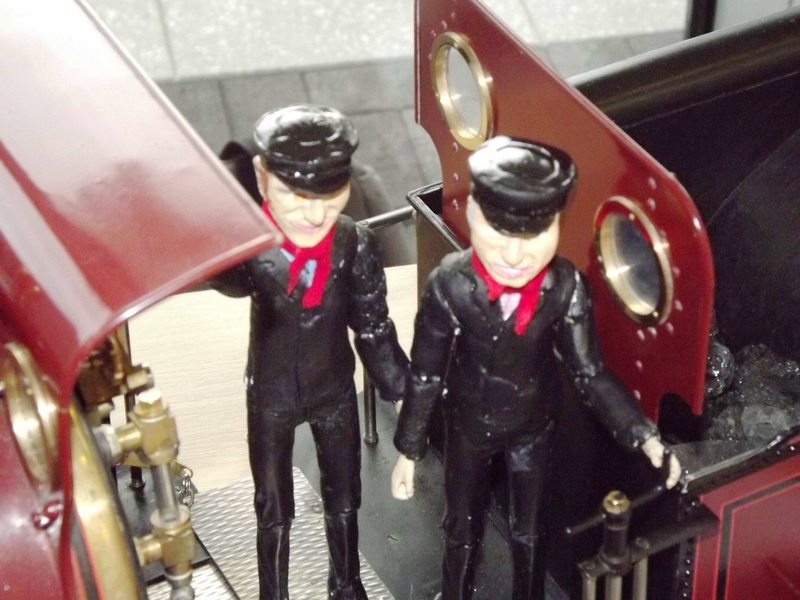 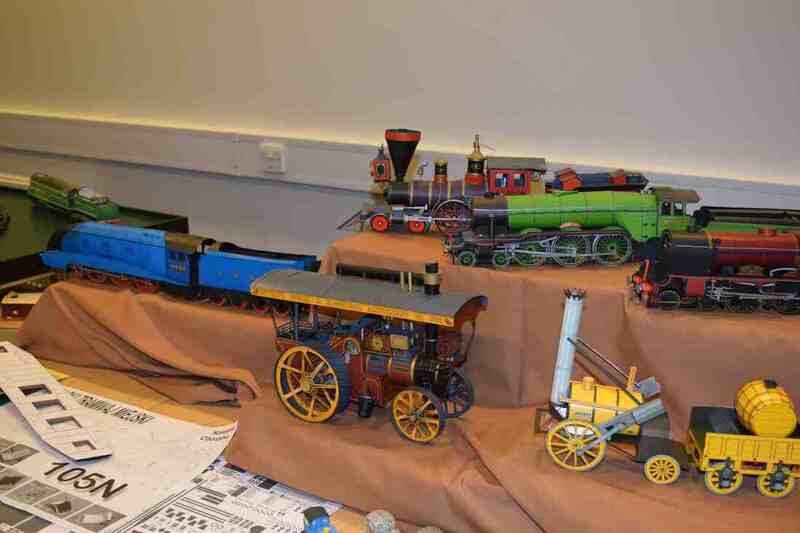 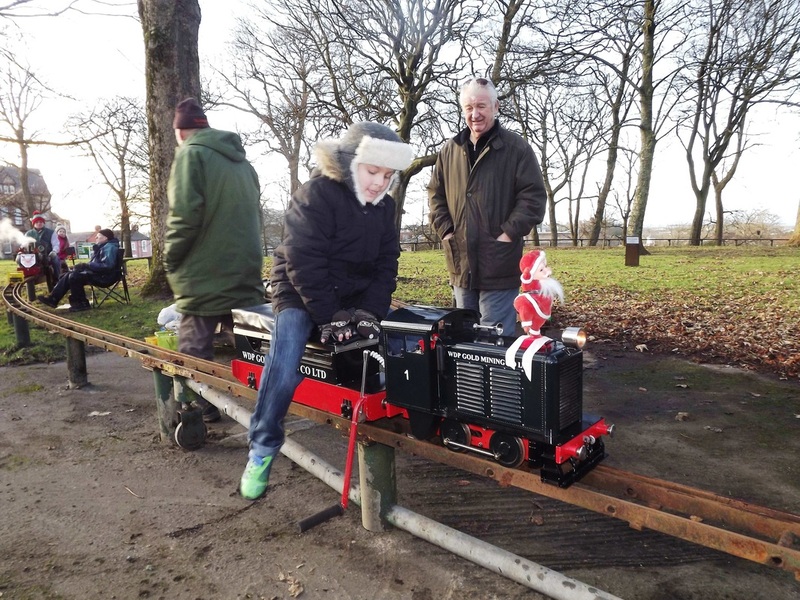 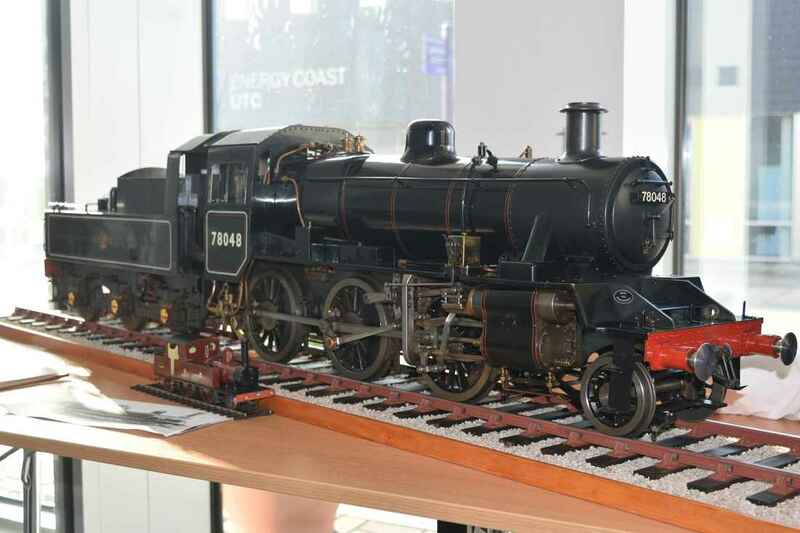 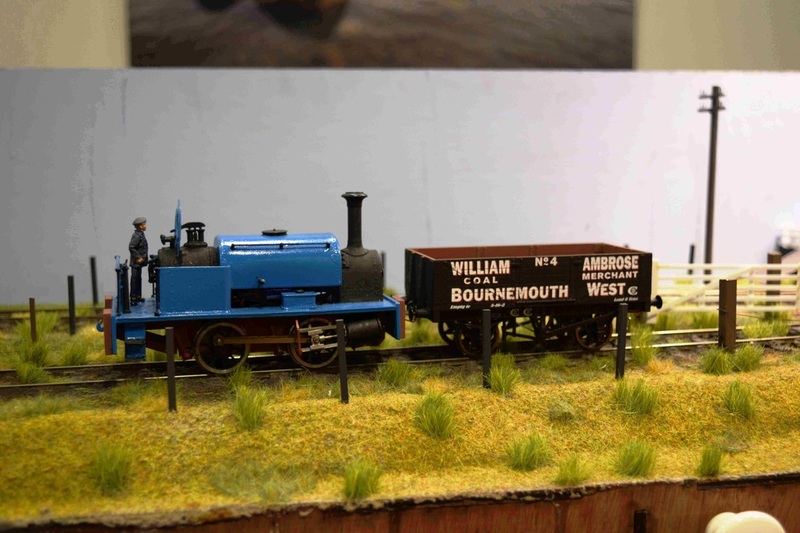 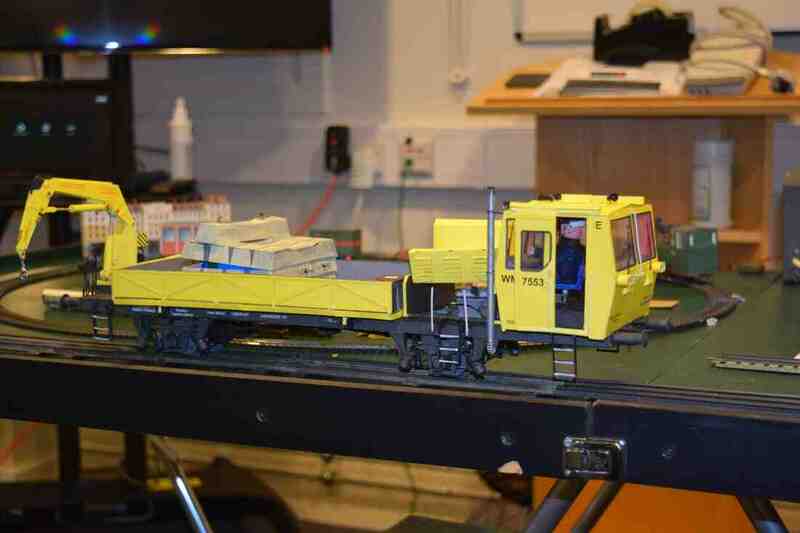 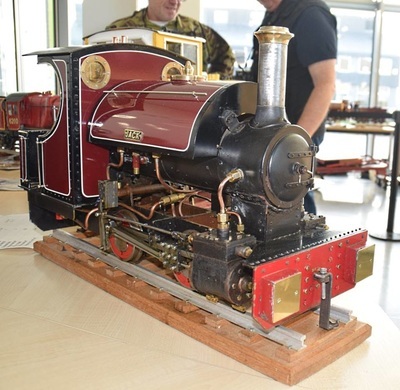 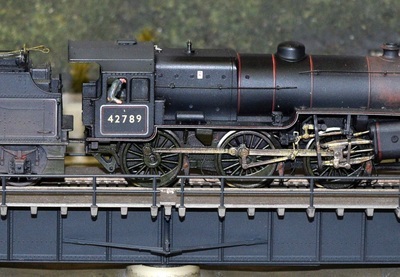 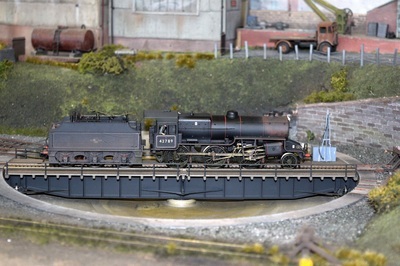 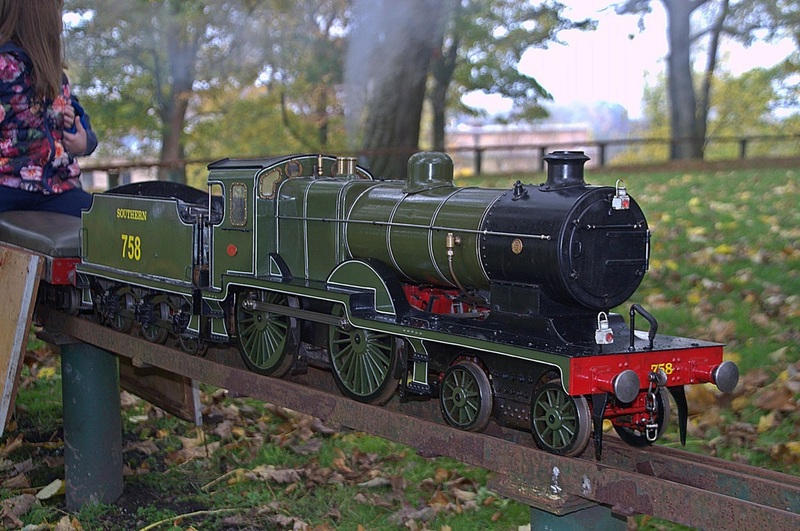 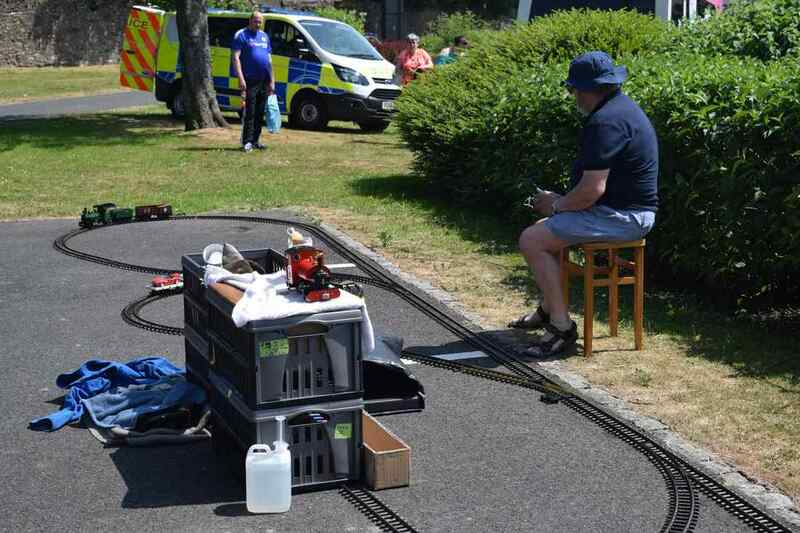 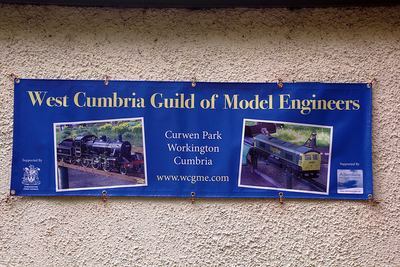 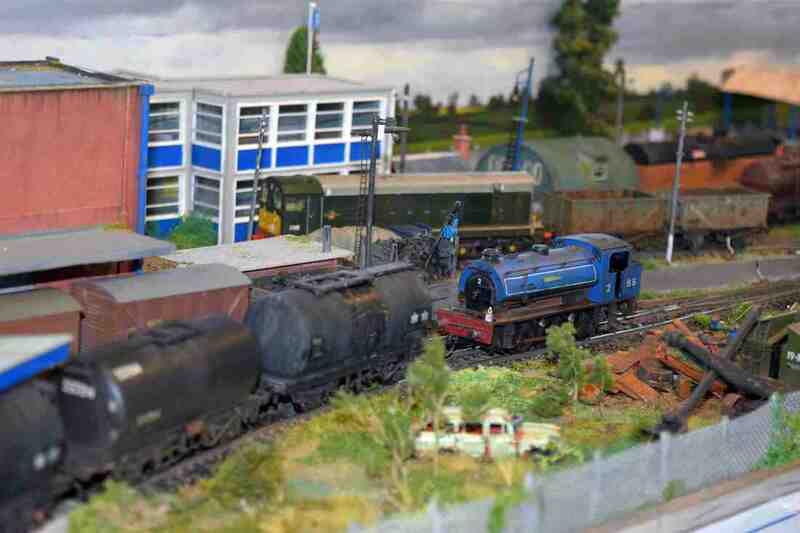 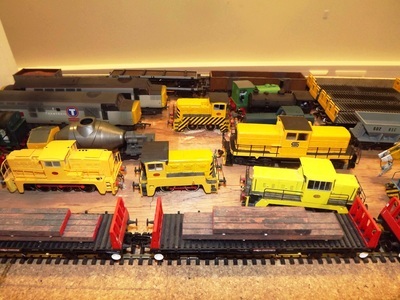 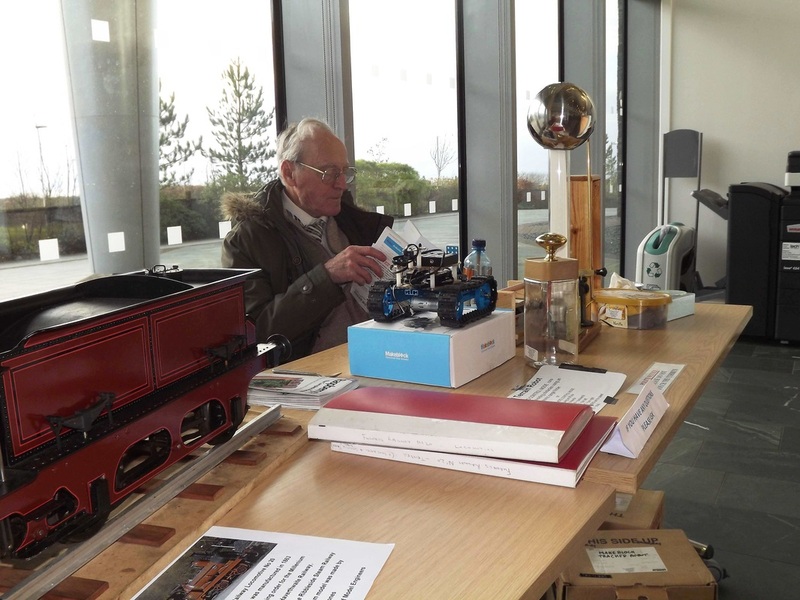 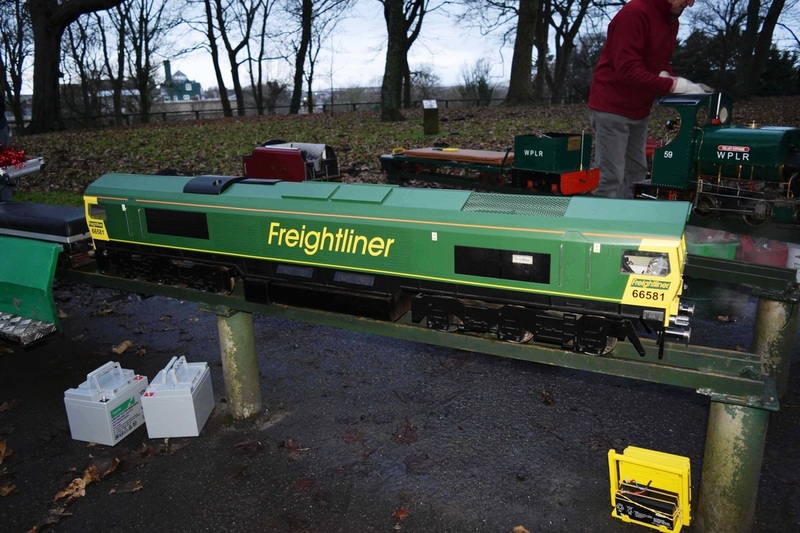 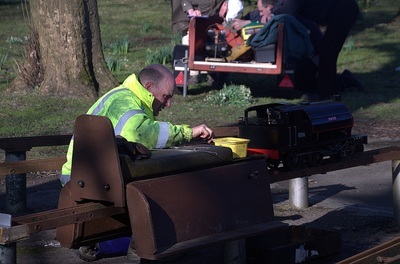 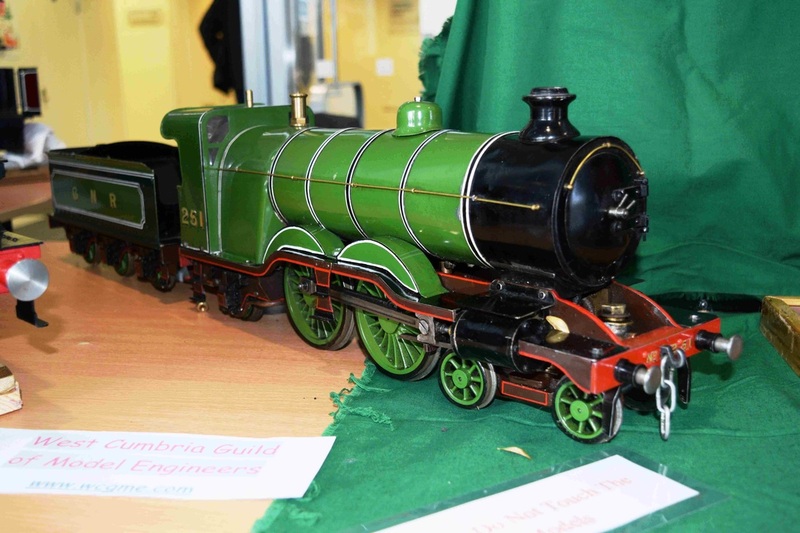 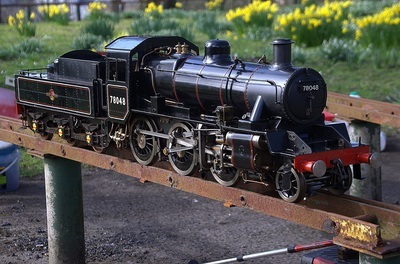 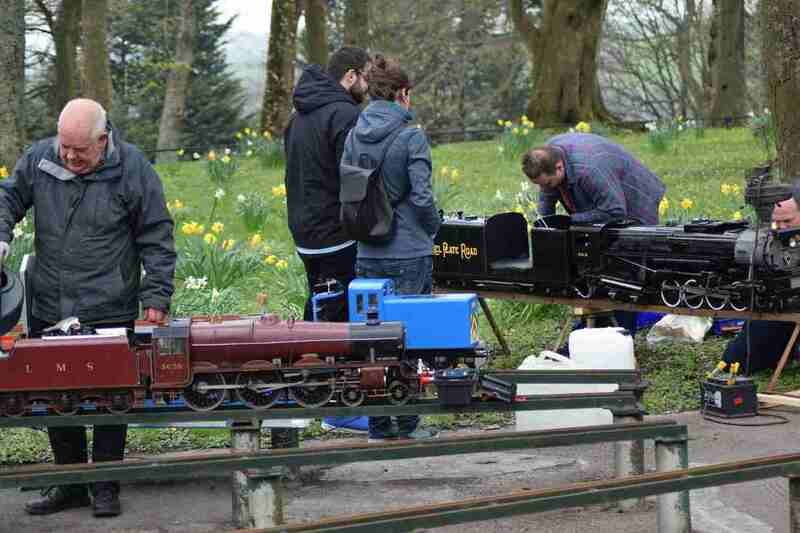 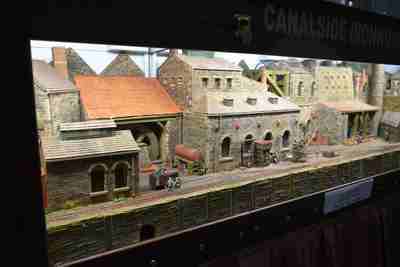 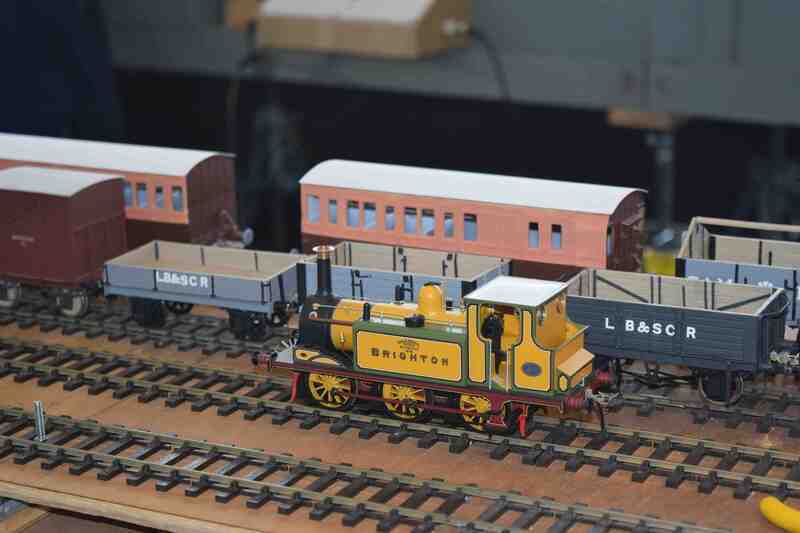 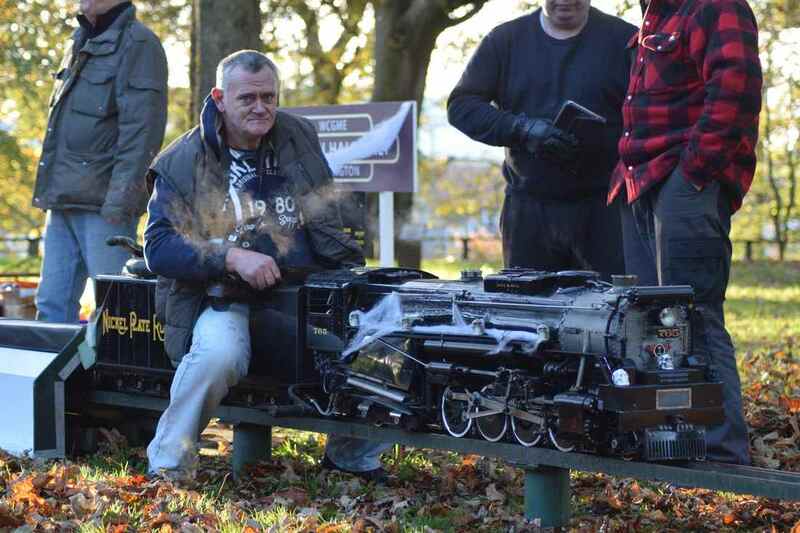 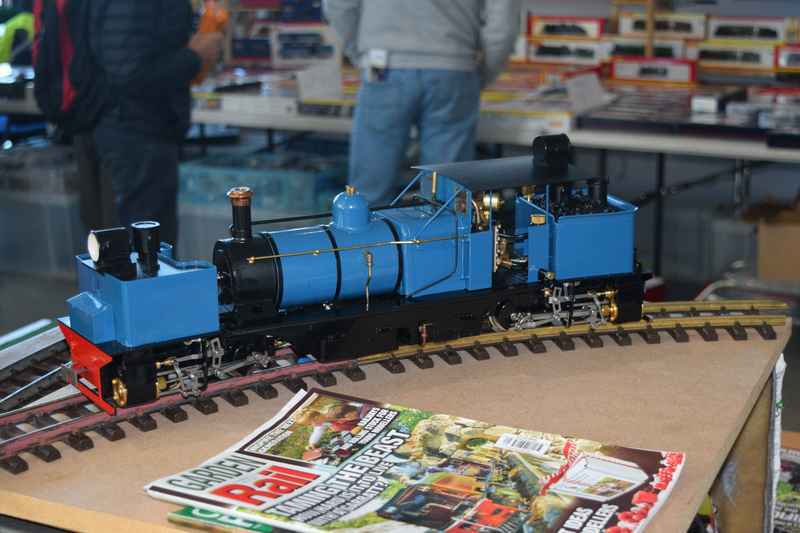 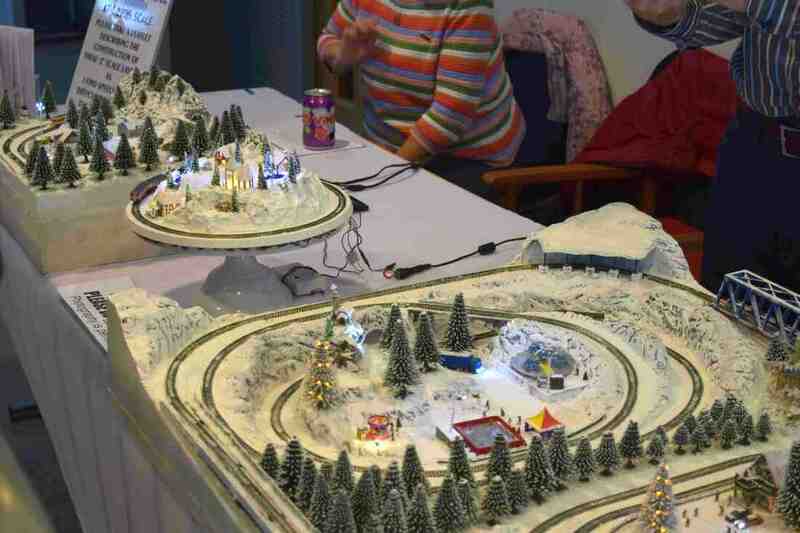 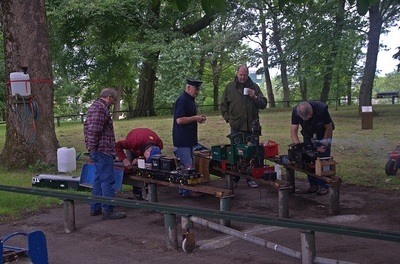 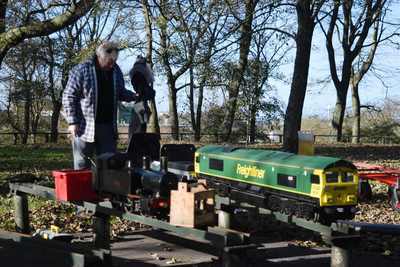 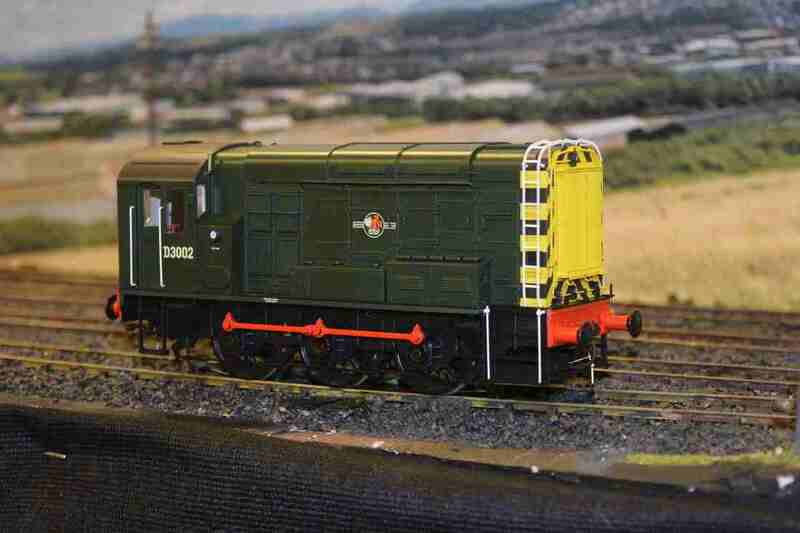 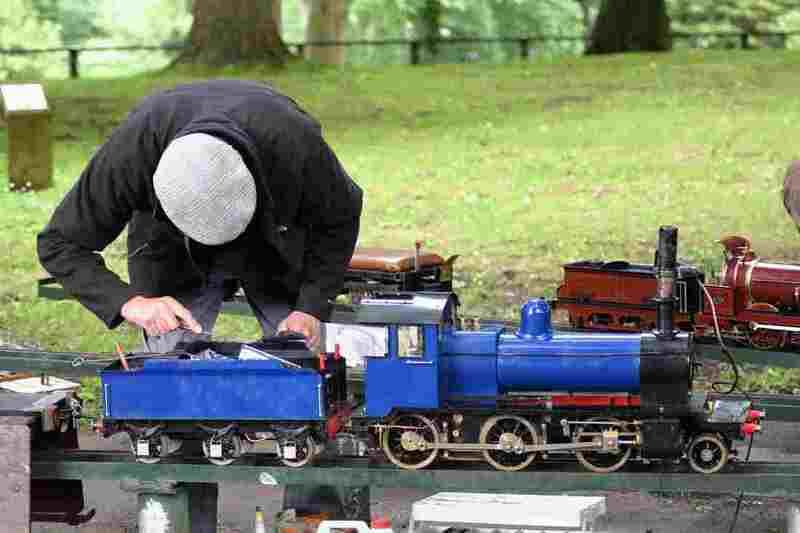 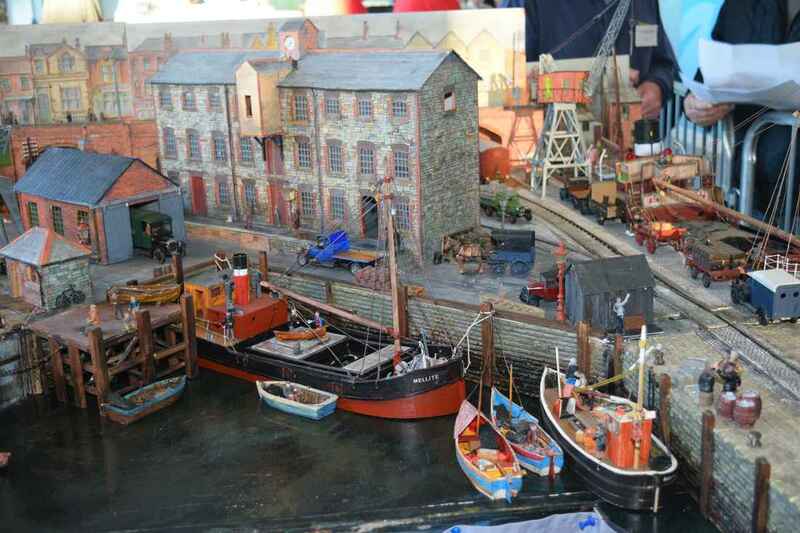 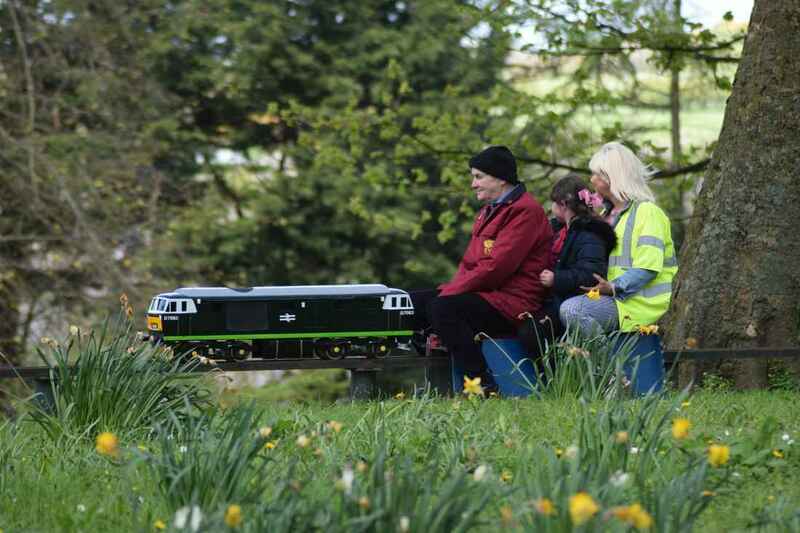 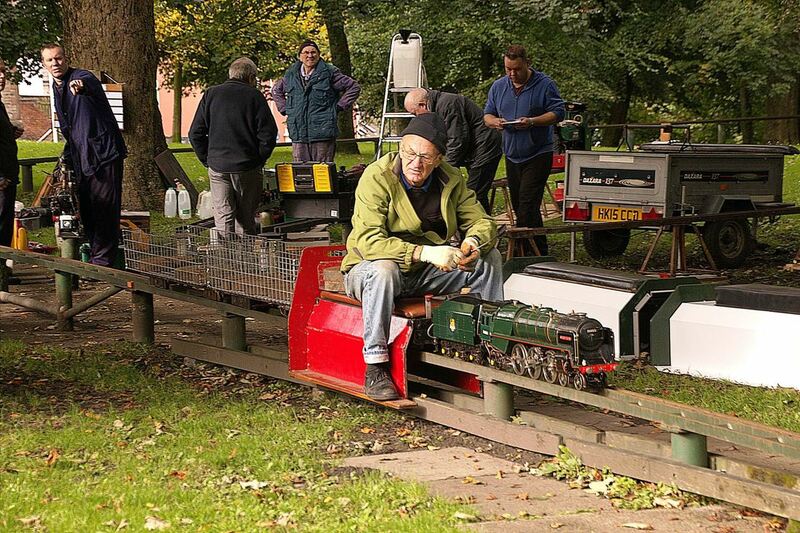 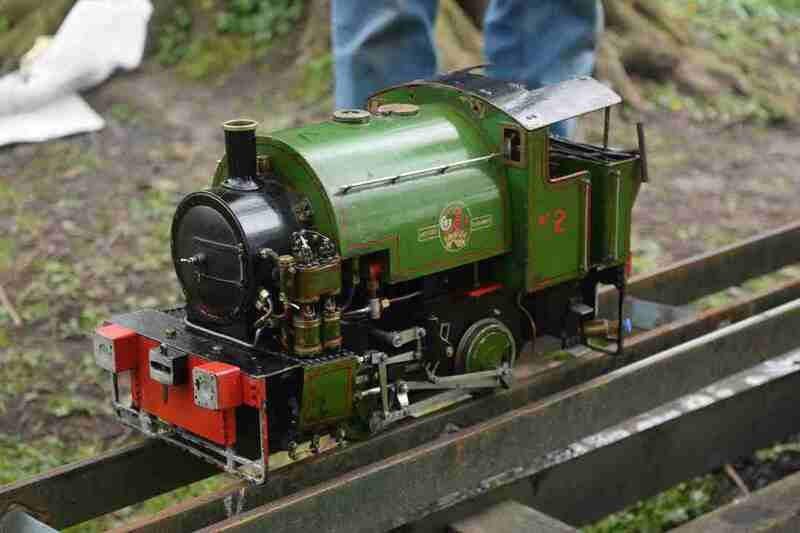 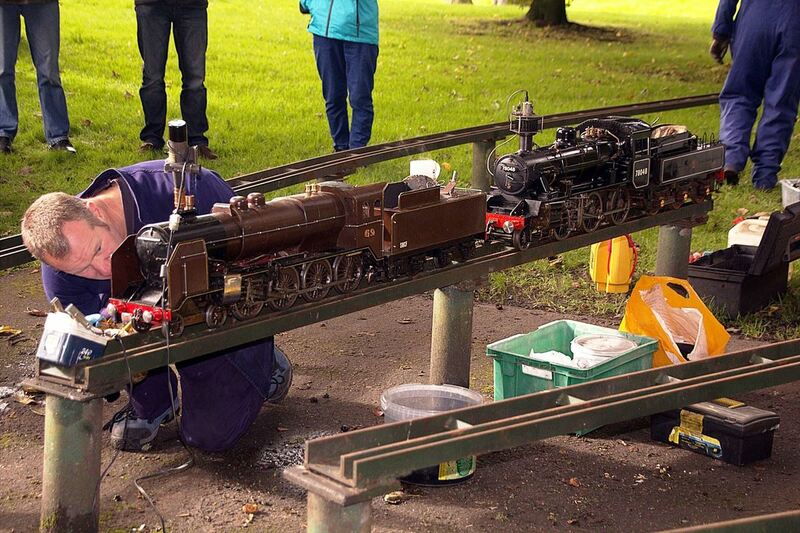 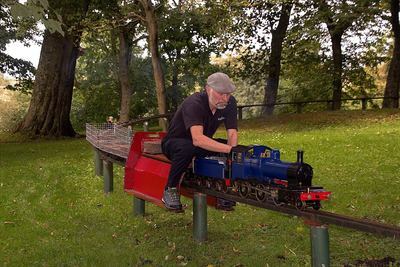 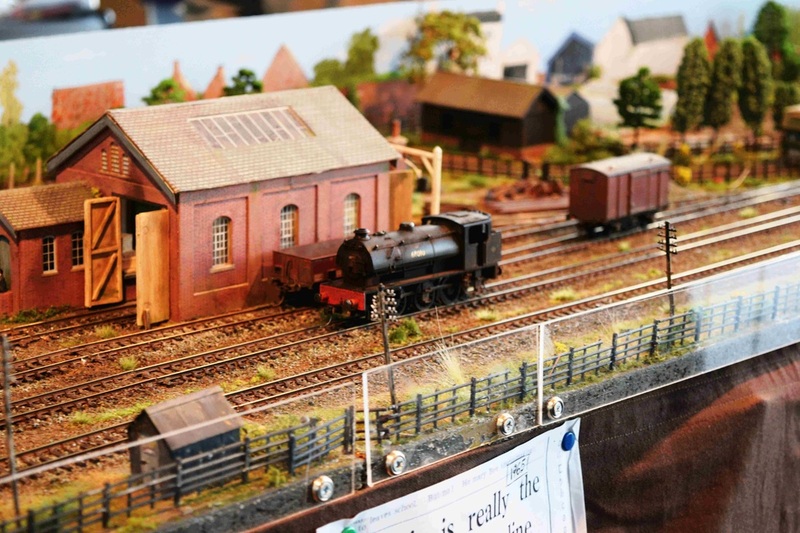 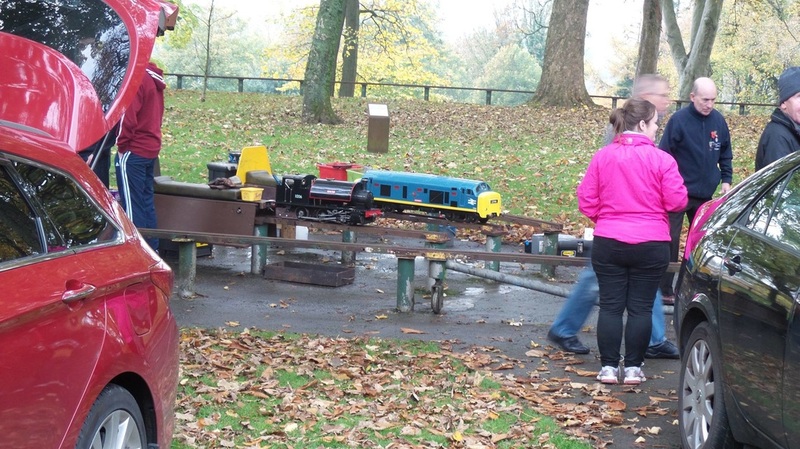 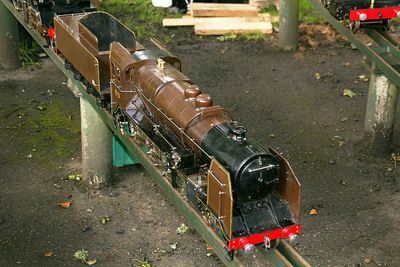 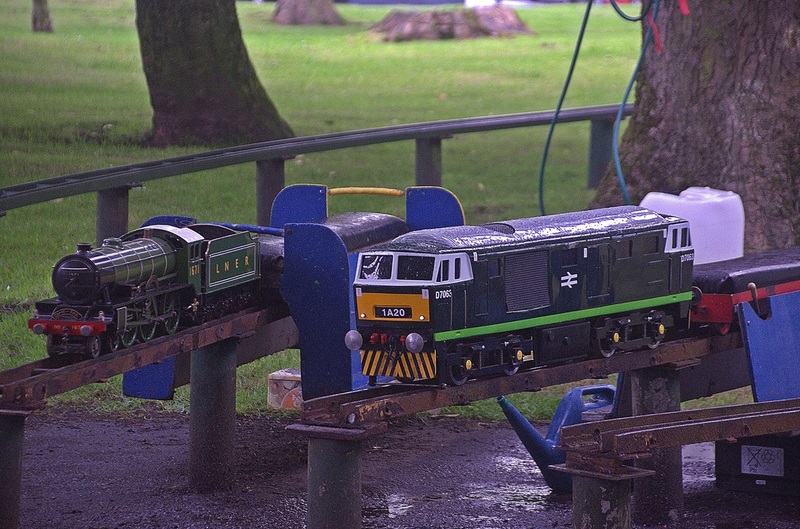 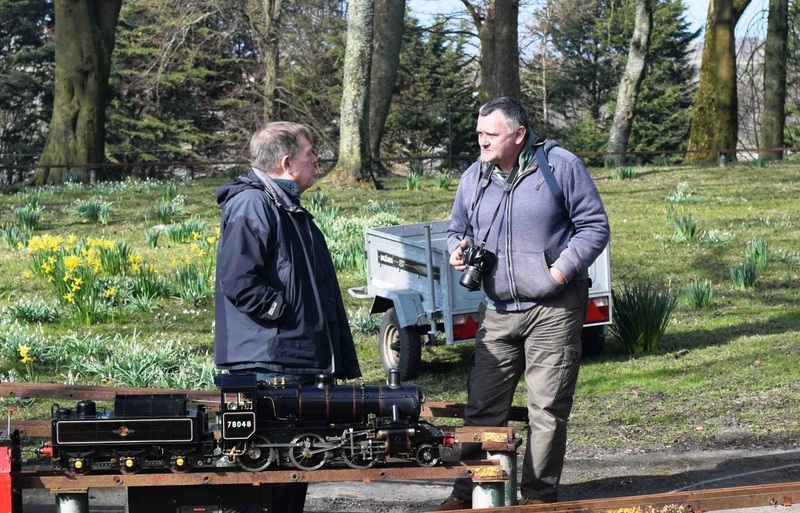 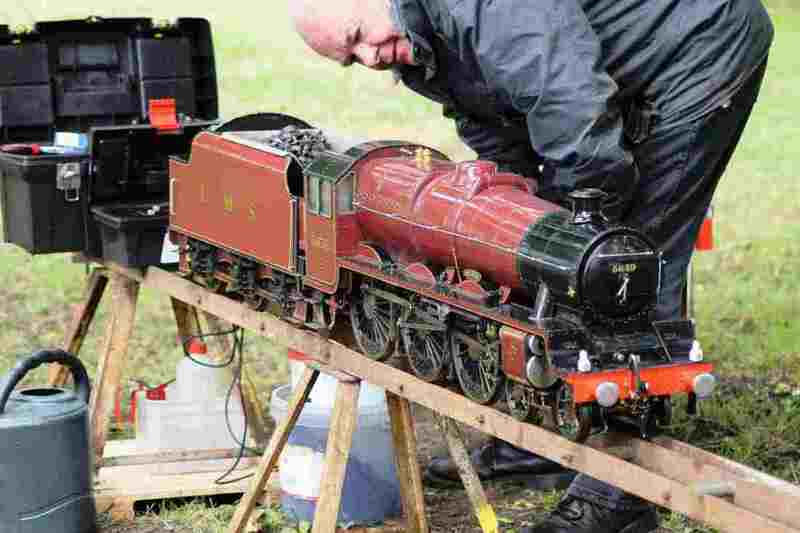 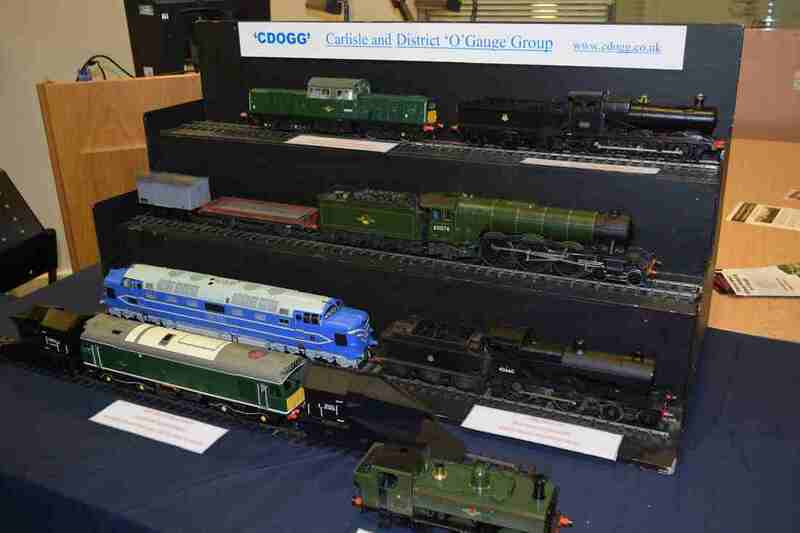 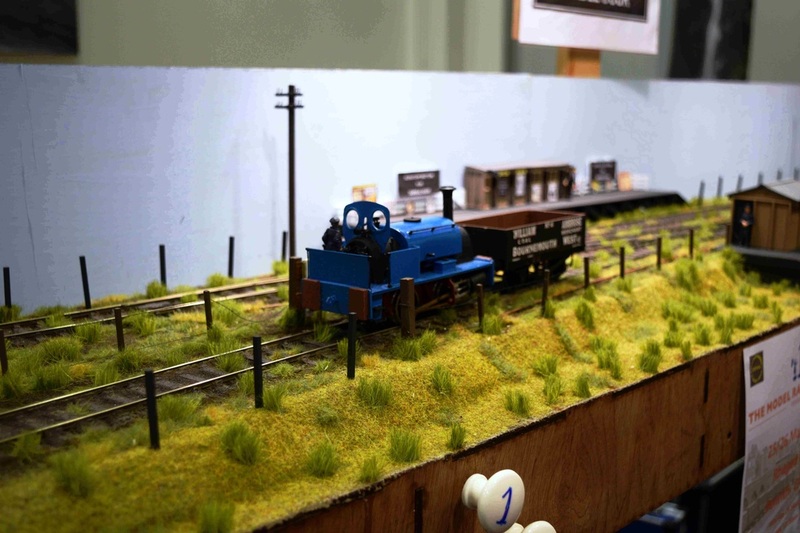 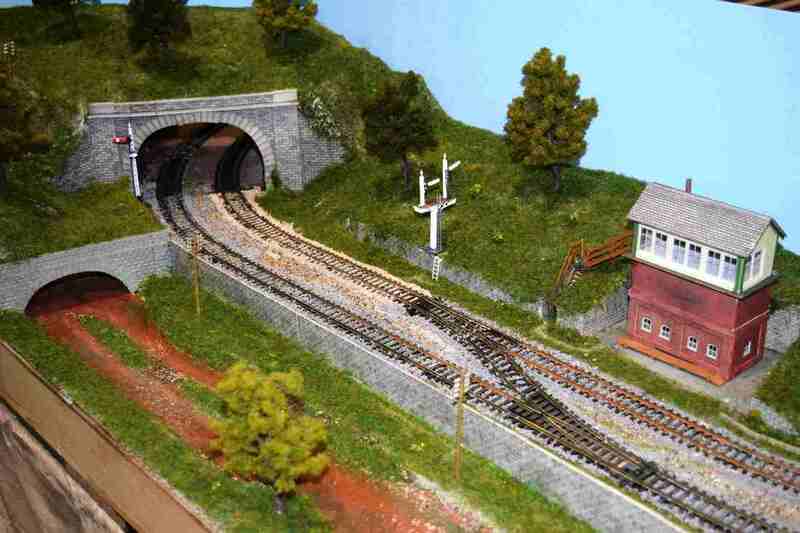 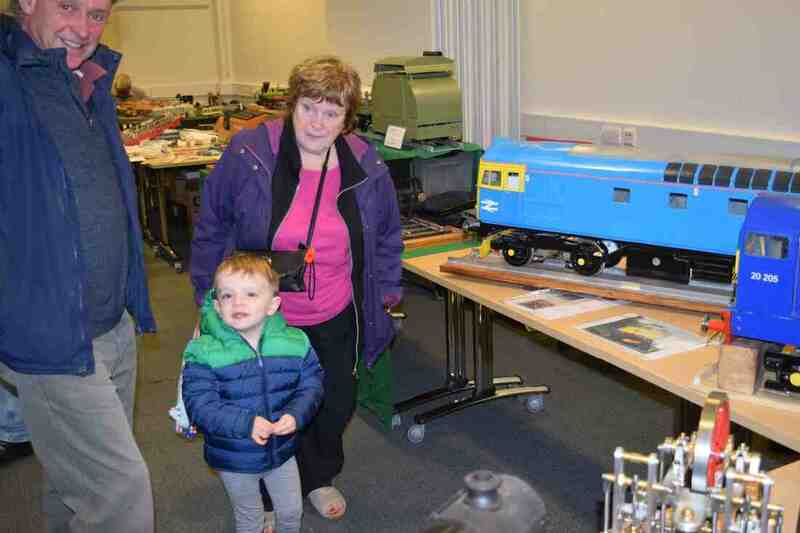 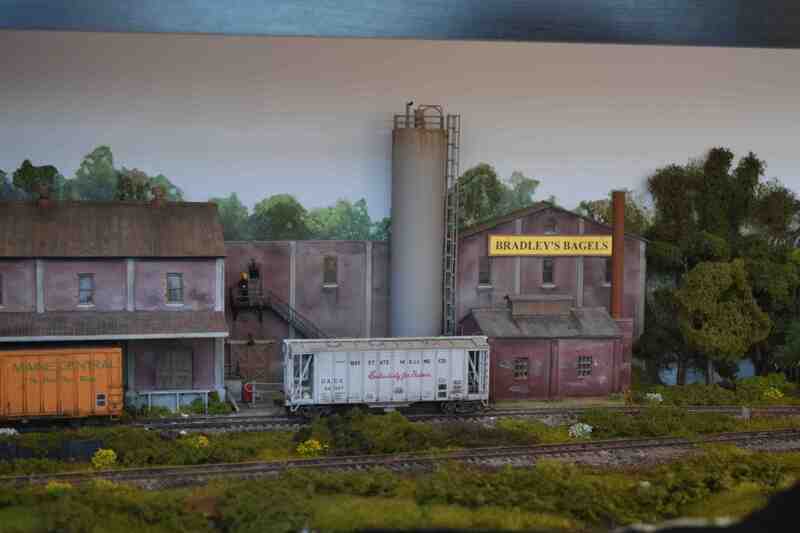 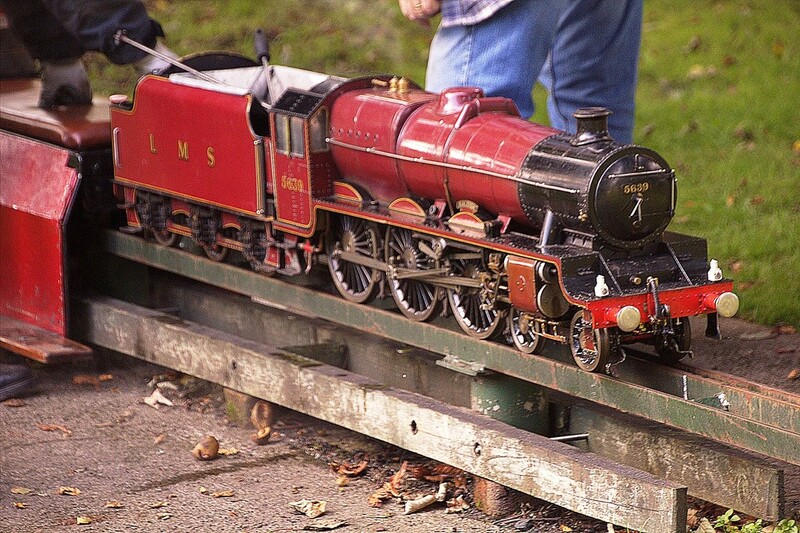 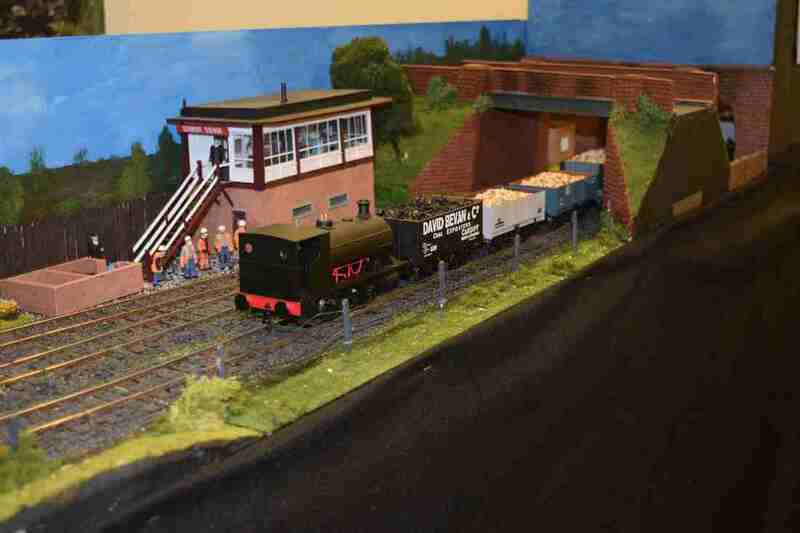 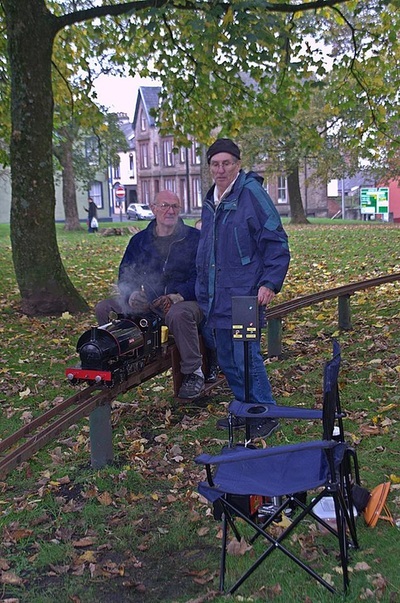 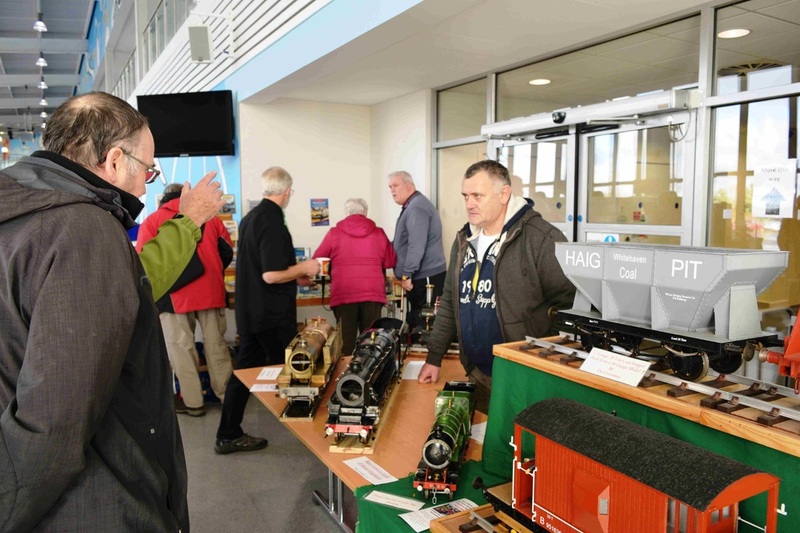 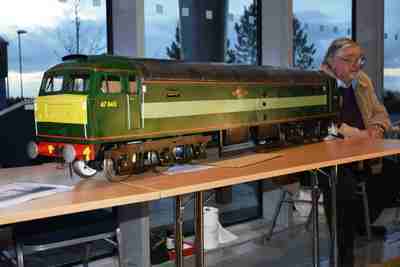 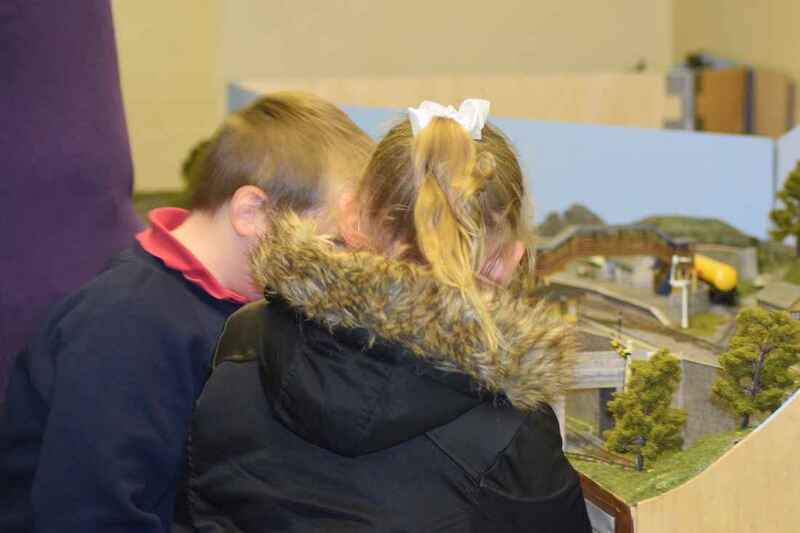 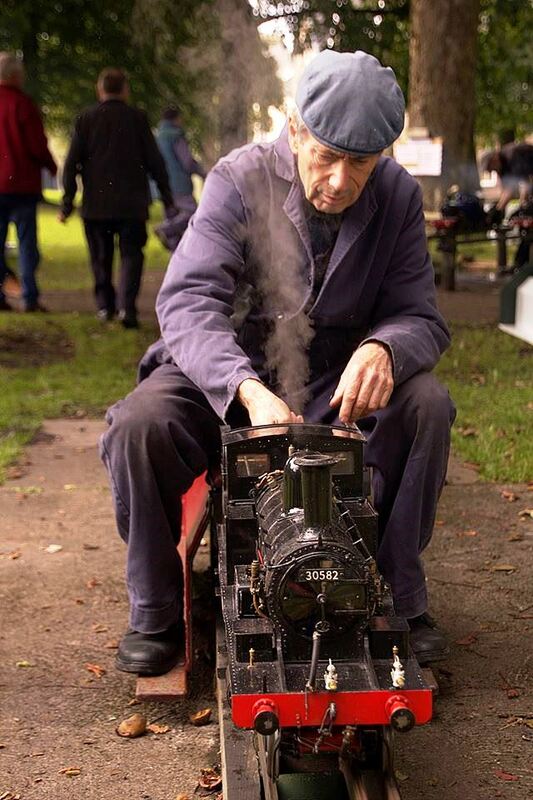 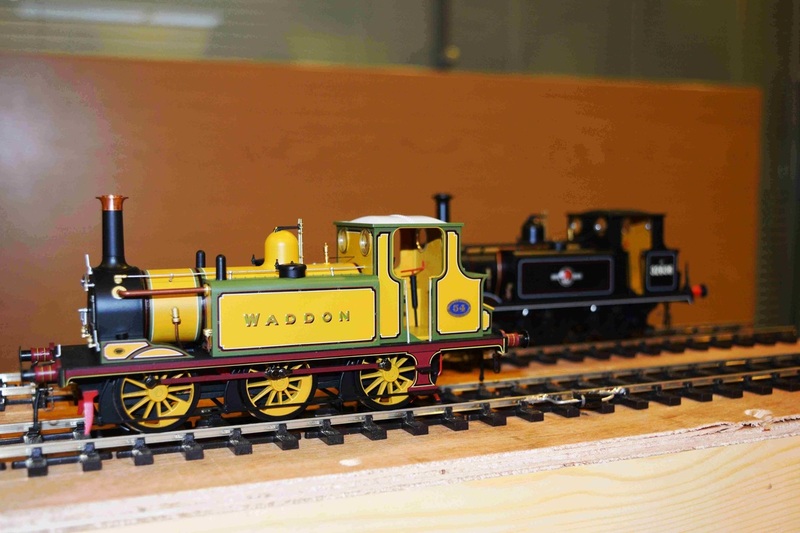 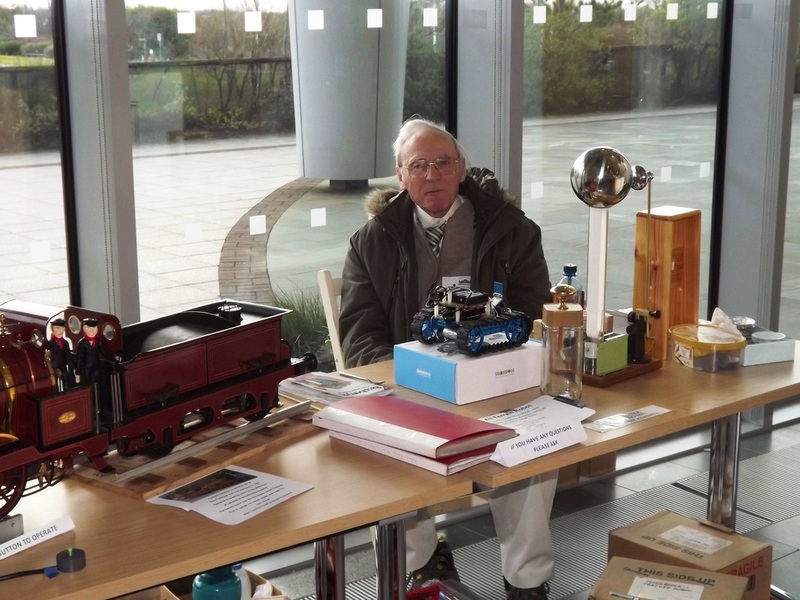 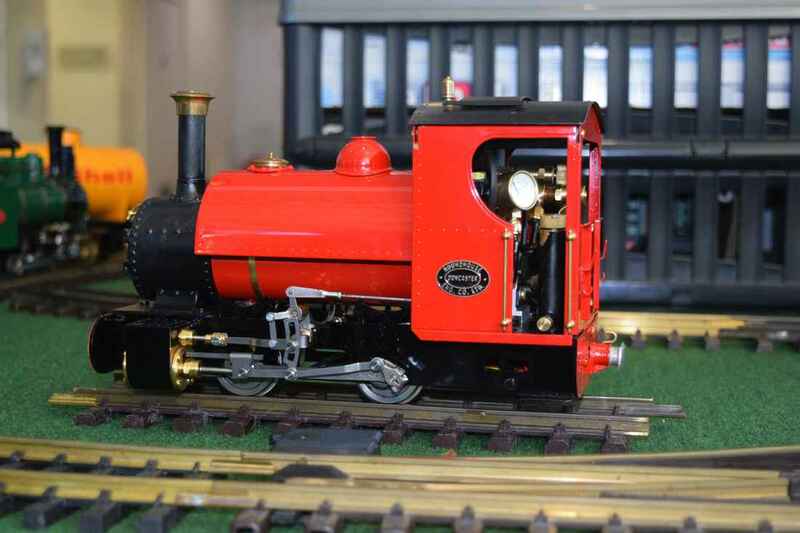 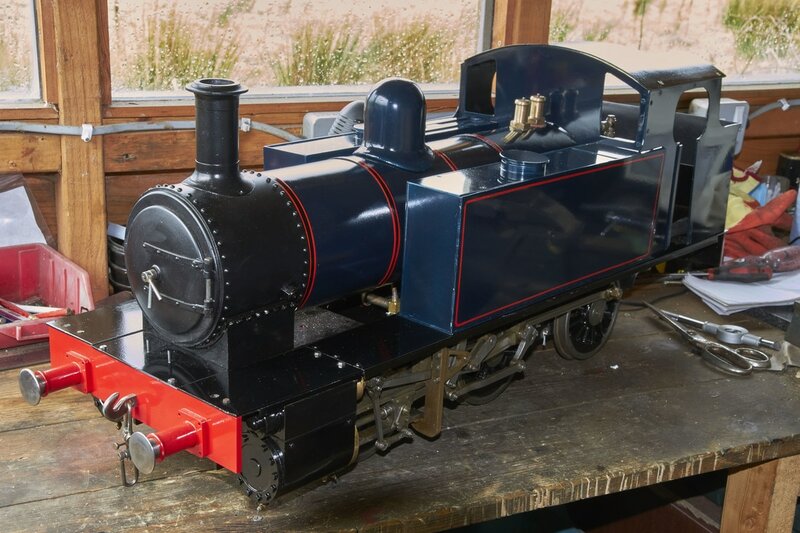 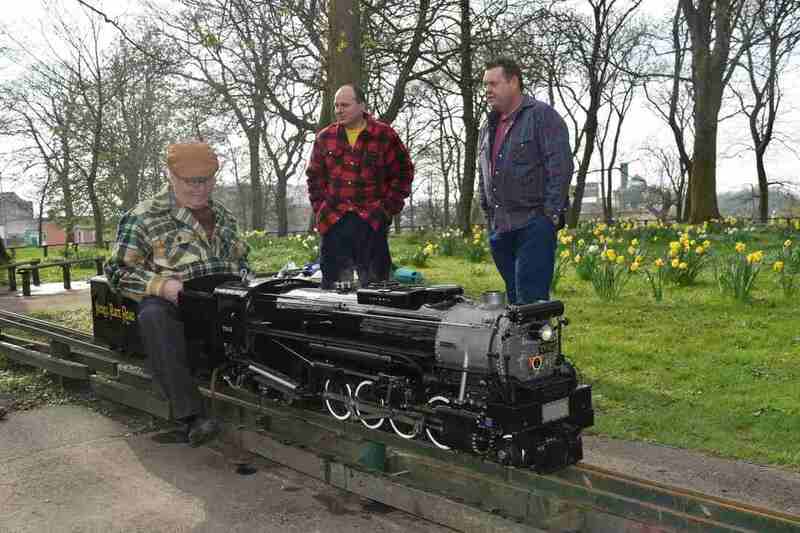 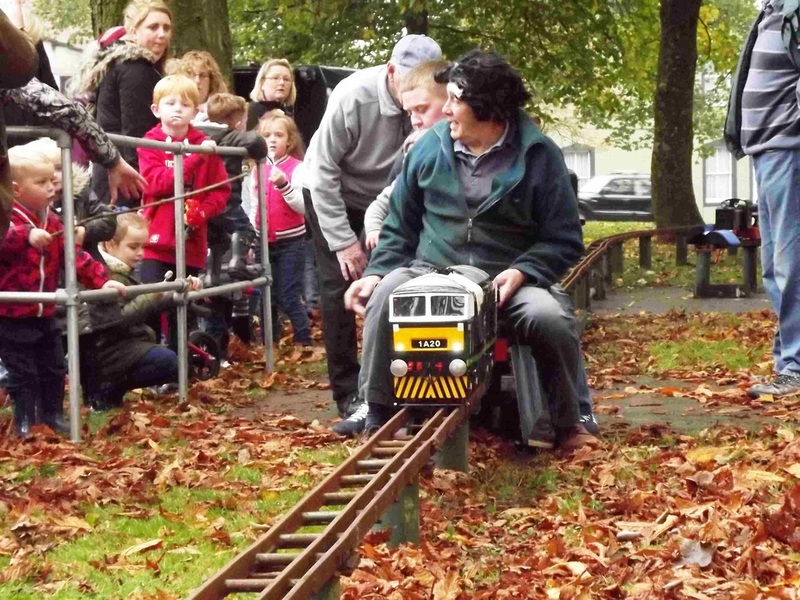 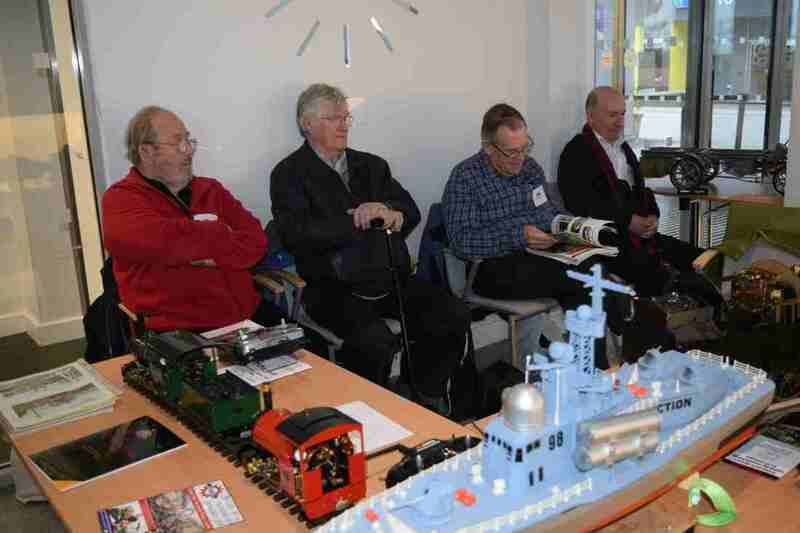 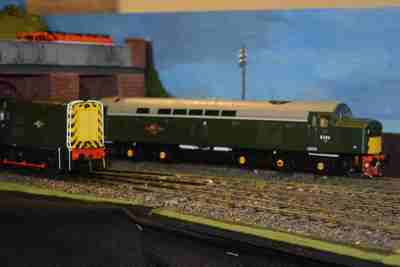 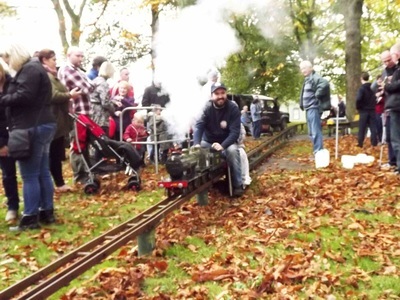 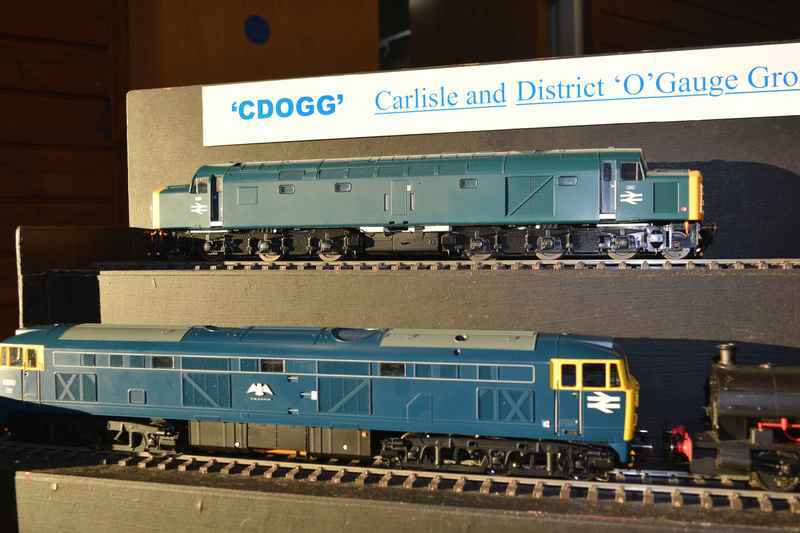 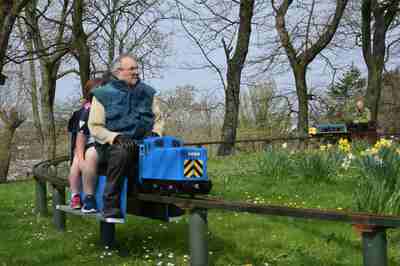 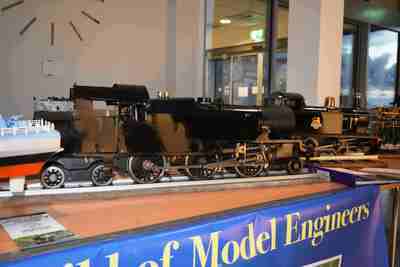 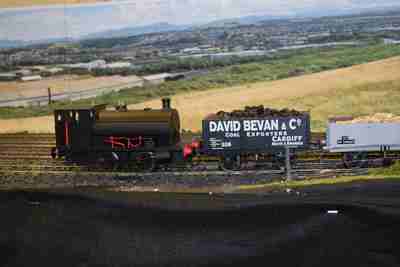 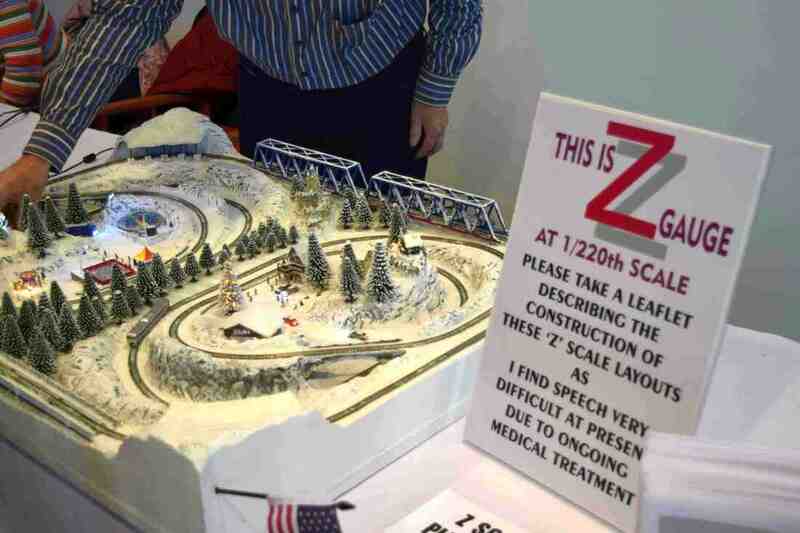 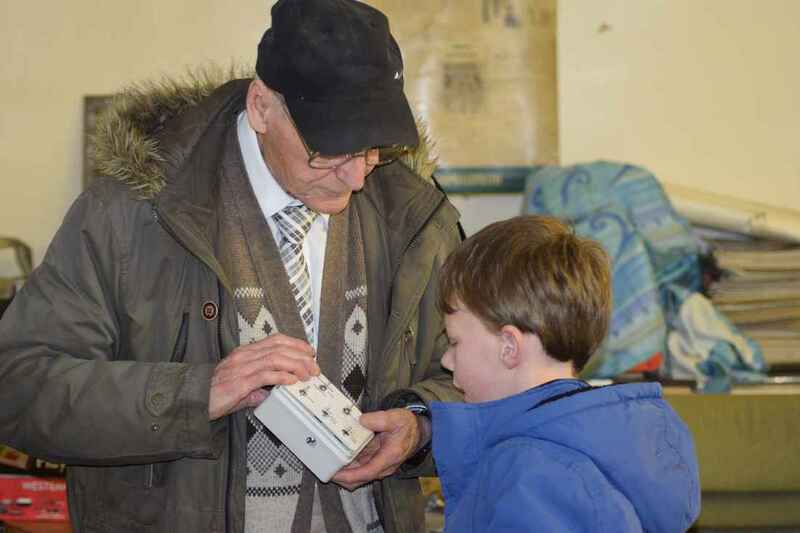 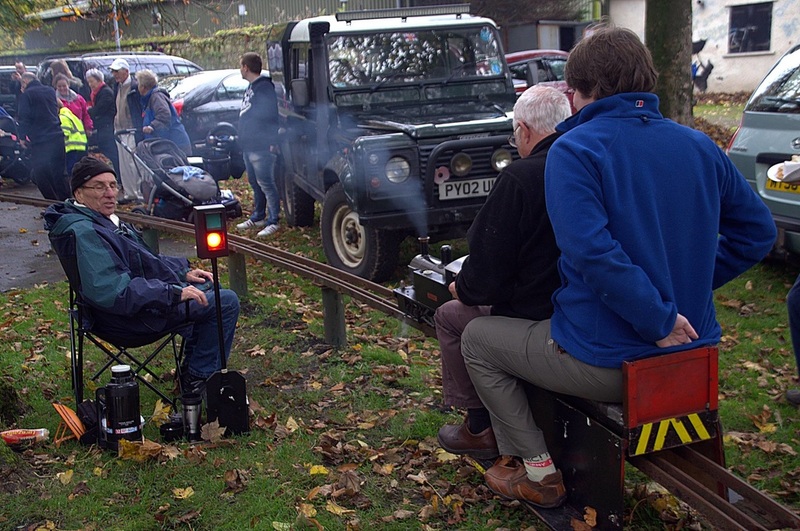 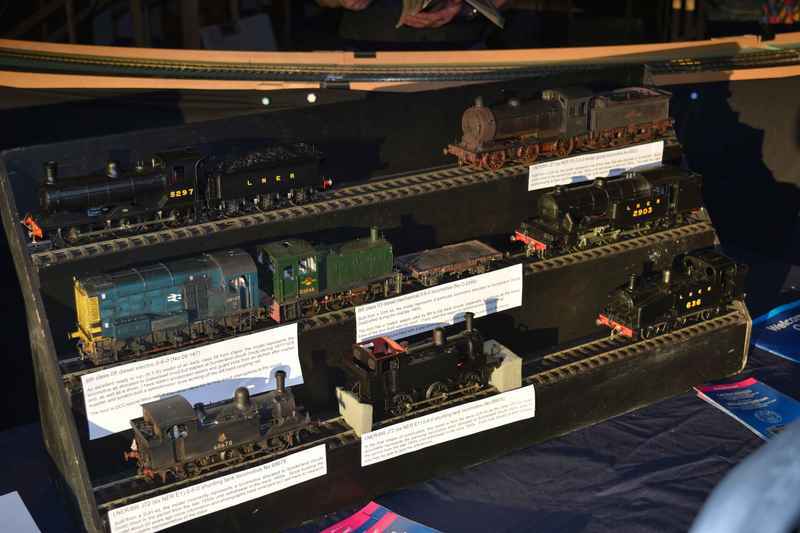 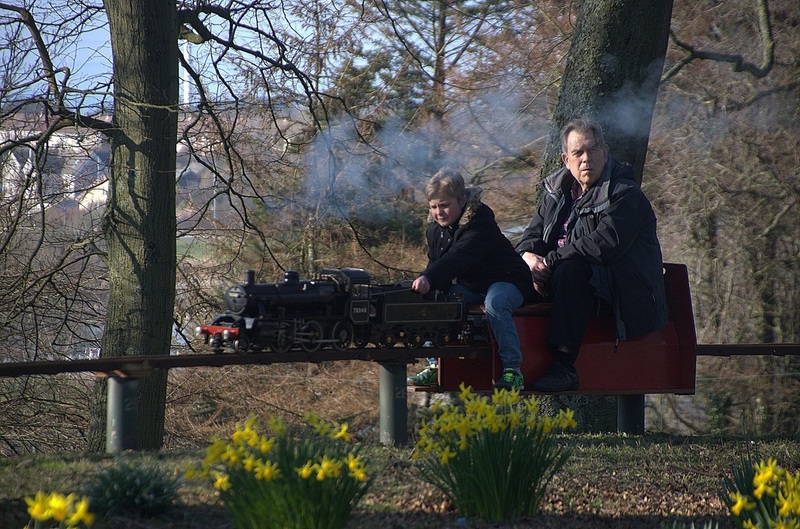 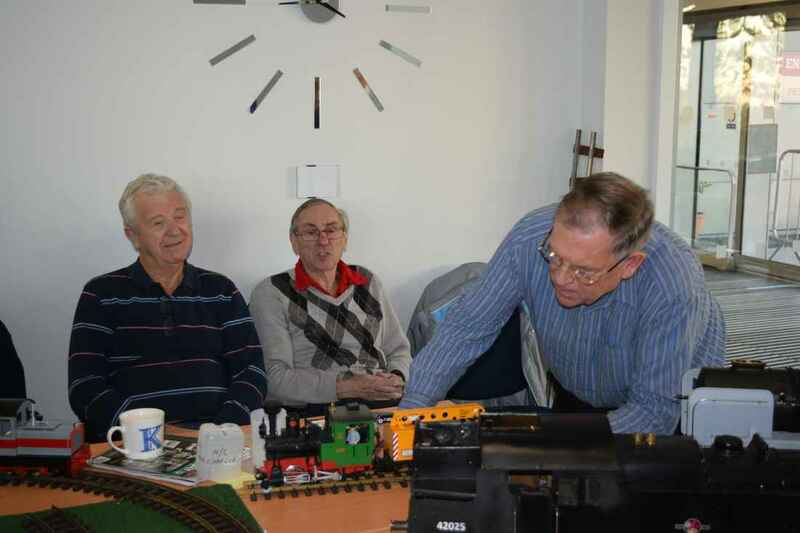 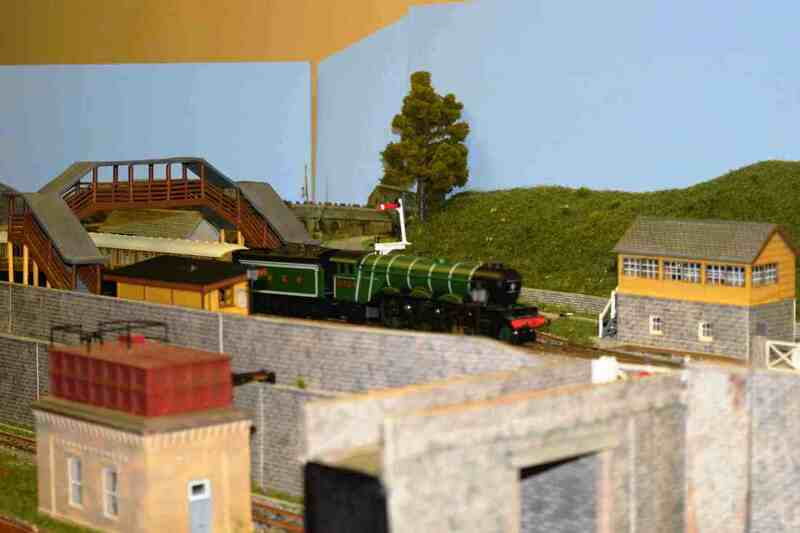 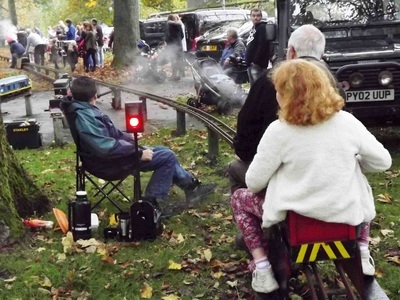 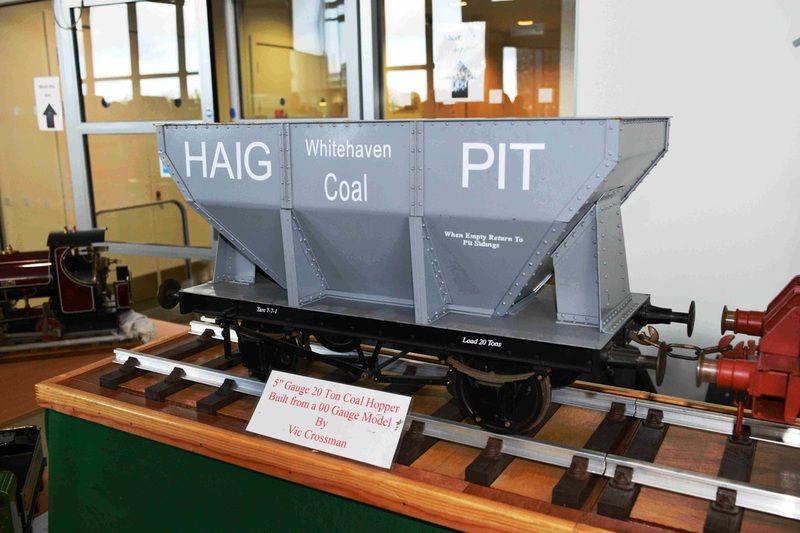 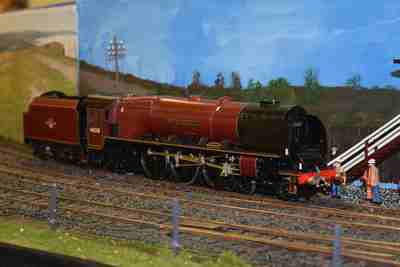 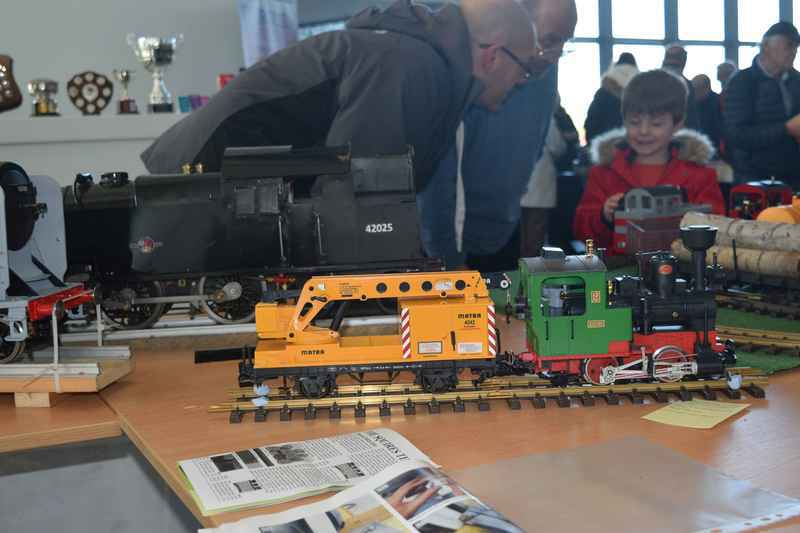 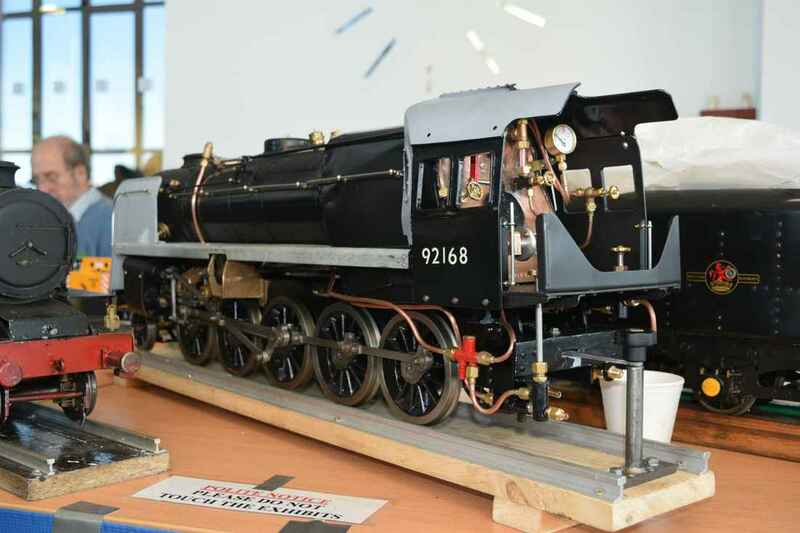 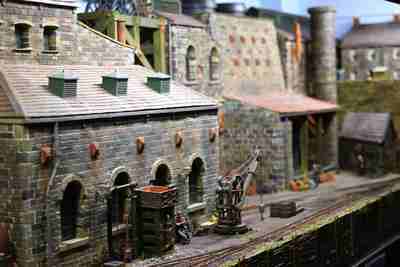 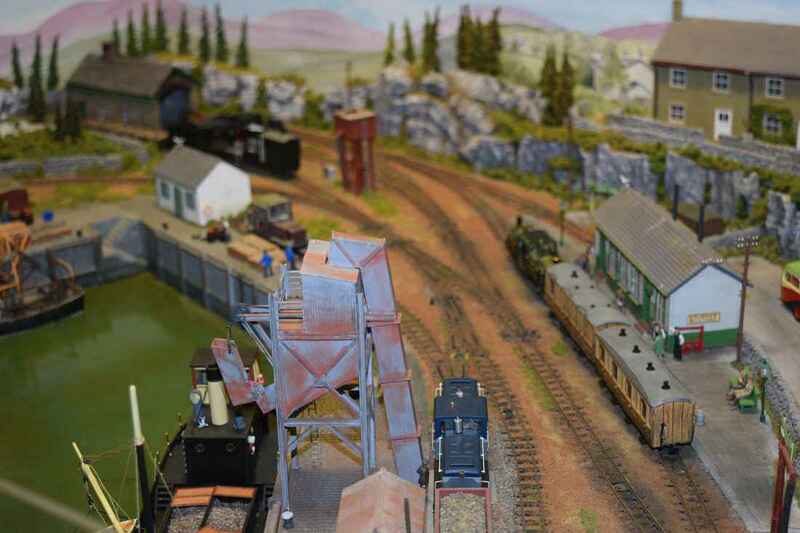 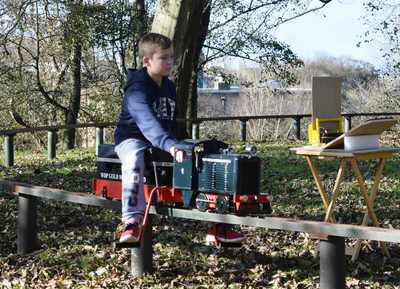 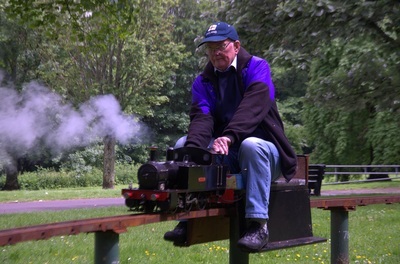 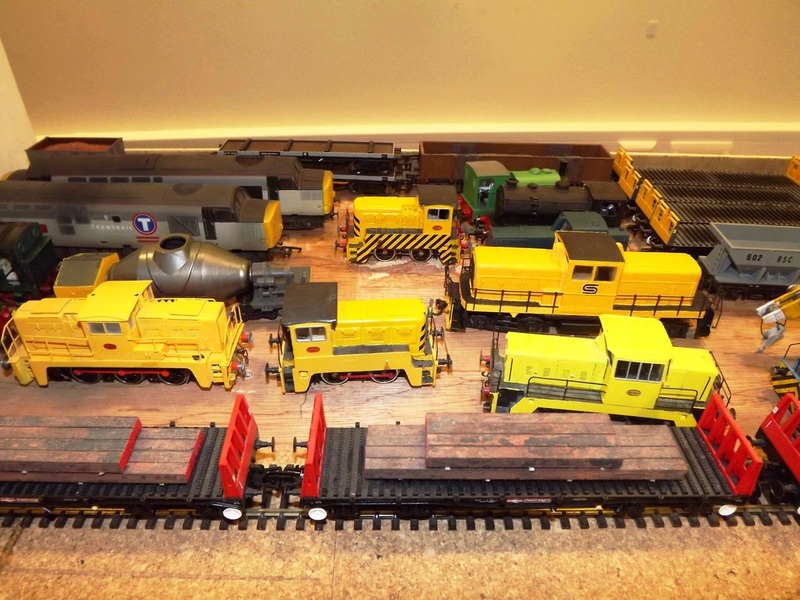 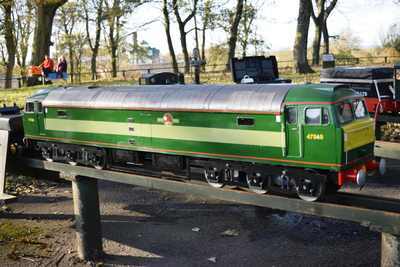 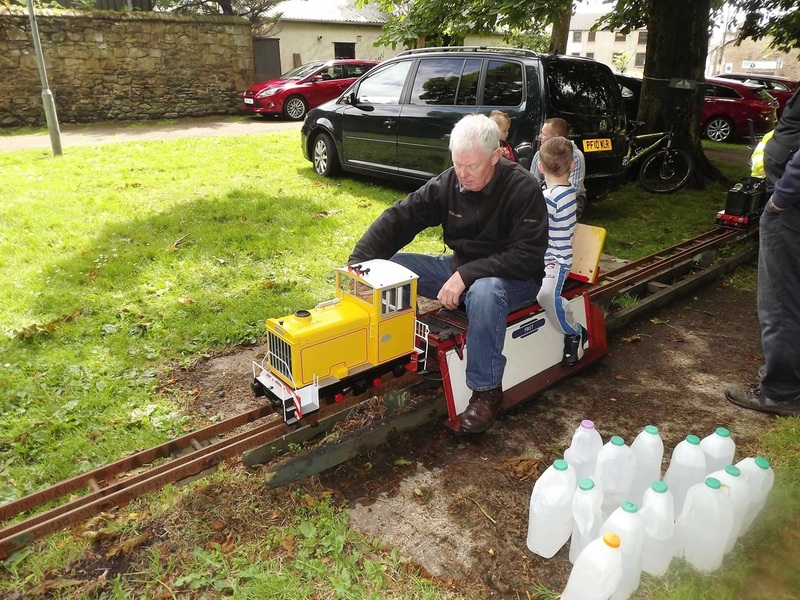 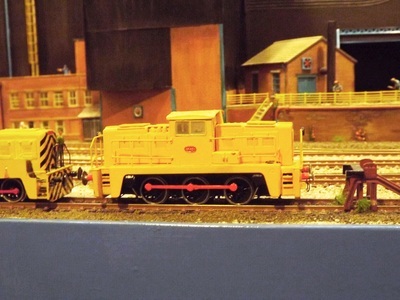 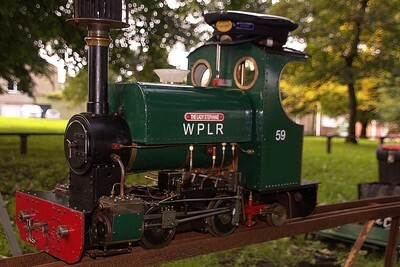 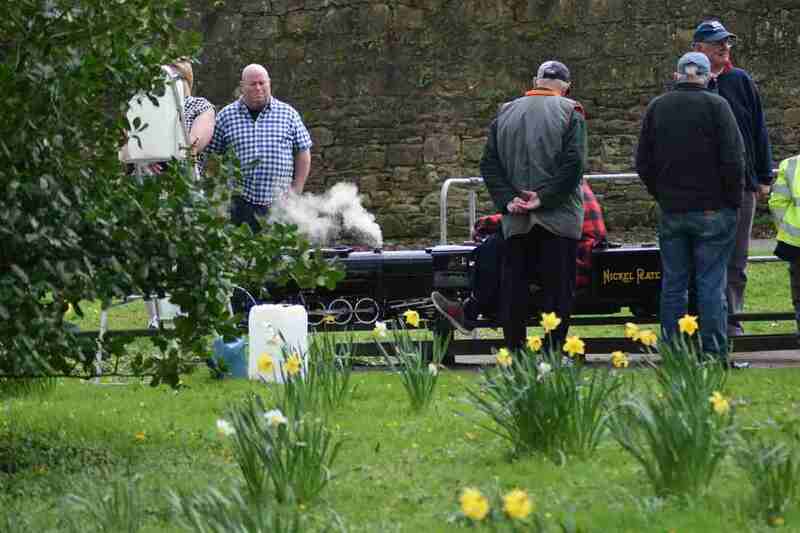 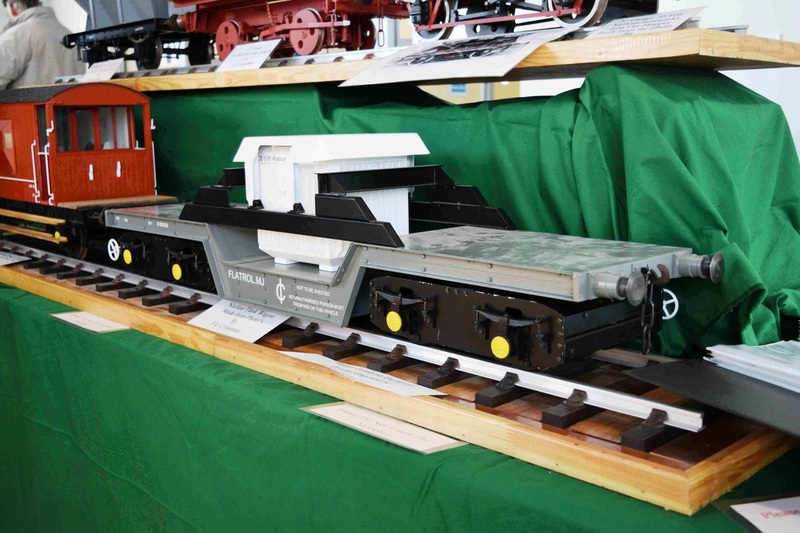 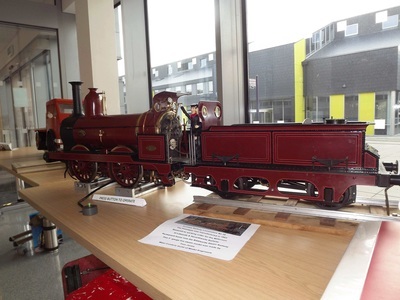 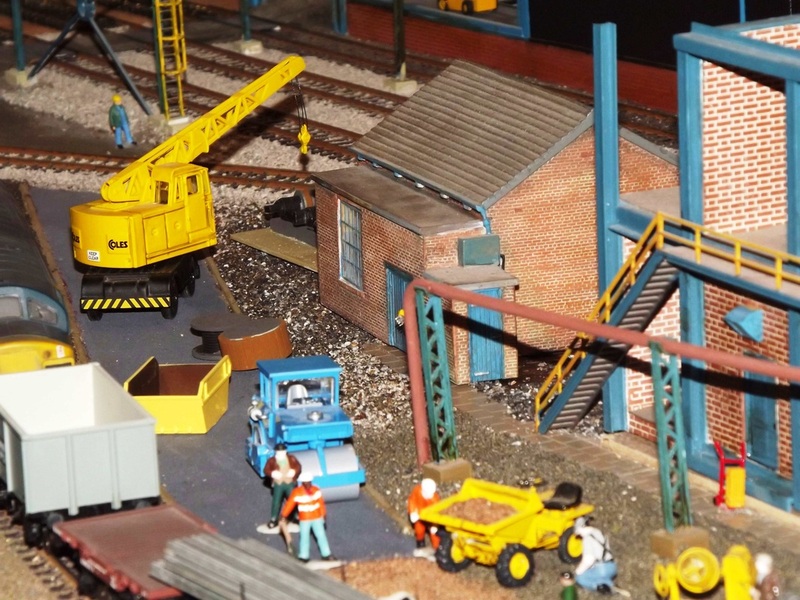 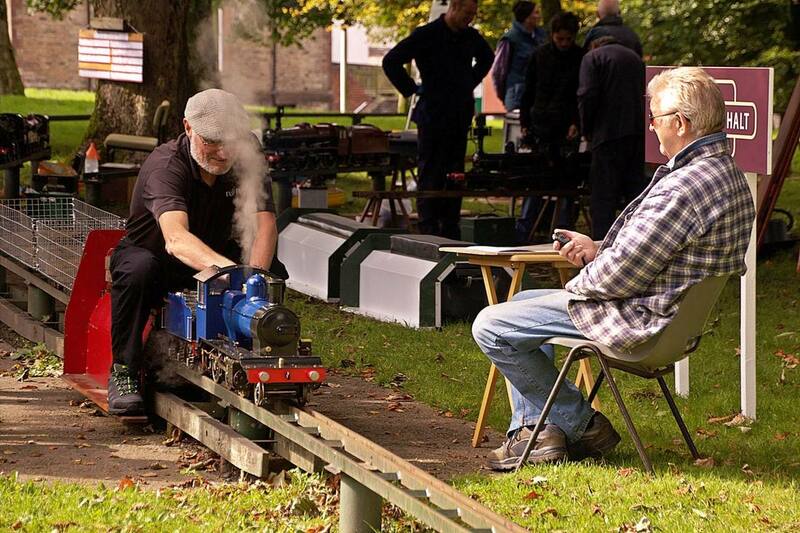 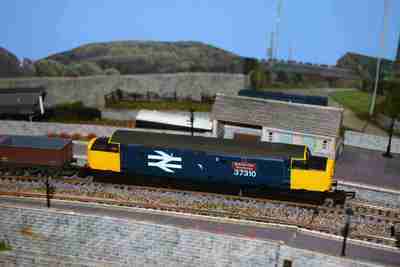 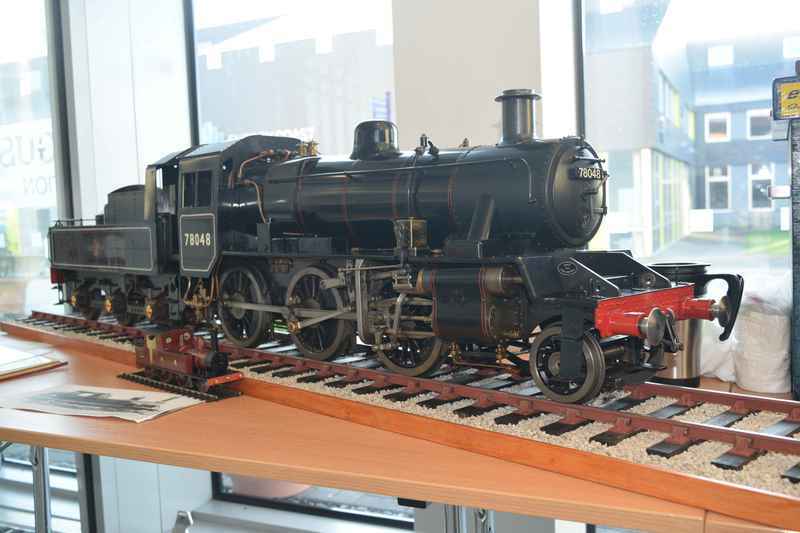 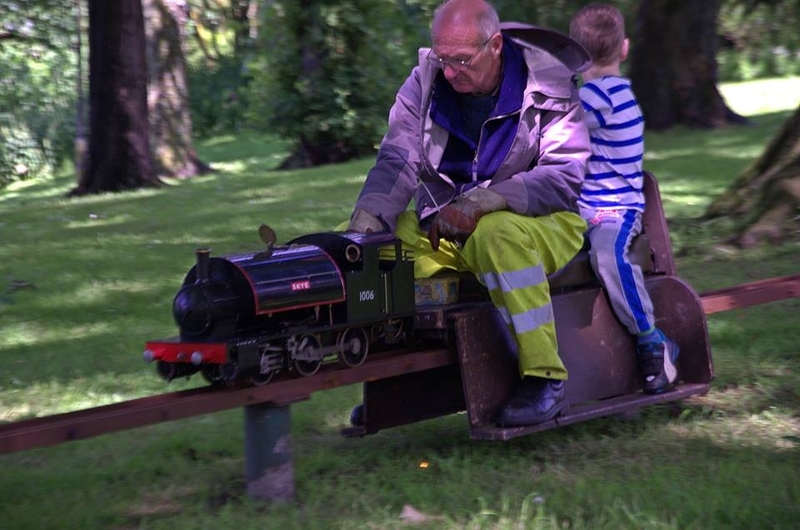 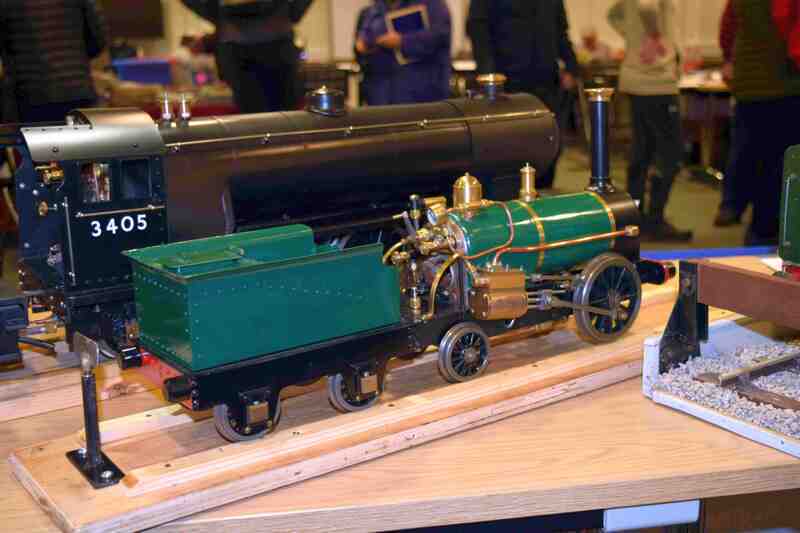 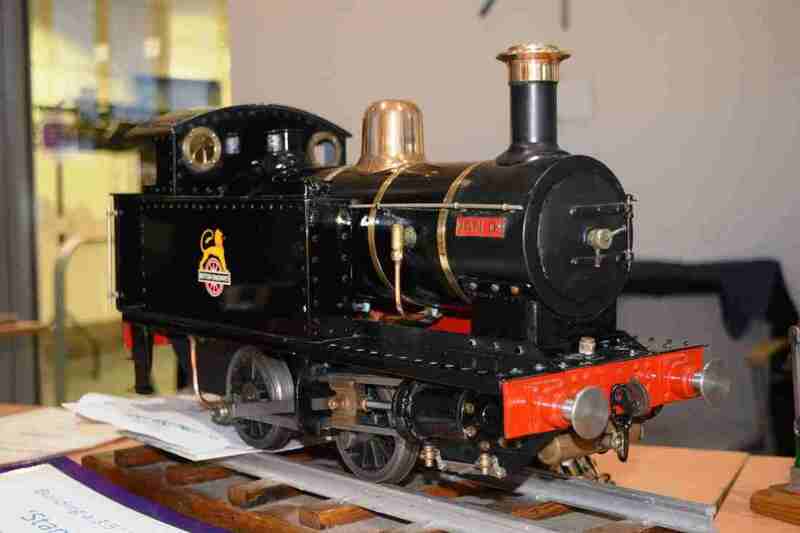 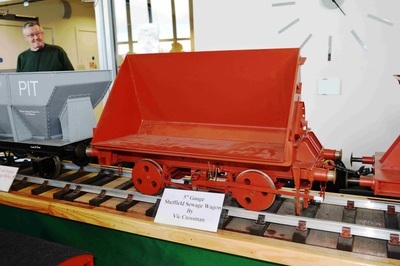 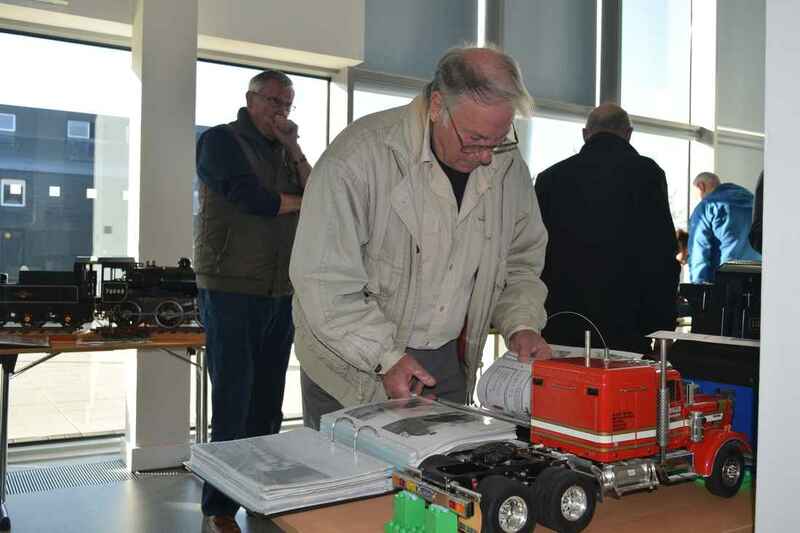 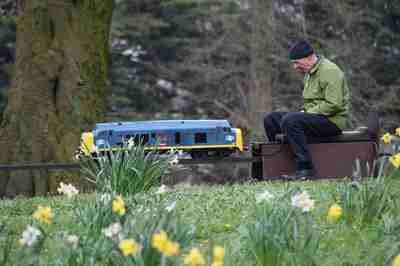 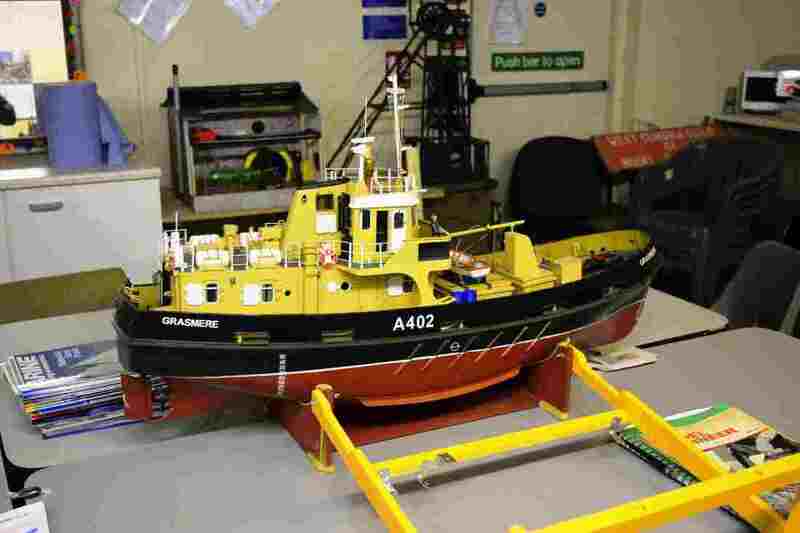 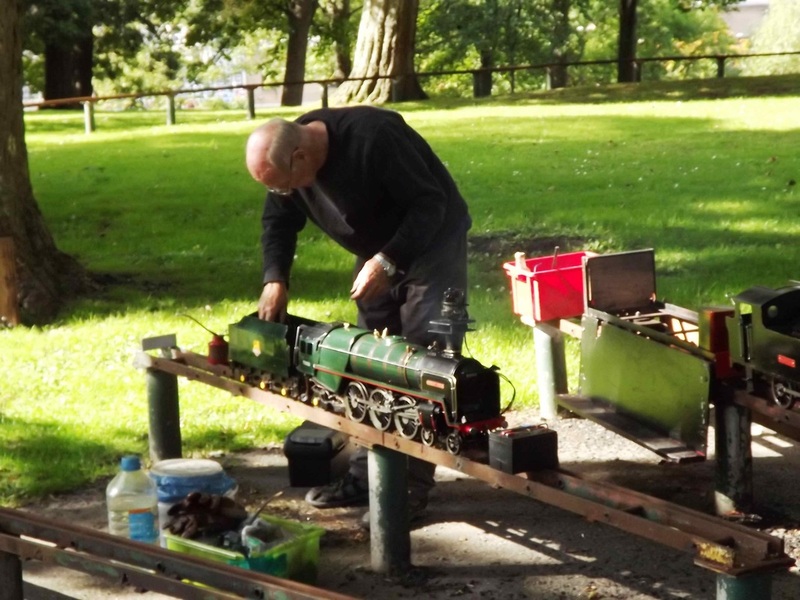 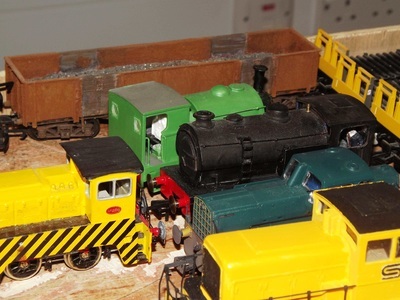 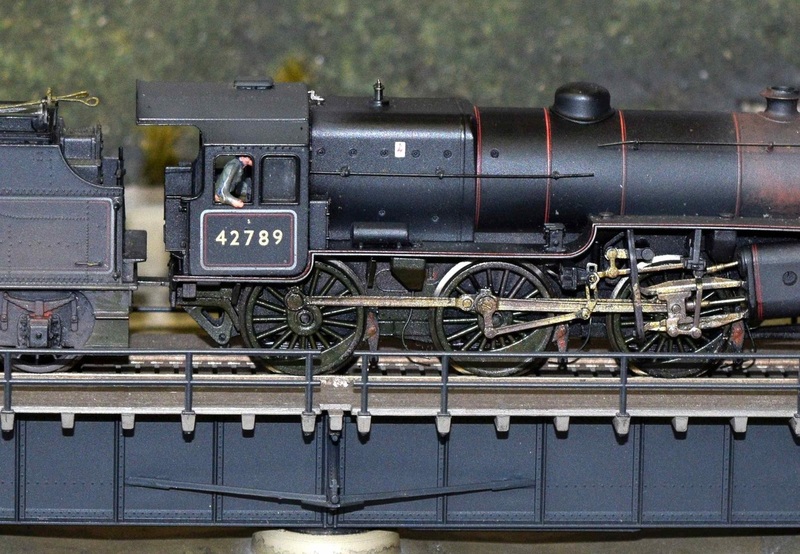 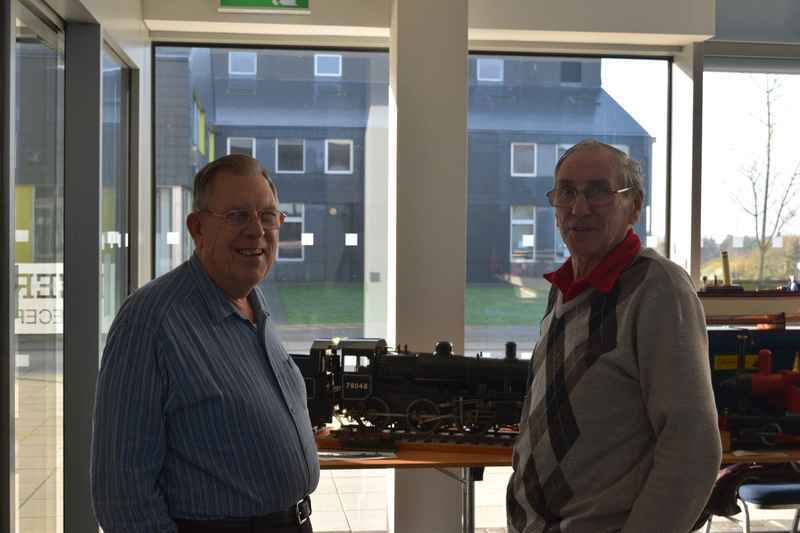 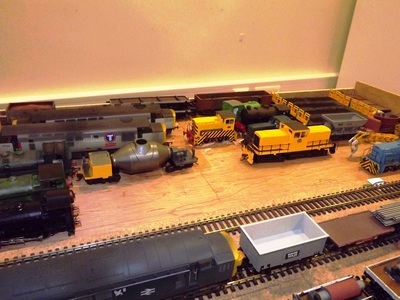 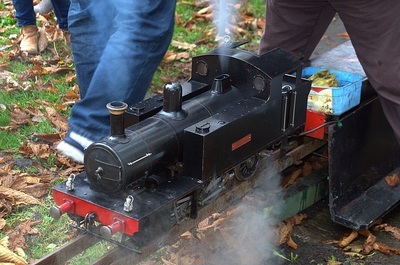 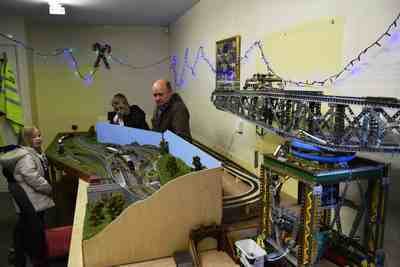 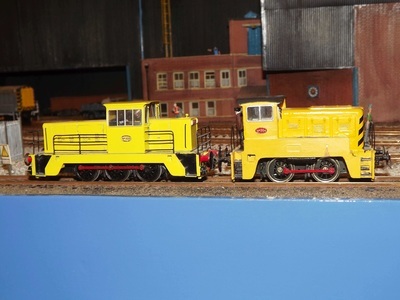 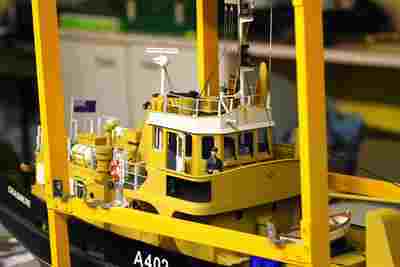 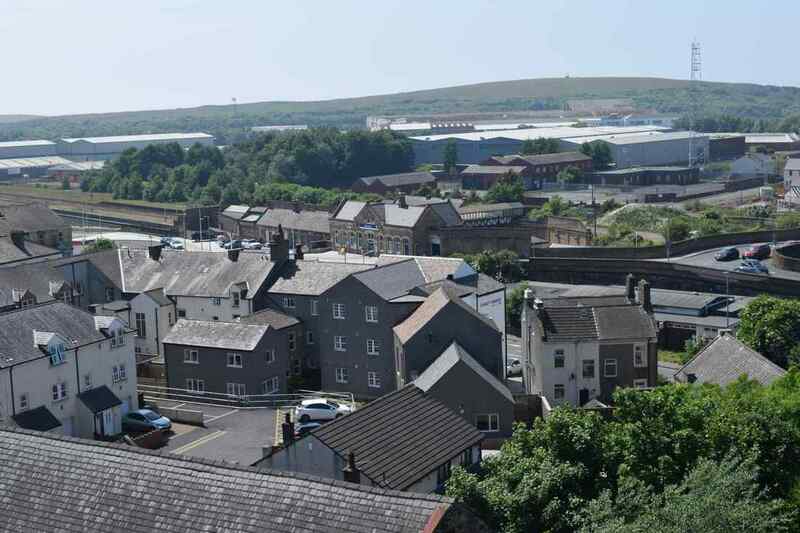 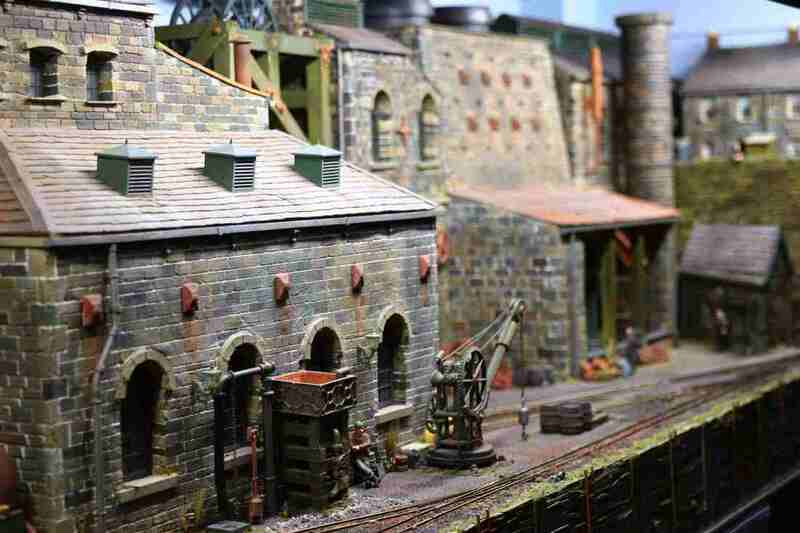 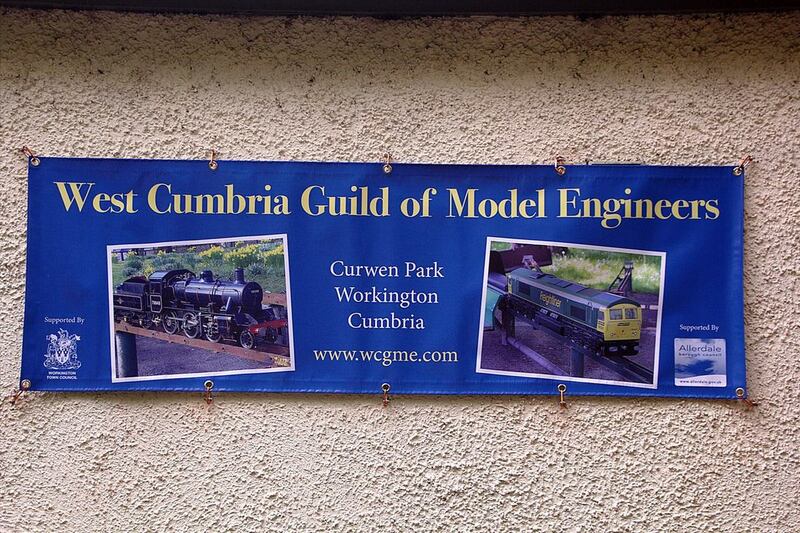 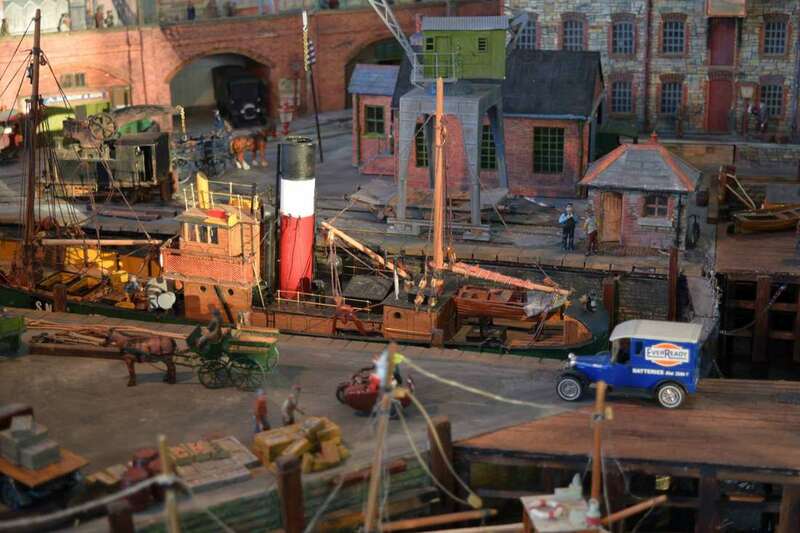 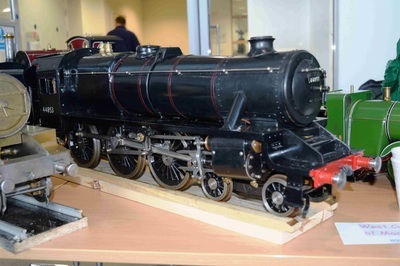 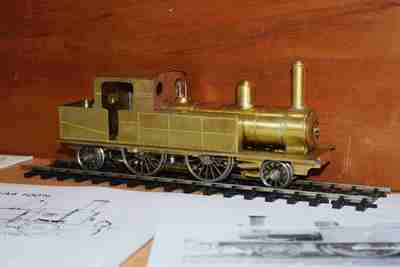 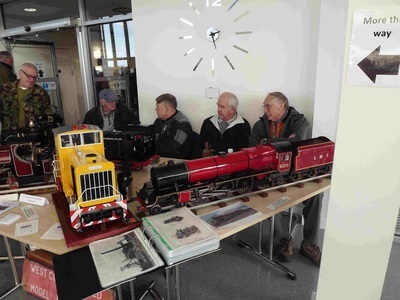 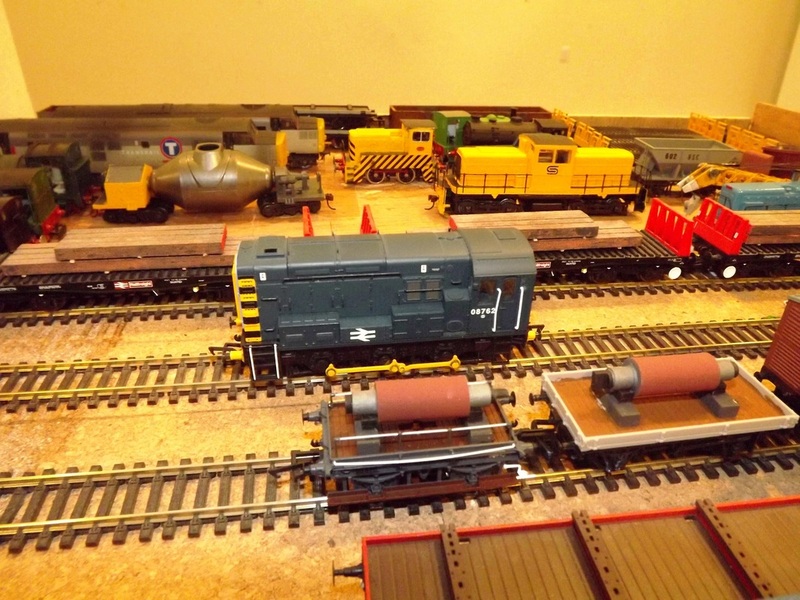 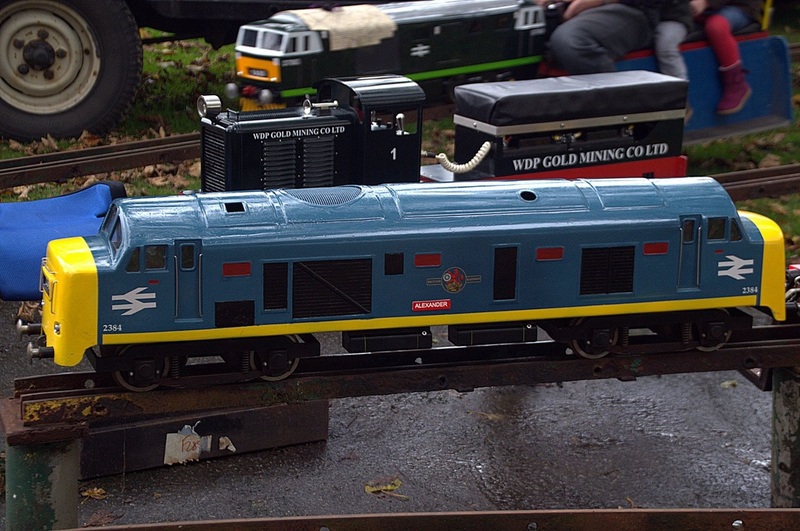 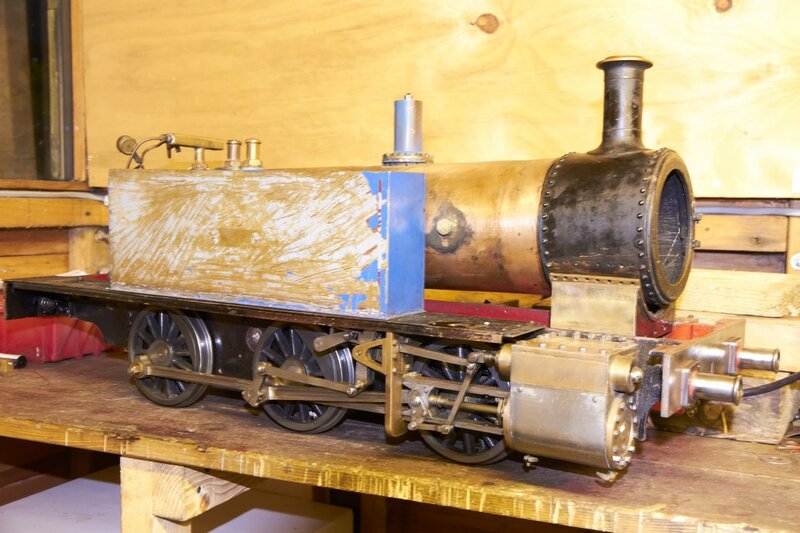 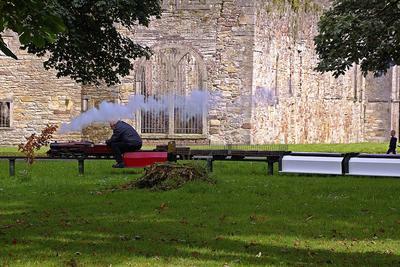 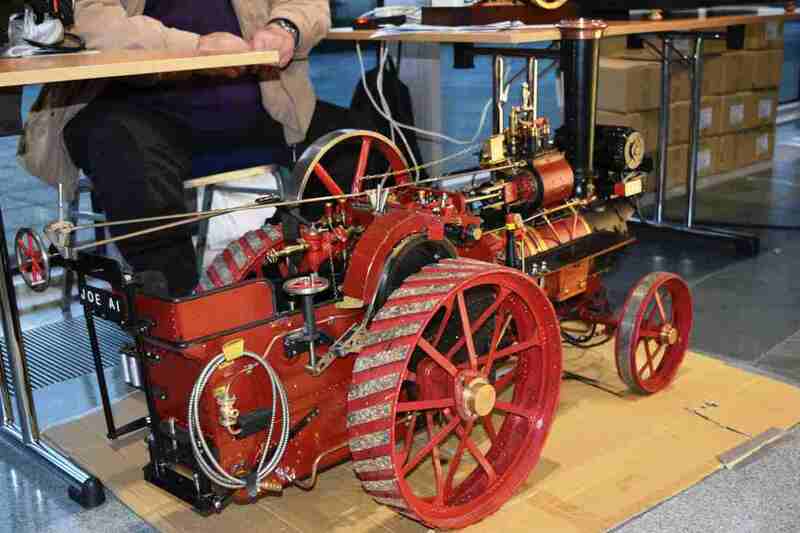 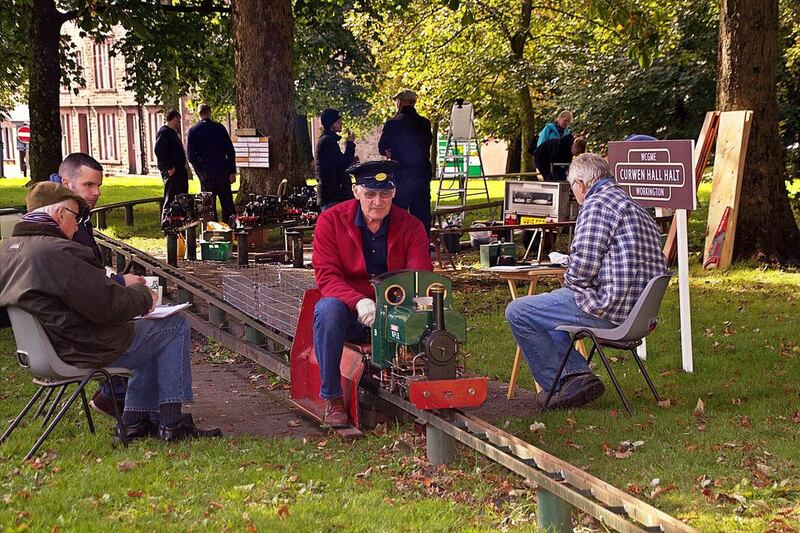 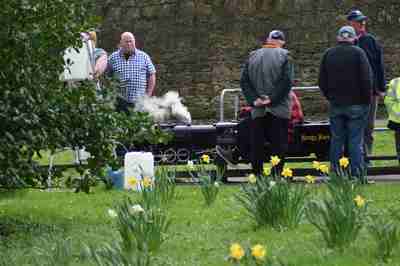 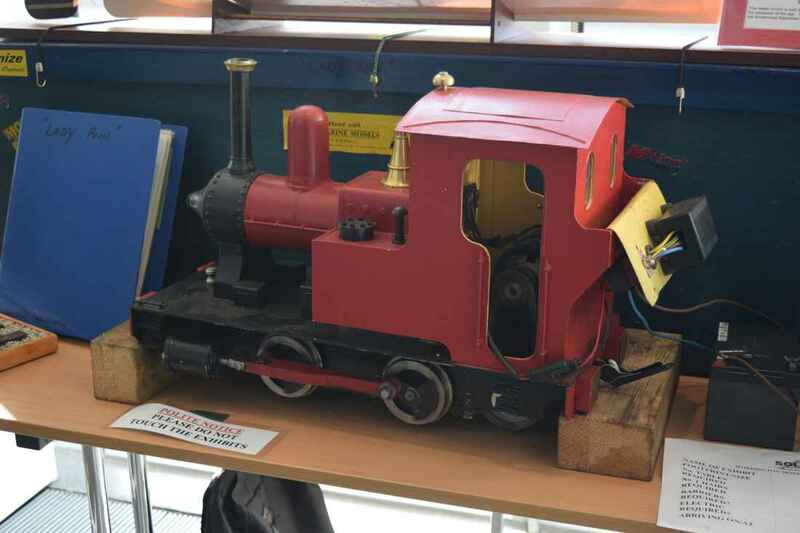 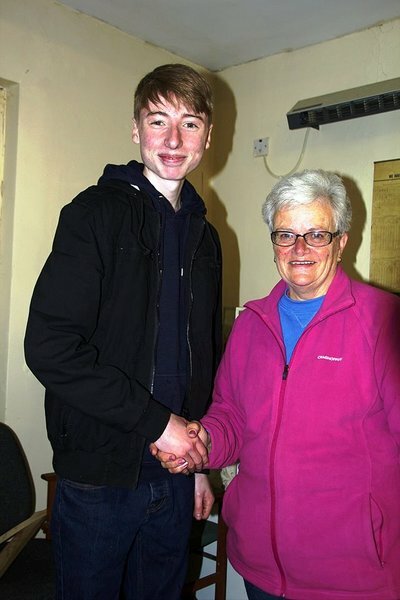 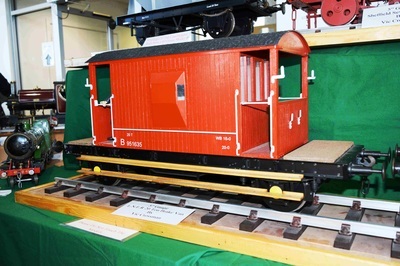 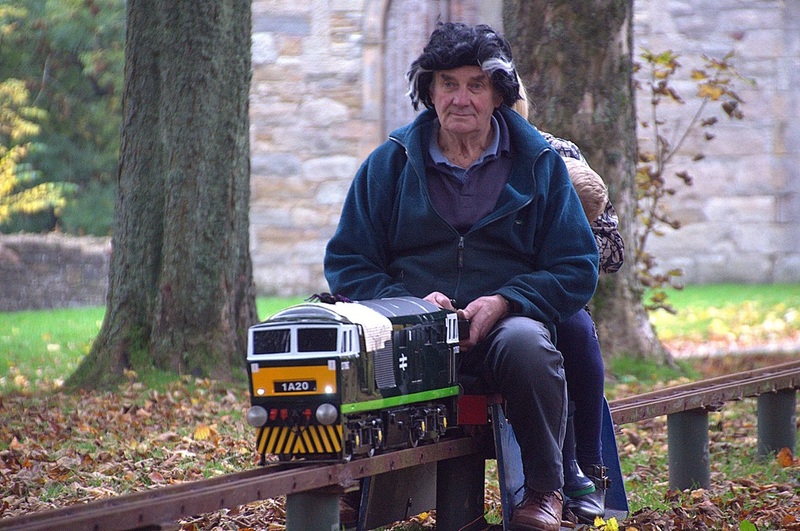 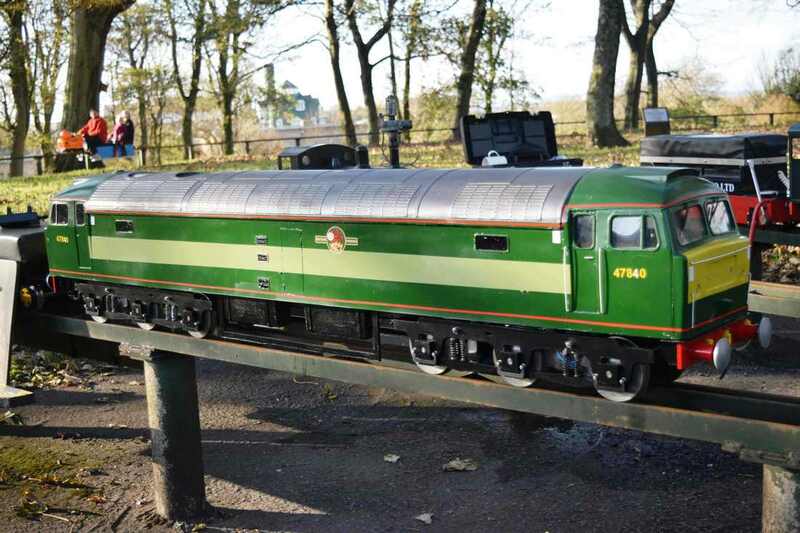 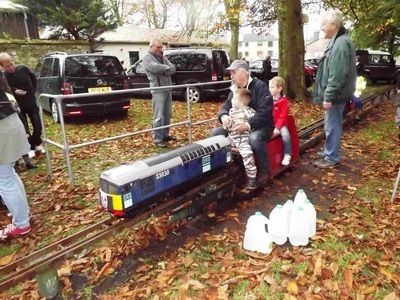 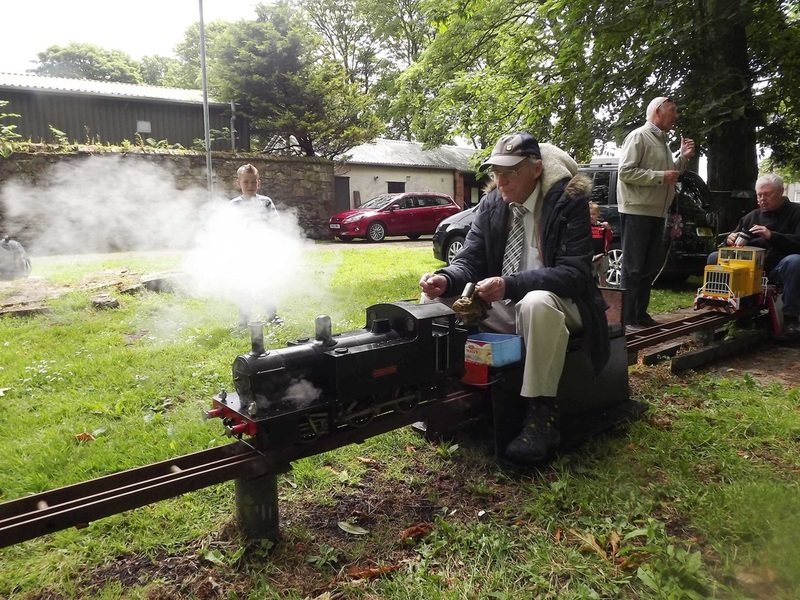 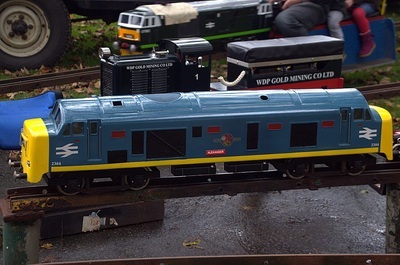 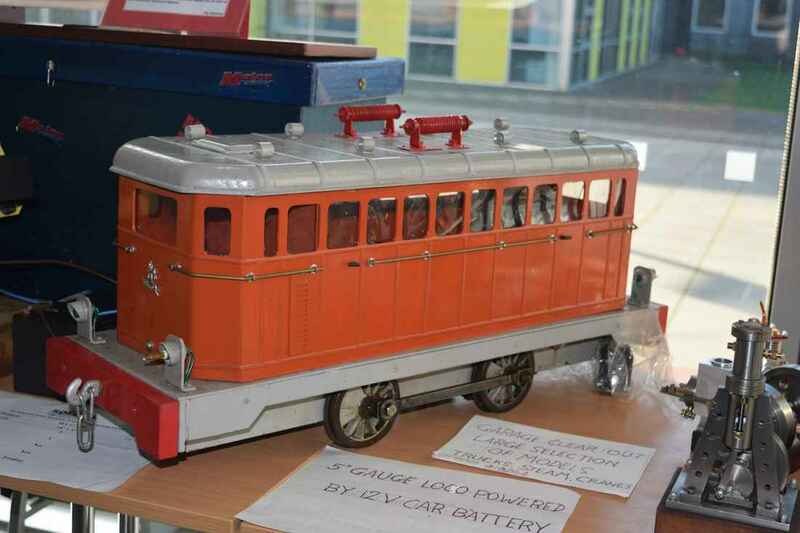 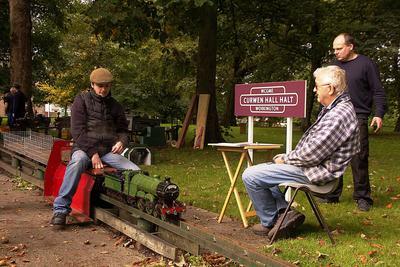 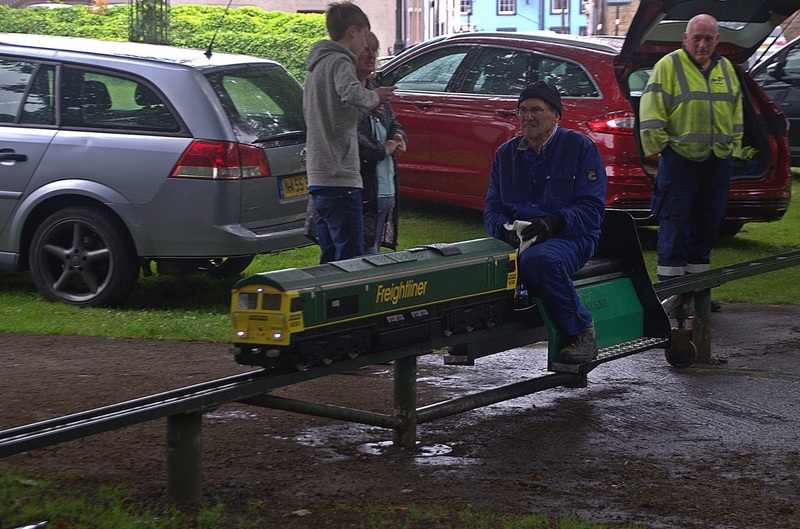 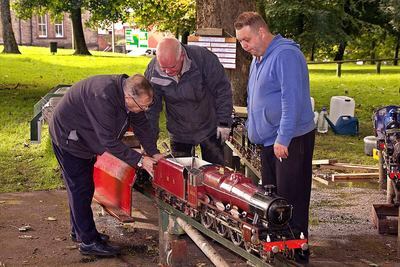 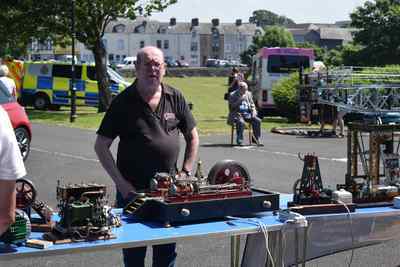 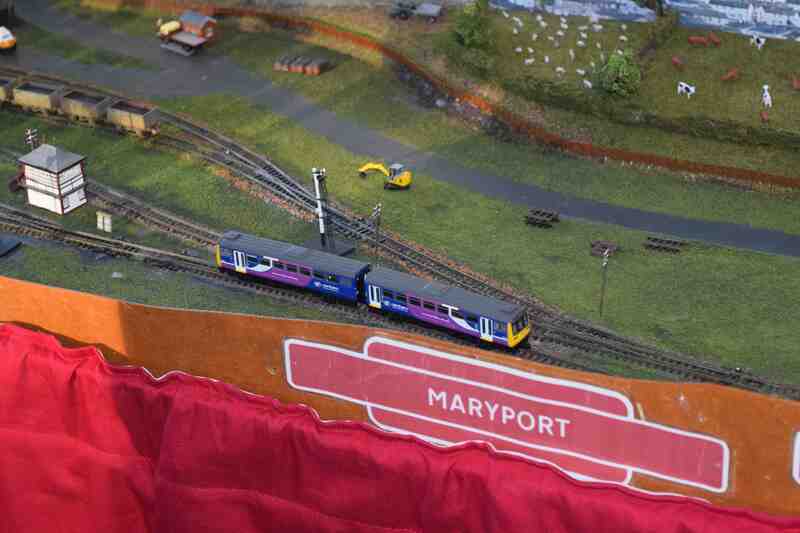 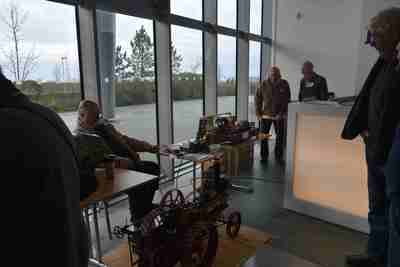 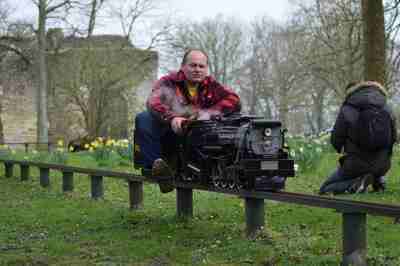 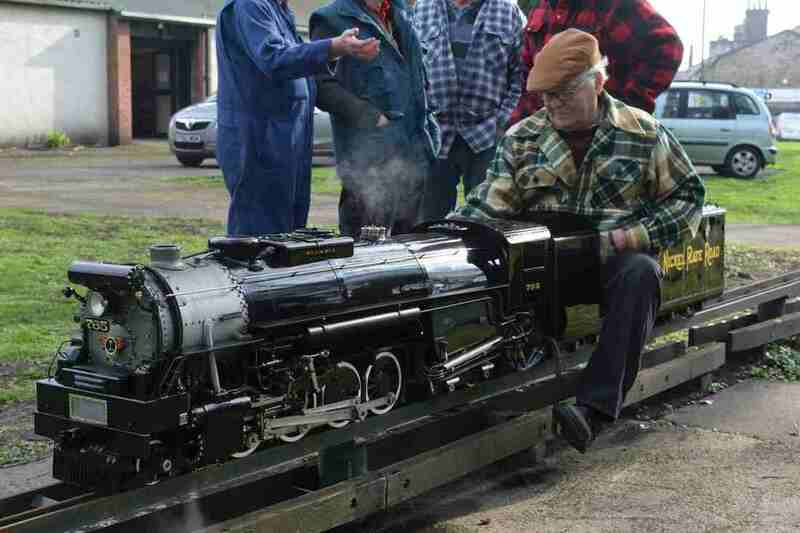 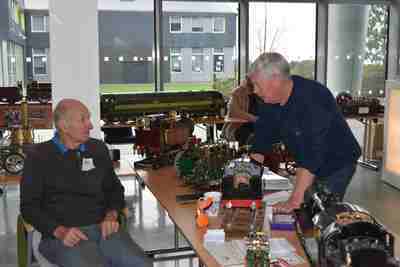 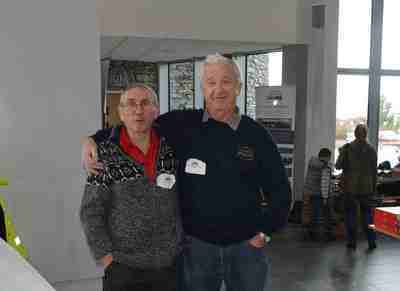 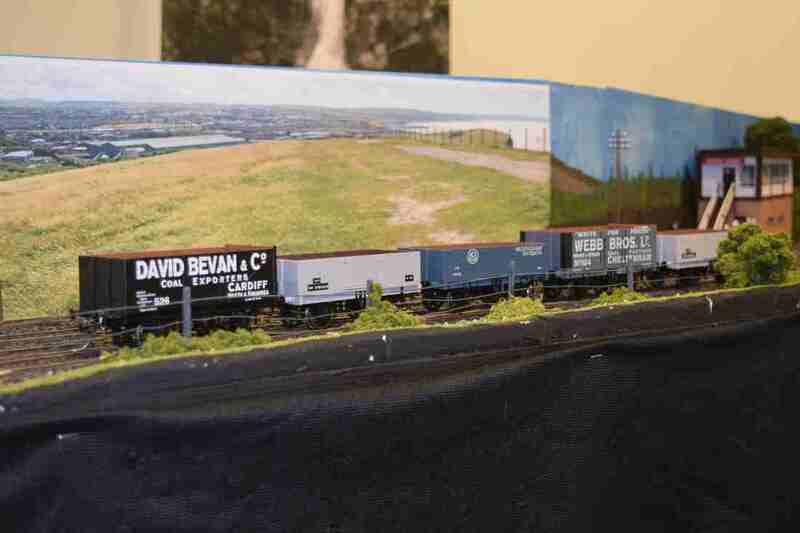 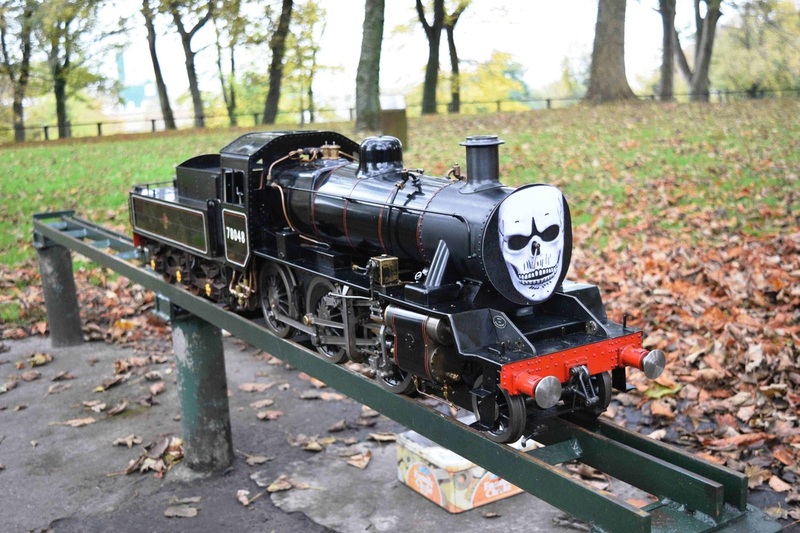 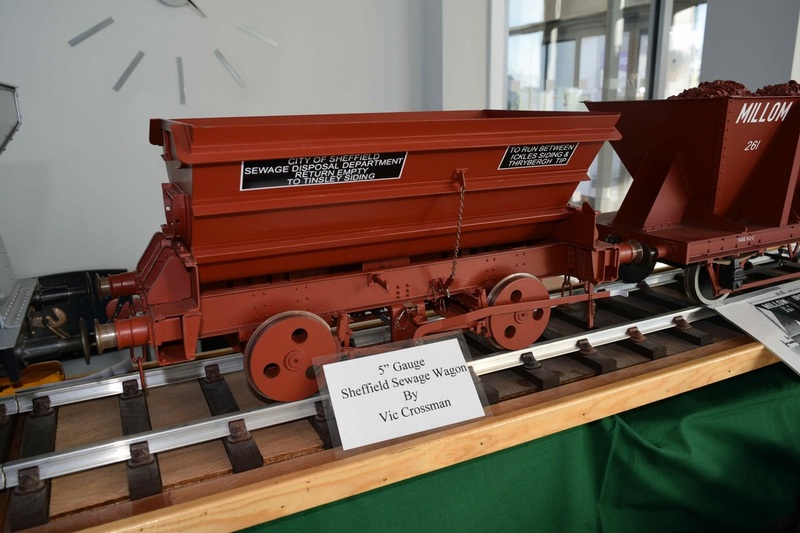 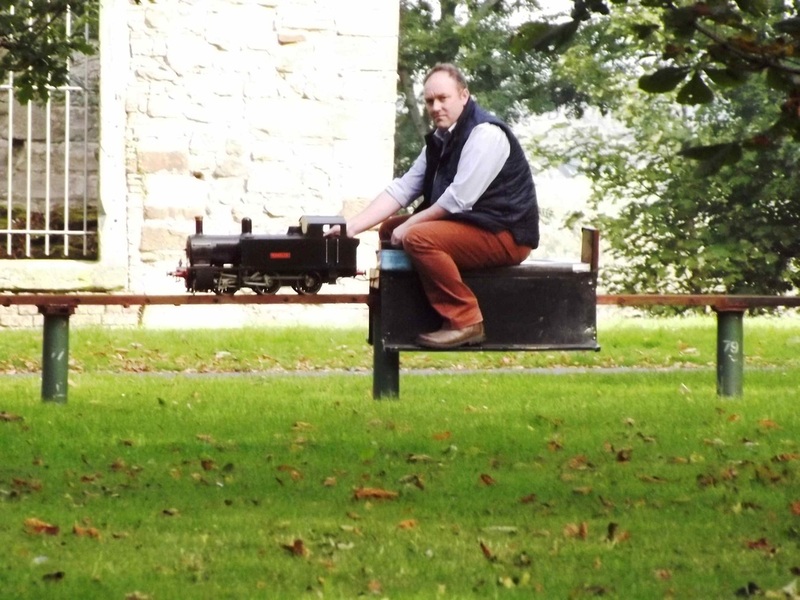 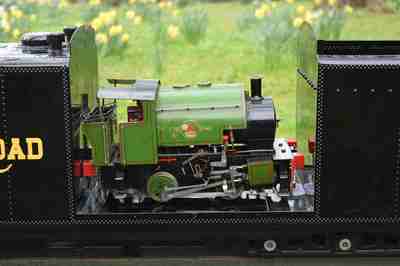 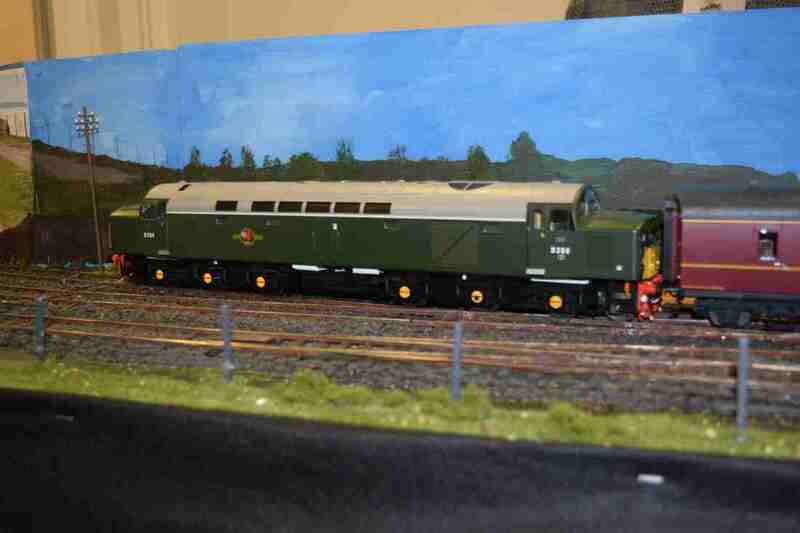 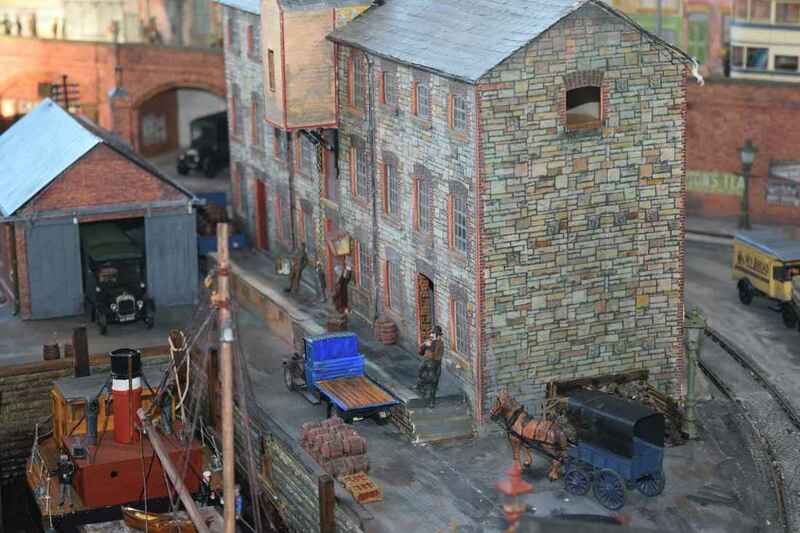 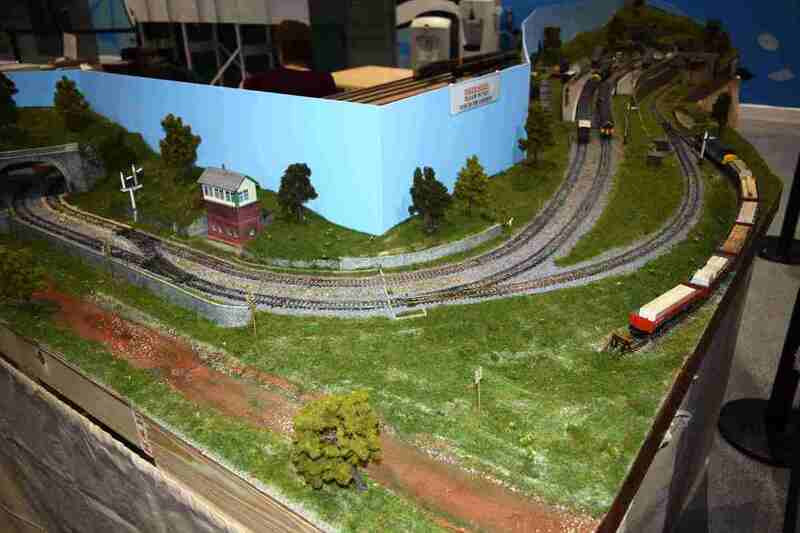 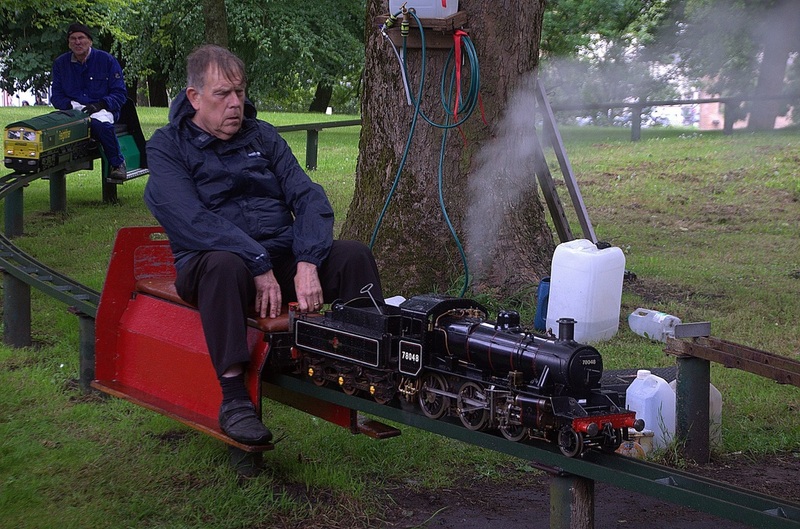 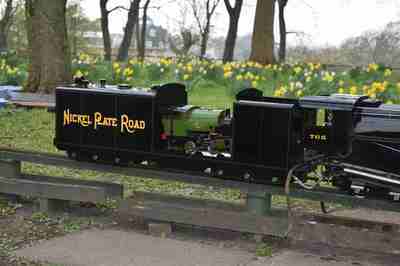 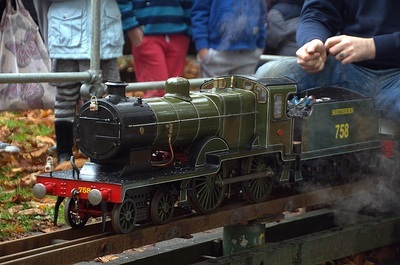 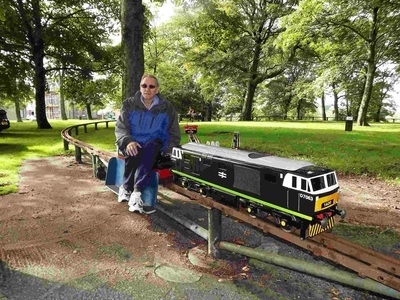 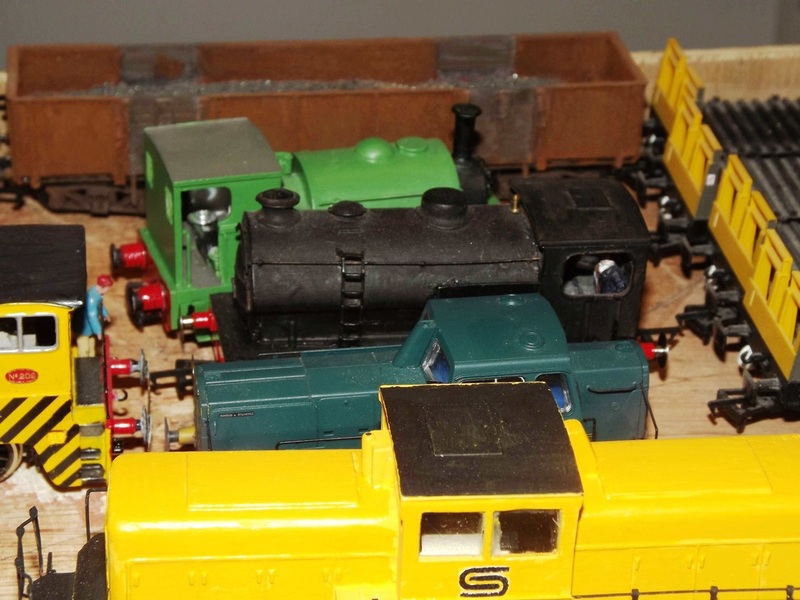 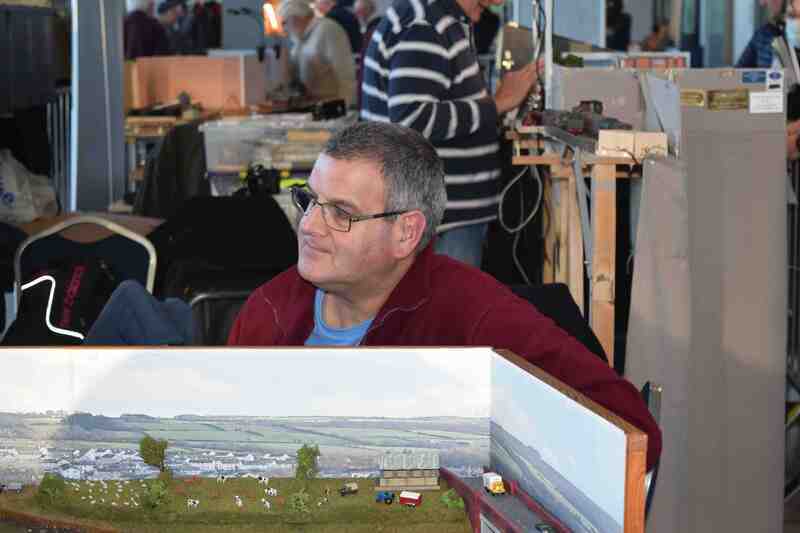 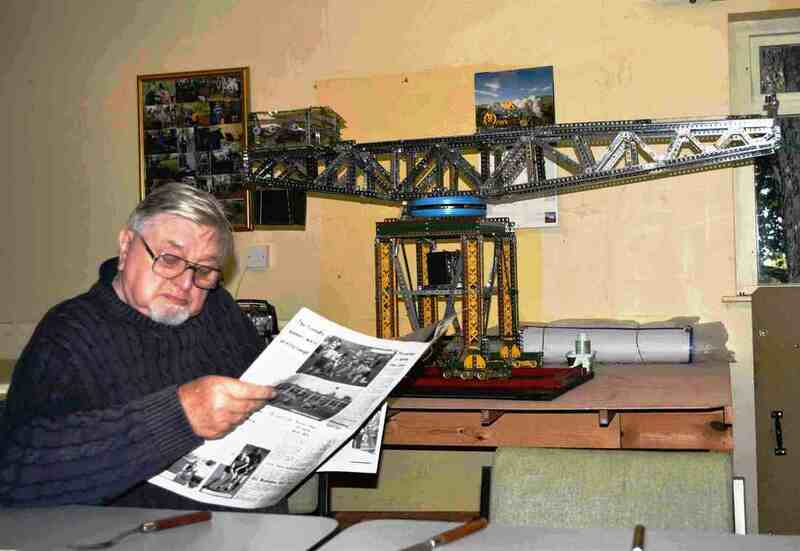 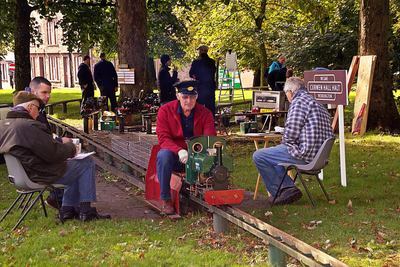 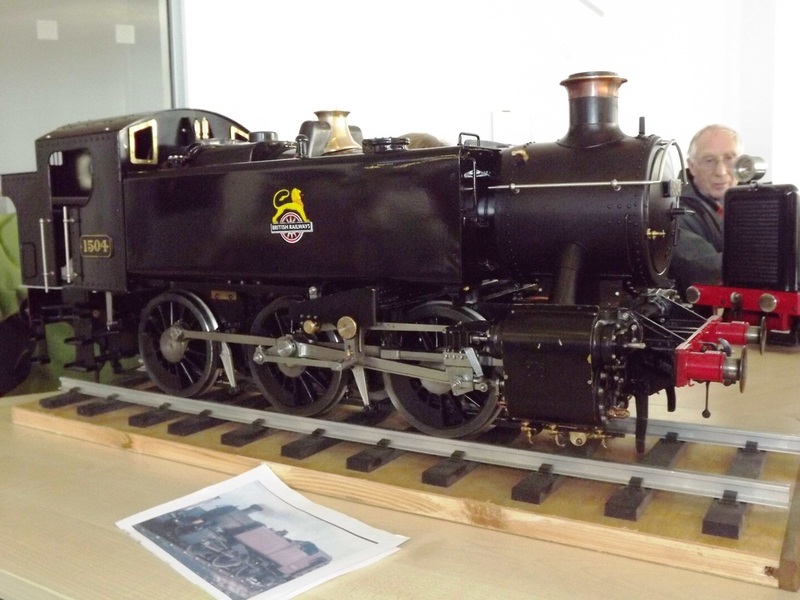 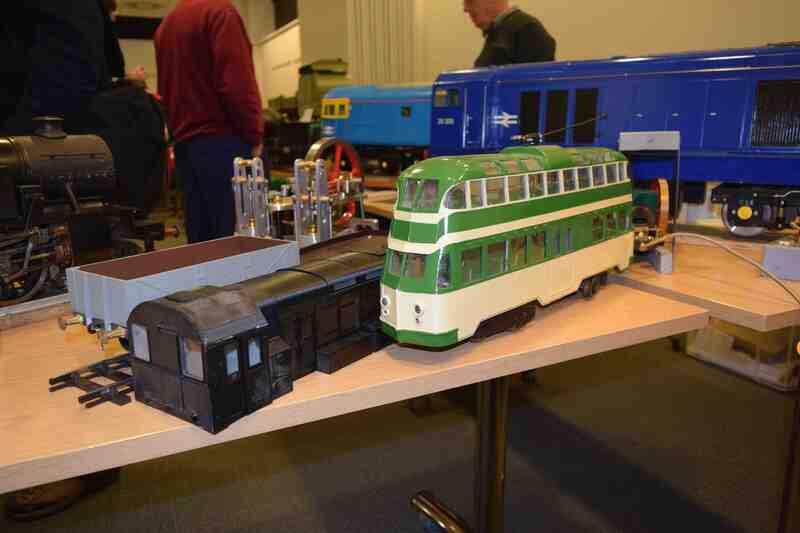 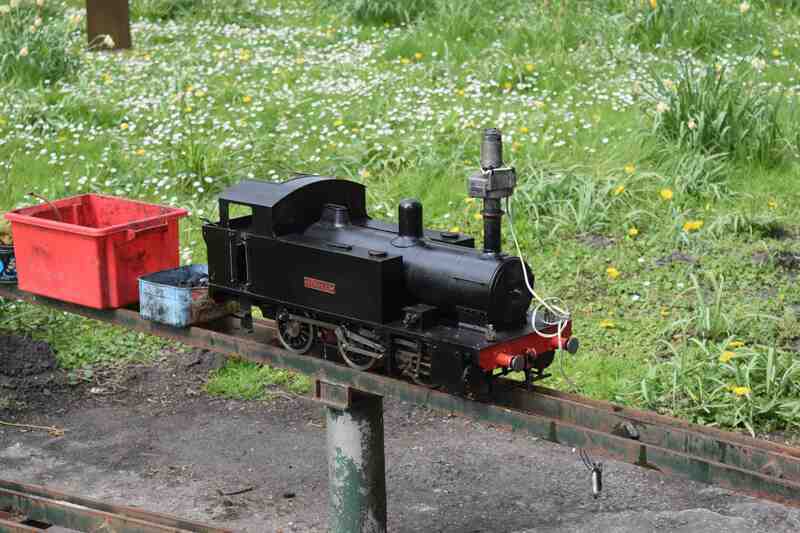 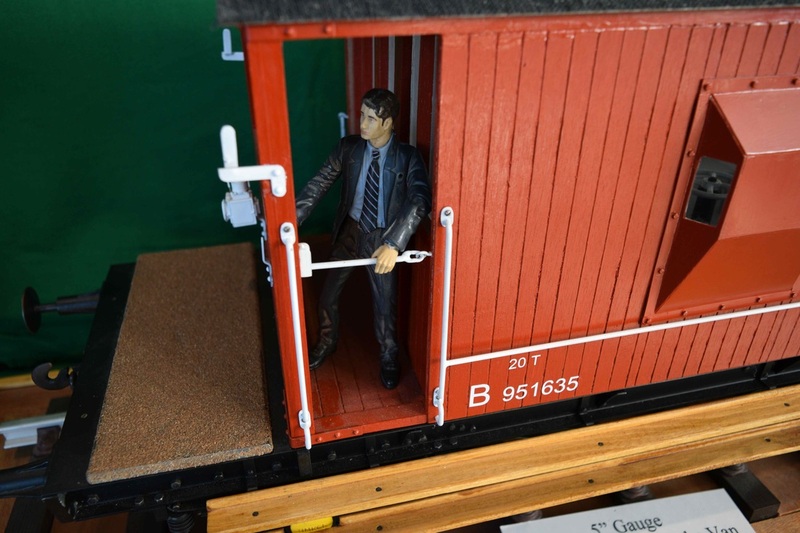 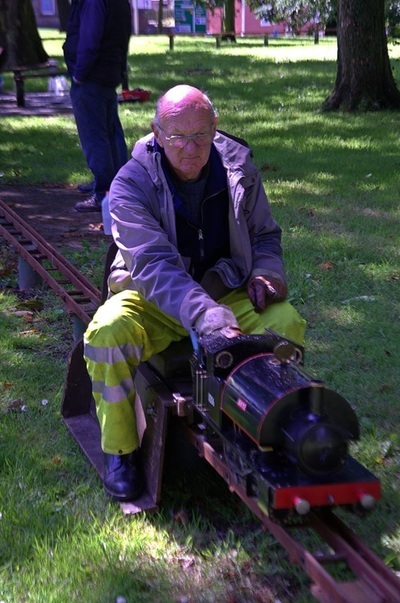 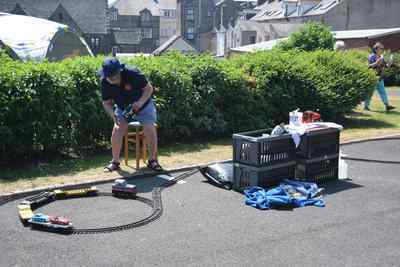 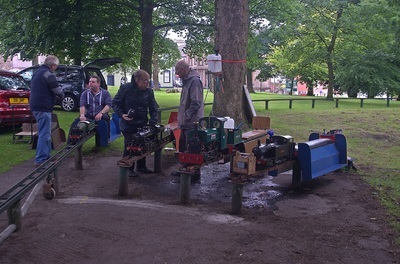 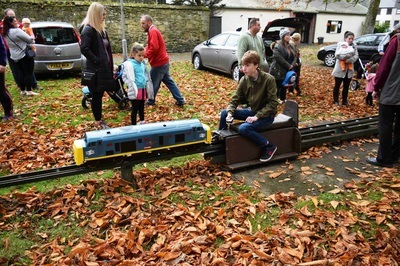 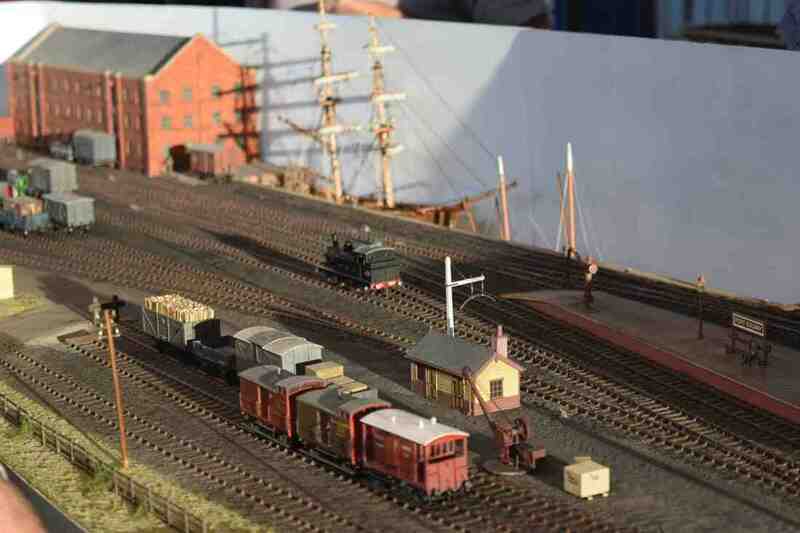 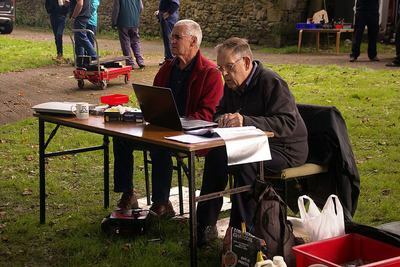 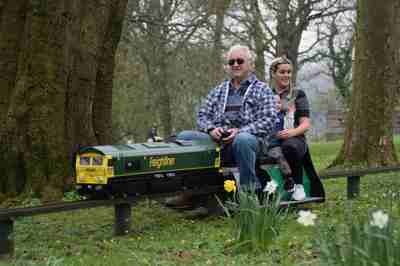 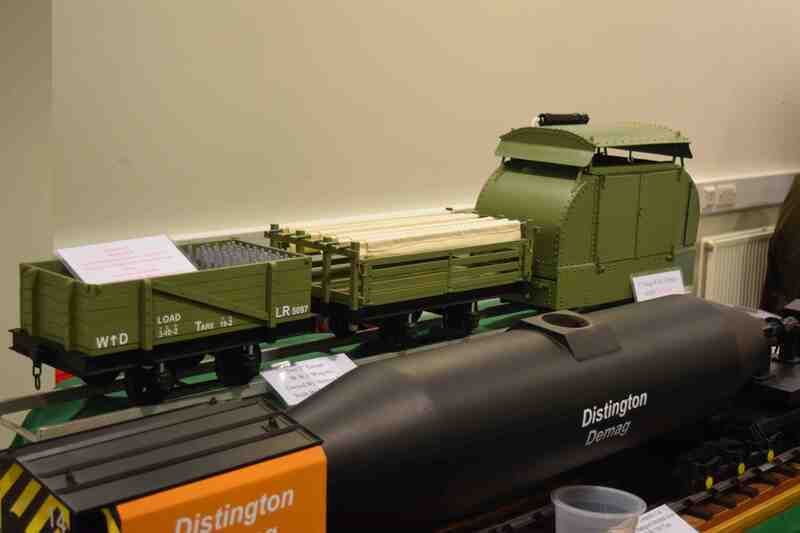 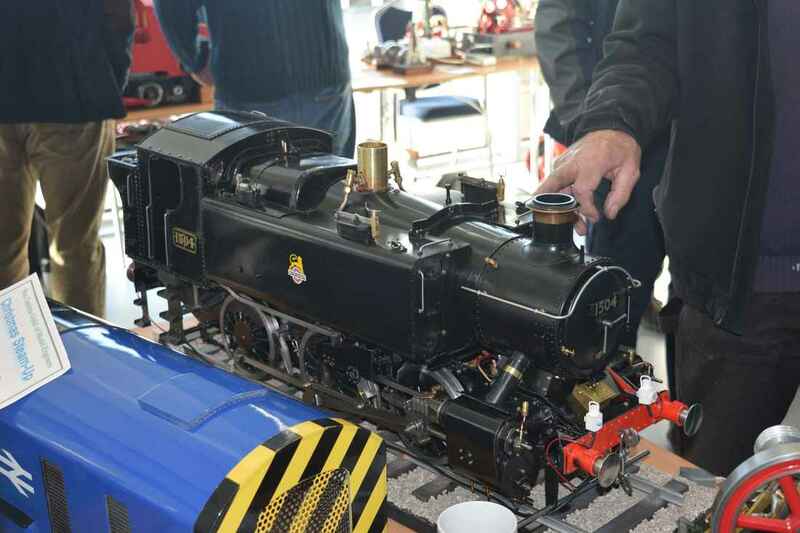 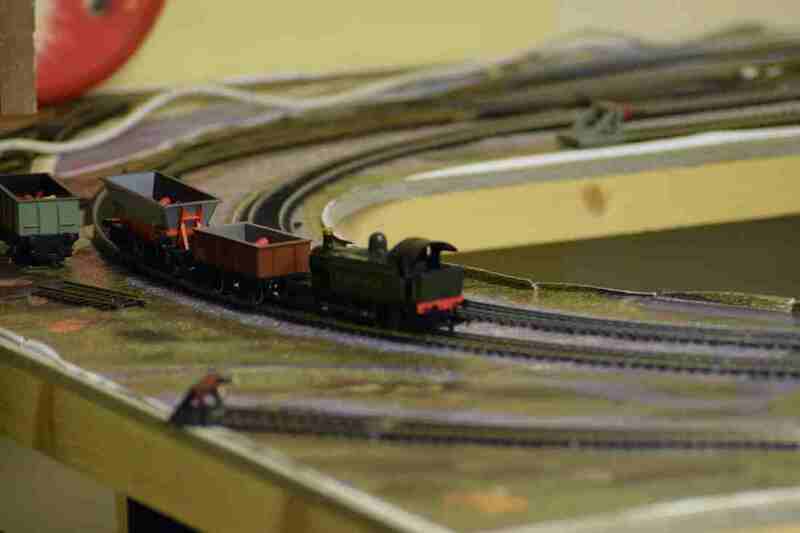 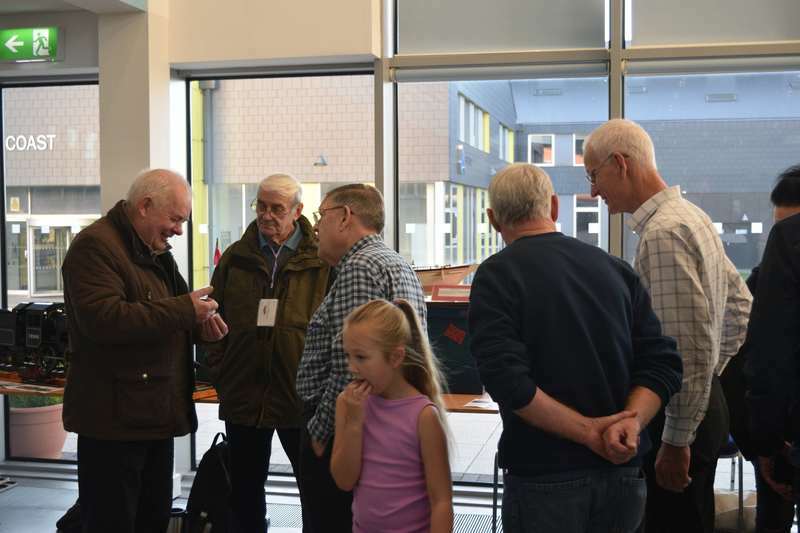 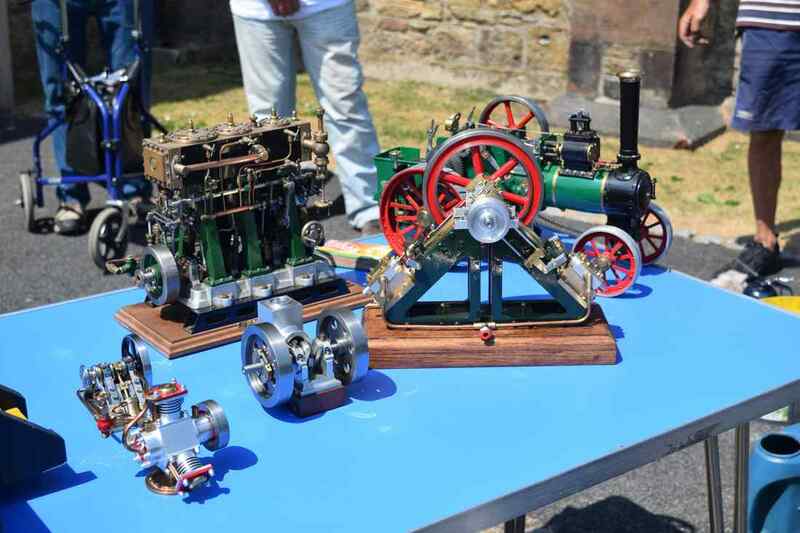 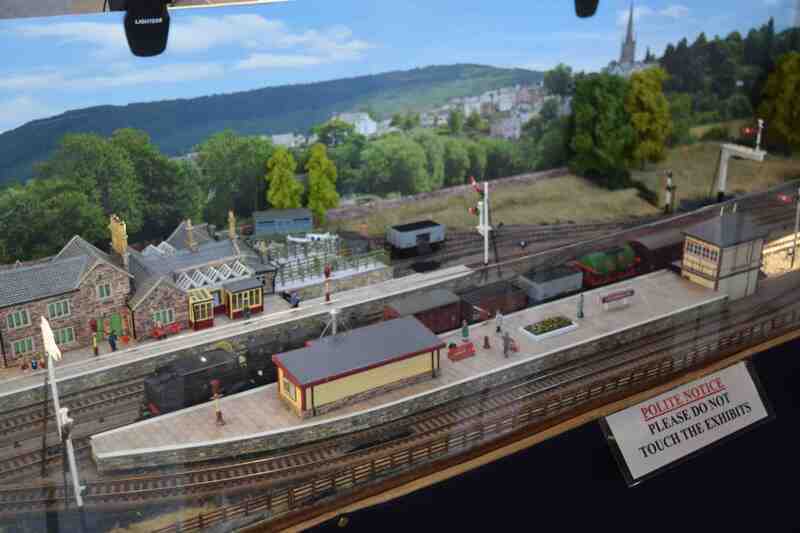 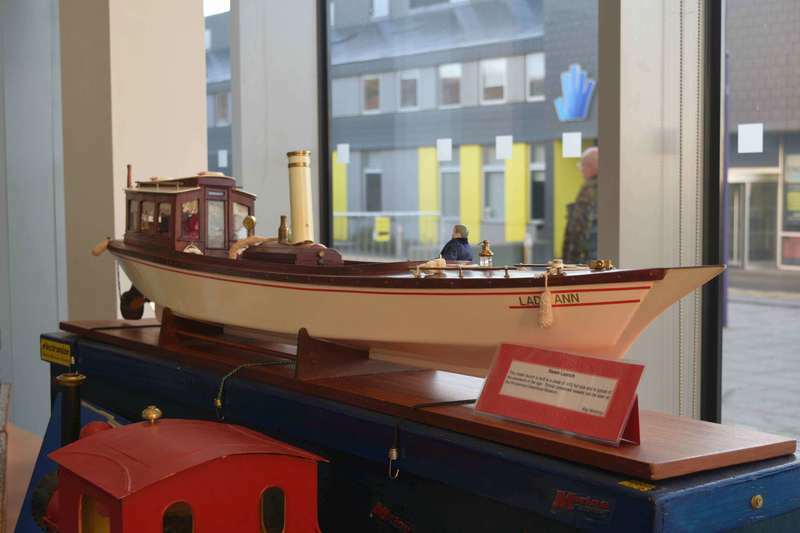 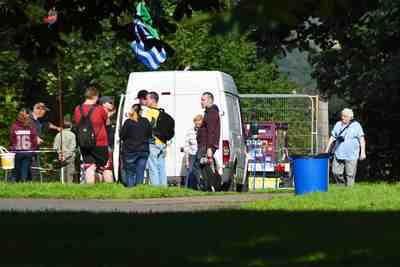 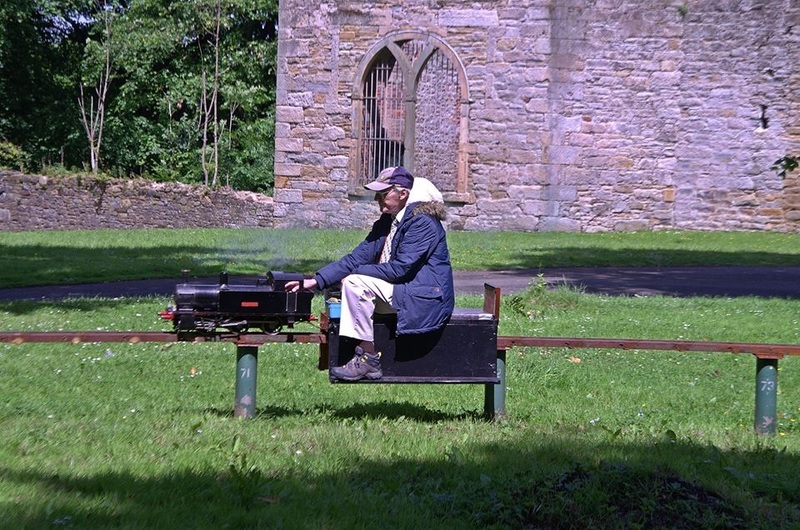 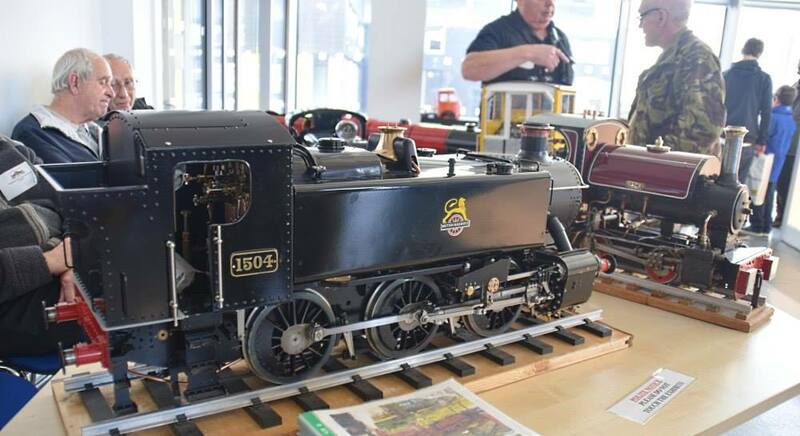 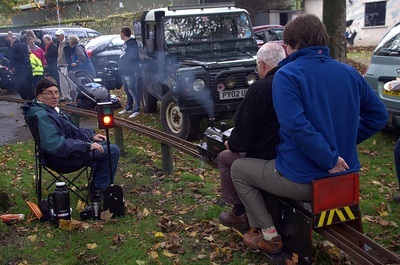 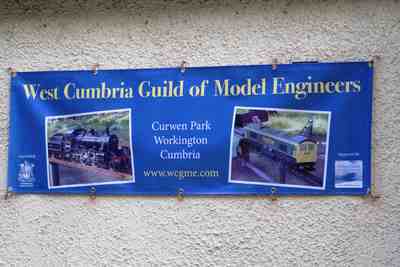 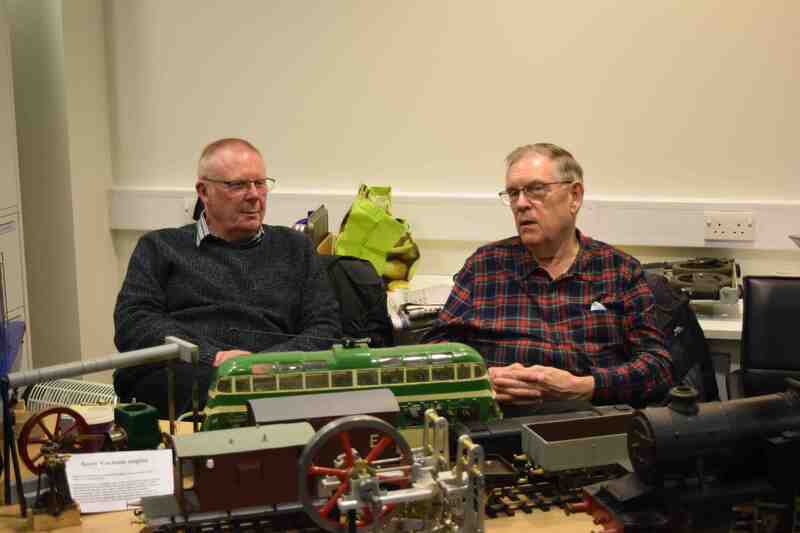 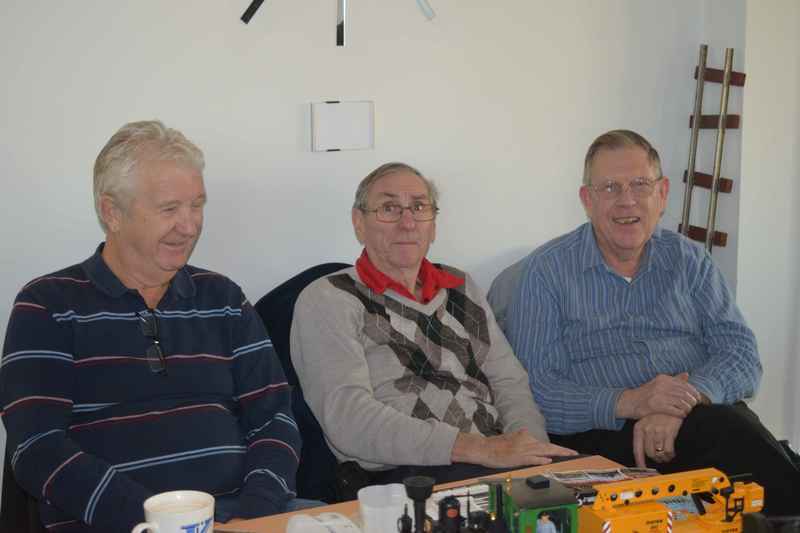 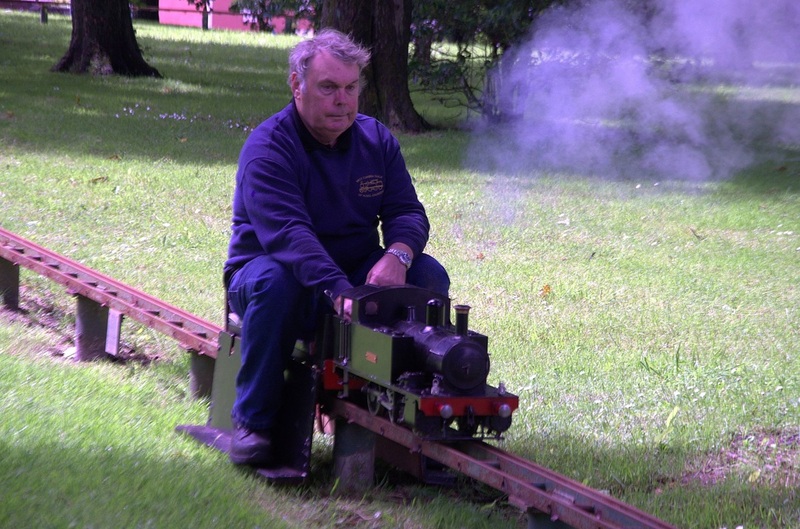 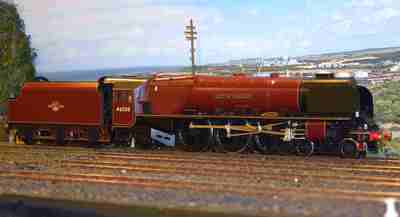 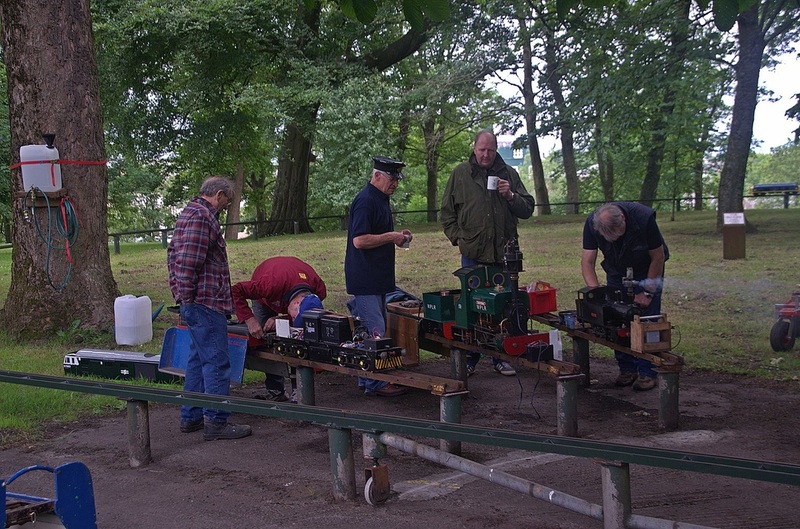 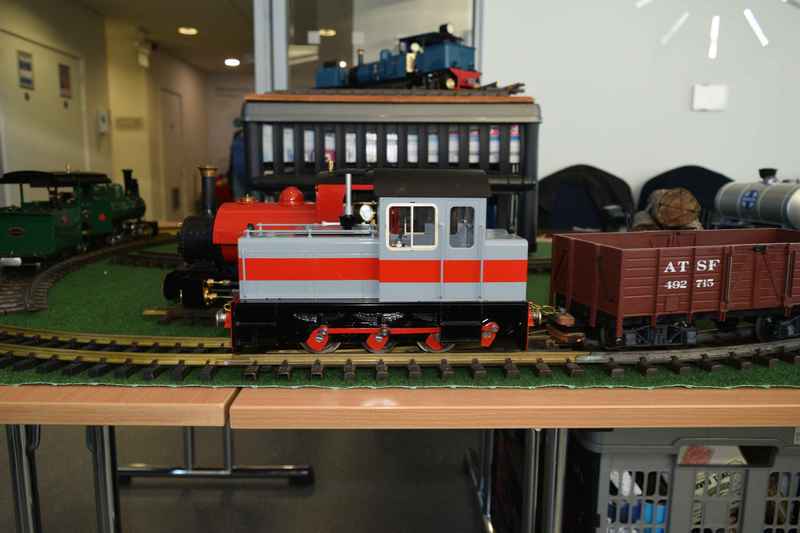 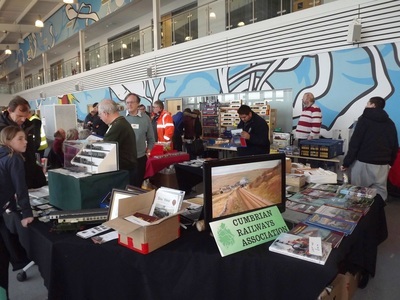 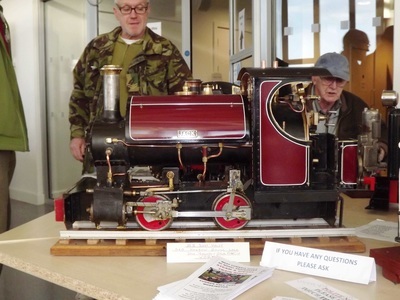 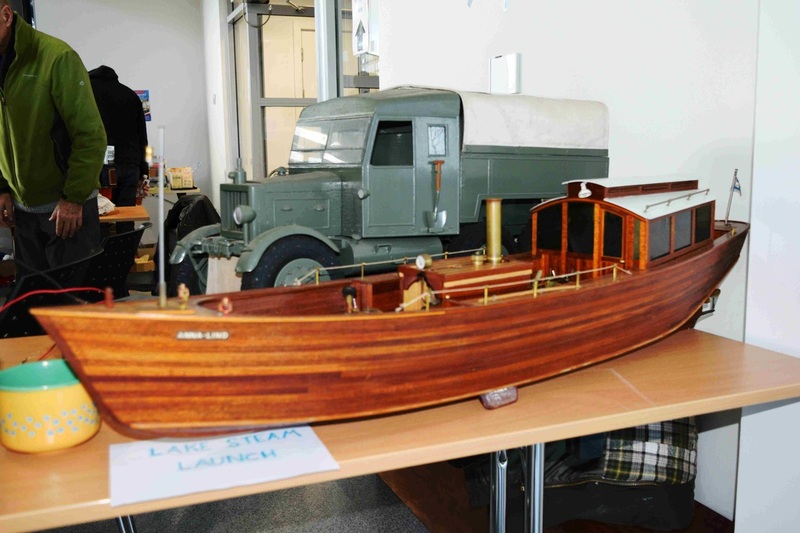 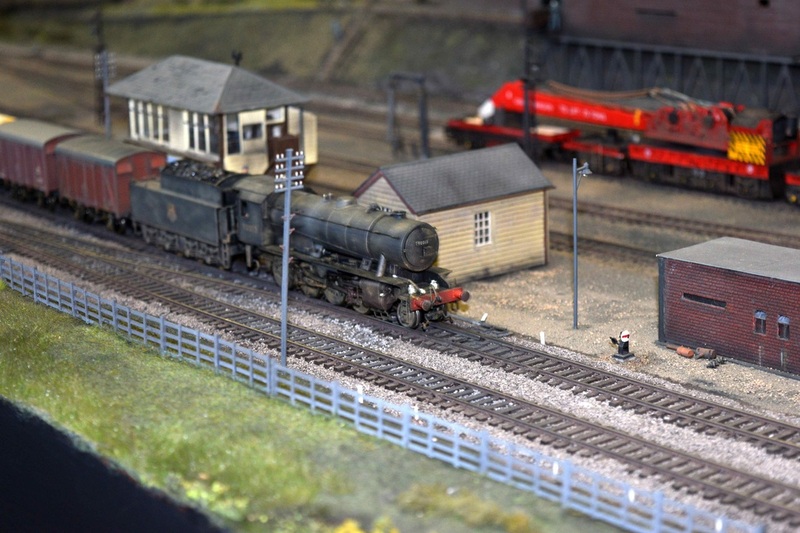 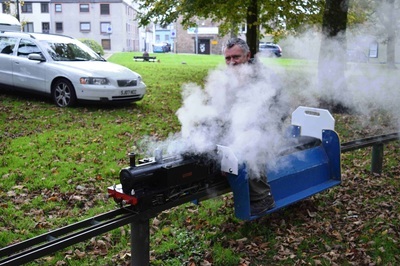 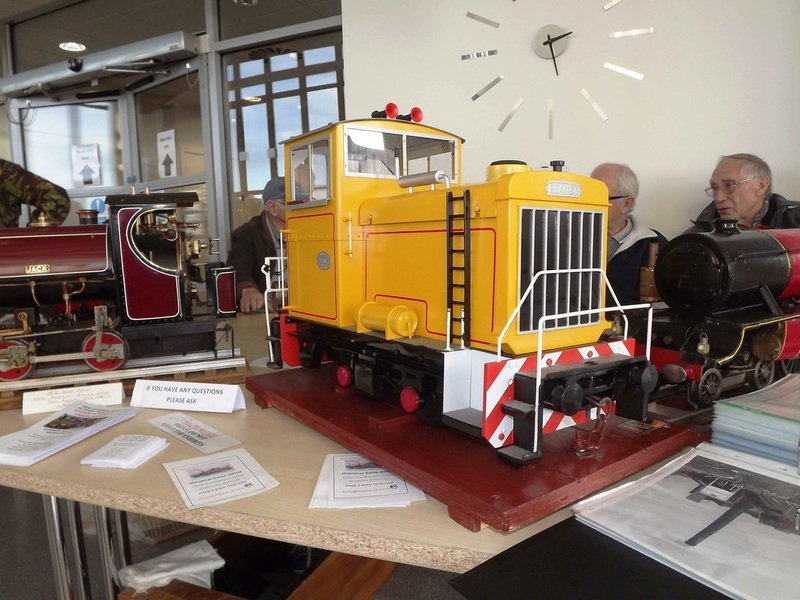 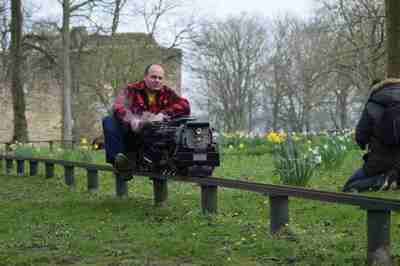 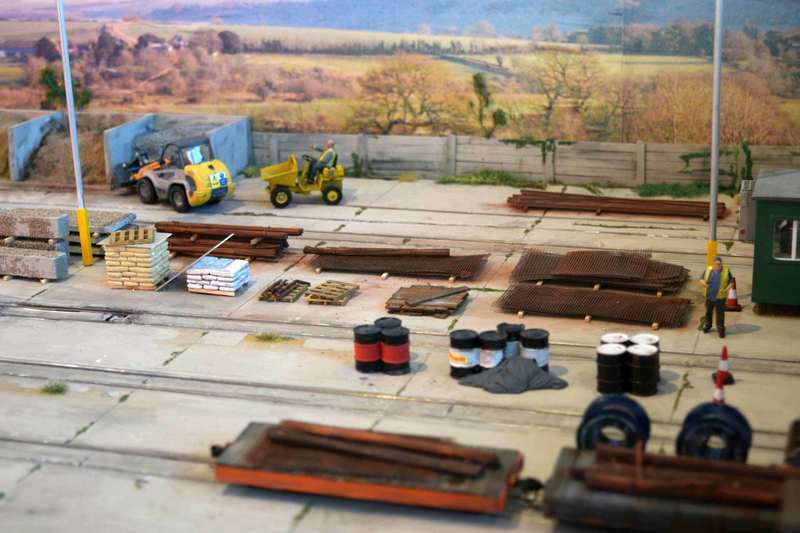 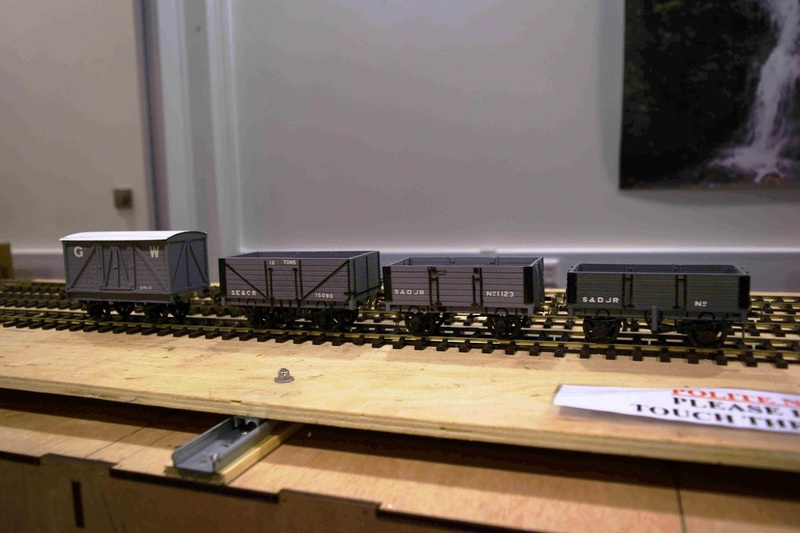 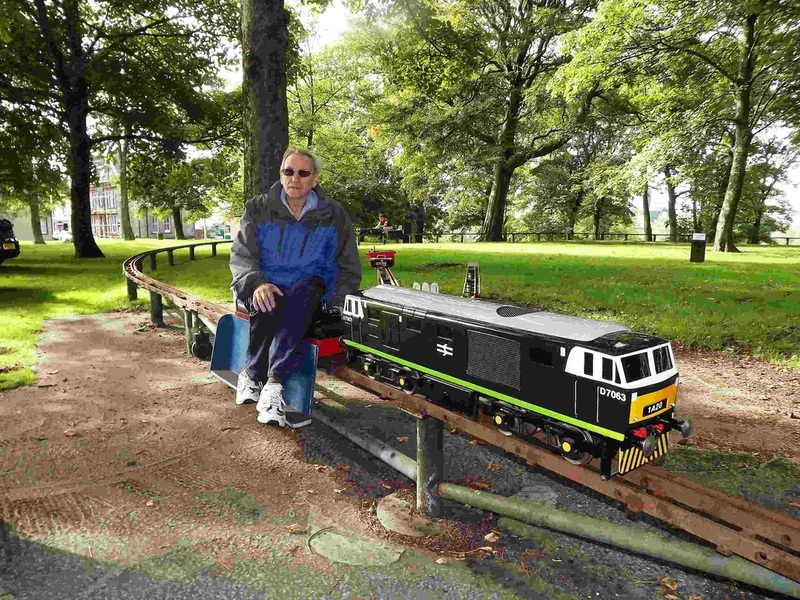 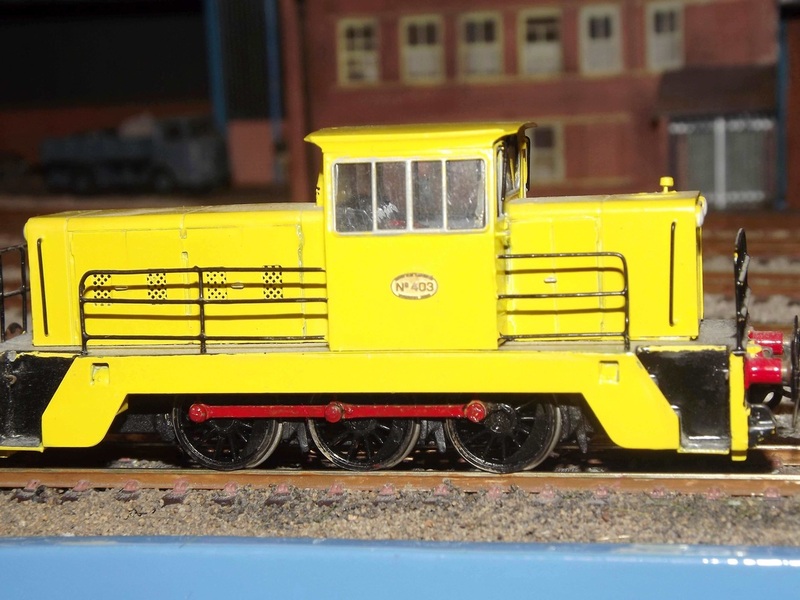 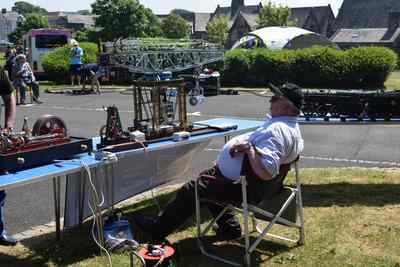 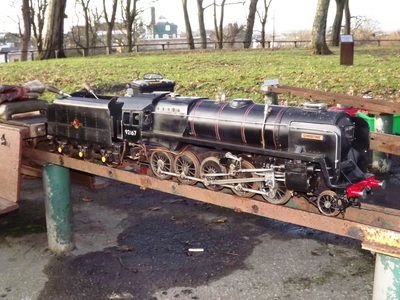 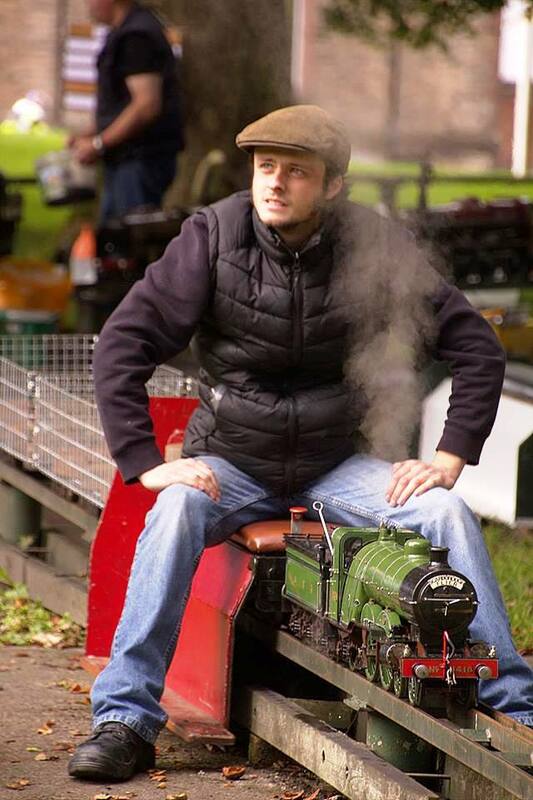 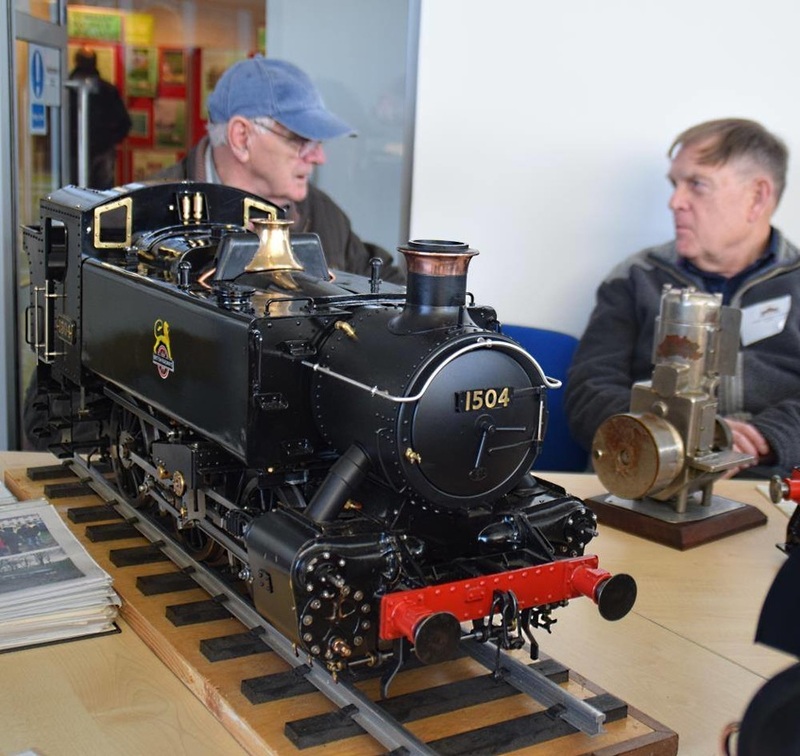 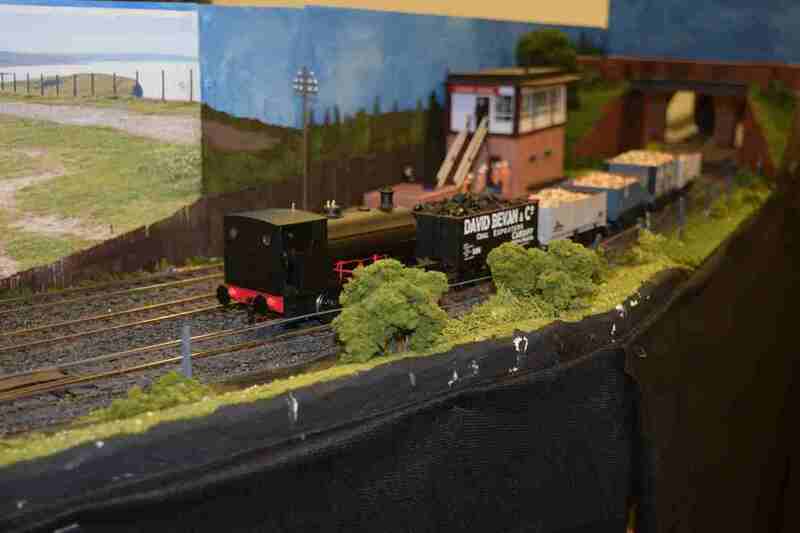 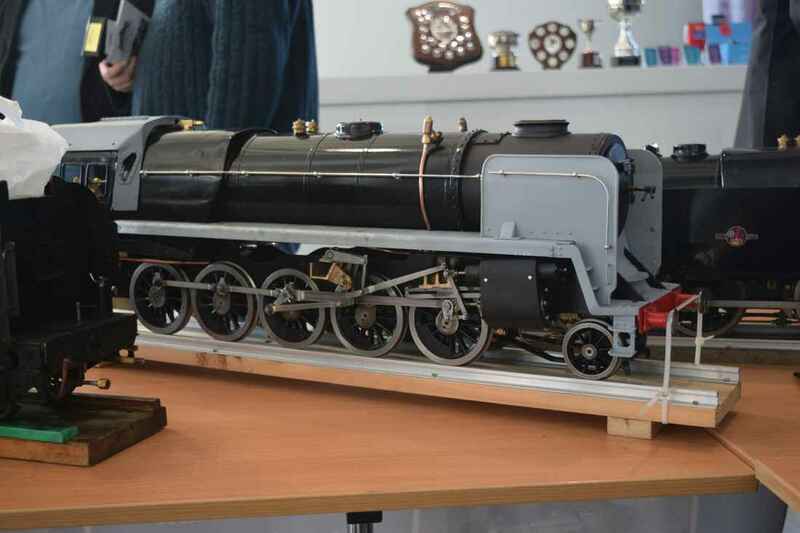 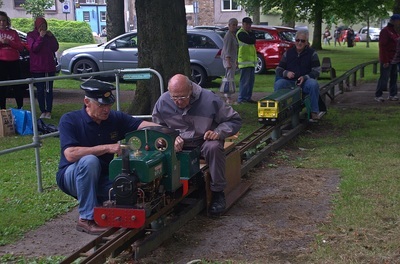 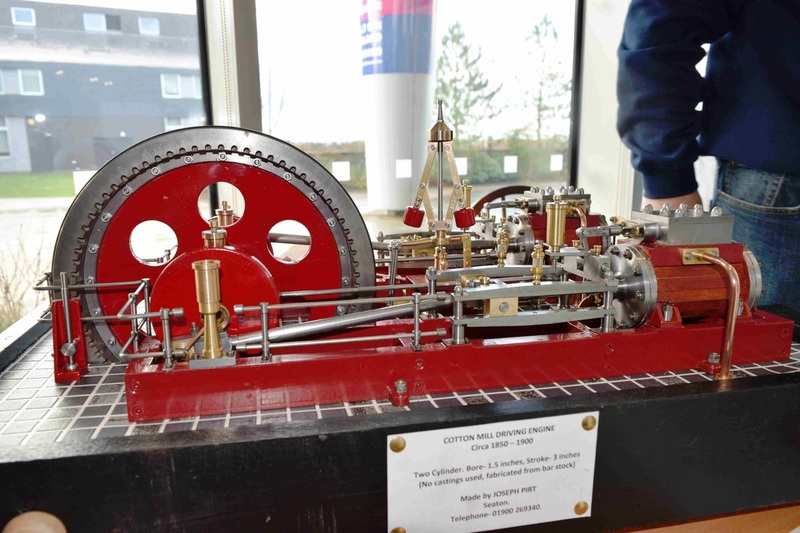 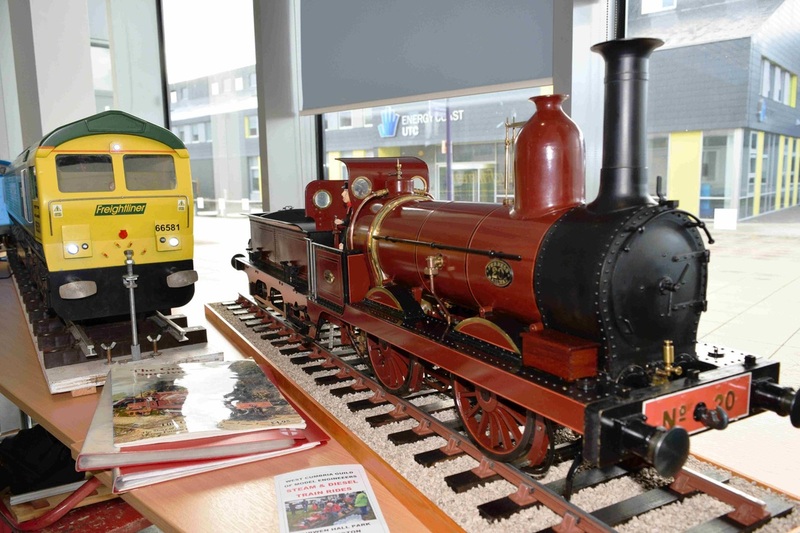 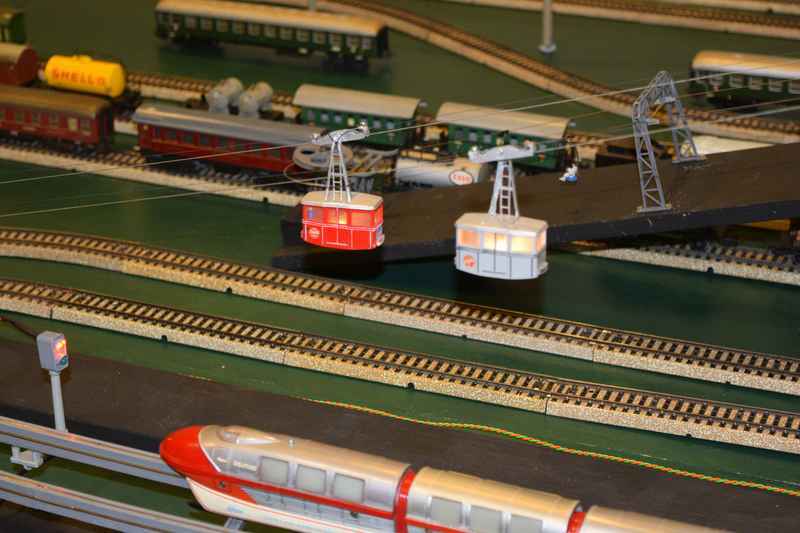 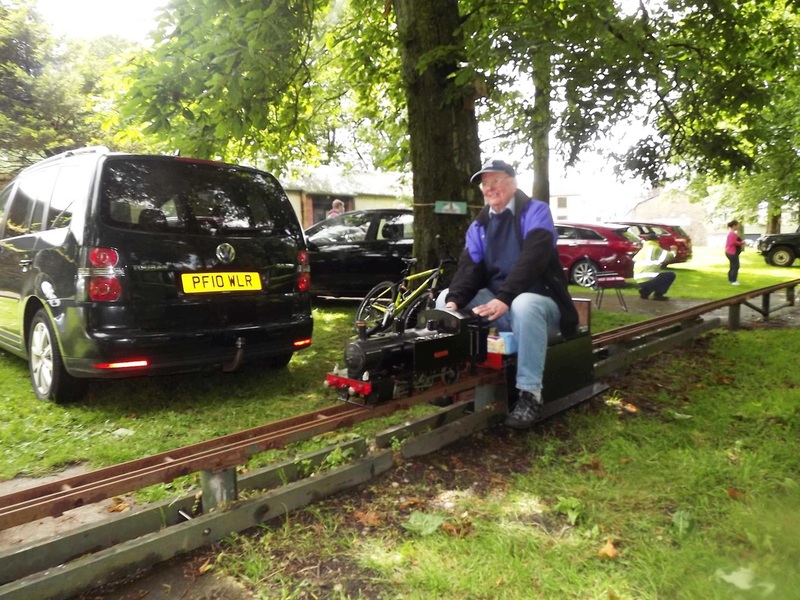 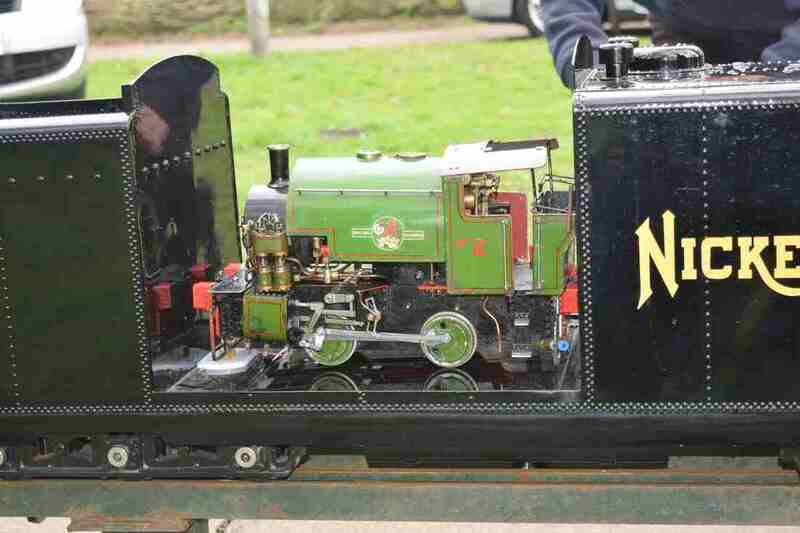 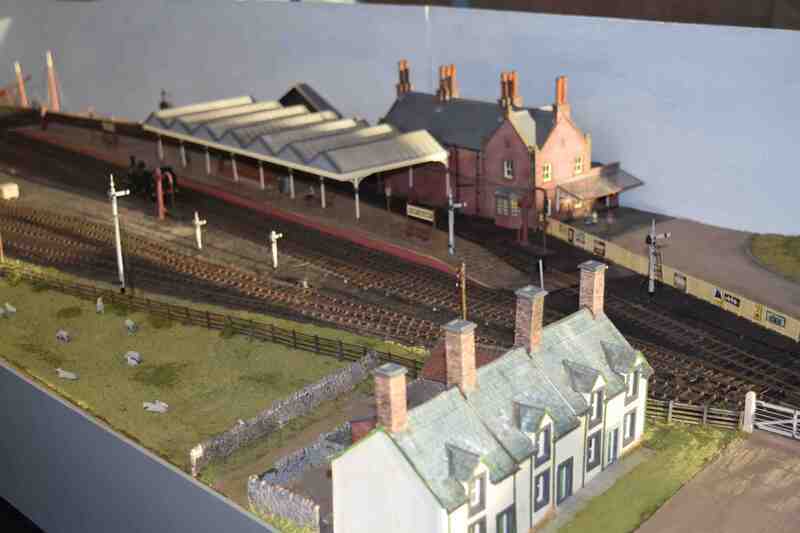 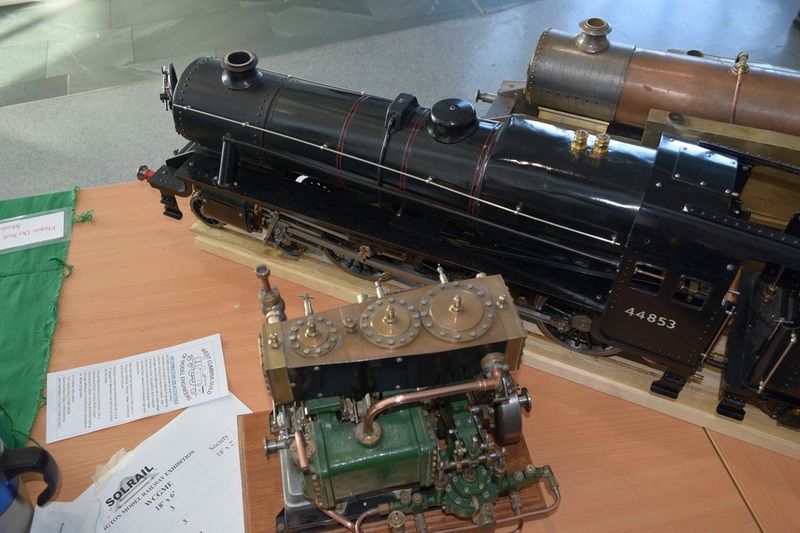 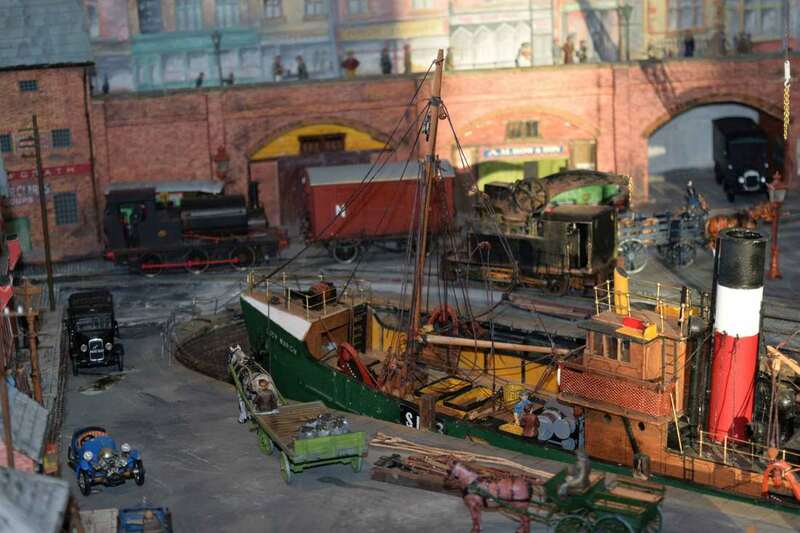 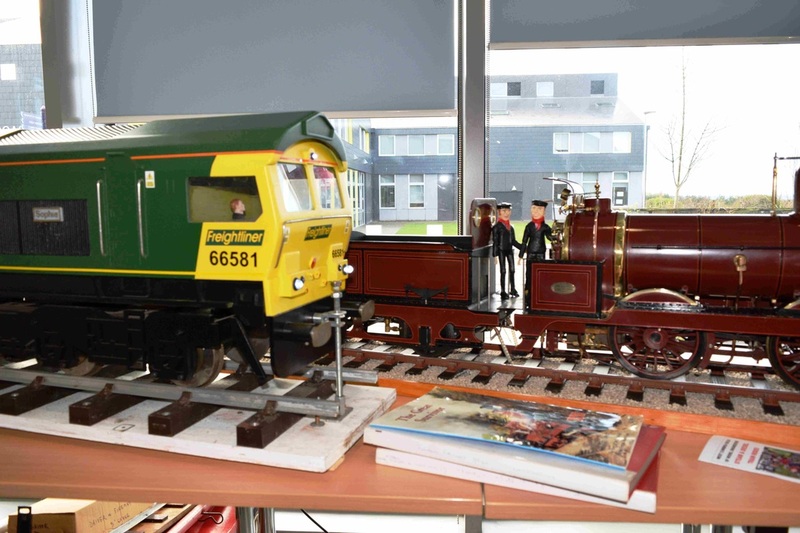 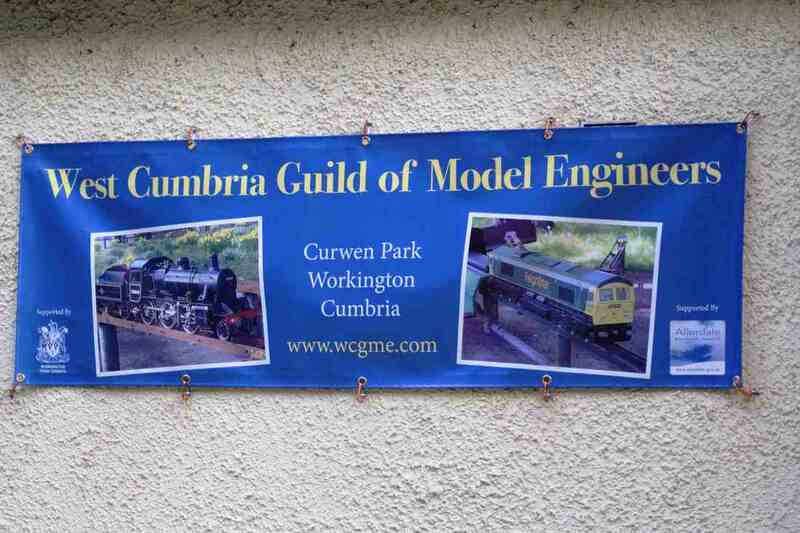 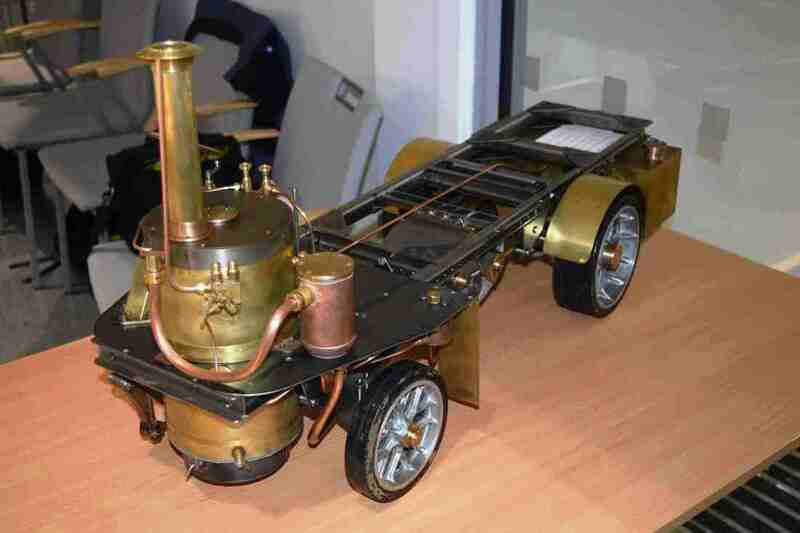 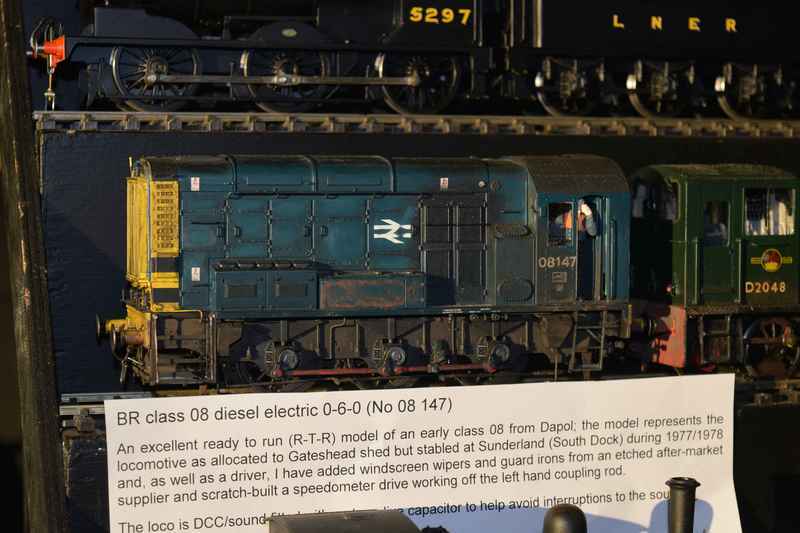 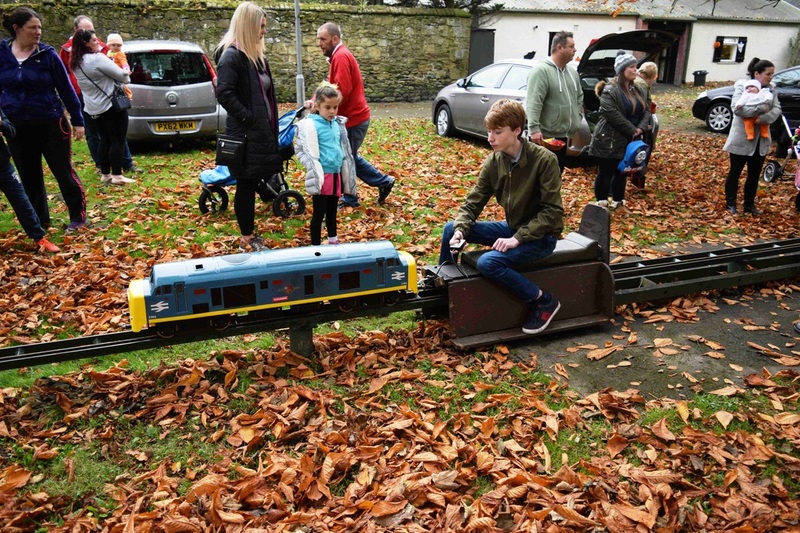 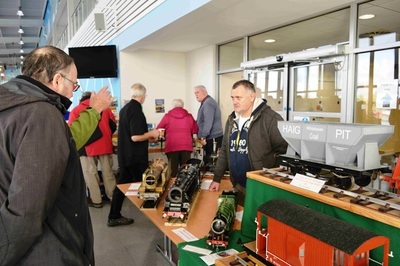 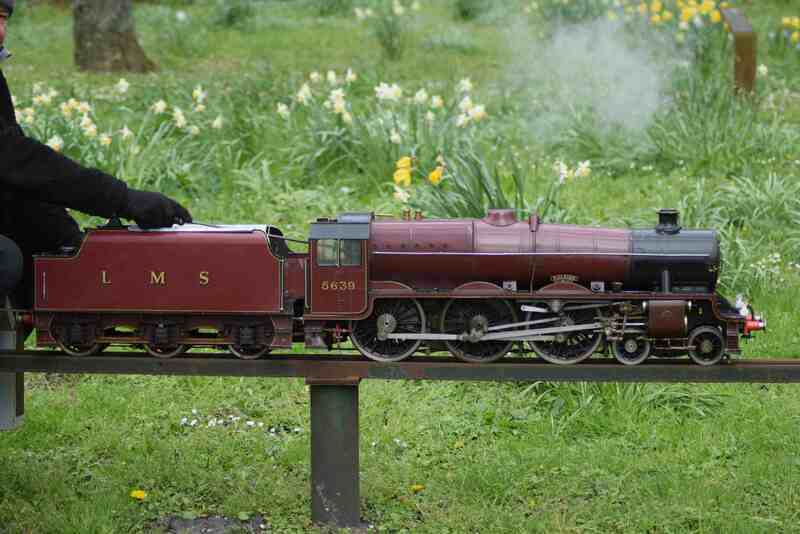 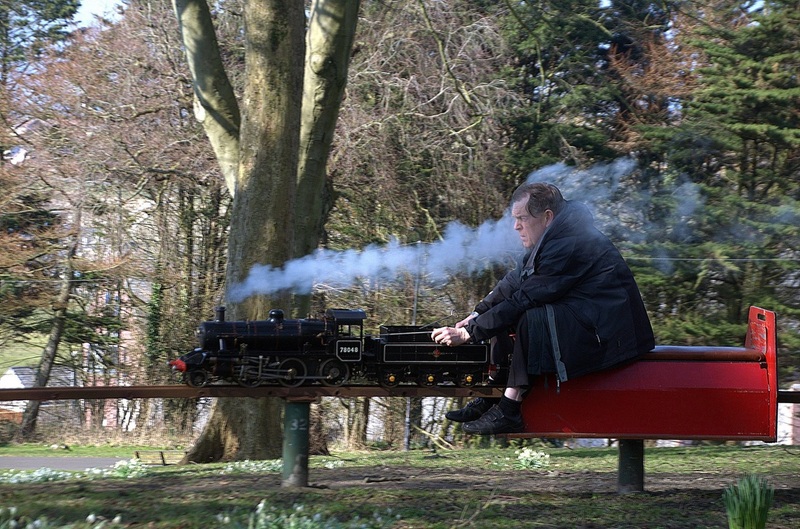 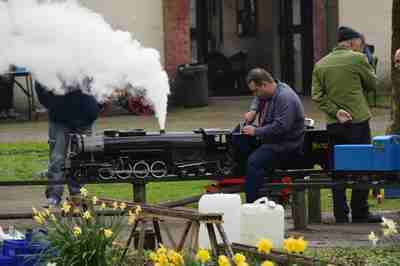 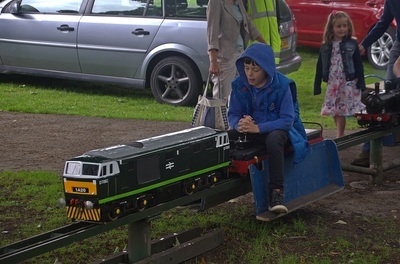 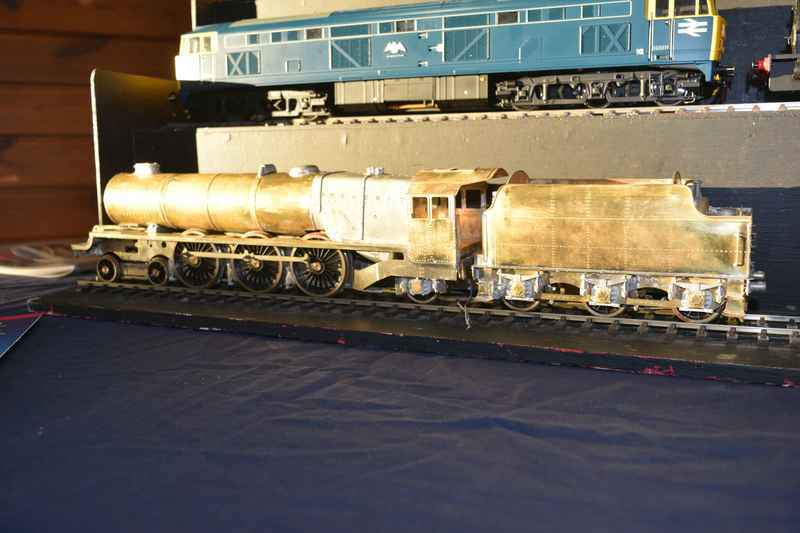 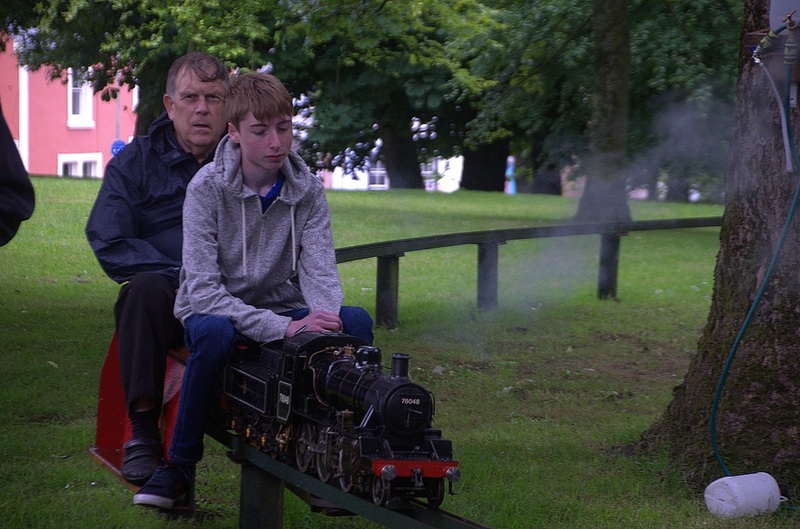 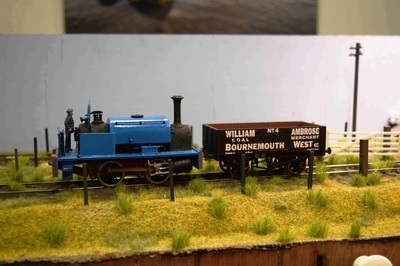 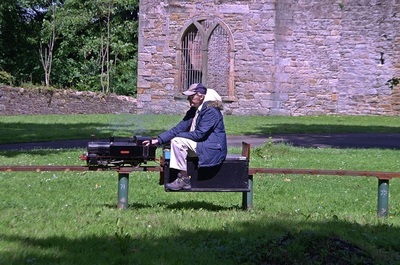 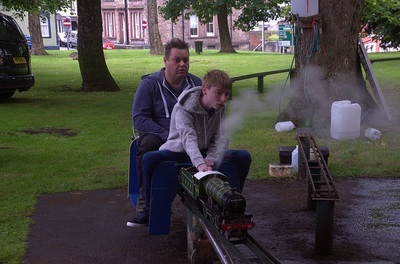 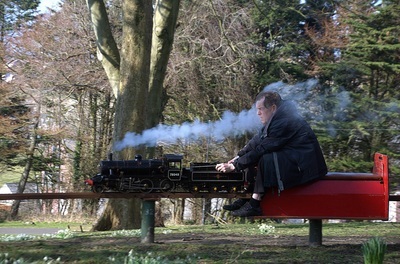 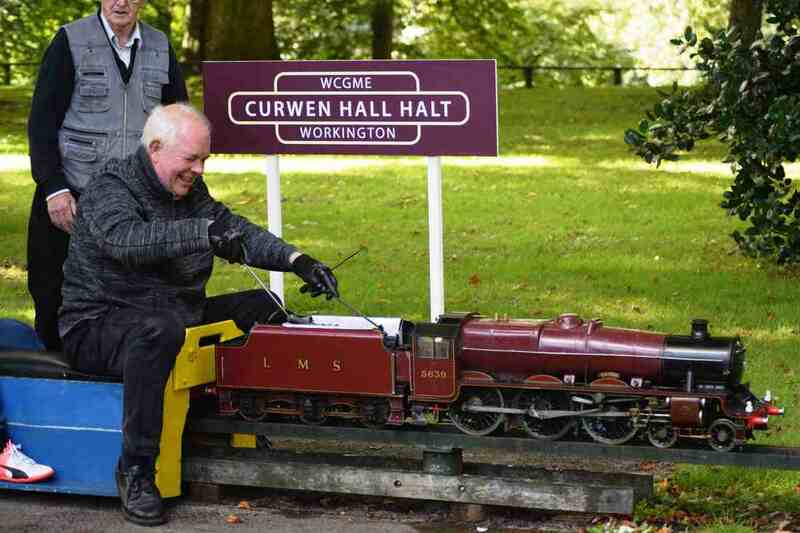 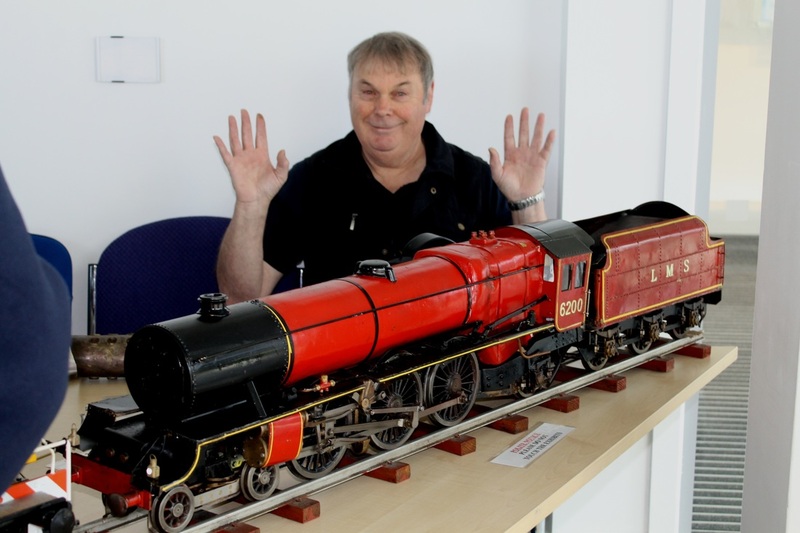 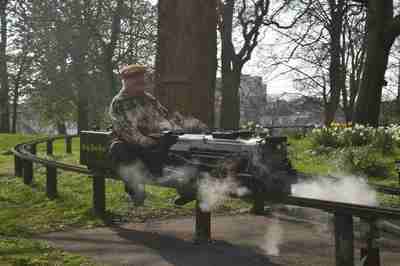 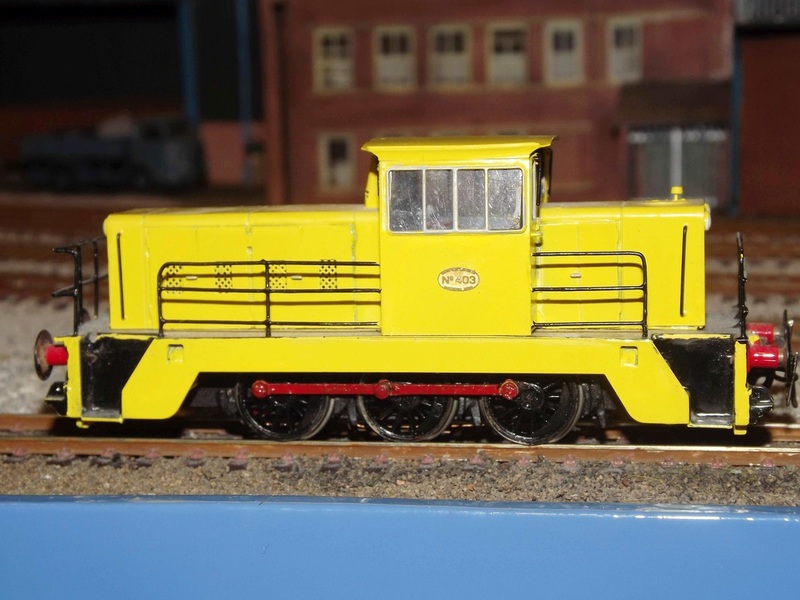 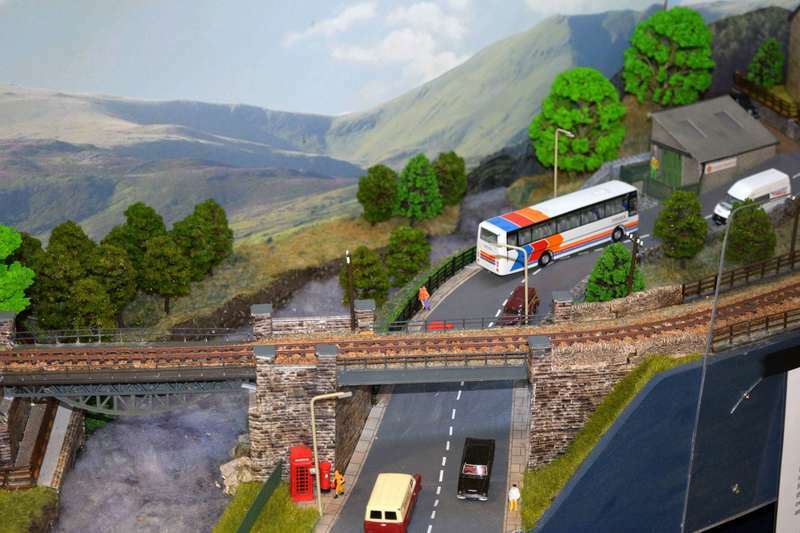 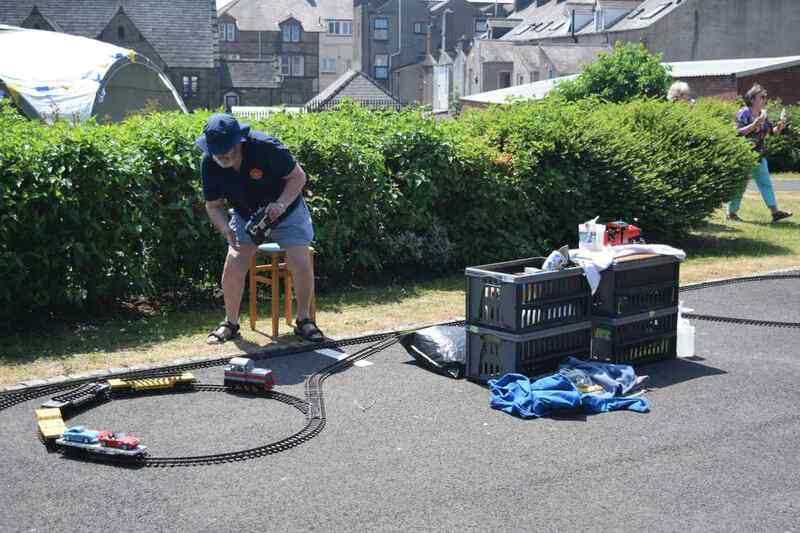 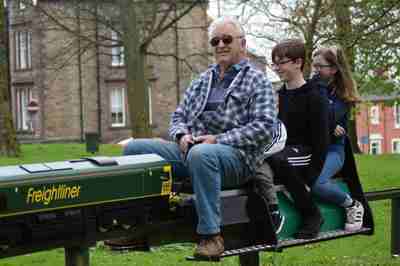 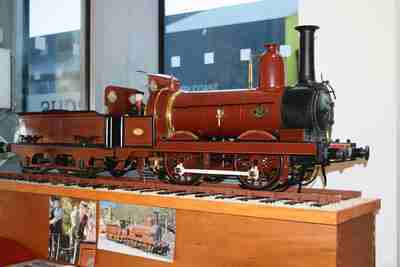 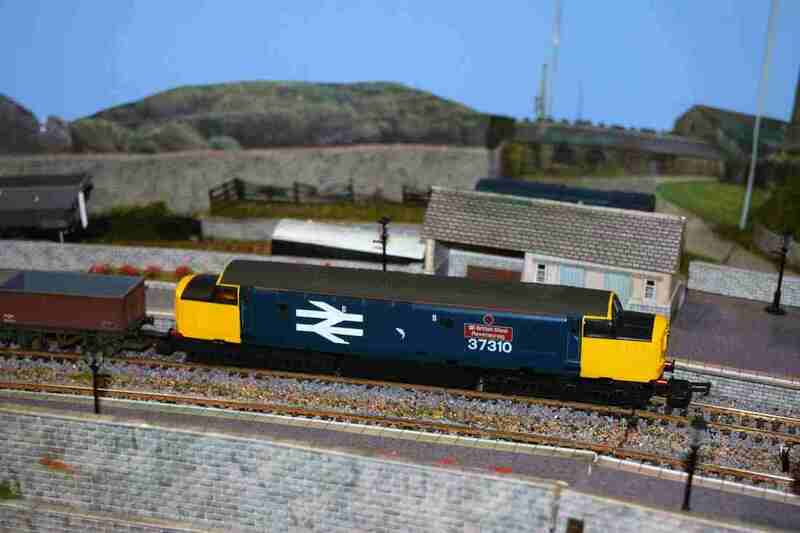 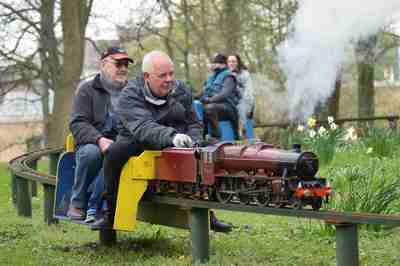 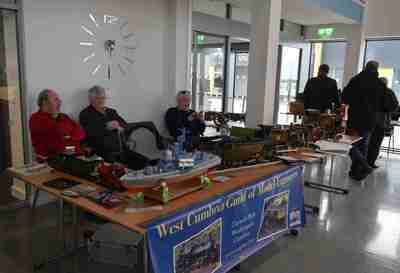 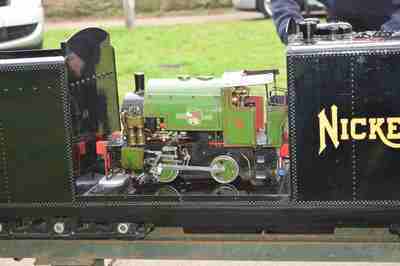 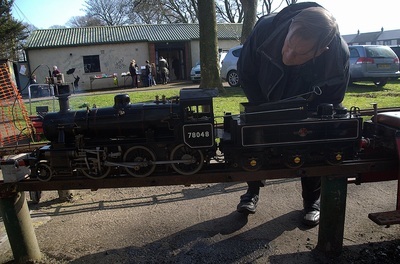 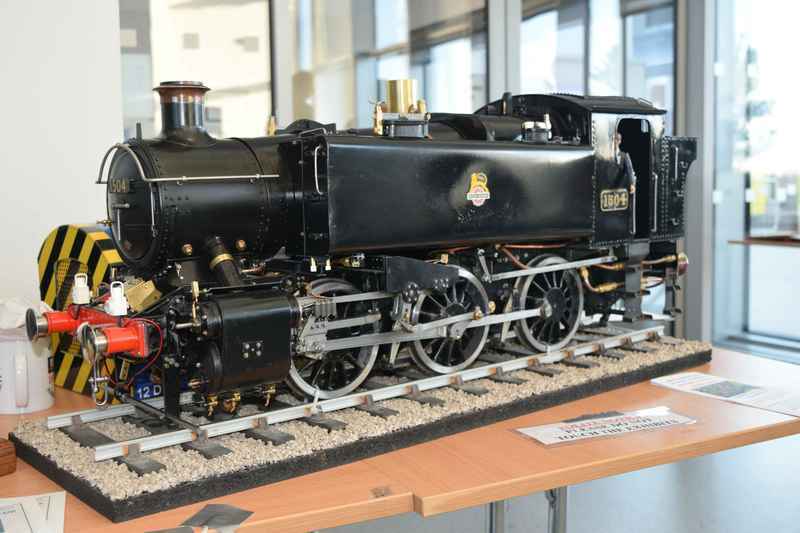 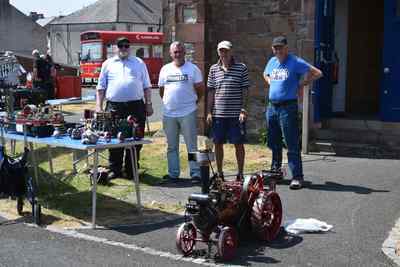 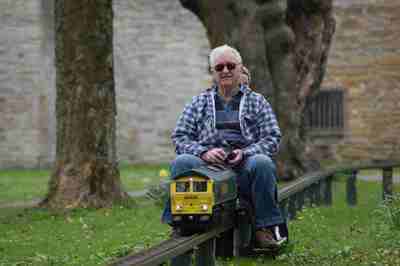 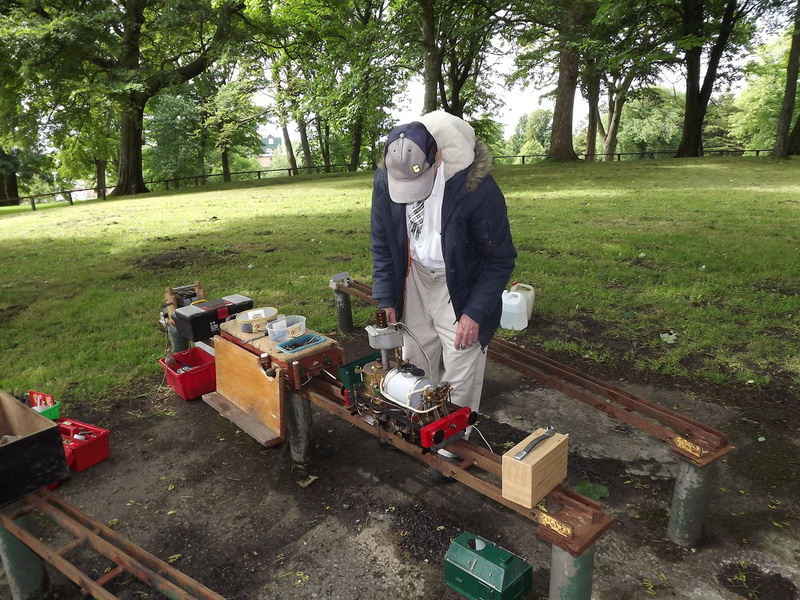 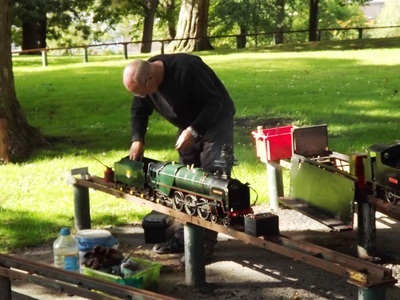 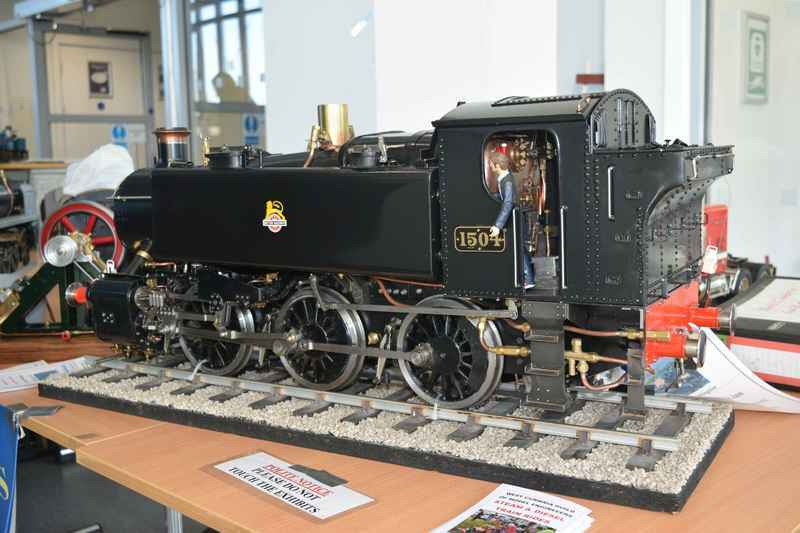 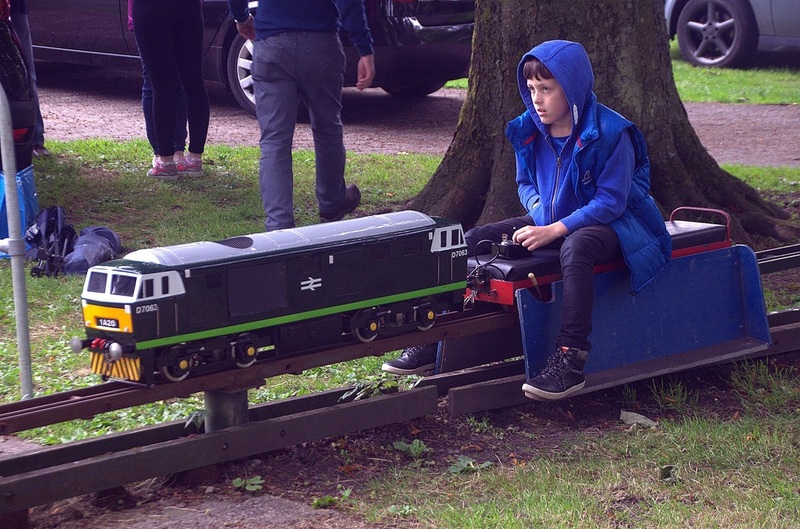 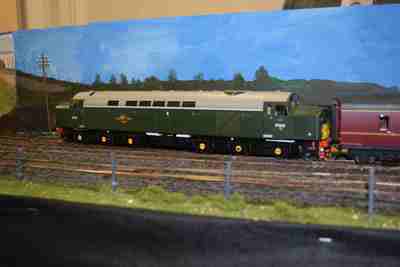 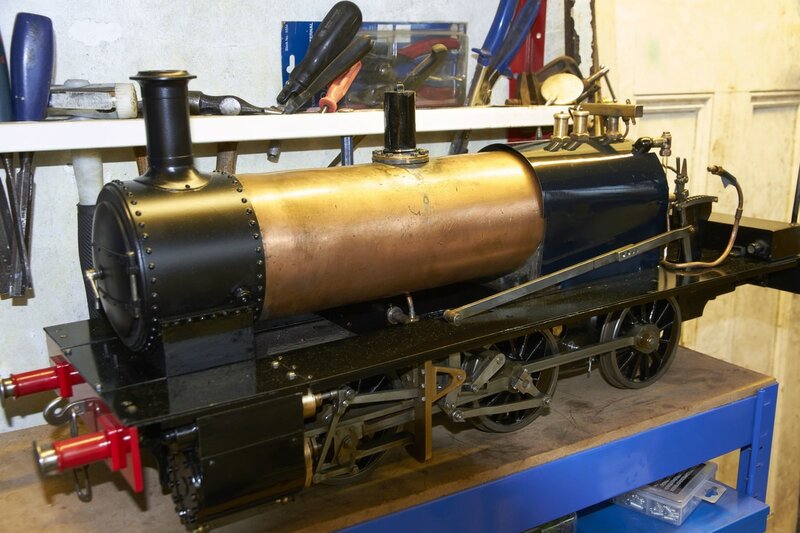 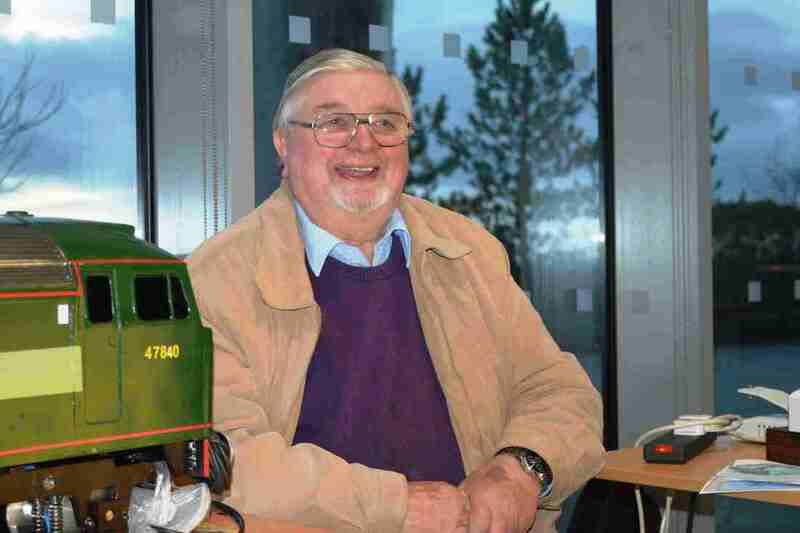 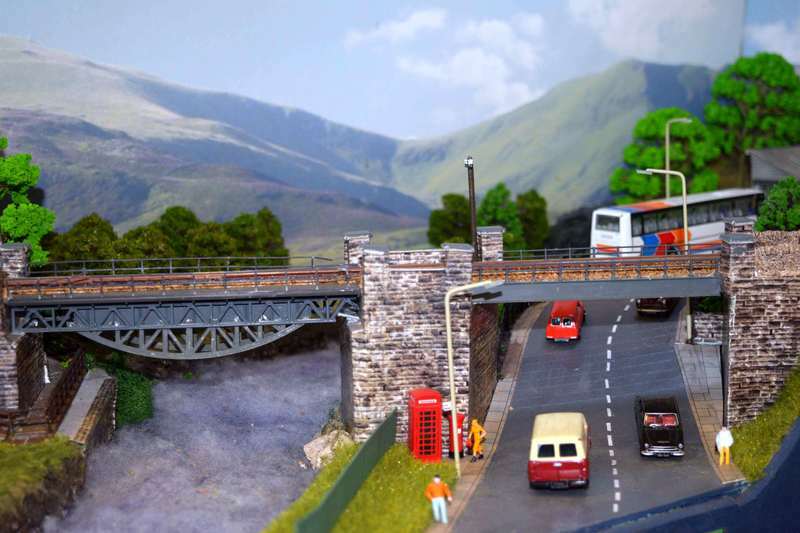 Workington Model Railway Show 2015. 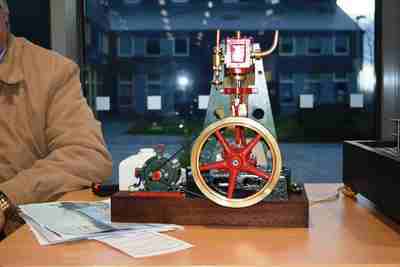 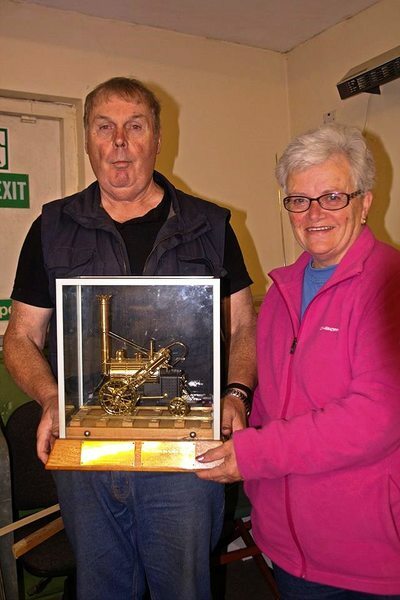 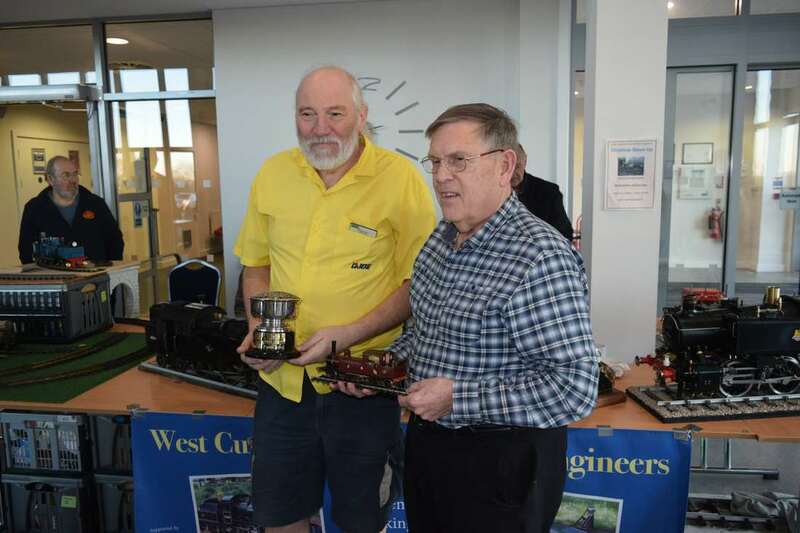 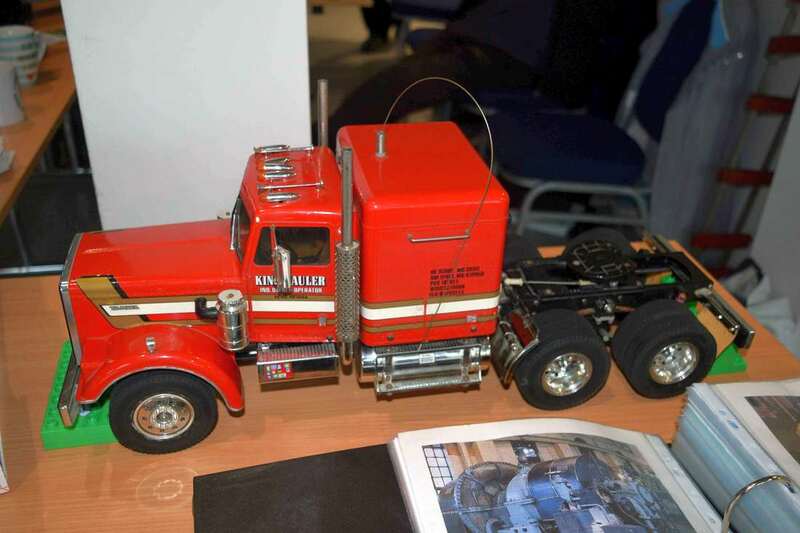 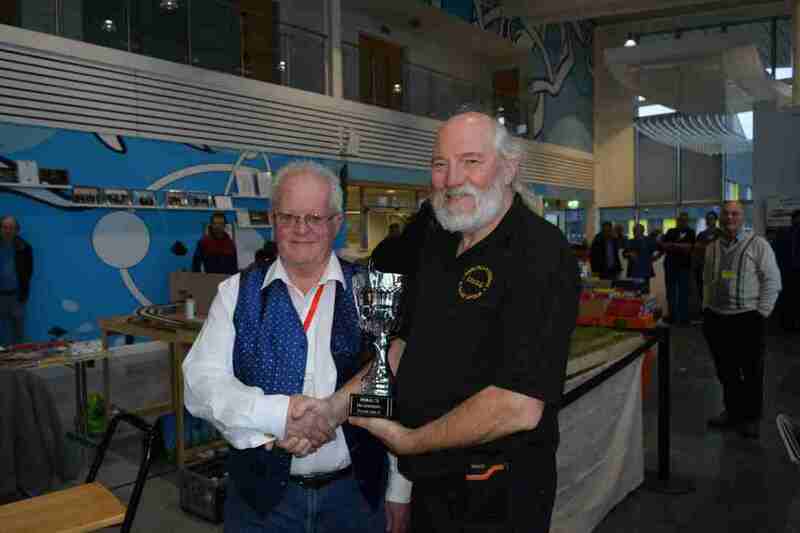 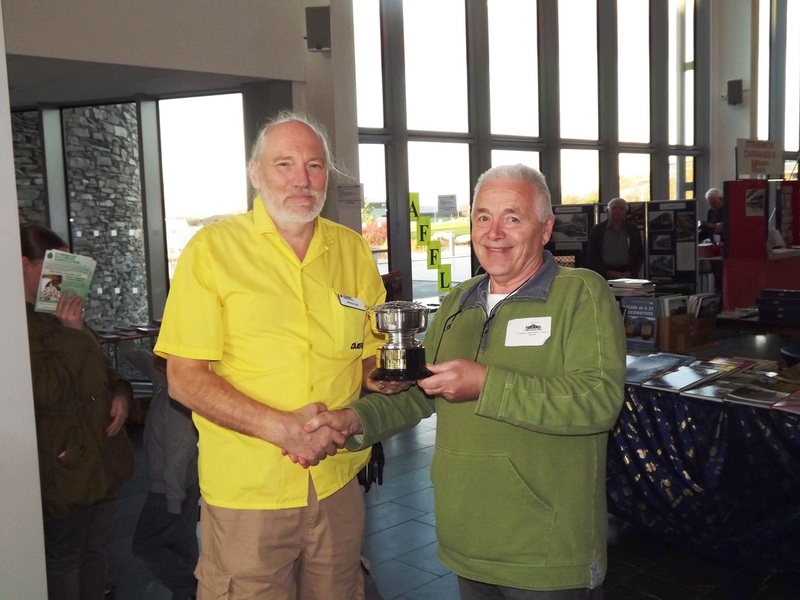 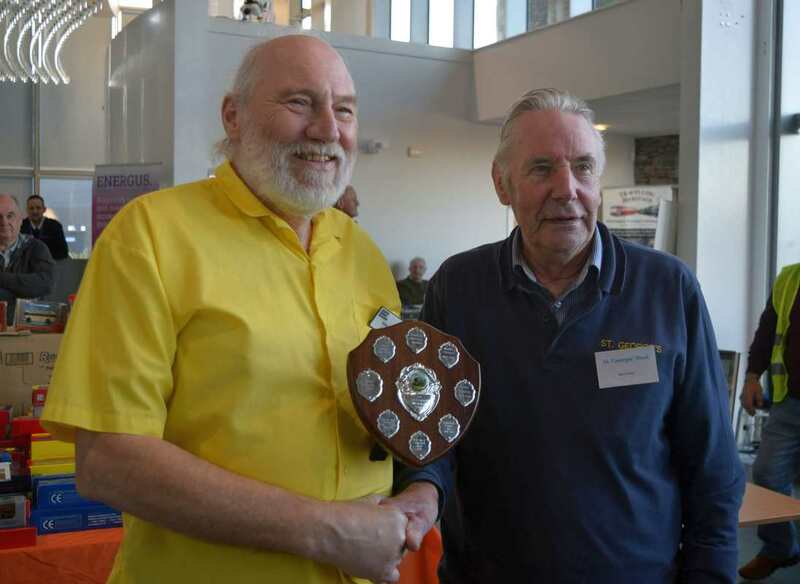 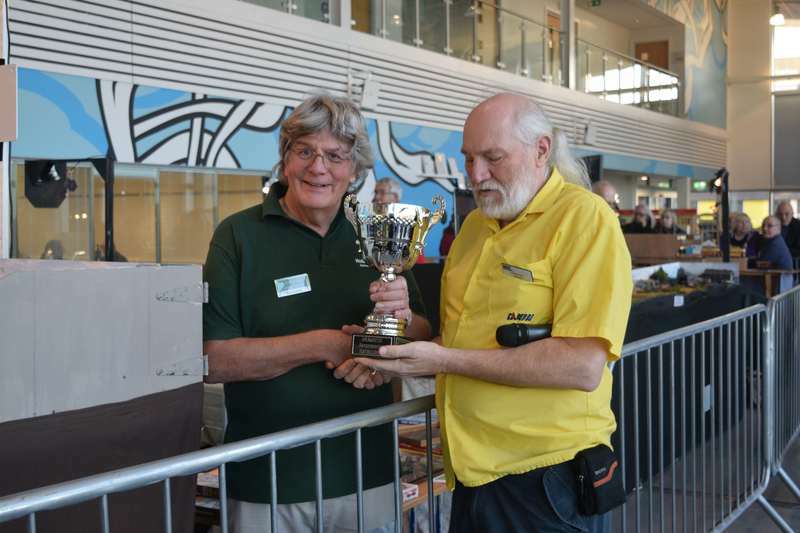 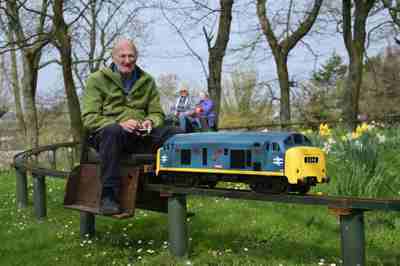 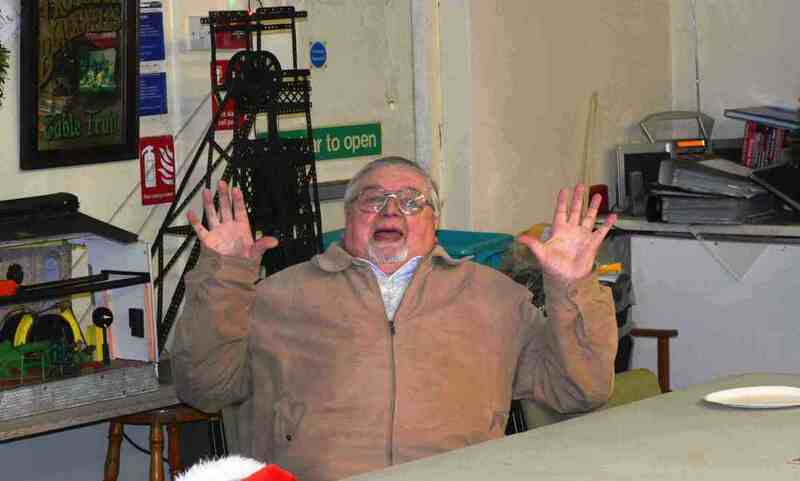 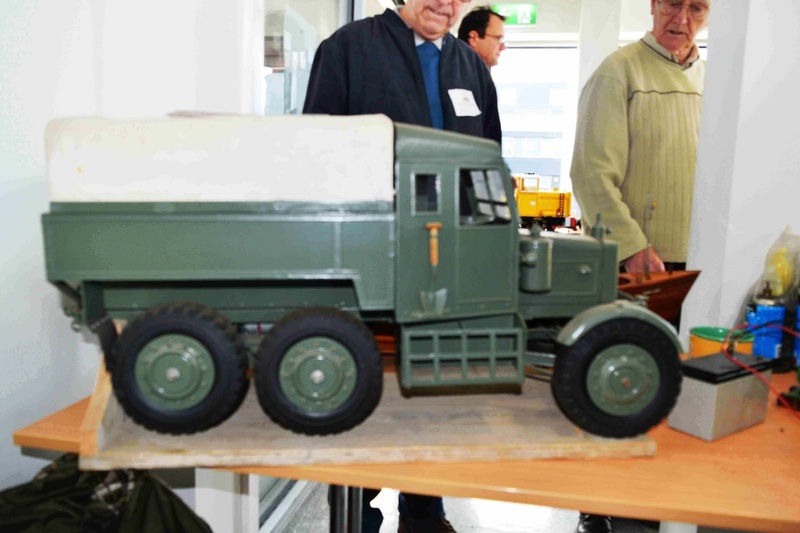 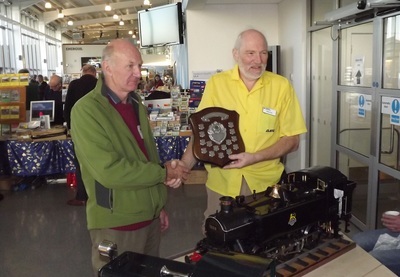 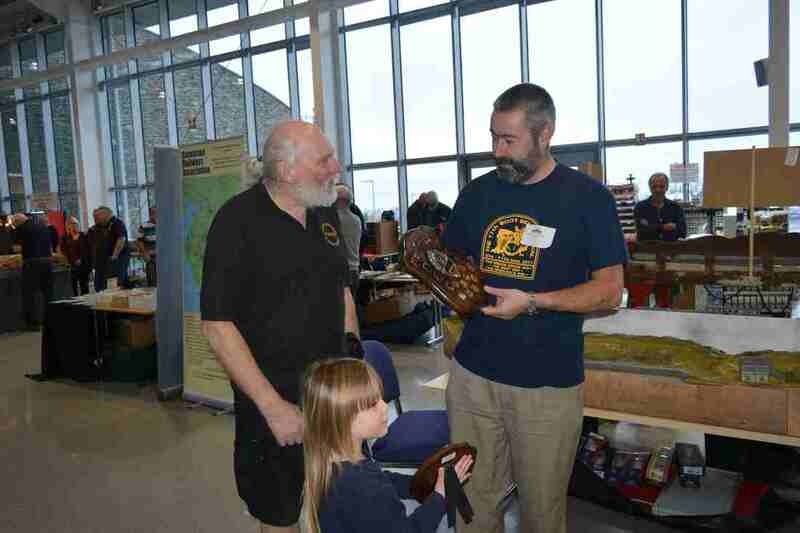 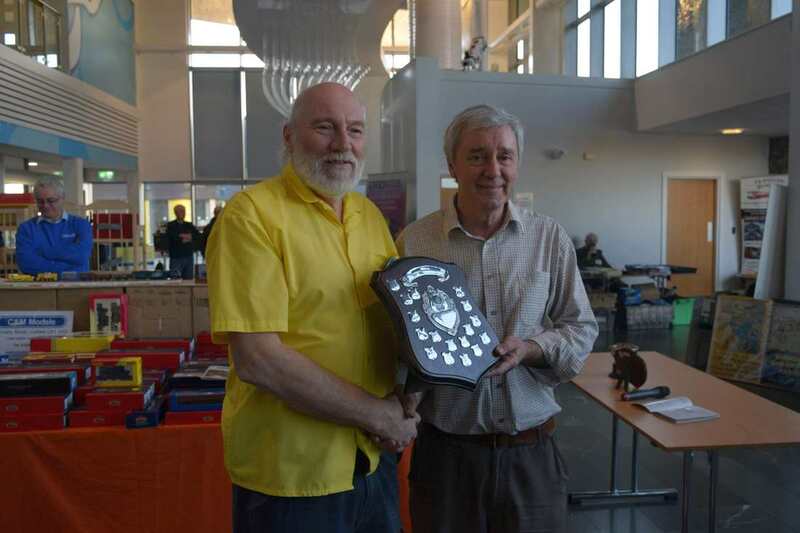 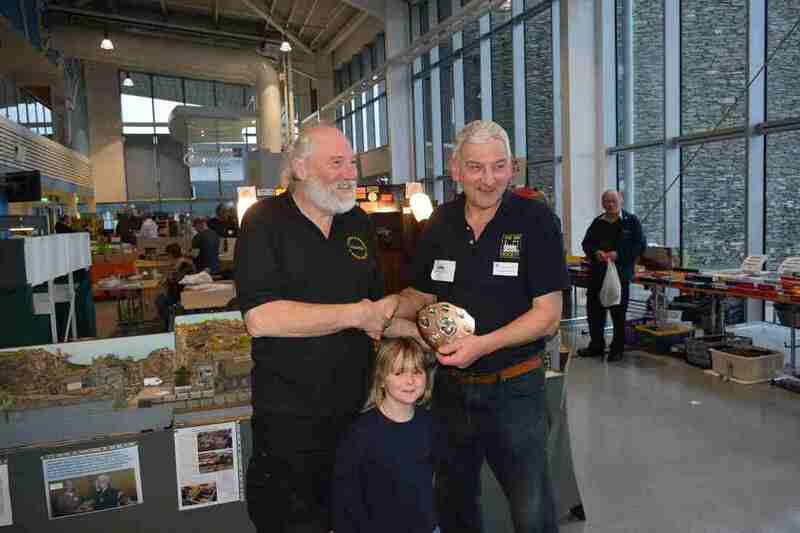 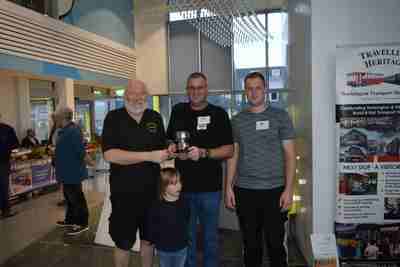 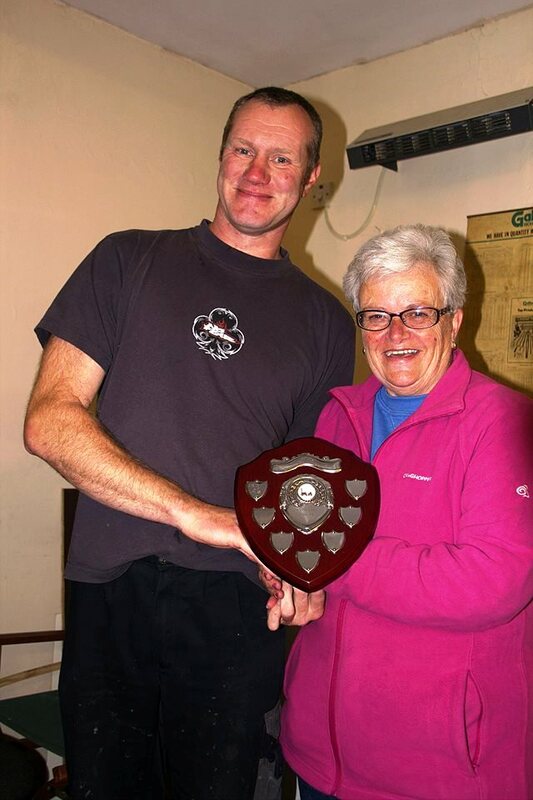 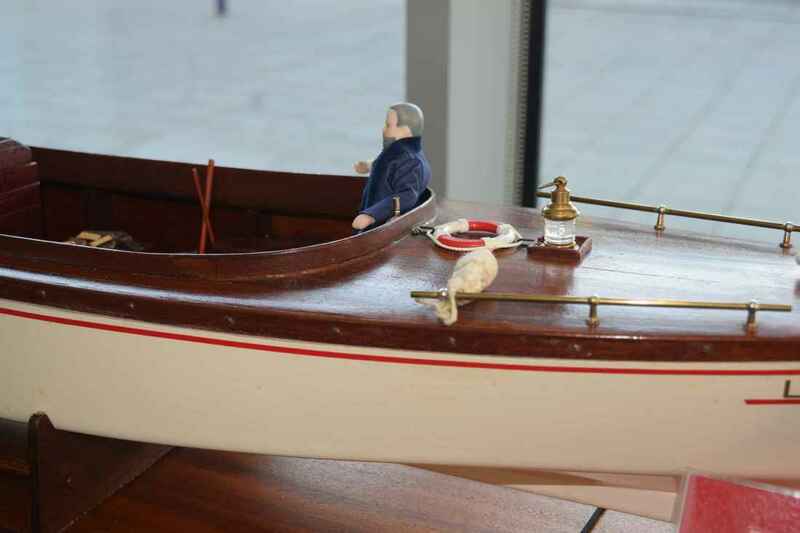 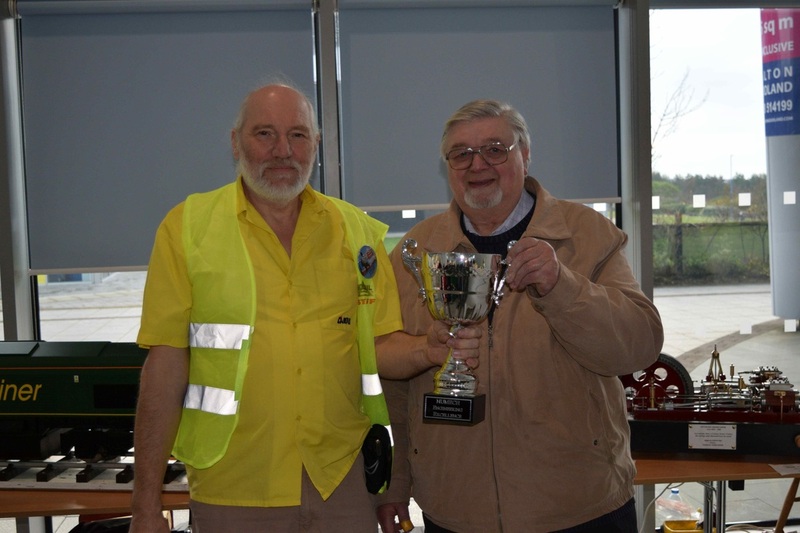 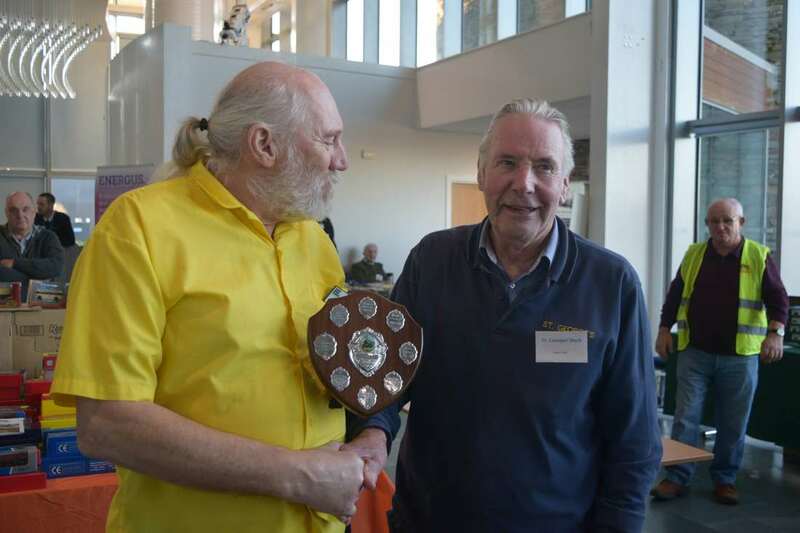 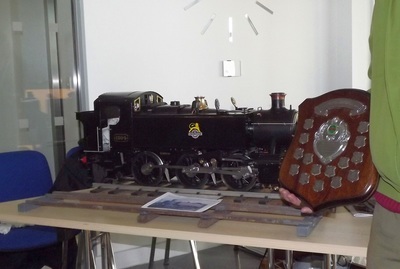 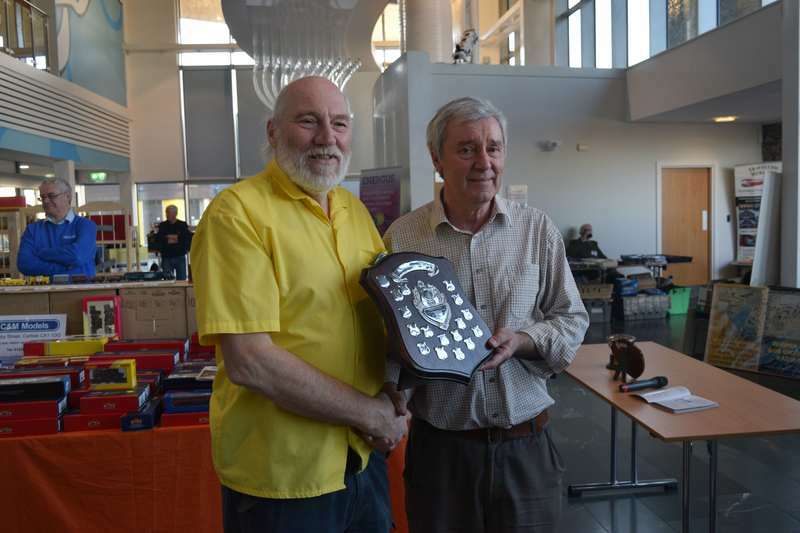 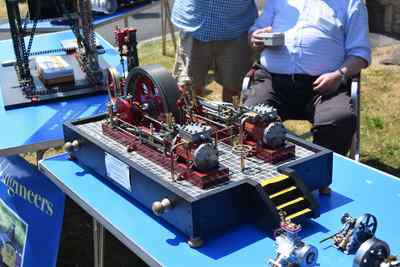 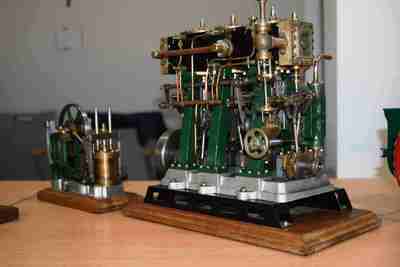 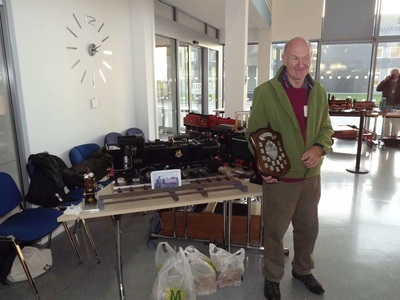 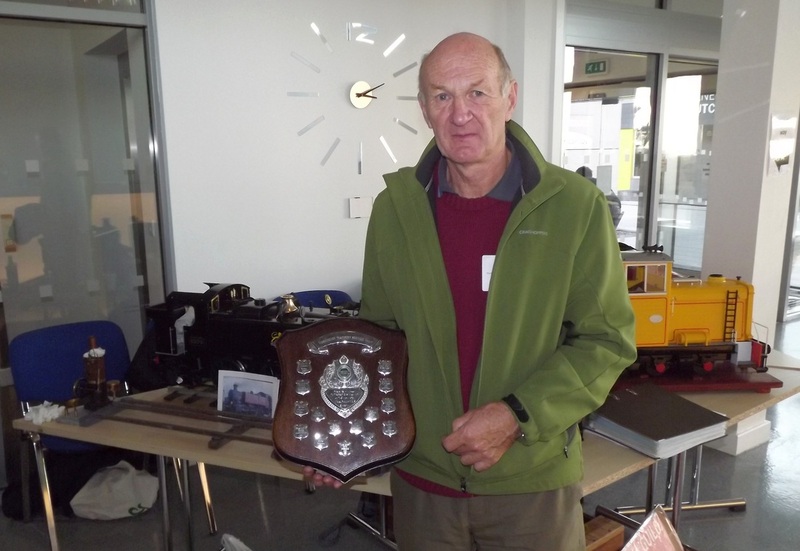 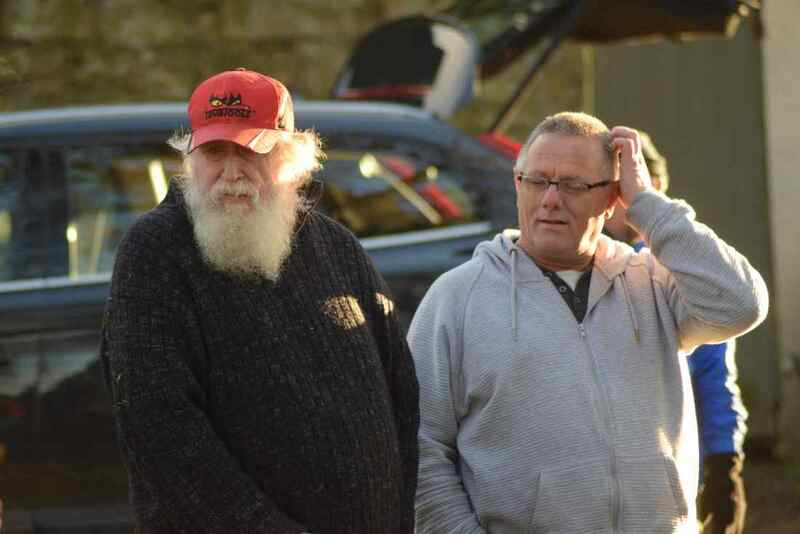 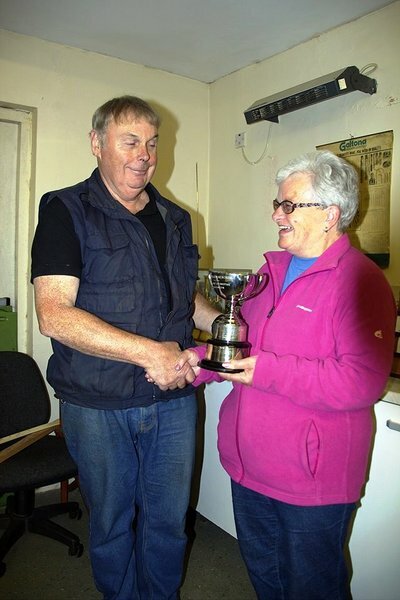 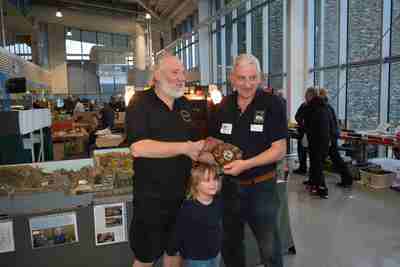 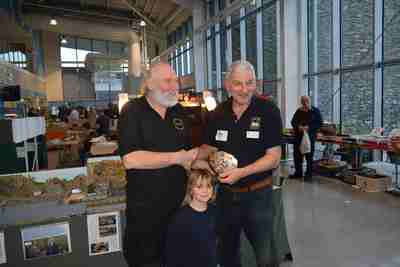 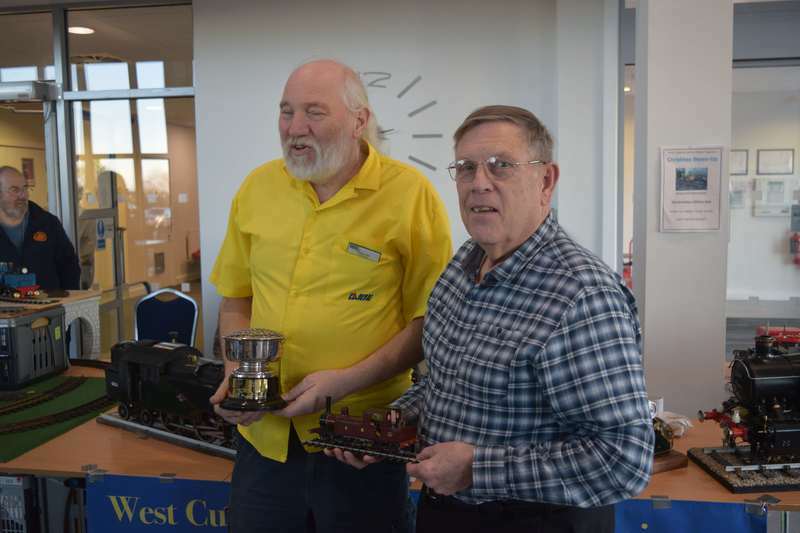 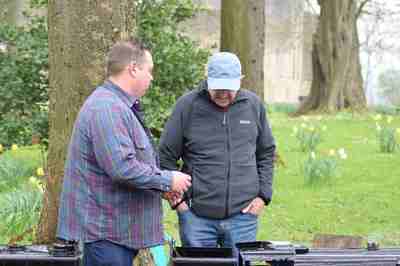 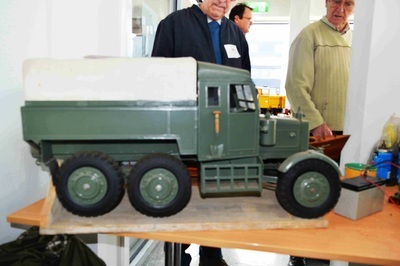 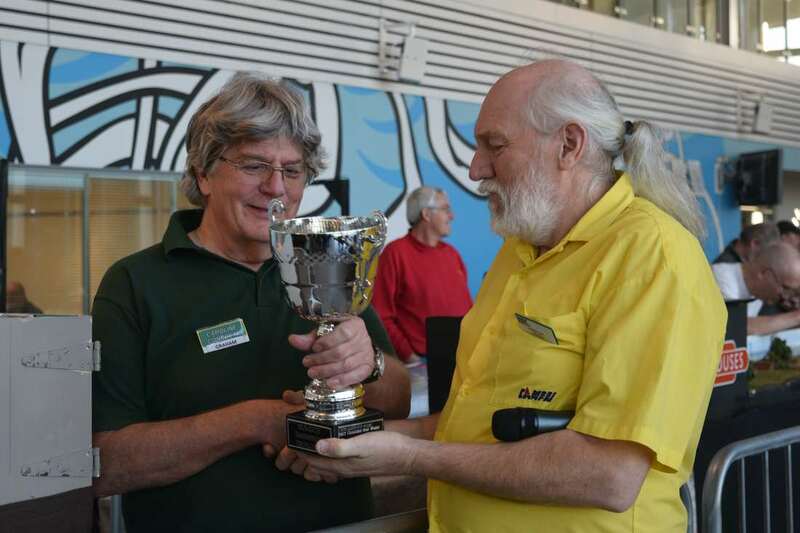 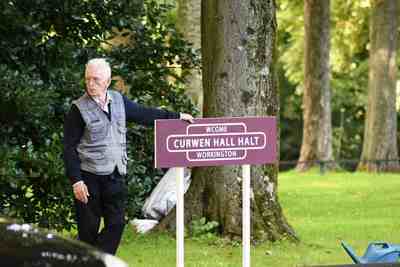 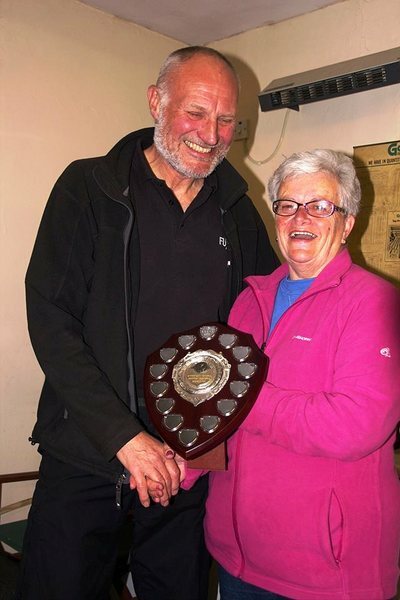 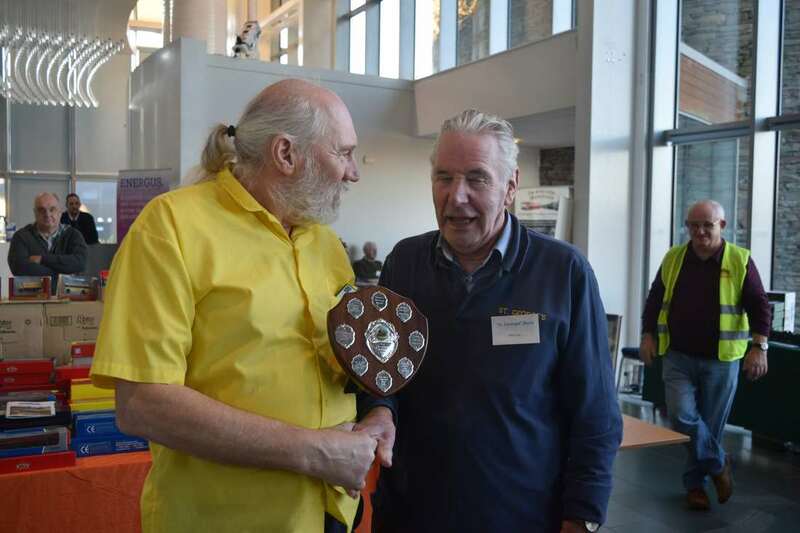 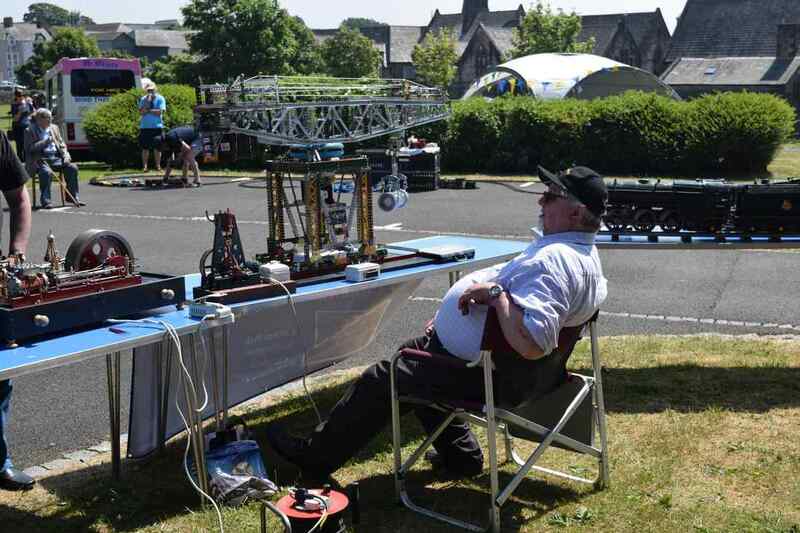 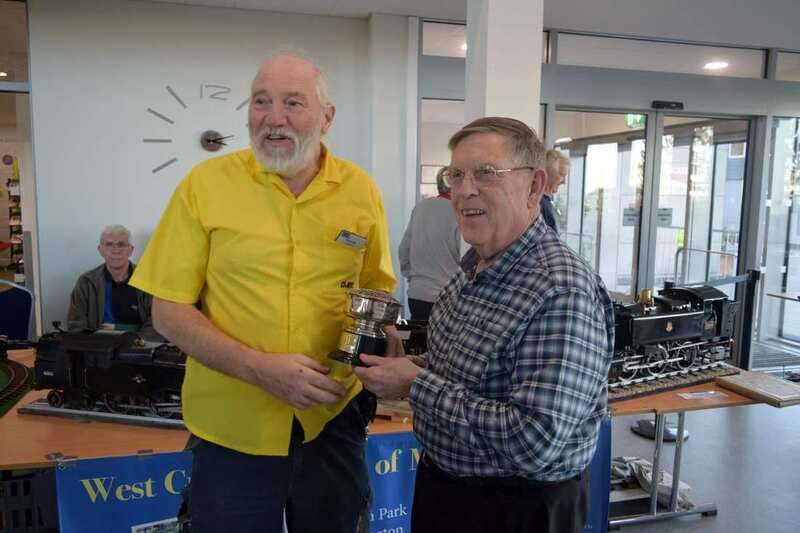 Congratulations to our chairman Dave Cormack for winning best model in the show. 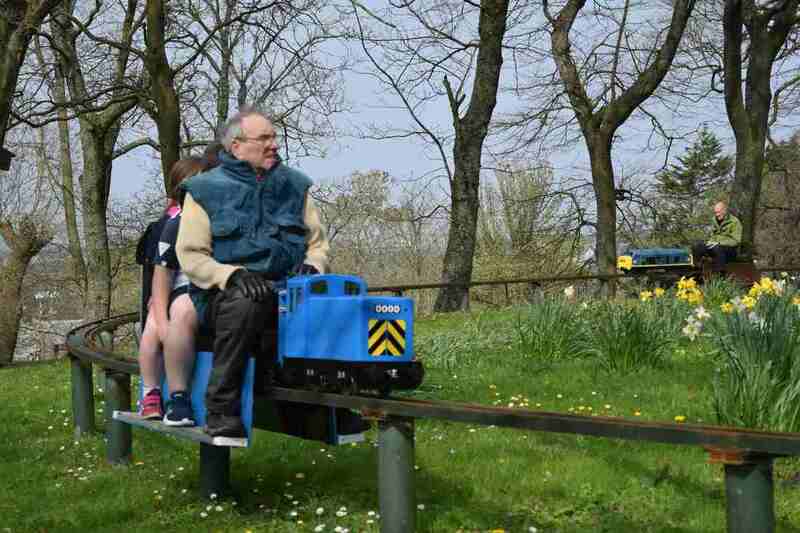 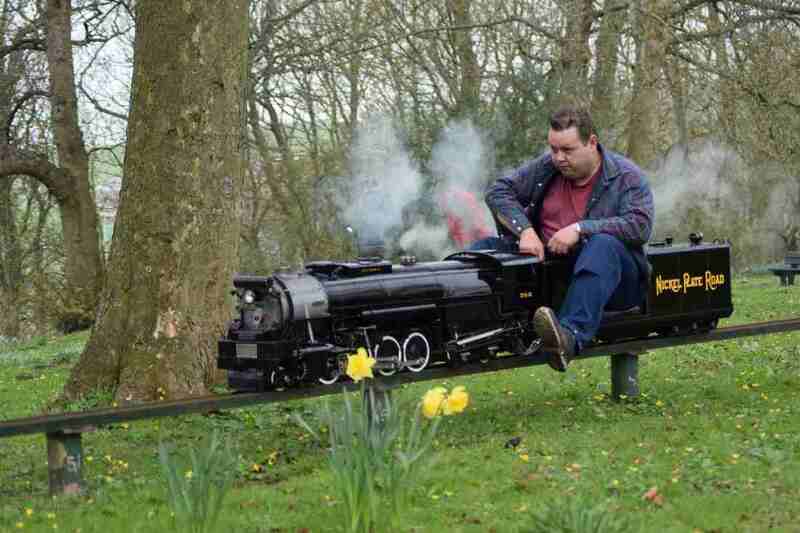 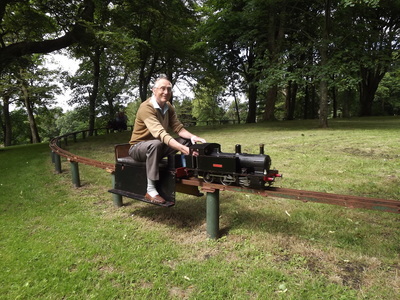 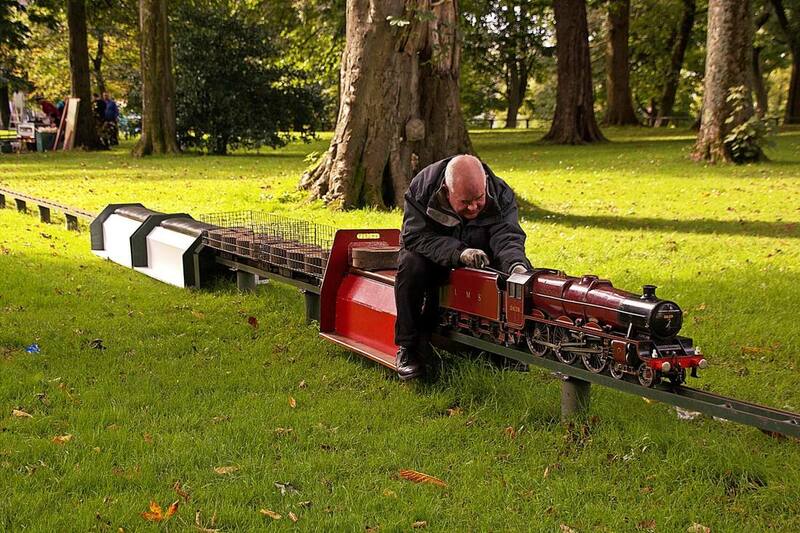 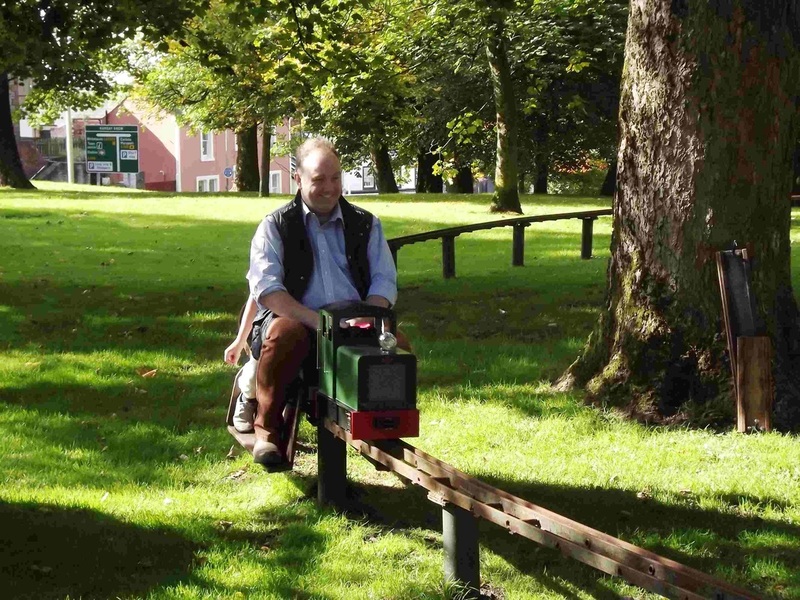 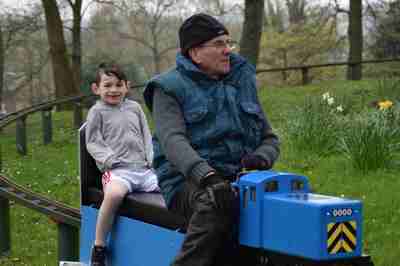 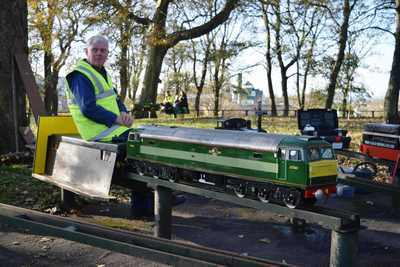 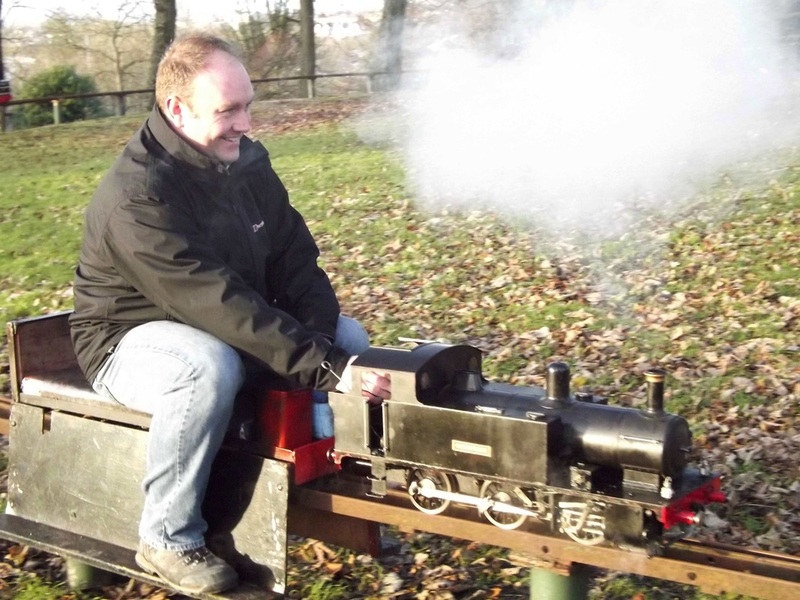 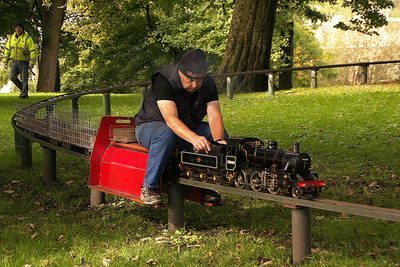 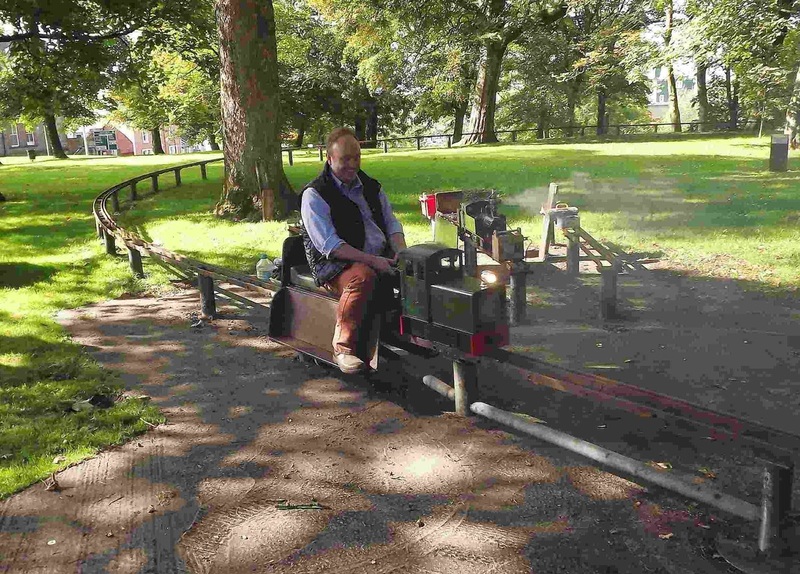 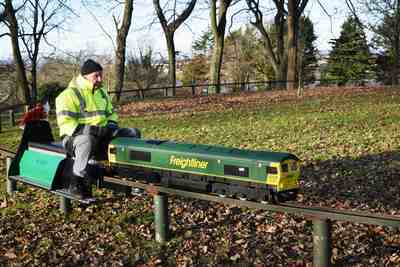 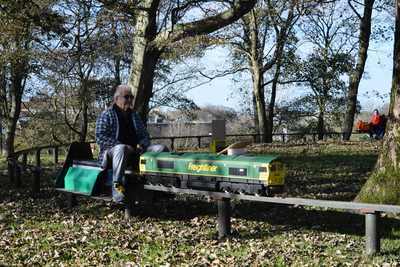 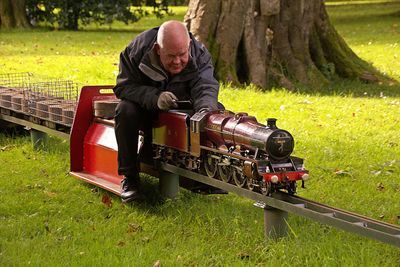 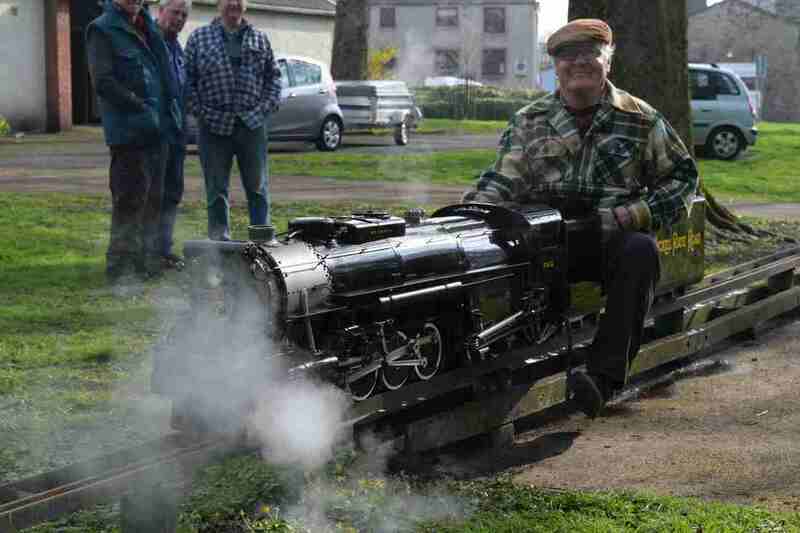 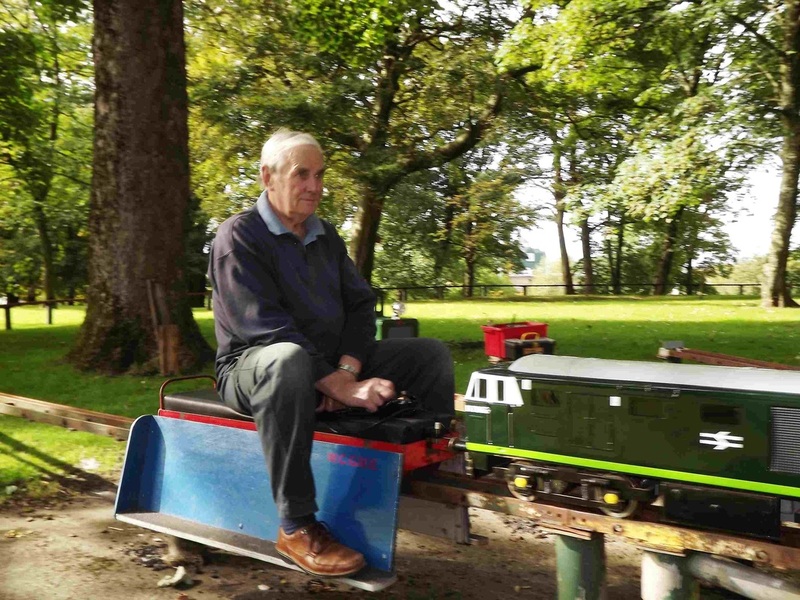 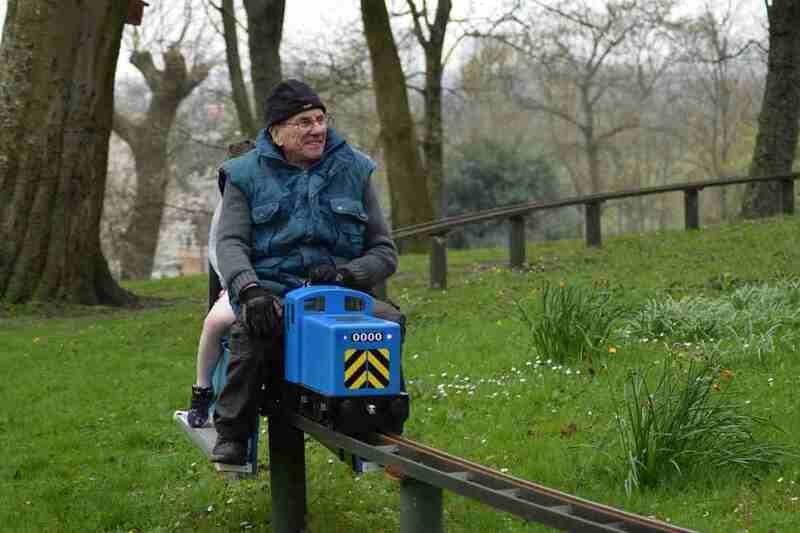 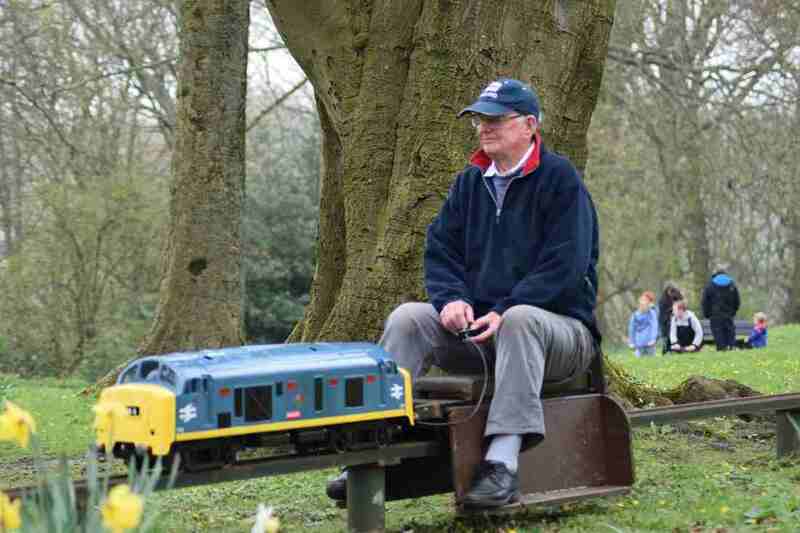 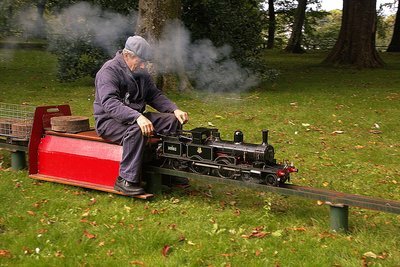 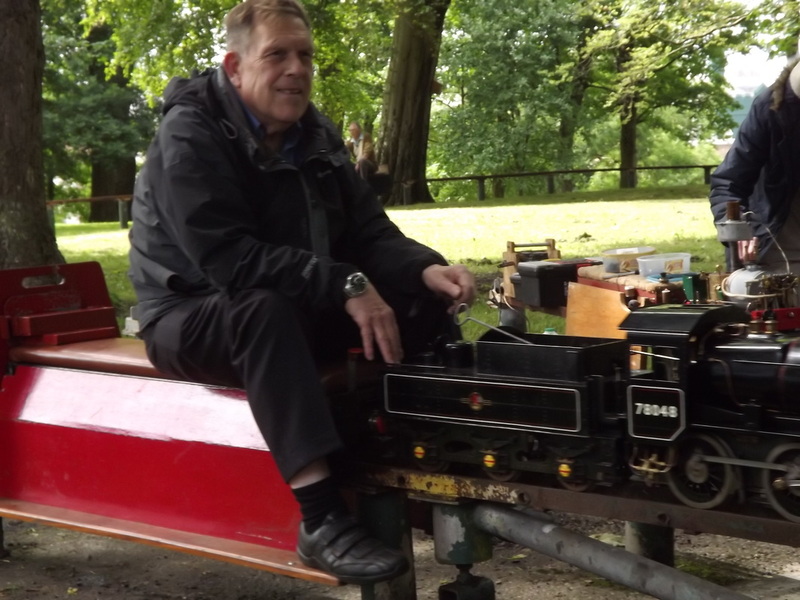 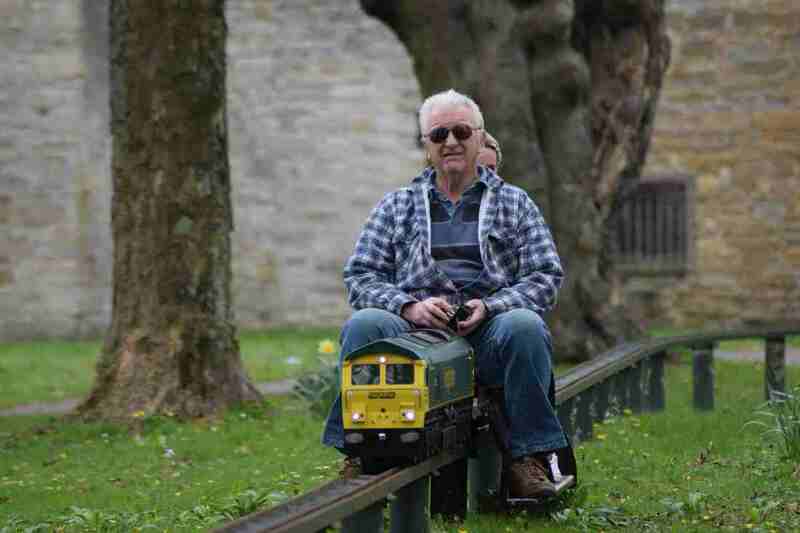 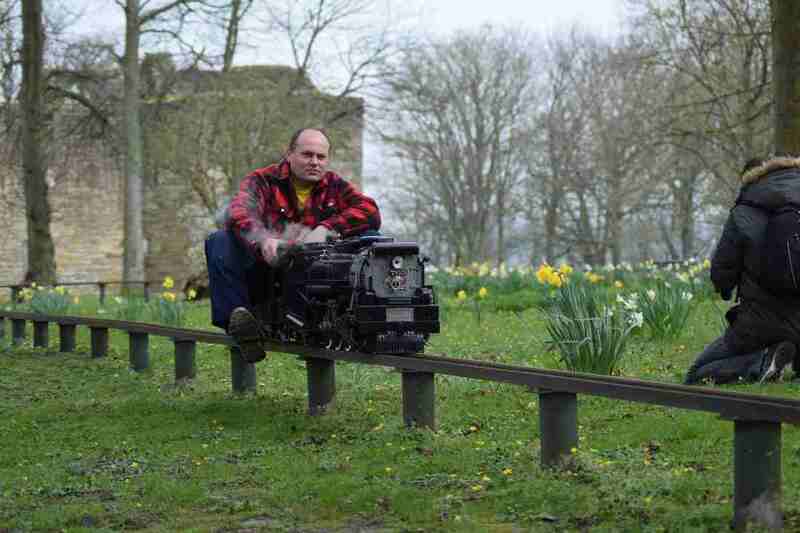 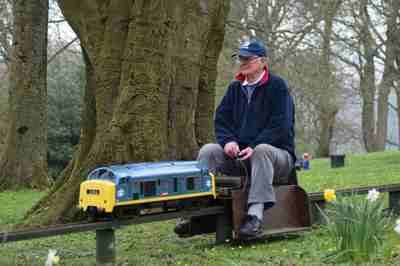 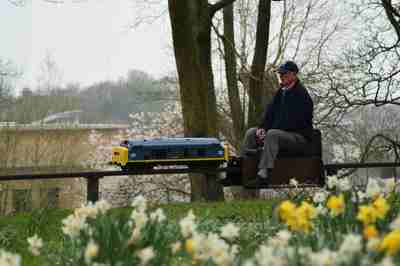 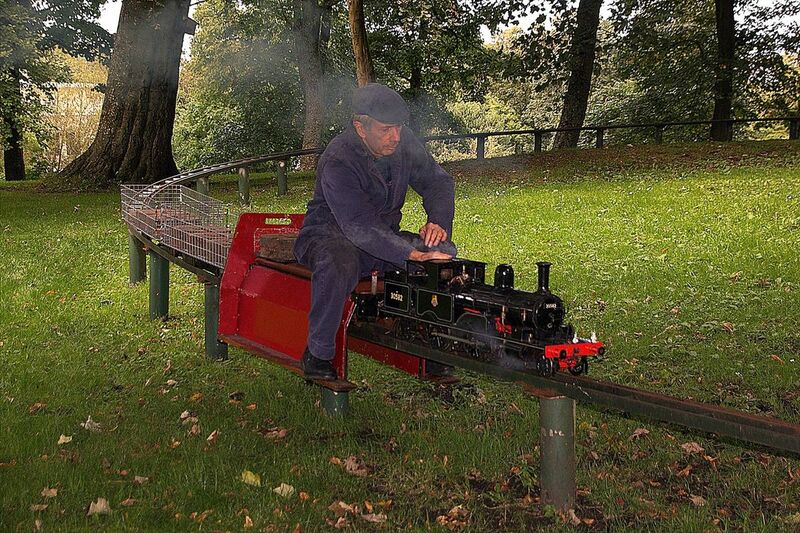 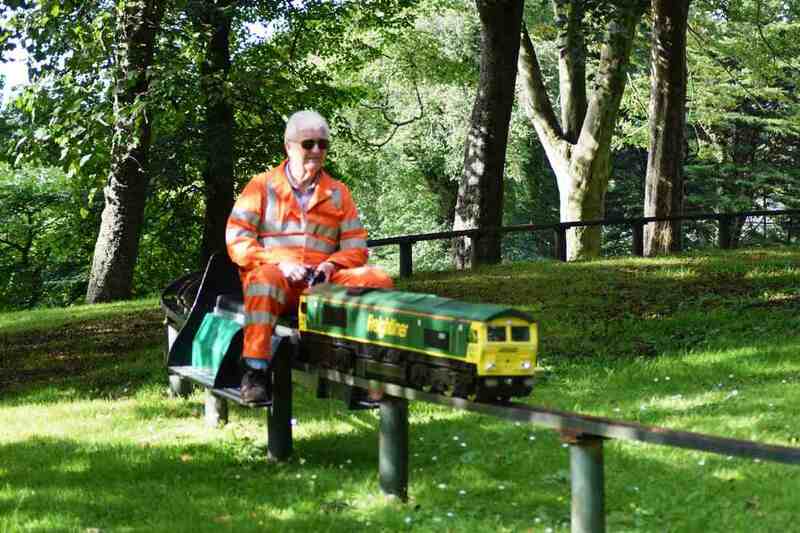 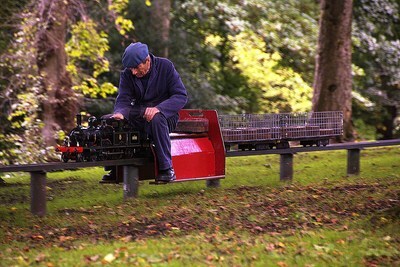 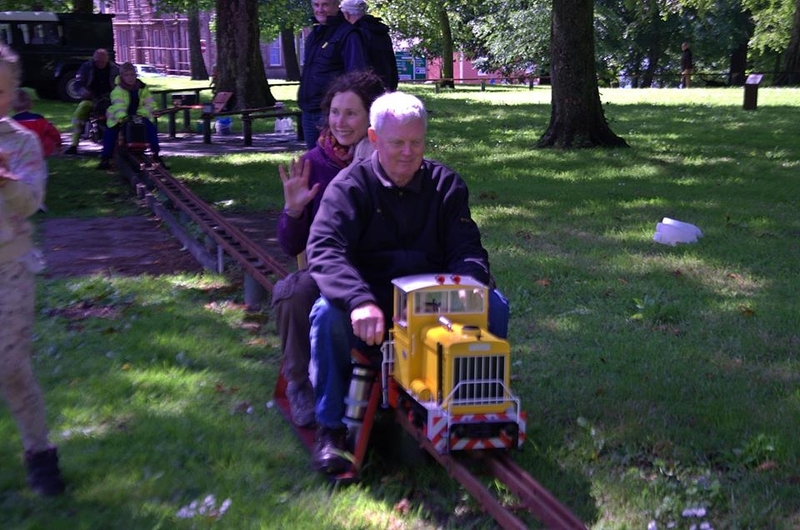 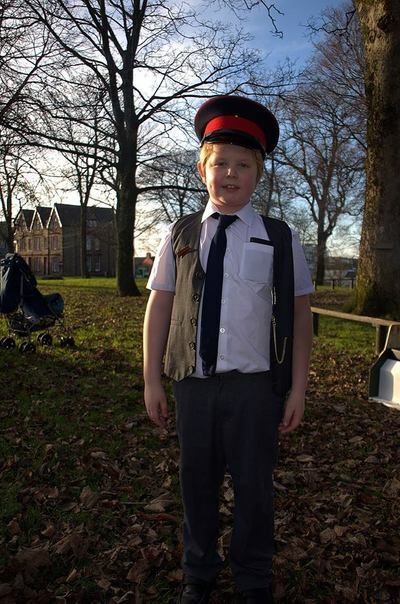 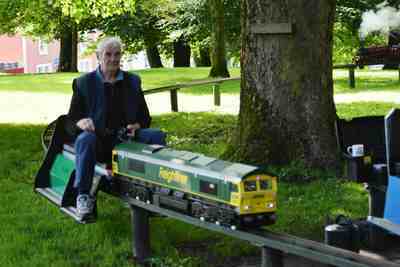 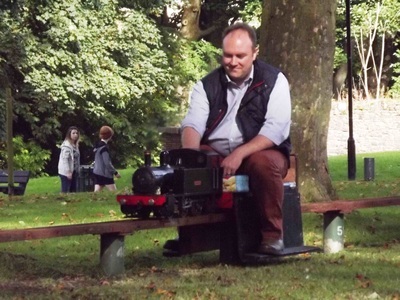 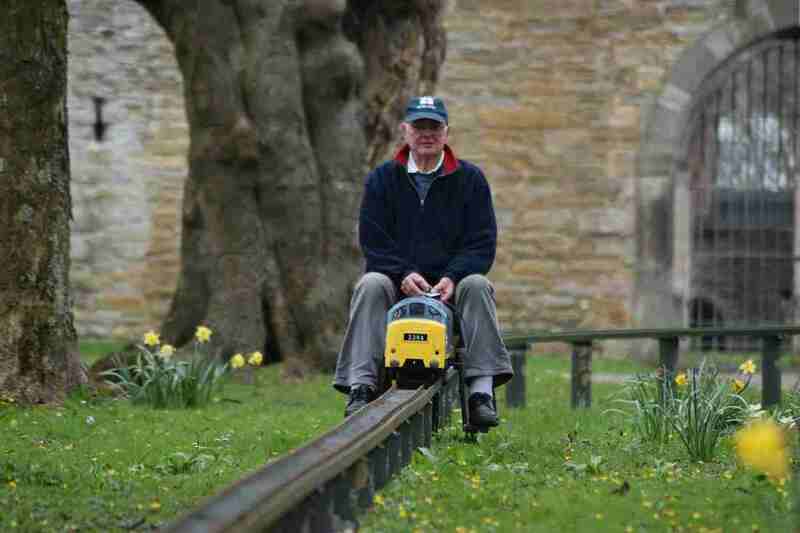 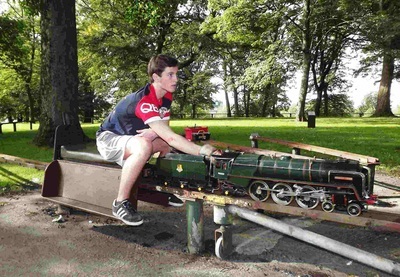 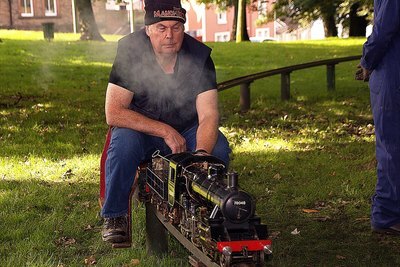 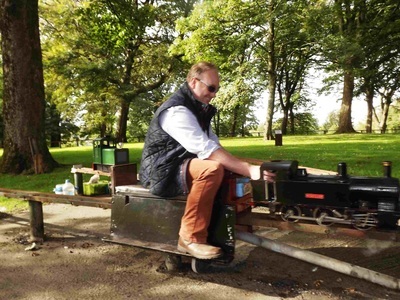 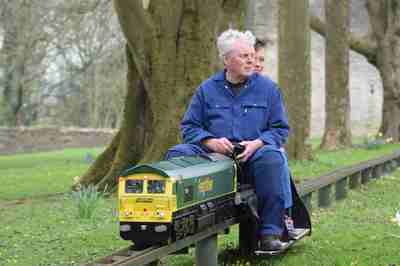 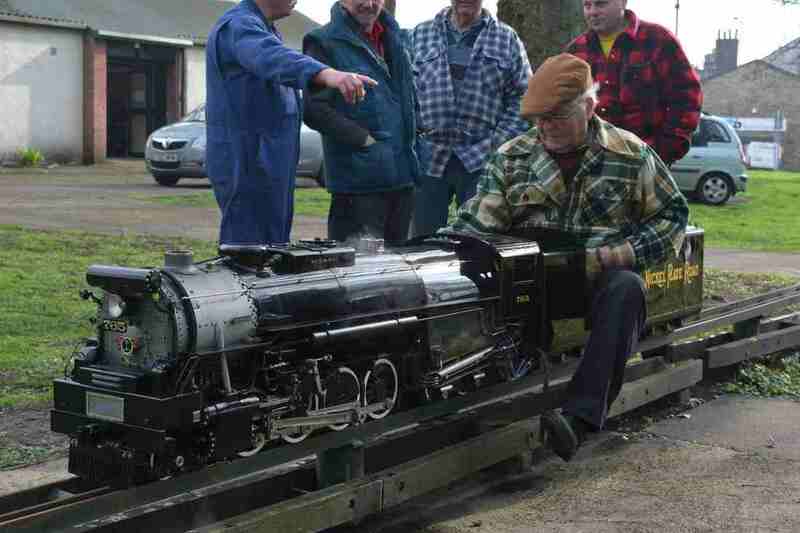 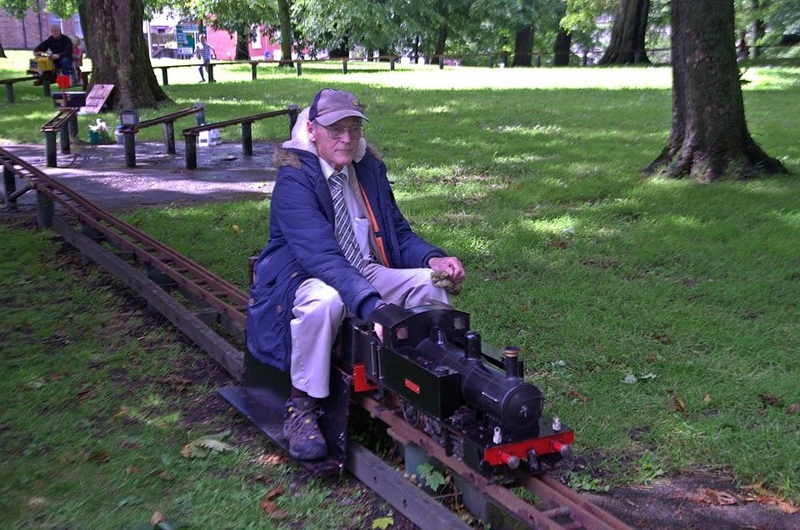 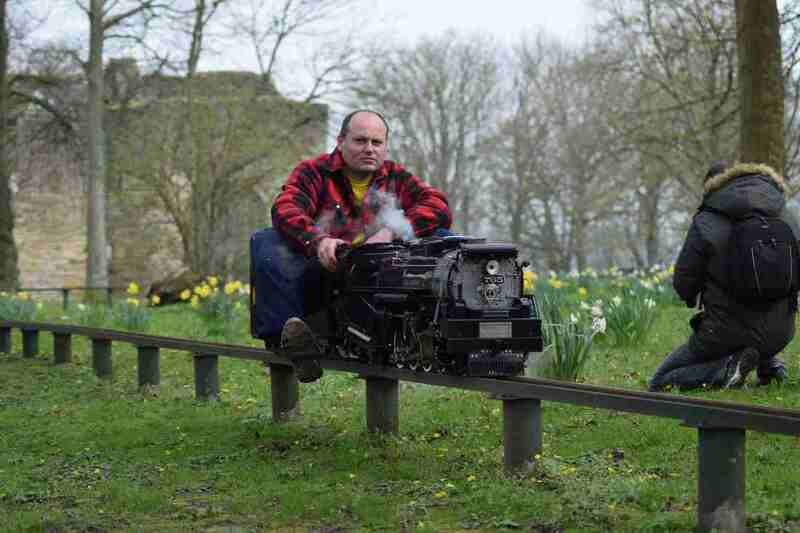 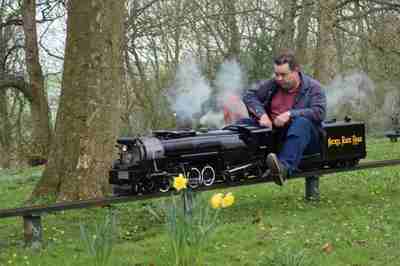 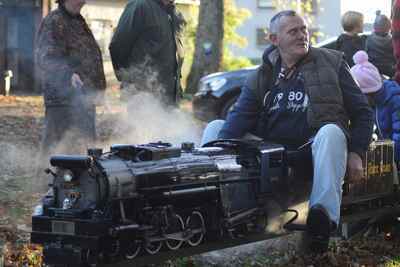 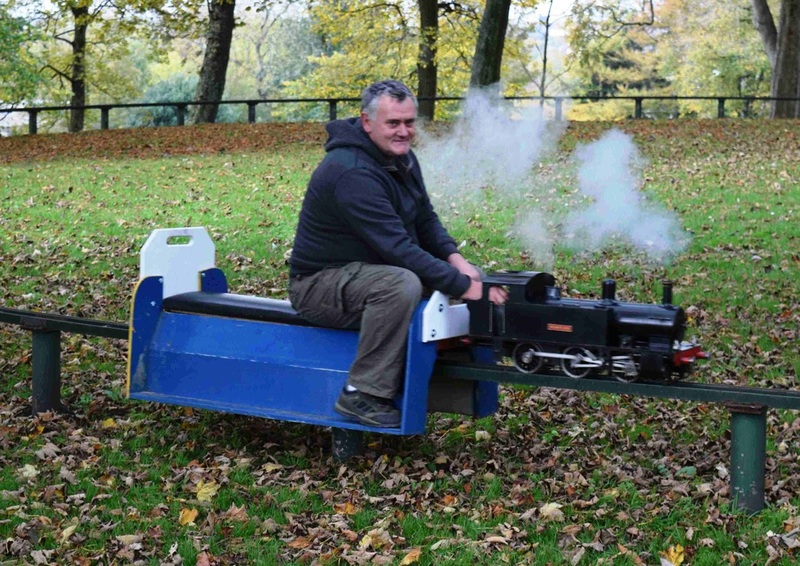 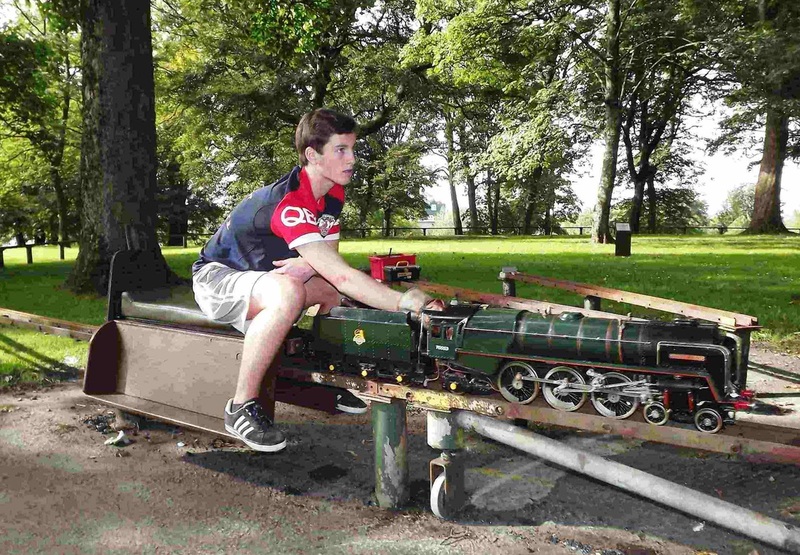 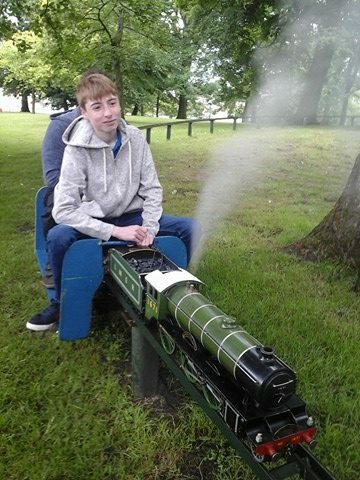 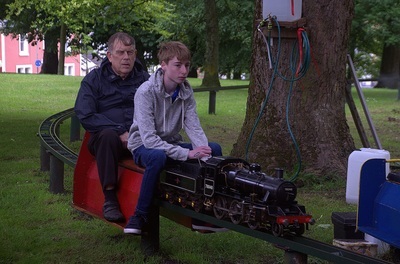 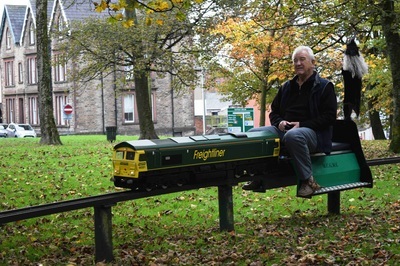 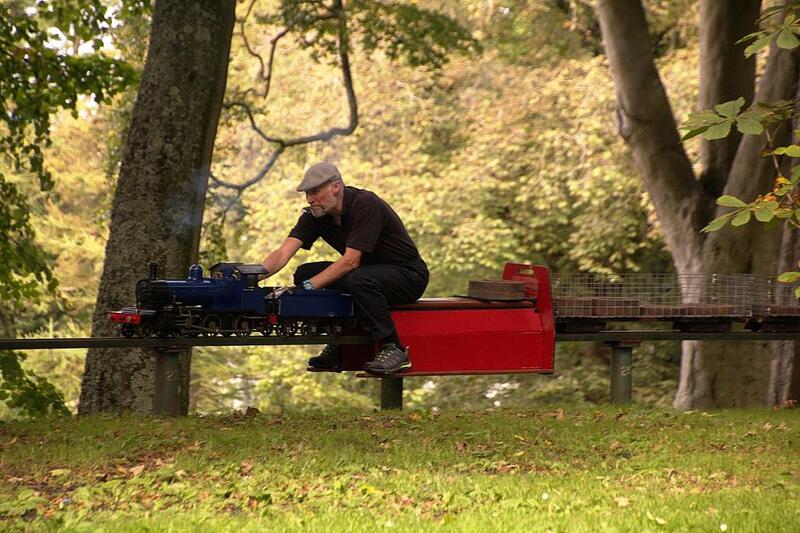 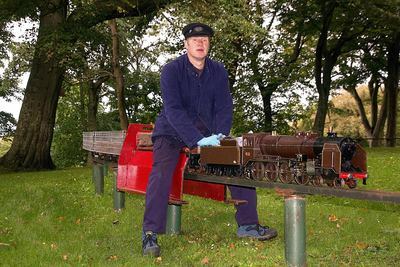 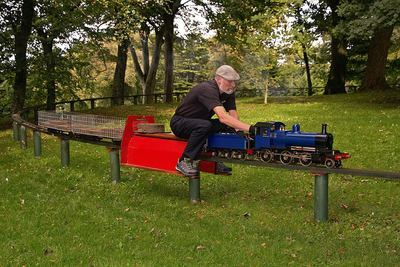 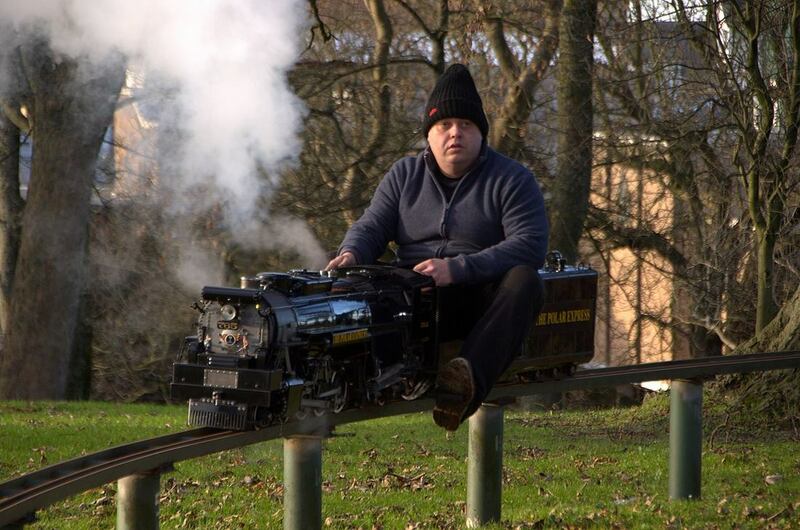 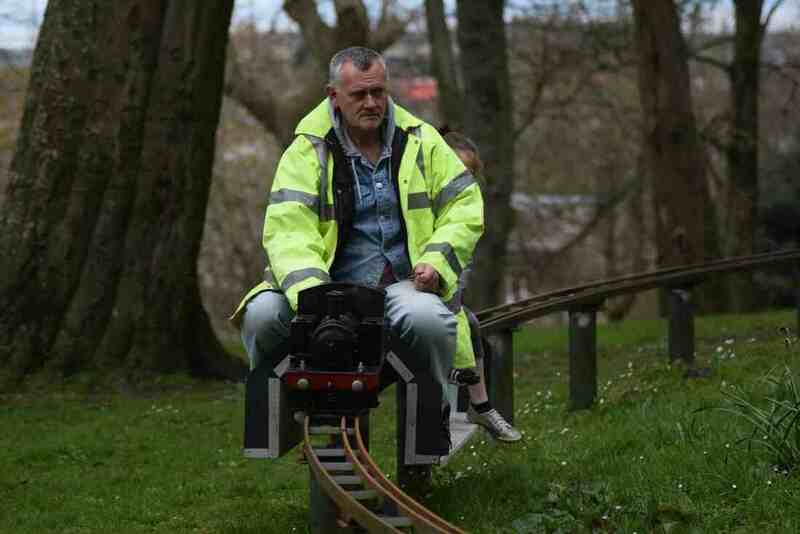 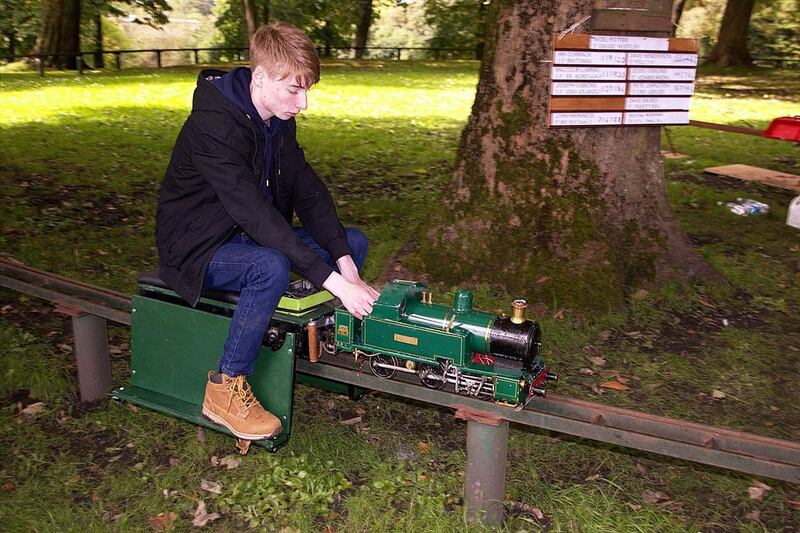 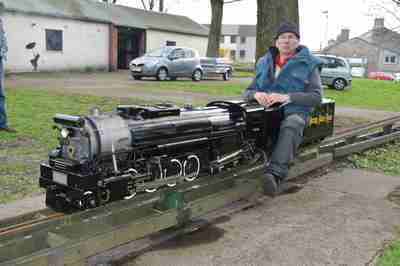 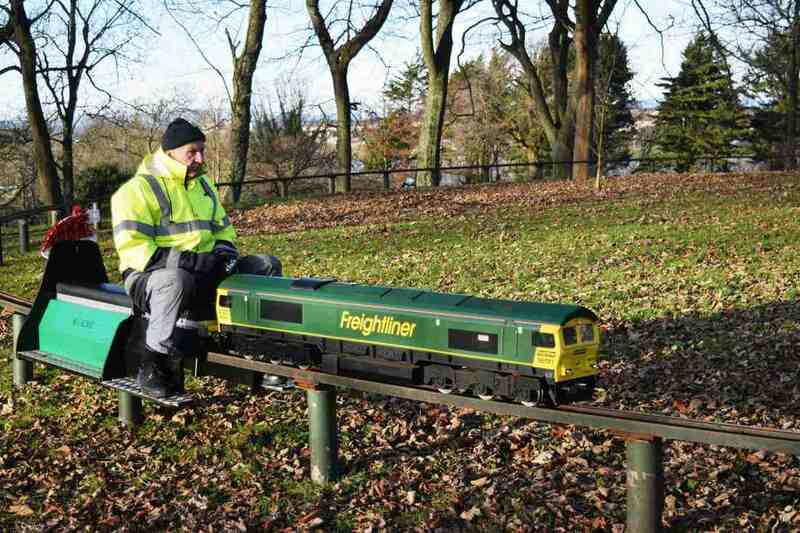 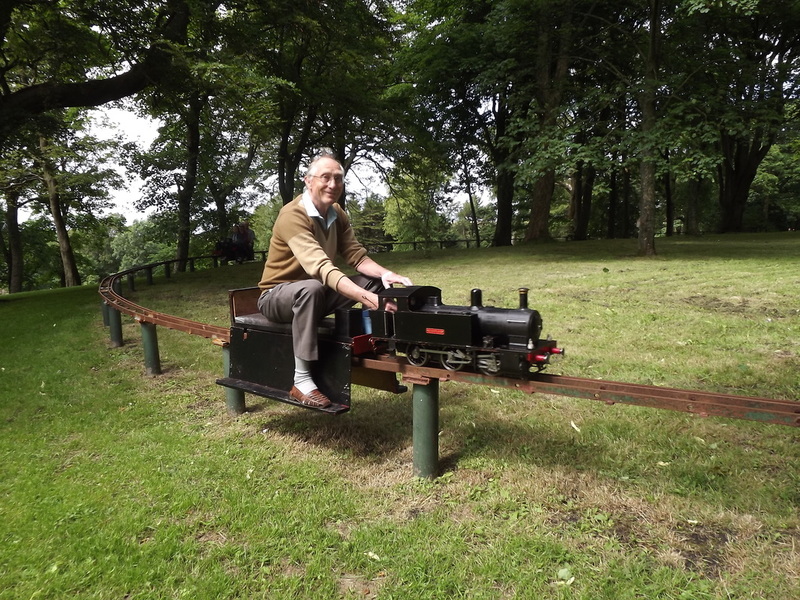 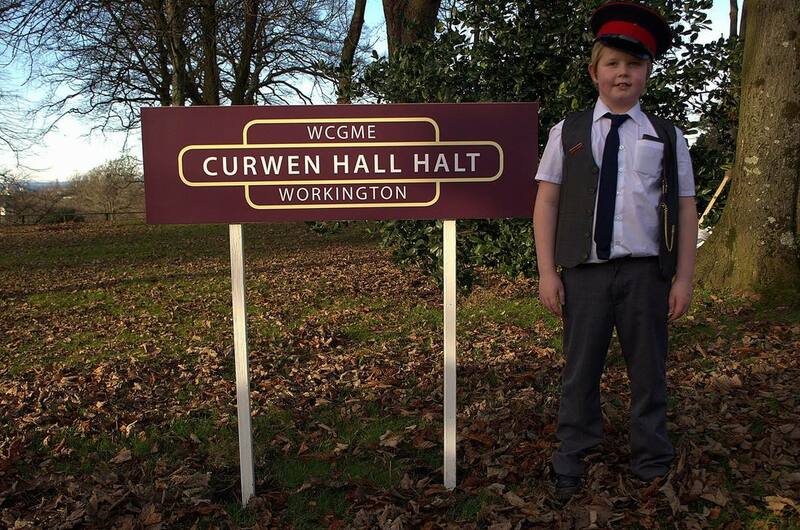 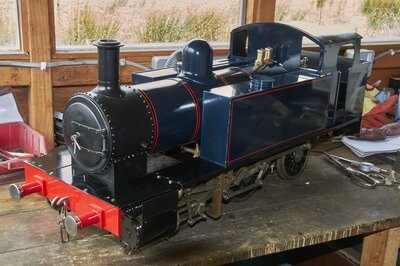 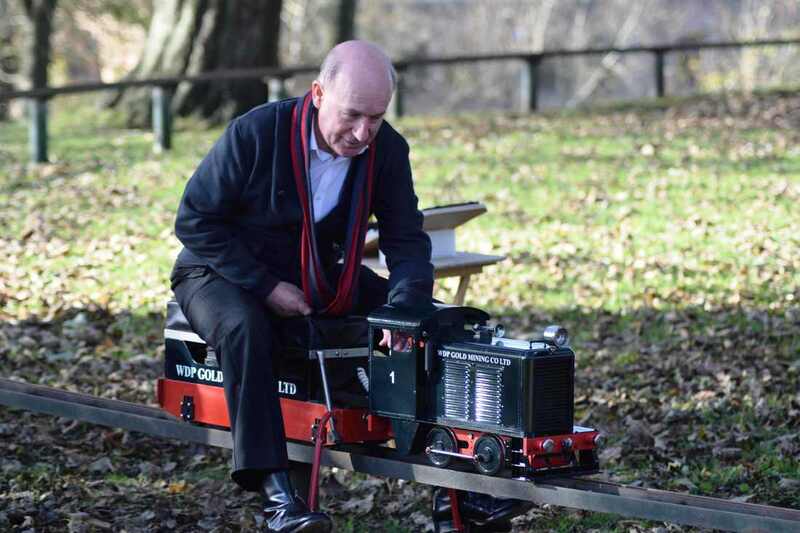 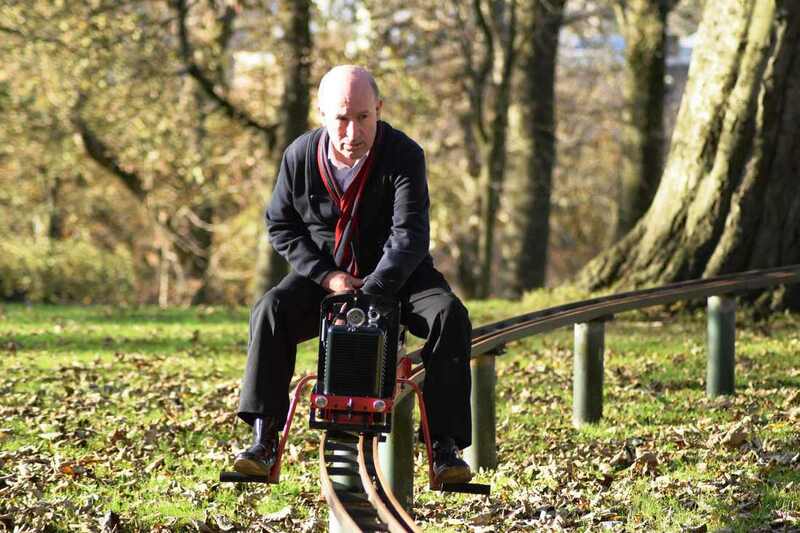 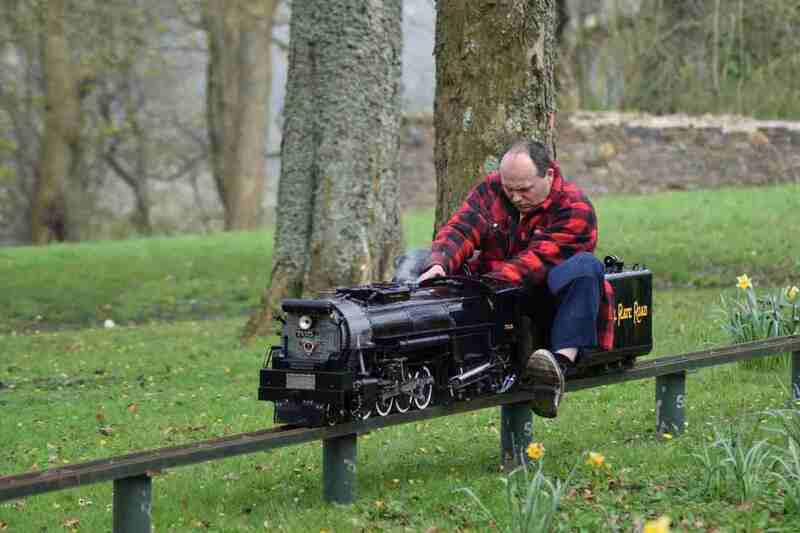 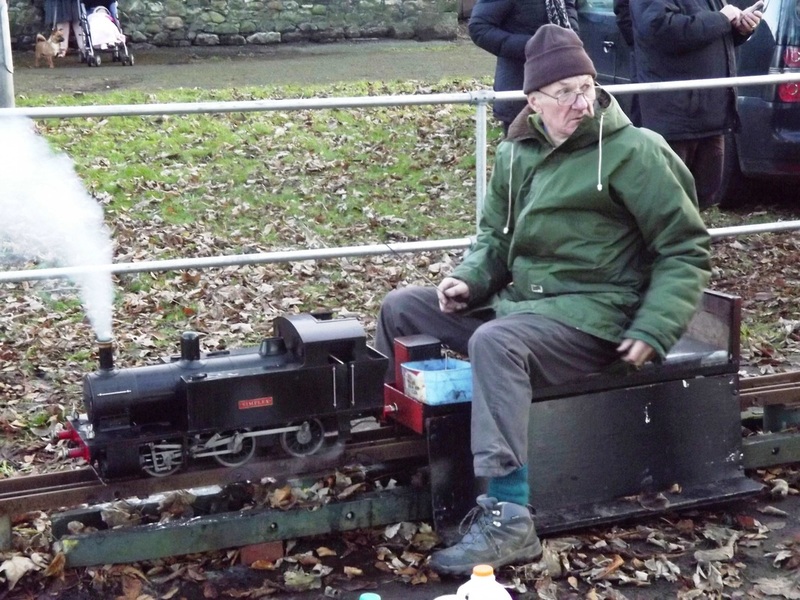 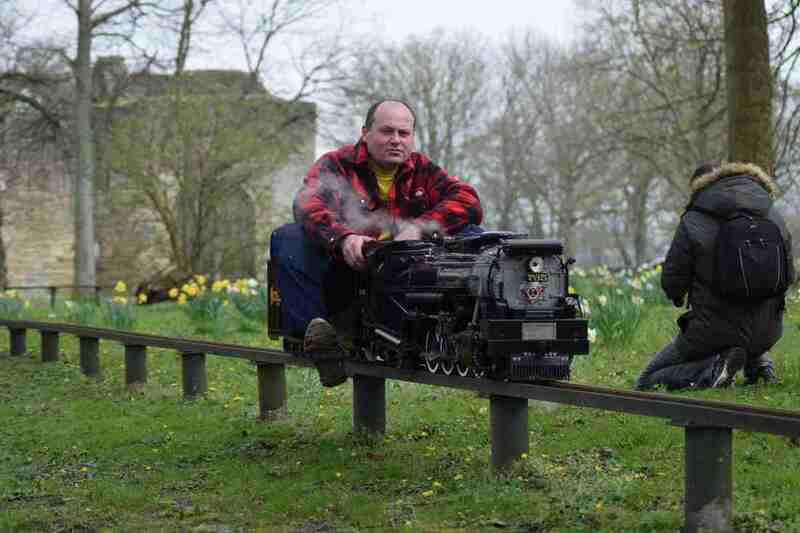 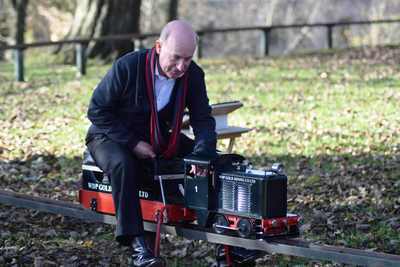 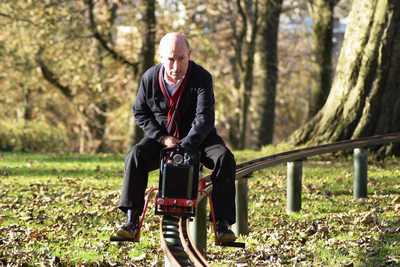 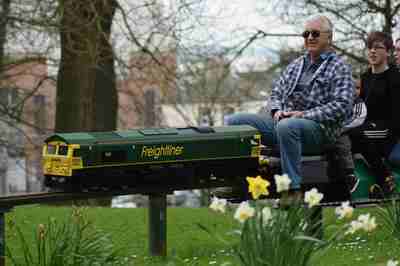 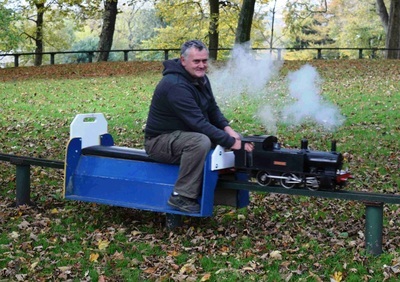 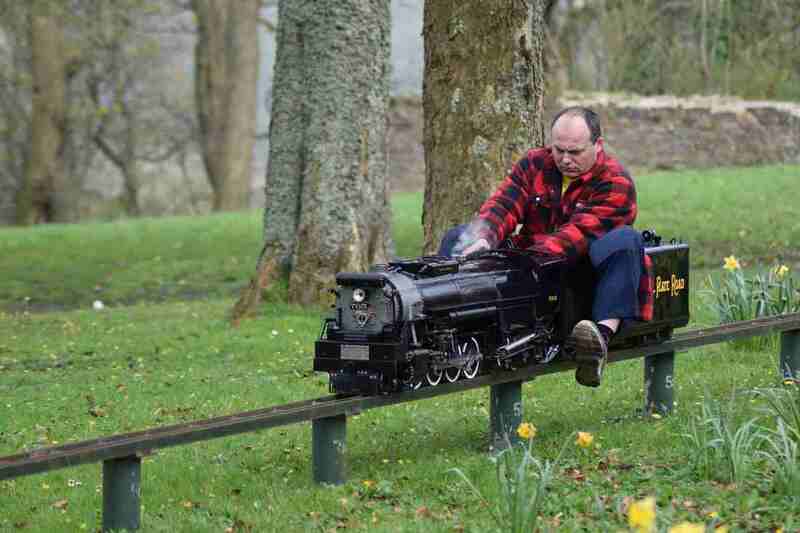 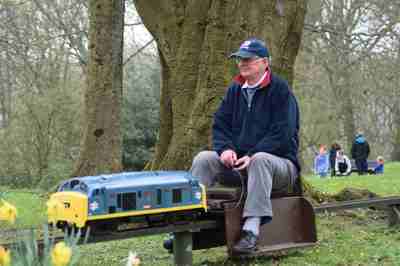 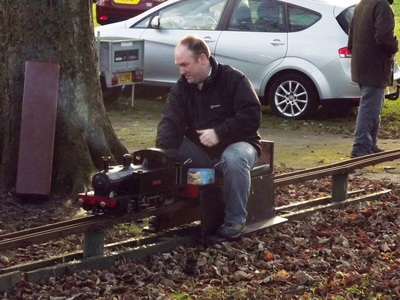 Gwyn with his new Electric Loco. 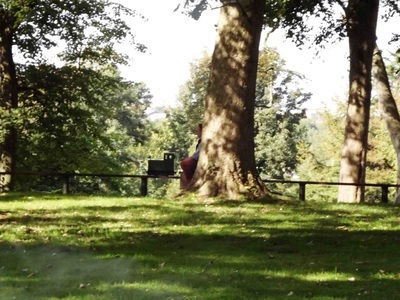 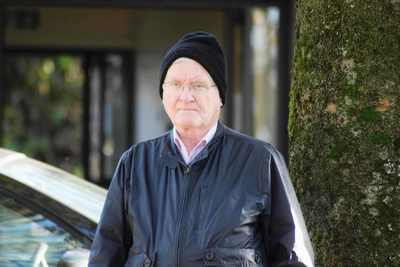 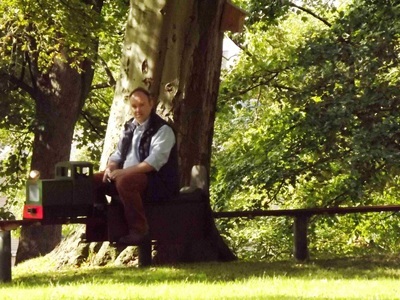 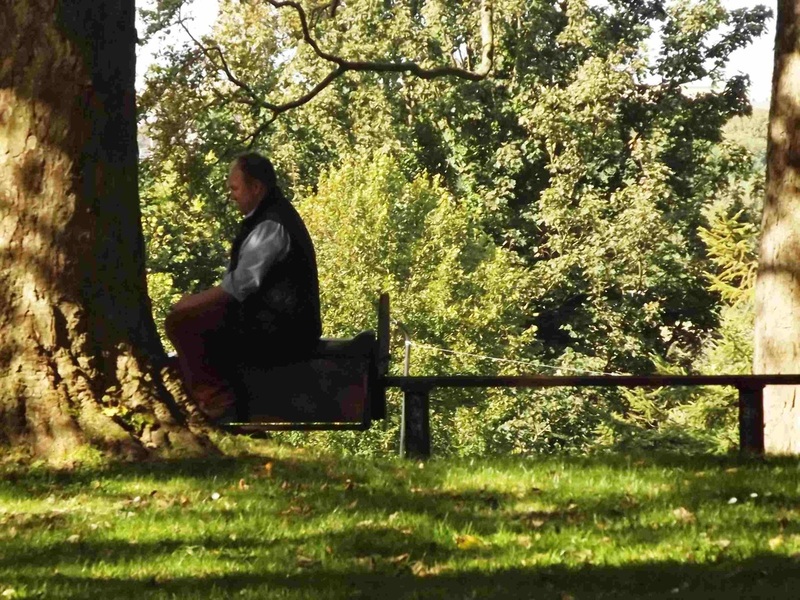 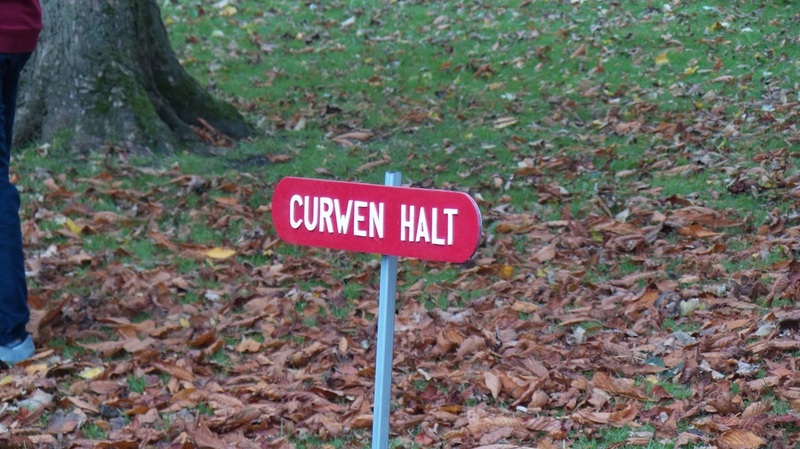 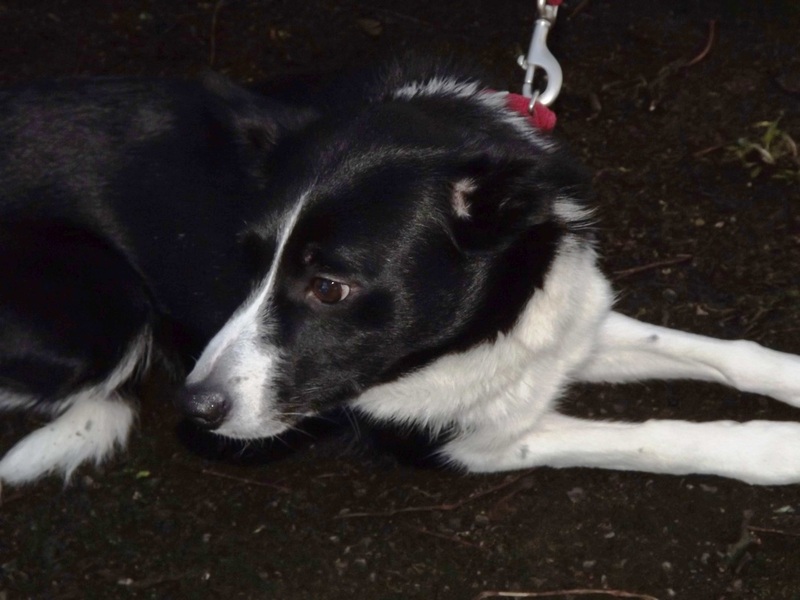 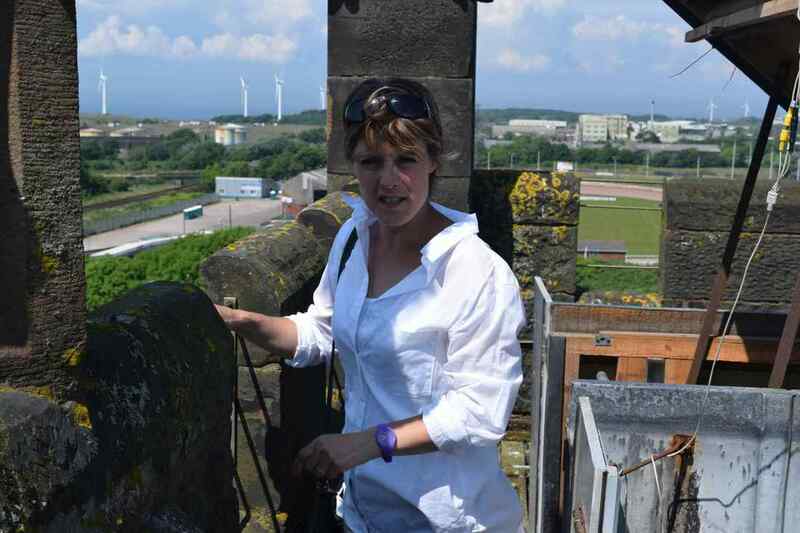 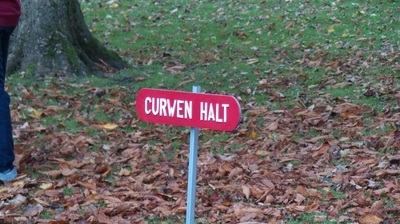 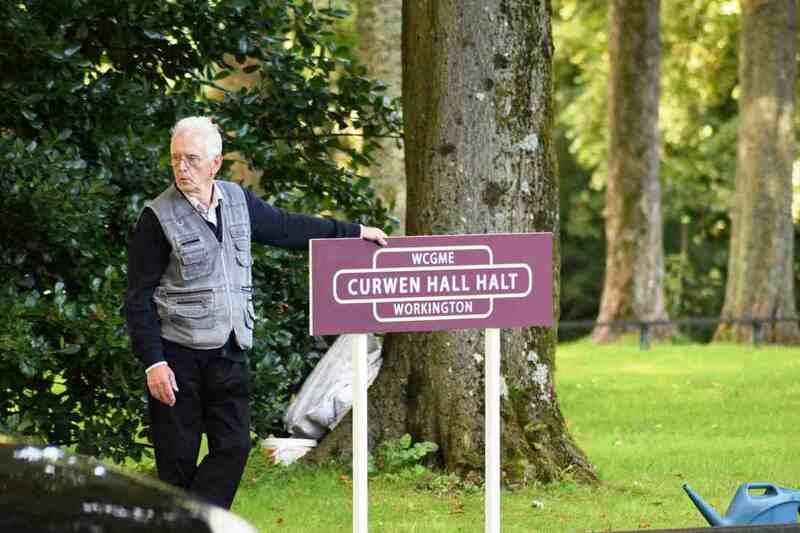 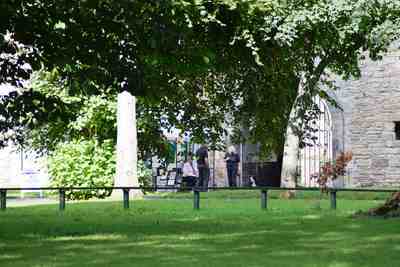 27-09-2015.